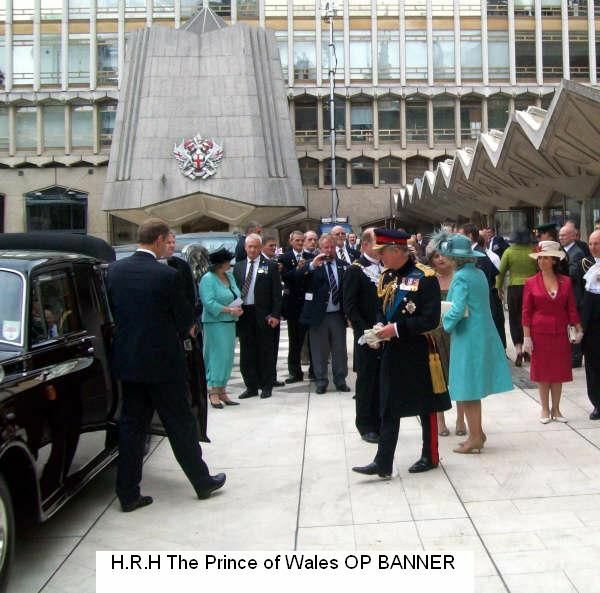 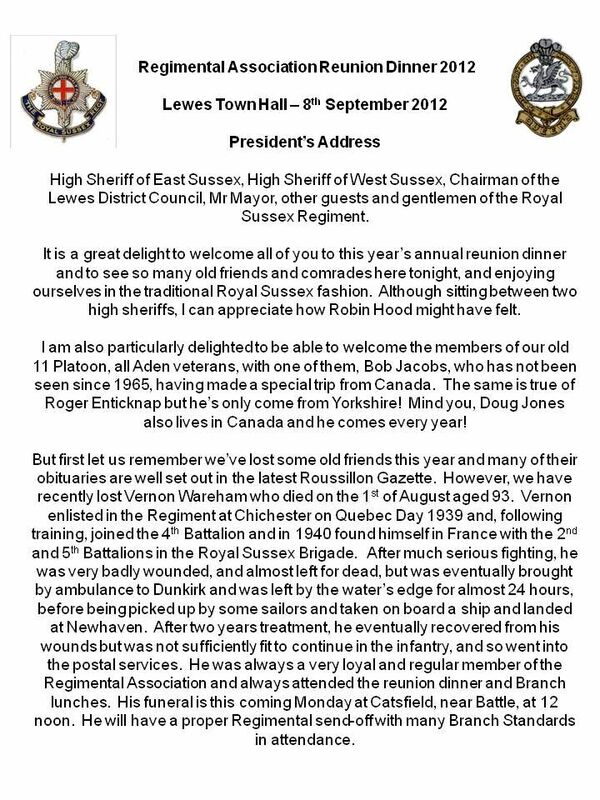 High Sheriff of East Sussex, Your Worship the Mayor, District Councillor, other guests and gentlemen of the Royal Sussex Regiment. 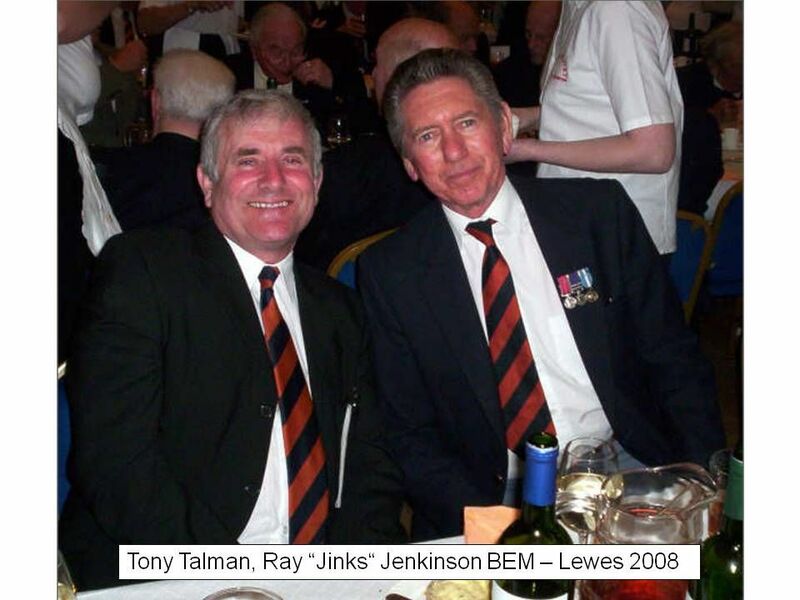 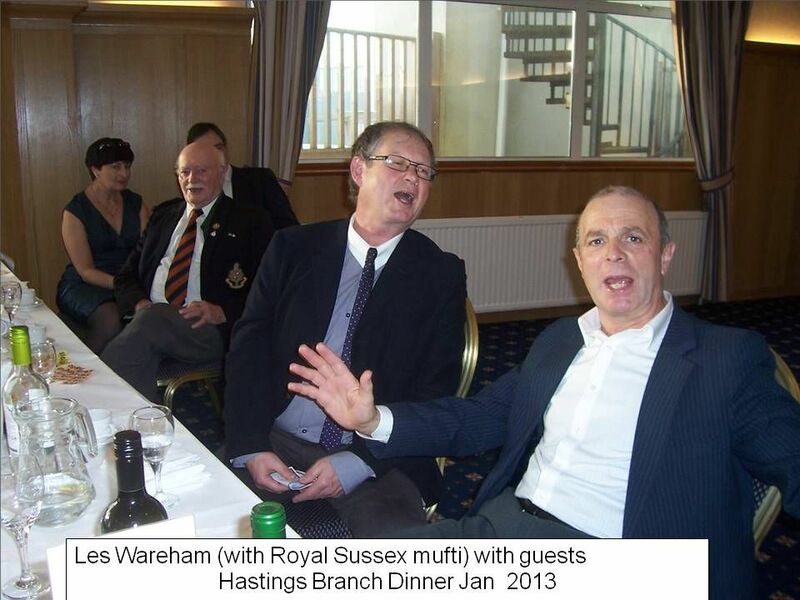 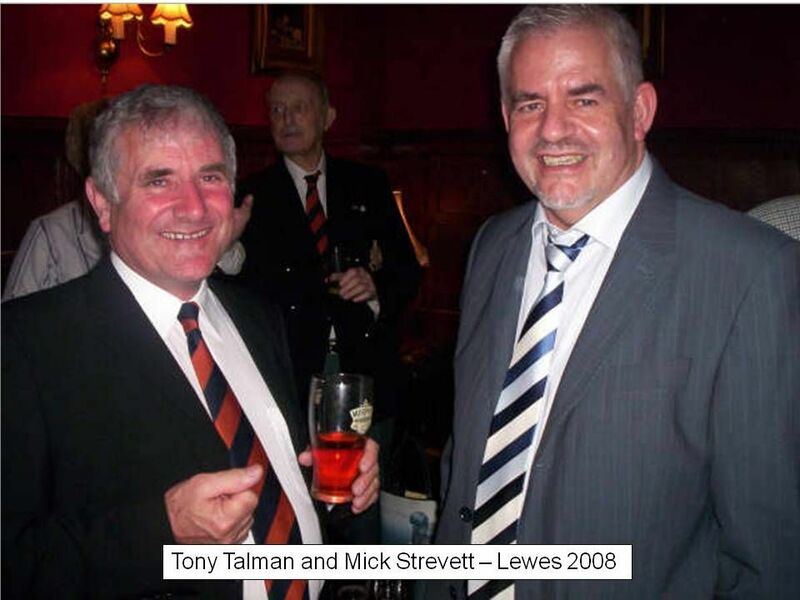 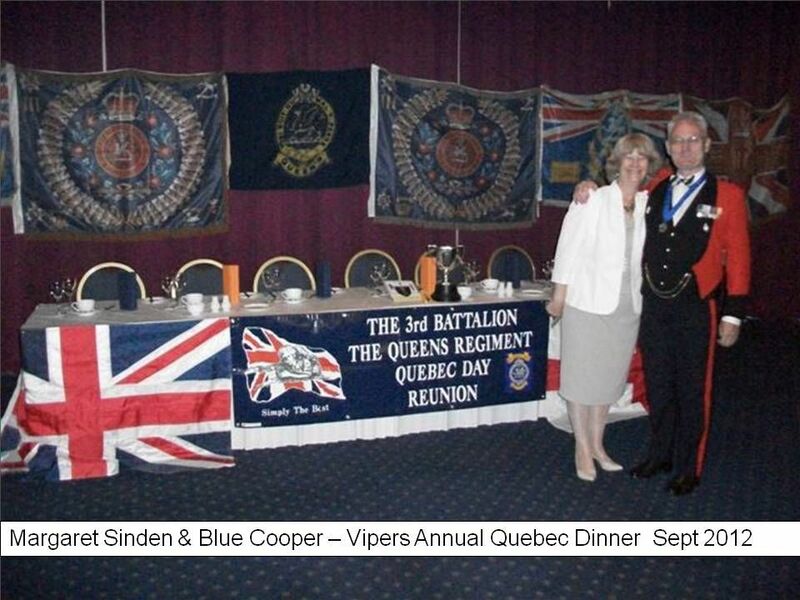 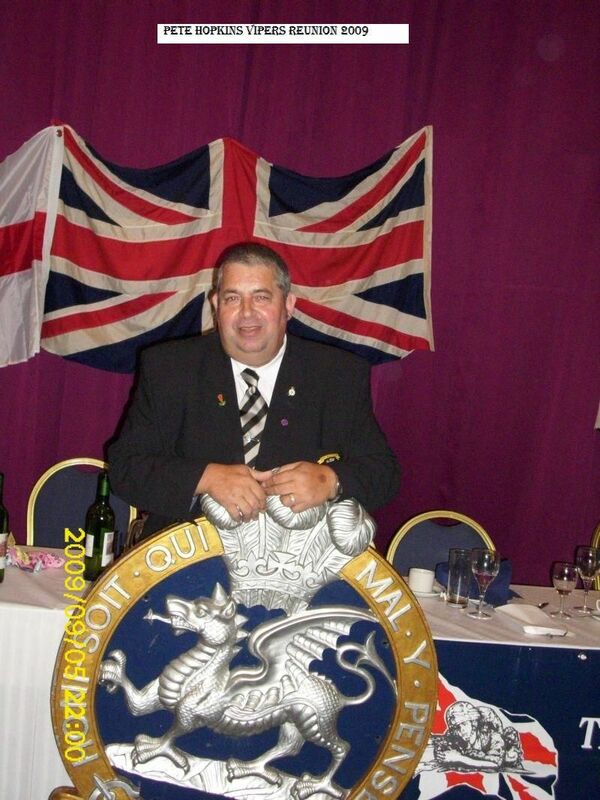 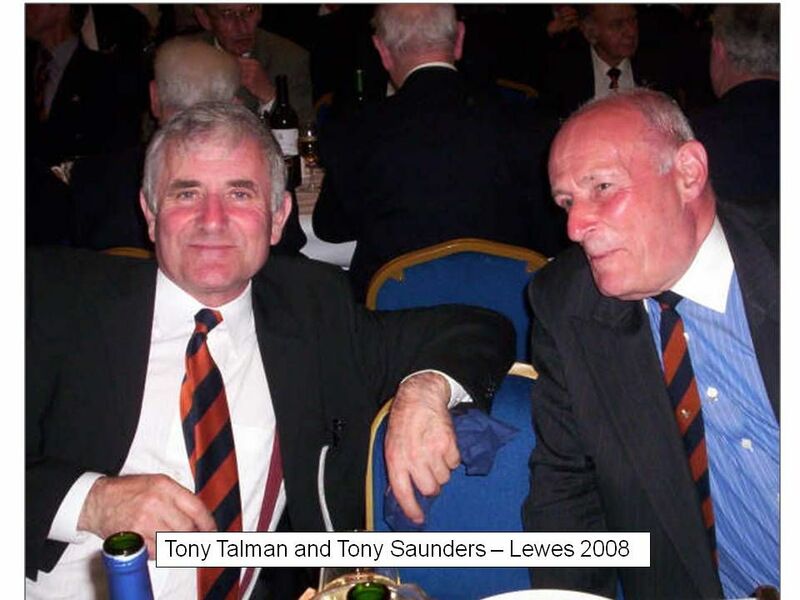 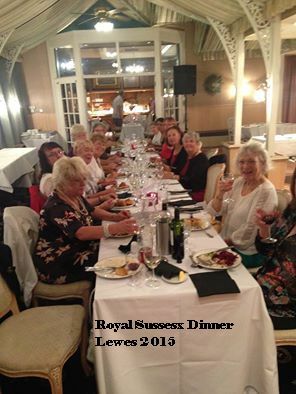 It is a great delight to welcome all of you to this year’s annual reunion dinner and to see so many old friends and comrades here tonight, and enjoying ourselves in the traditional Royal Sussex fashion. 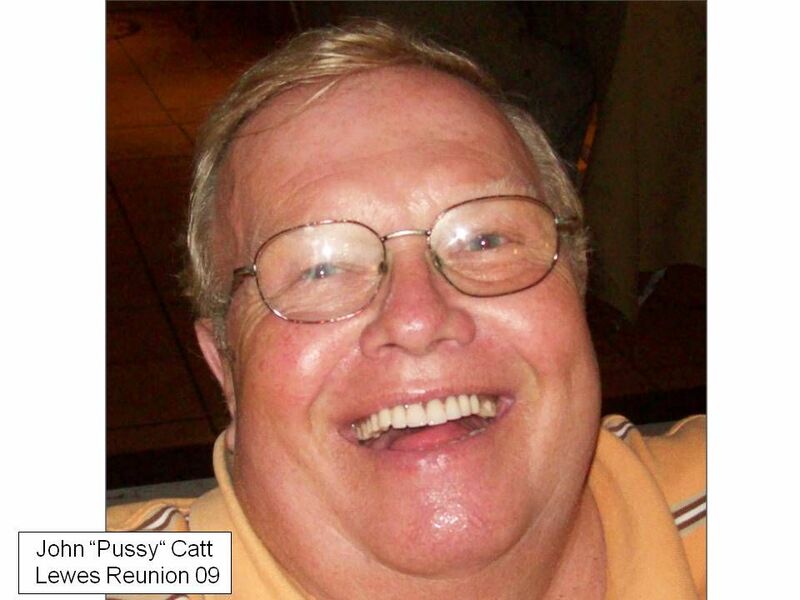 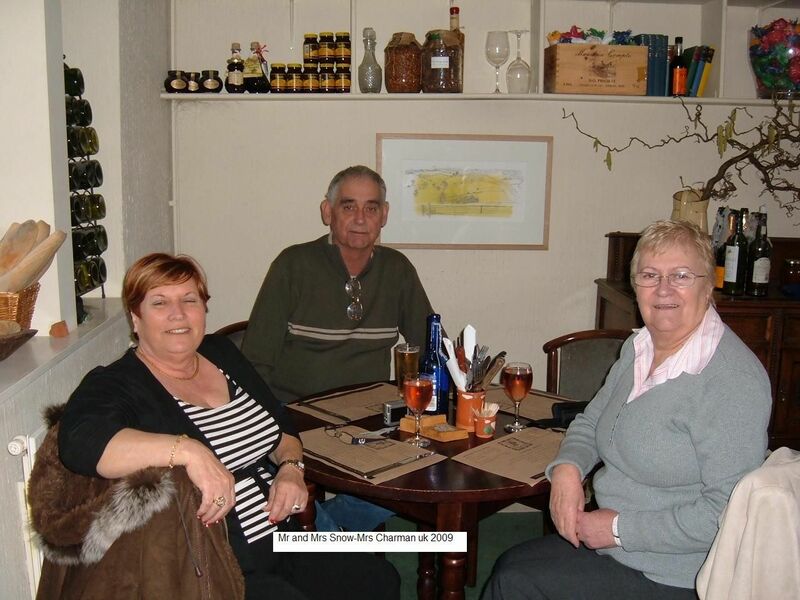 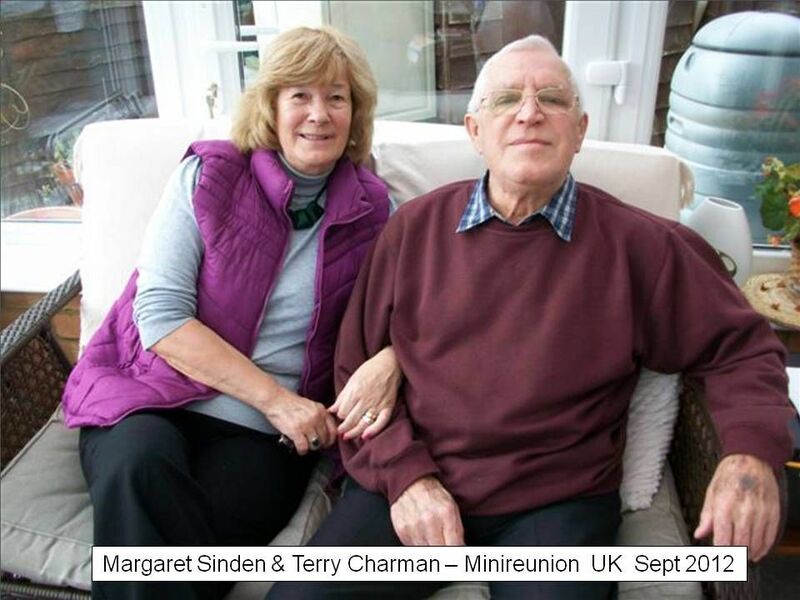 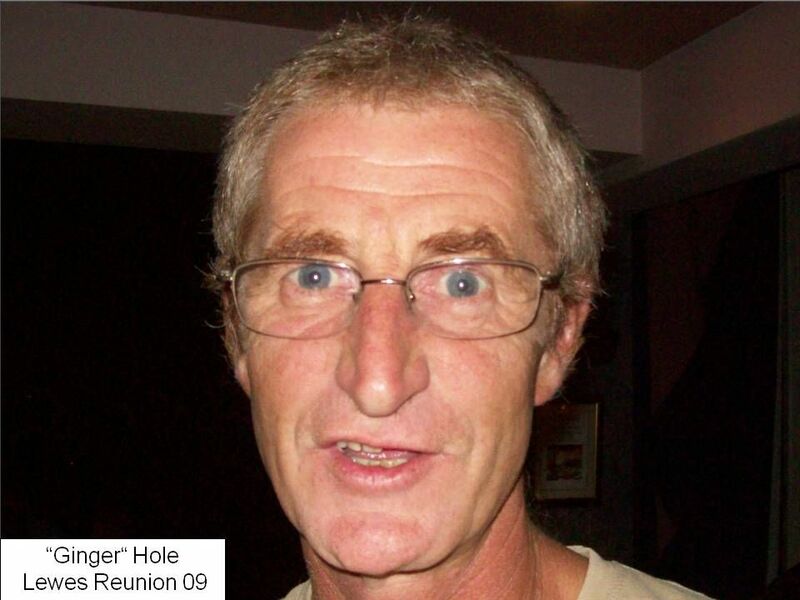 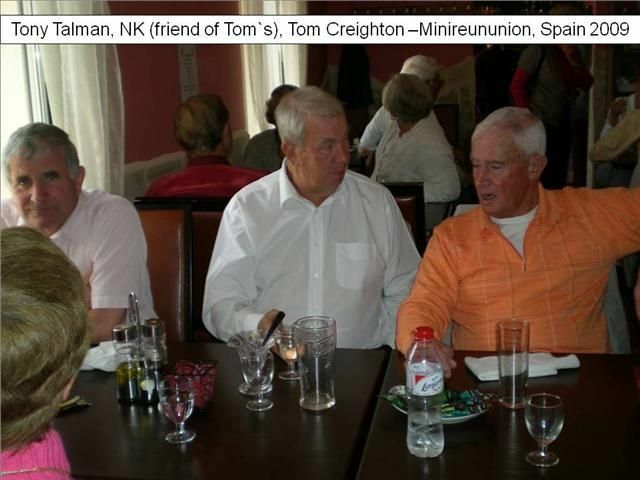 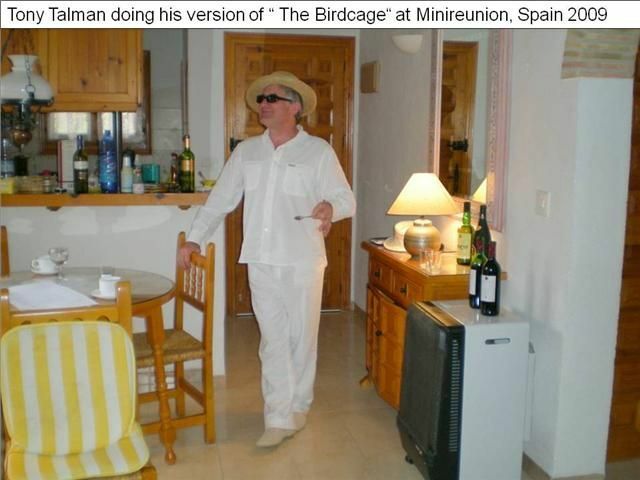 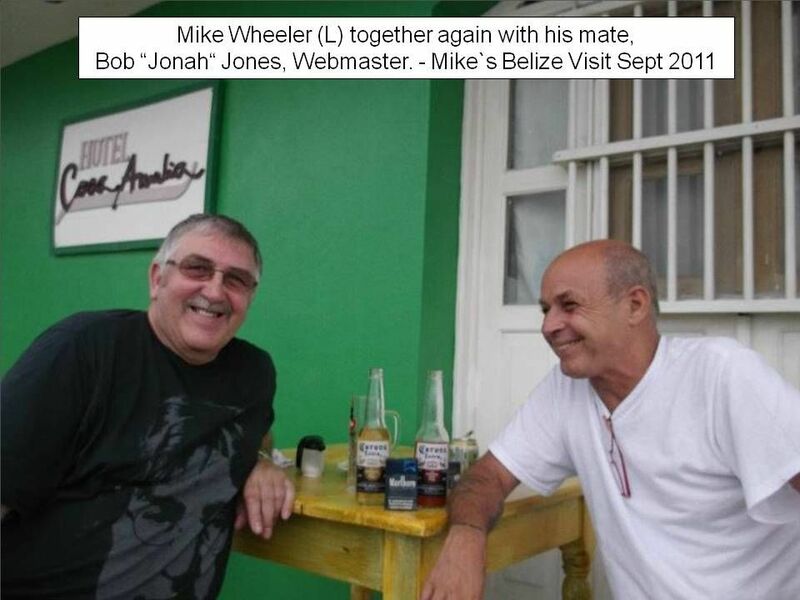 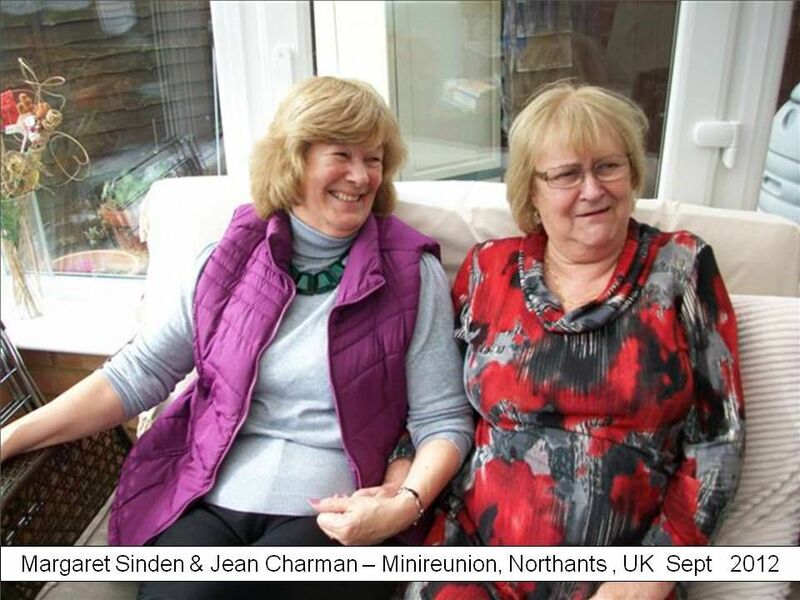 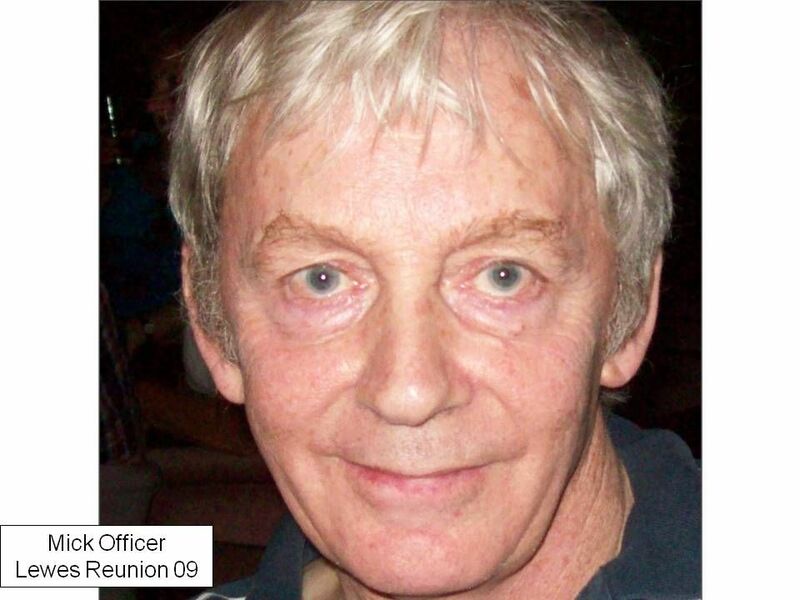 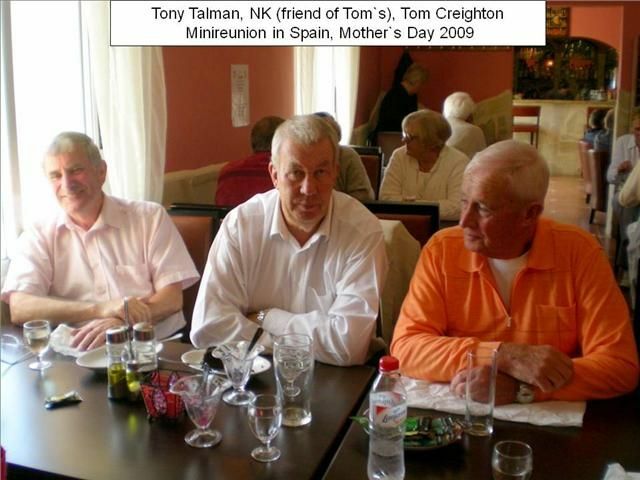 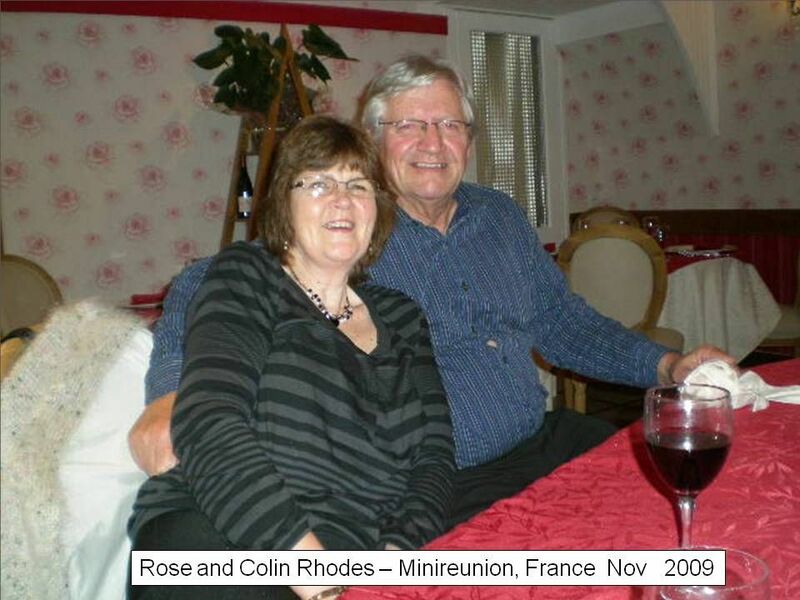 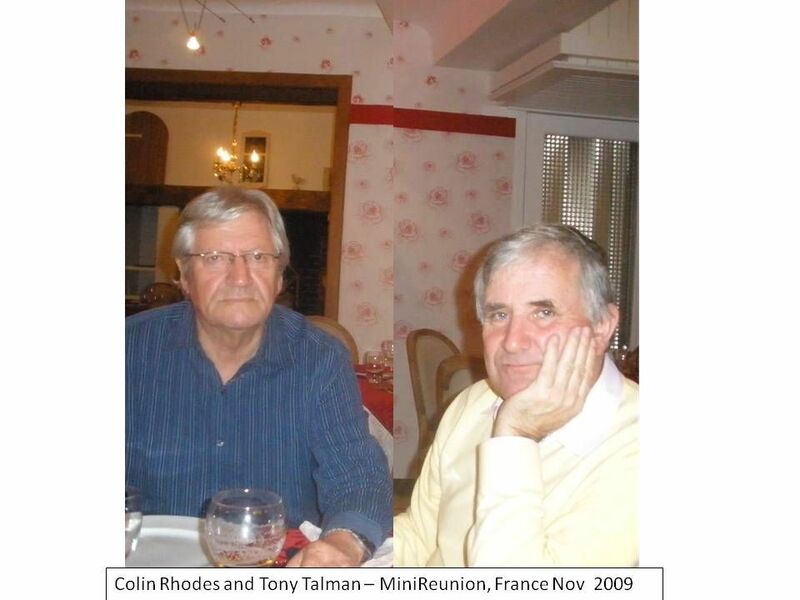 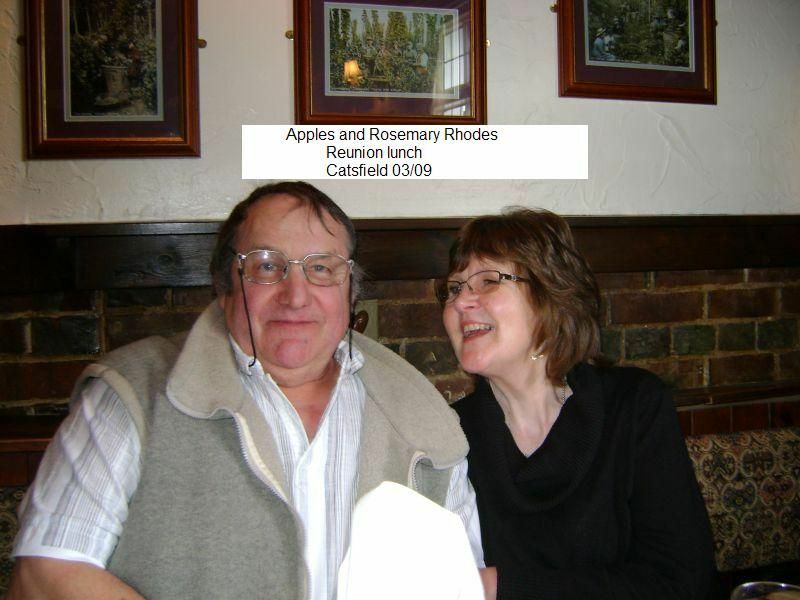 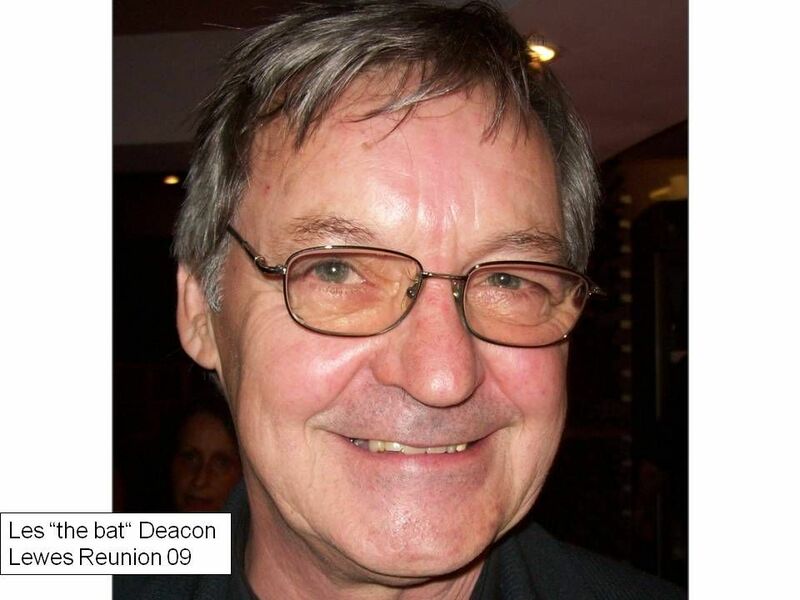 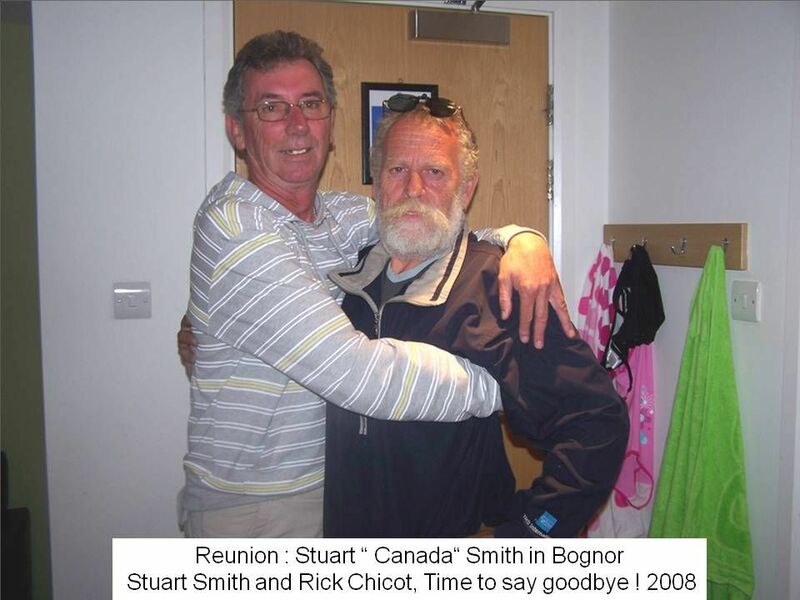 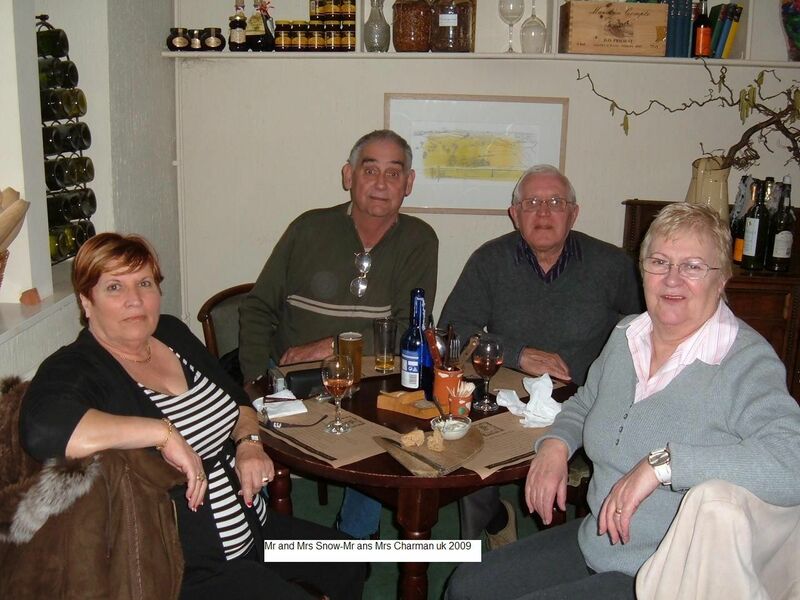 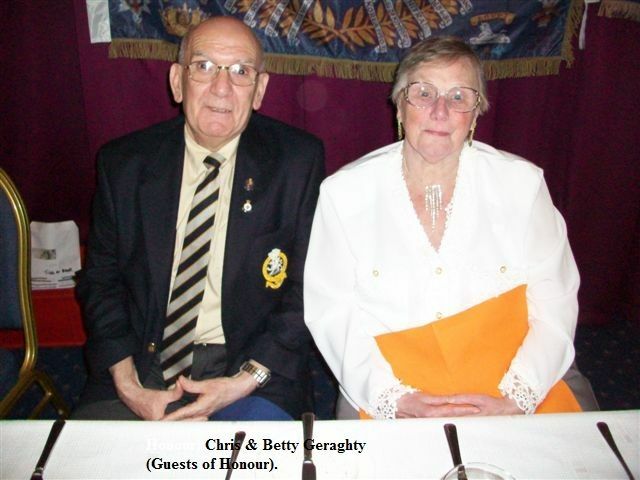 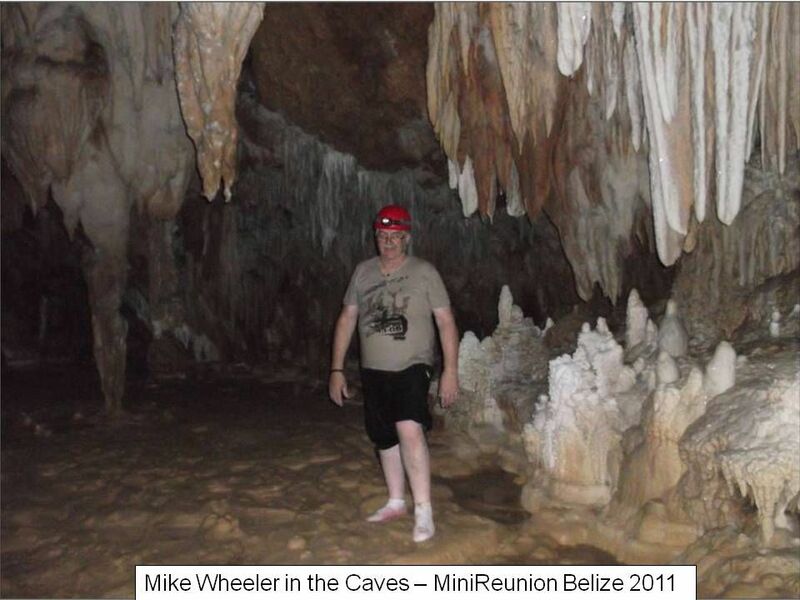 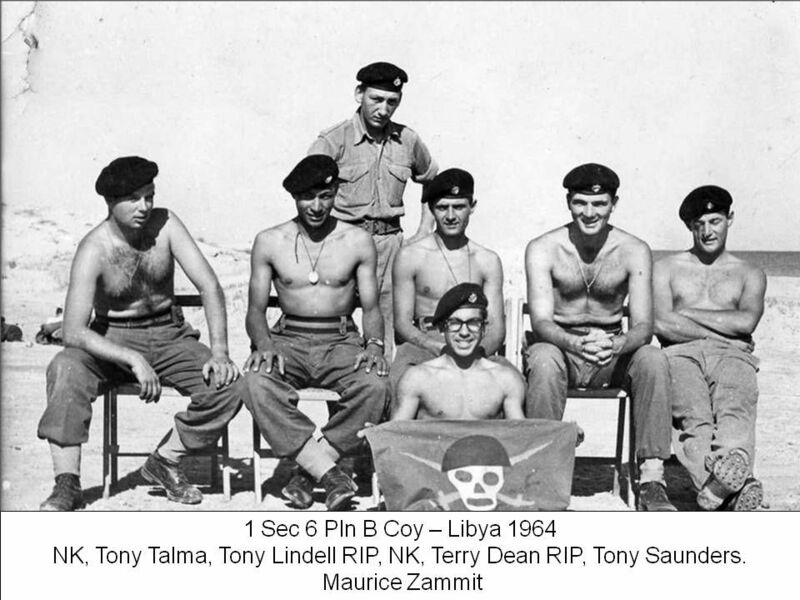 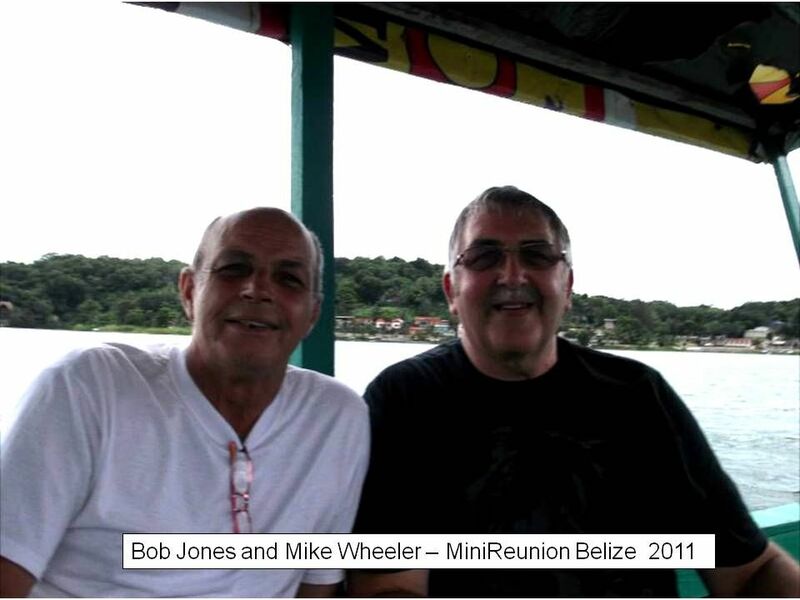 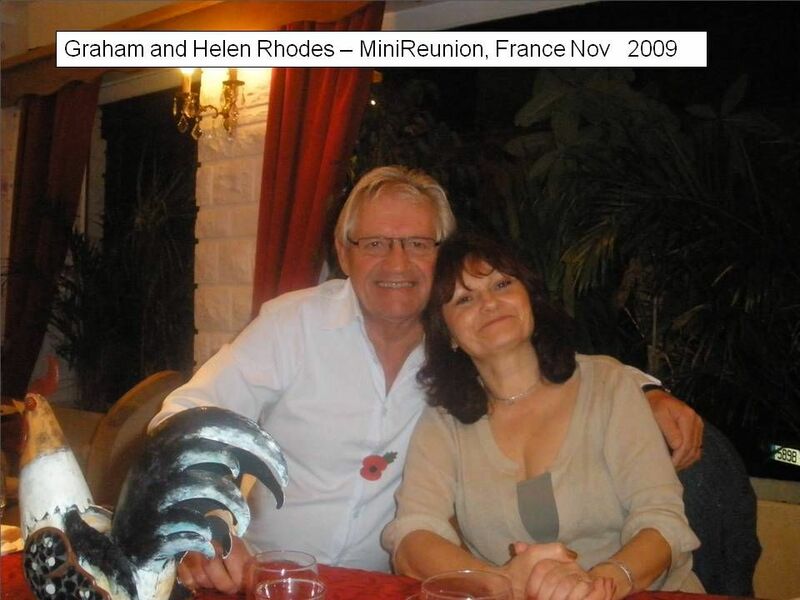 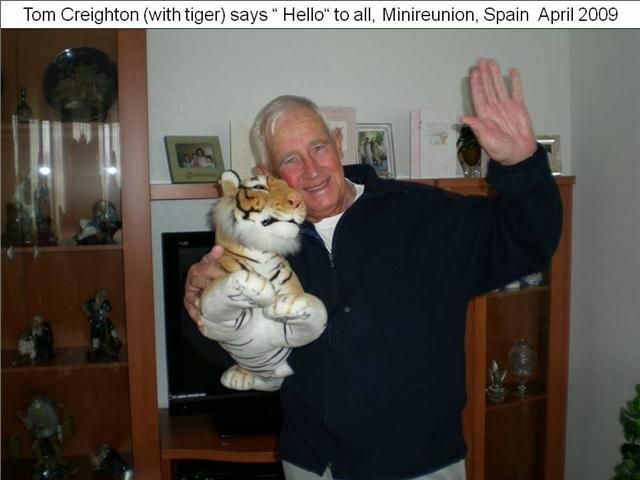 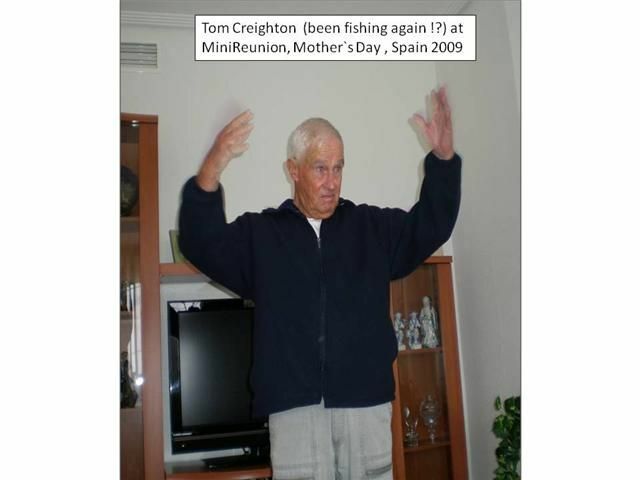 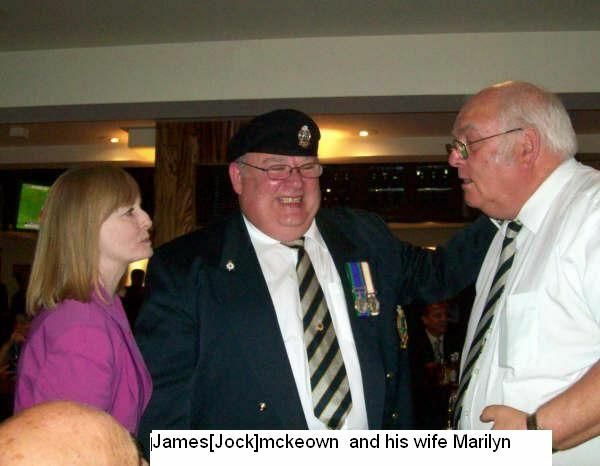 But first let us remember we’ve lost some old friends this year and some of their obituaries are well set out in the latest Roussillon Gazette. 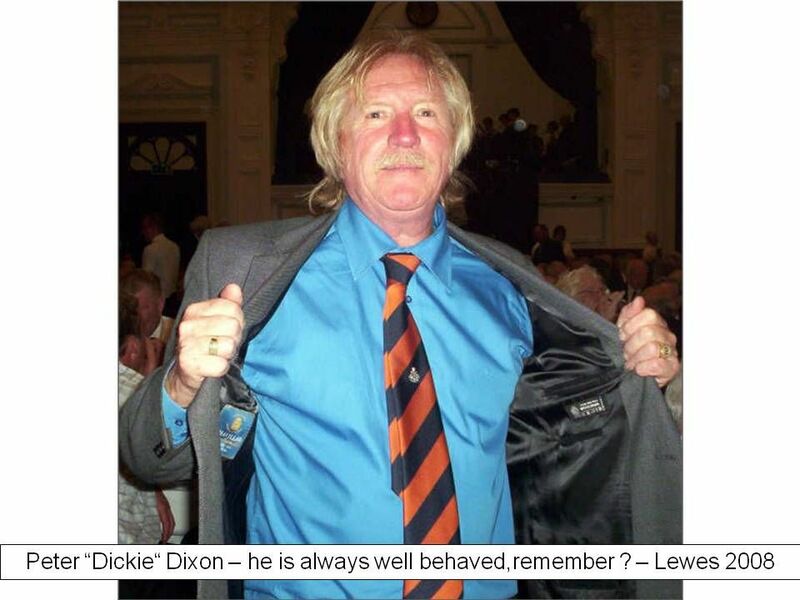 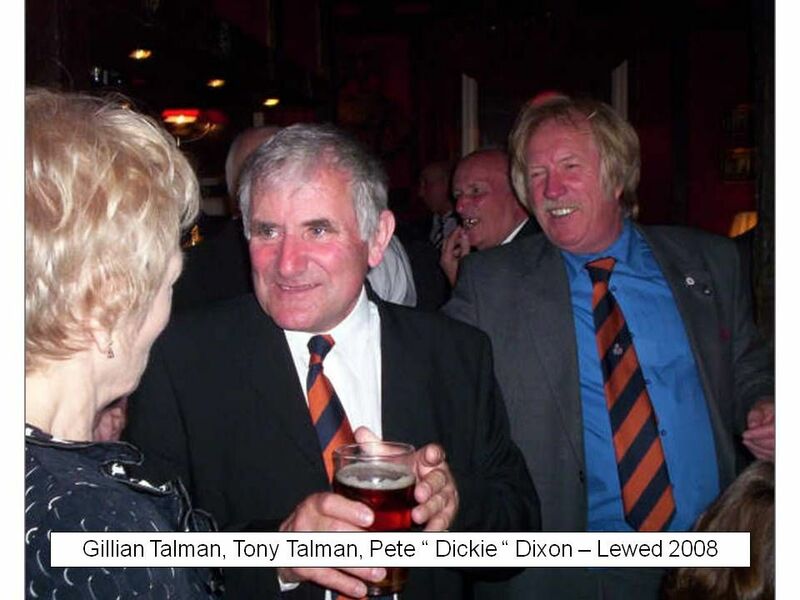 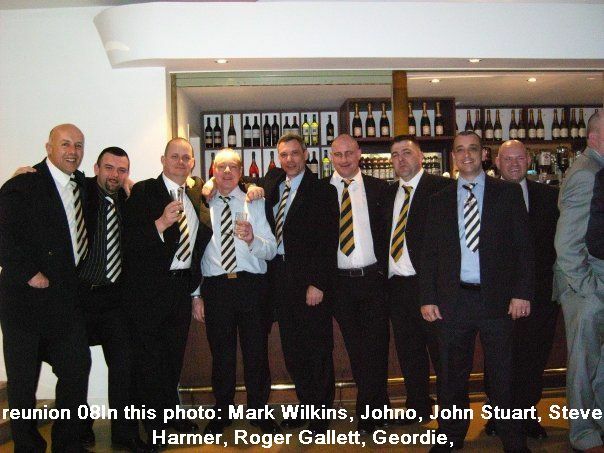 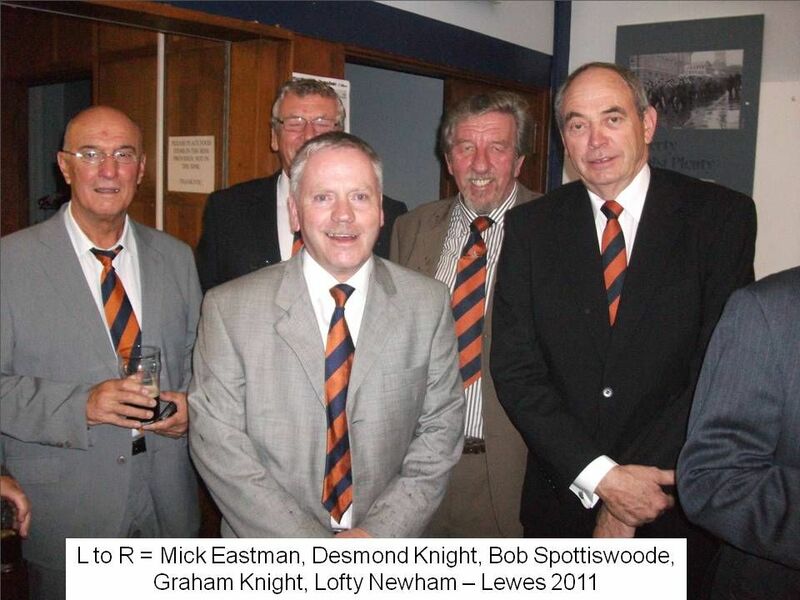 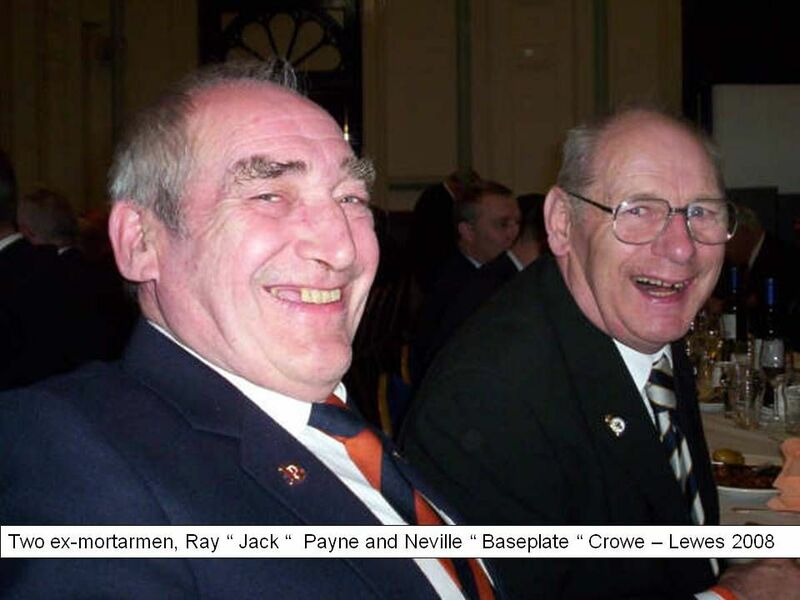 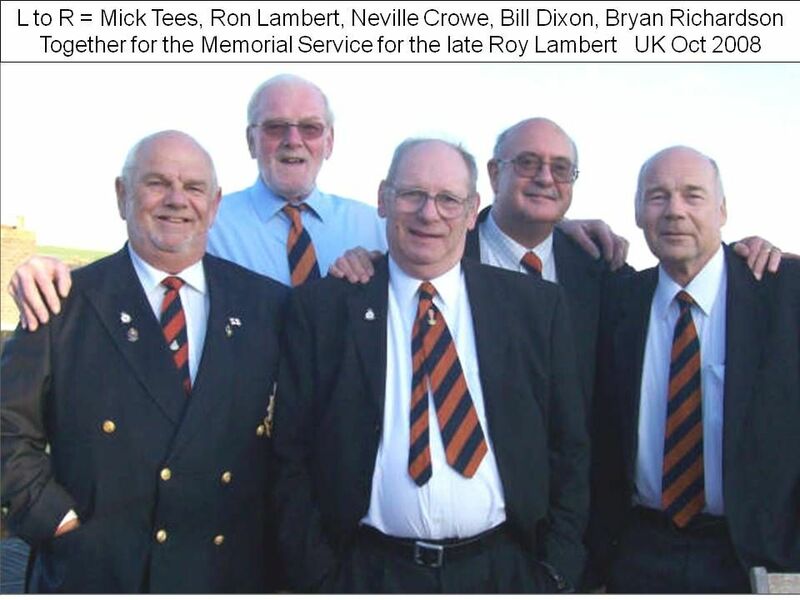 In particular, we would remember Vic Thornton, Ron Berry, Tom Creighton, Jim Laker, Roy Prisley, NOD Ormerod and Roger Kirkpatrick. 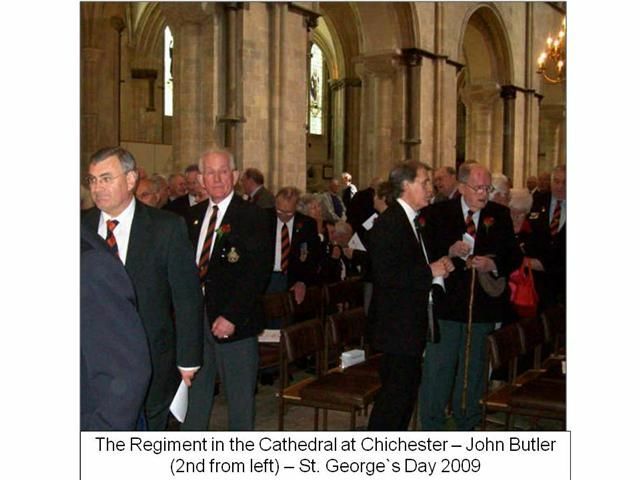 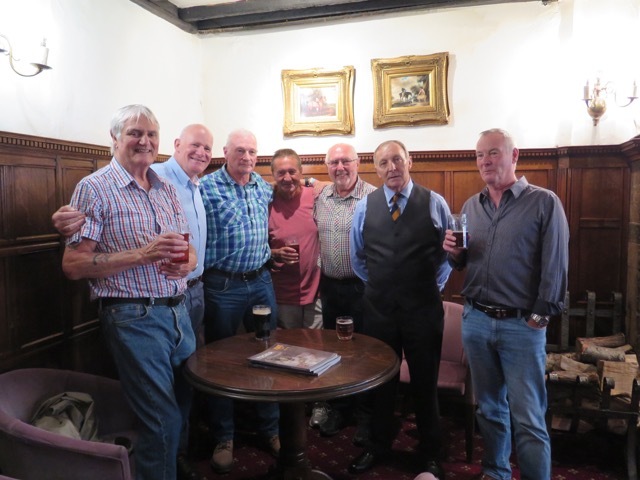 Our Great War commemorations this year saw us travelling to France again to commemorate the Battle of Aubers Ridge in May 1915, where both the 2nd Battalion and the 5th (Cinque Ports) Battalion were in action. 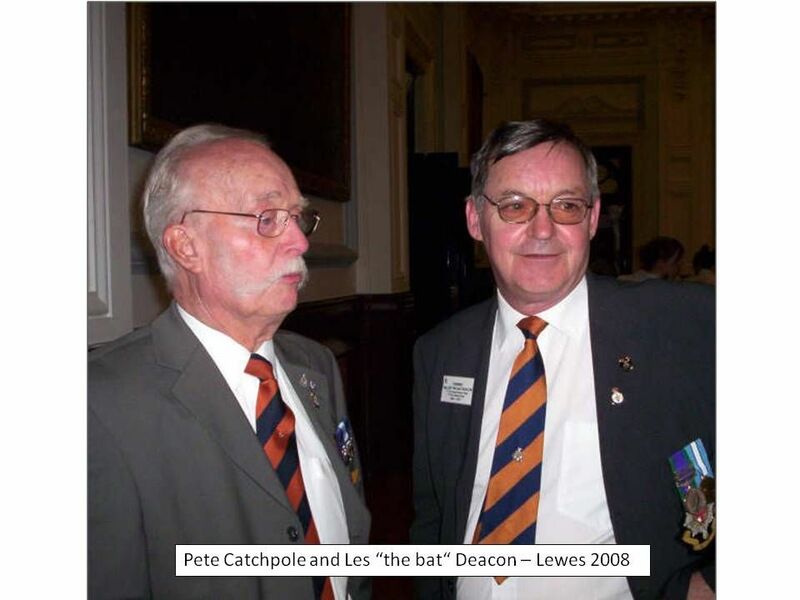 Although the 2nd Battalion suffered more casualties, one has to remember that the 5th Battalion, being a Territorial battalion, recruited much more locally, with Wadhurst, in particular, losing 25 men that day. 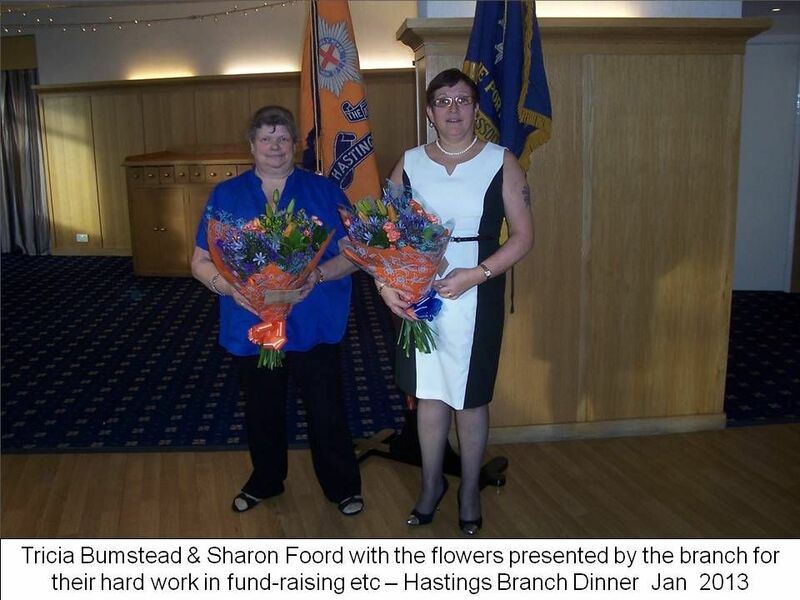 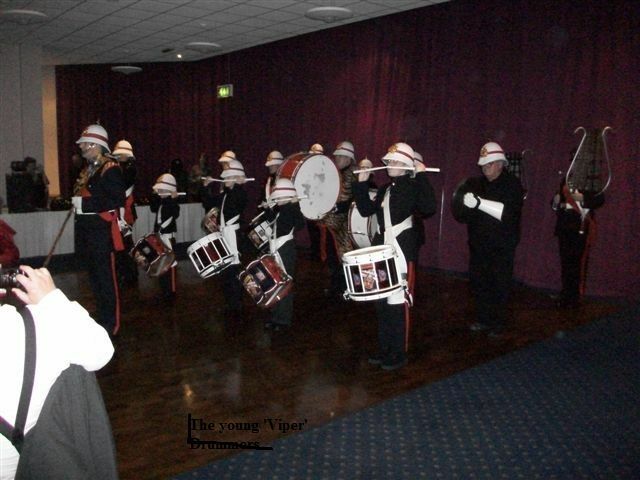 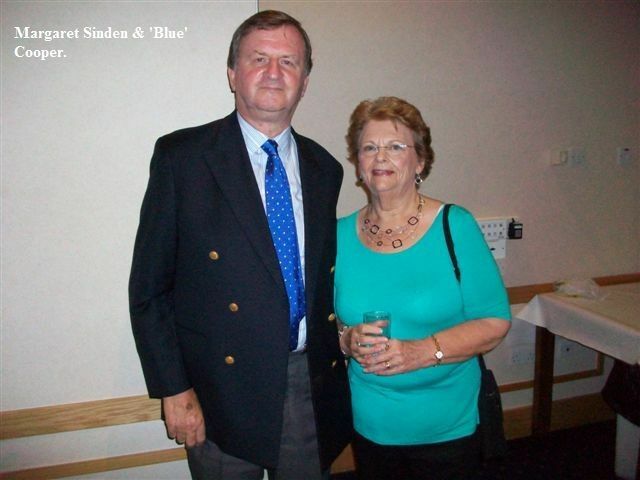 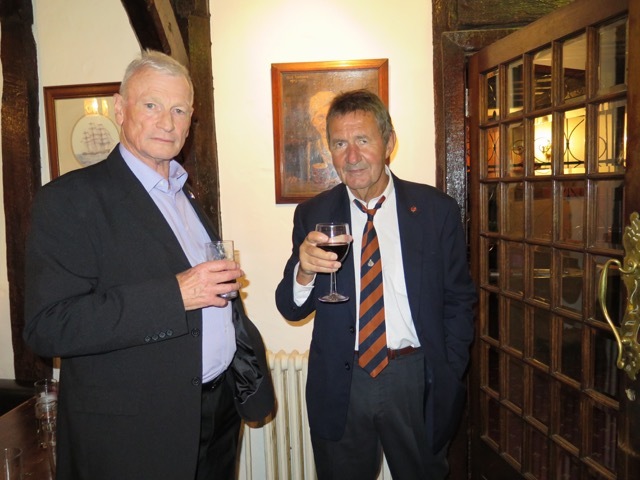 The commemoration was conducted in concert with the Wadhurst Council, who are twinned with Aubers, so it was very much an international event. 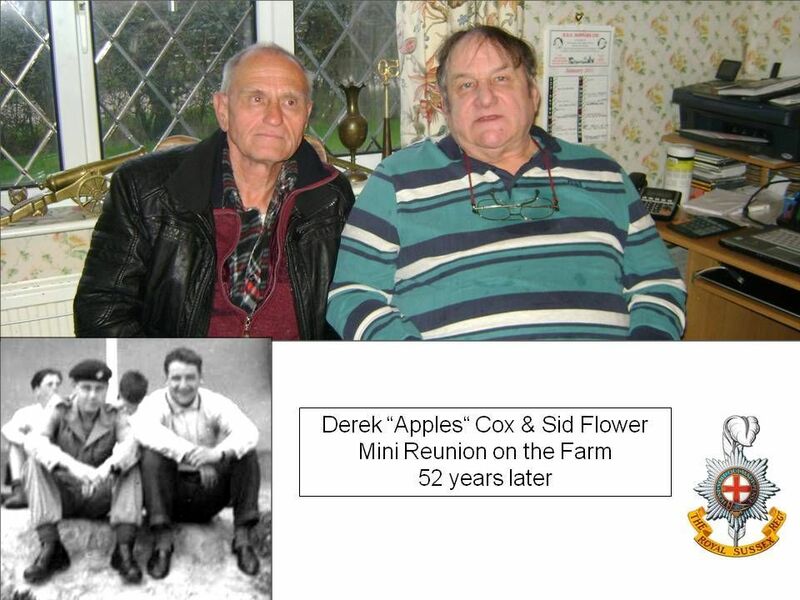 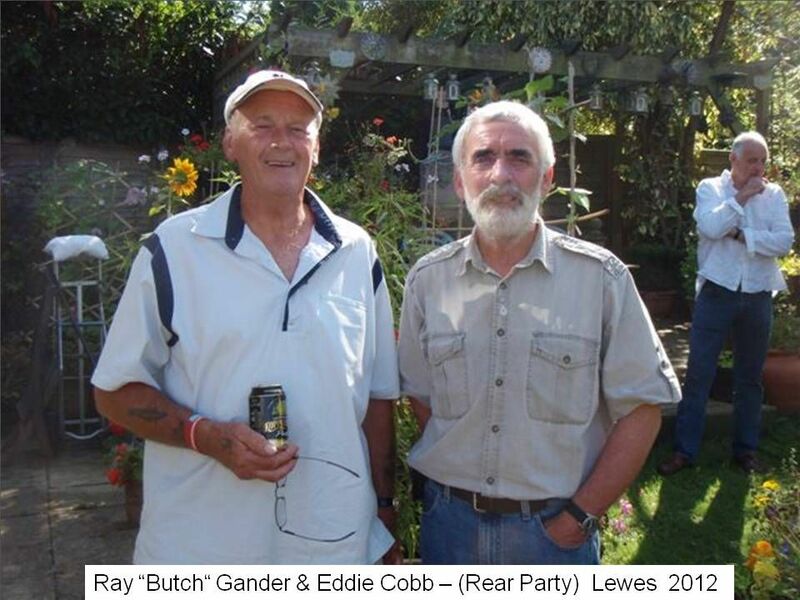 We presented Aubers with a Memorial Seat for their Memorial Garden, and we are grateful to David Wakefield in helping to organise this. 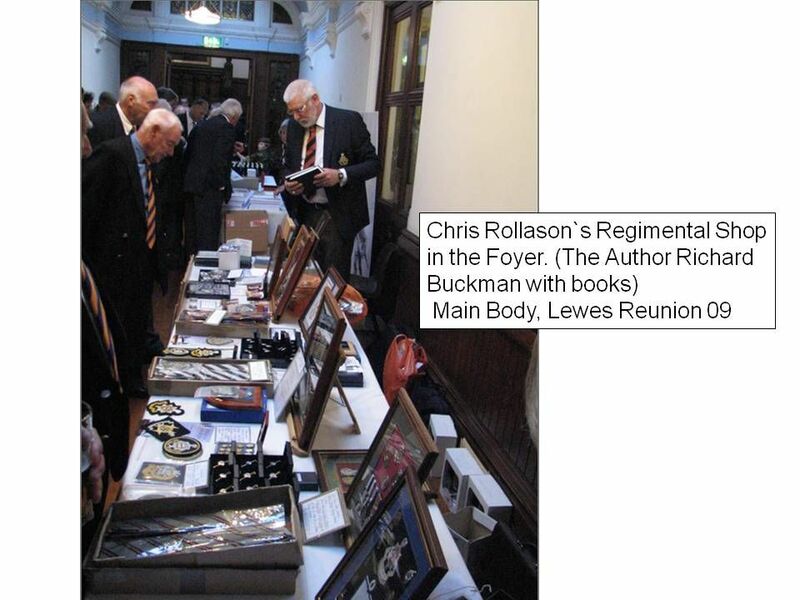 There is detailed account of Aubers Ridge in this year’s Roussillon Gazette, which is on sale in the hall. 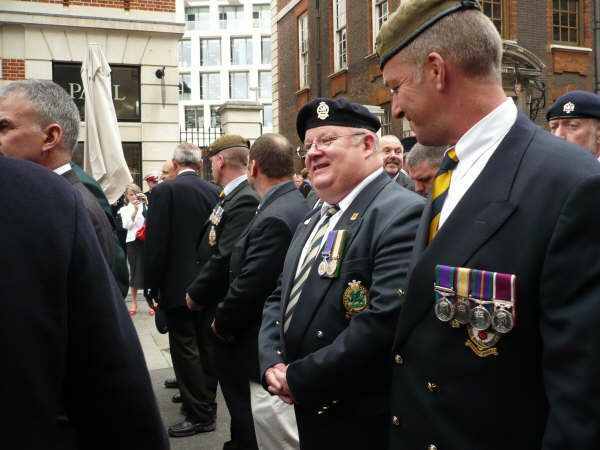 In just under two weeks time, the 25th of September, we will be parading with Standards at the unveiling of a Memorial to Sergeant Harry Wells who was awarded a Victoria Cross at the Battle of Loos in 1915. 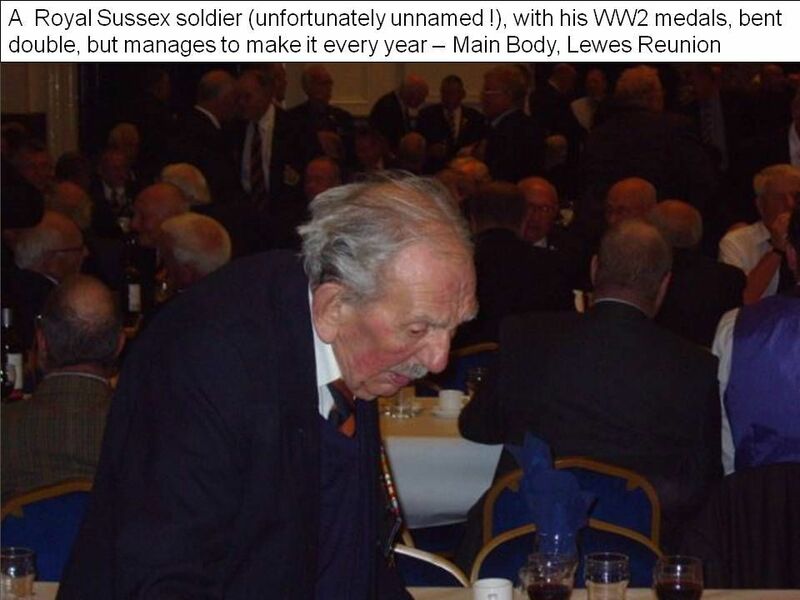 He was the recipient of our first VC of the Great War and was serving with the 2nd Battalion and, regrettably, was killed while doing so. 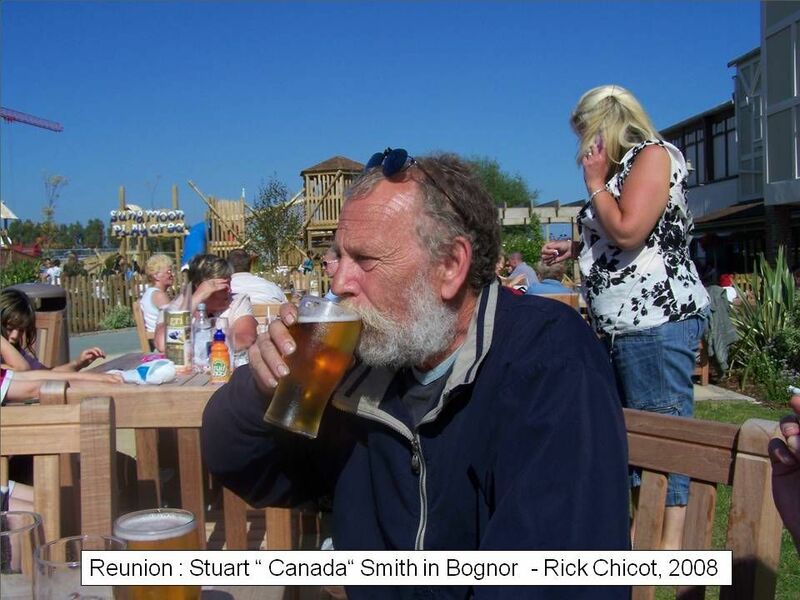 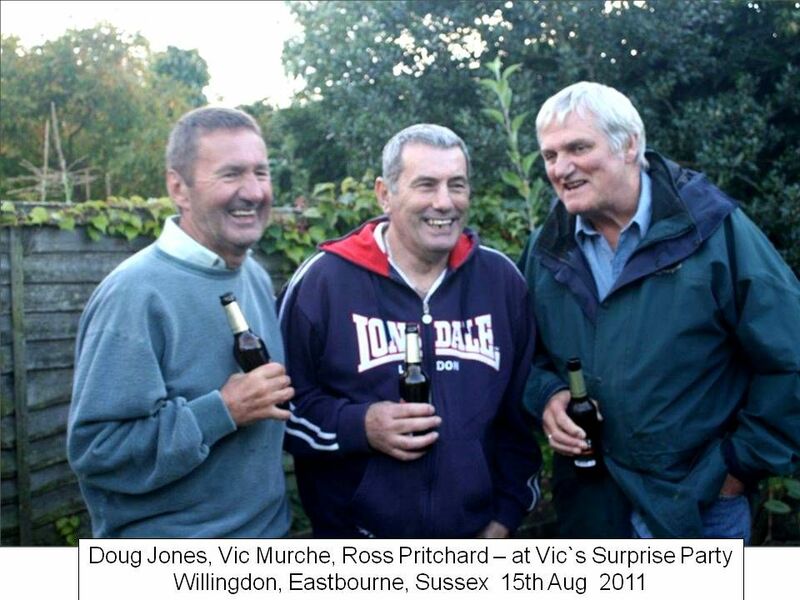 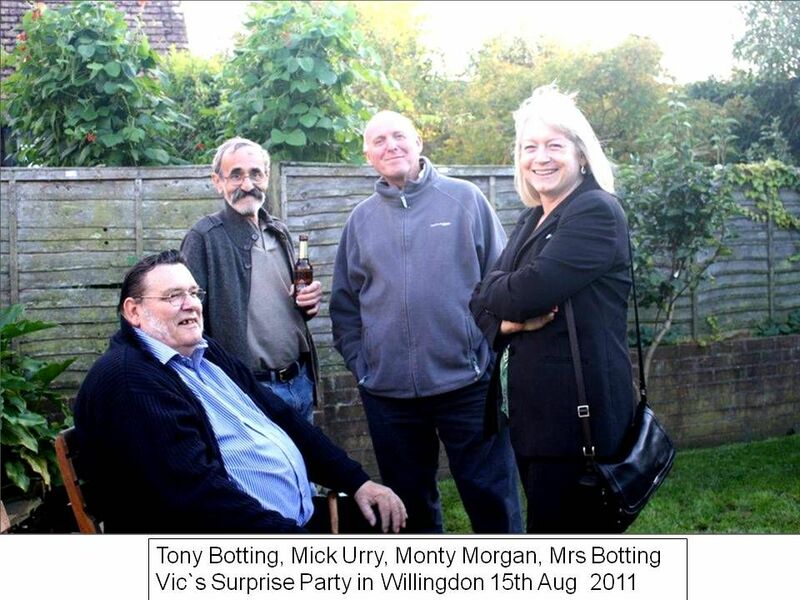 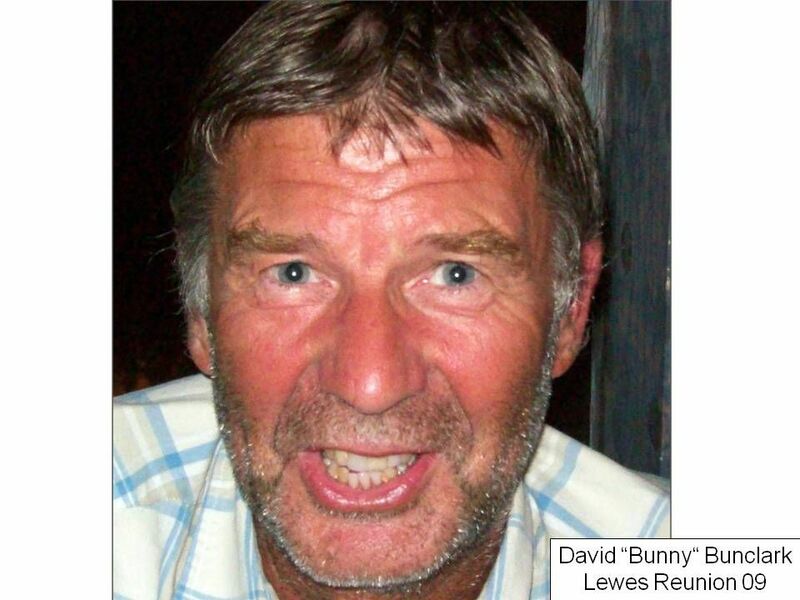 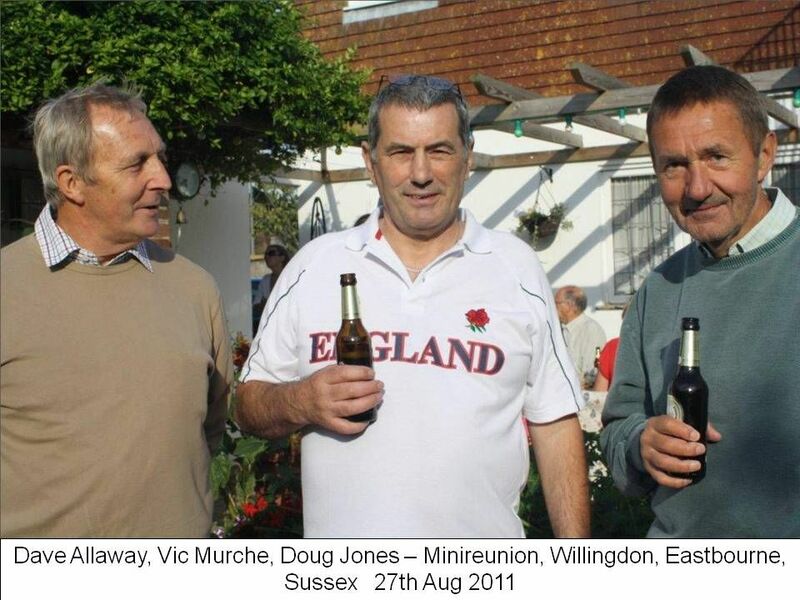 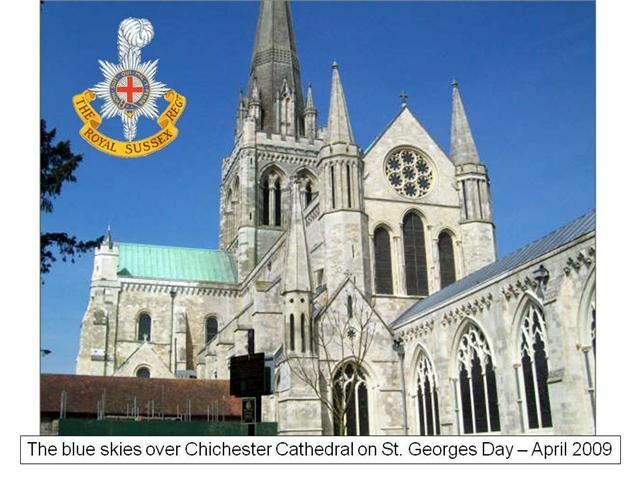 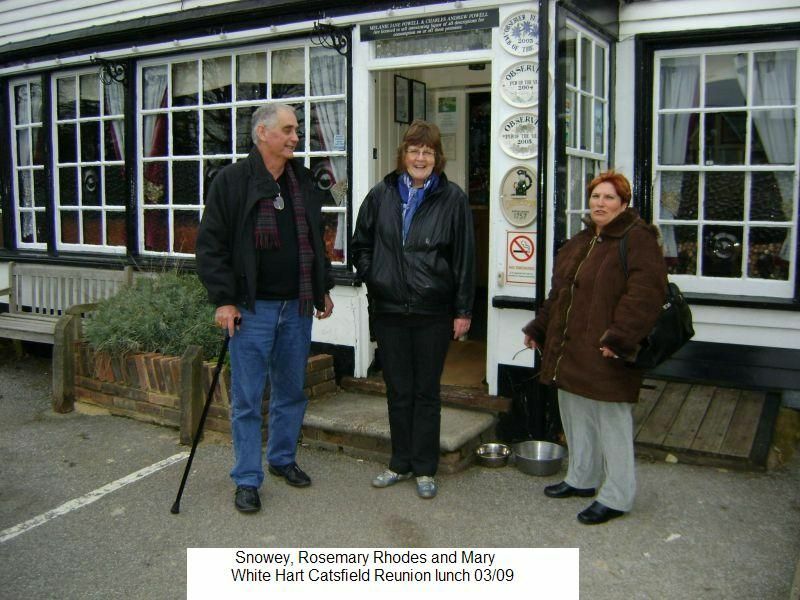 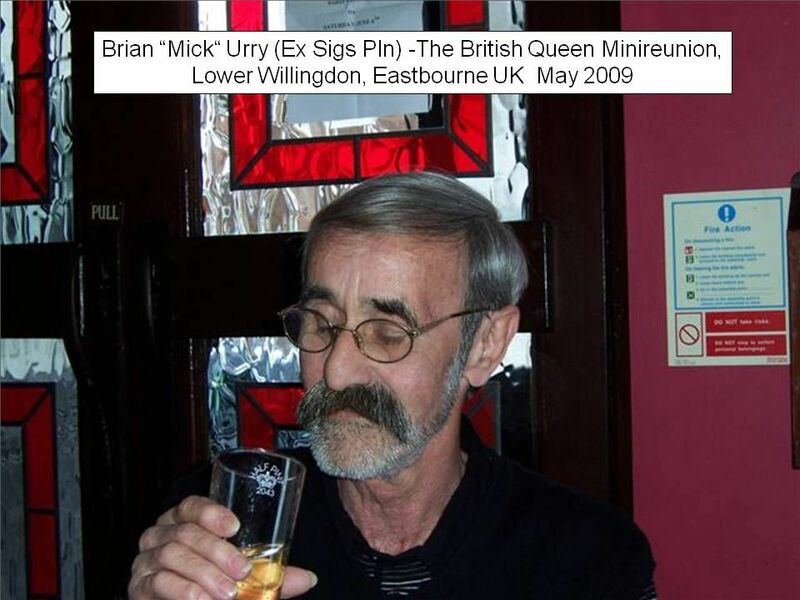 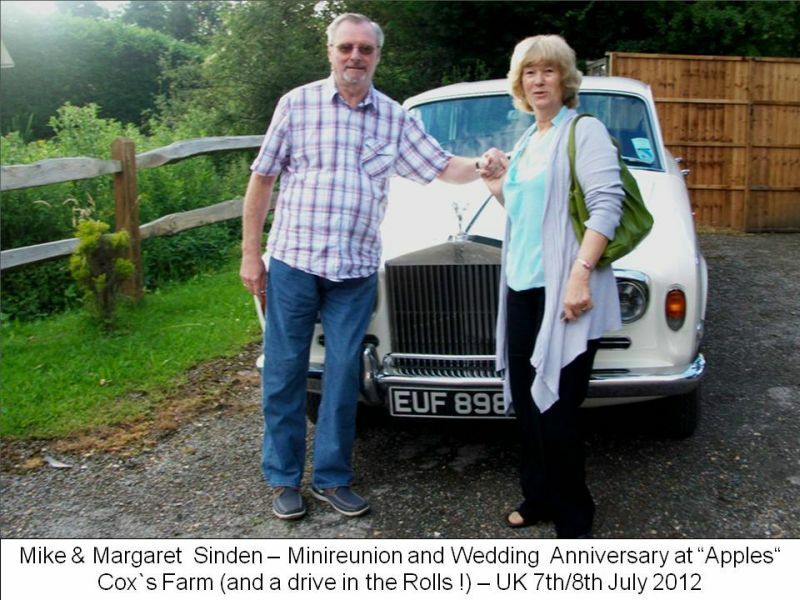 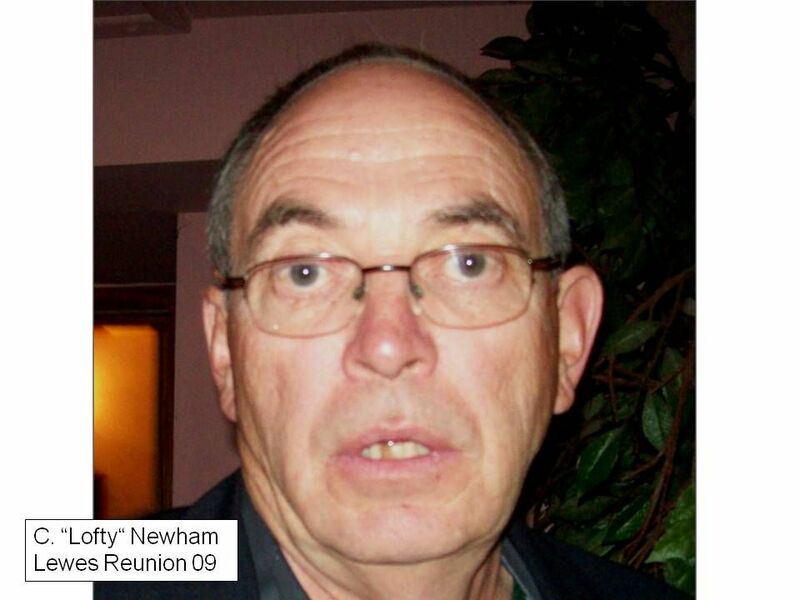 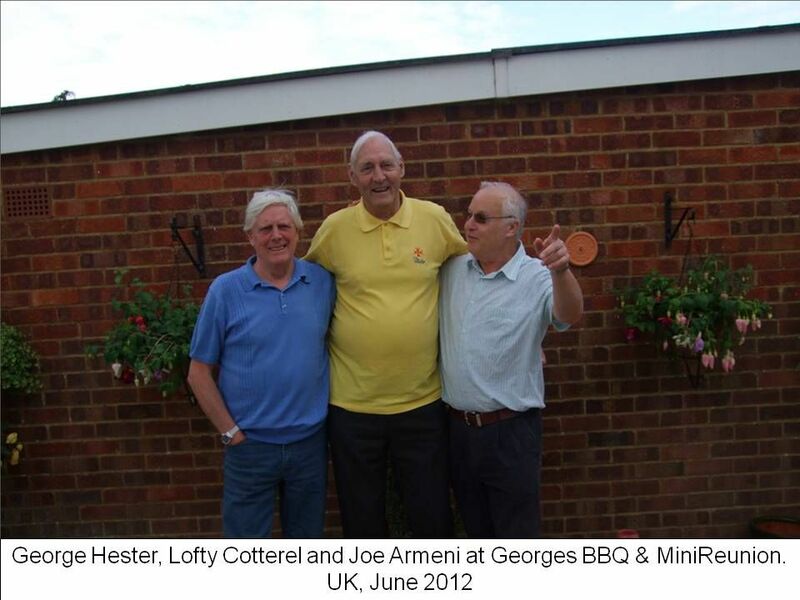 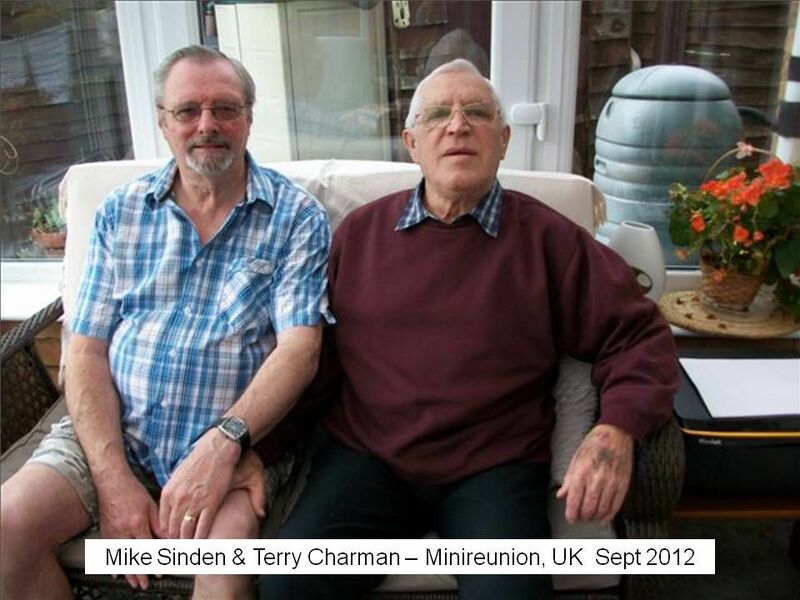 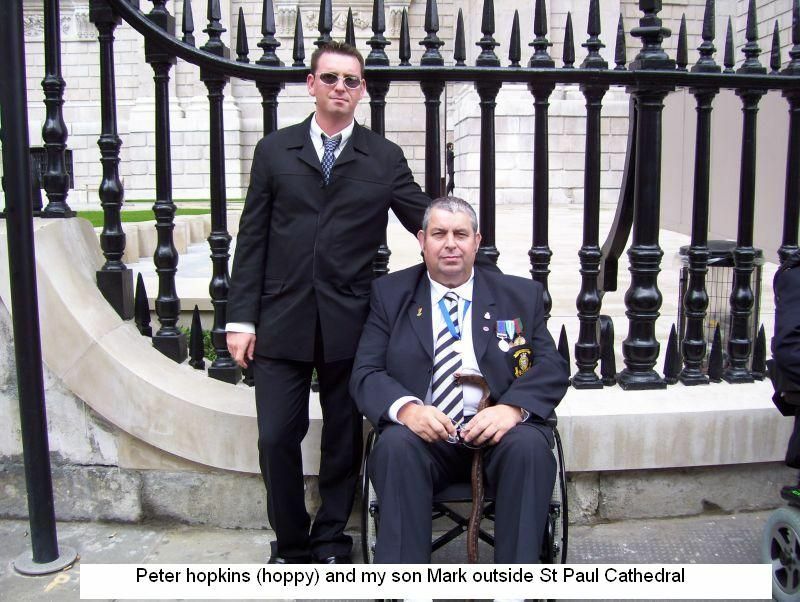 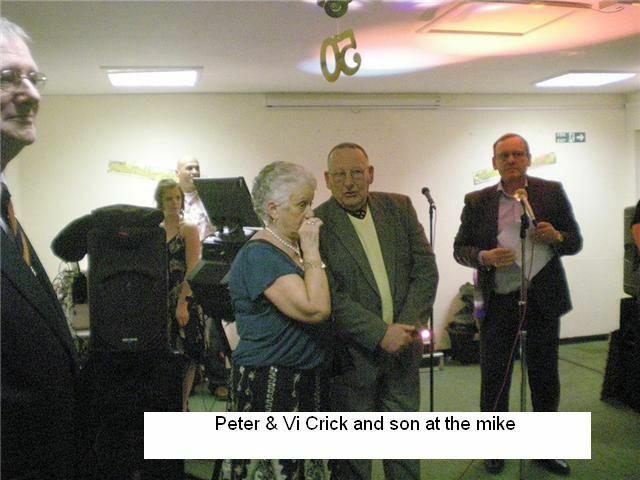 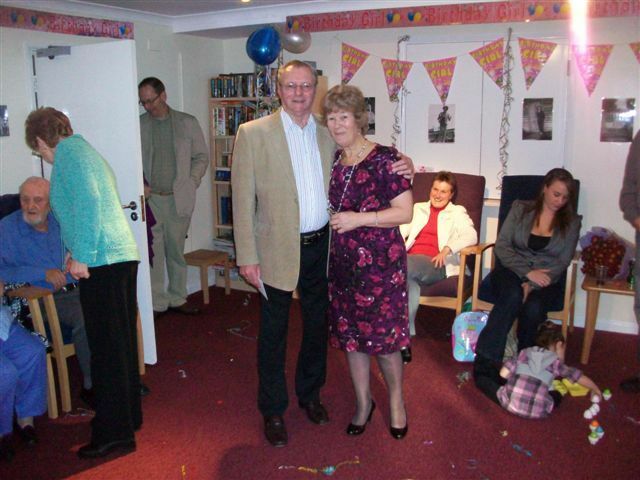 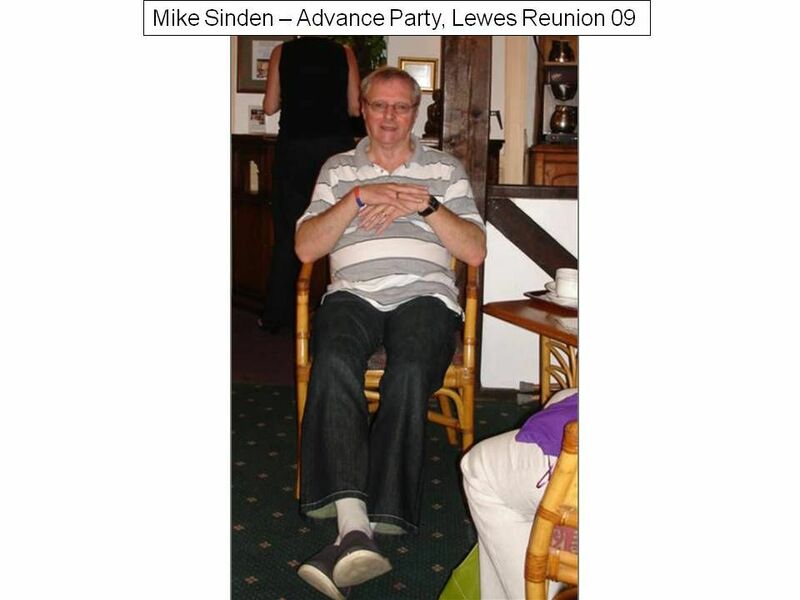 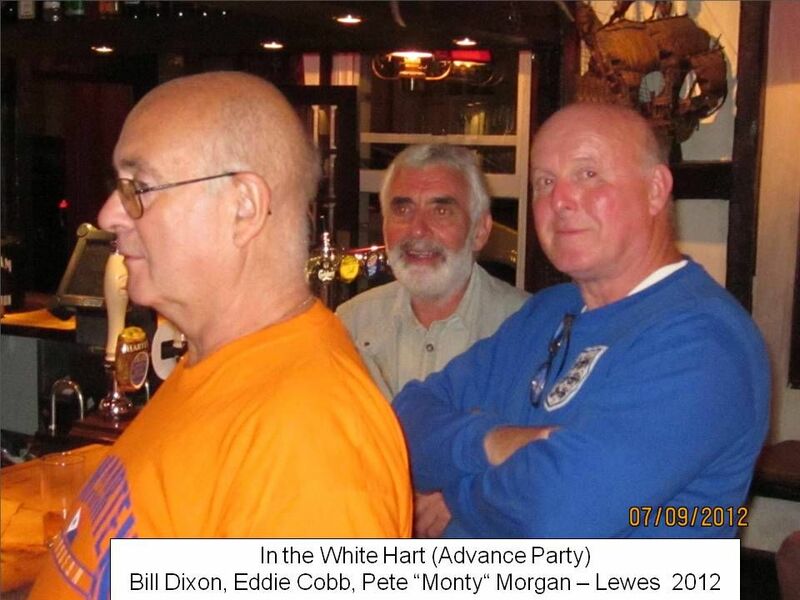 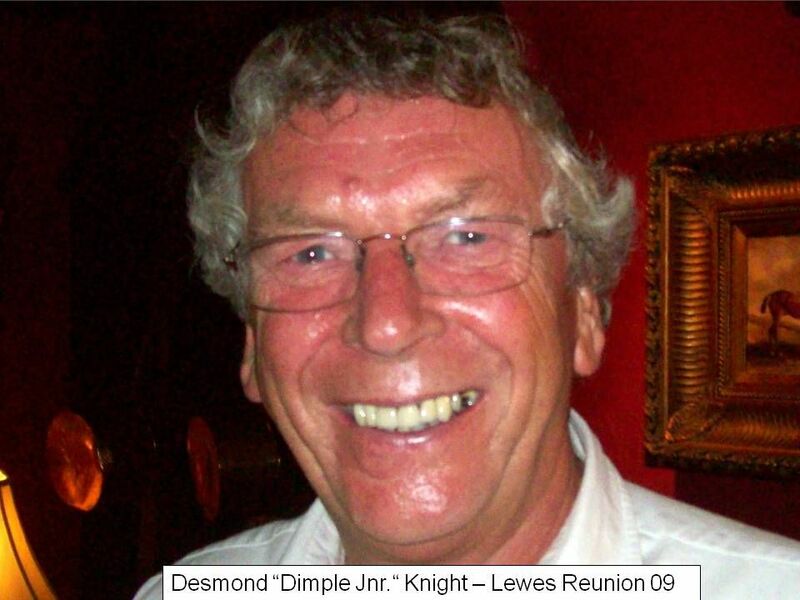 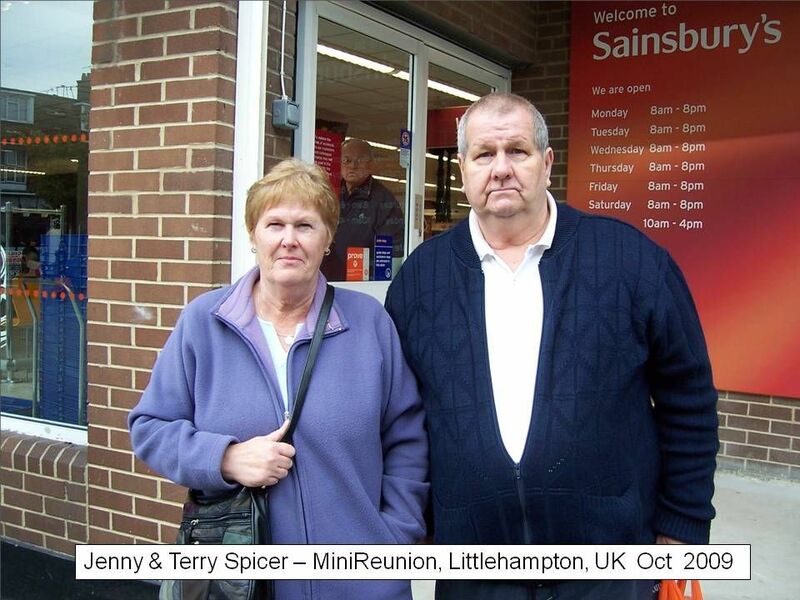 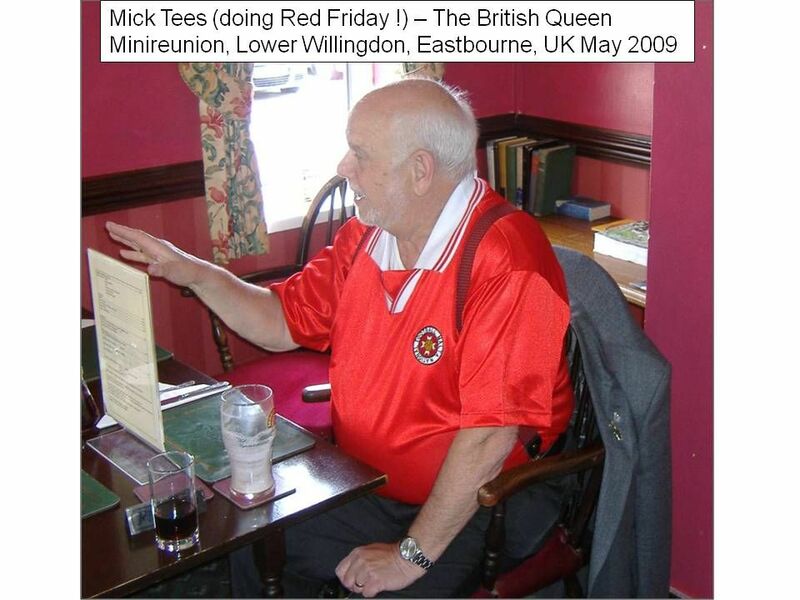 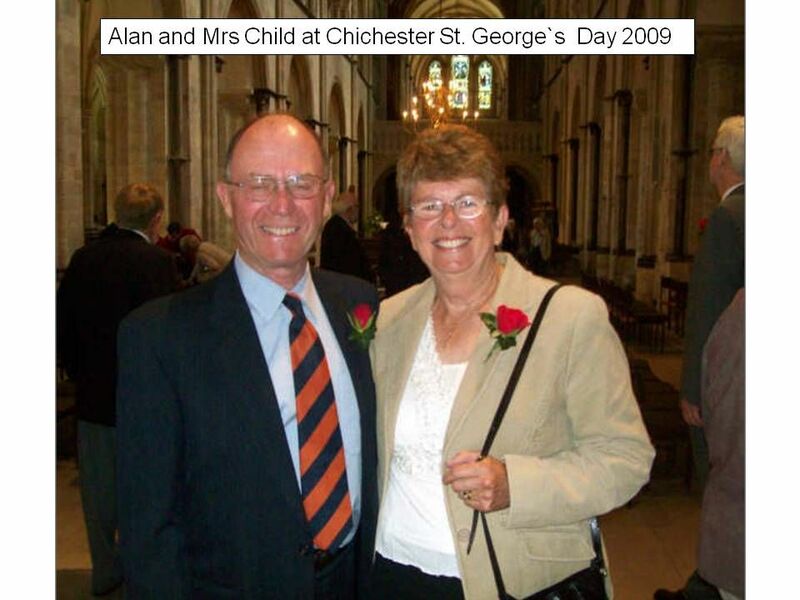 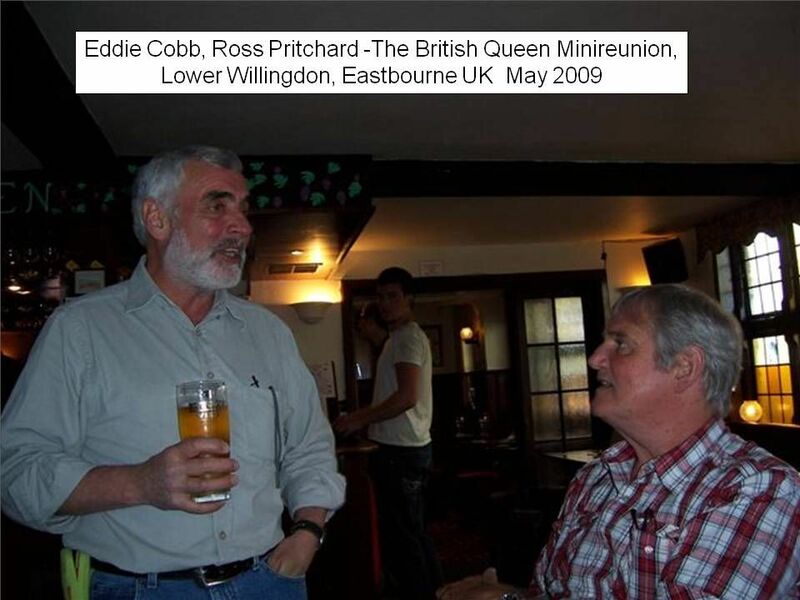 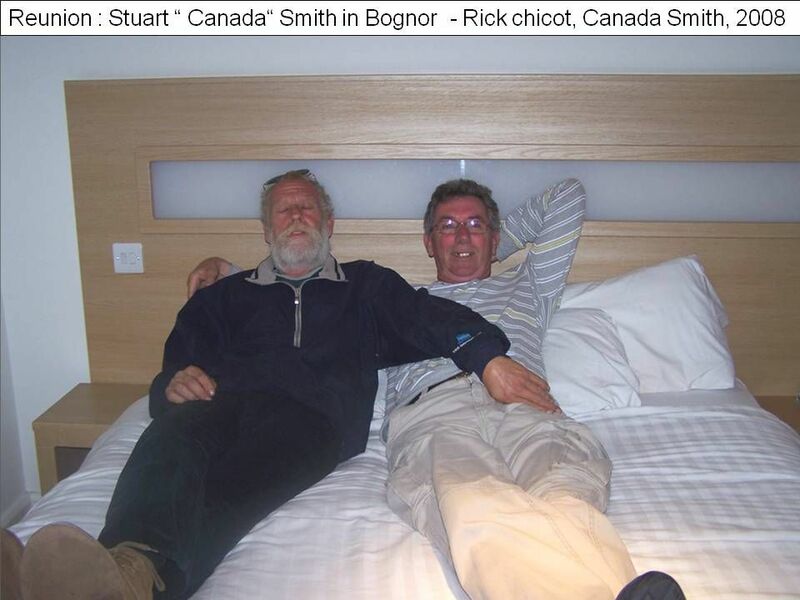 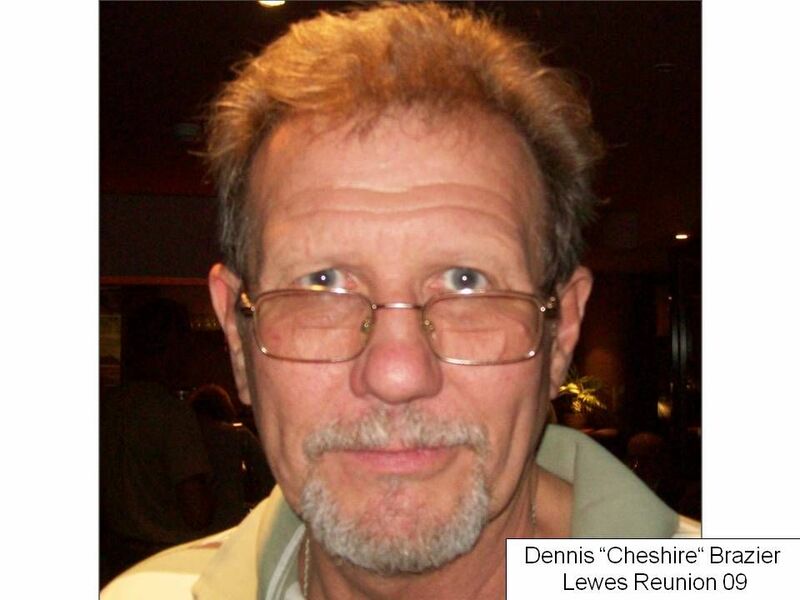 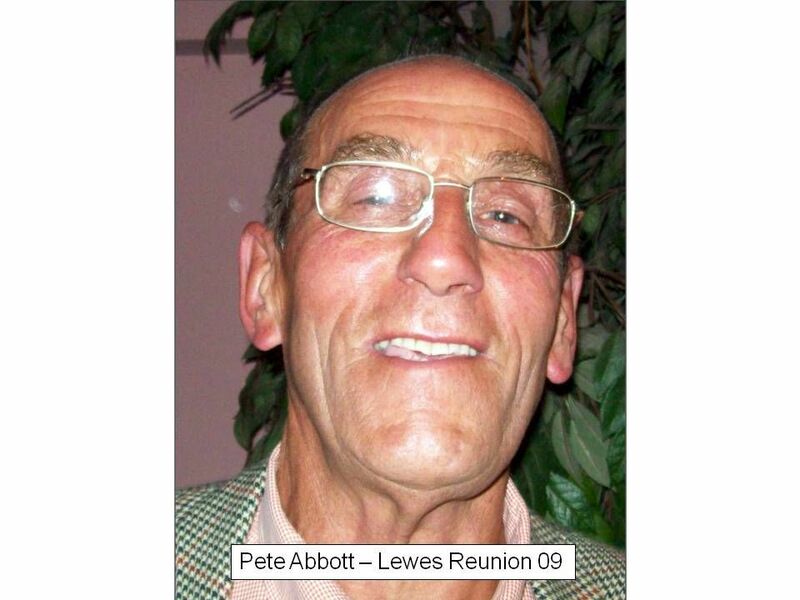 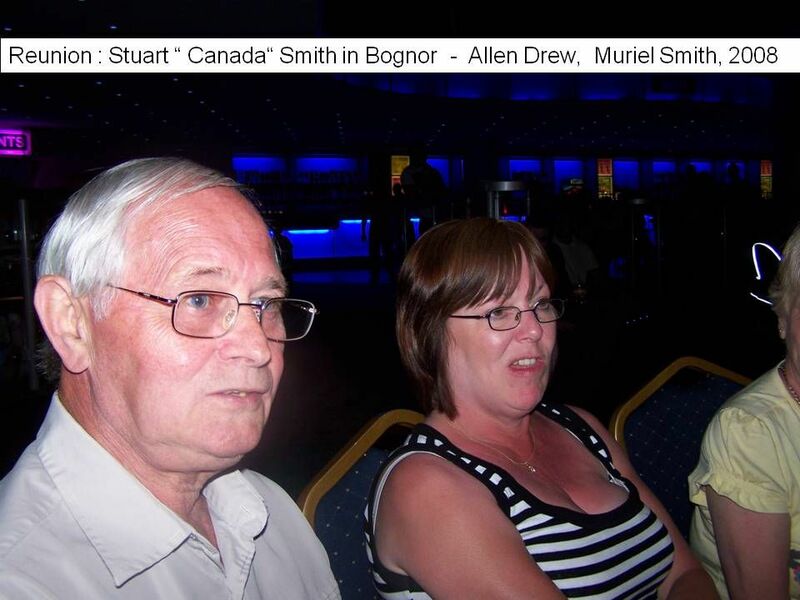 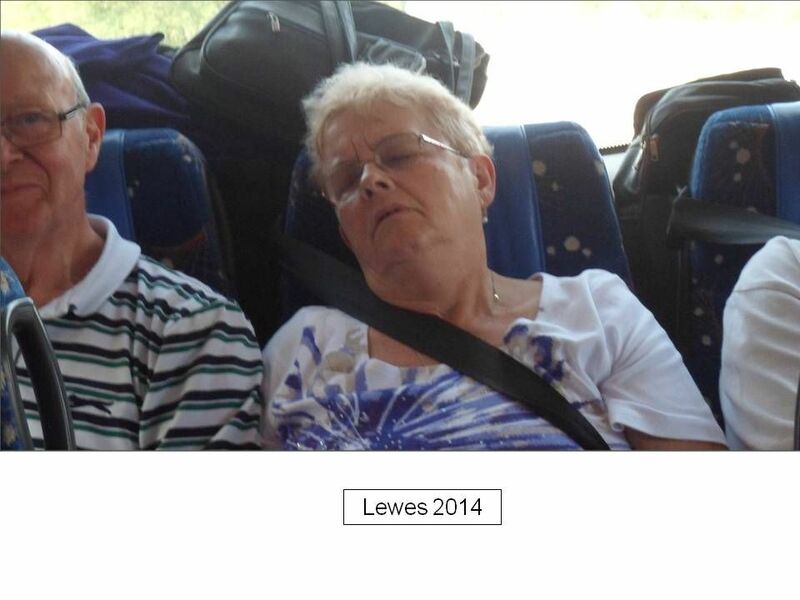 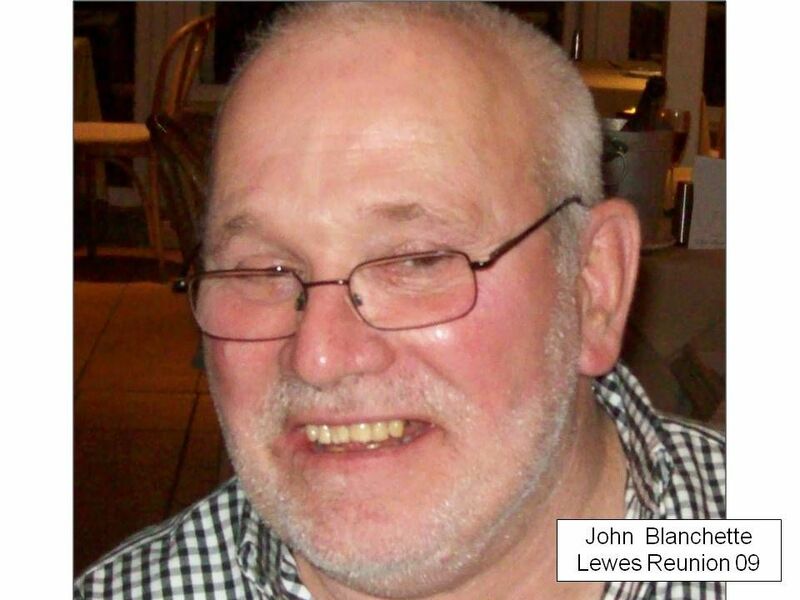 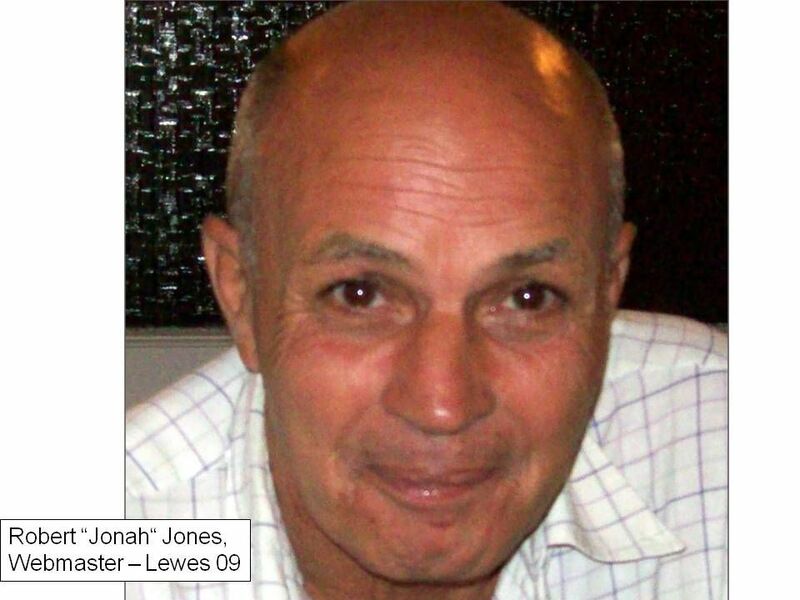 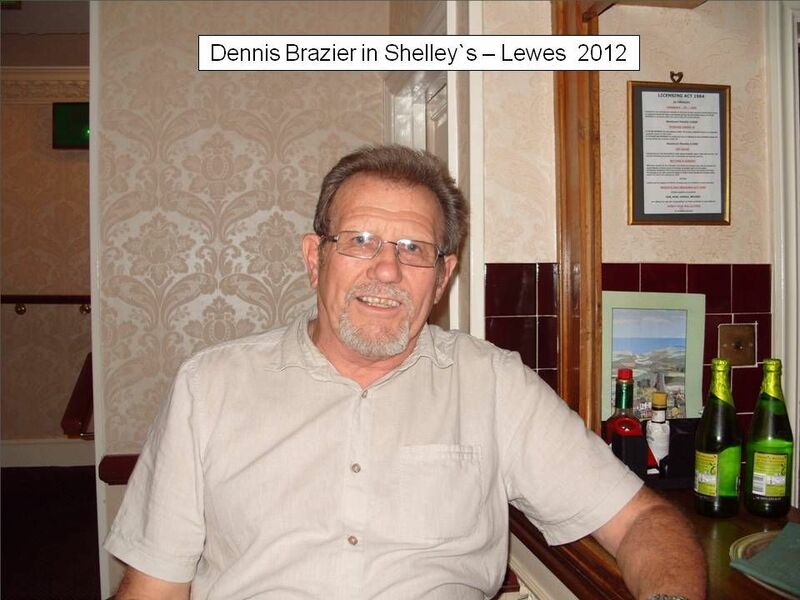 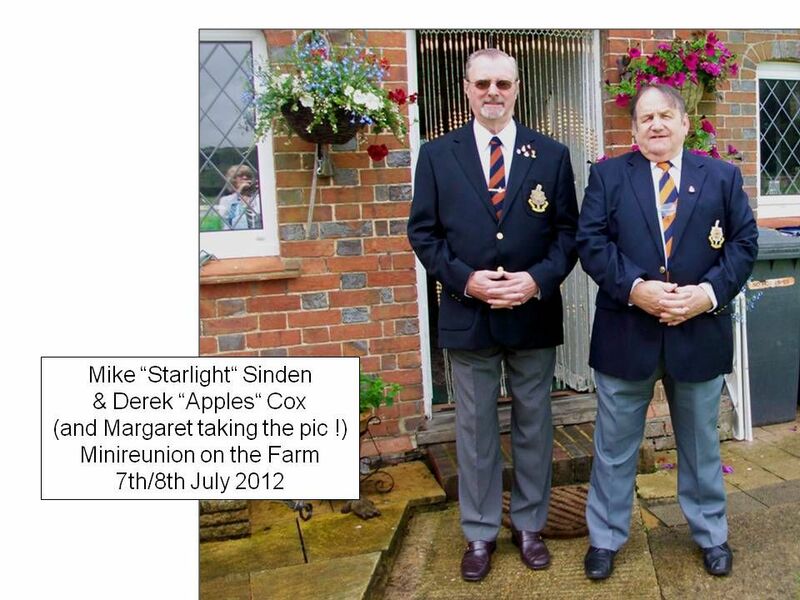 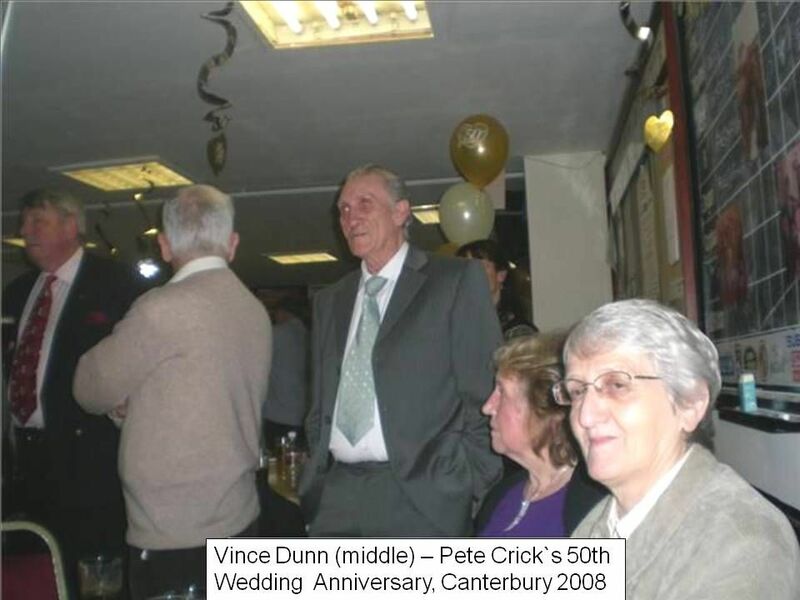 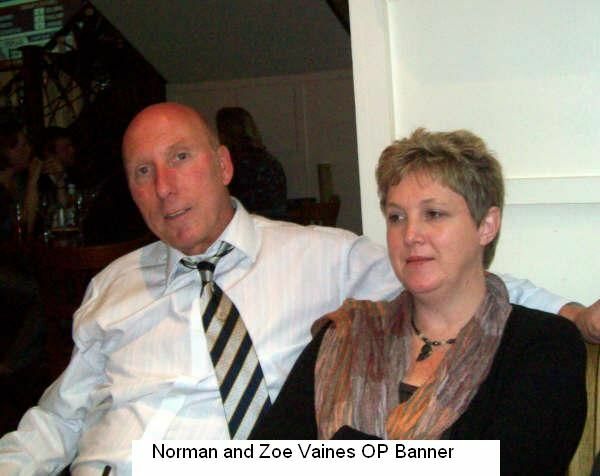 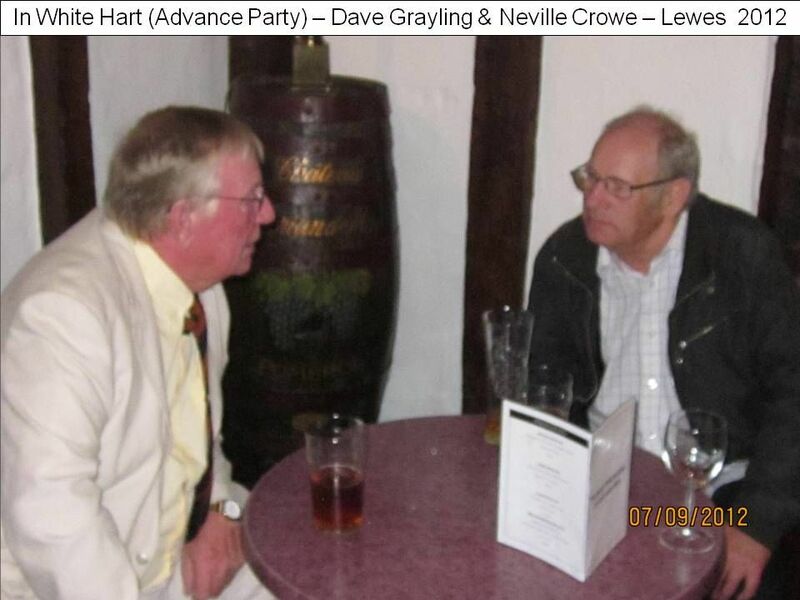 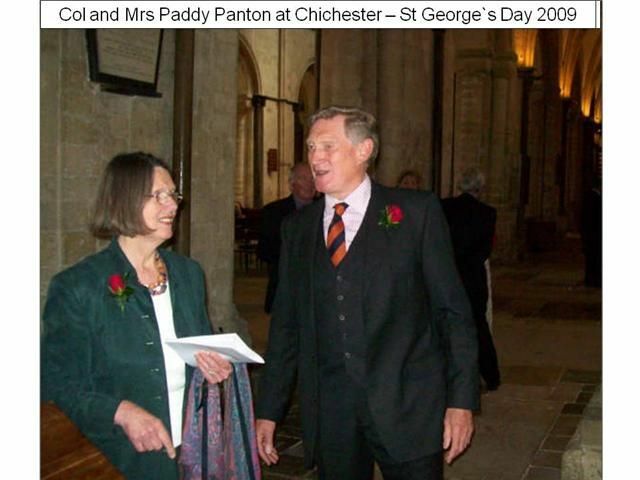 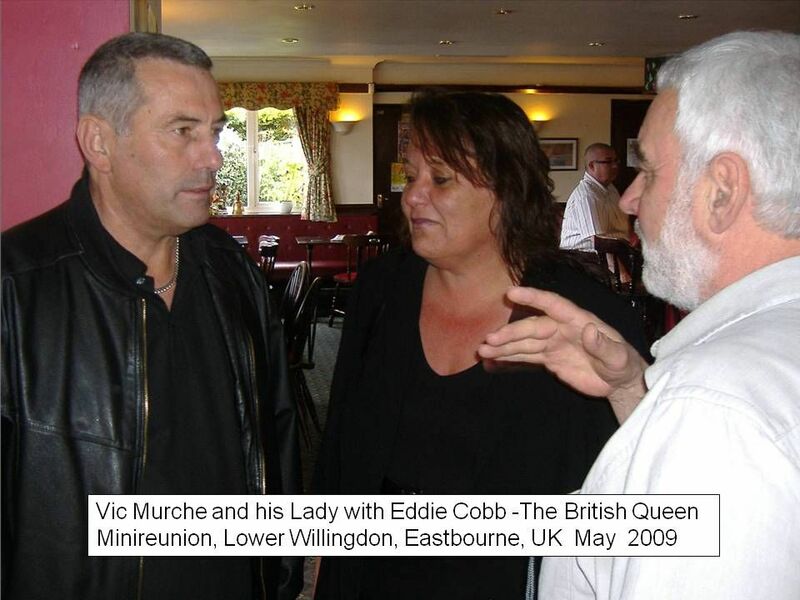 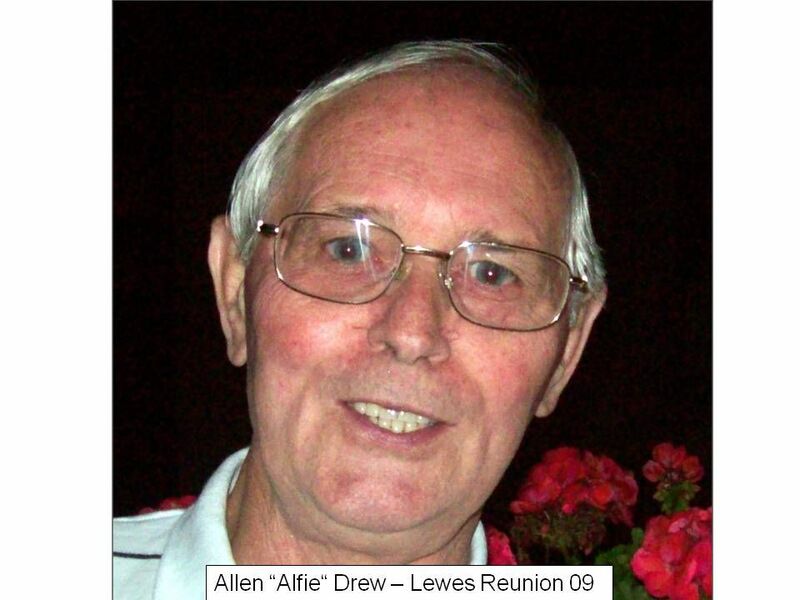 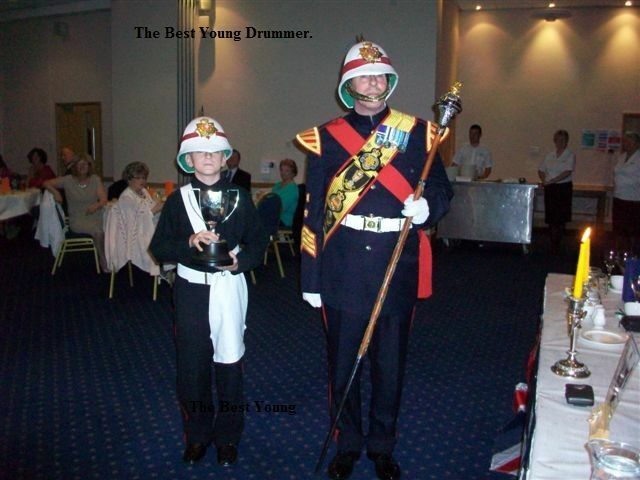 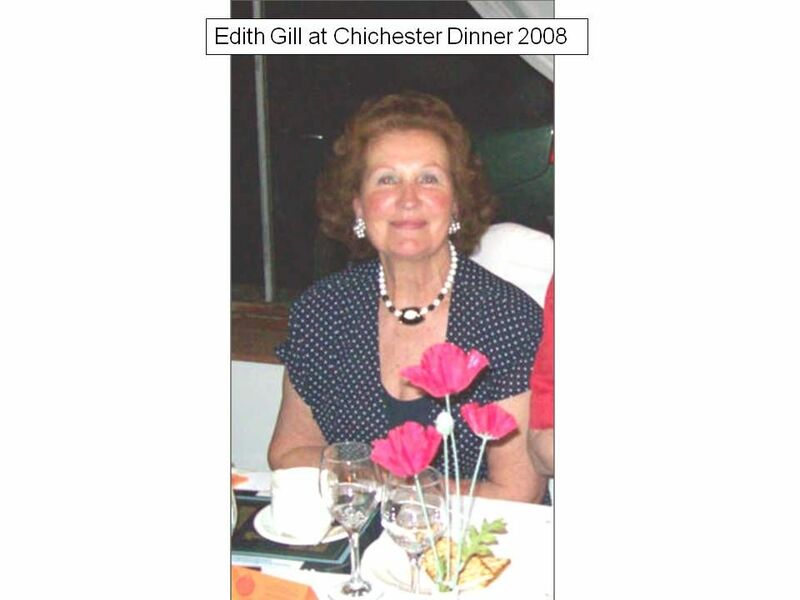 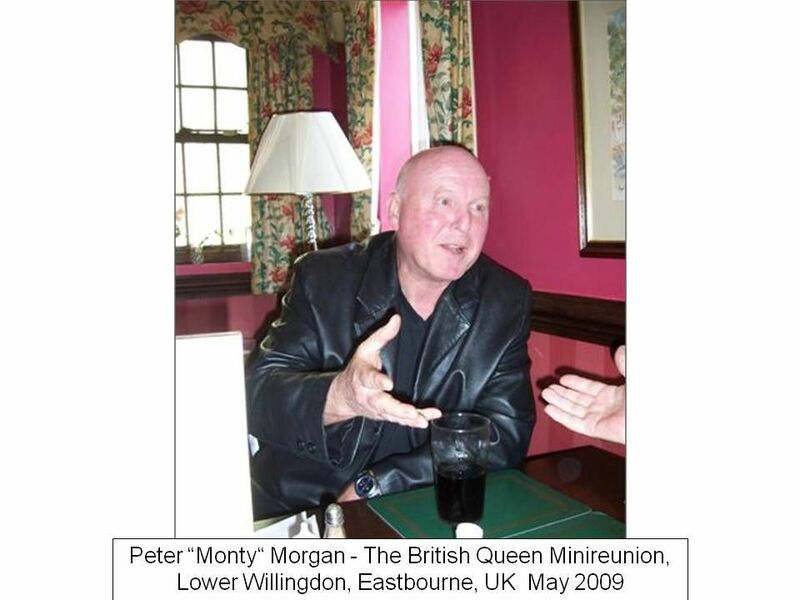 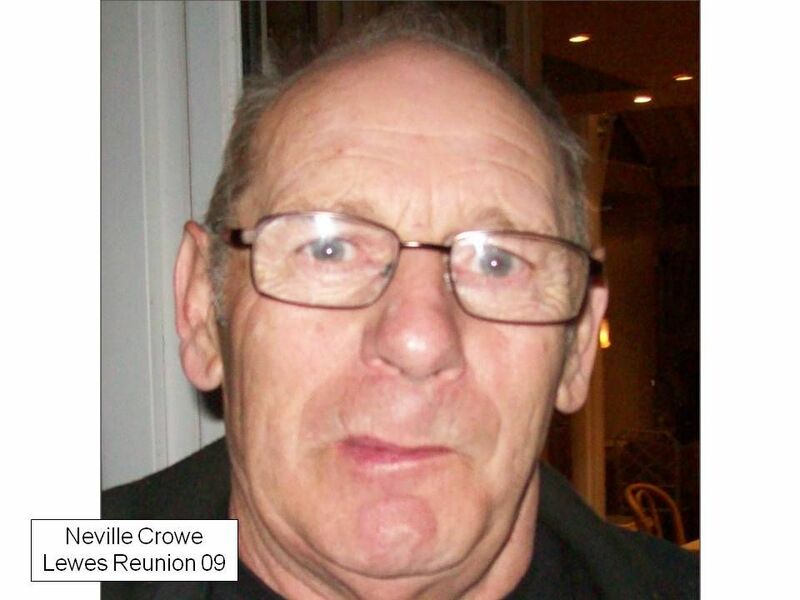 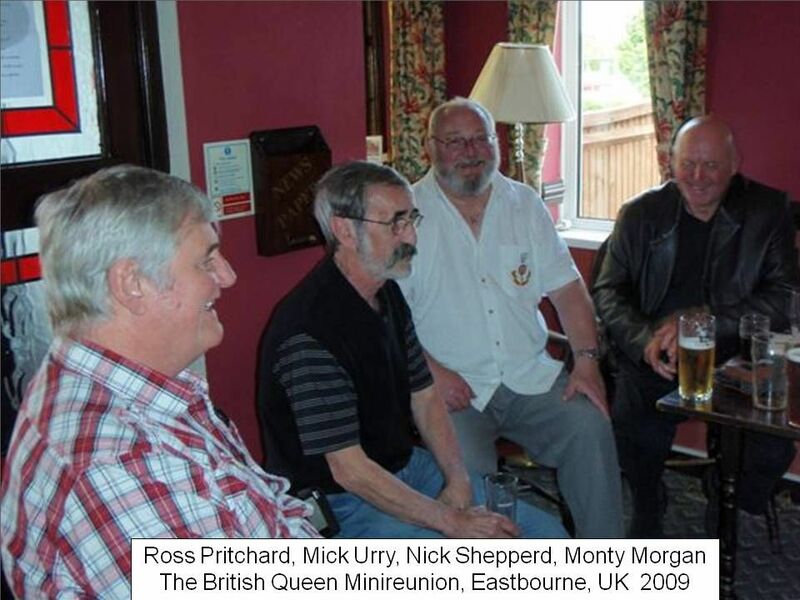 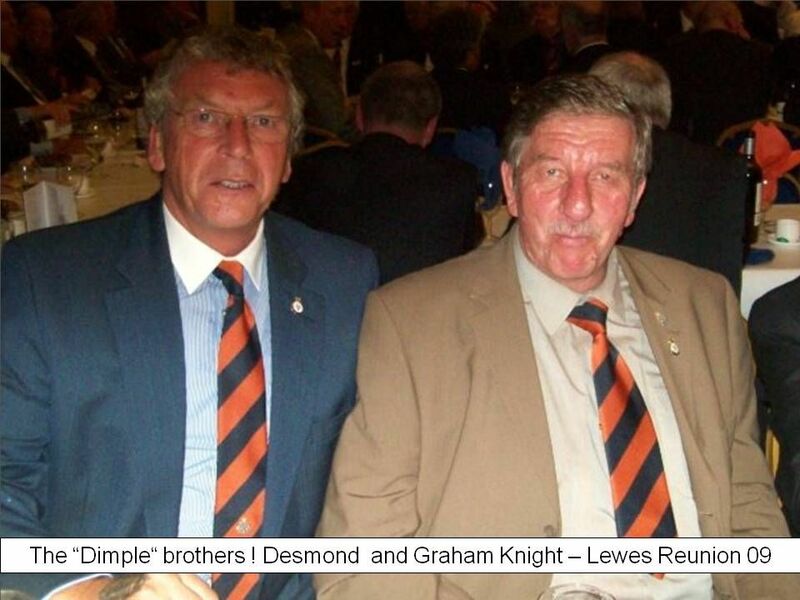 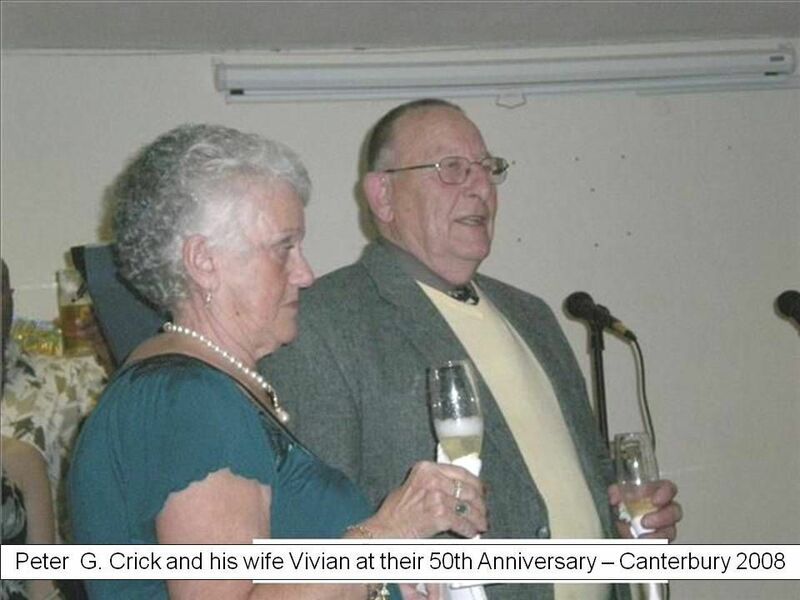 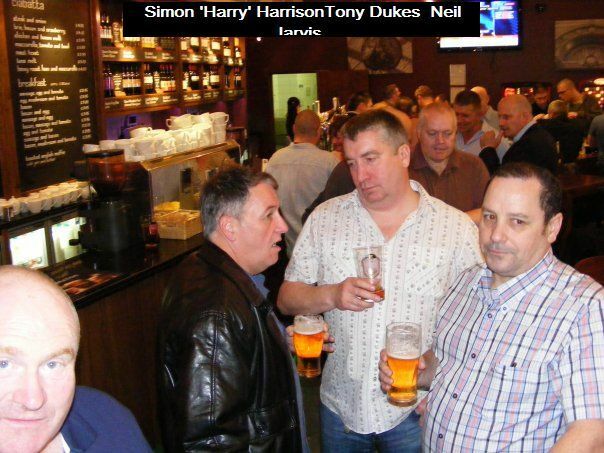 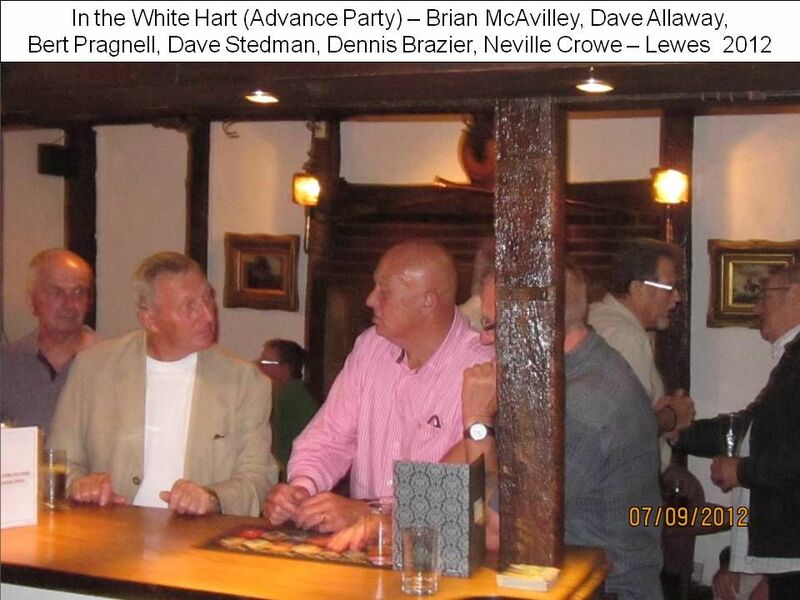 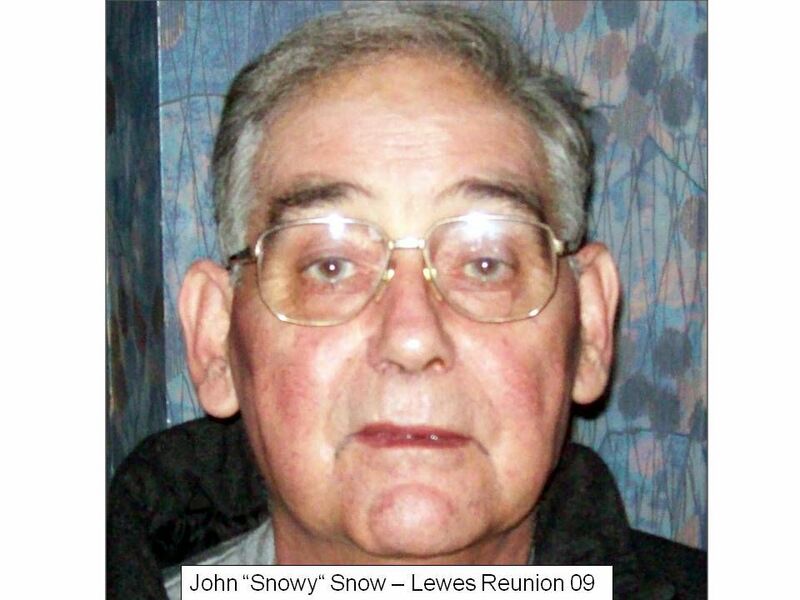 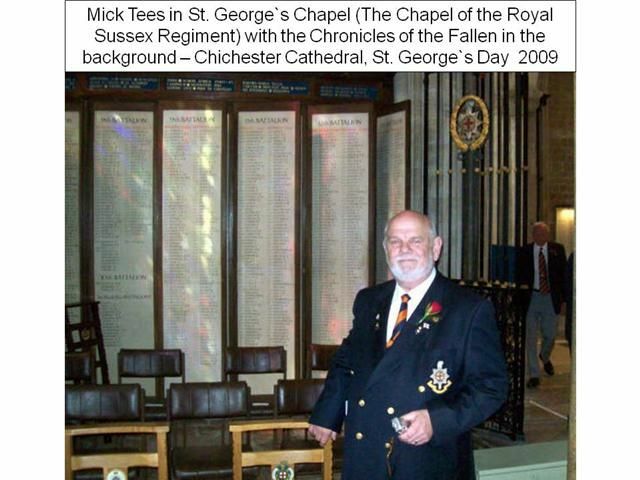 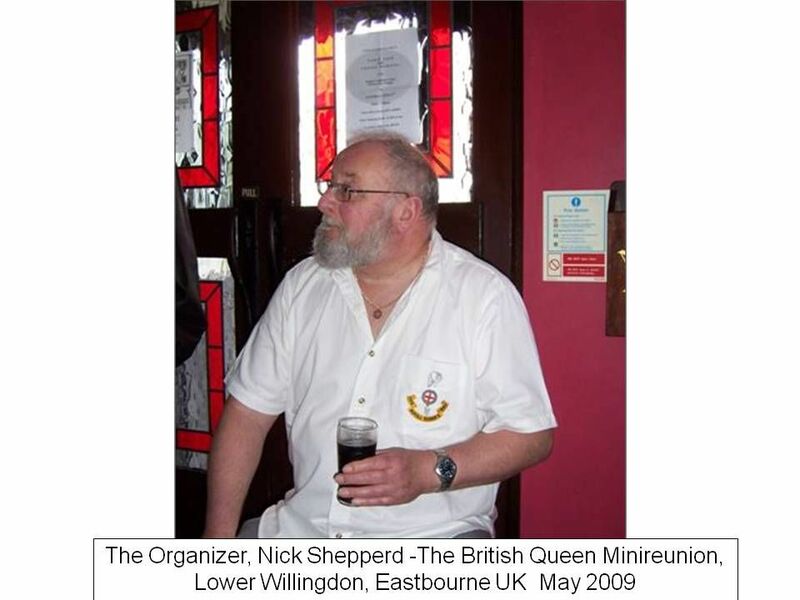 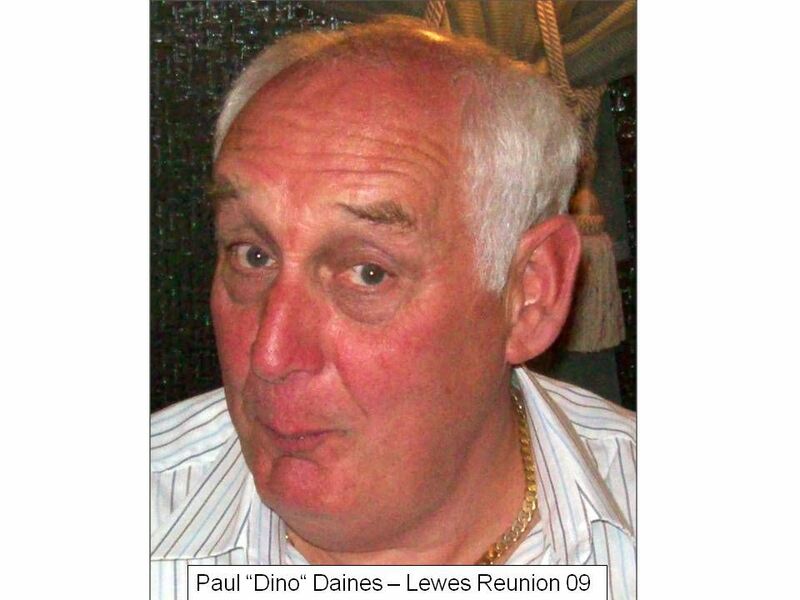 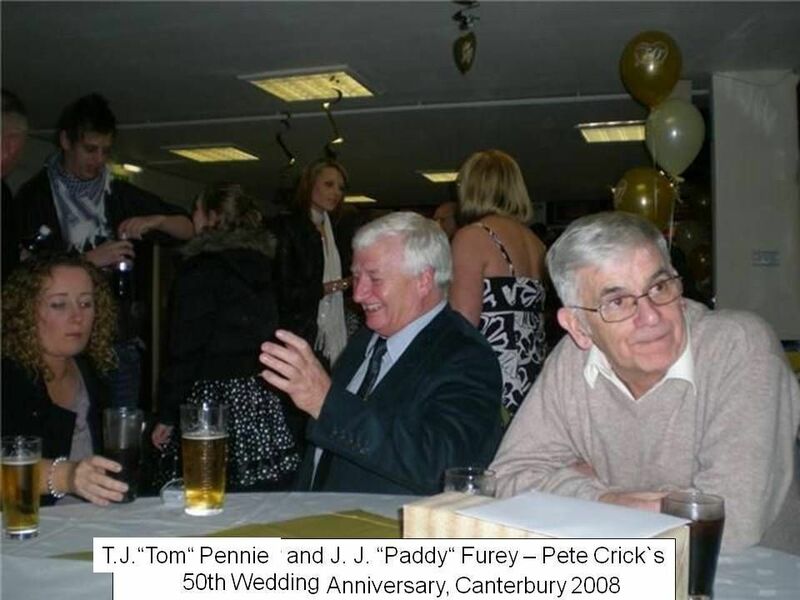 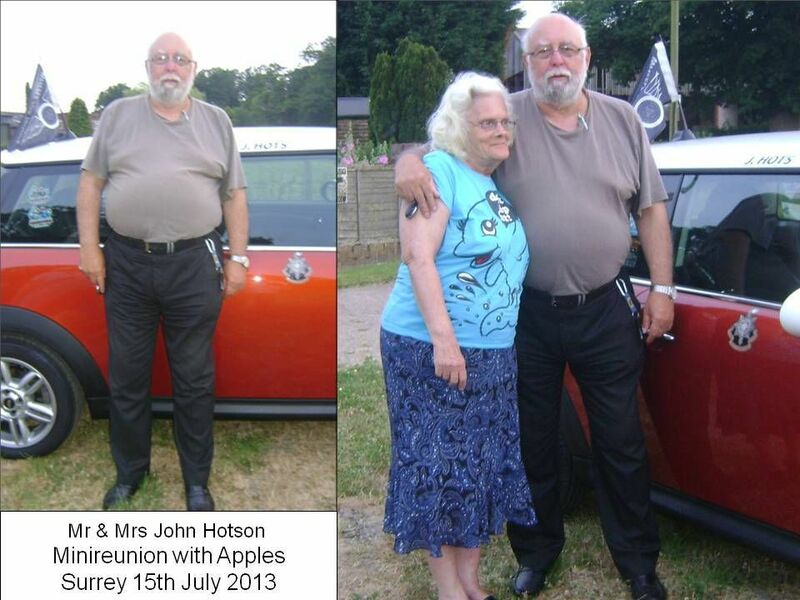 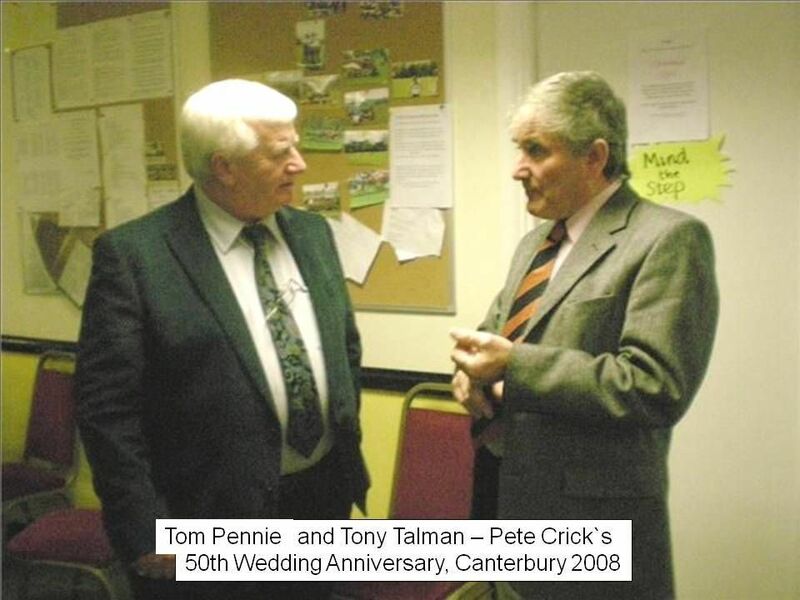 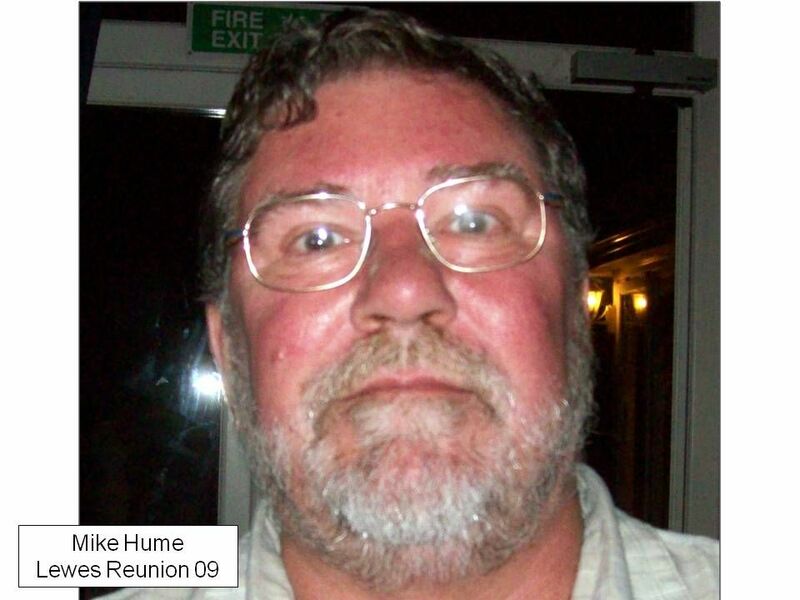 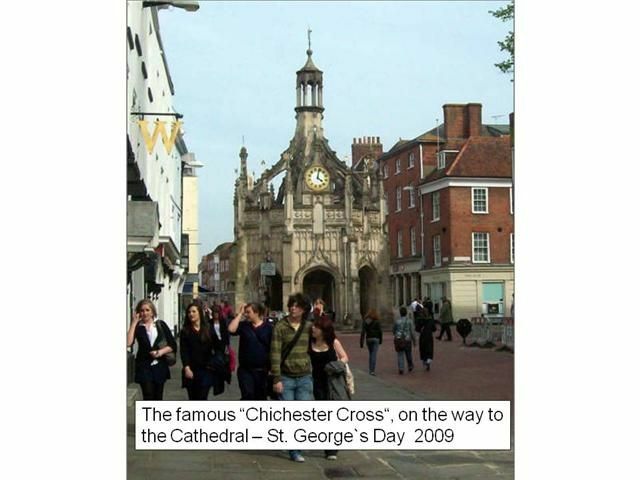 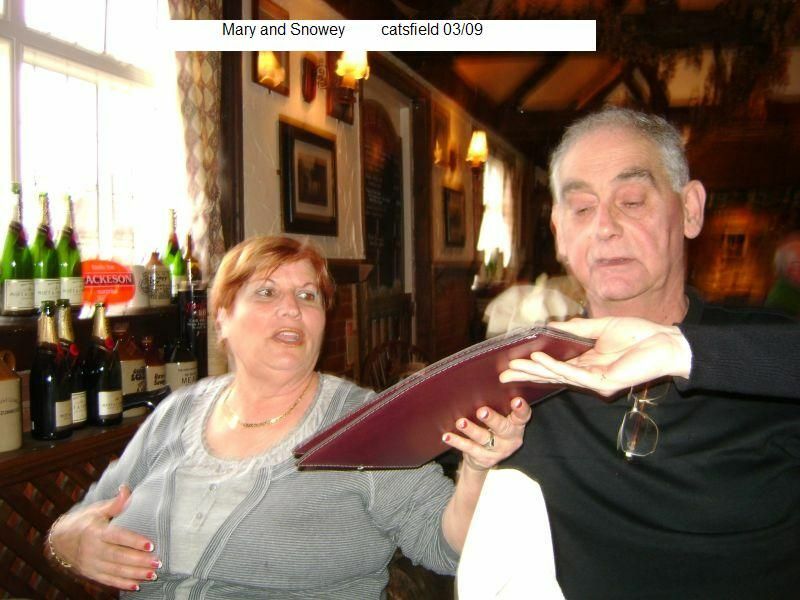 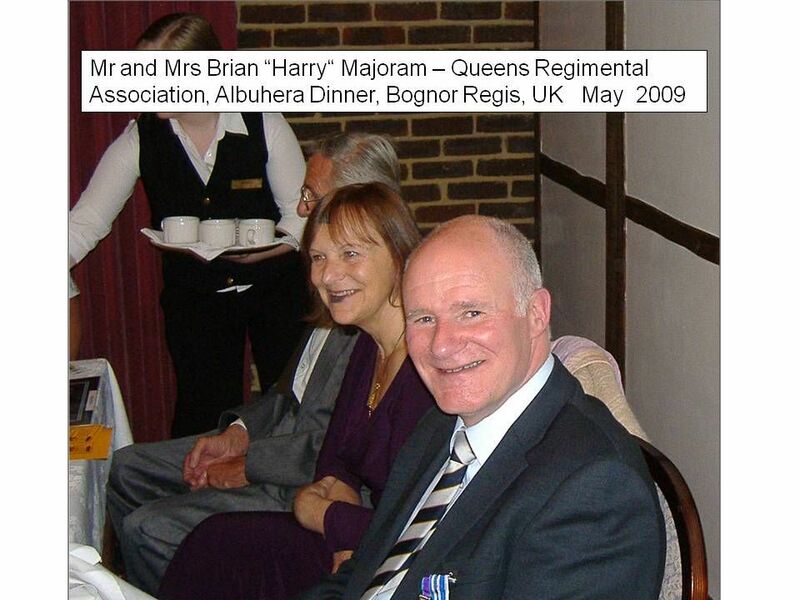 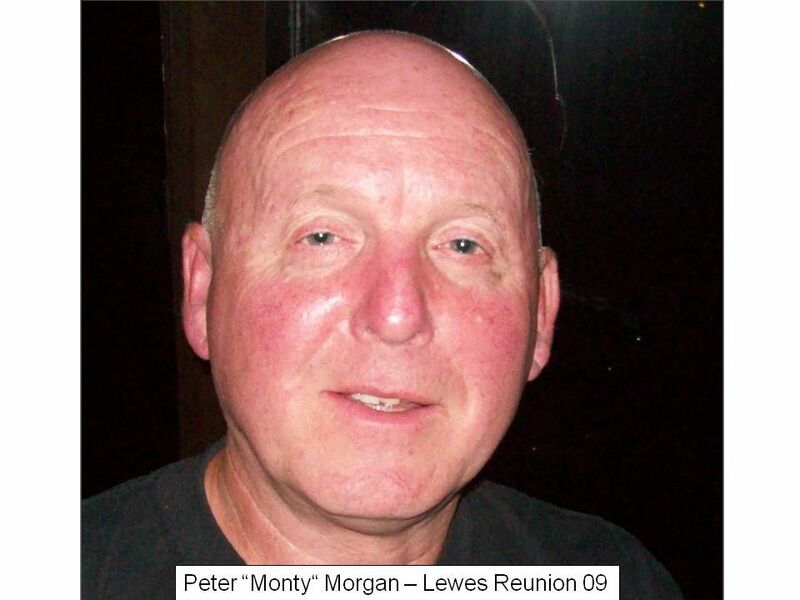 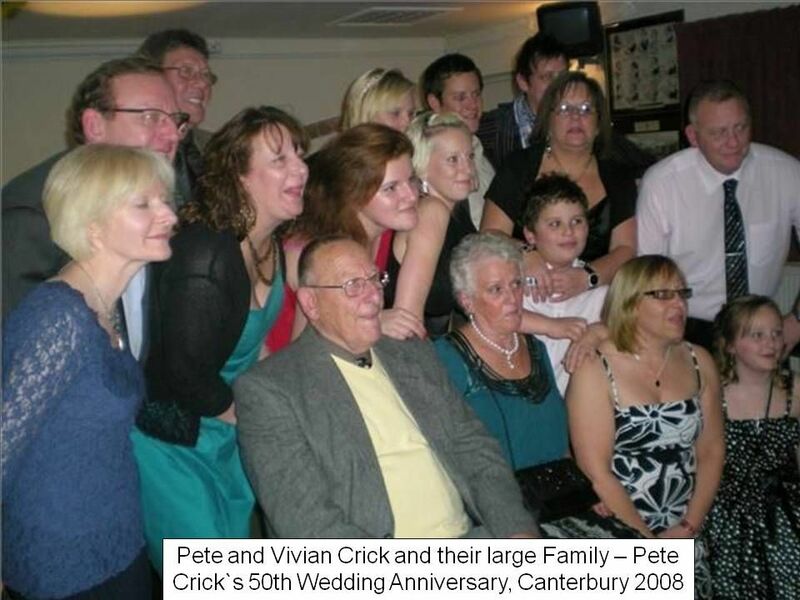 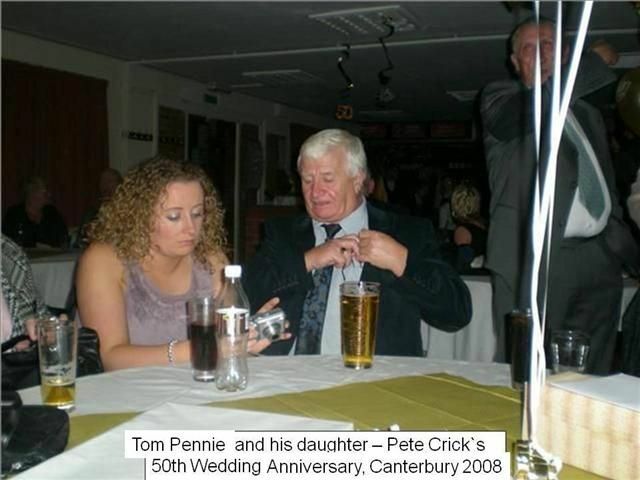 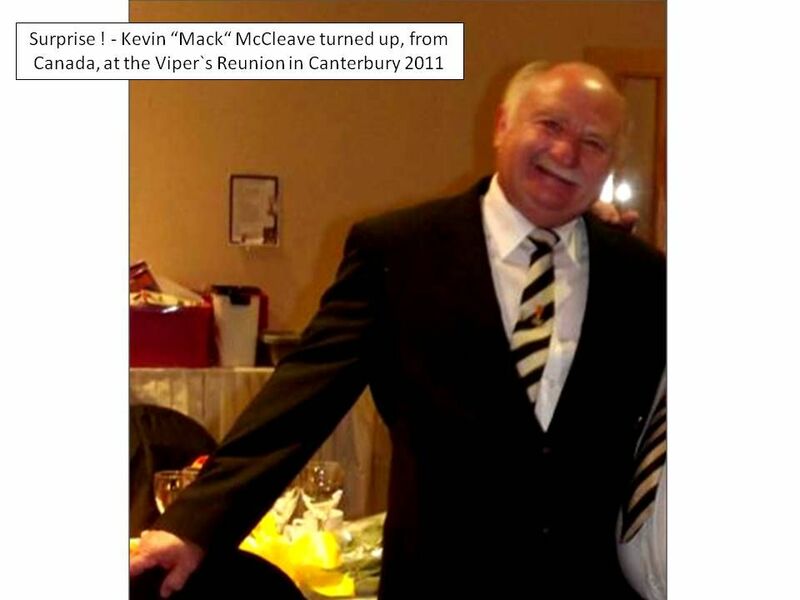 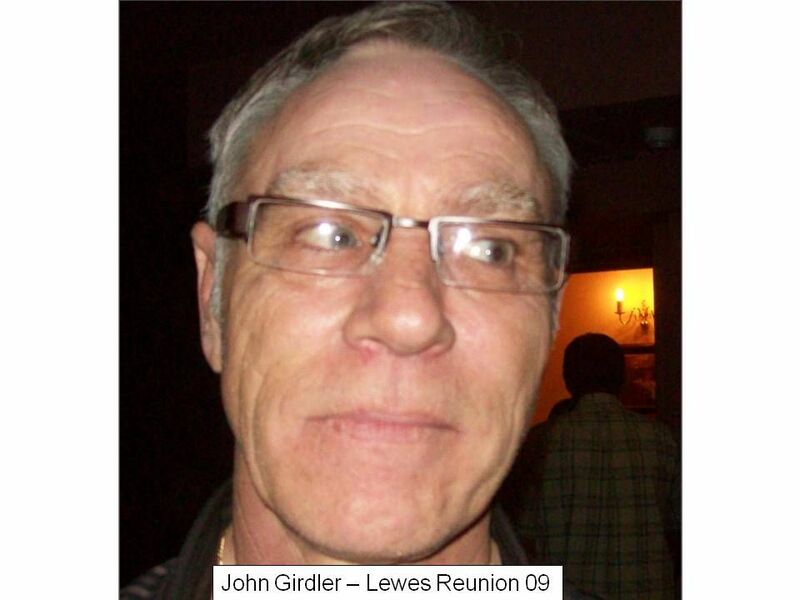 The Memorial is at Herne, near Canterbury, and a coach has been arranged to transport all those attending. 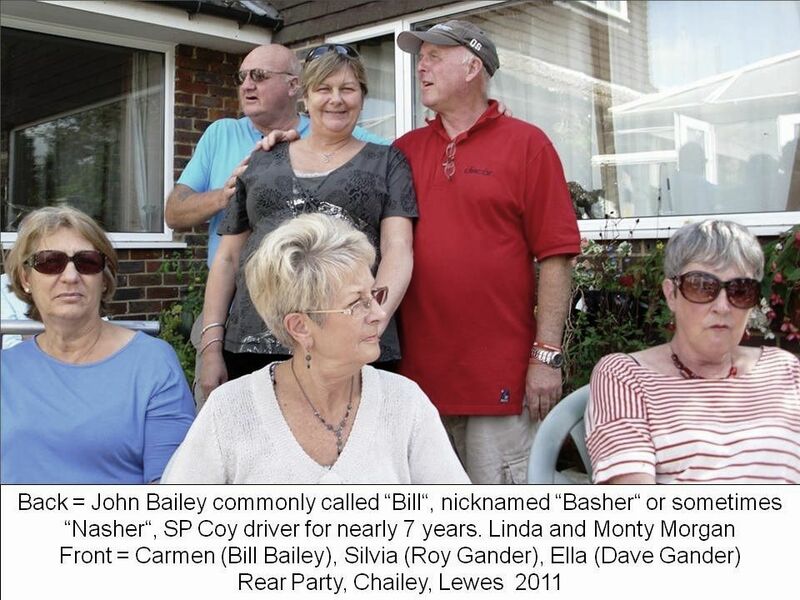 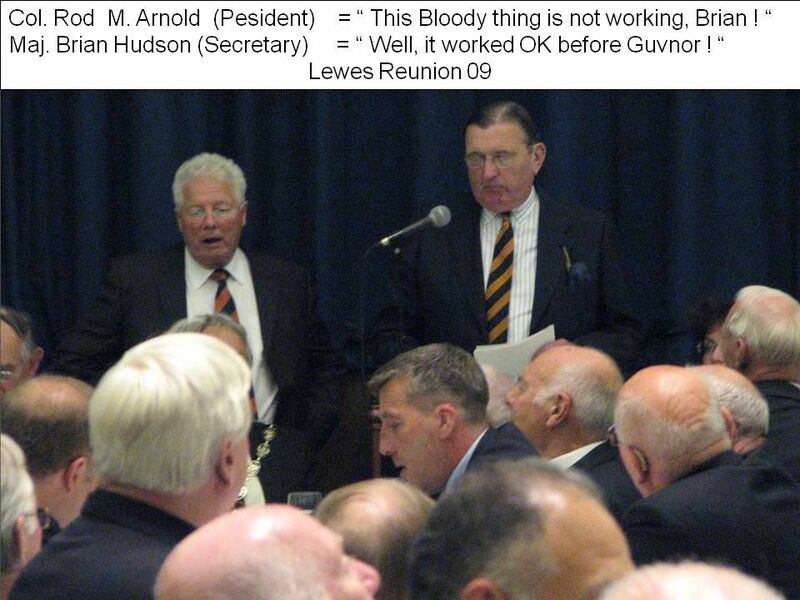 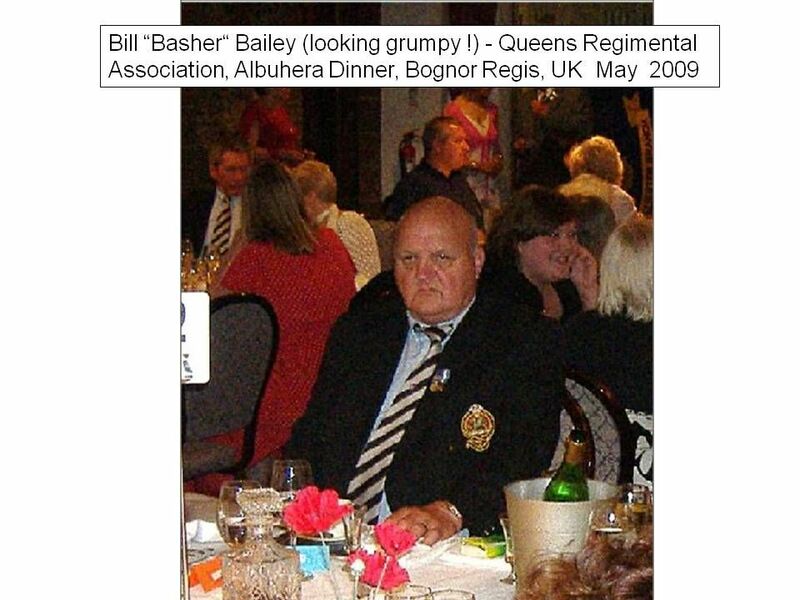 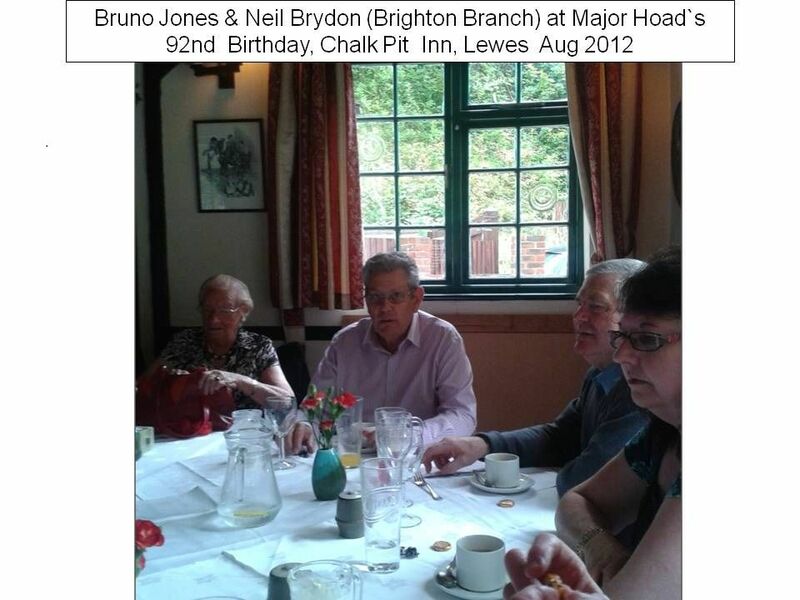 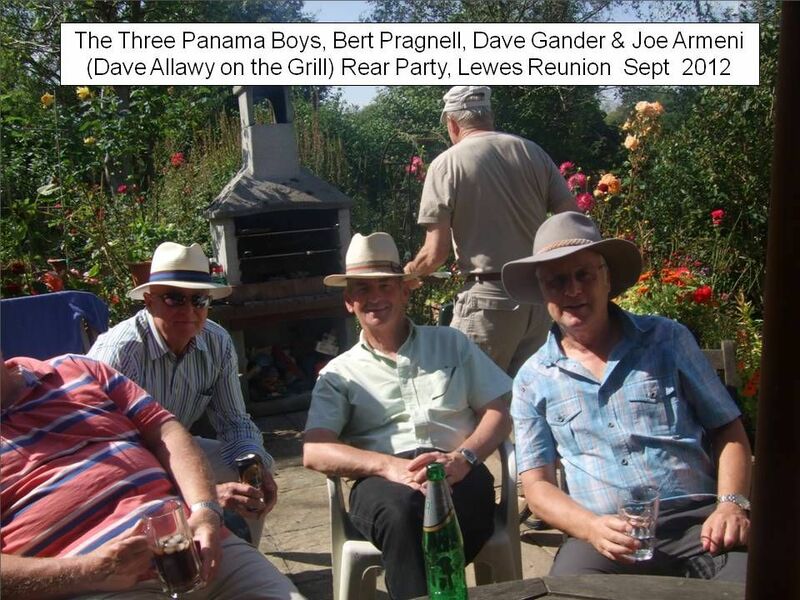 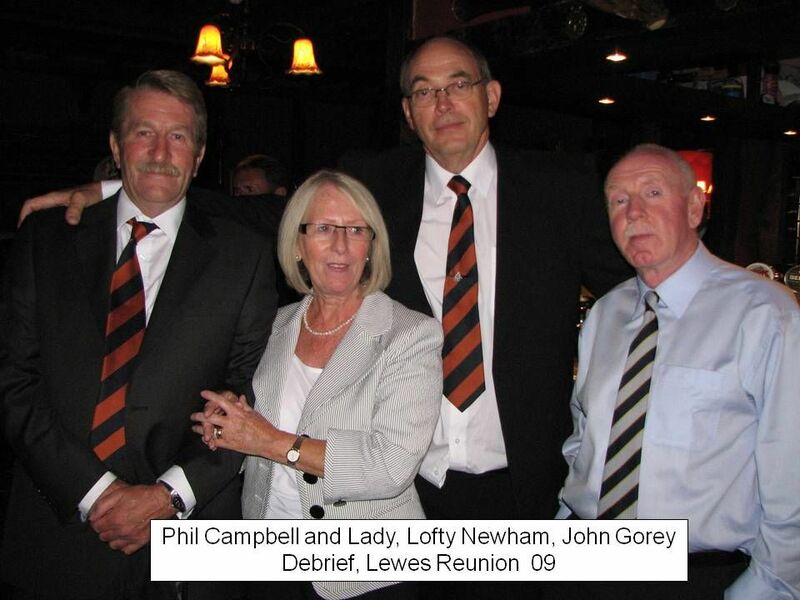 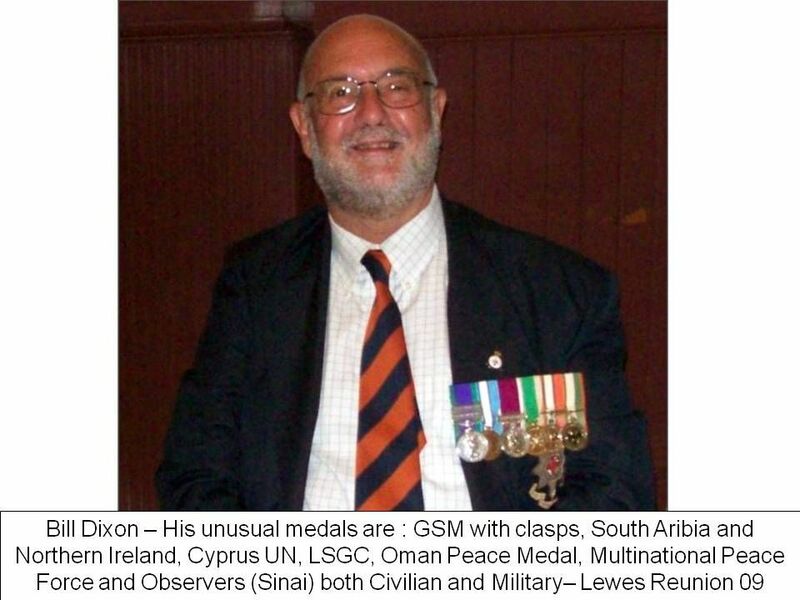 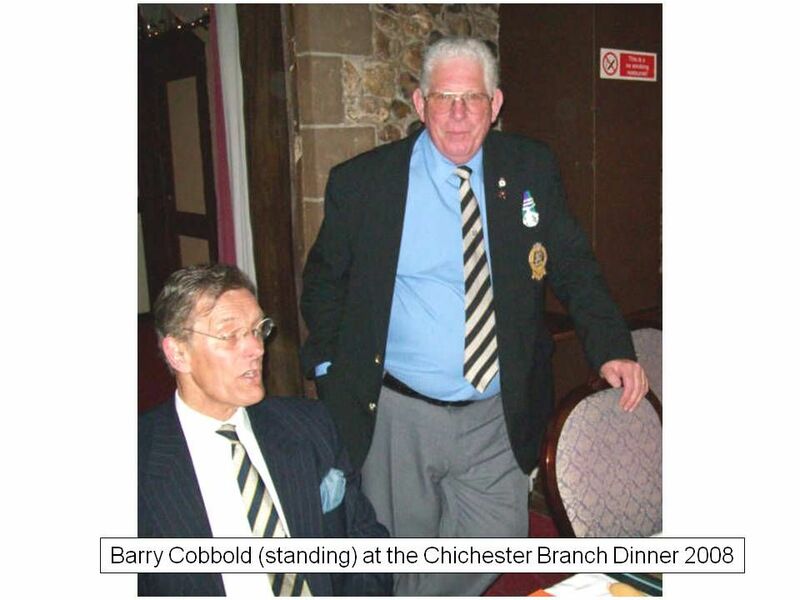 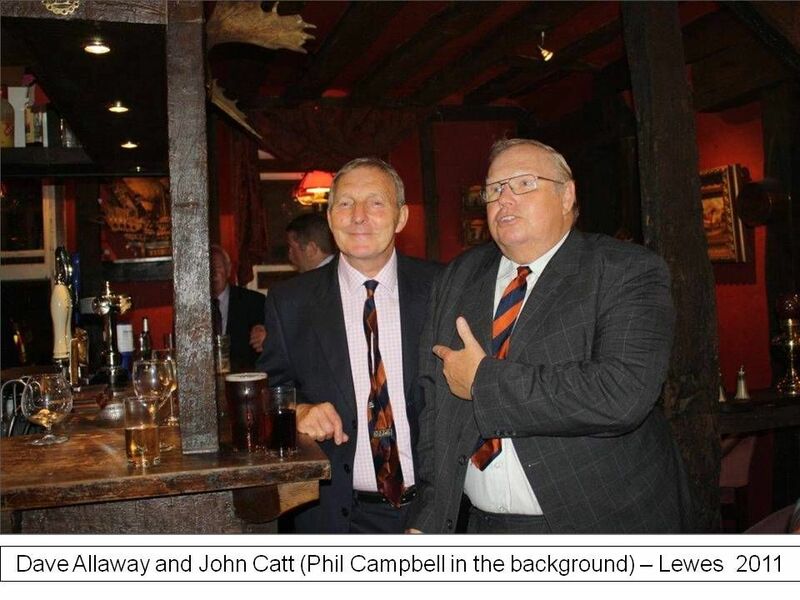 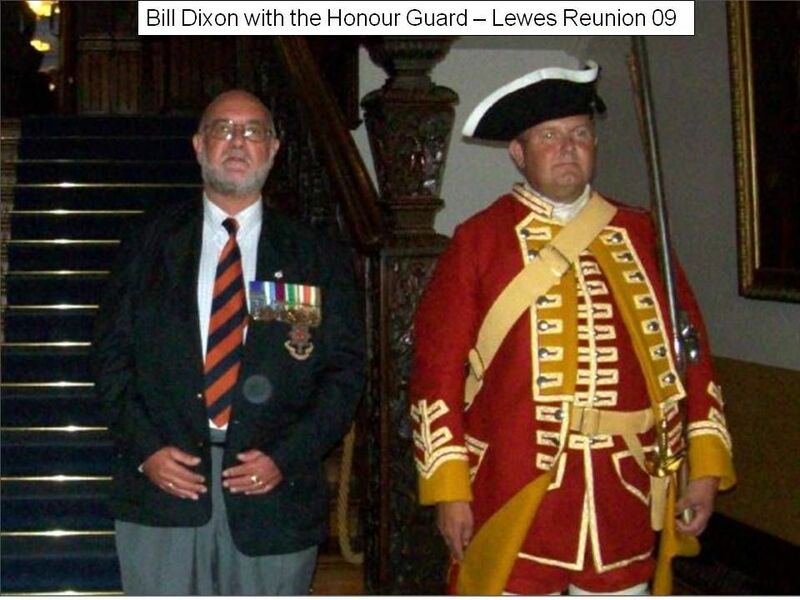 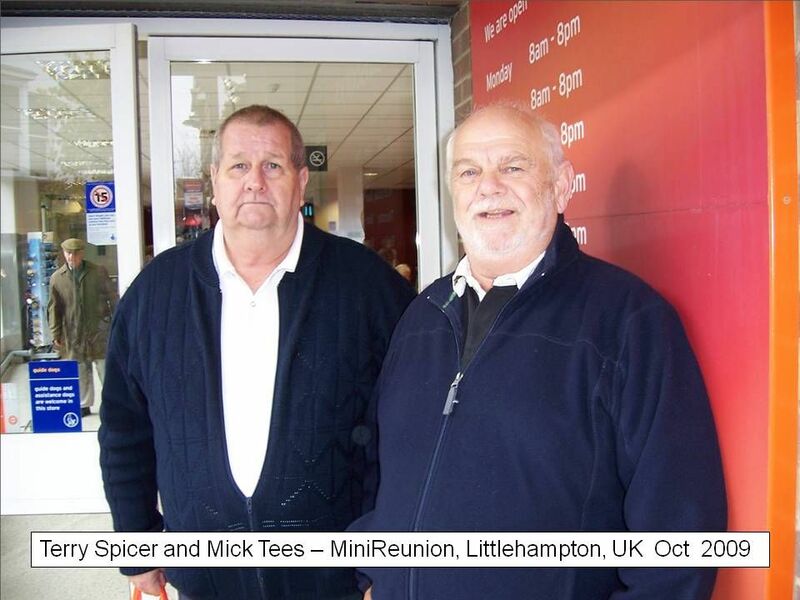 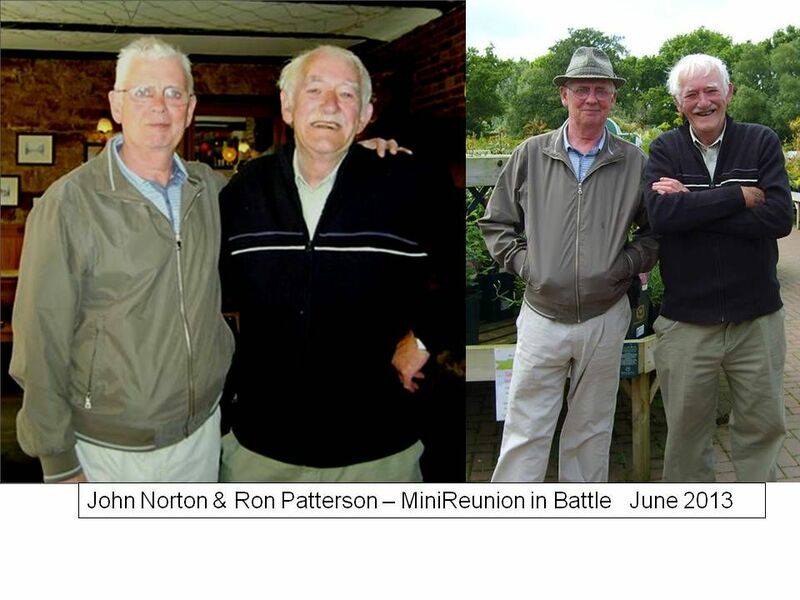 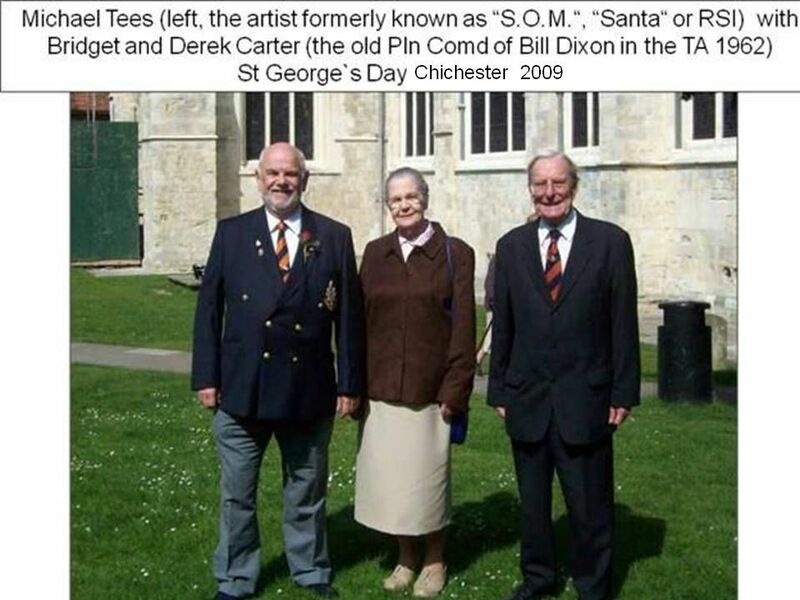 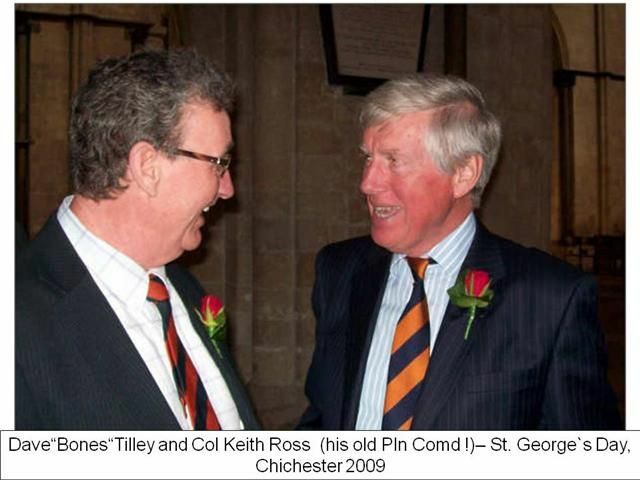 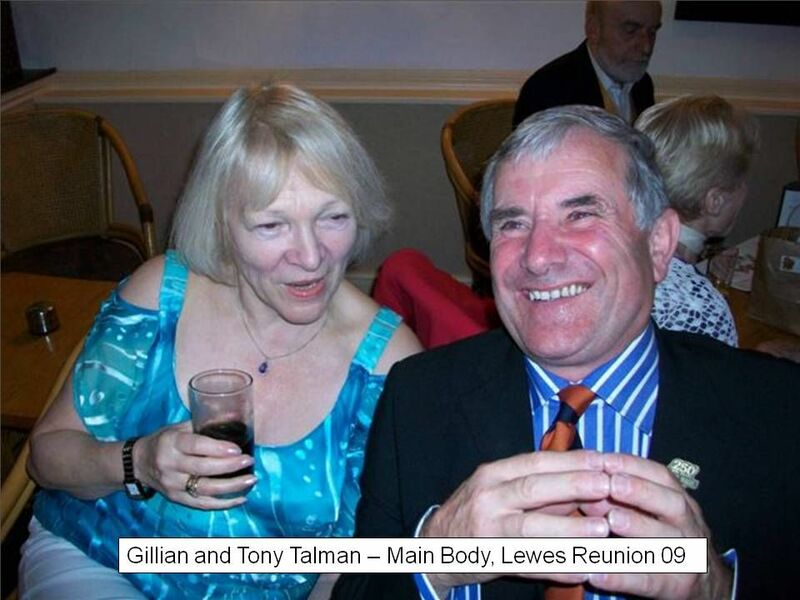 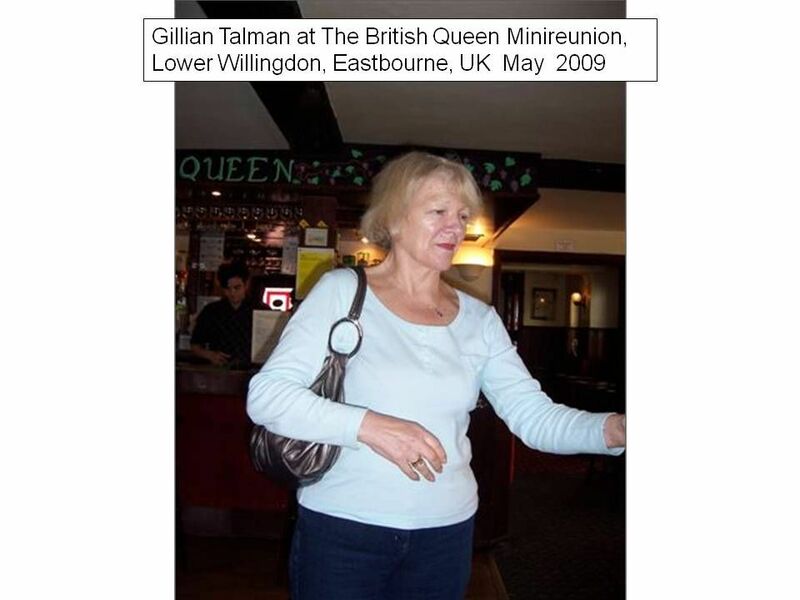 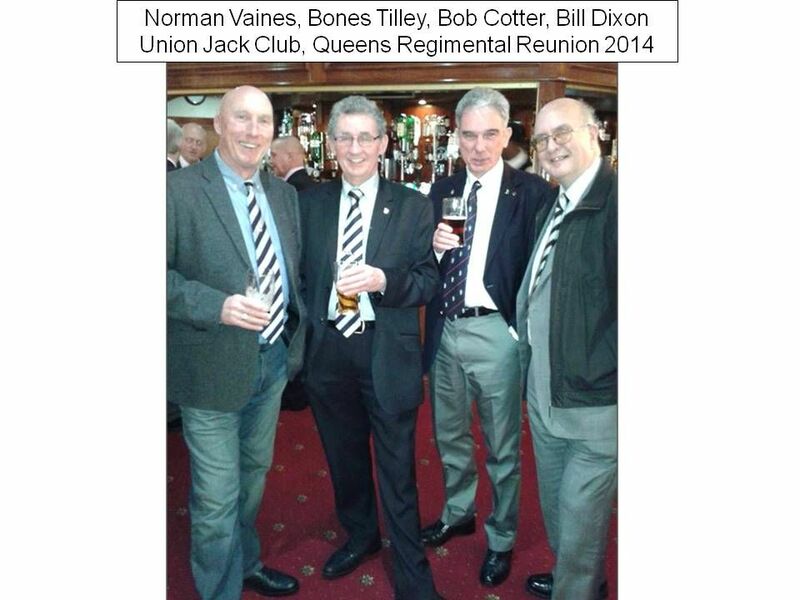 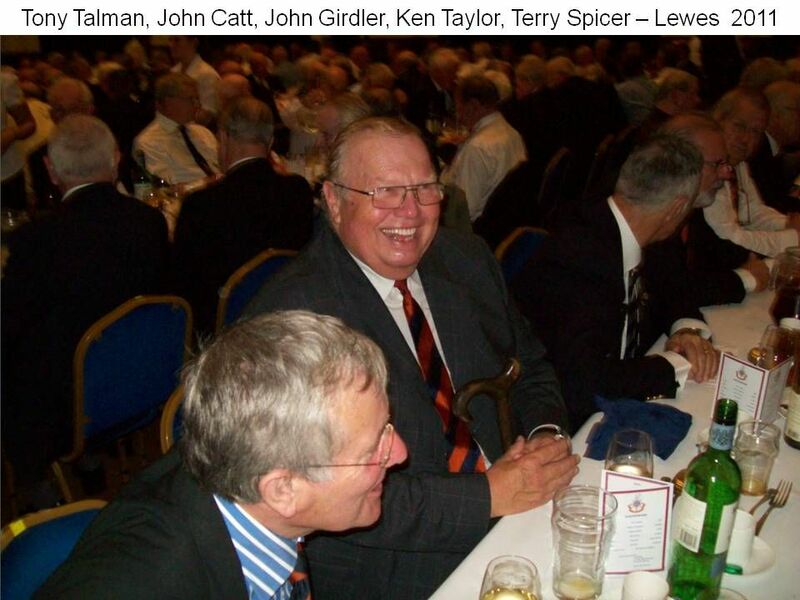 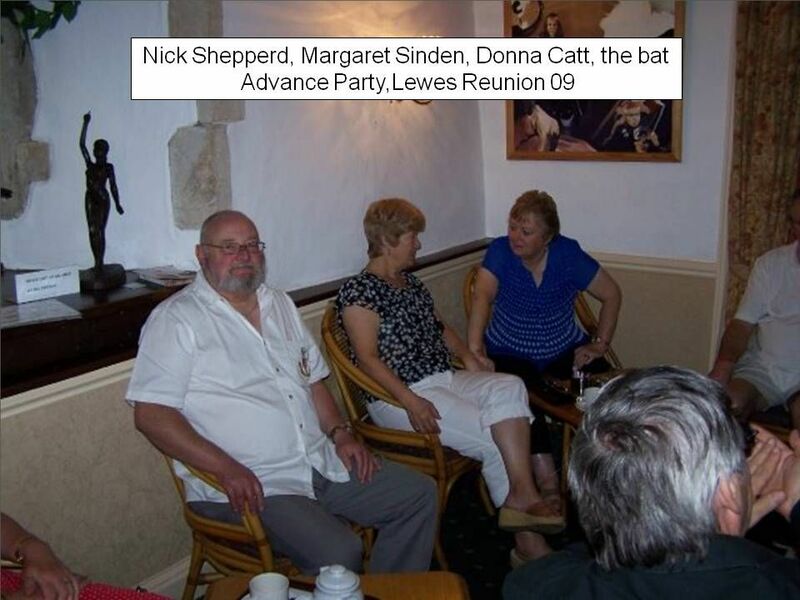 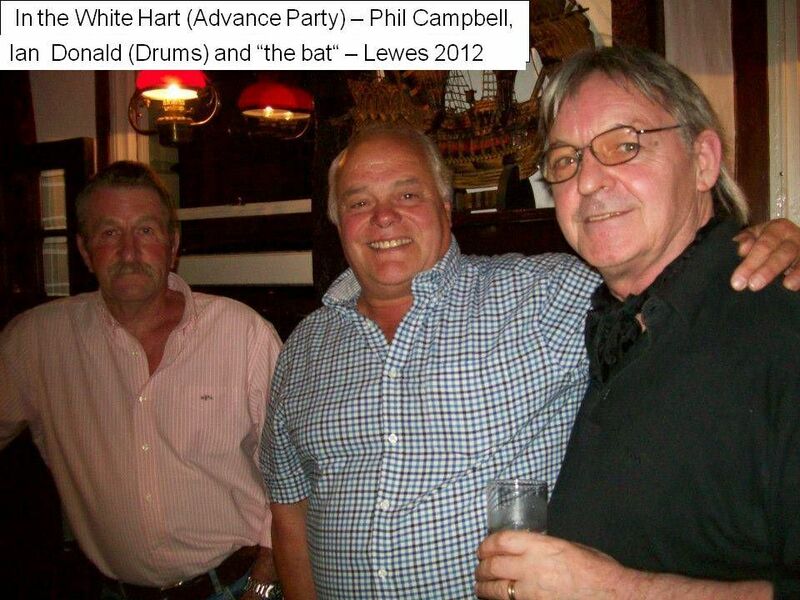 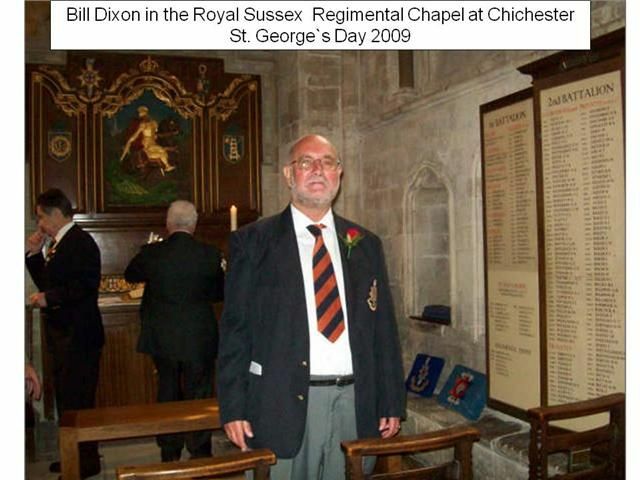 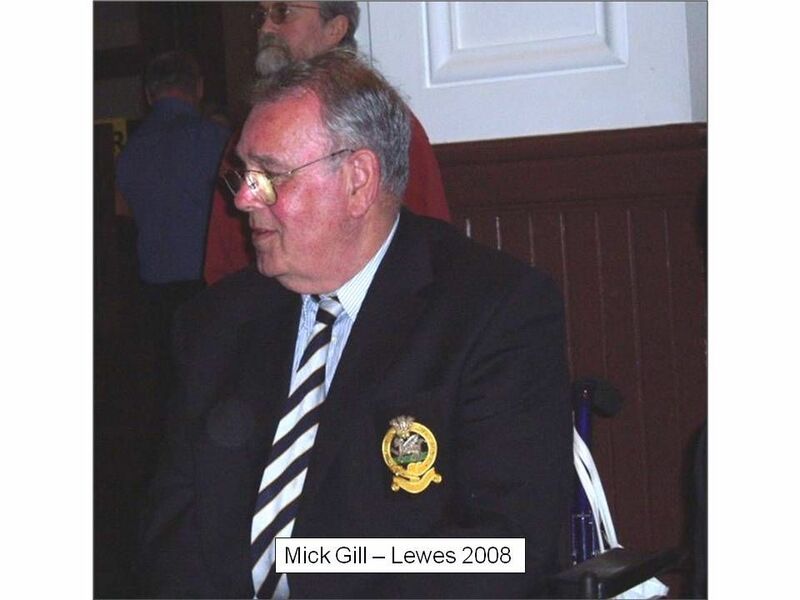 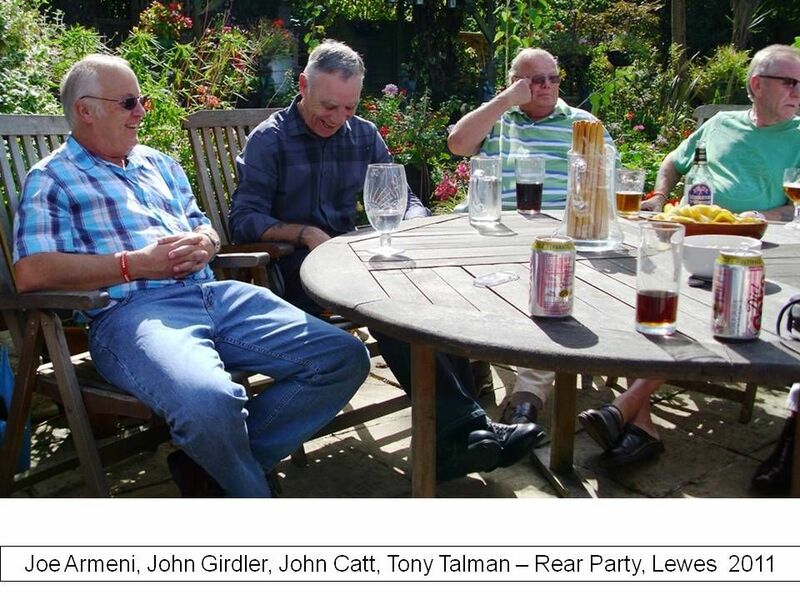 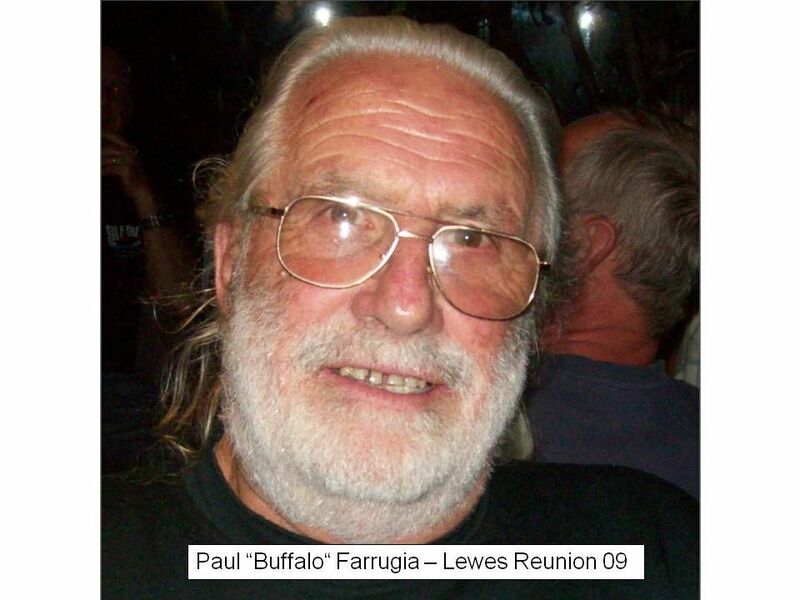 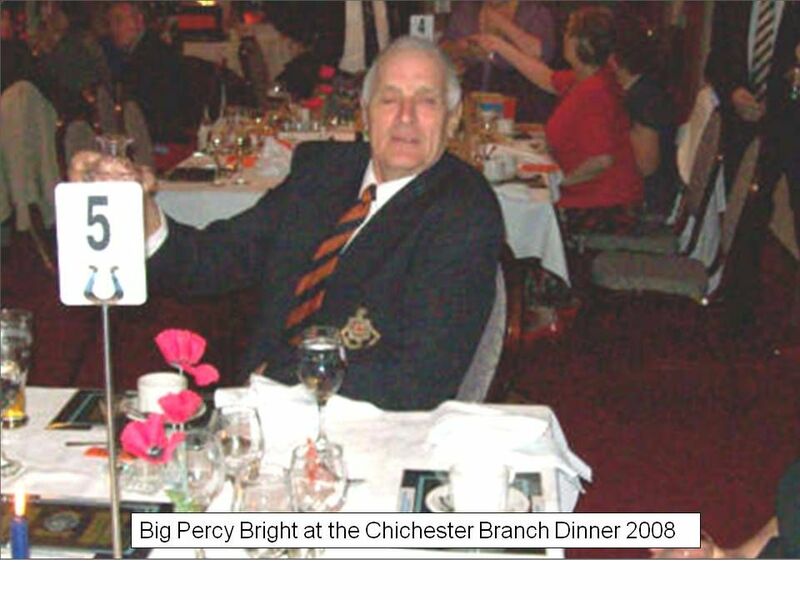 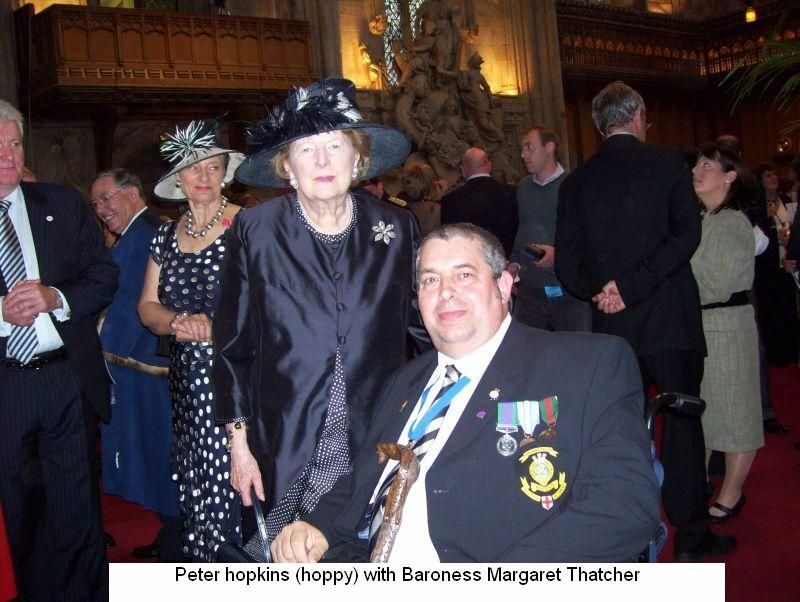 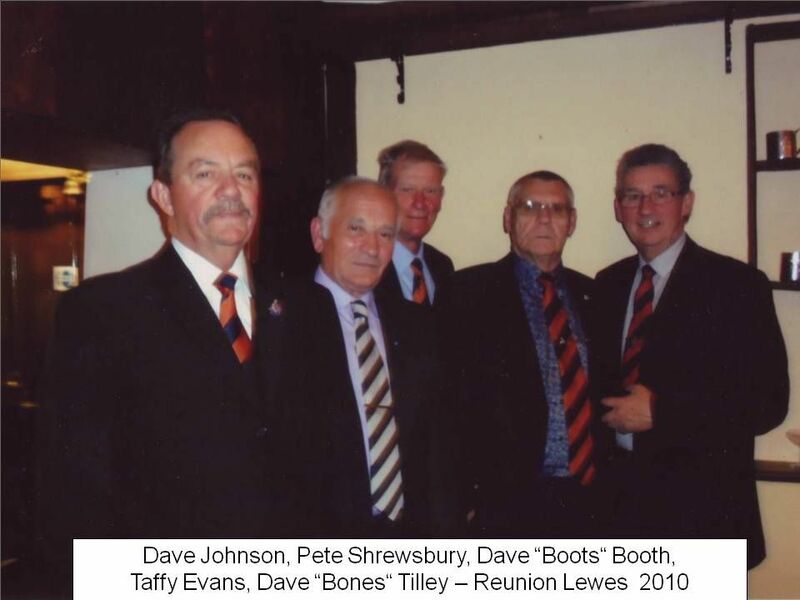 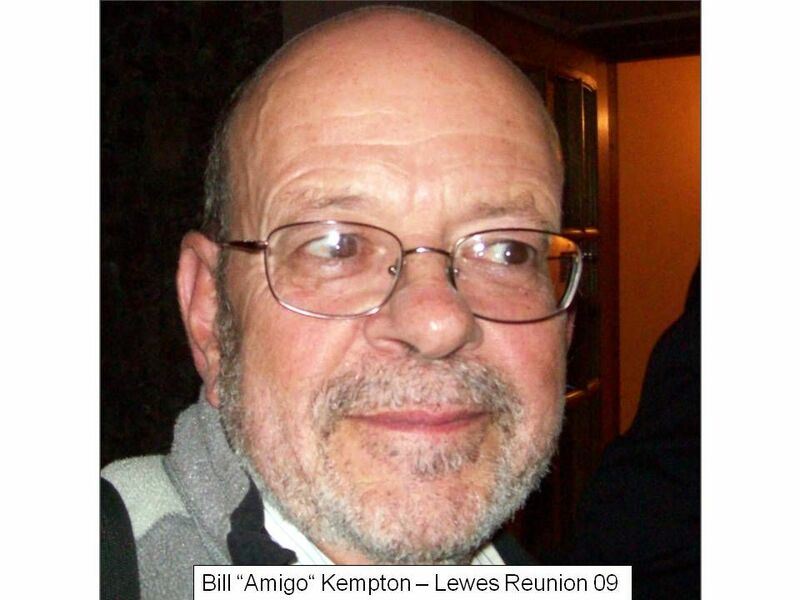 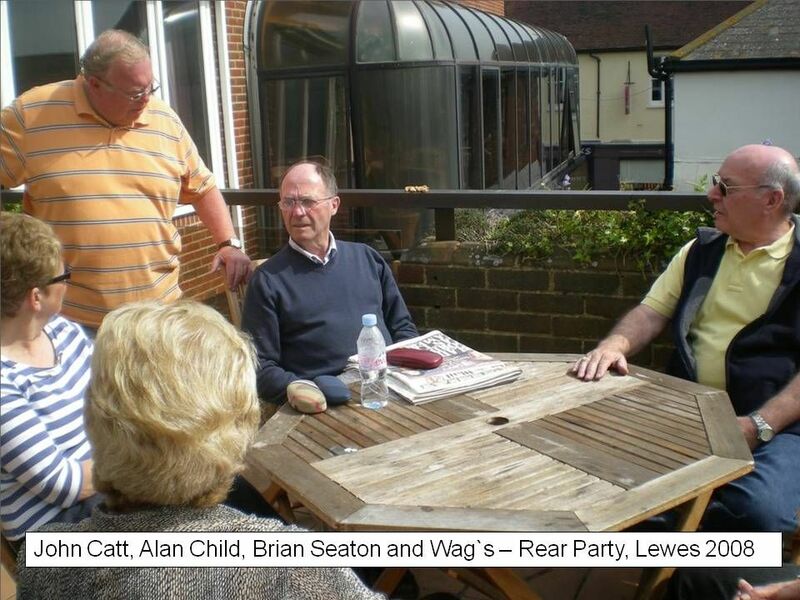 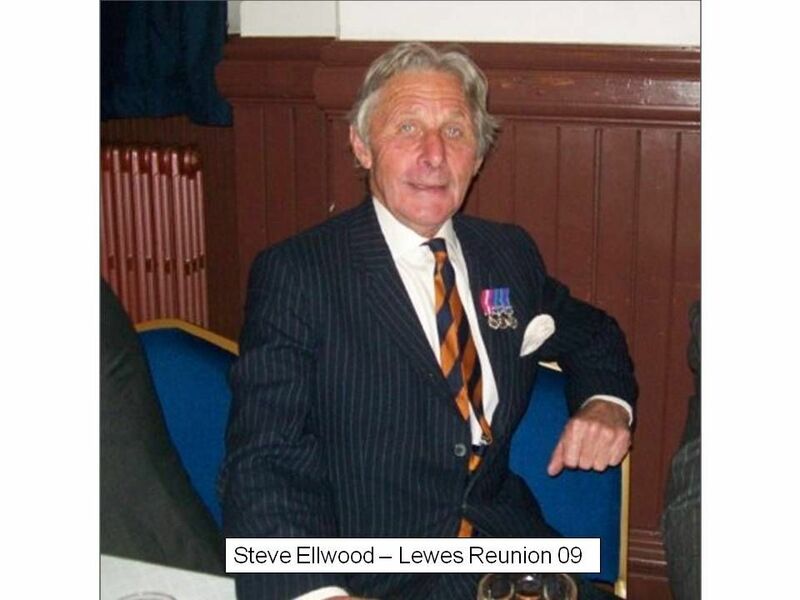 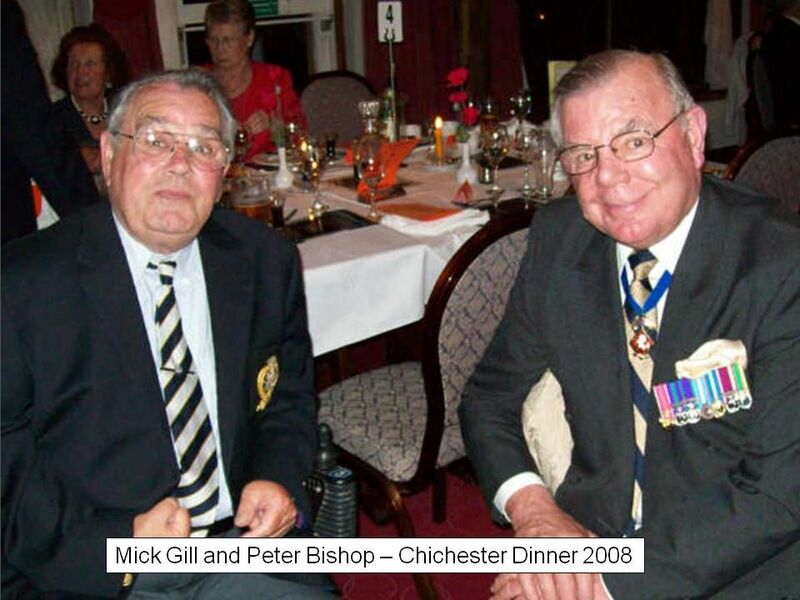 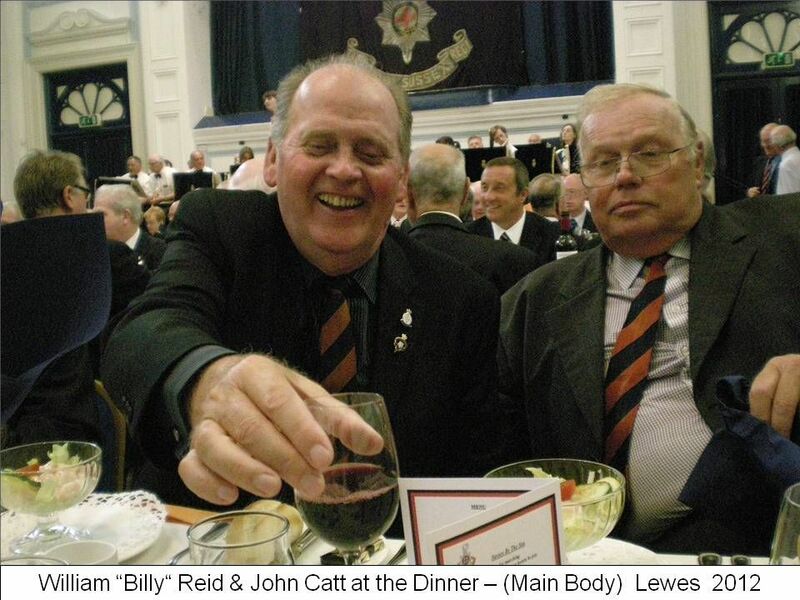 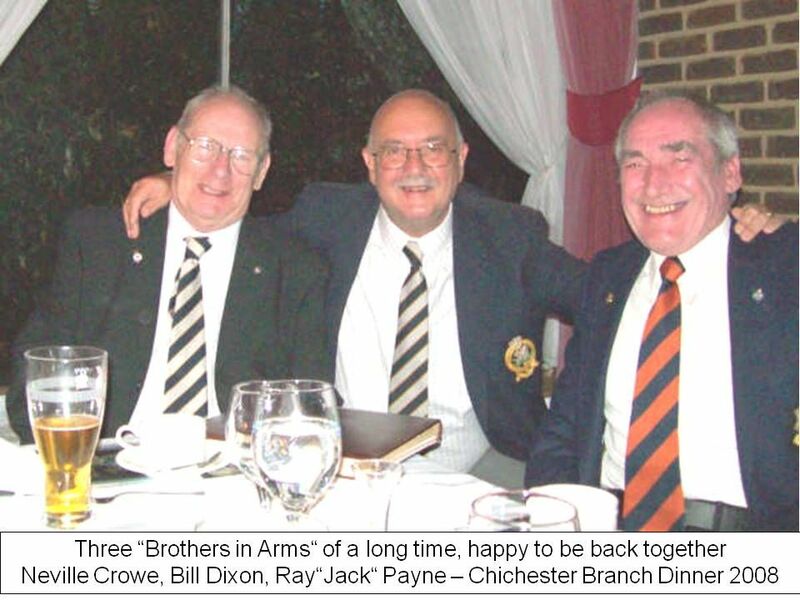 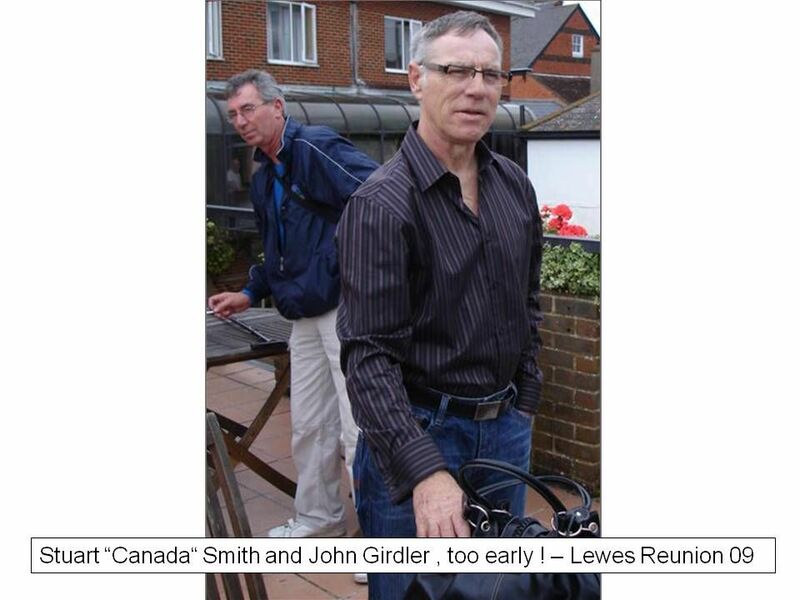 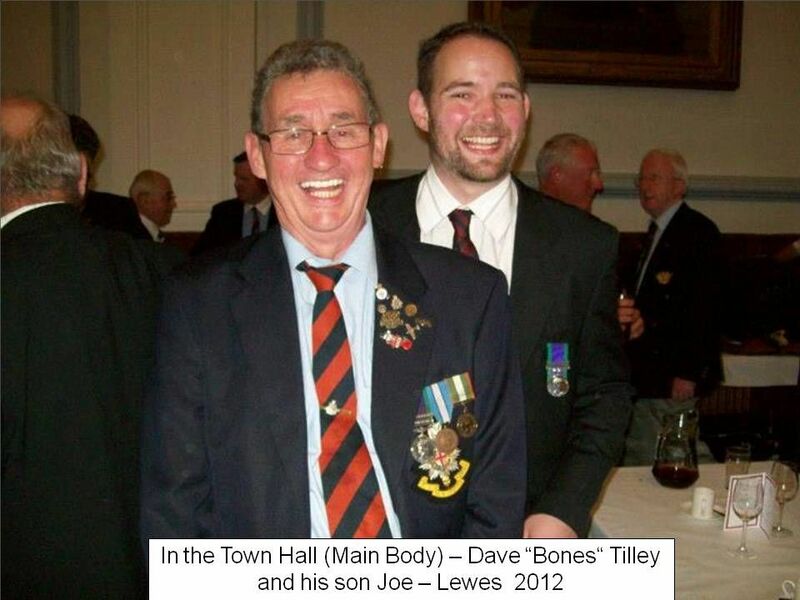 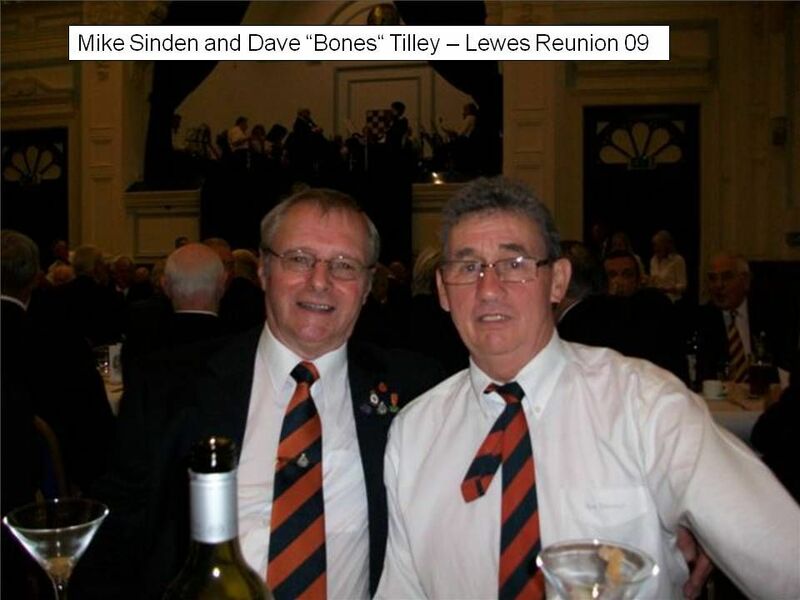 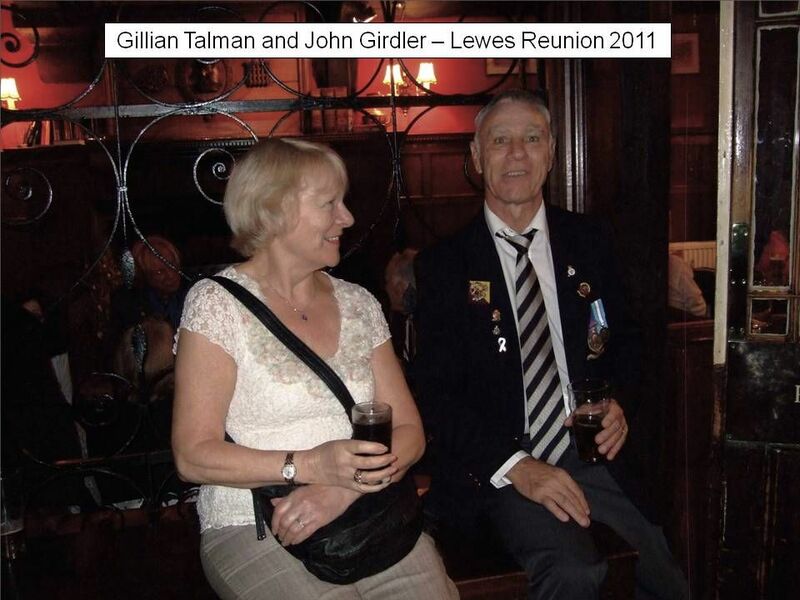 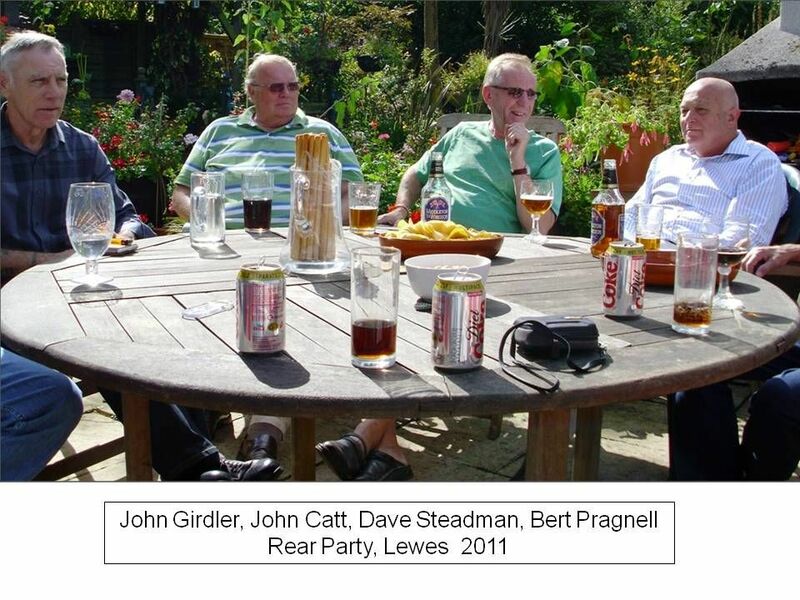 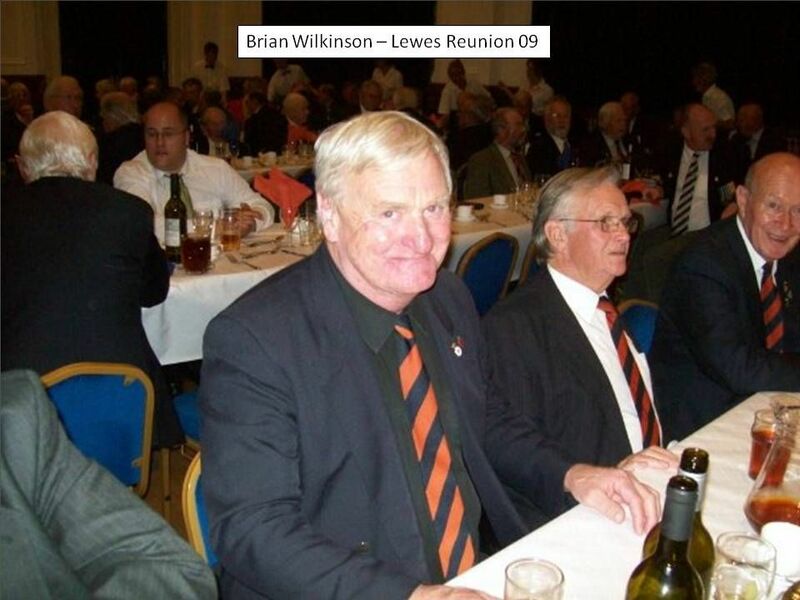 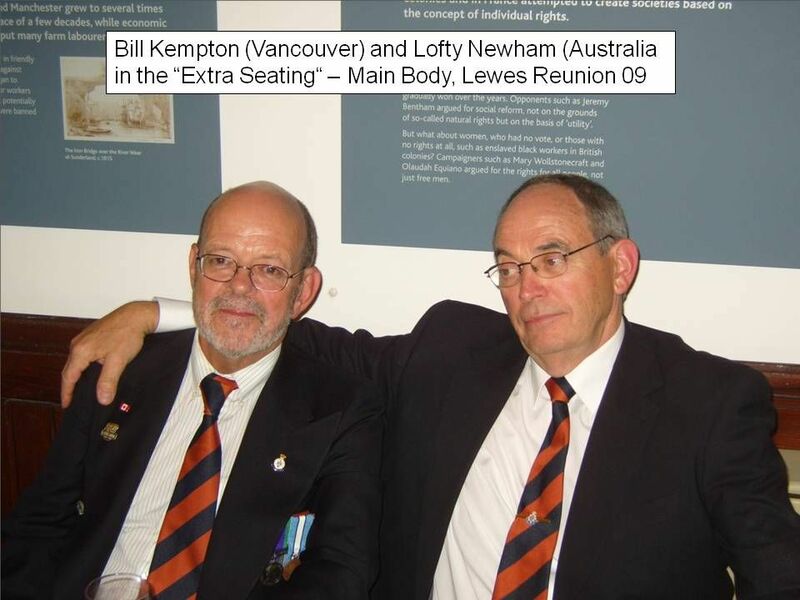 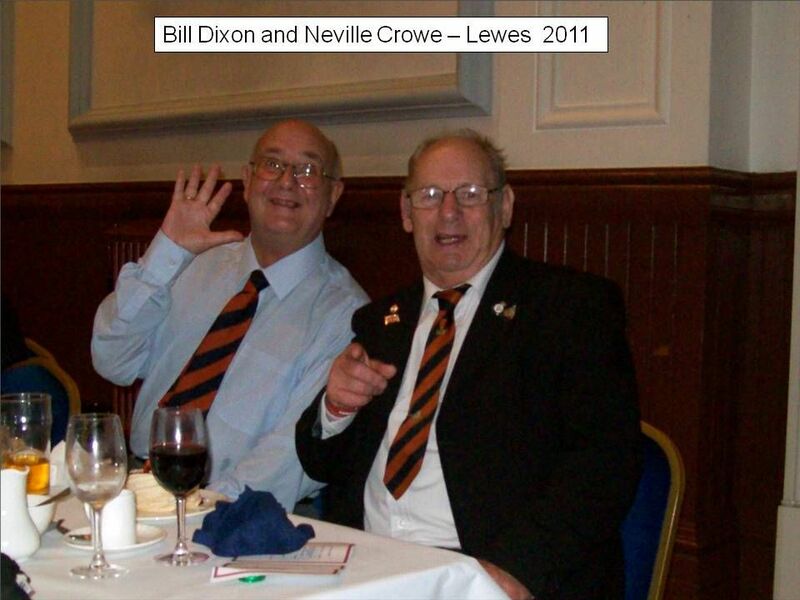 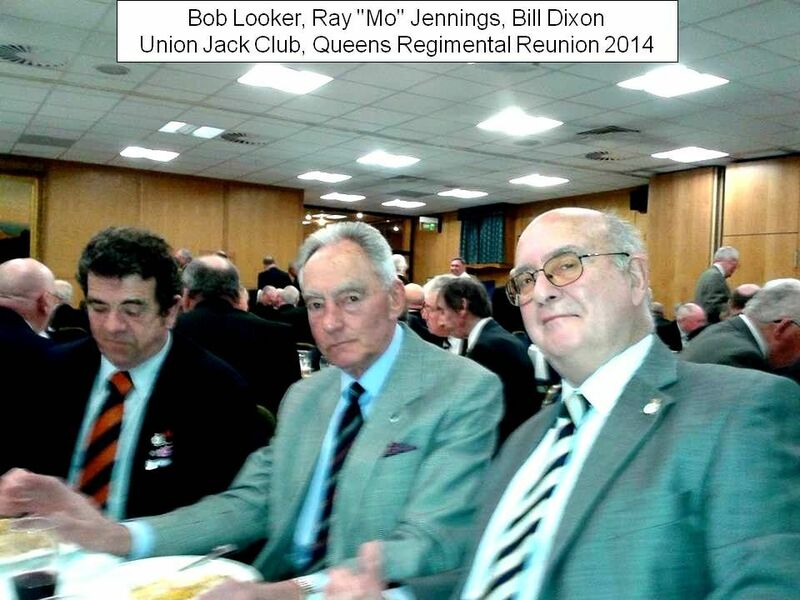 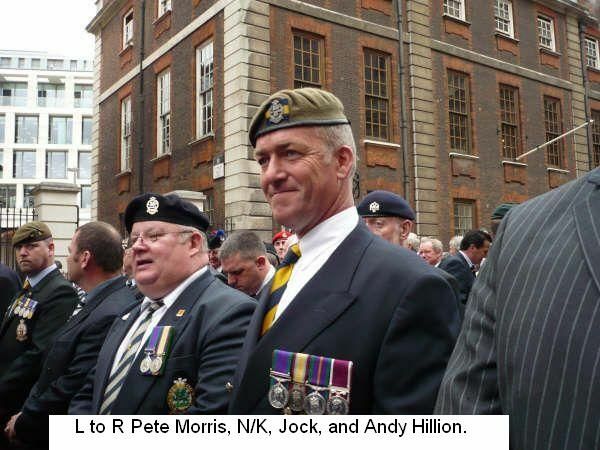 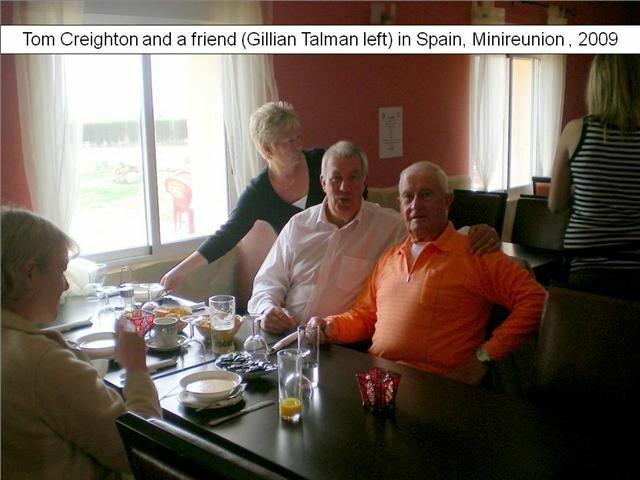 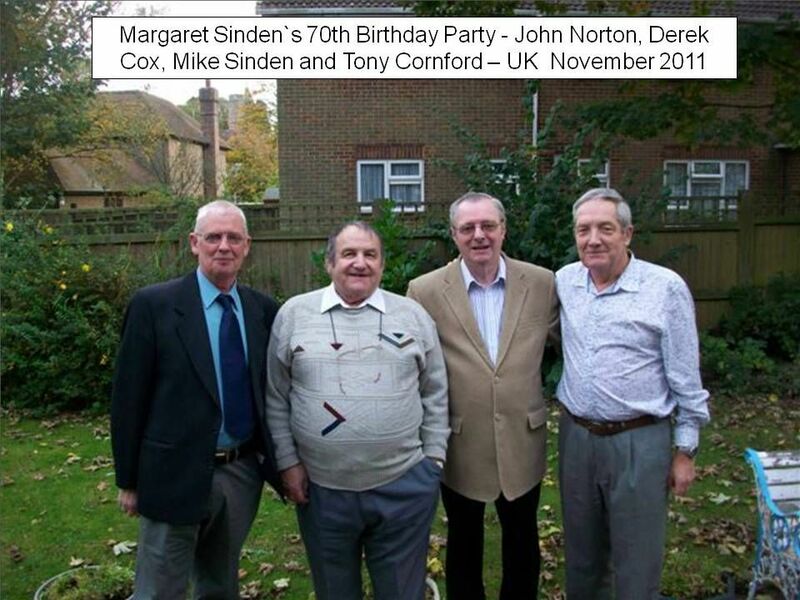 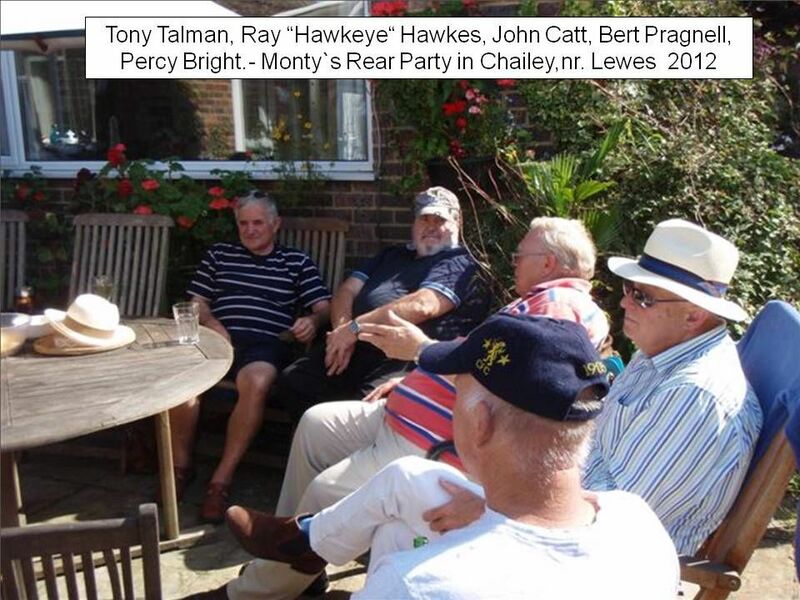 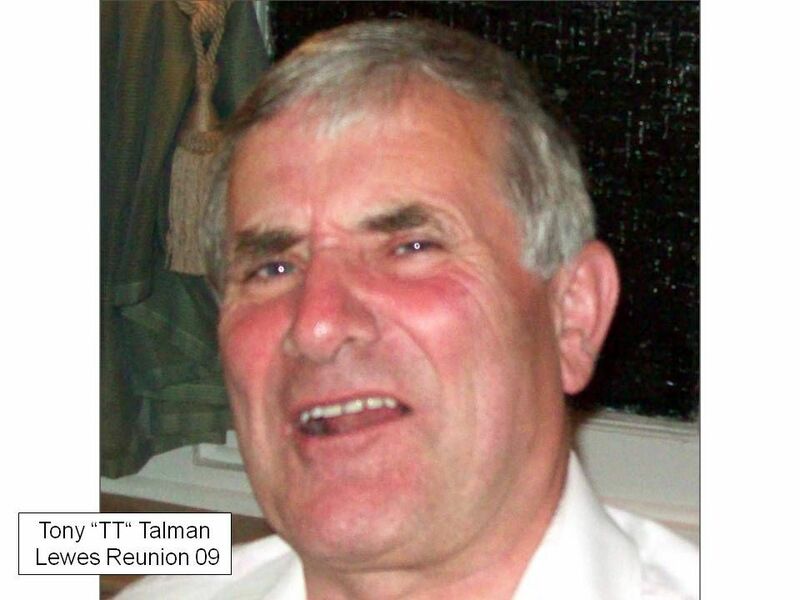 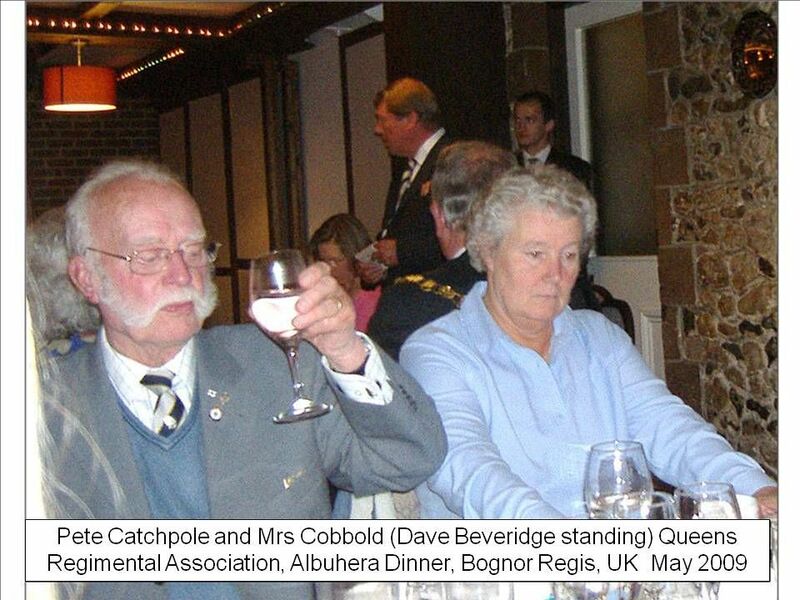 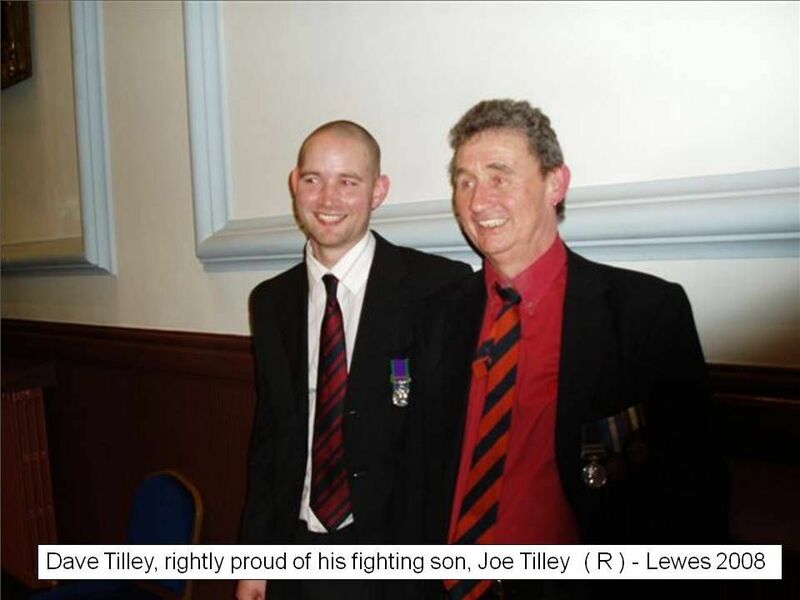 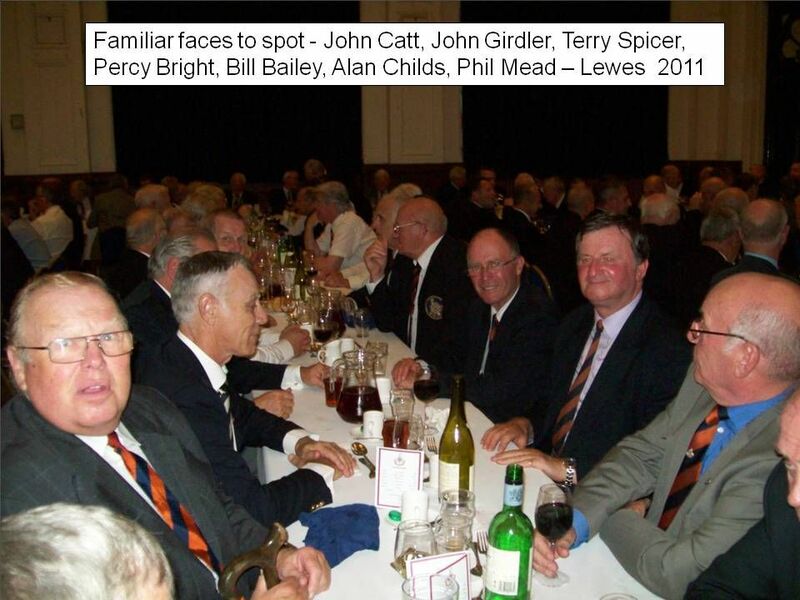 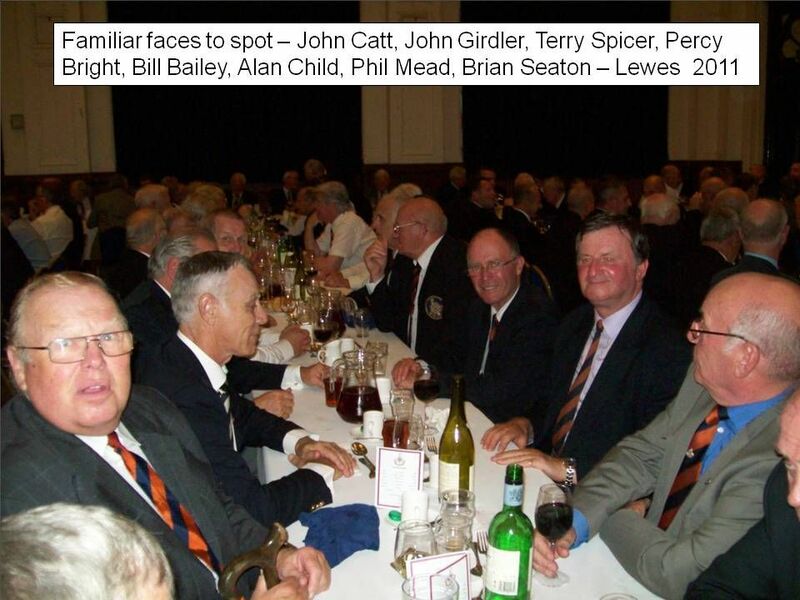 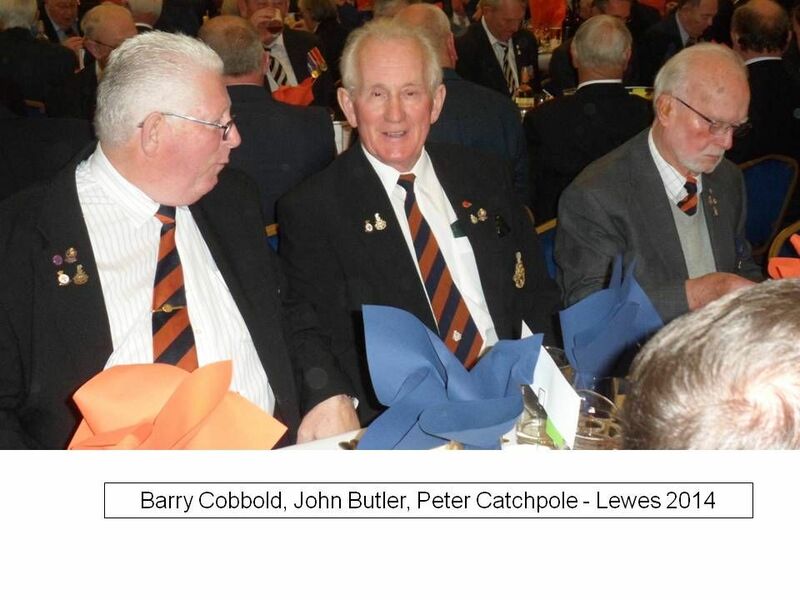 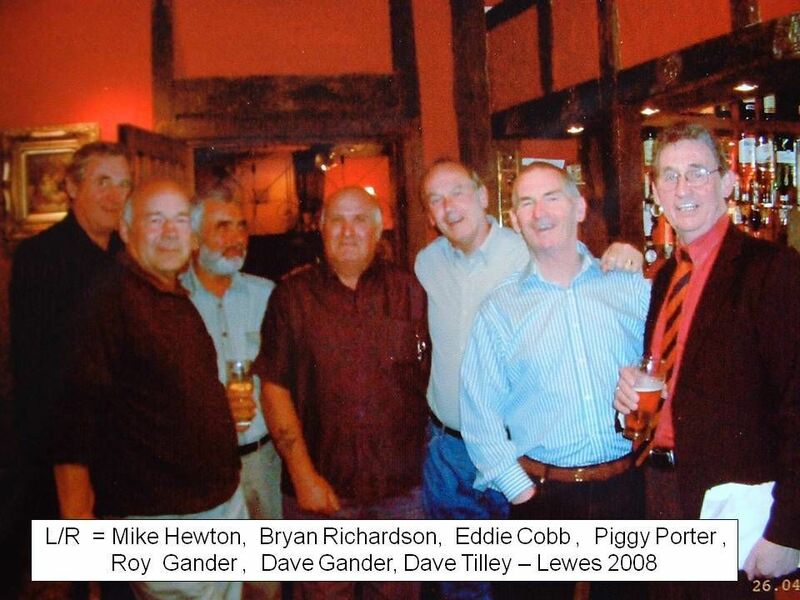 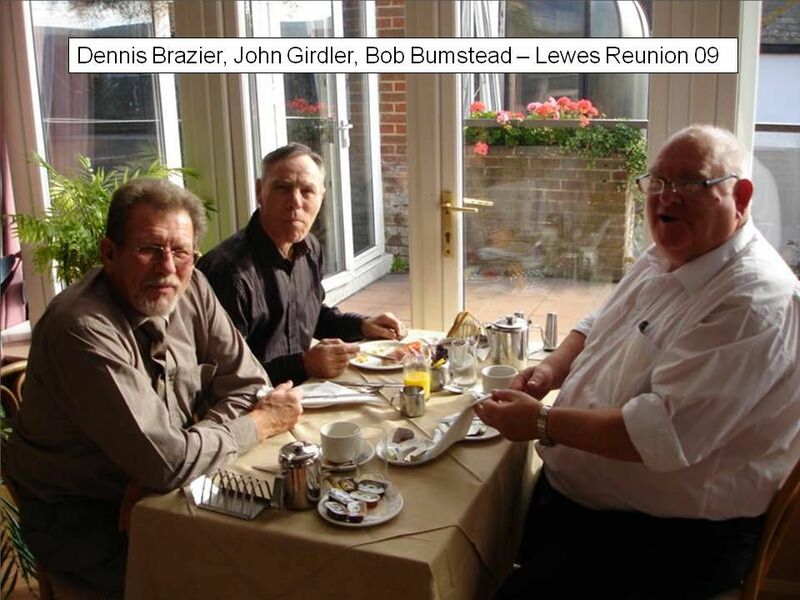 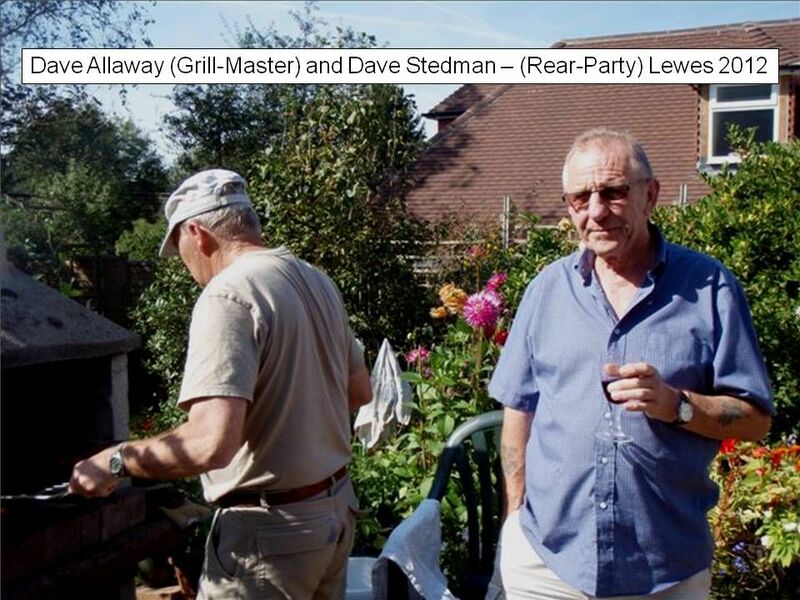 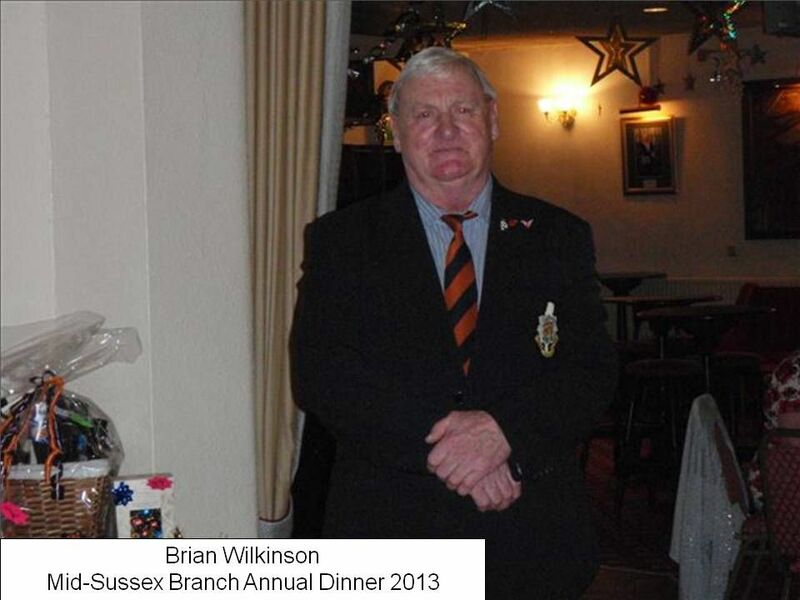 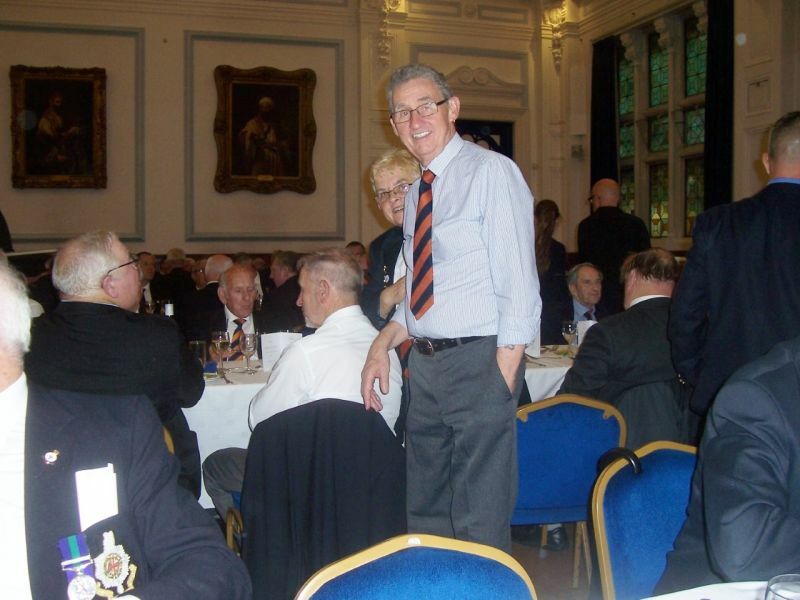 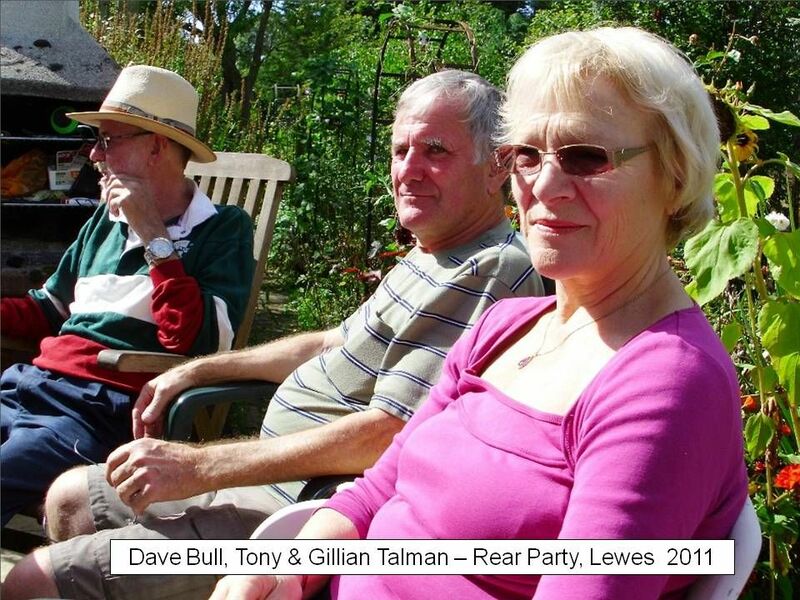 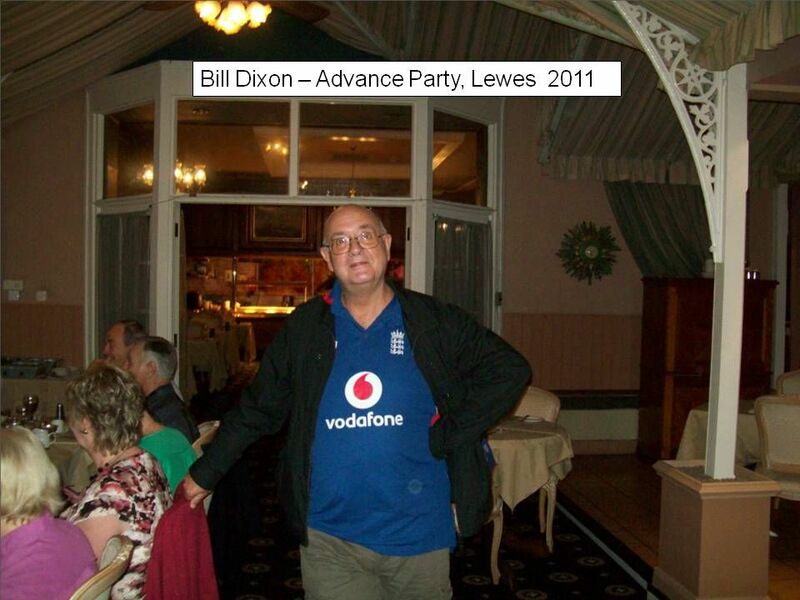 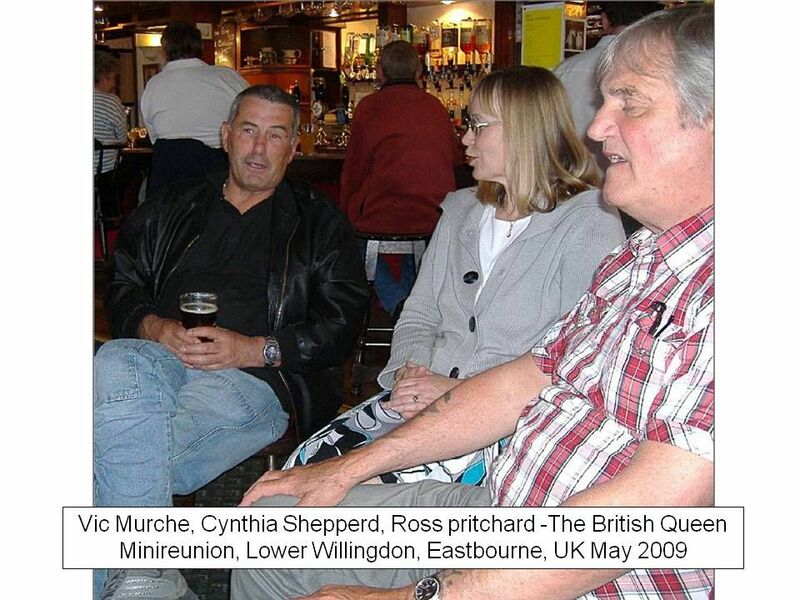 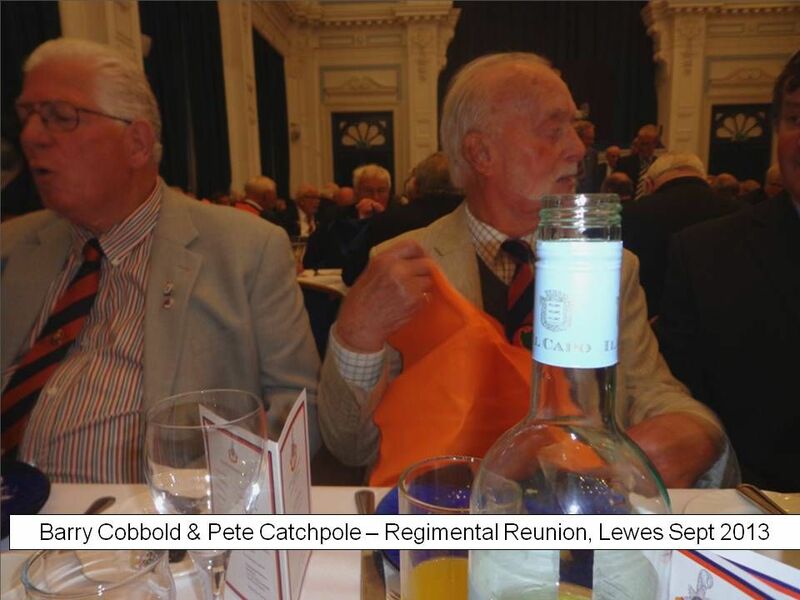 Next month, Major Hudson, with Bill Wood, Bob Truelove and other members of the Brighton and Hove Branch will be going to Gallipoli to commemorate that campaign, where our other Territorial Battalion, the 4th, fought so very gallantly. 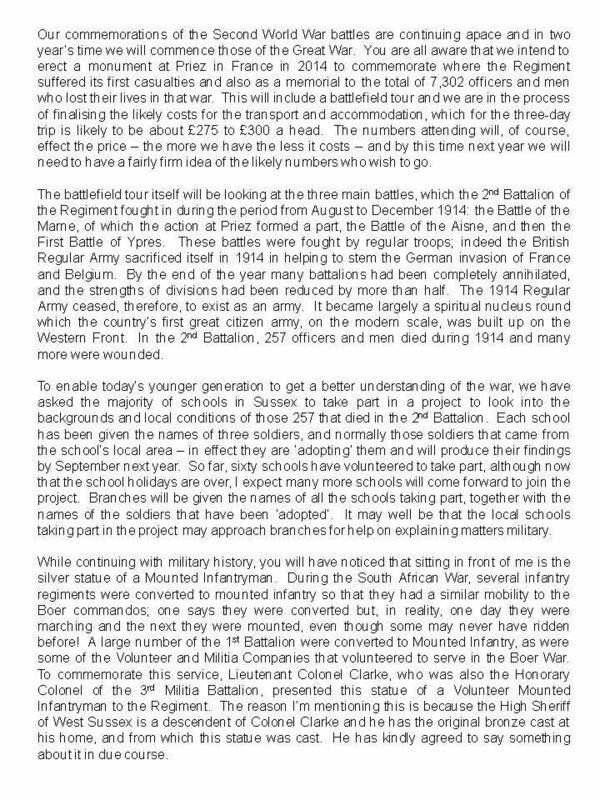 Next year we will be commemorating Boar’s Head, following the actions of the three Southdown Battalions, and then looking more widely at the whole Somme campaign. 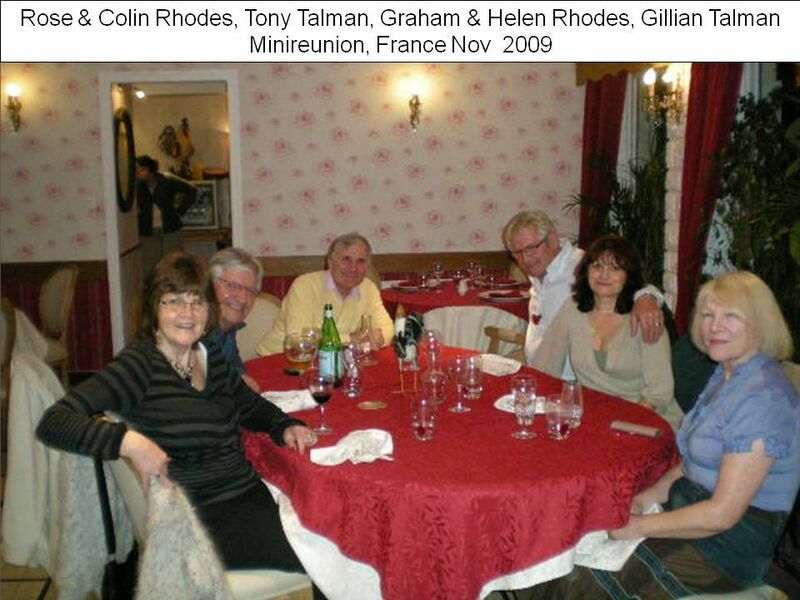 Next year’s trip will include an overnight stay with enough time to test the quality of the product of the French vineyards. 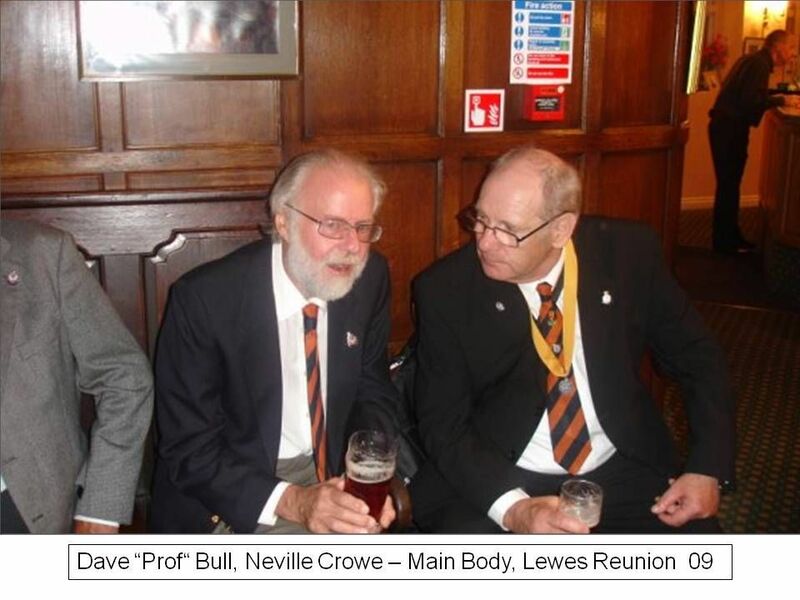 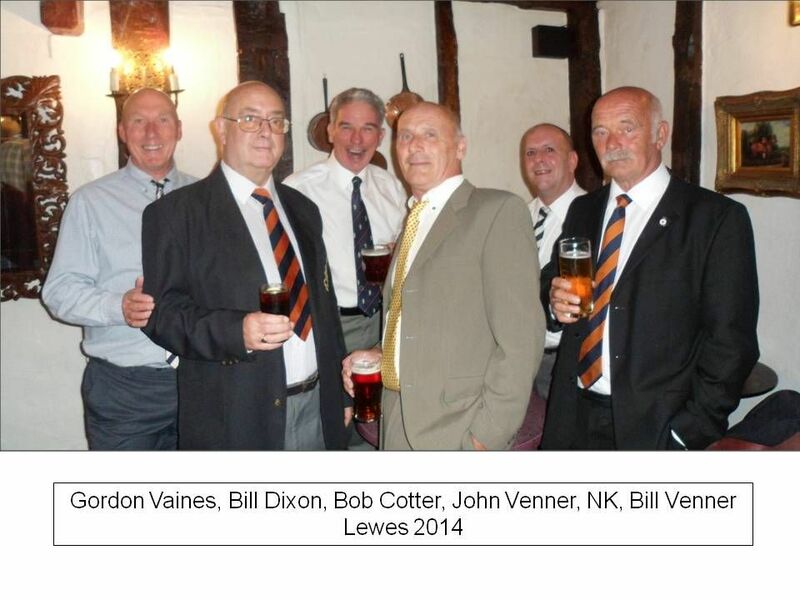 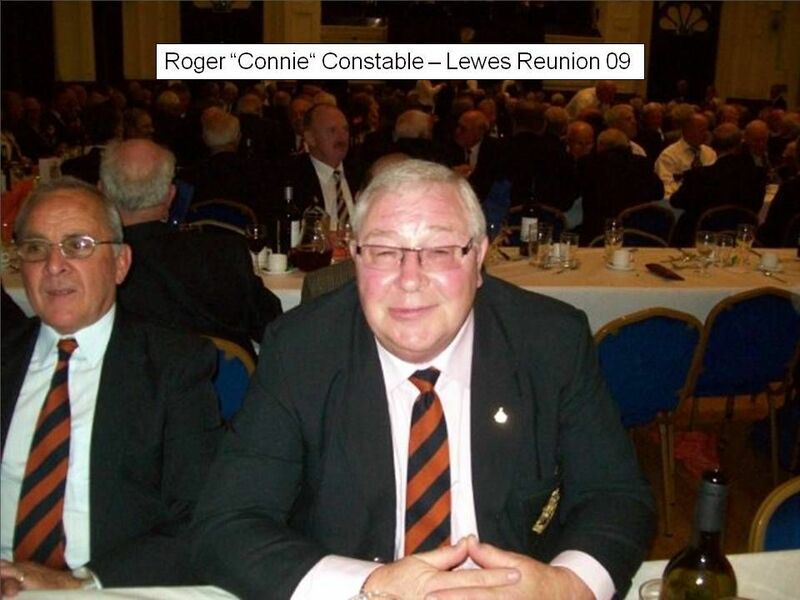 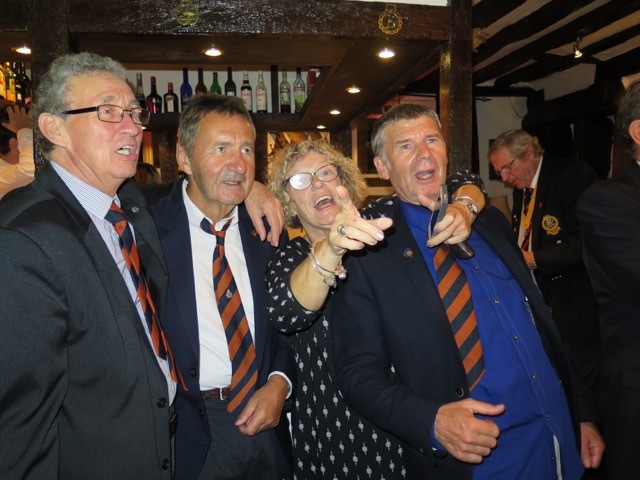 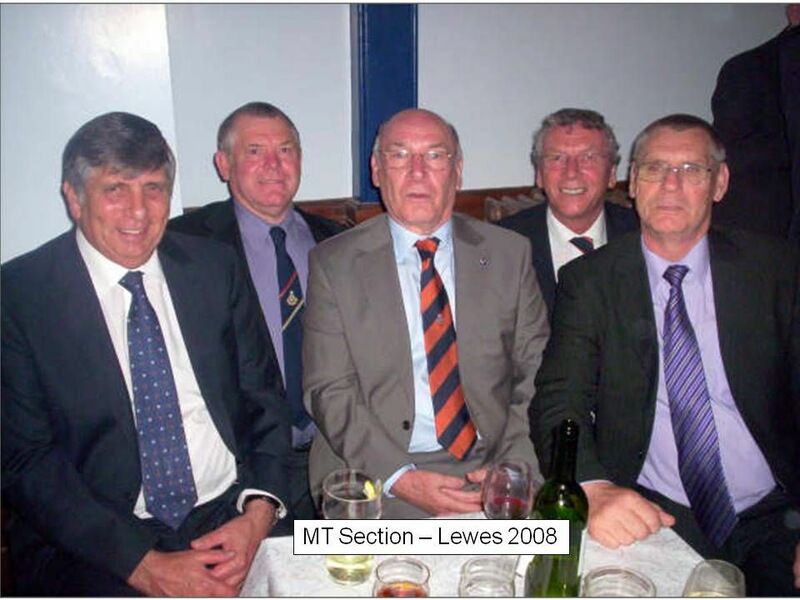 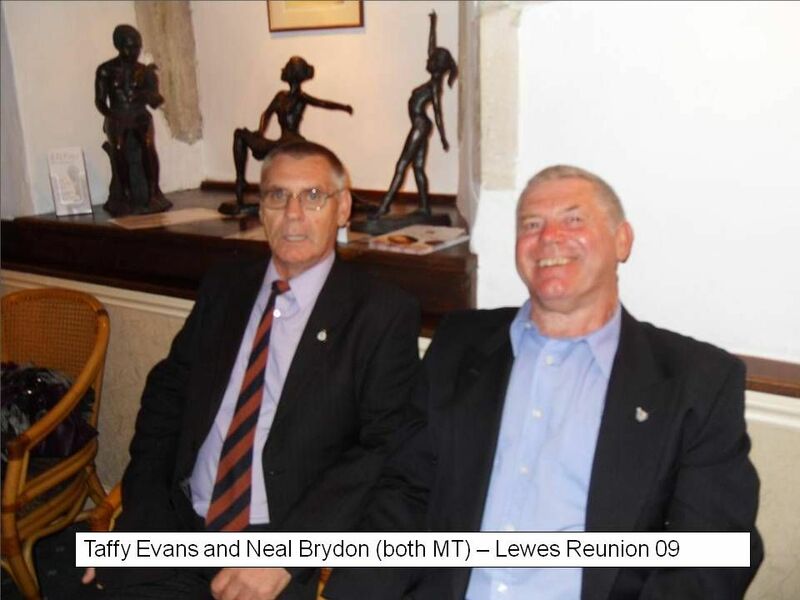 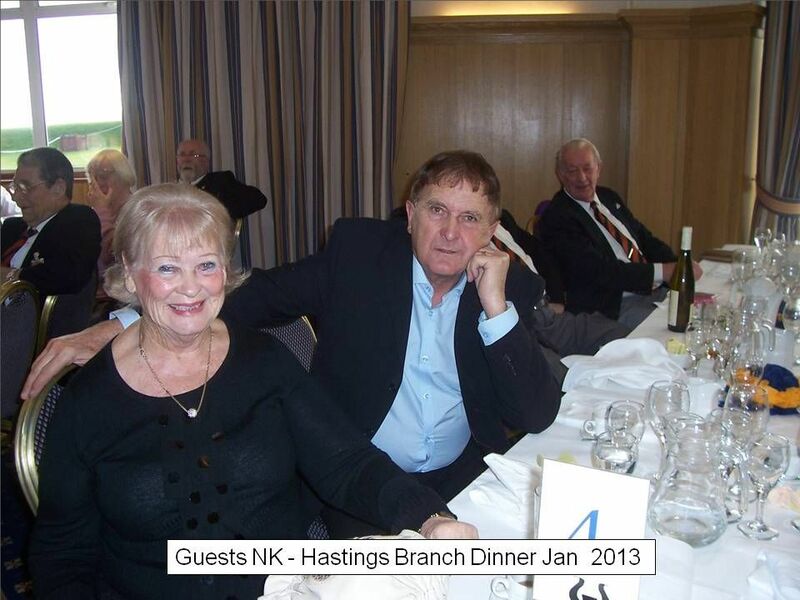 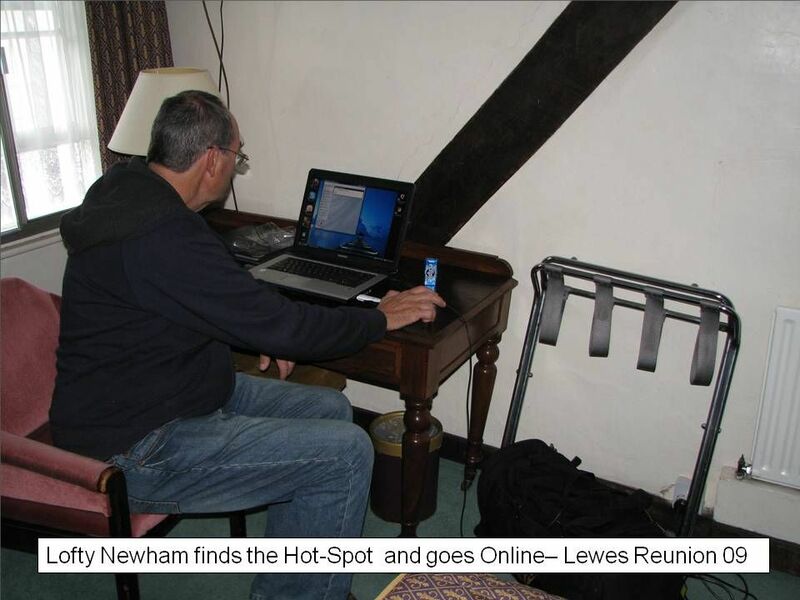 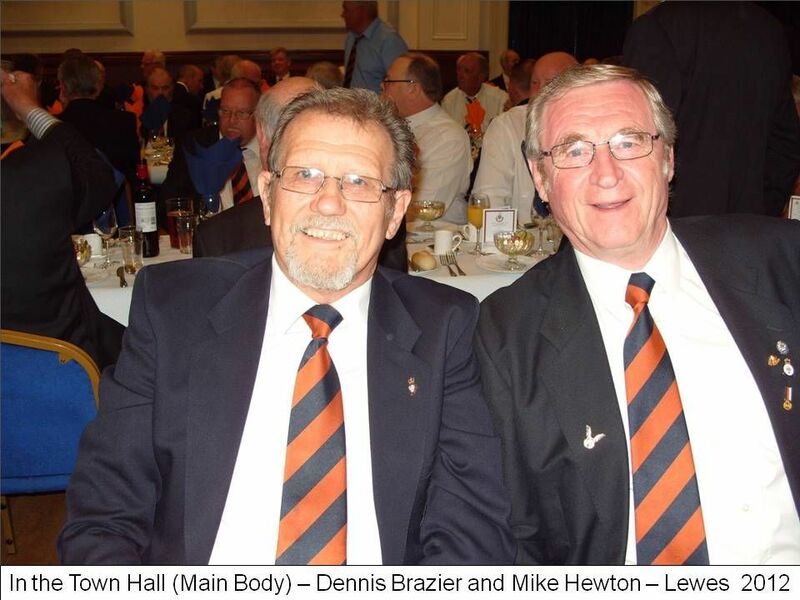 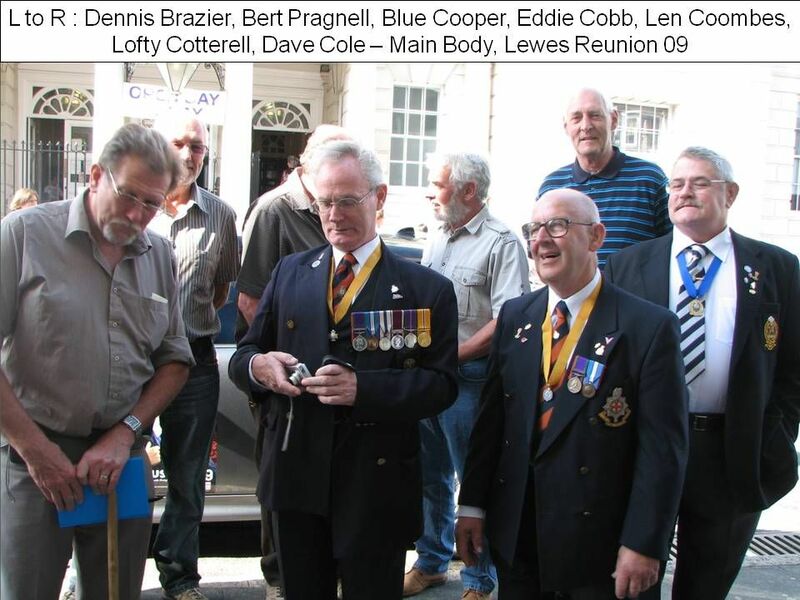 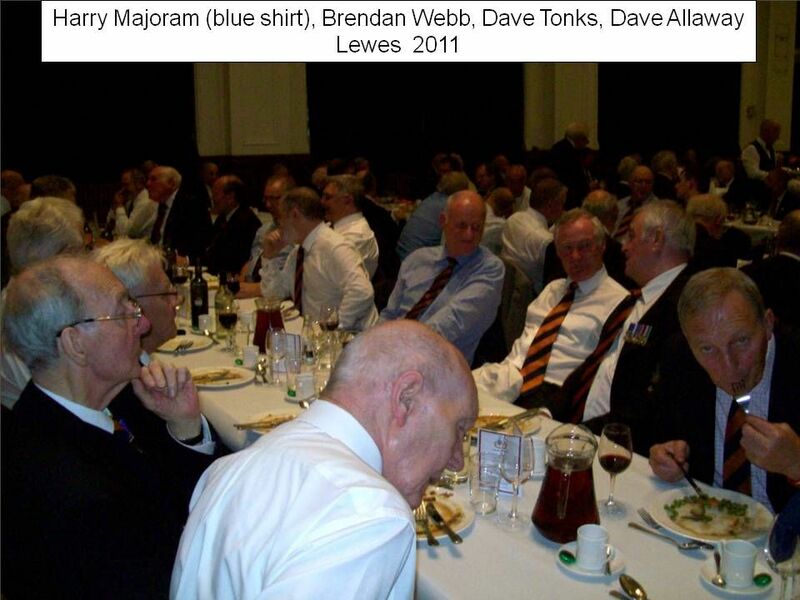 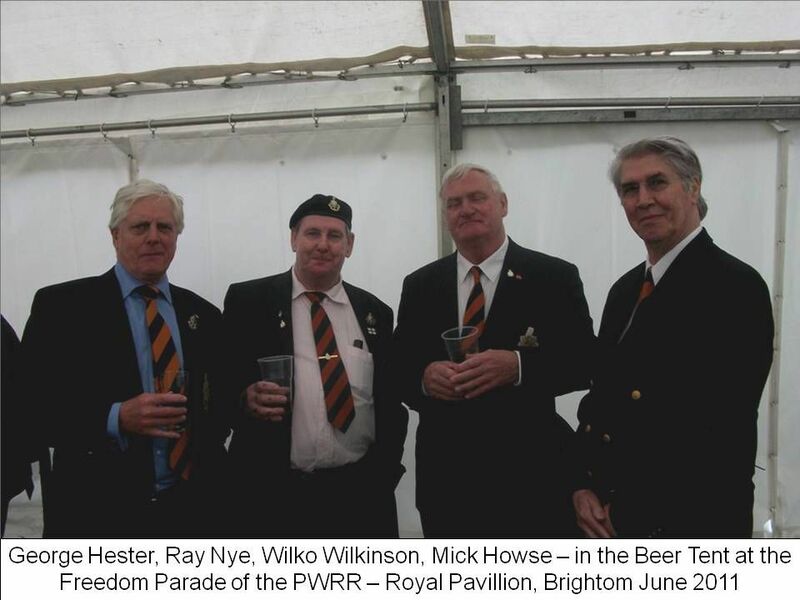 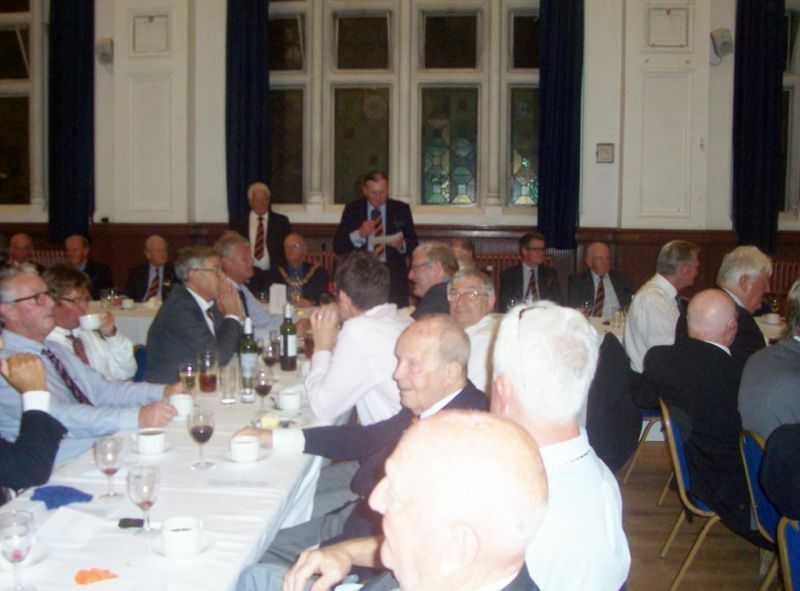 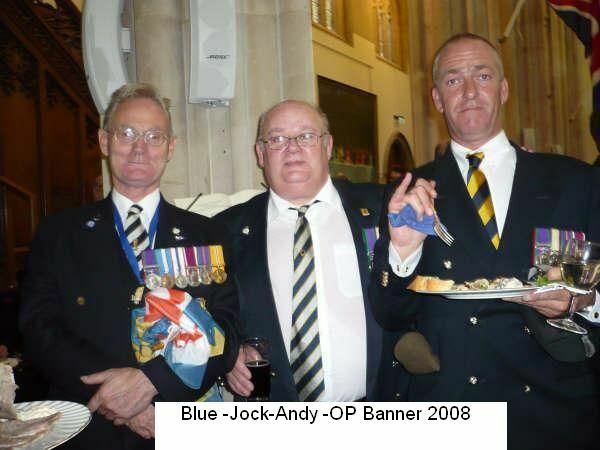 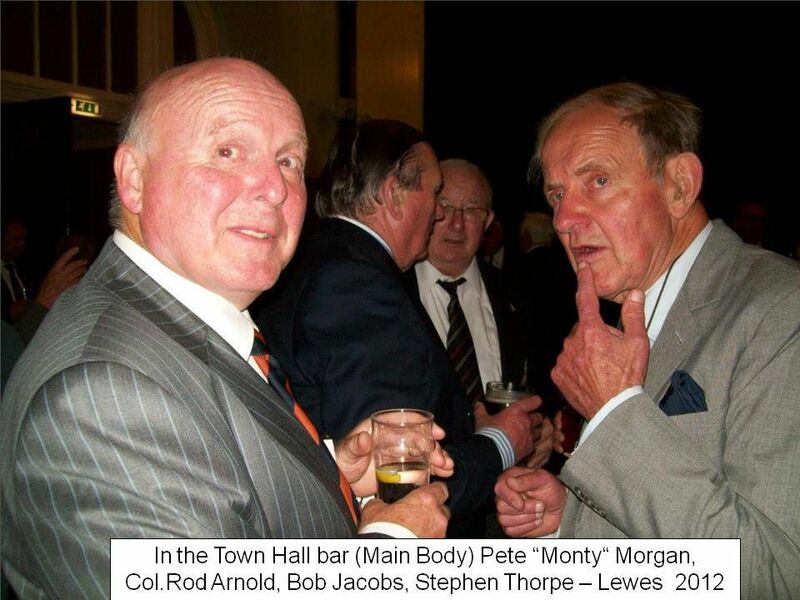 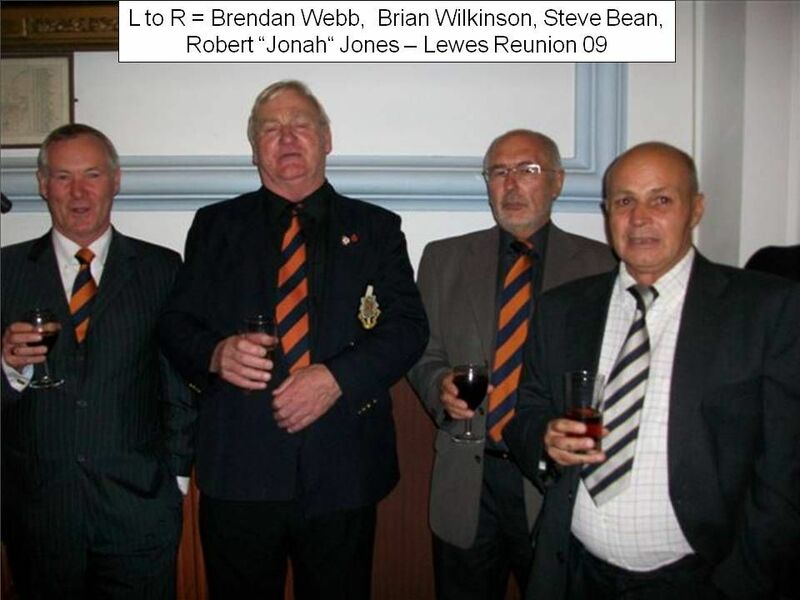 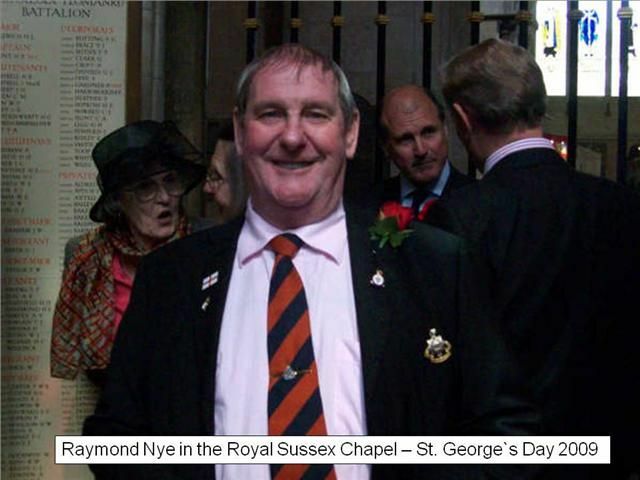 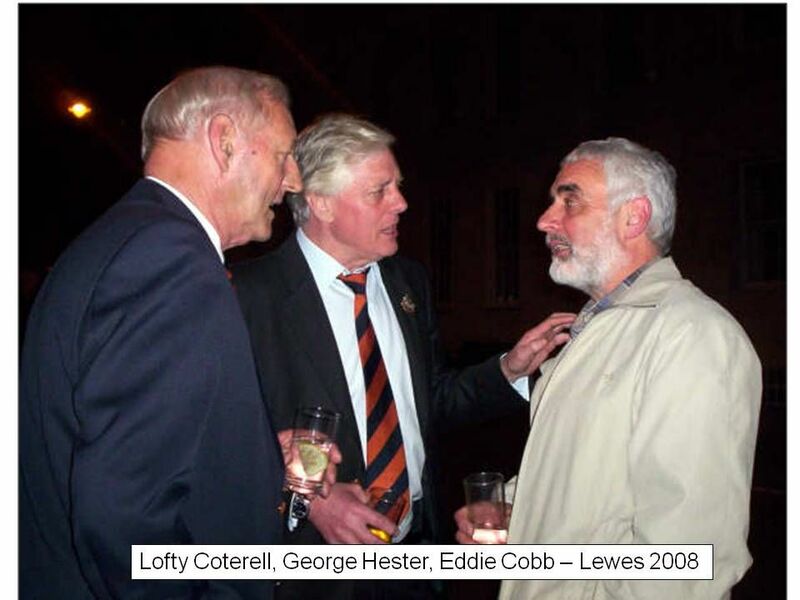 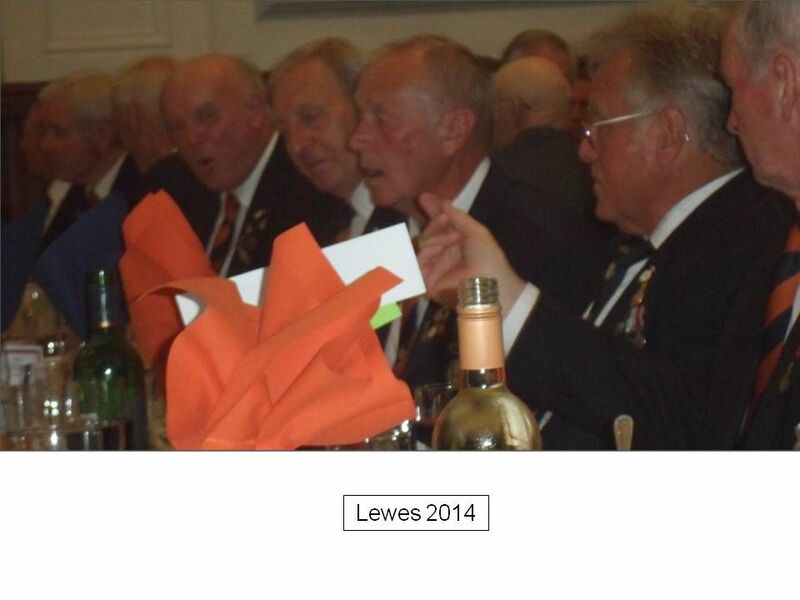 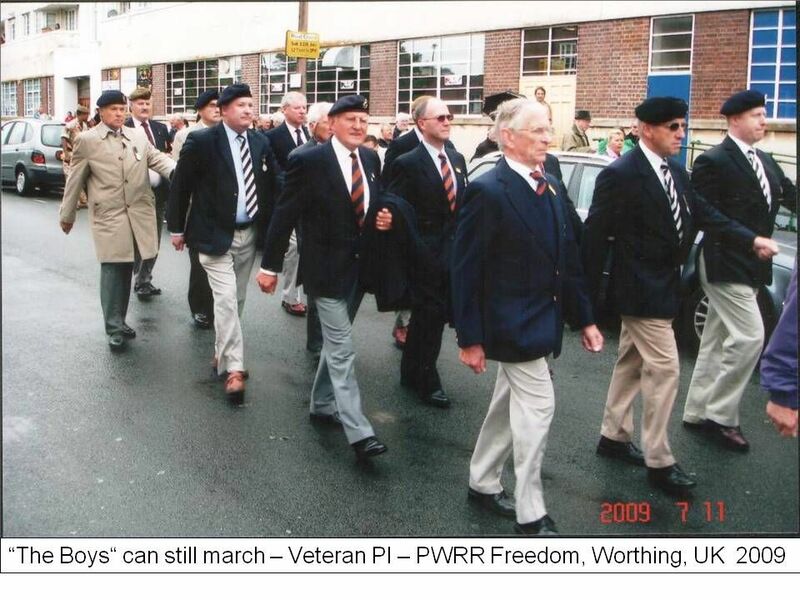 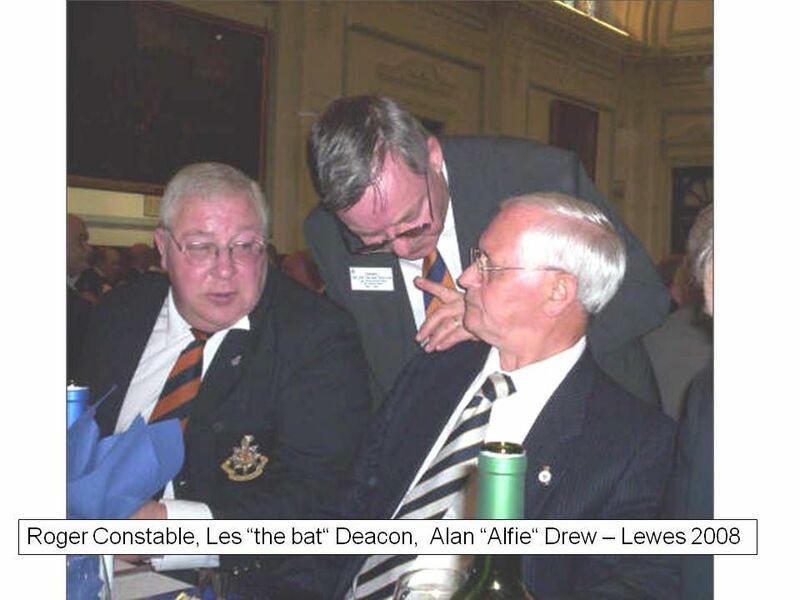 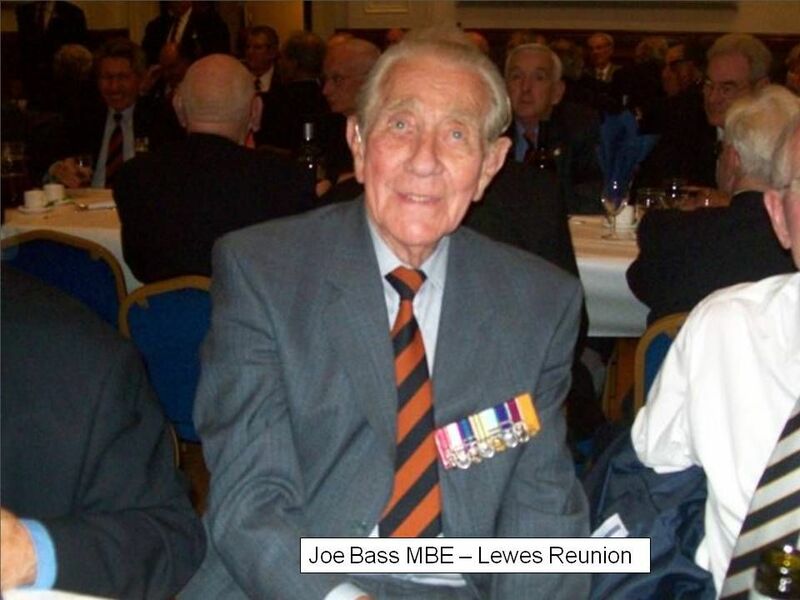 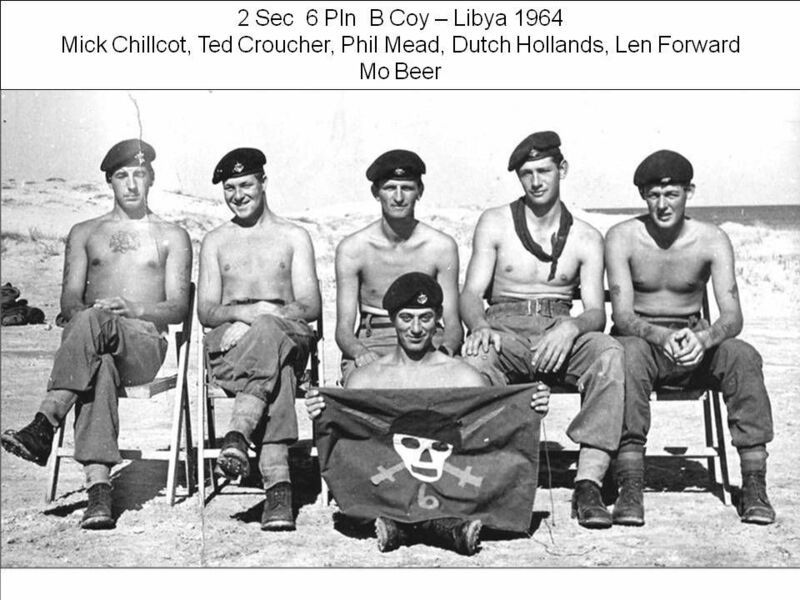 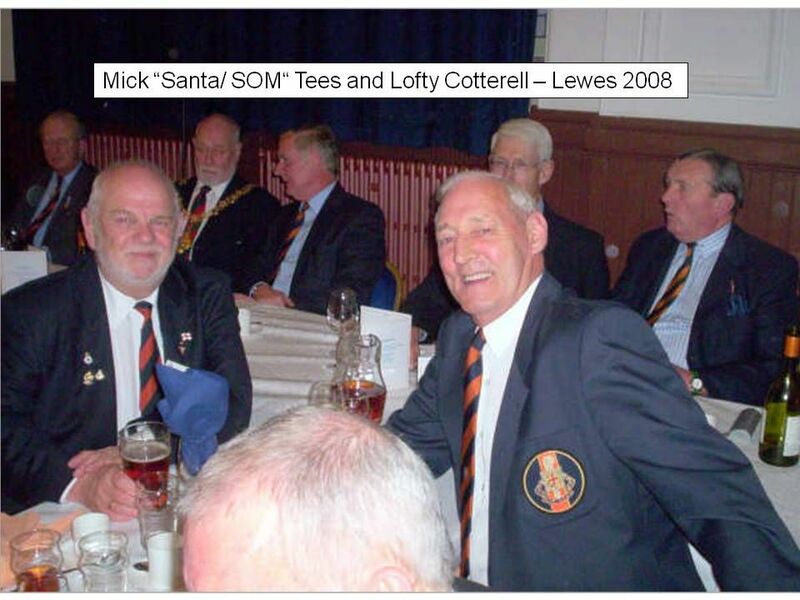 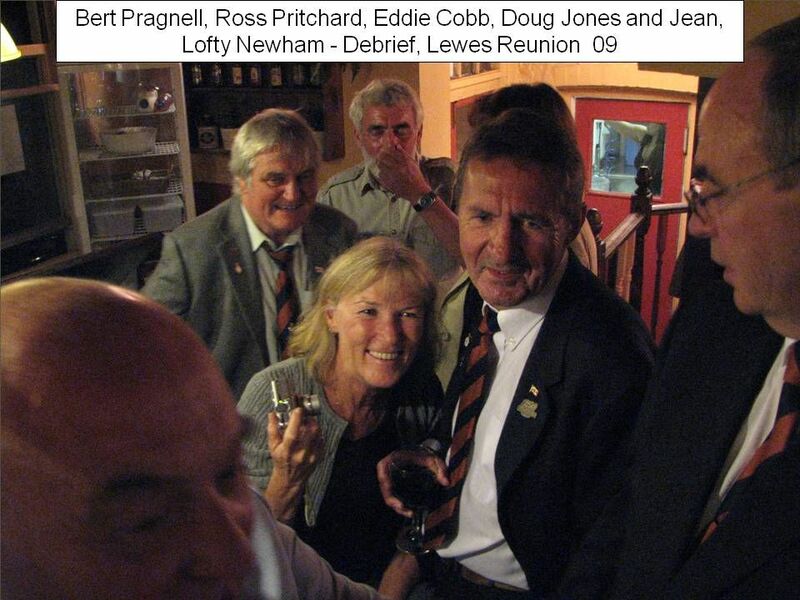 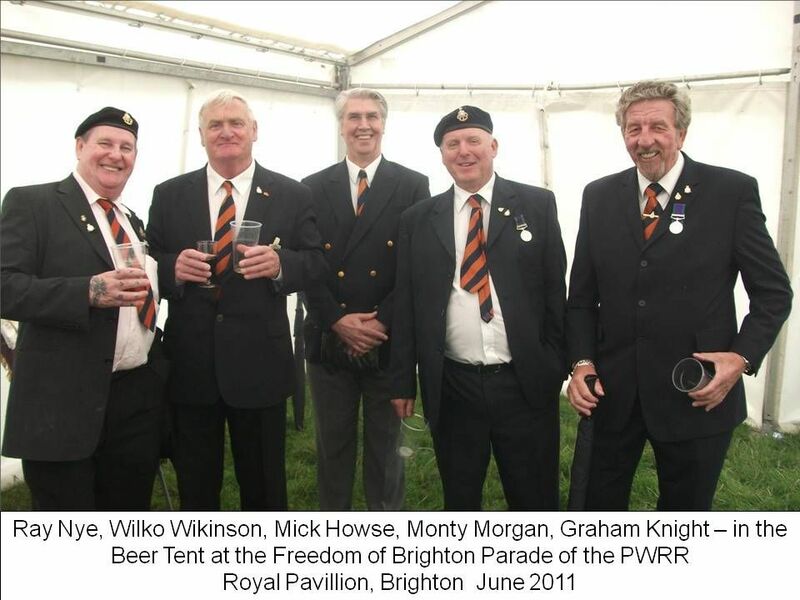 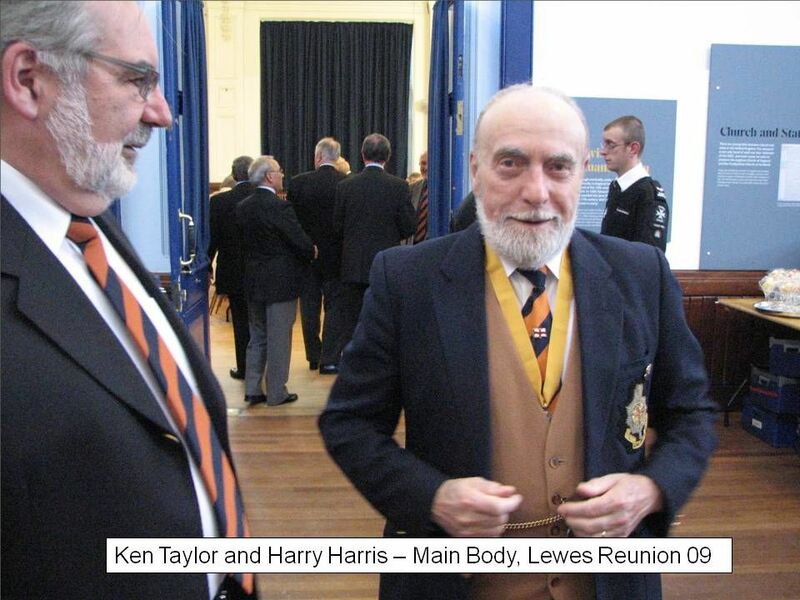 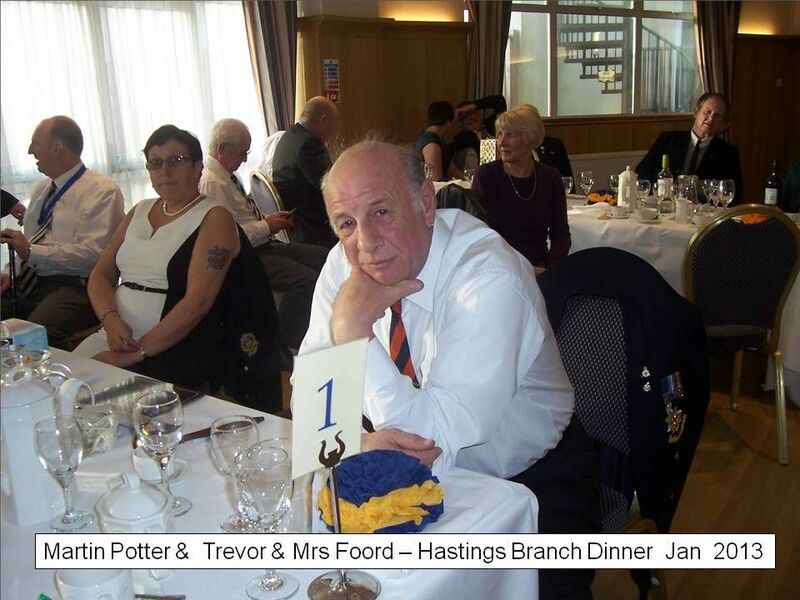 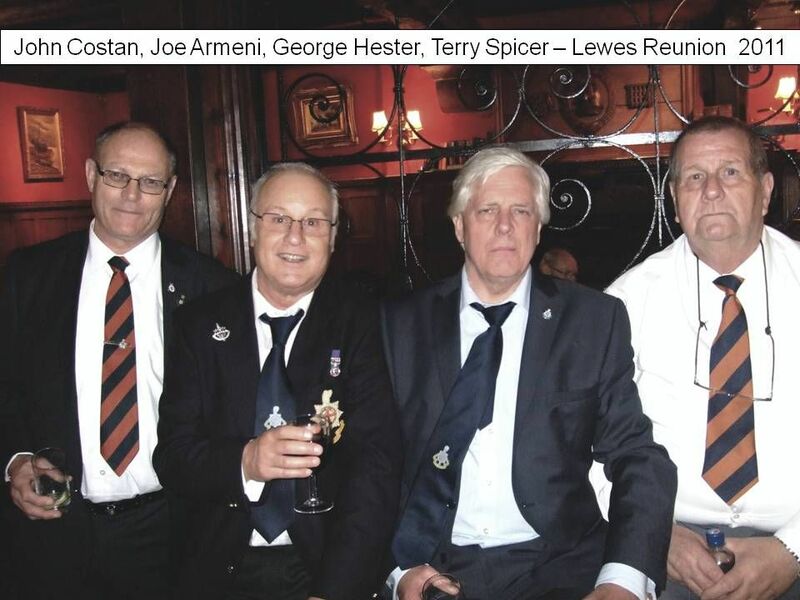 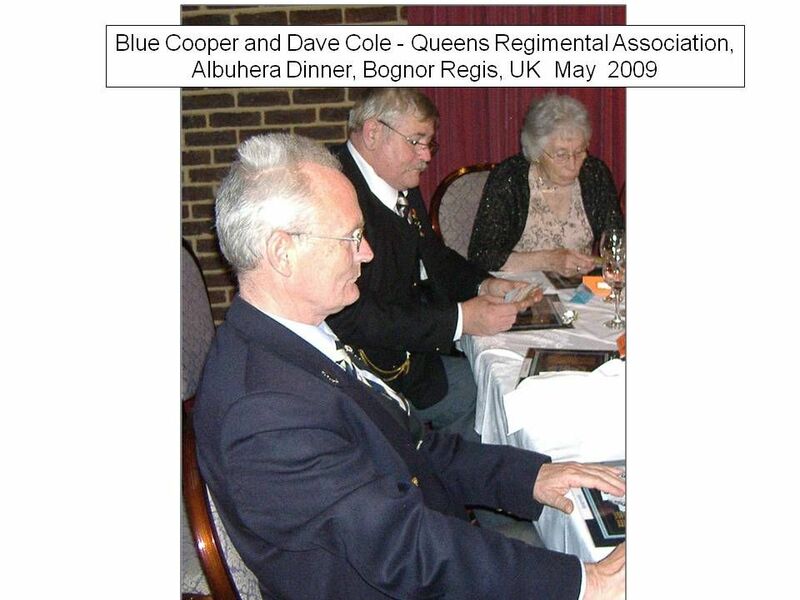 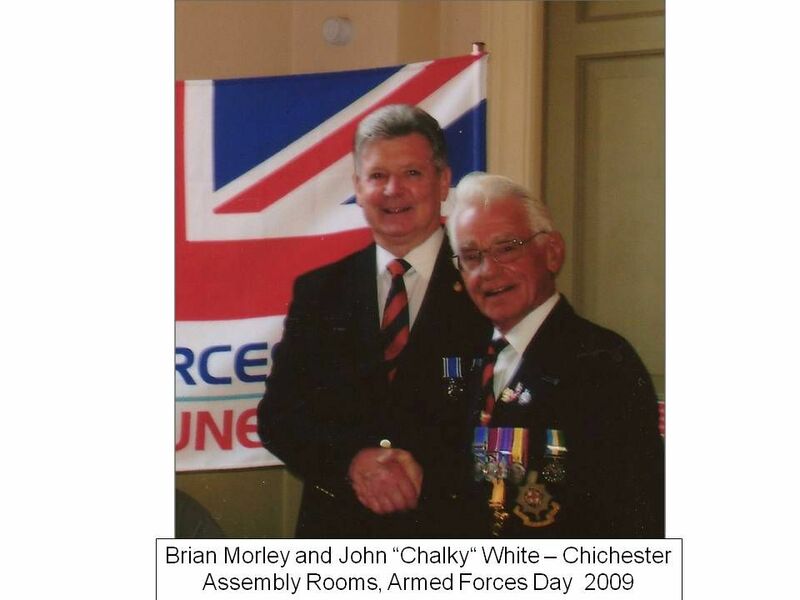 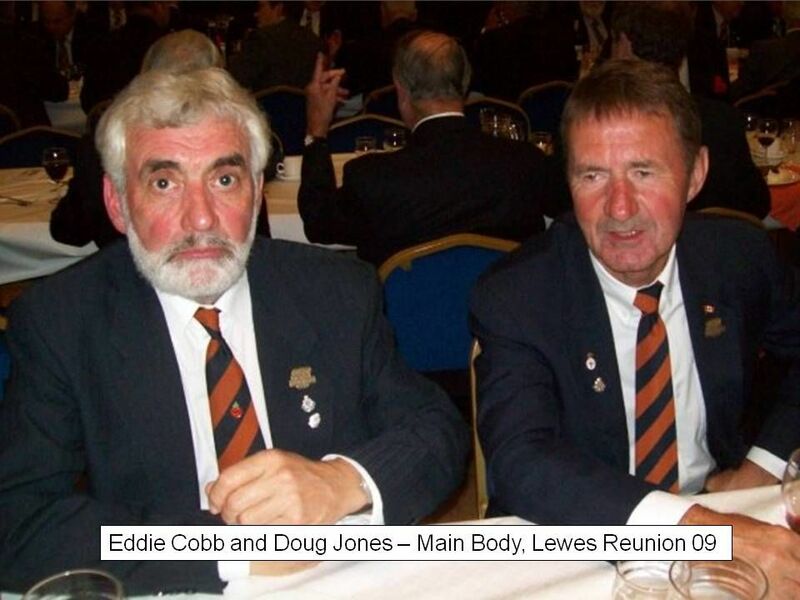 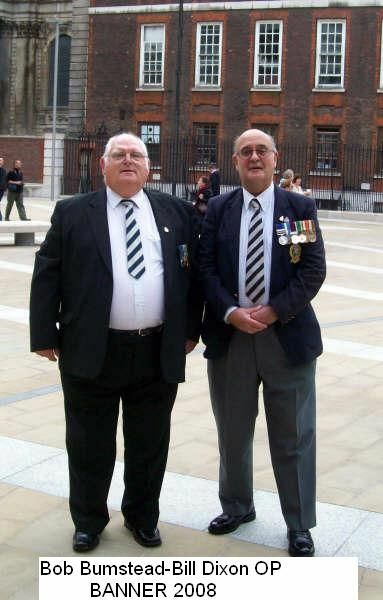 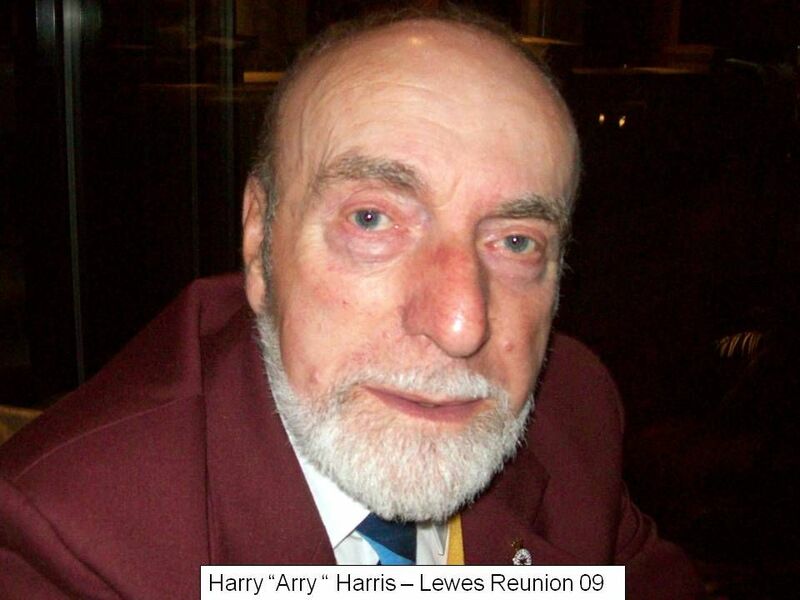 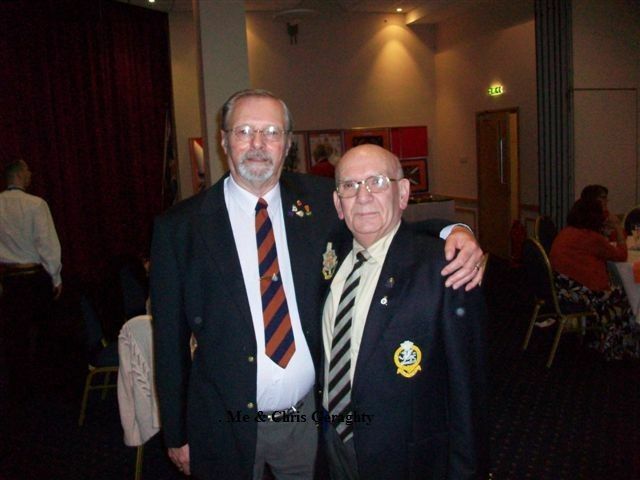 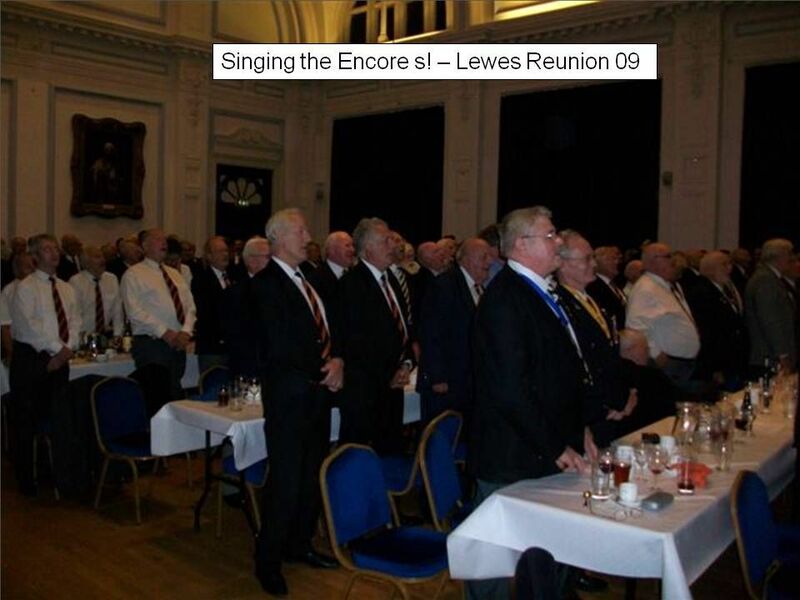 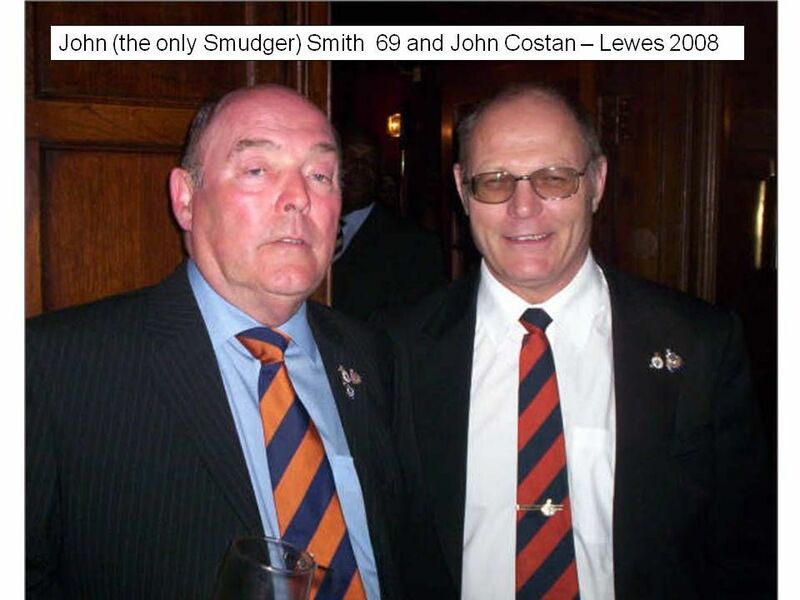 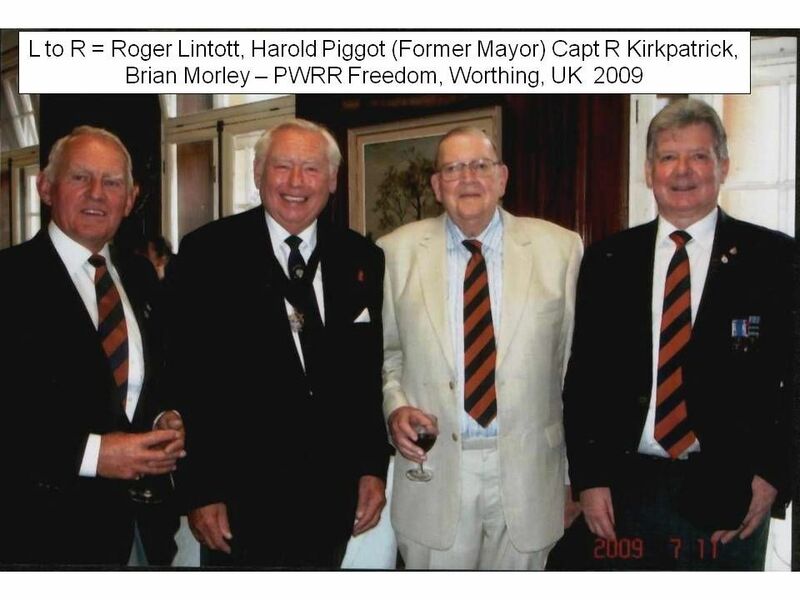 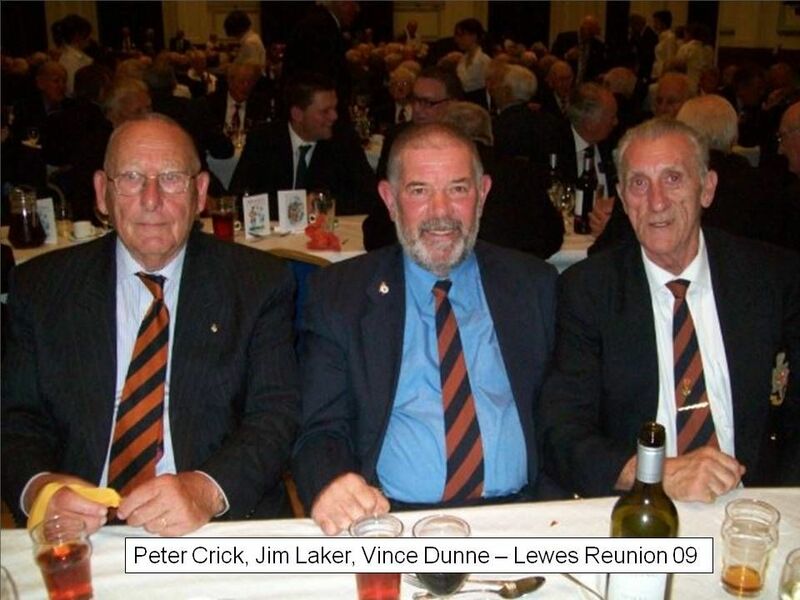 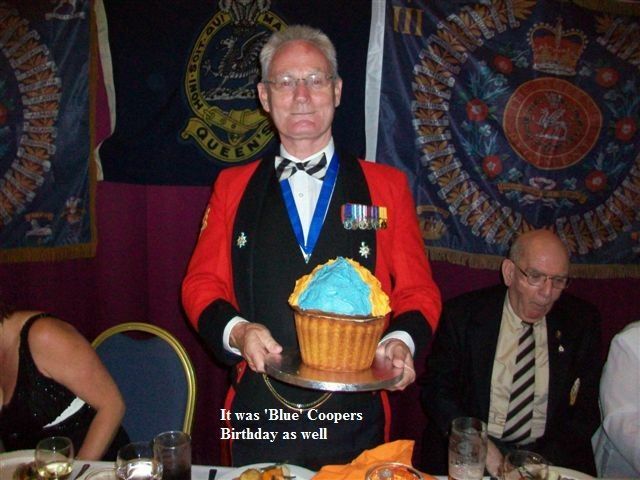 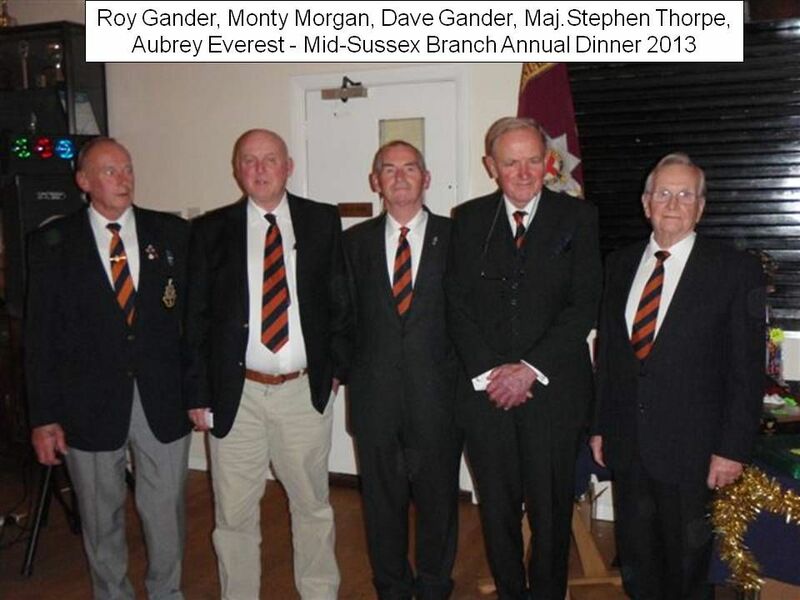 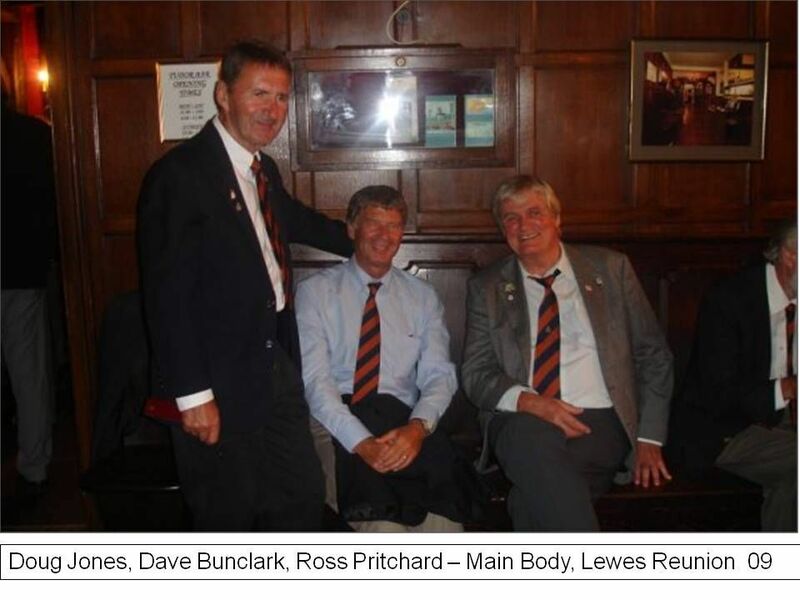 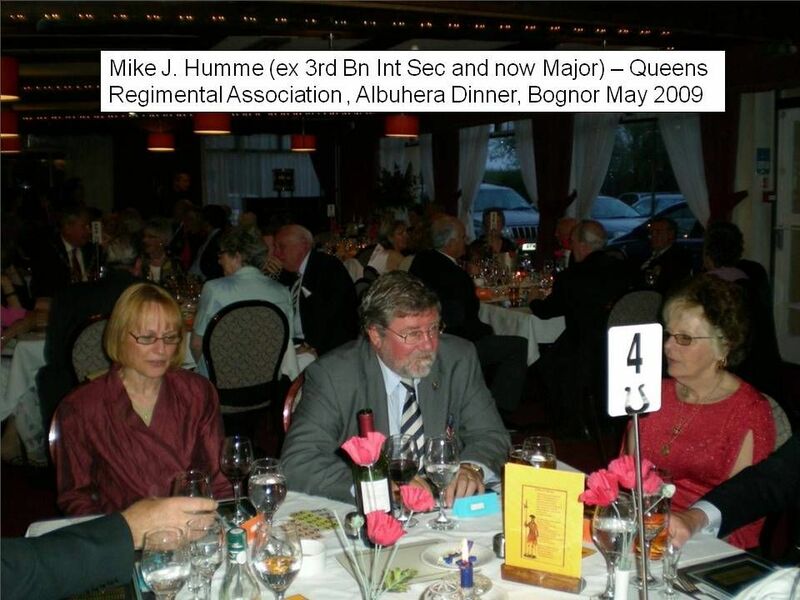 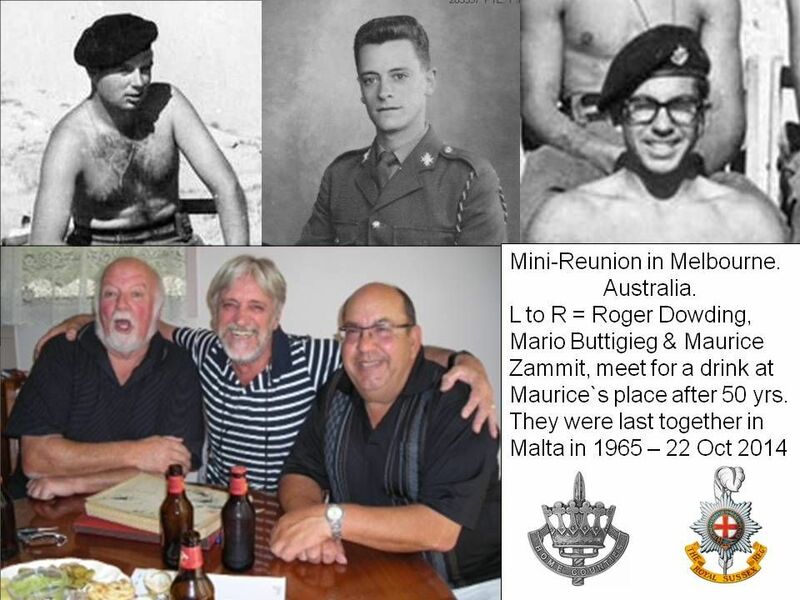 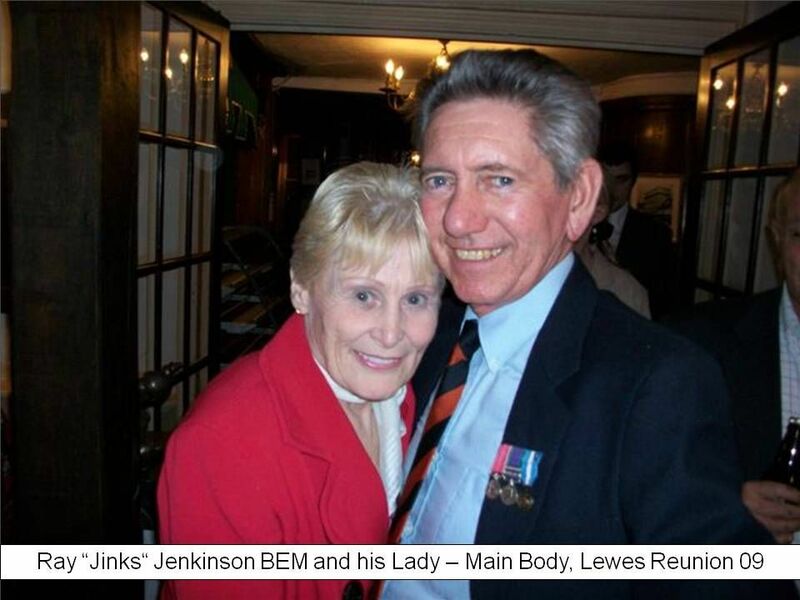 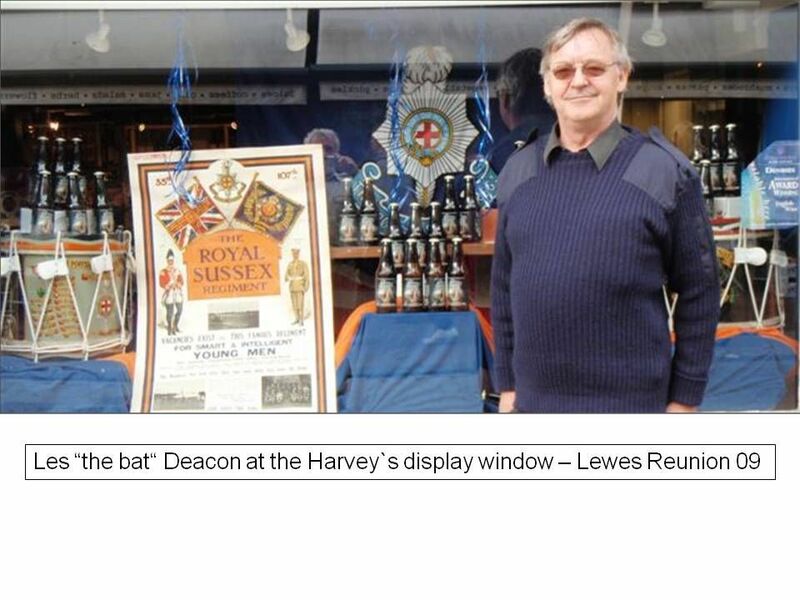 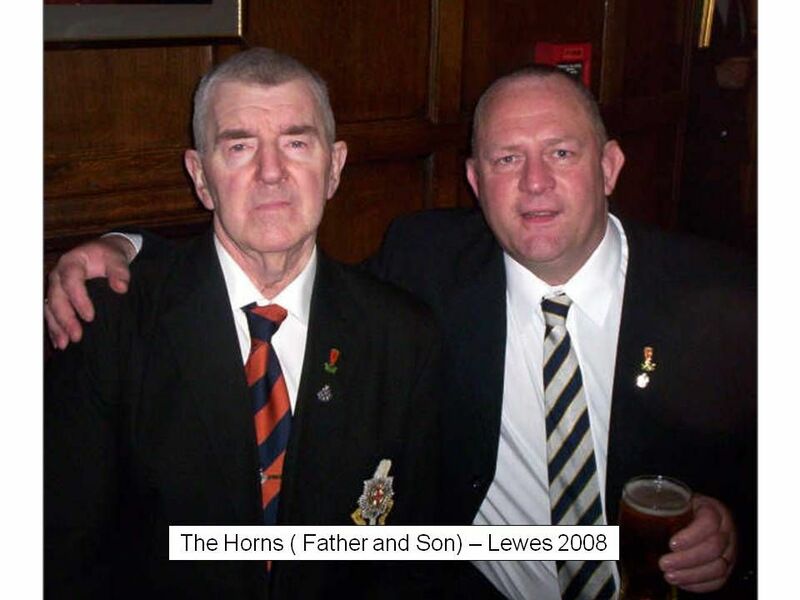 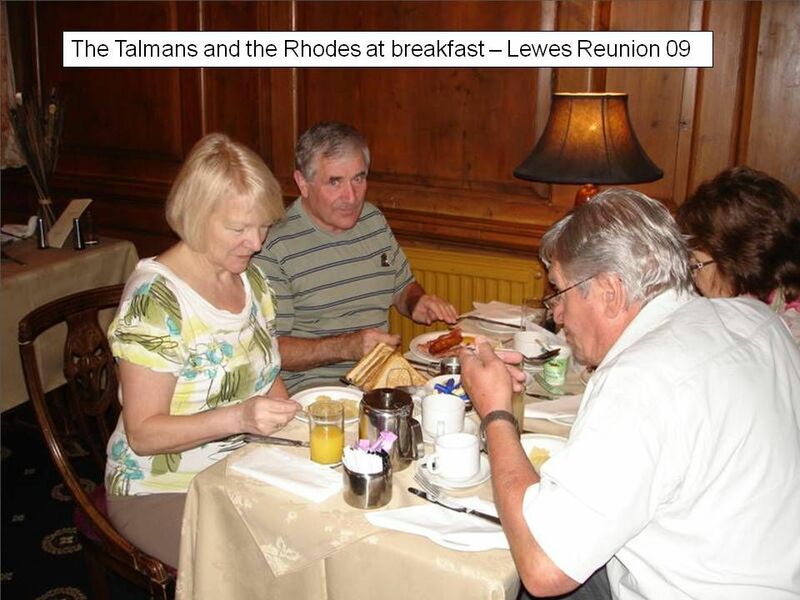 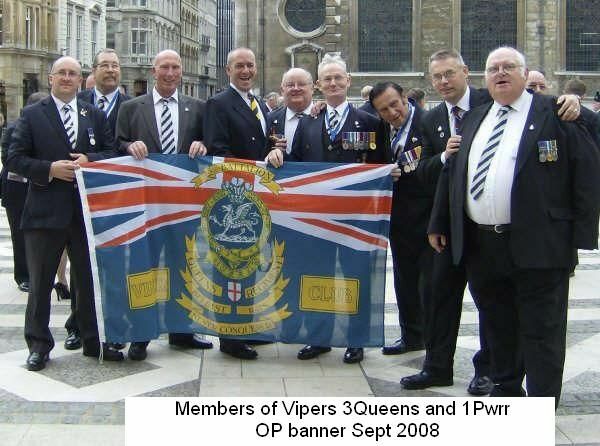 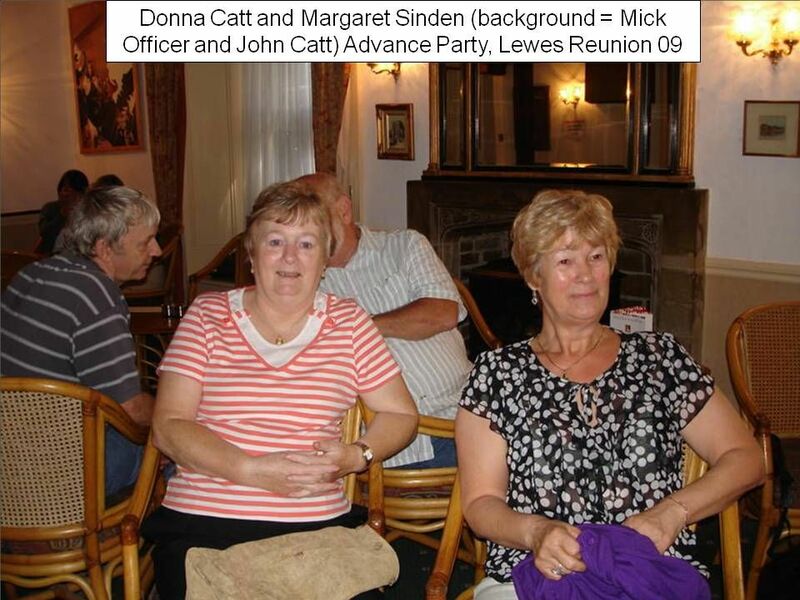 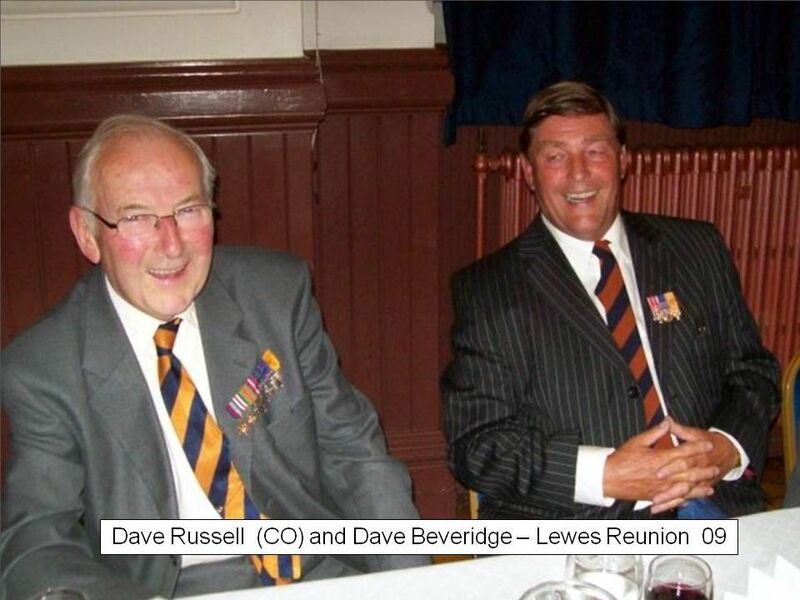 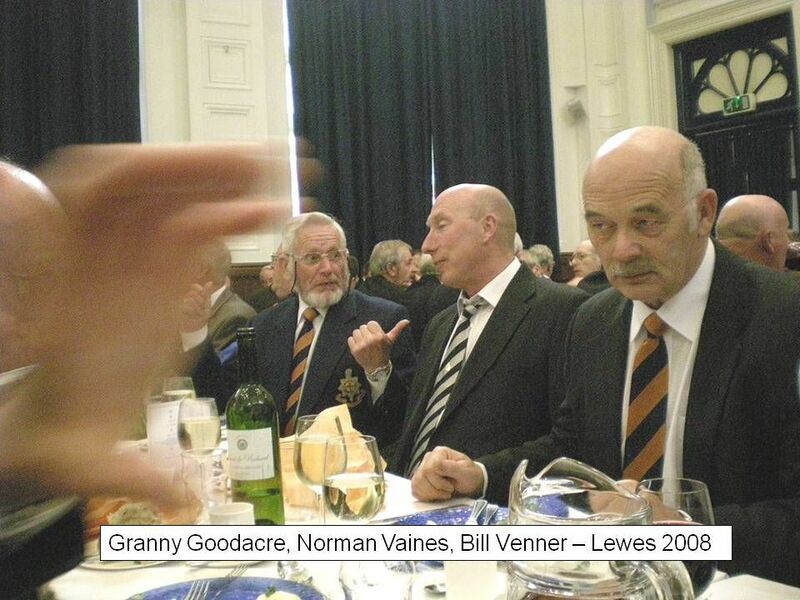 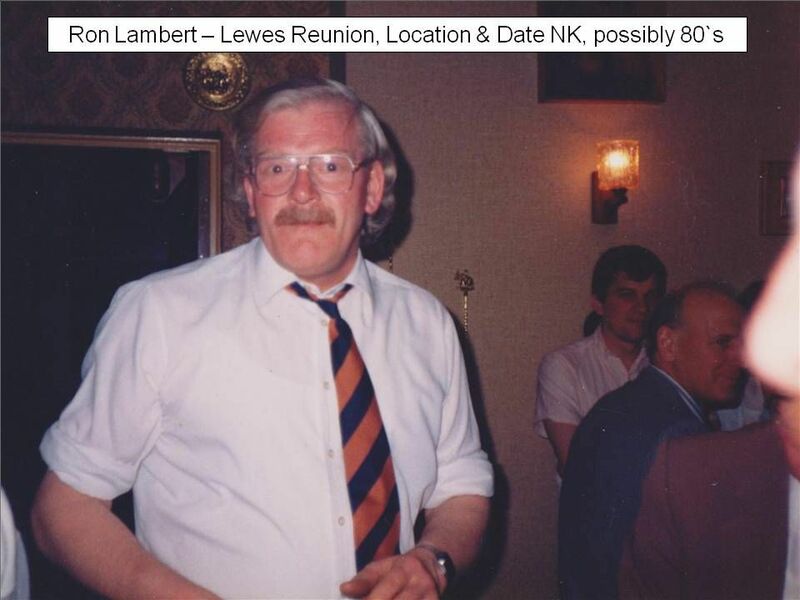 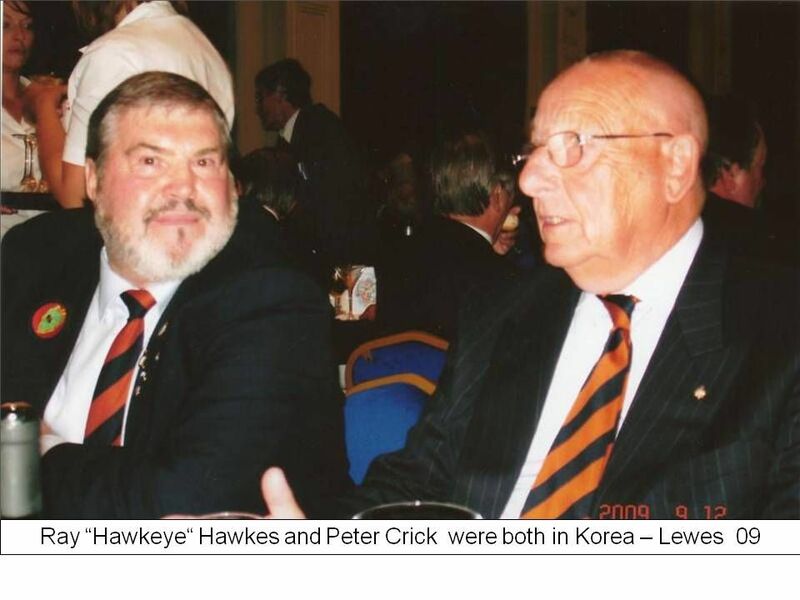 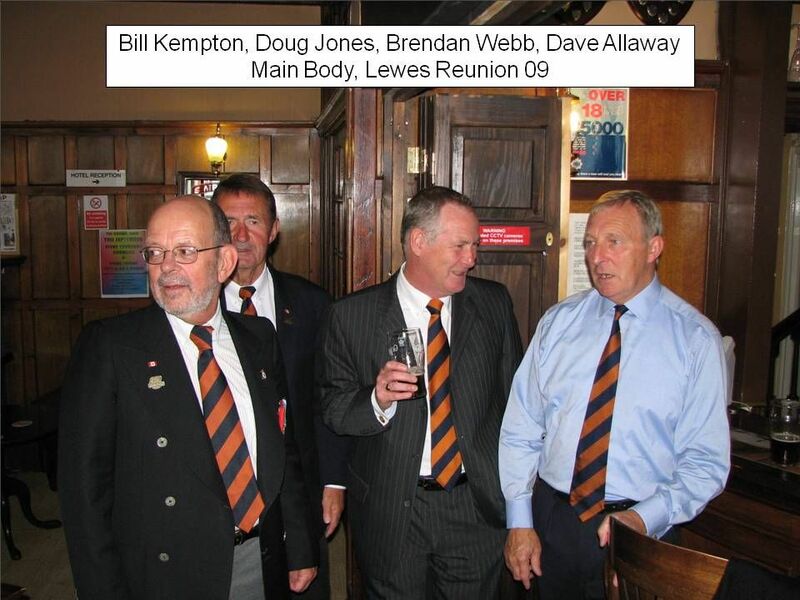 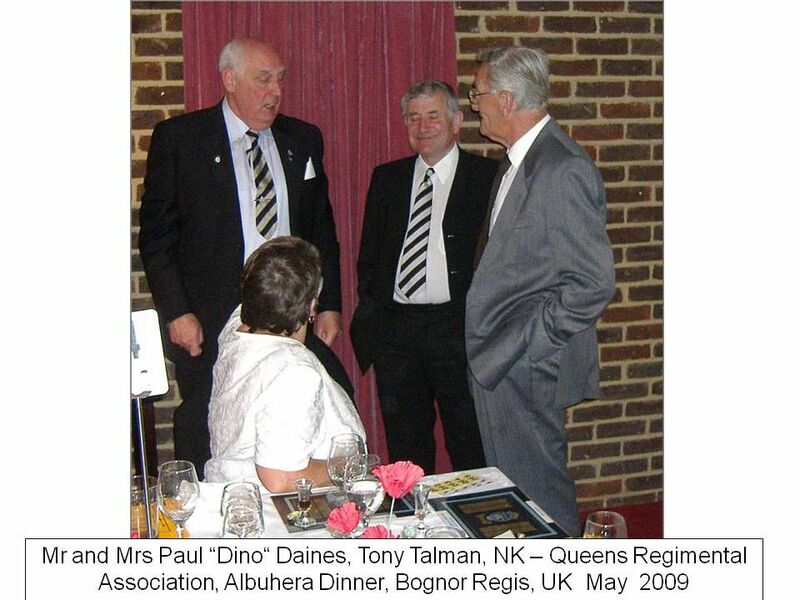 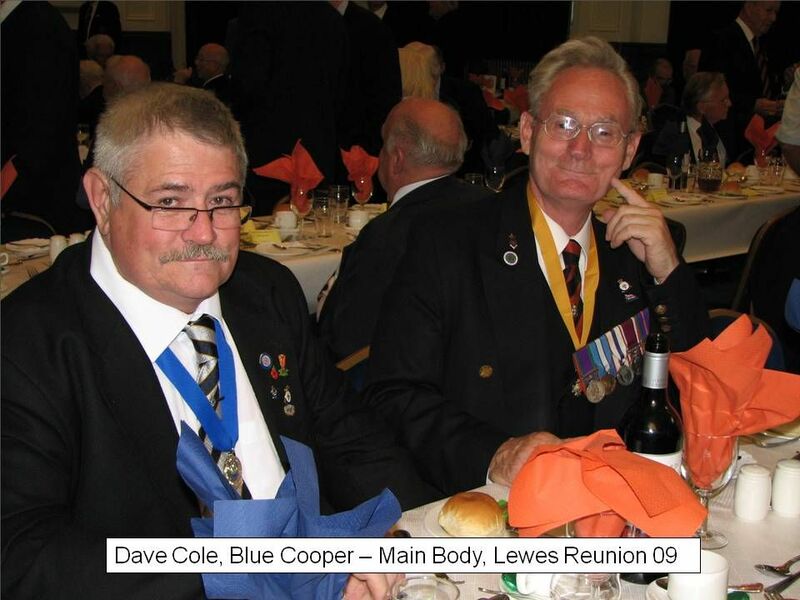 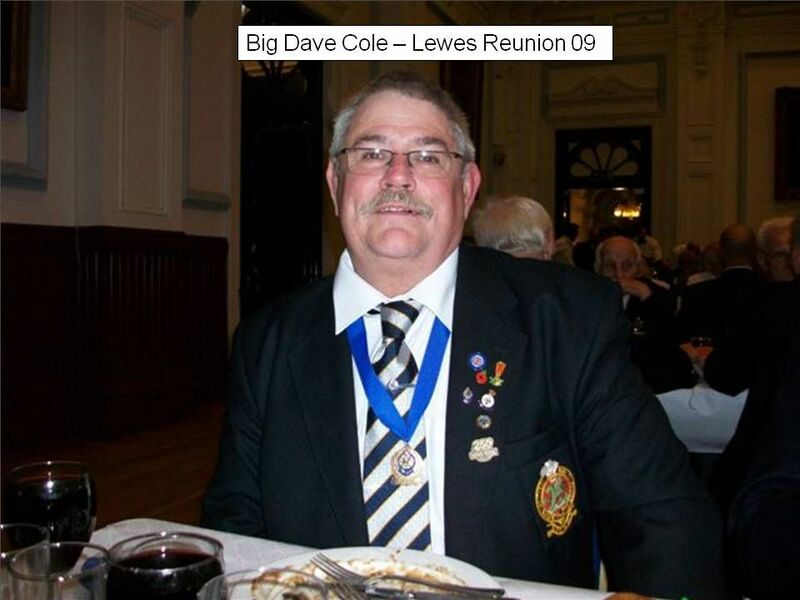 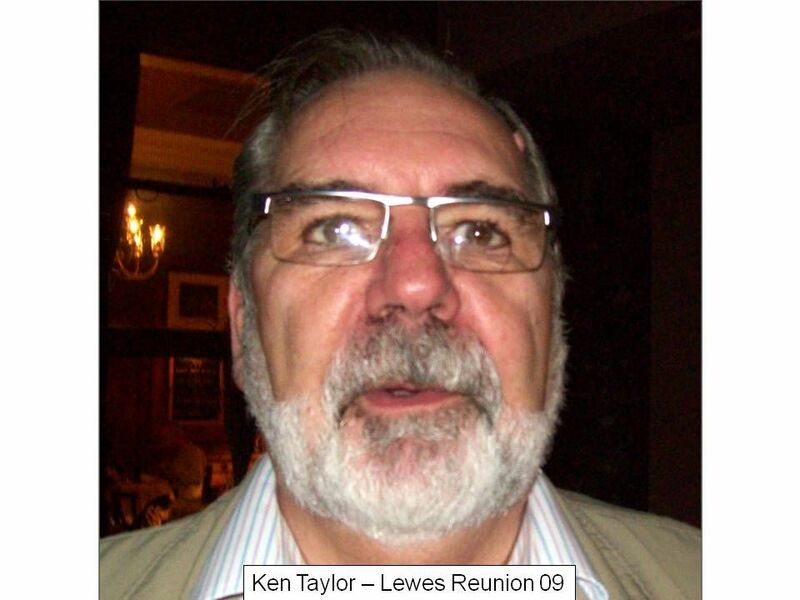 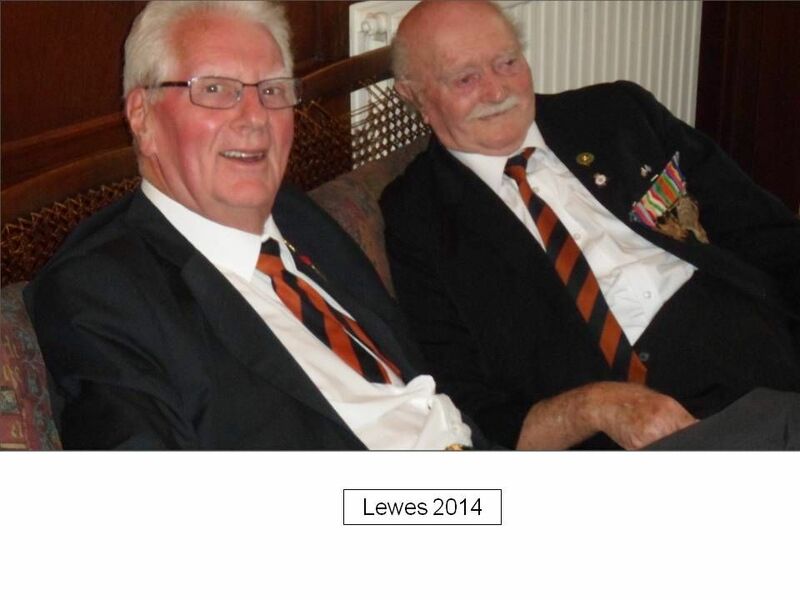 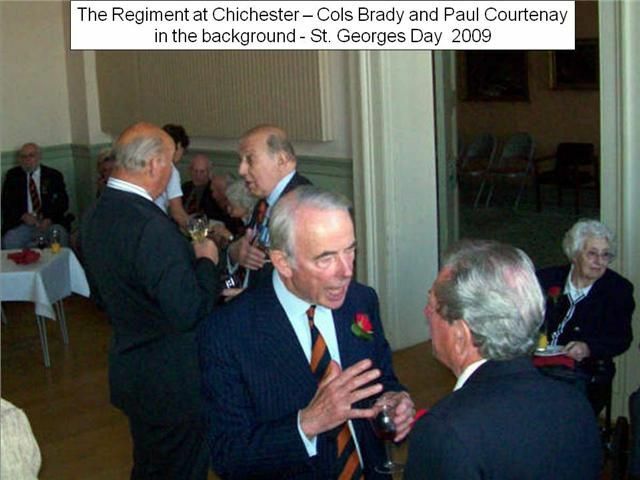 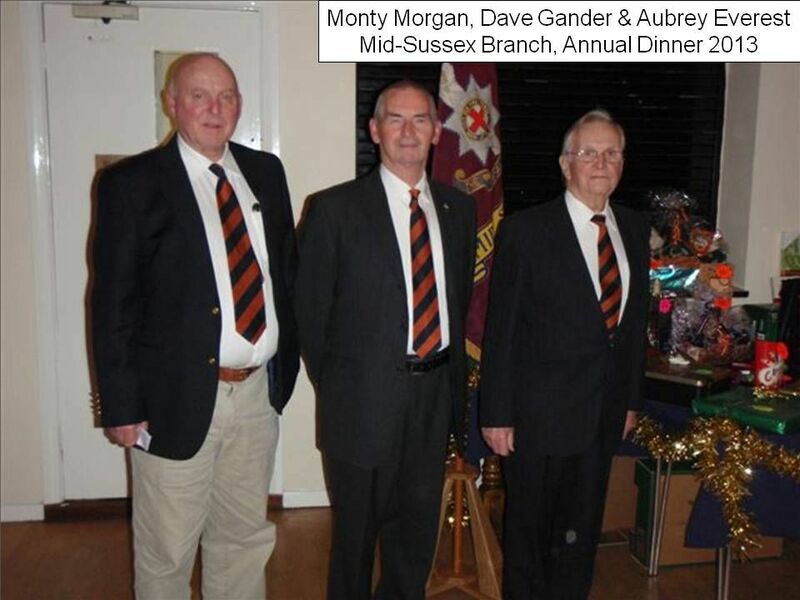 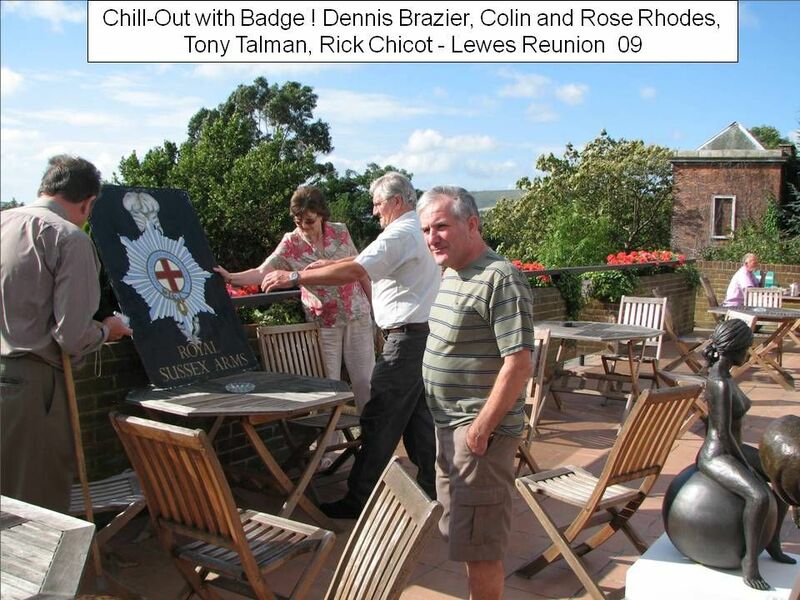 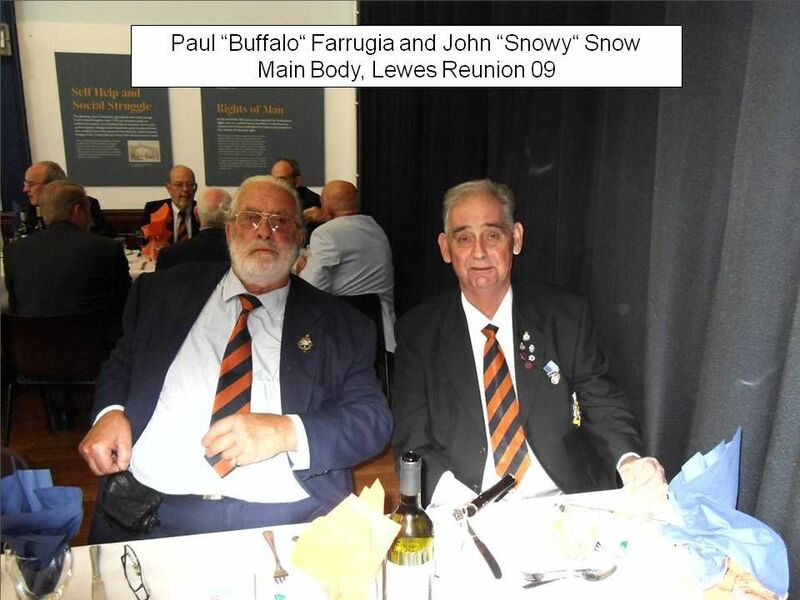 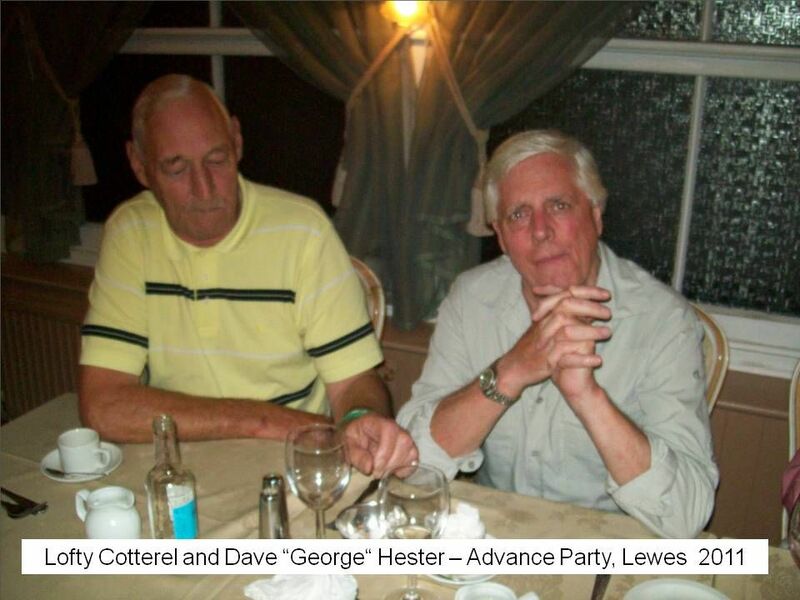 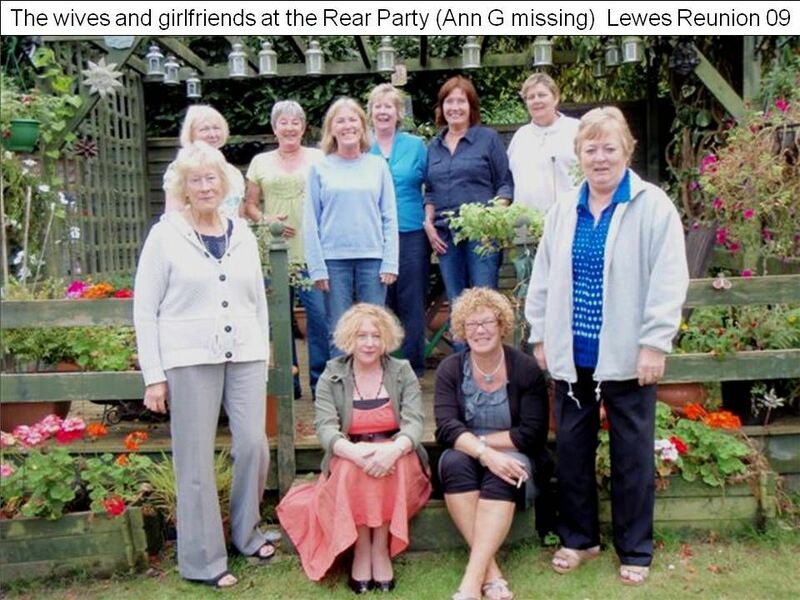 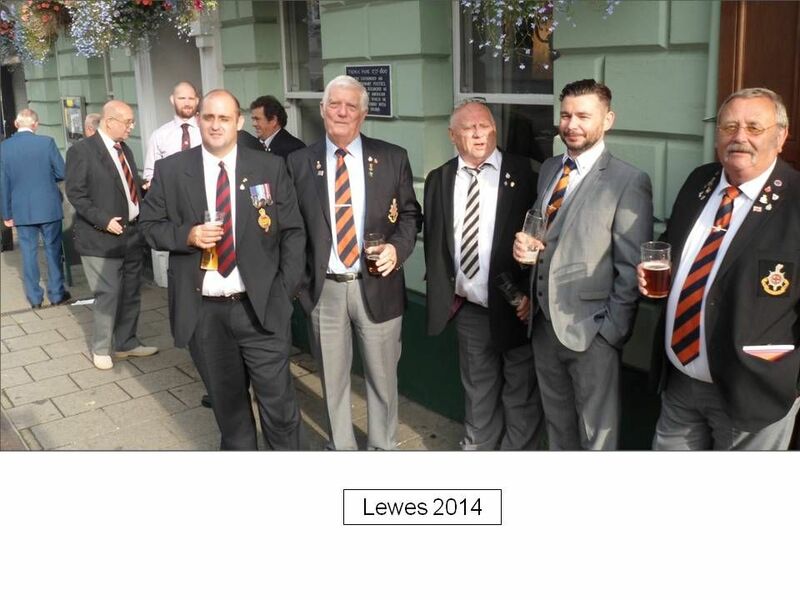 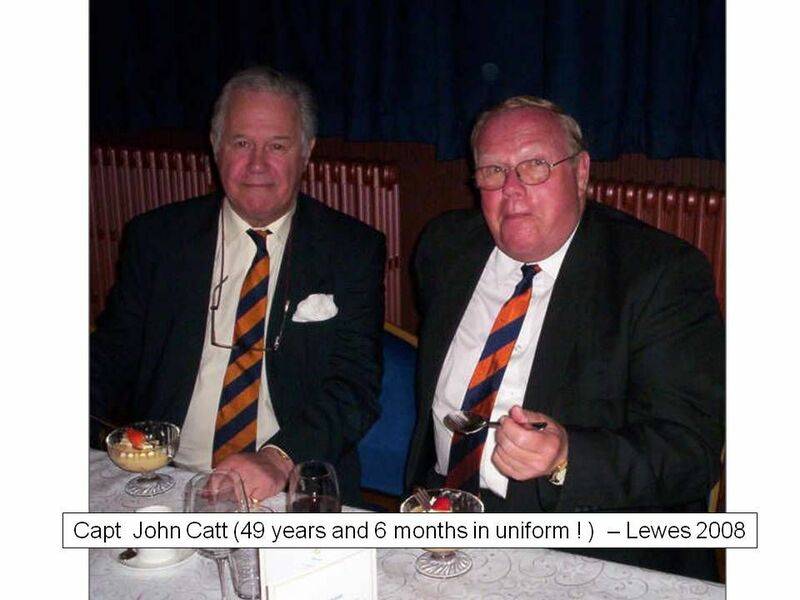 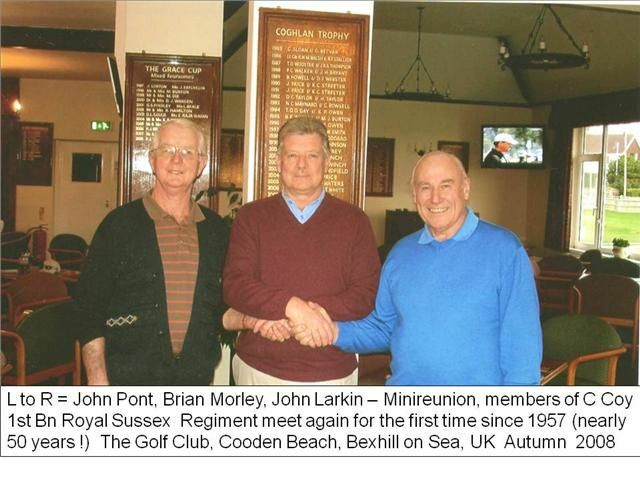 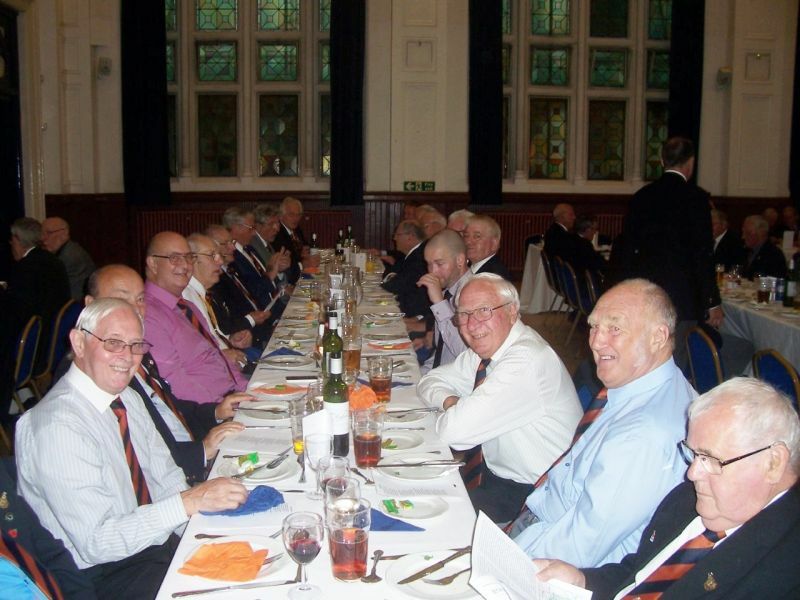 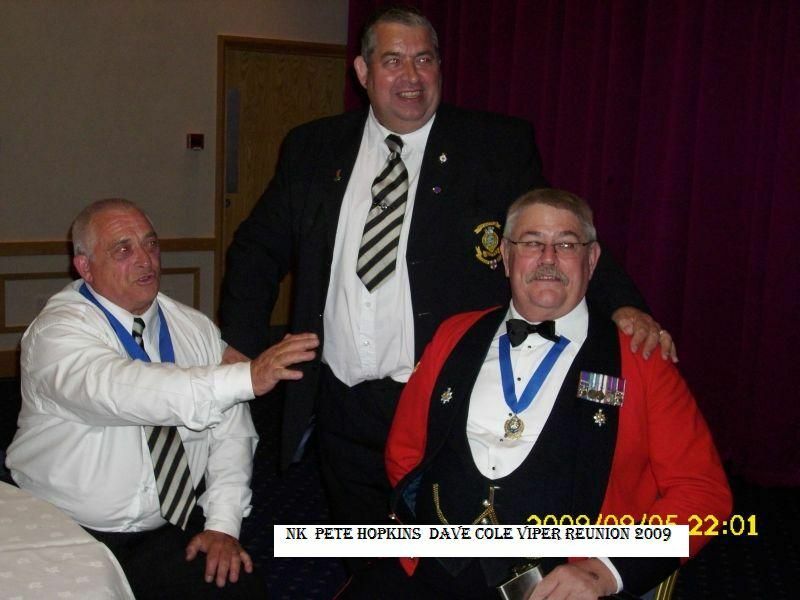 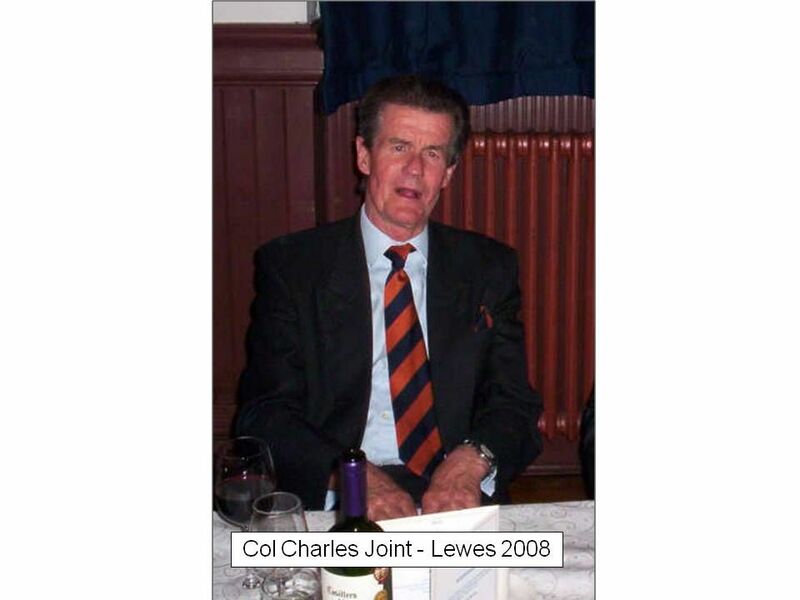 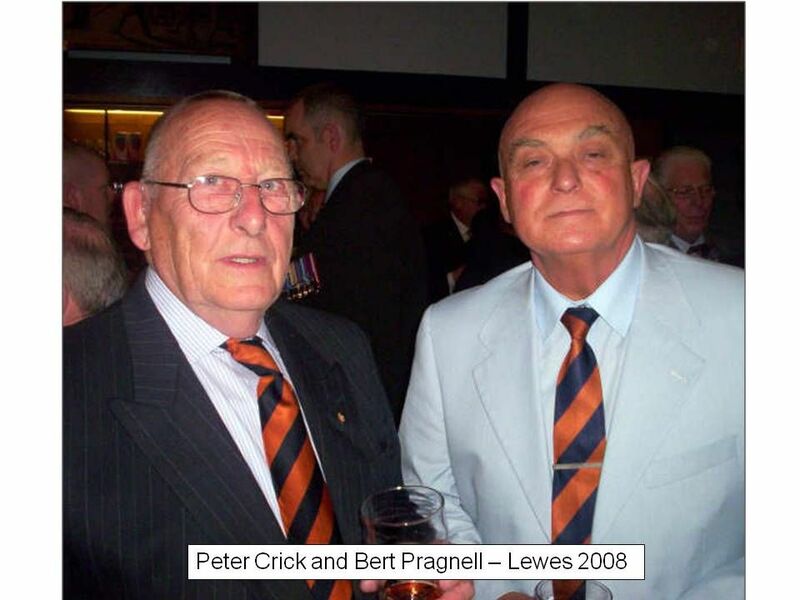 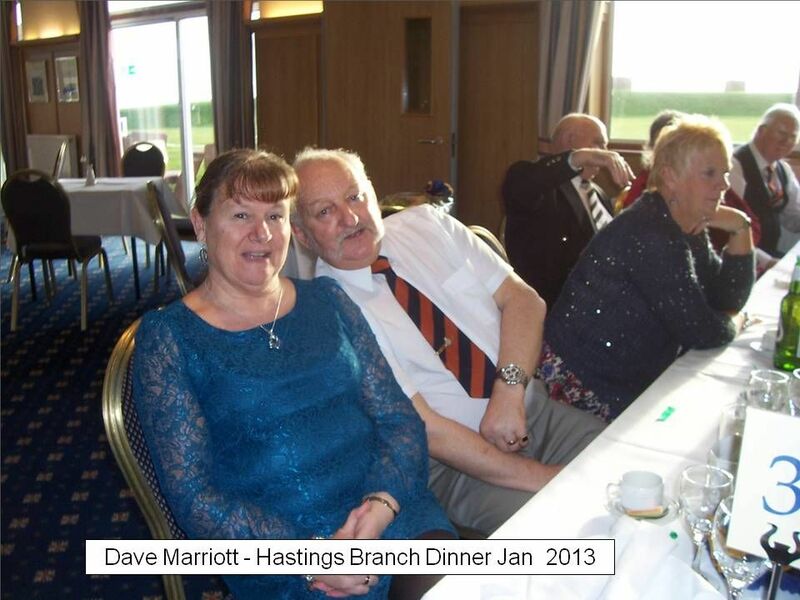 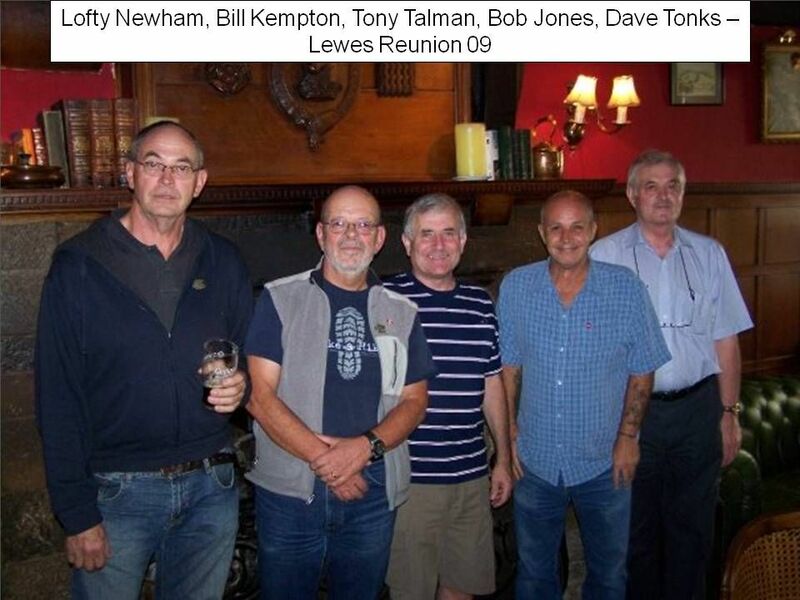 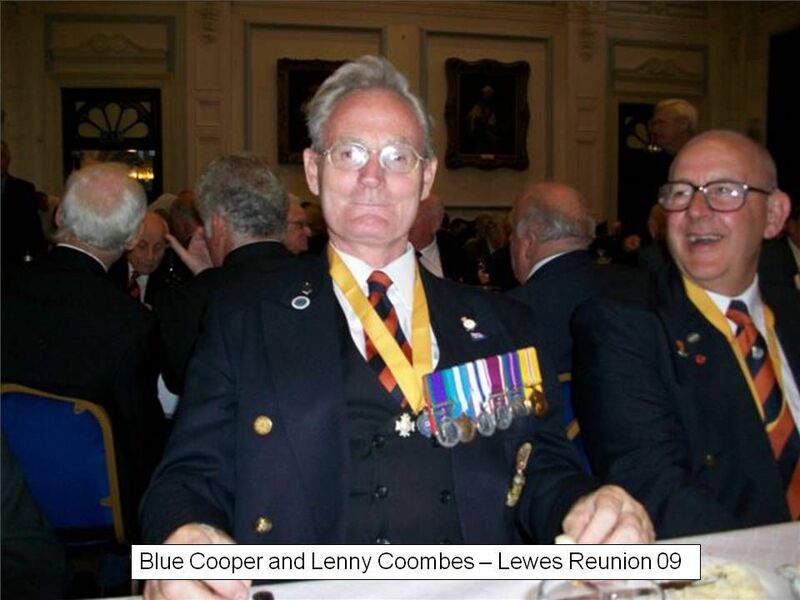 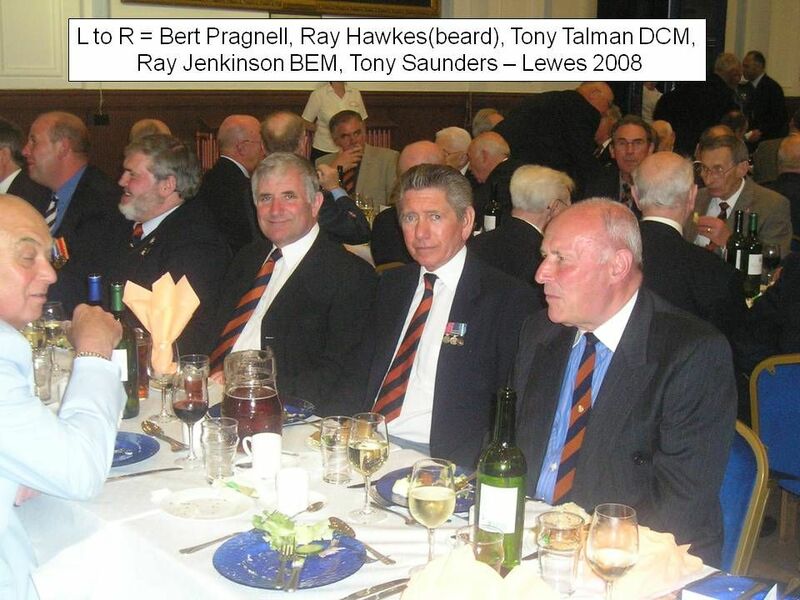 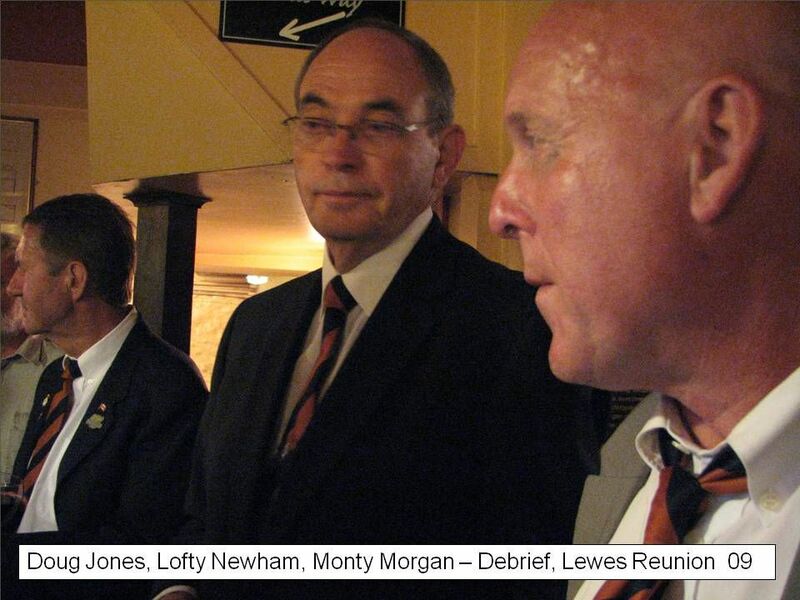 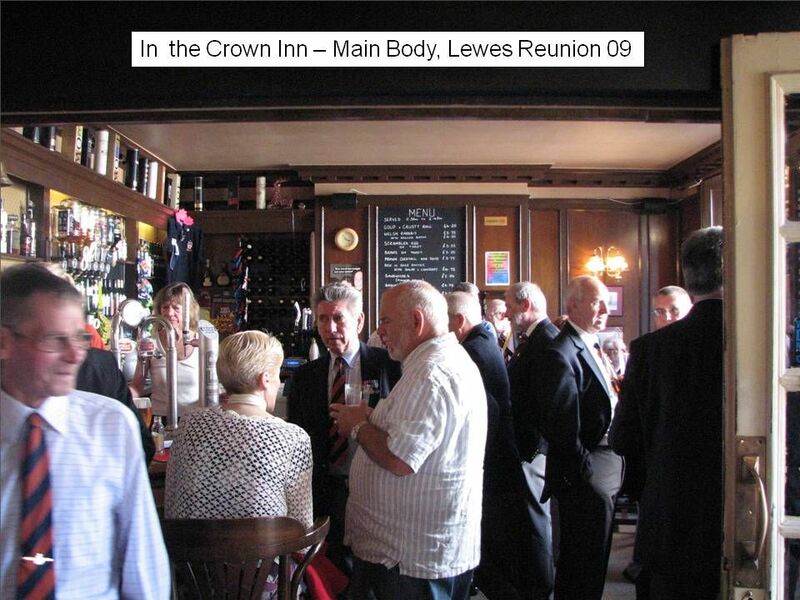 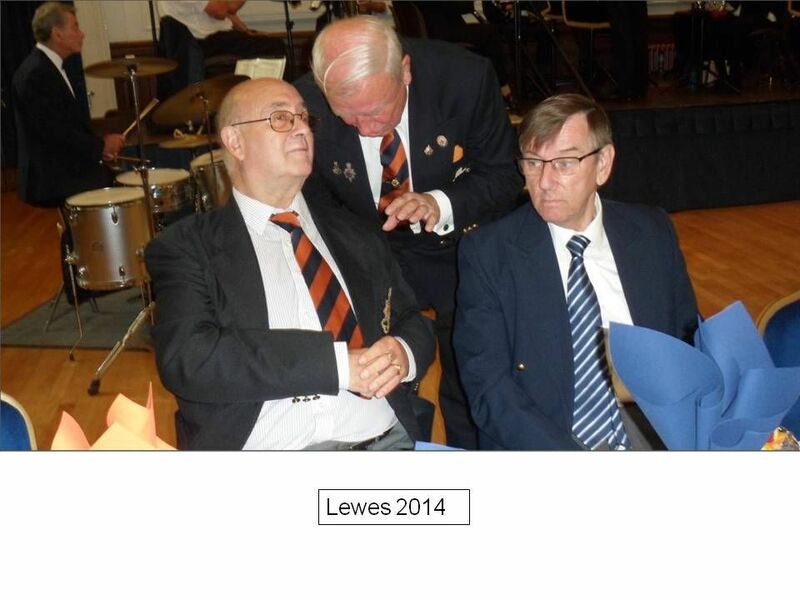 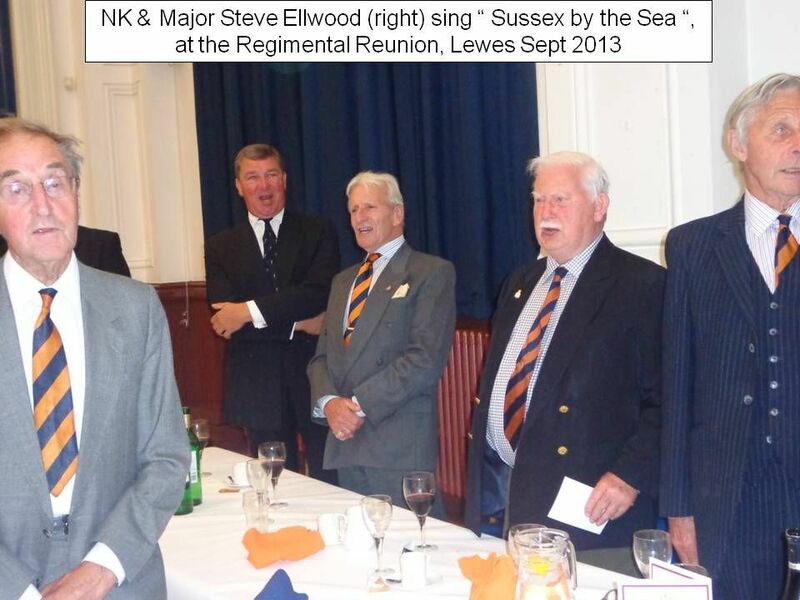 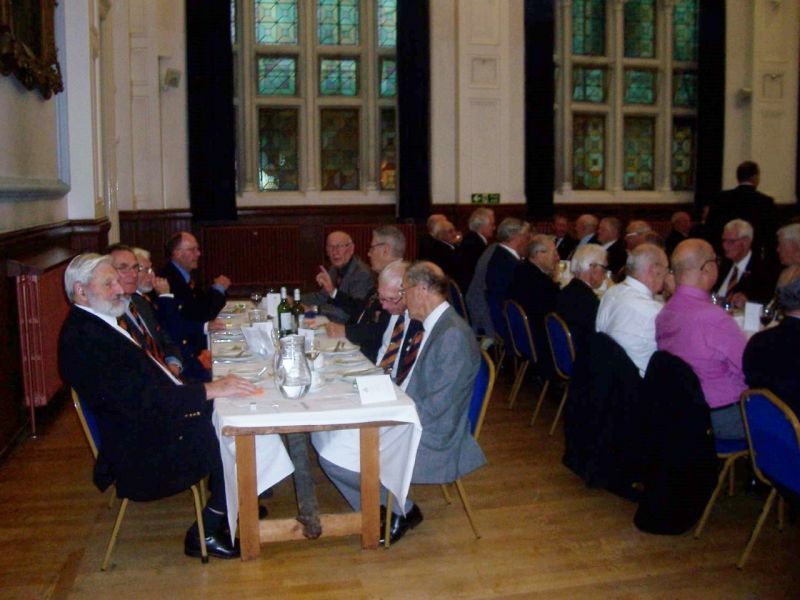 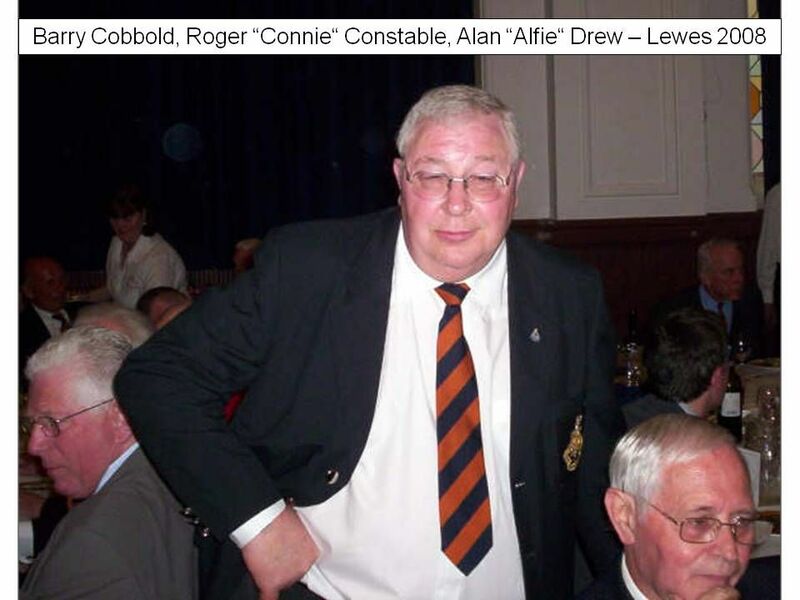 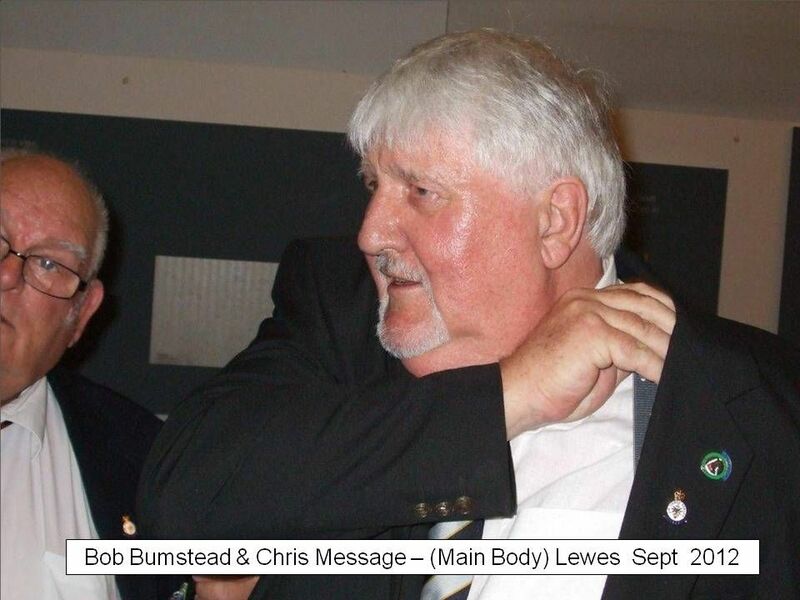 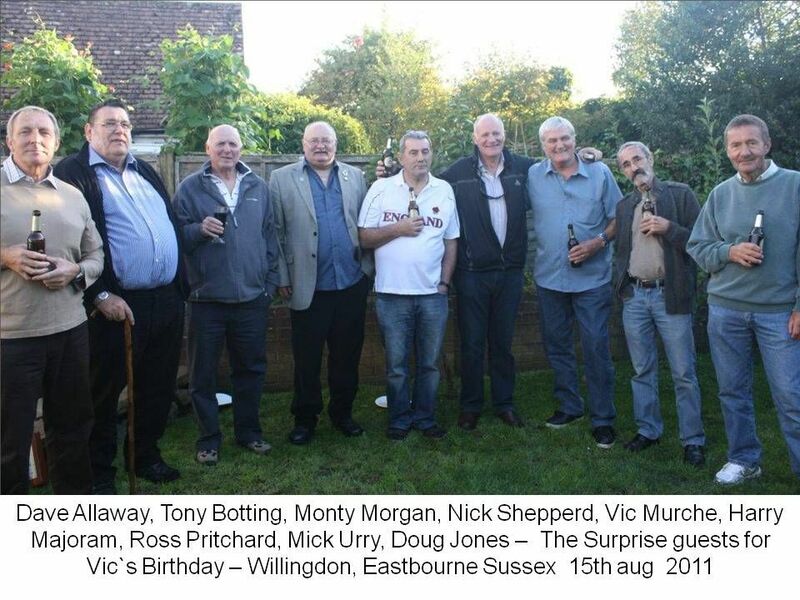 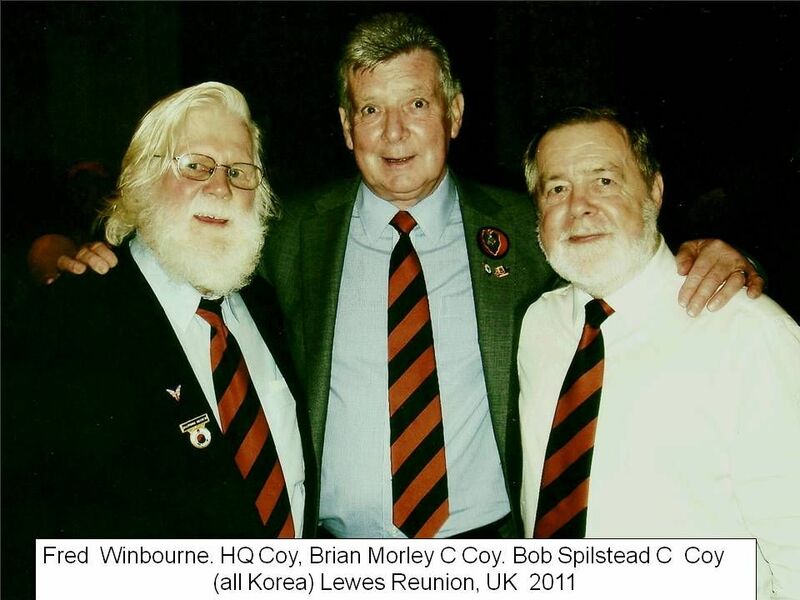 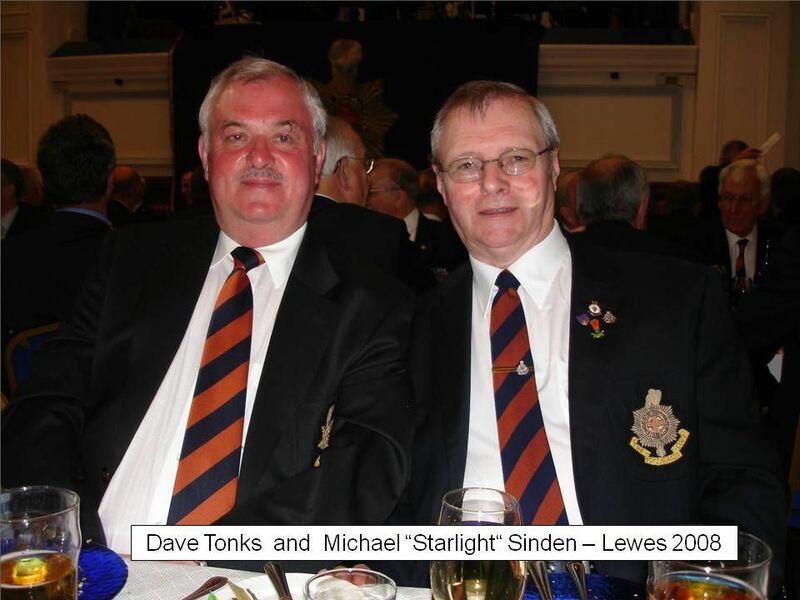 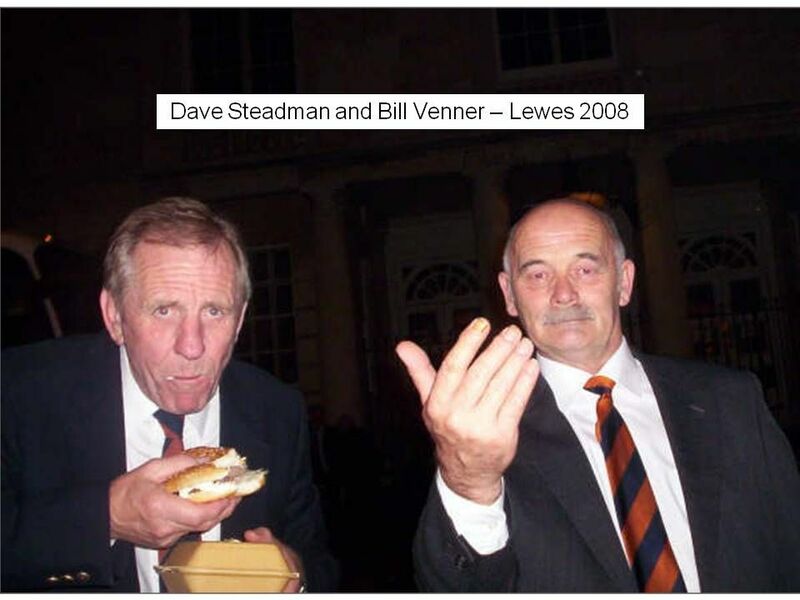 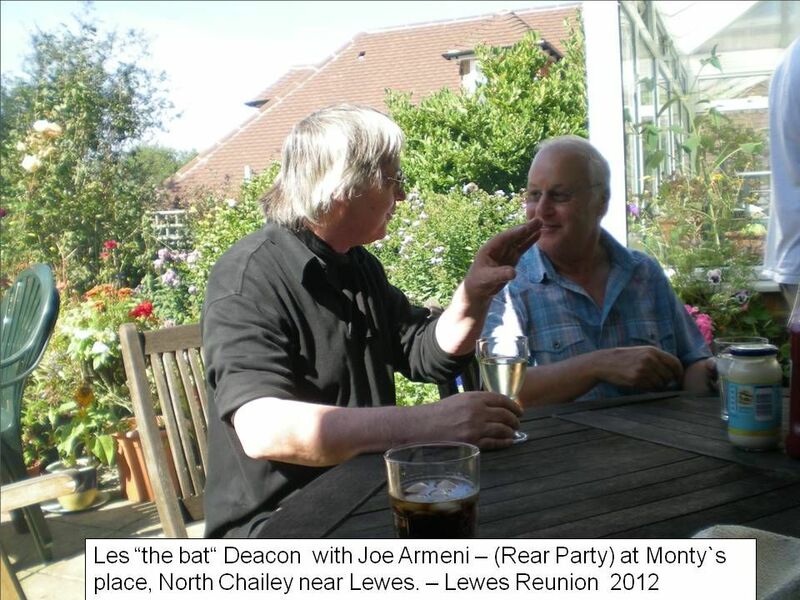 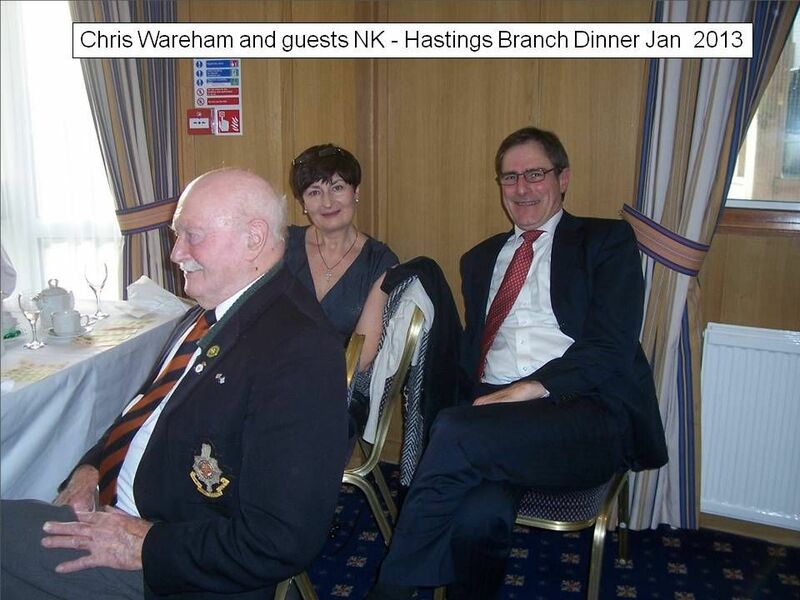 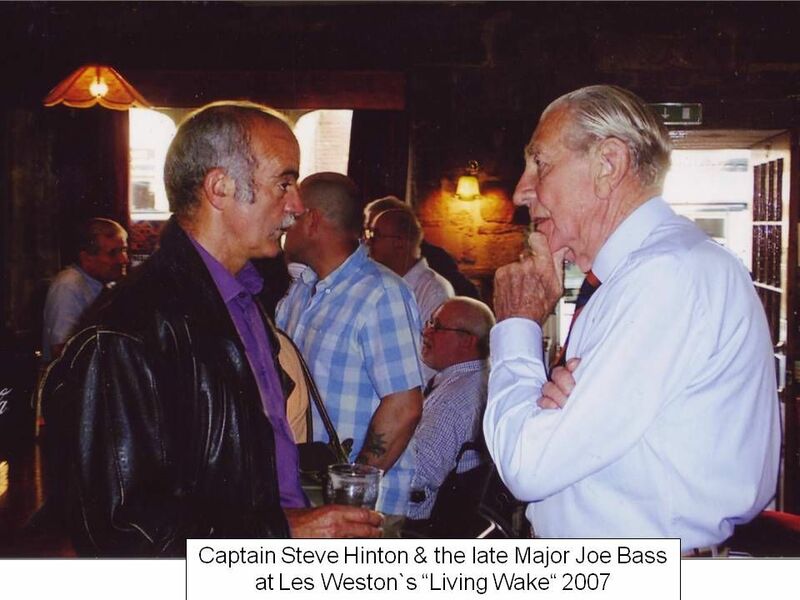 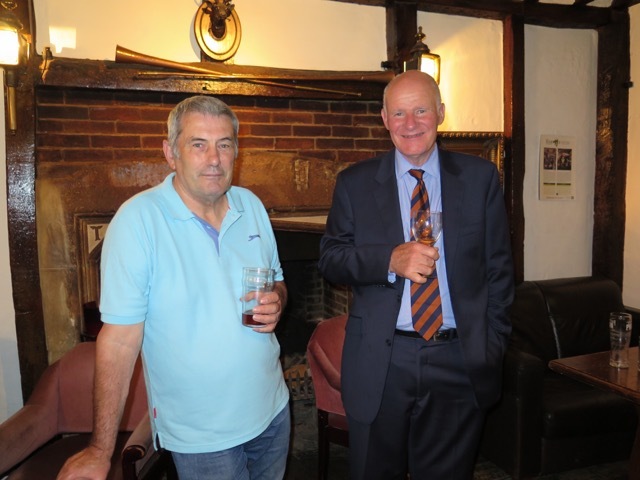 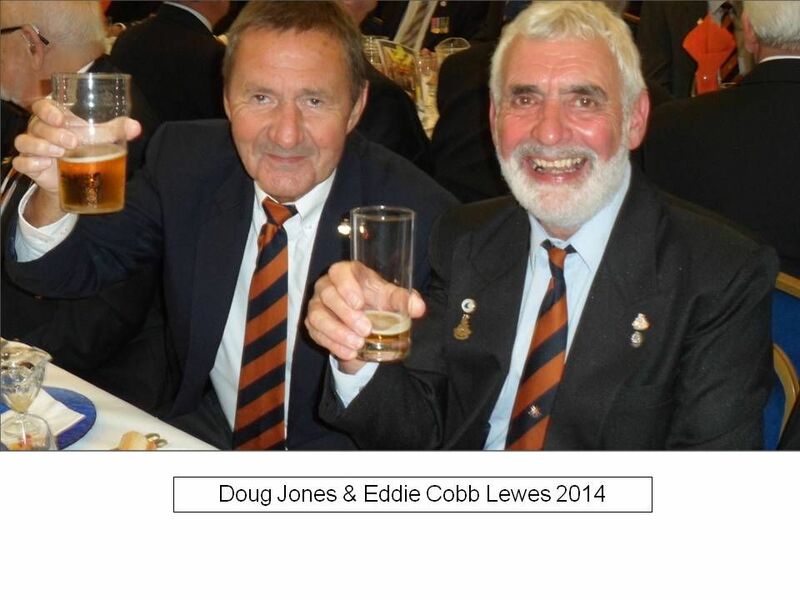 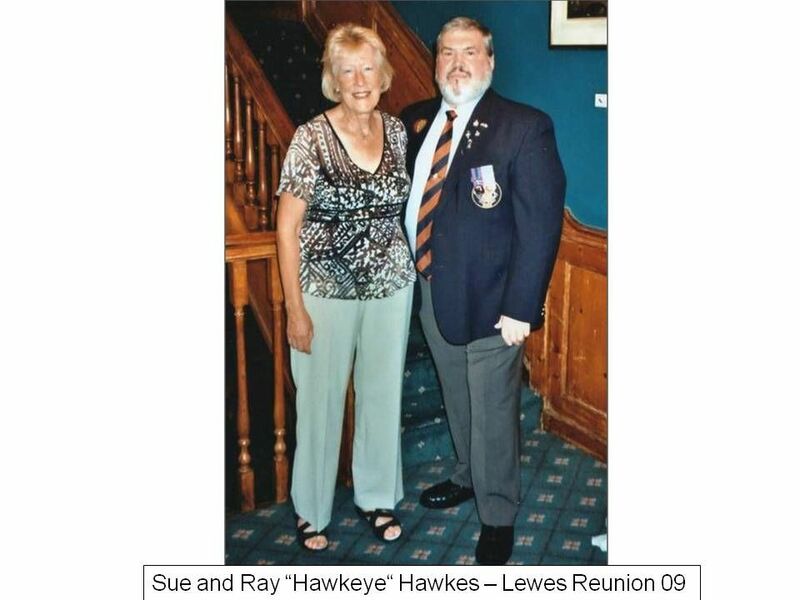 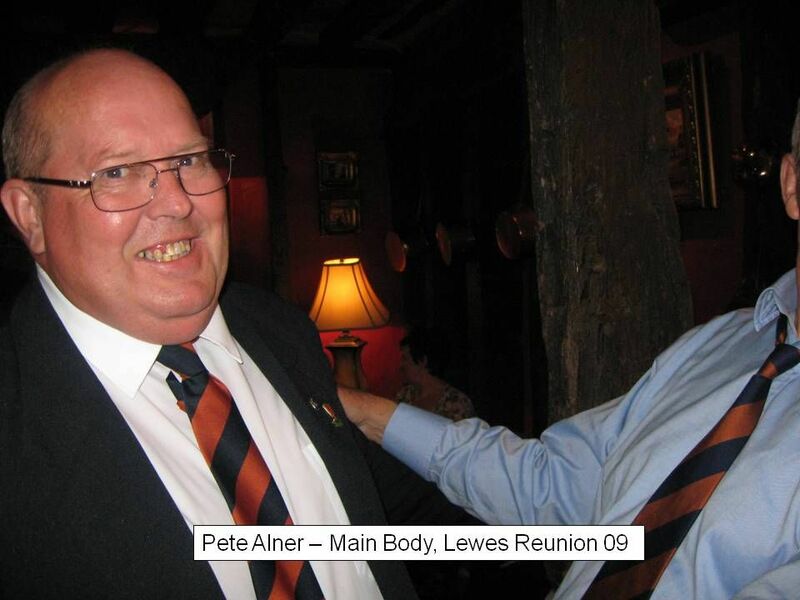 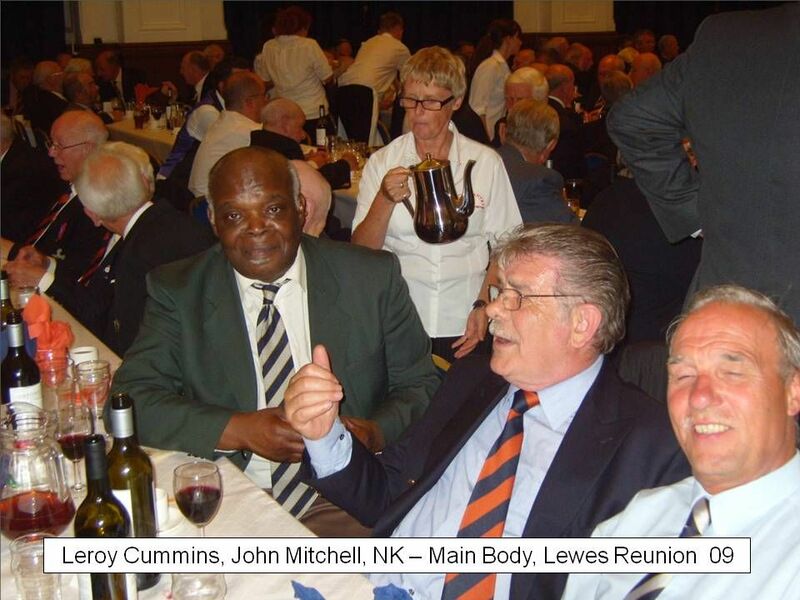 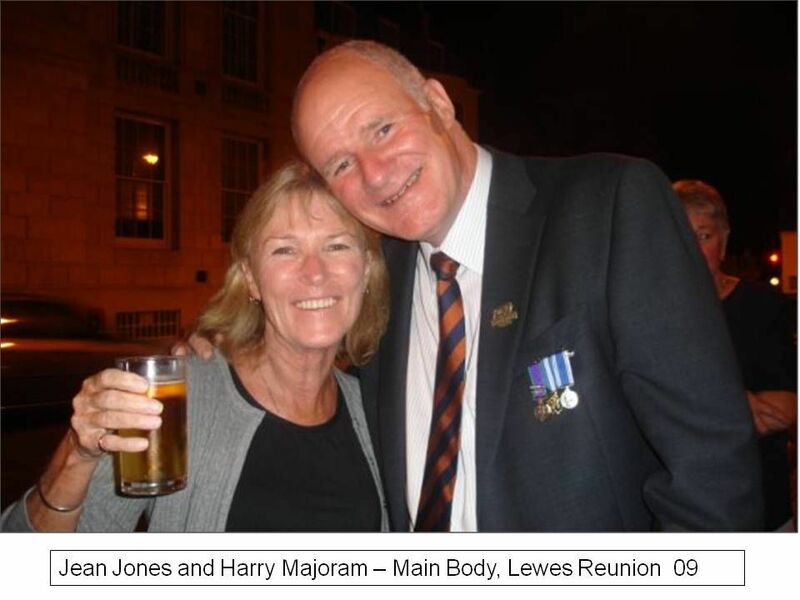 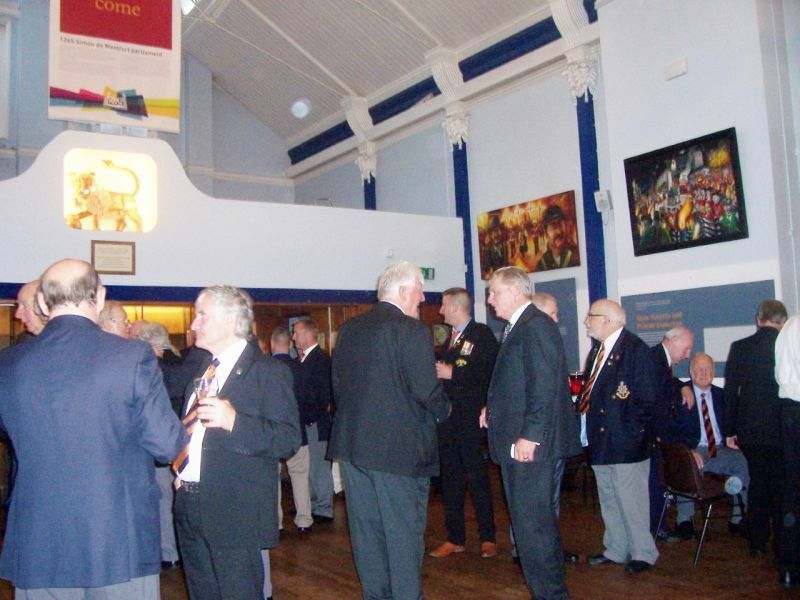 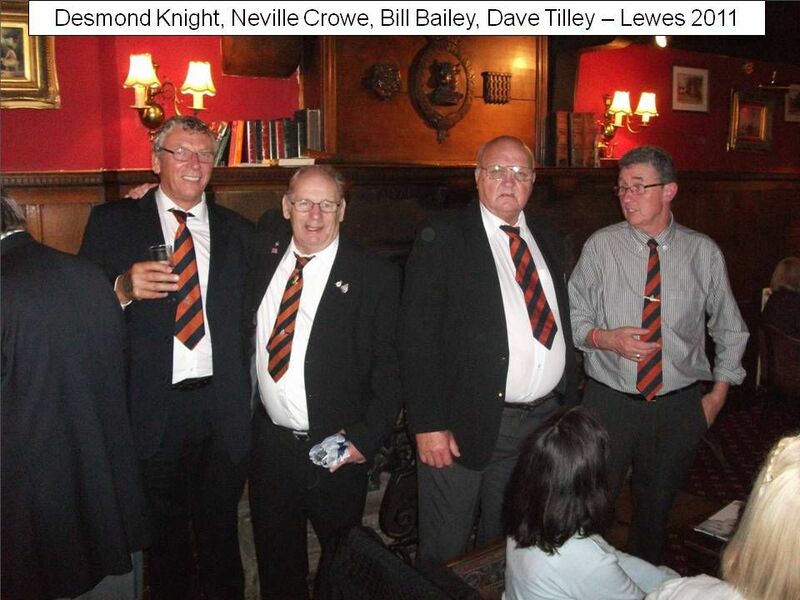 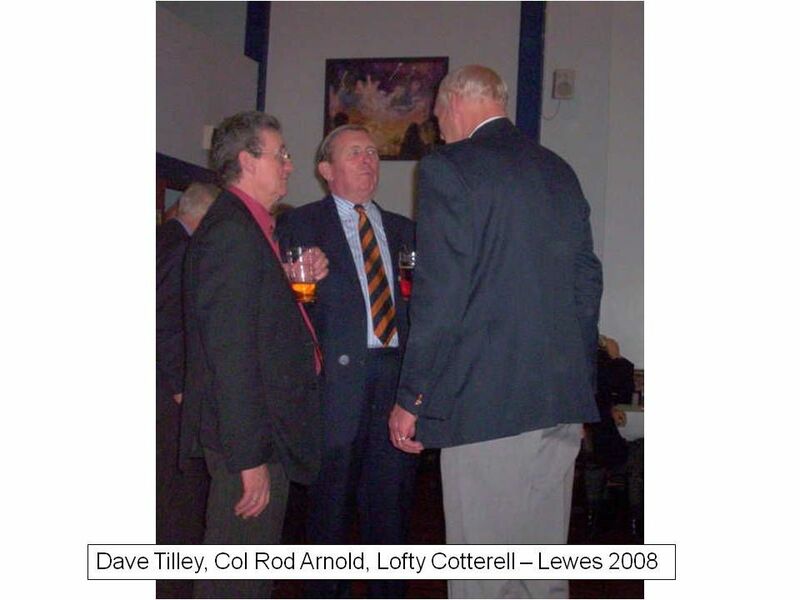 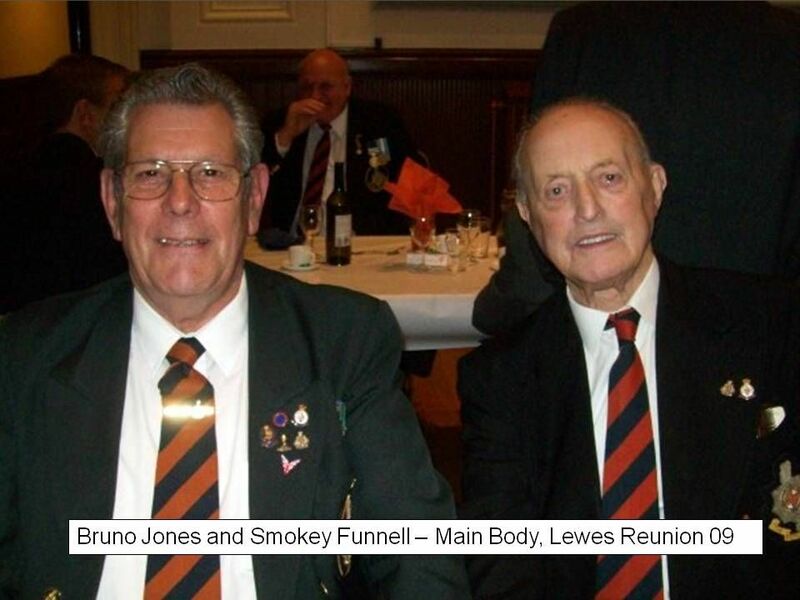 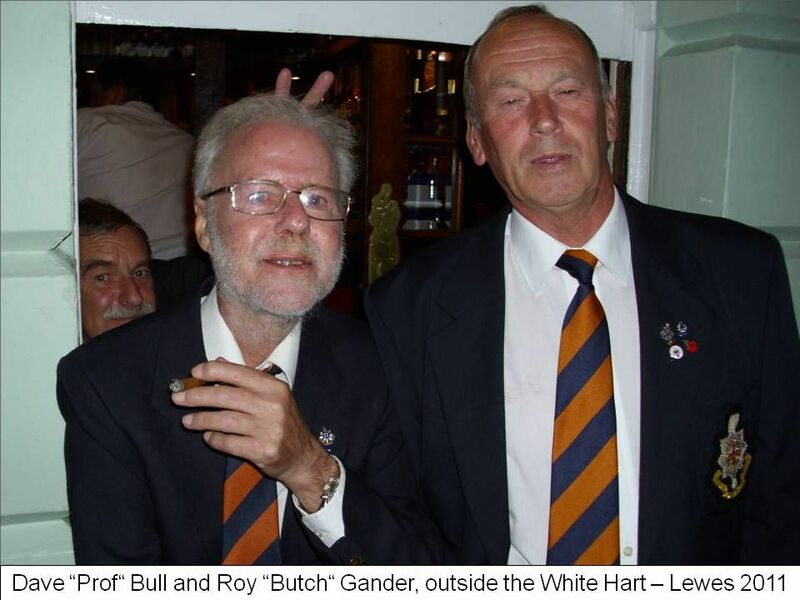 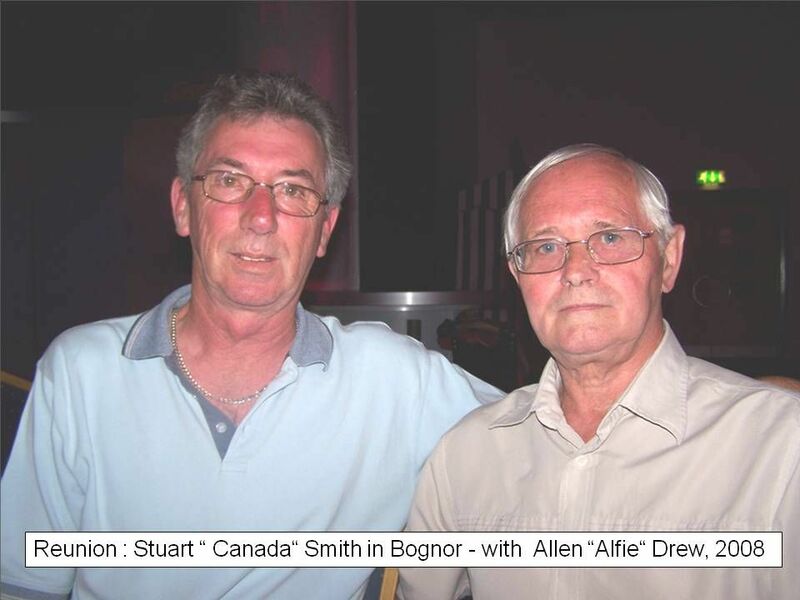 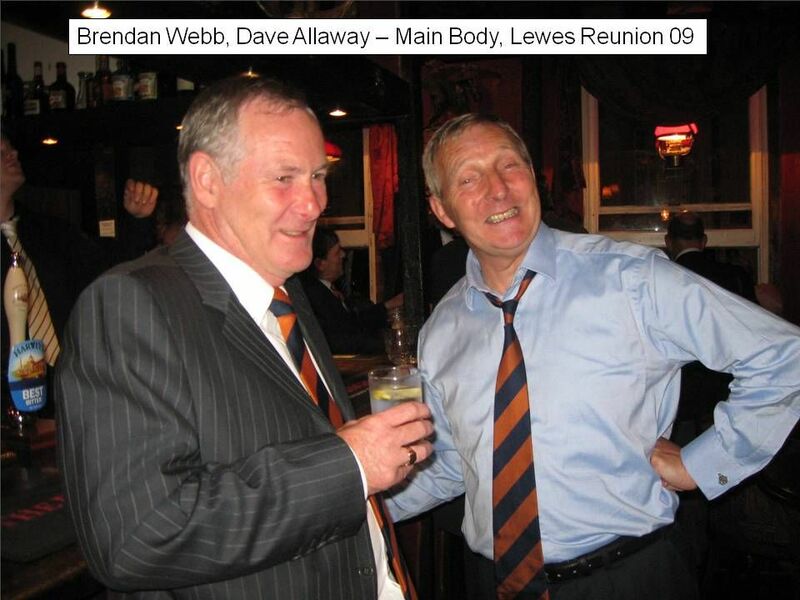 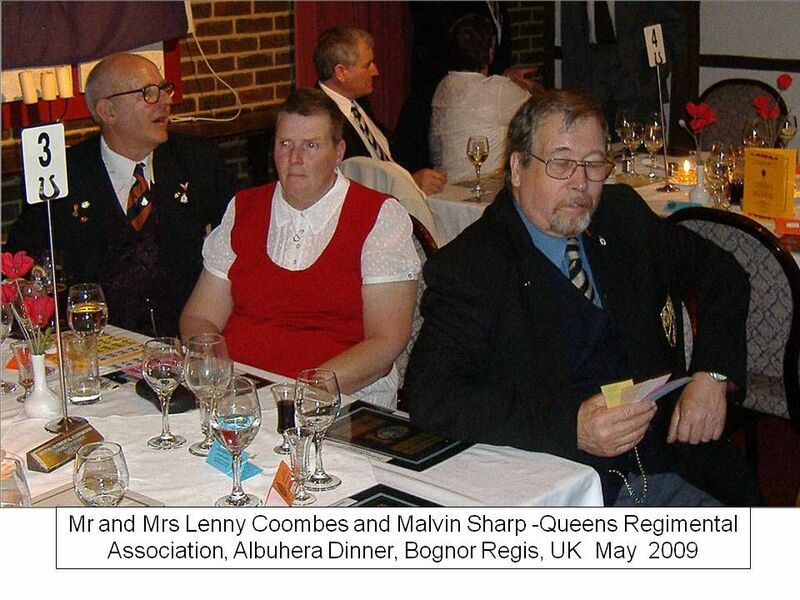 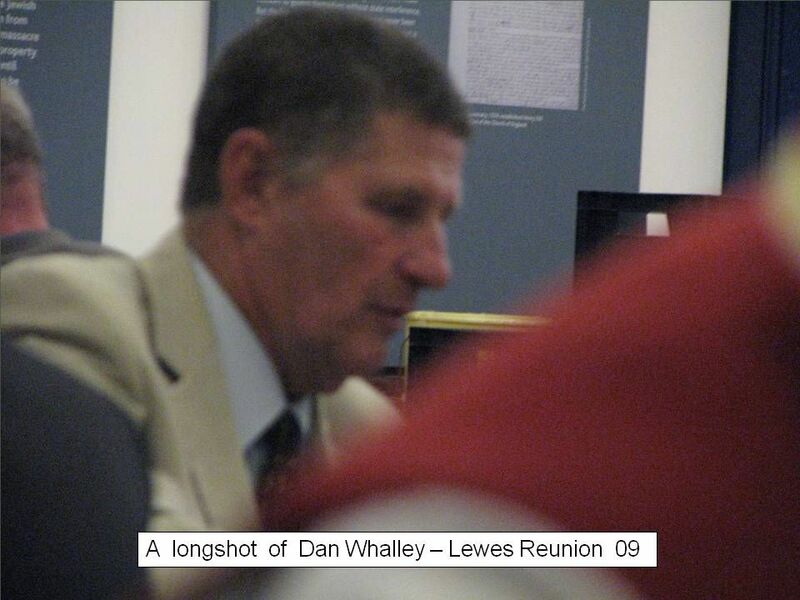 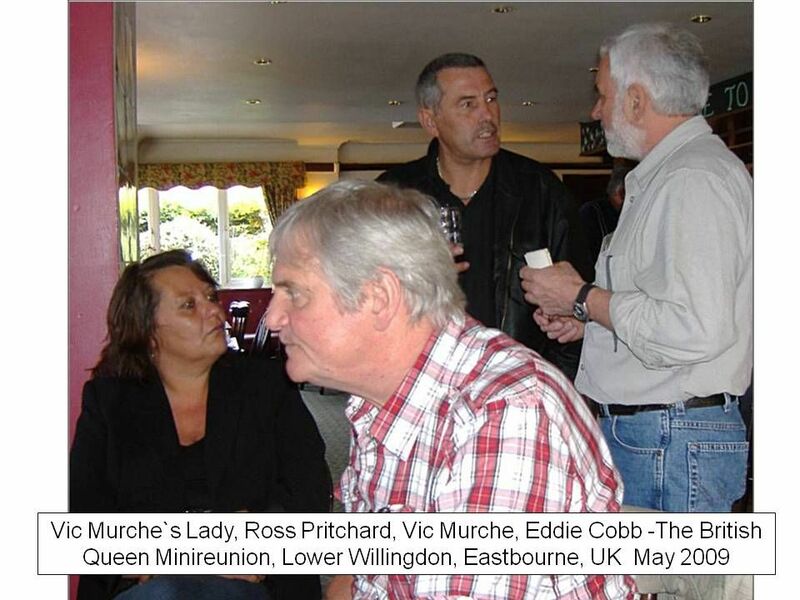 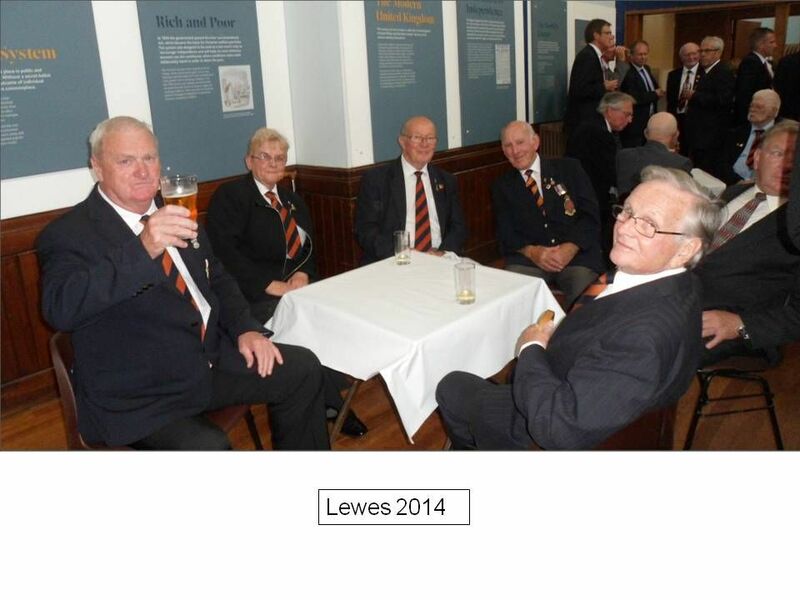 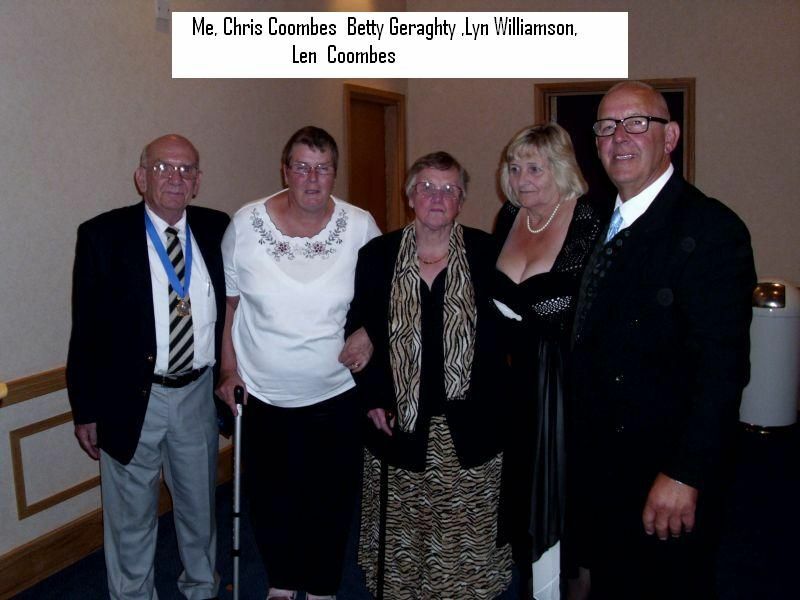 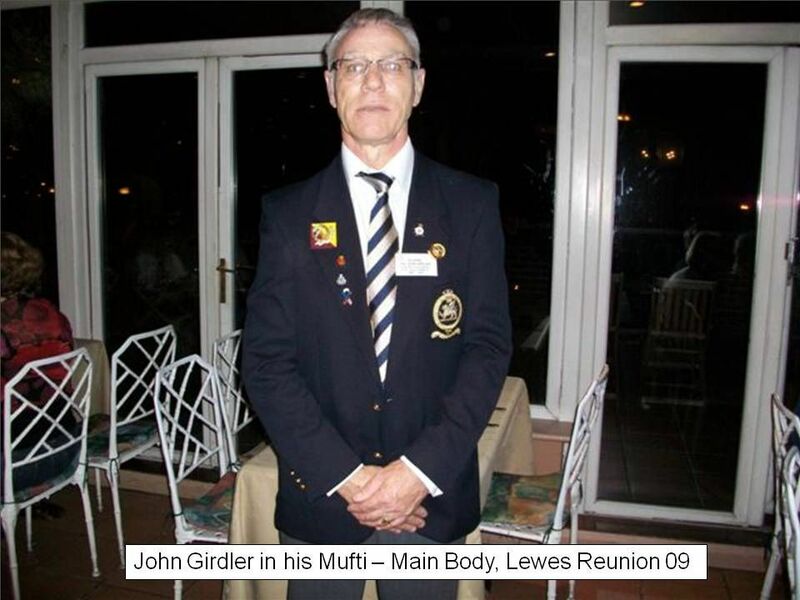 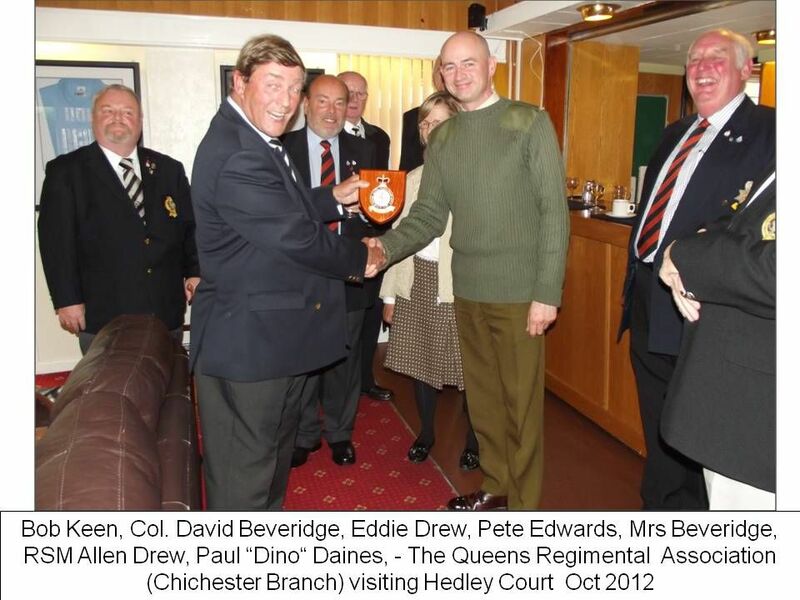 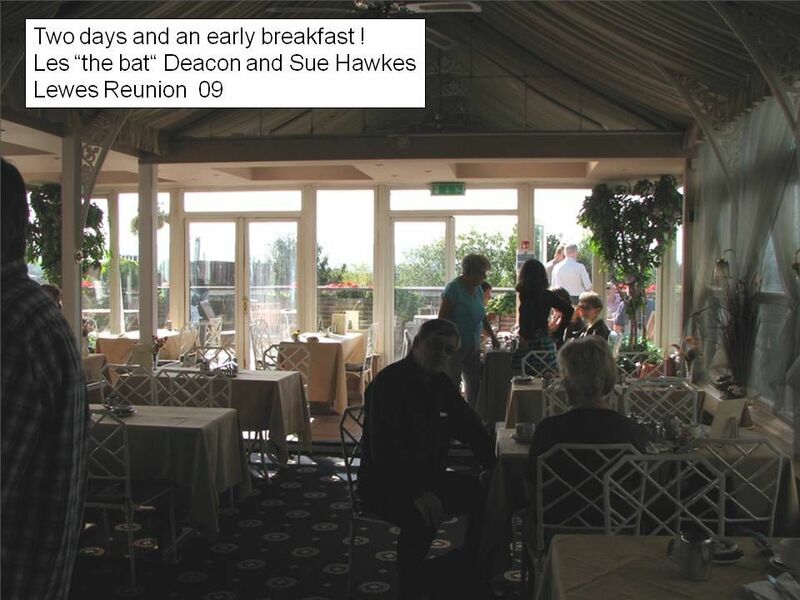 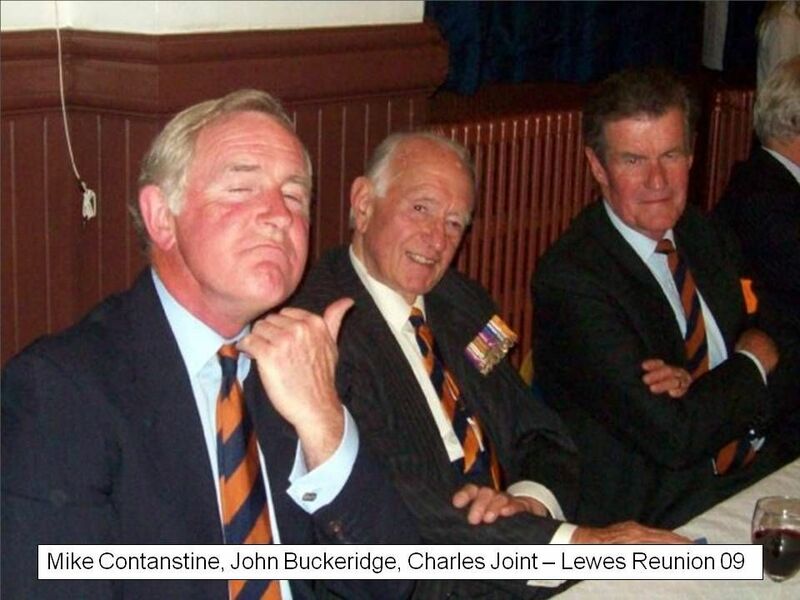 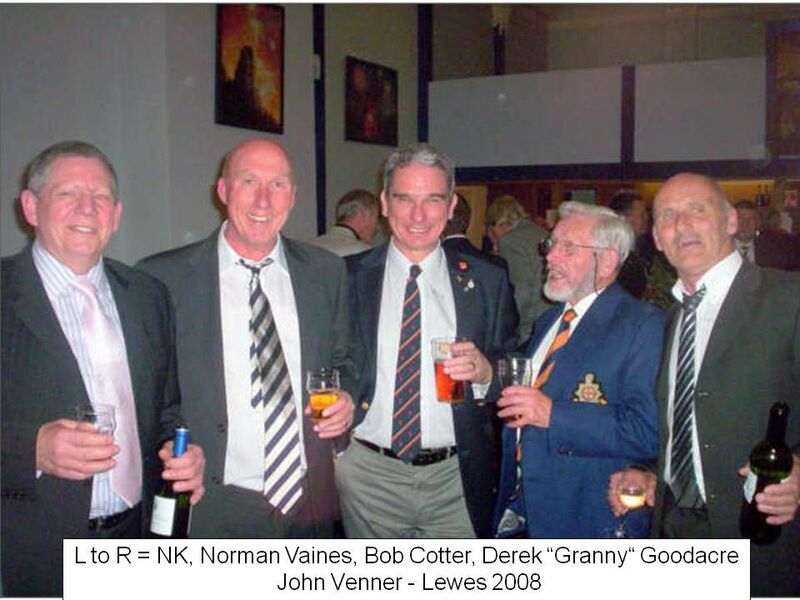 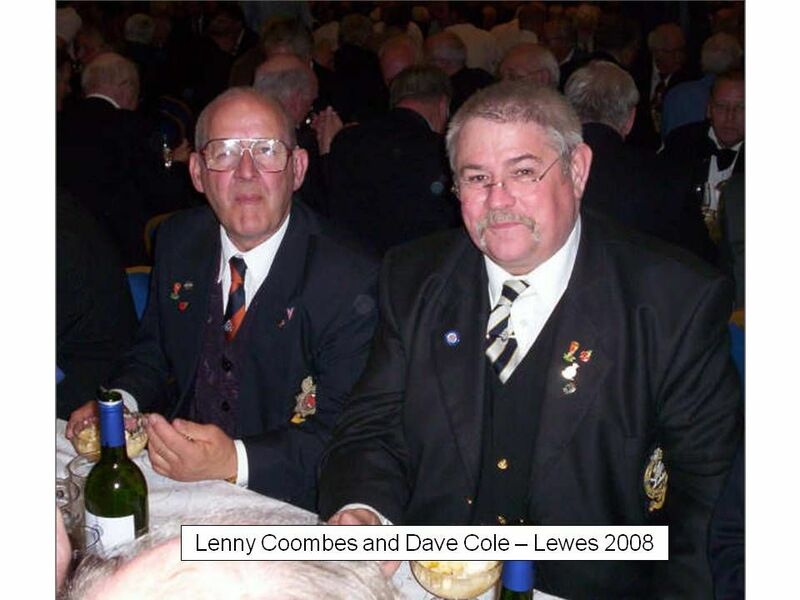 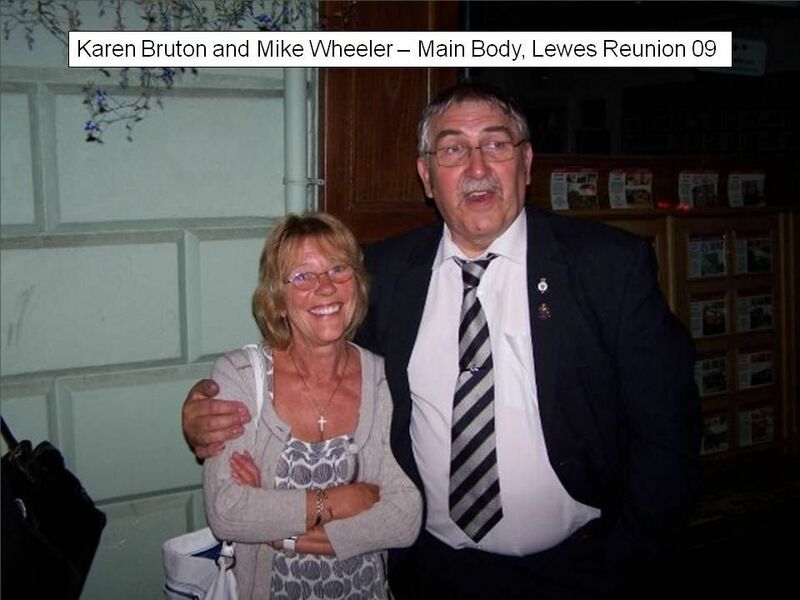 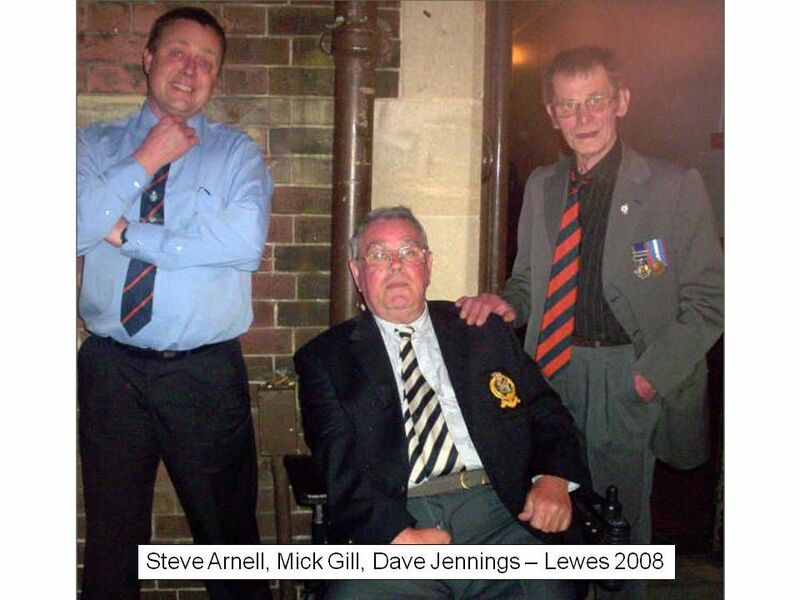 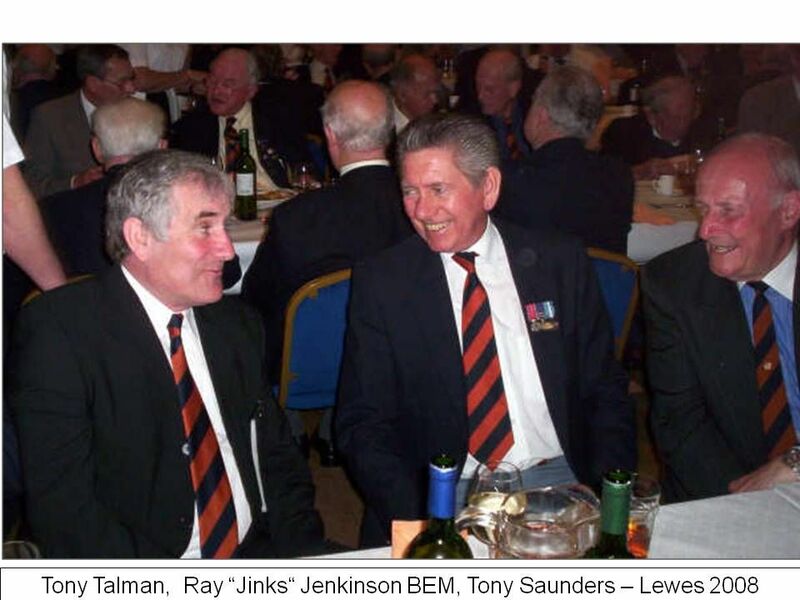 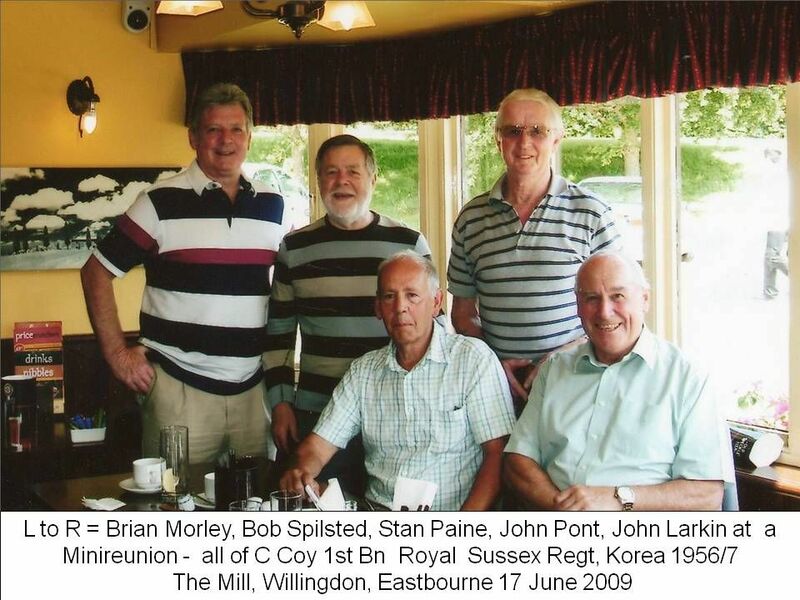 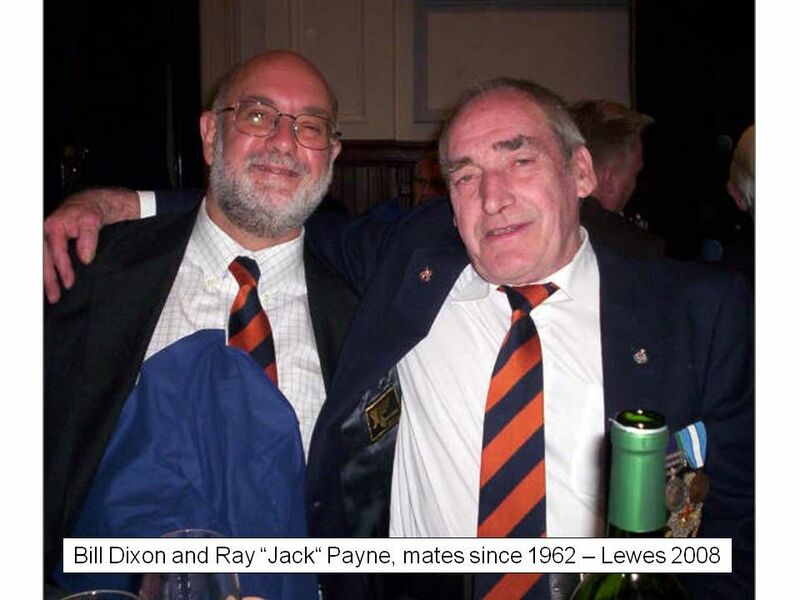 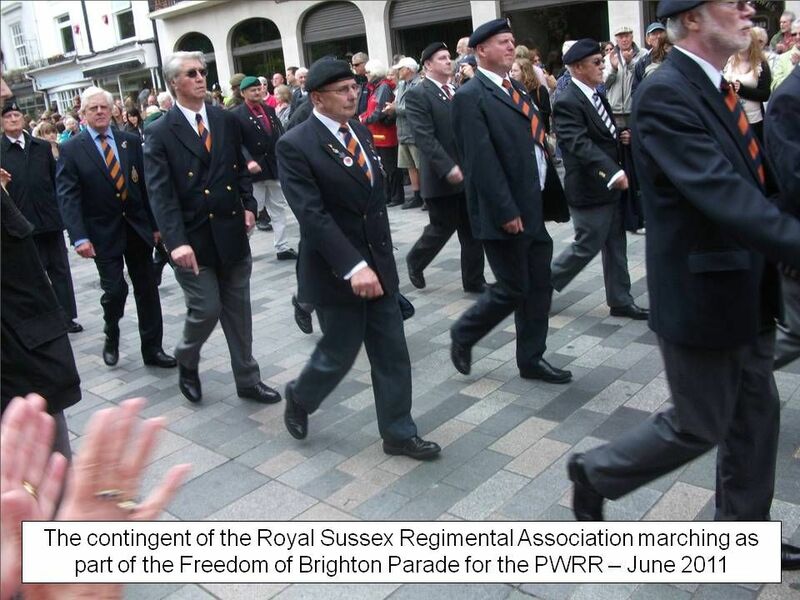 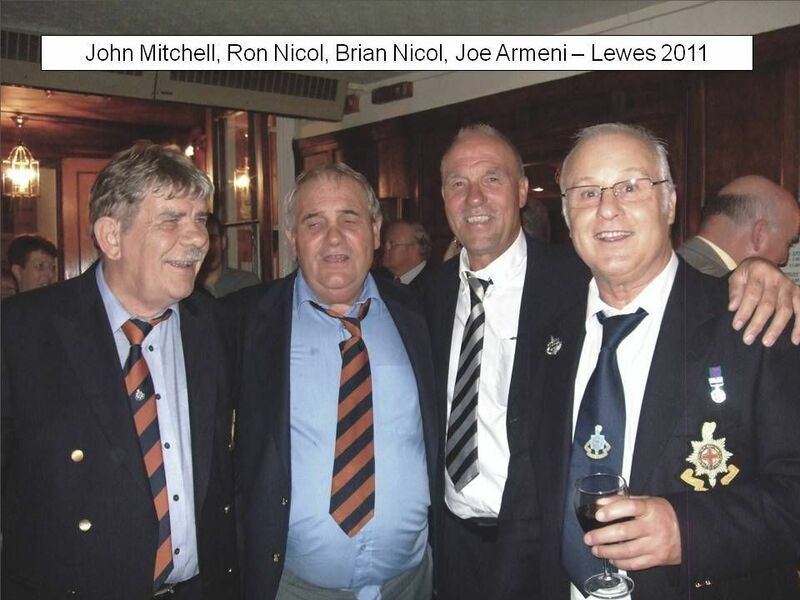 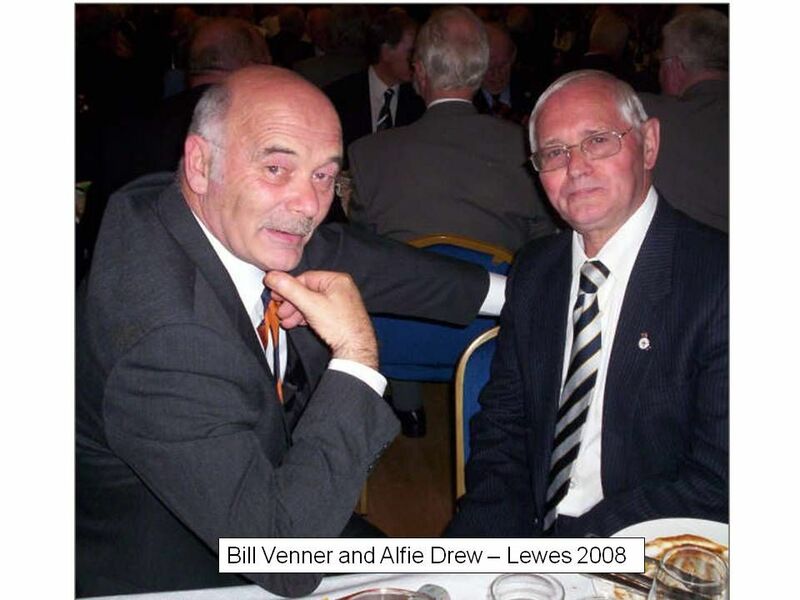 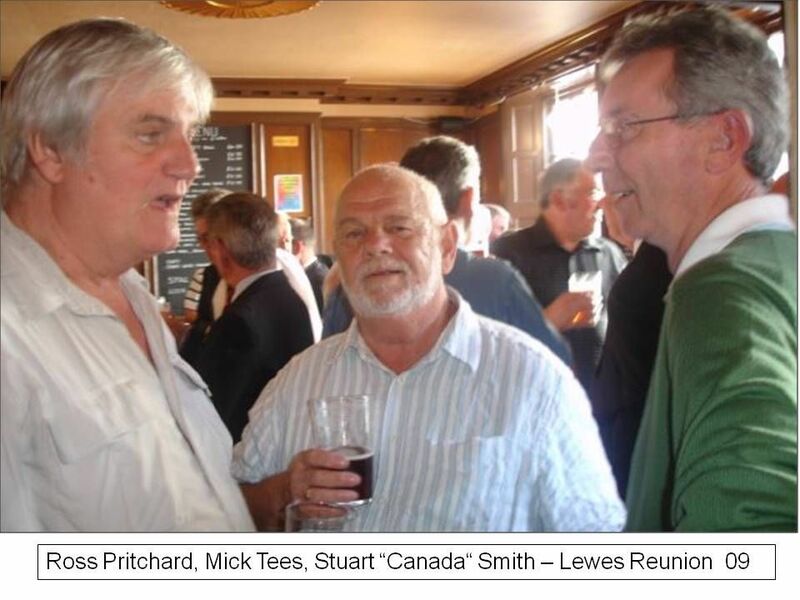 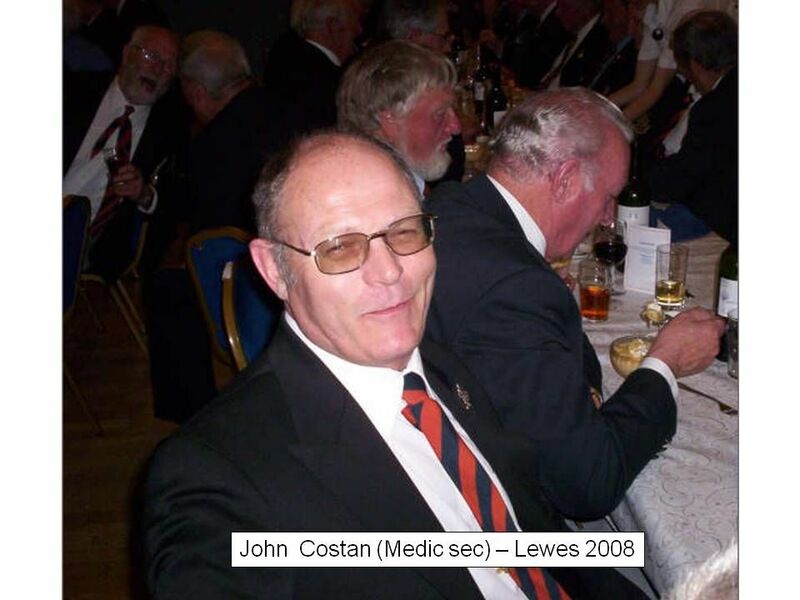 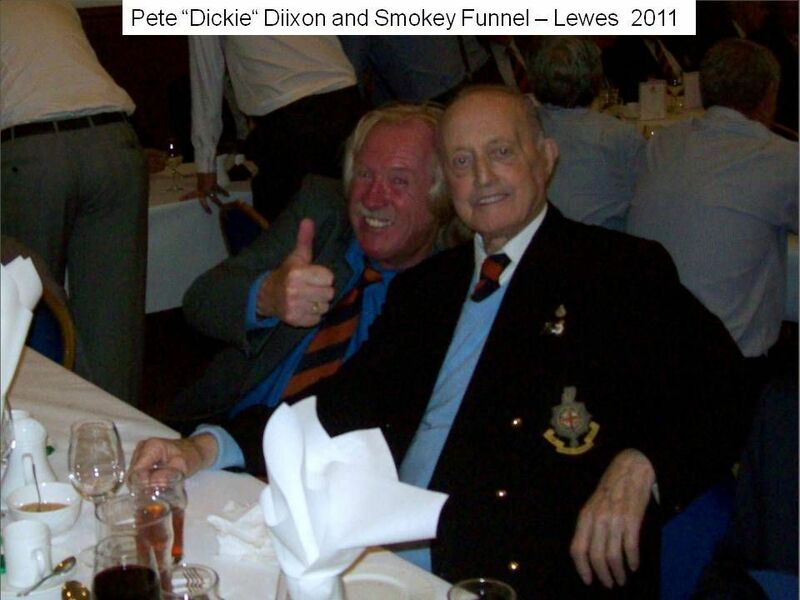 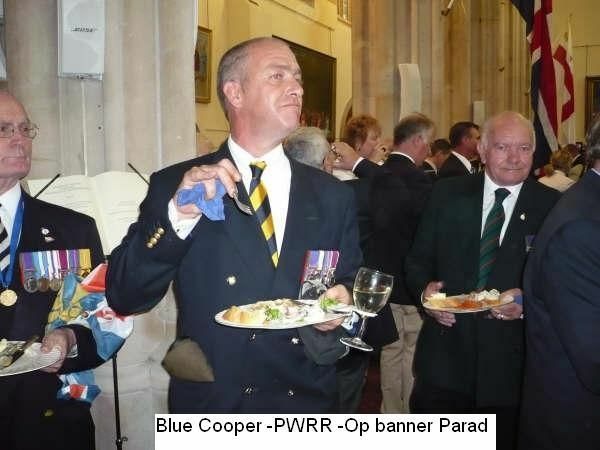 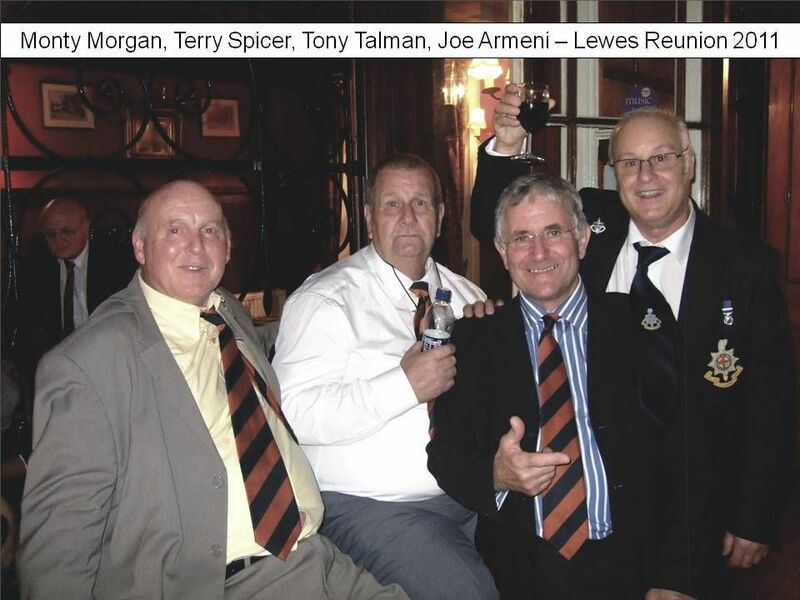 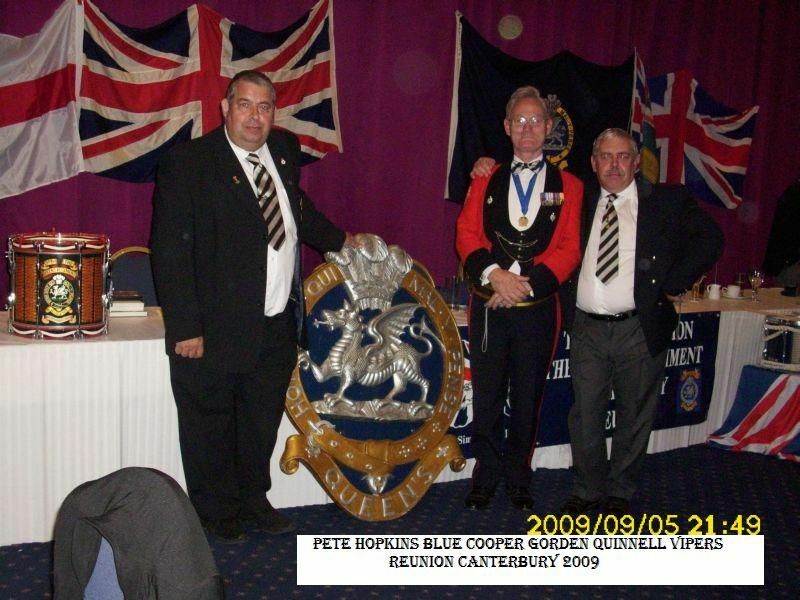 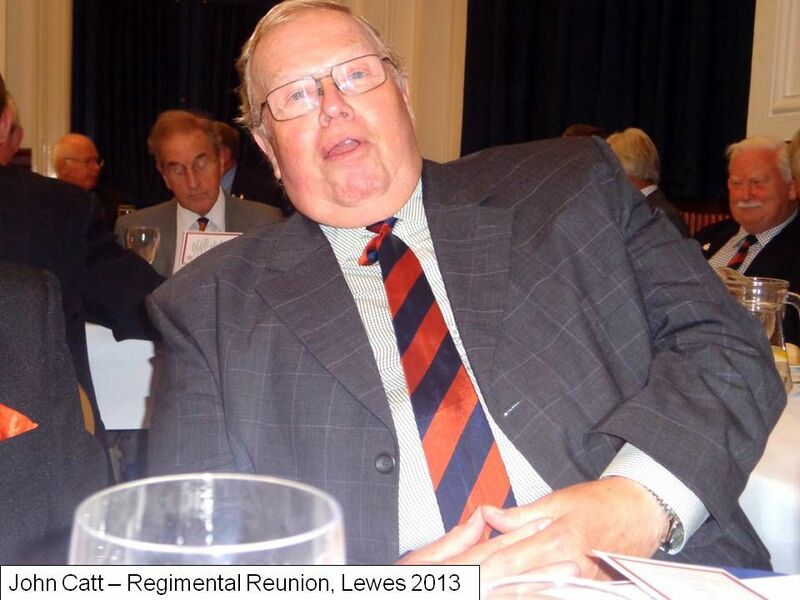 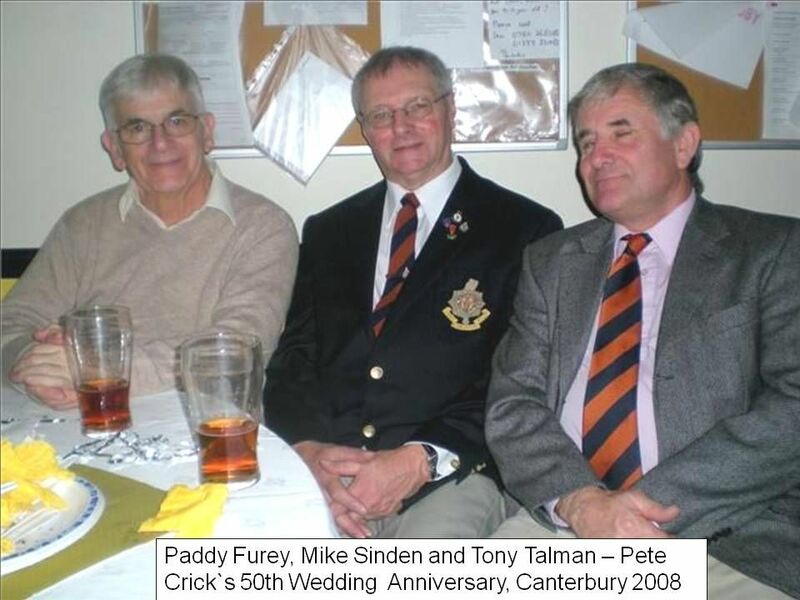 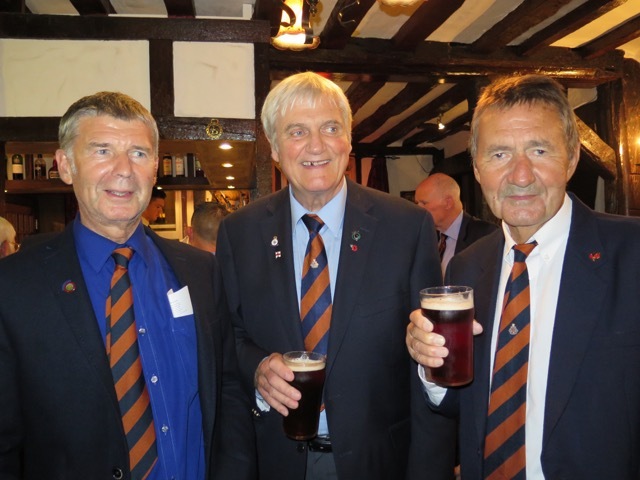 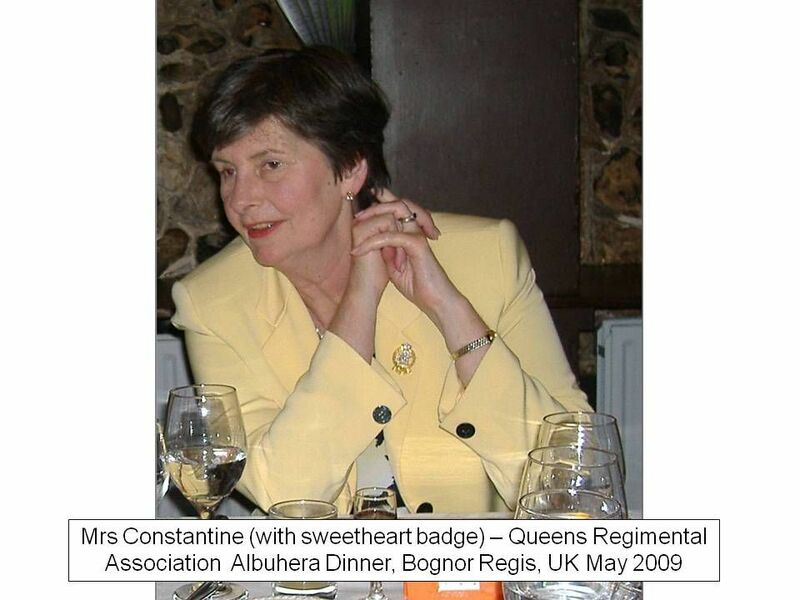 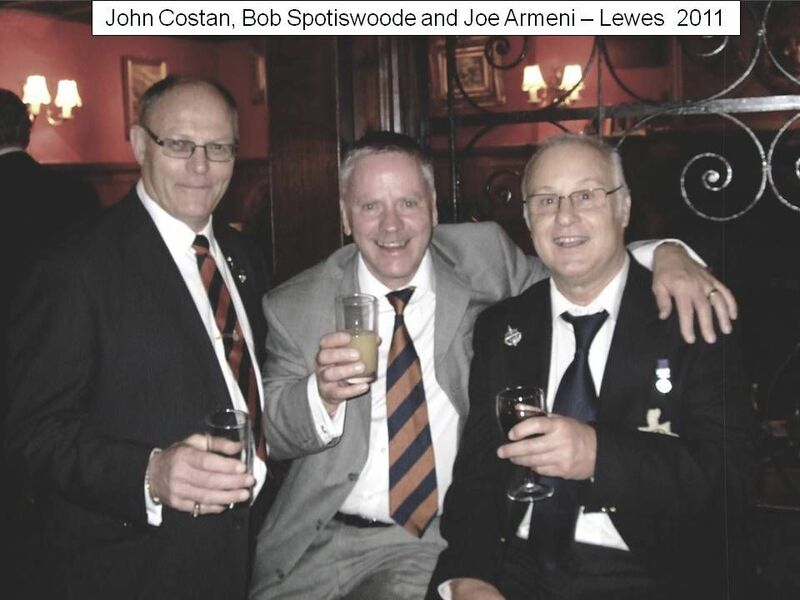 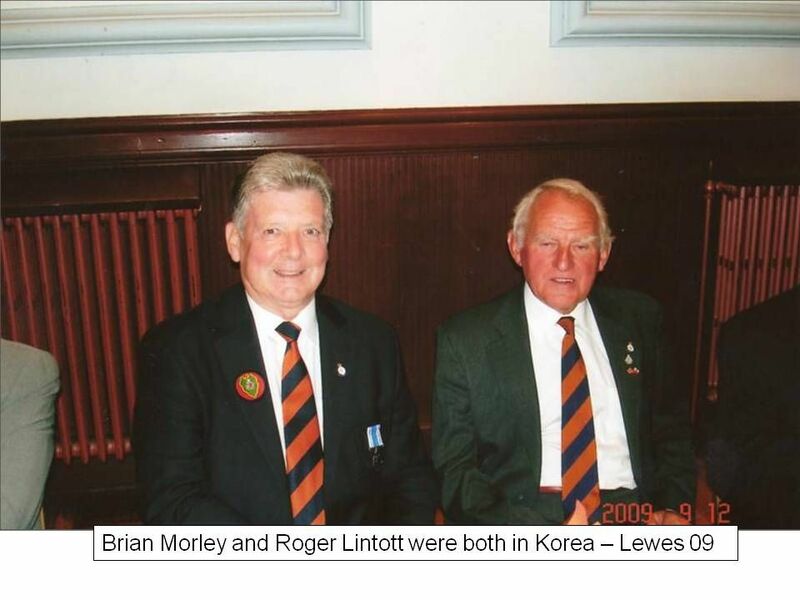 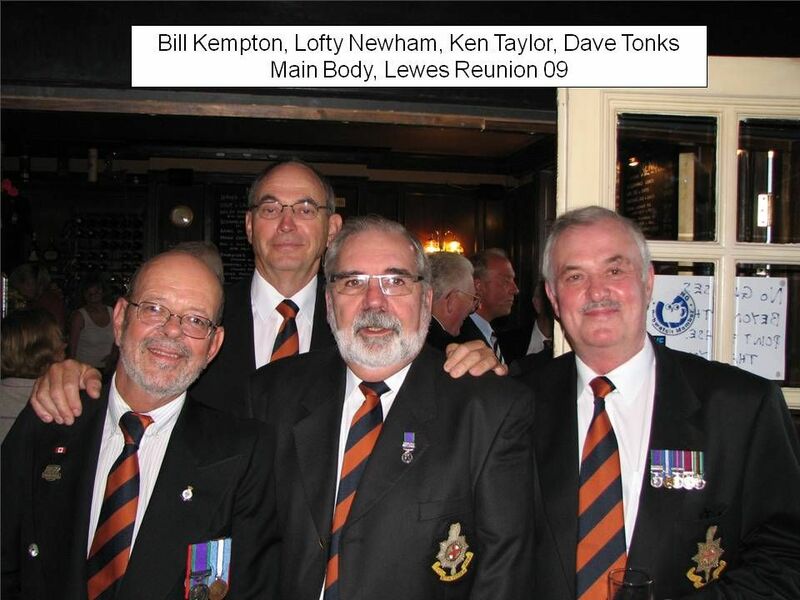 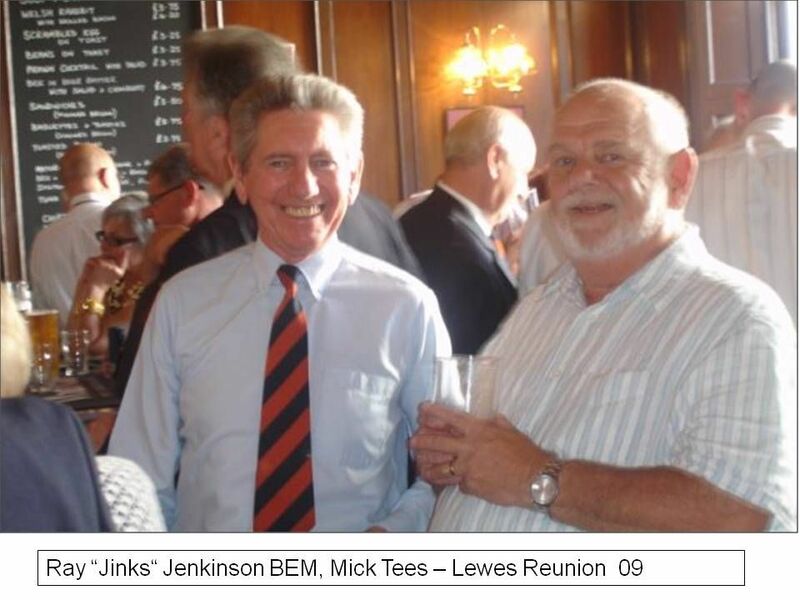 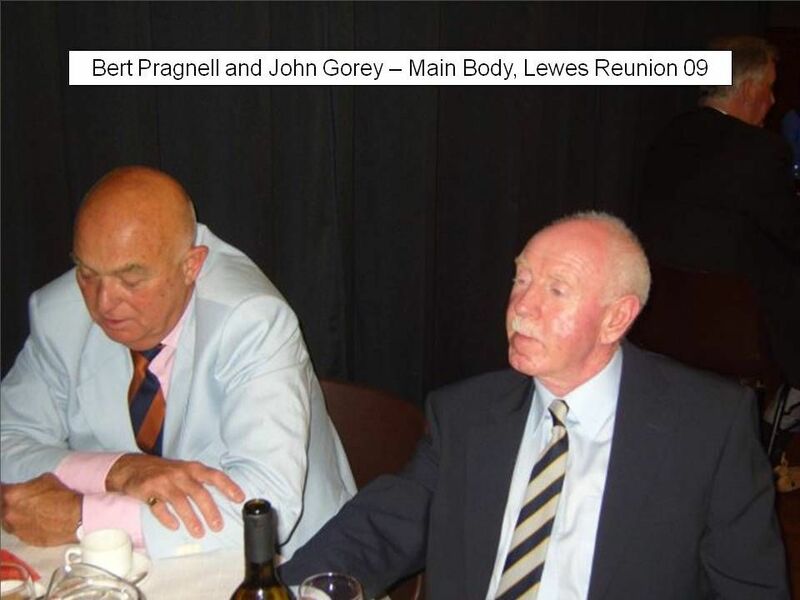 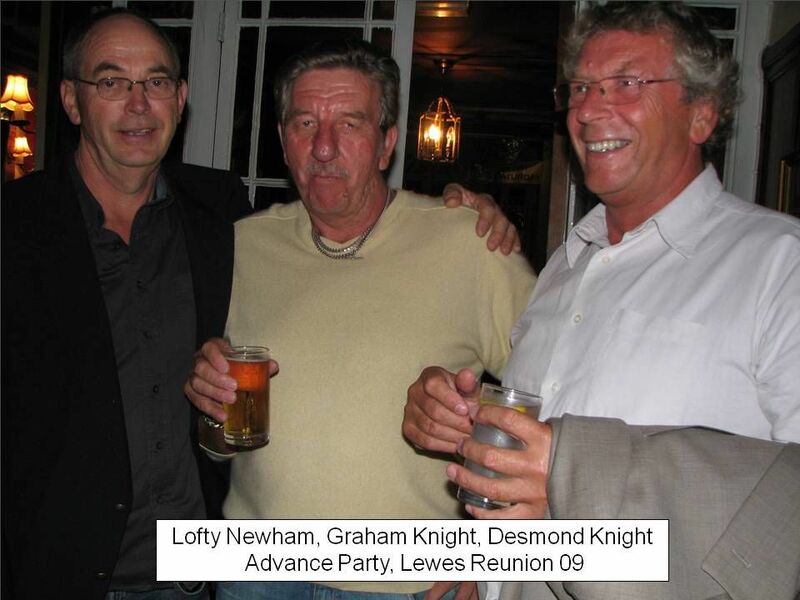 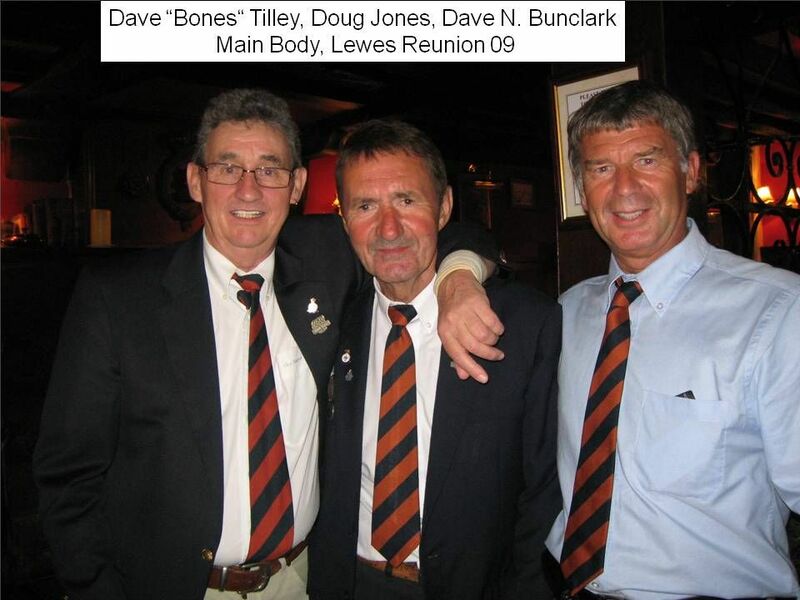 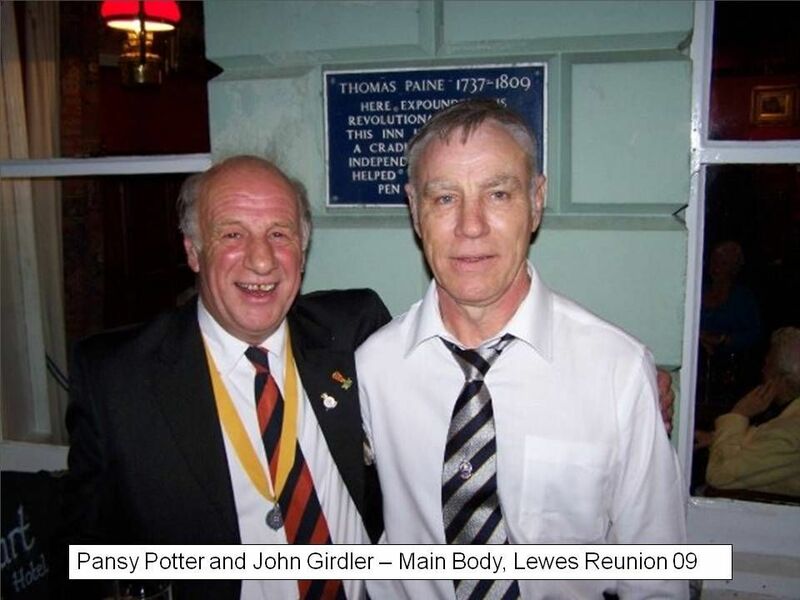 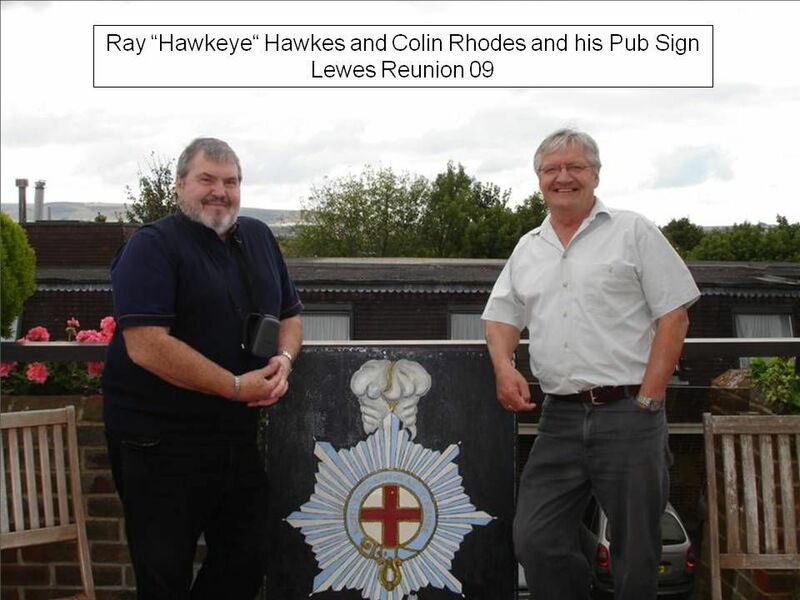 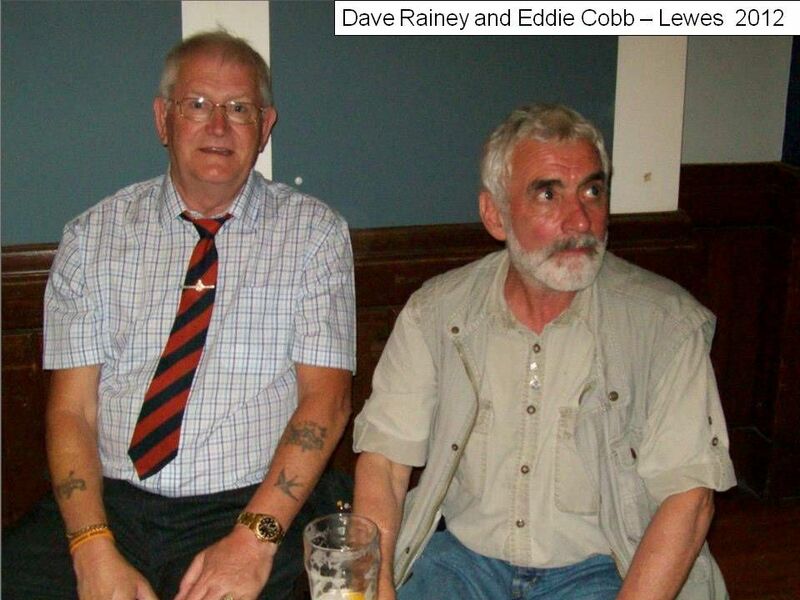 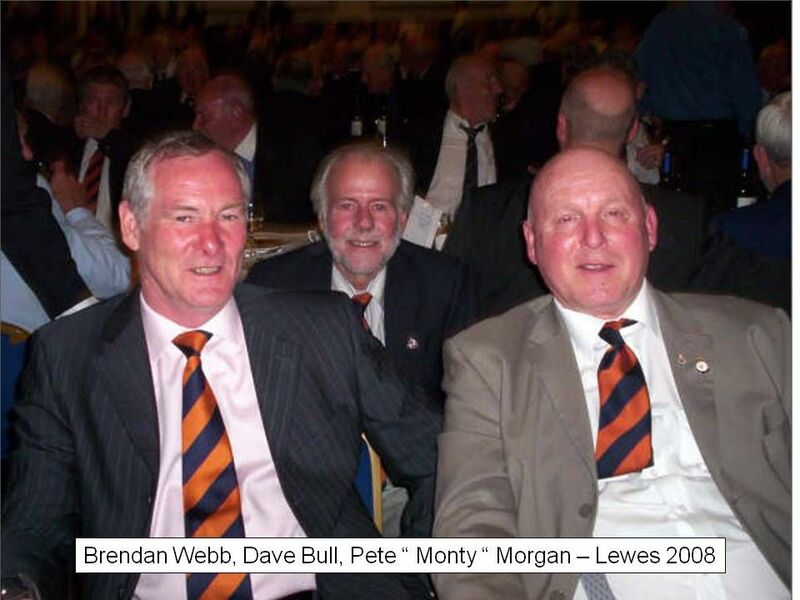 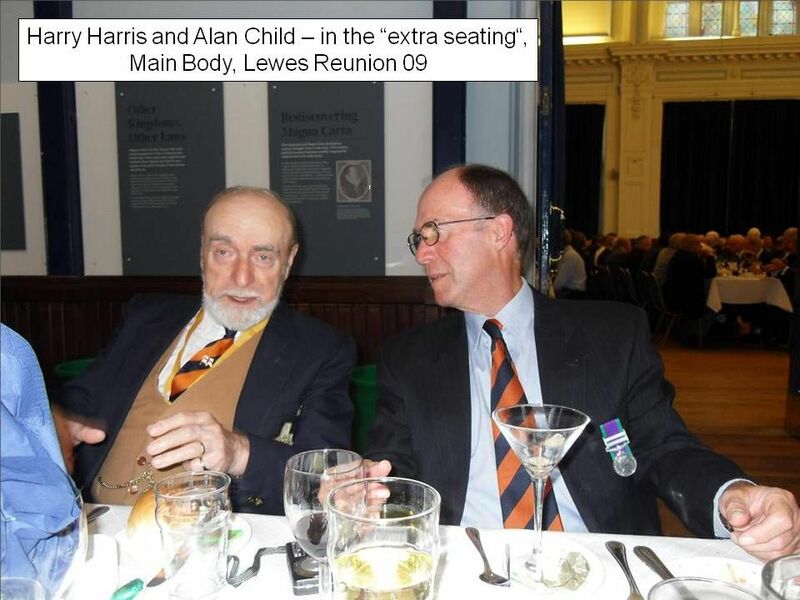 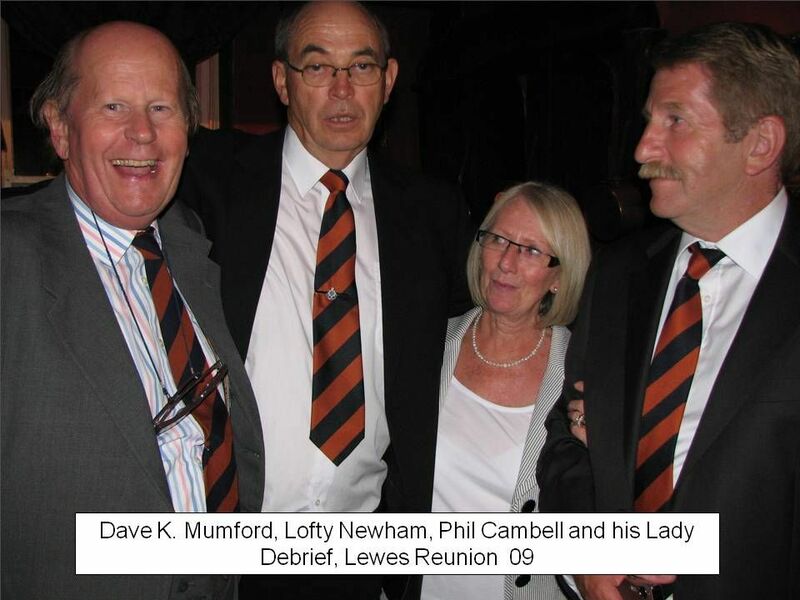 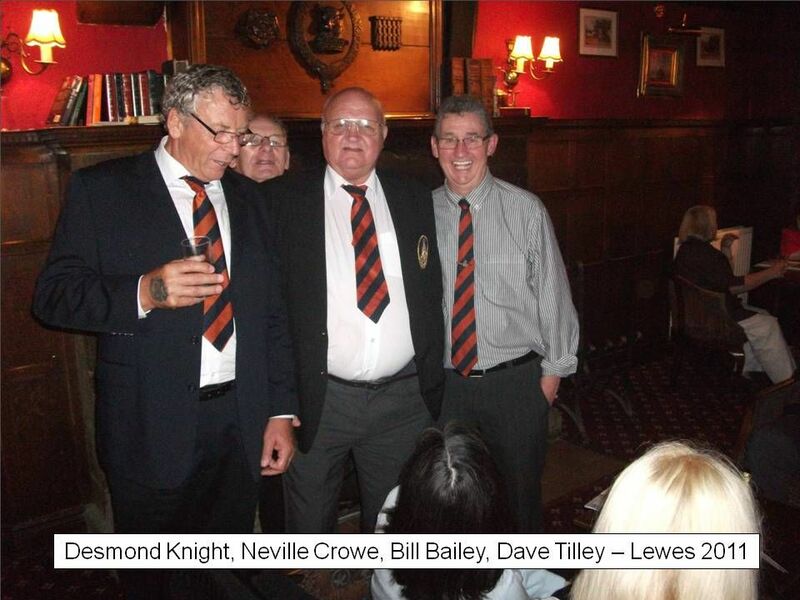 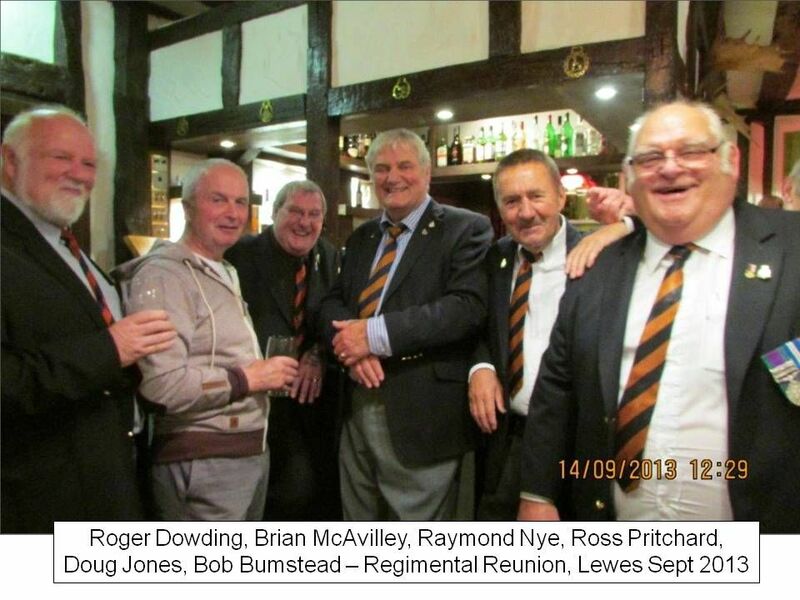 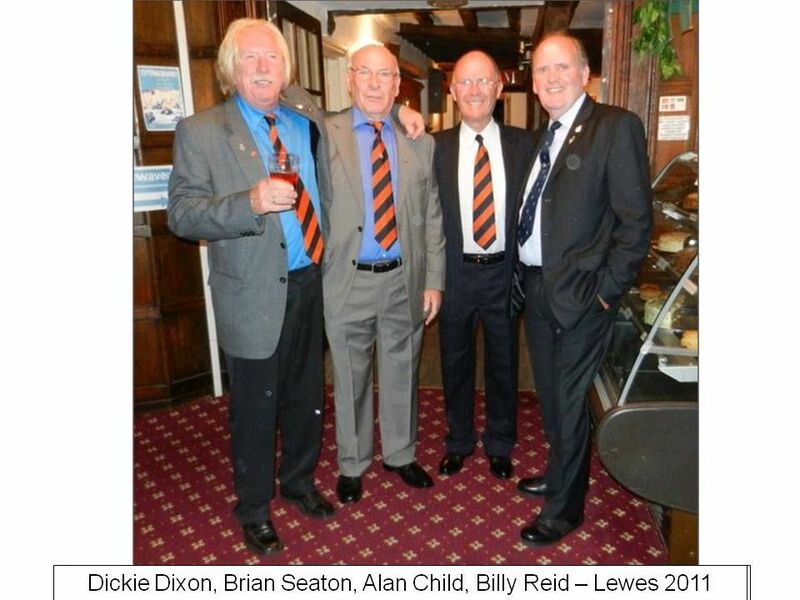 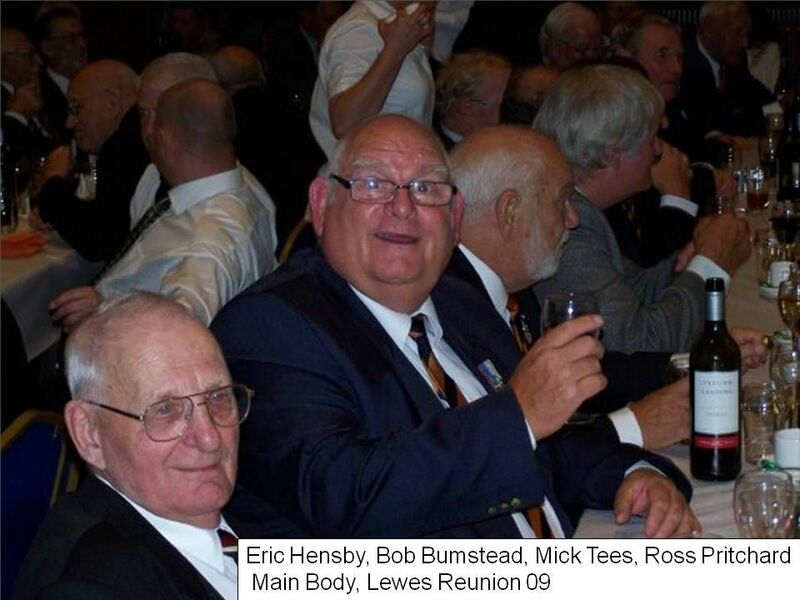 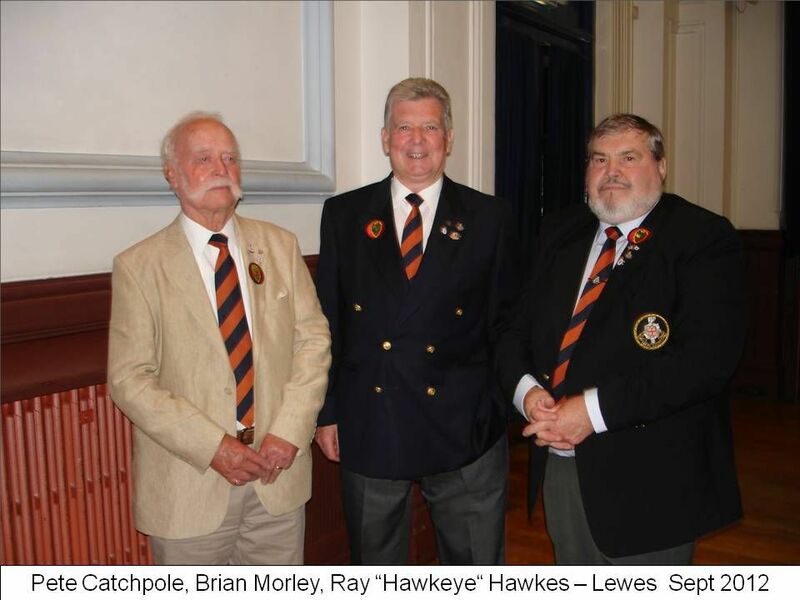 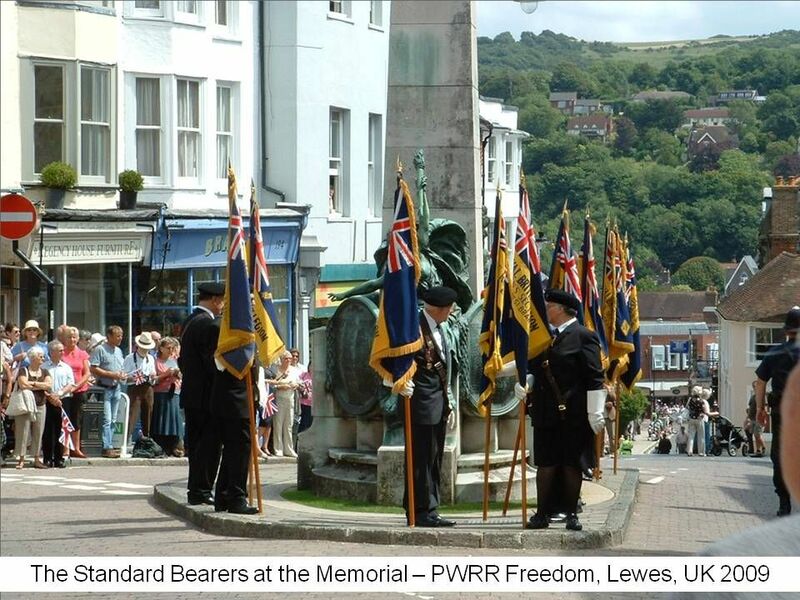 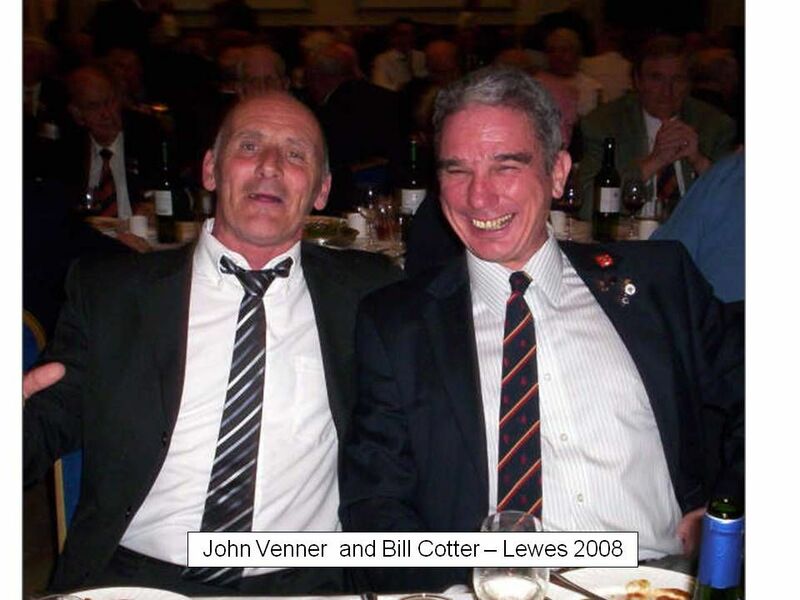 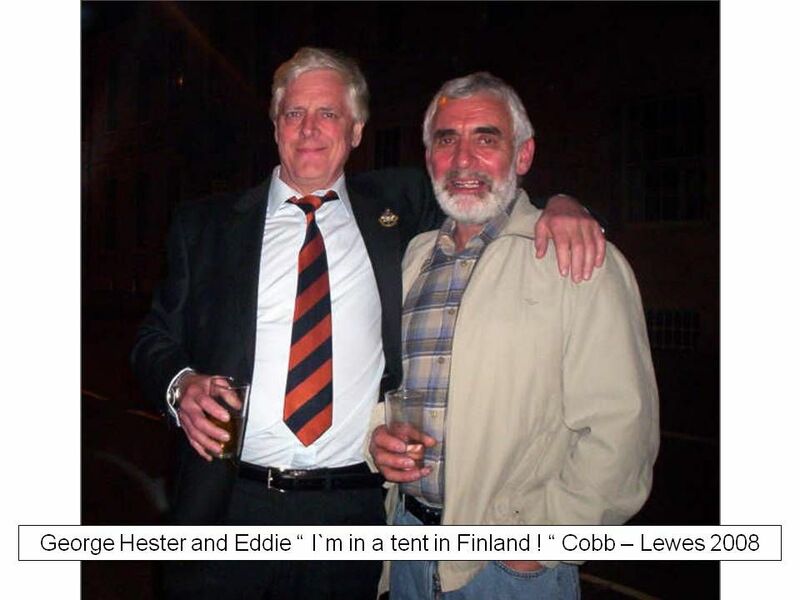 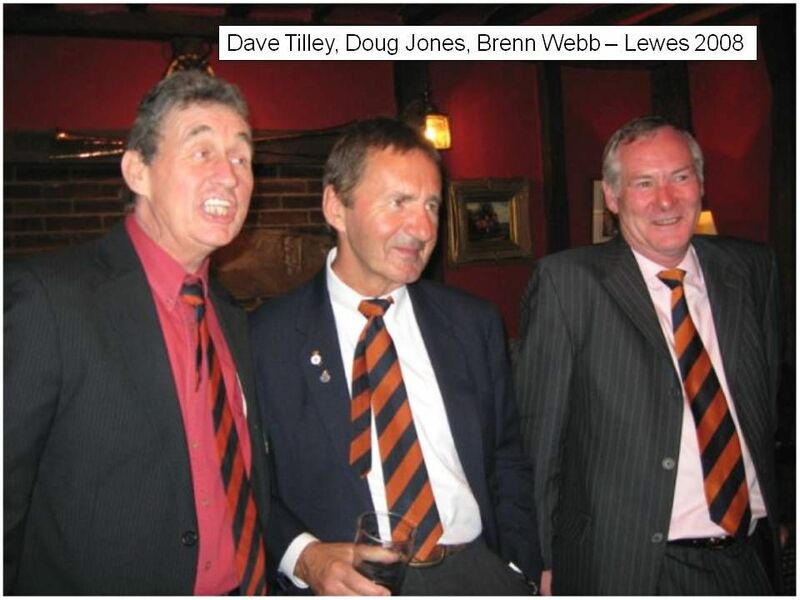 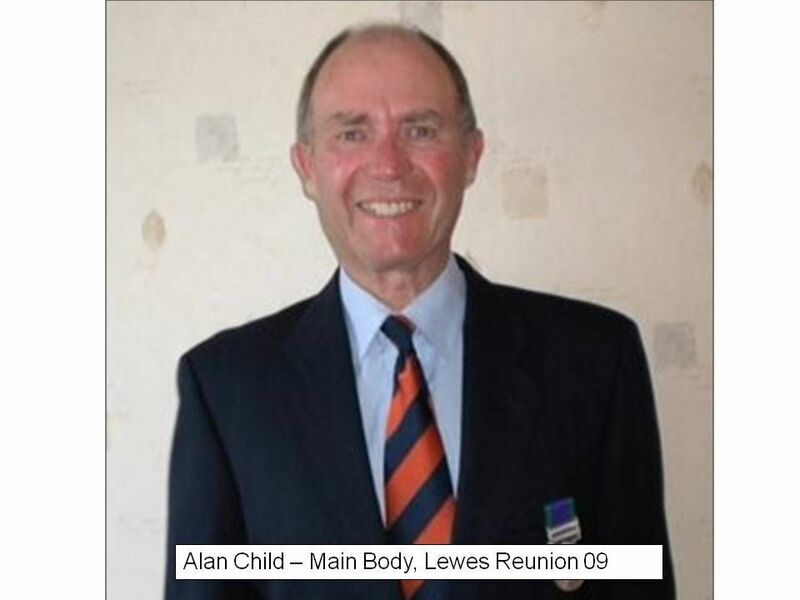 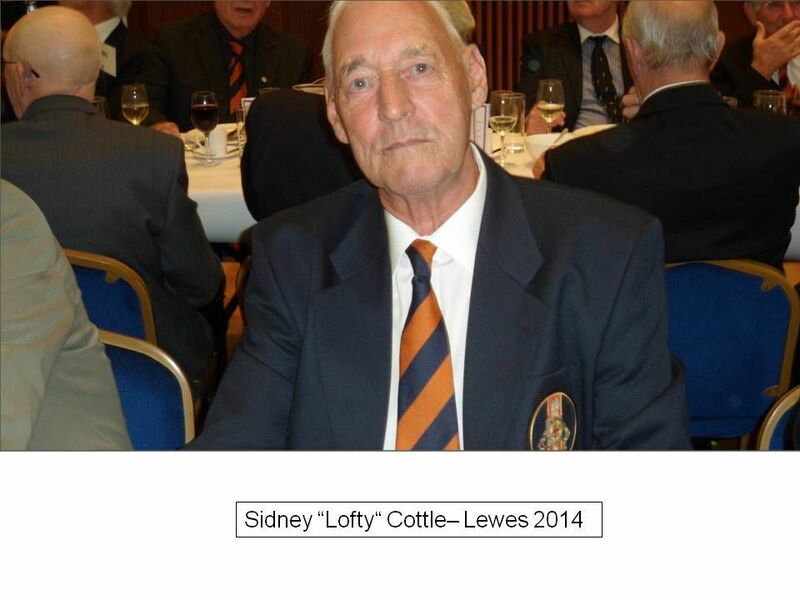 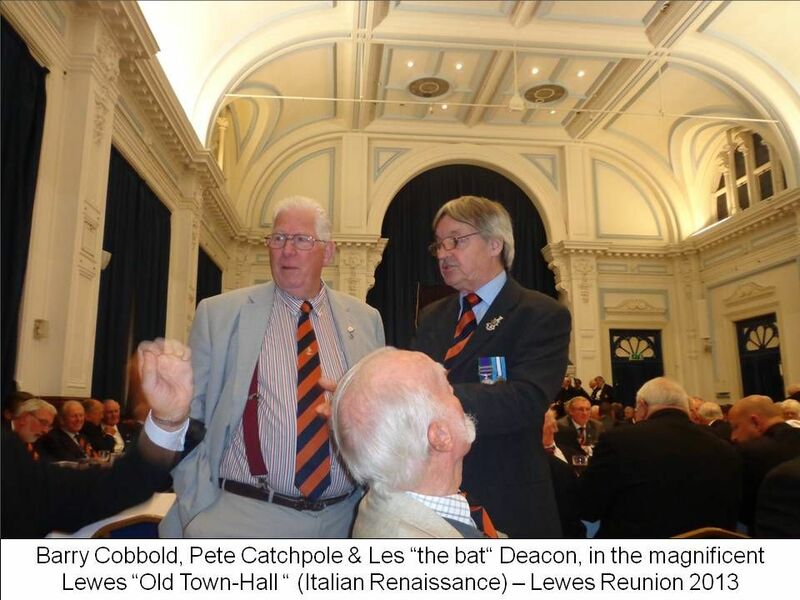 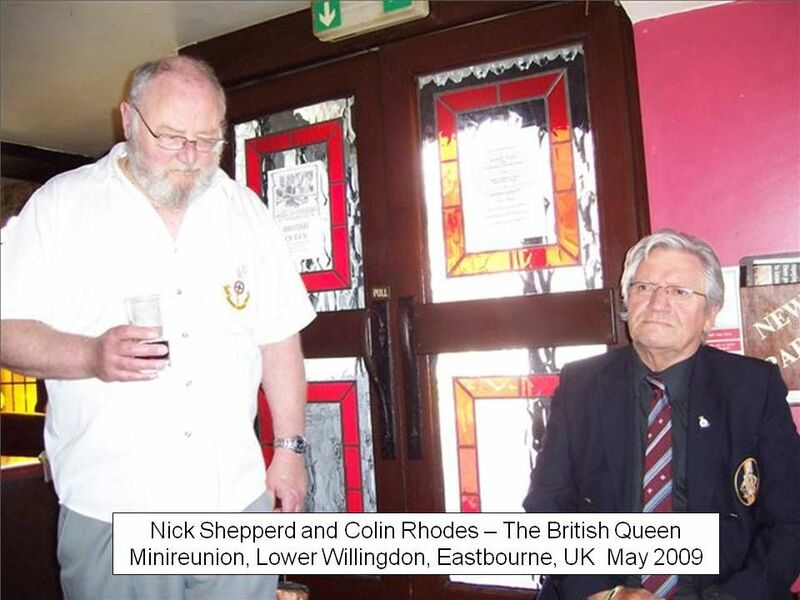 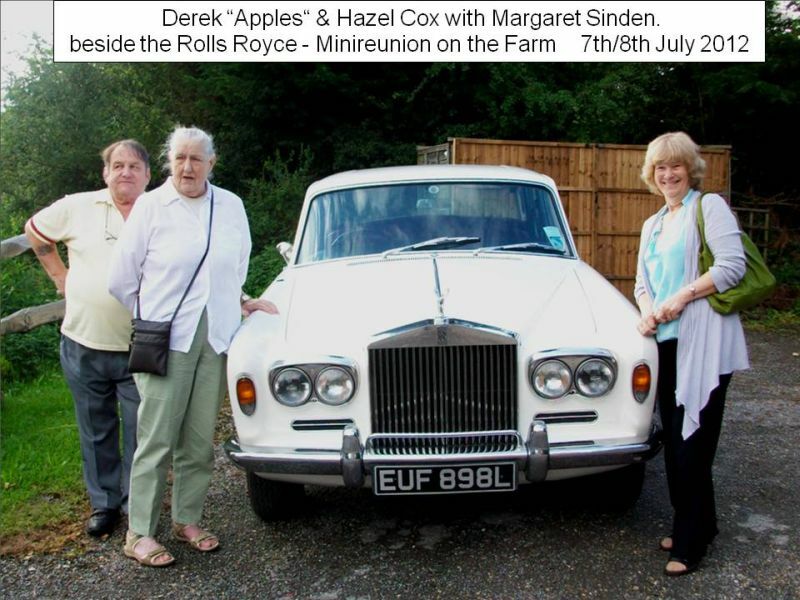 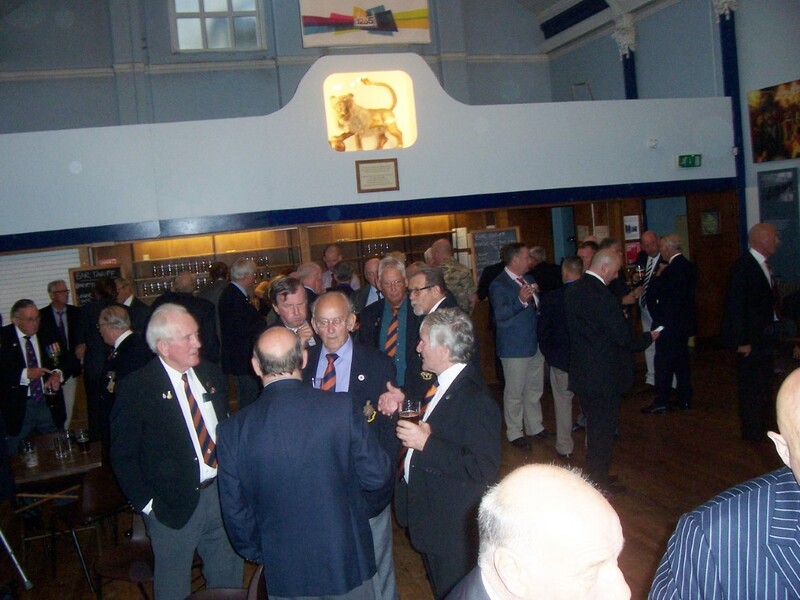 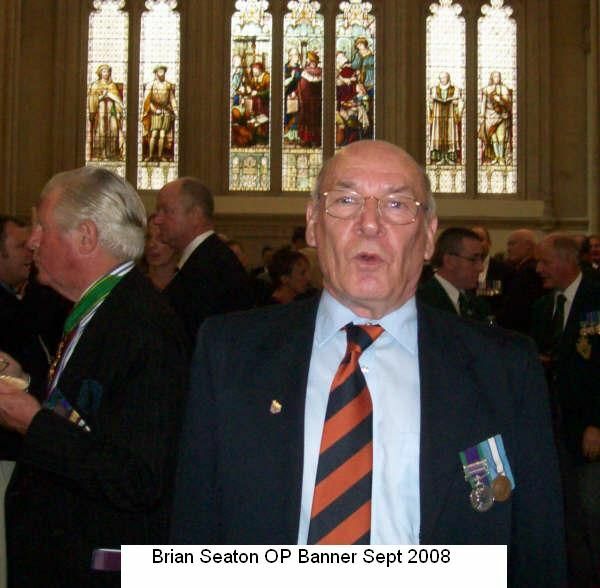 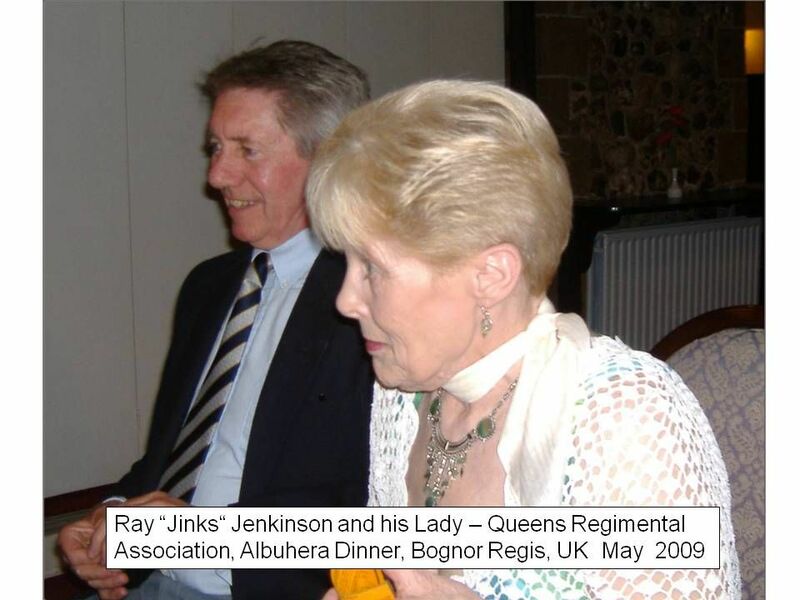 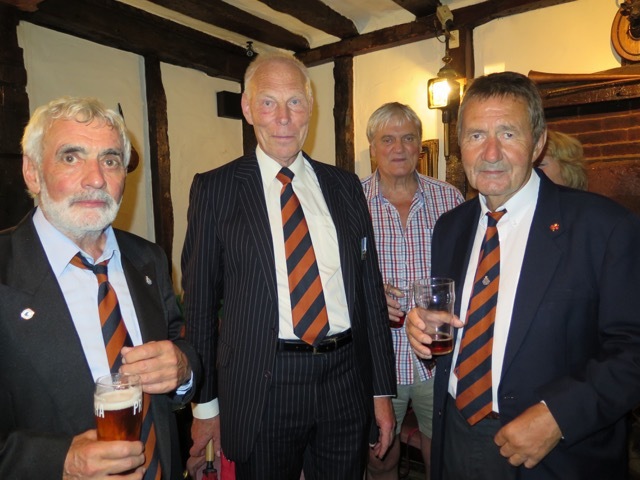 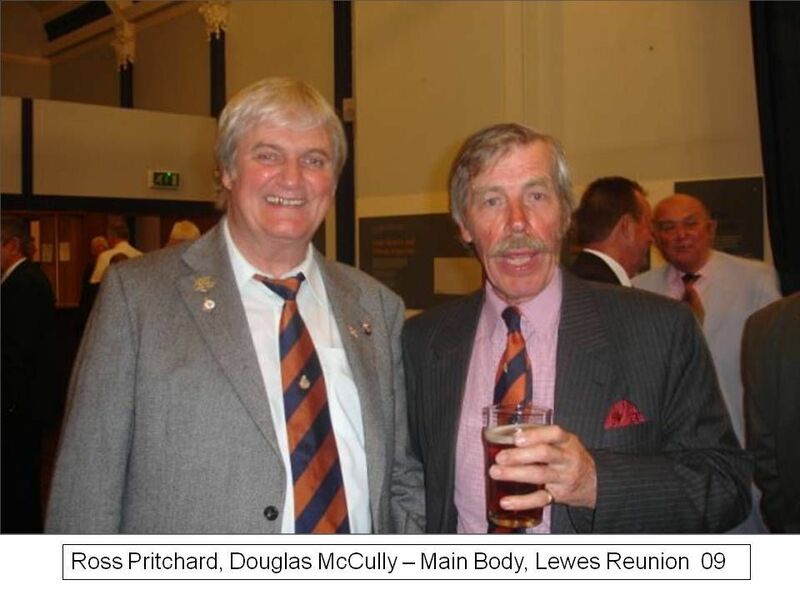 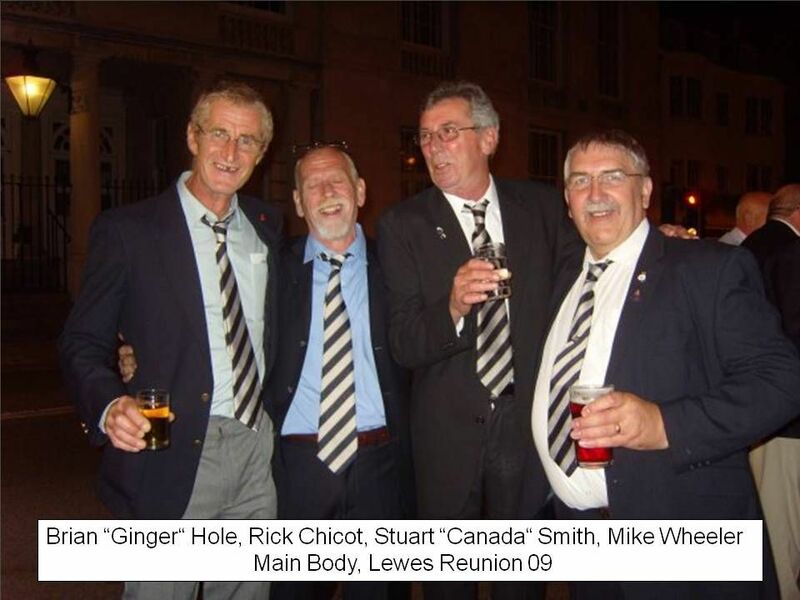 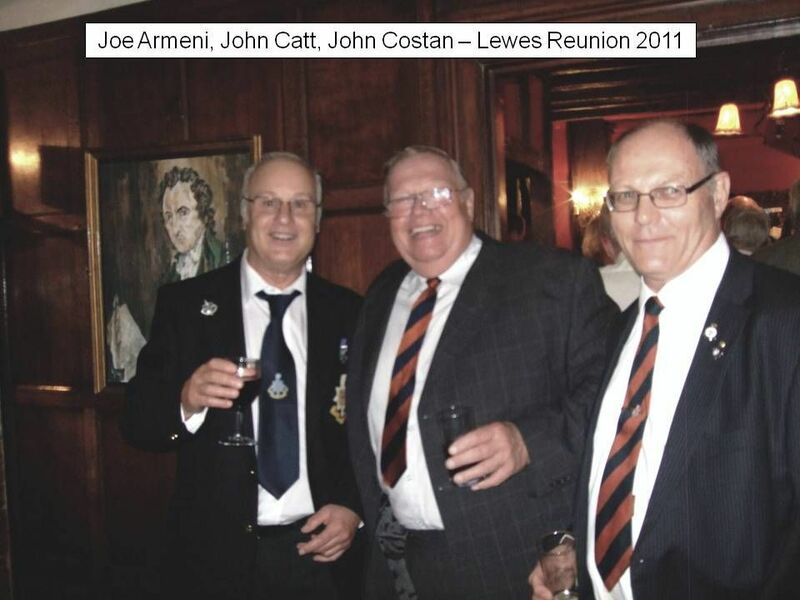 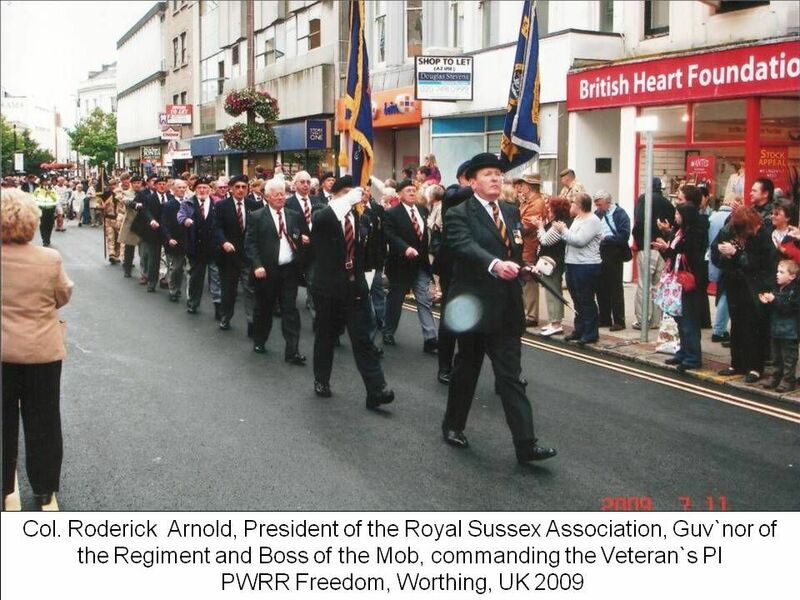 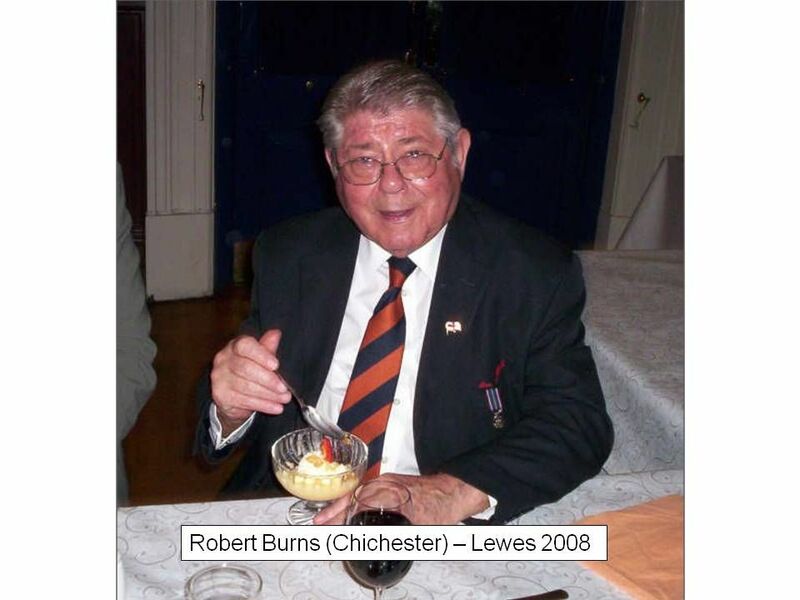 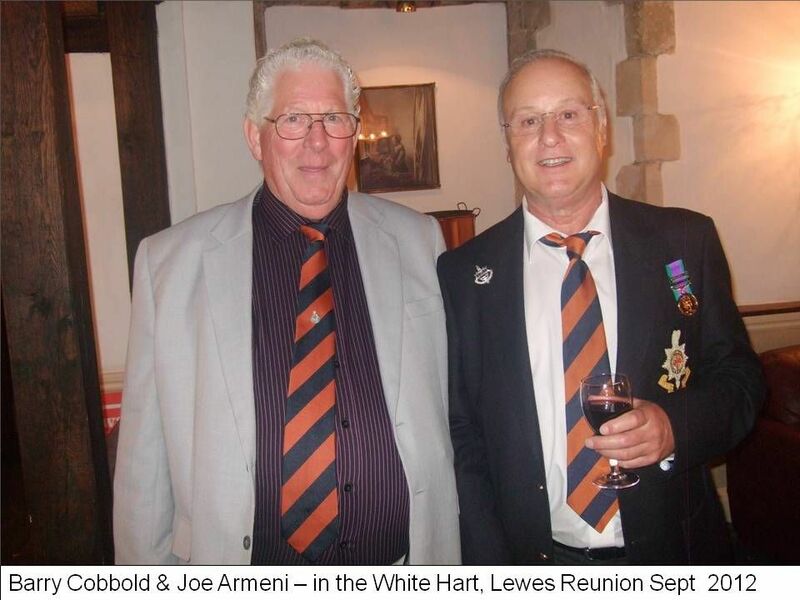 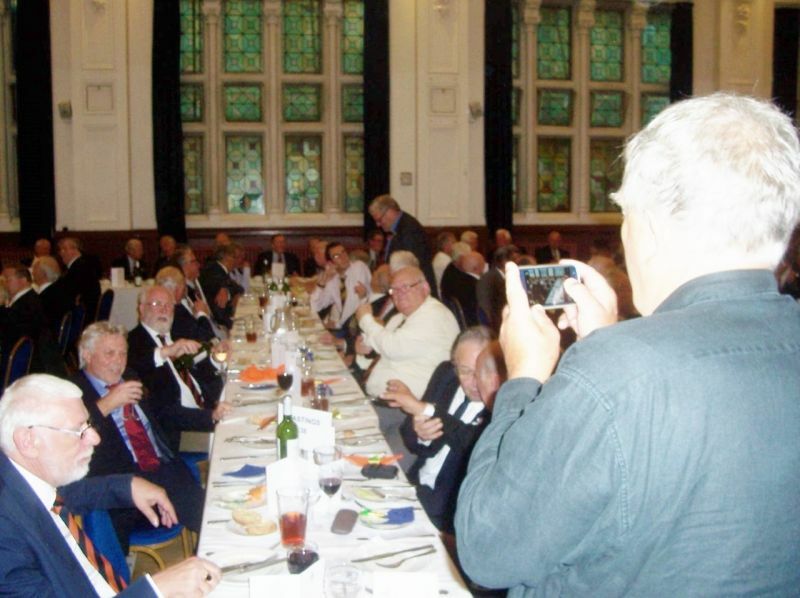 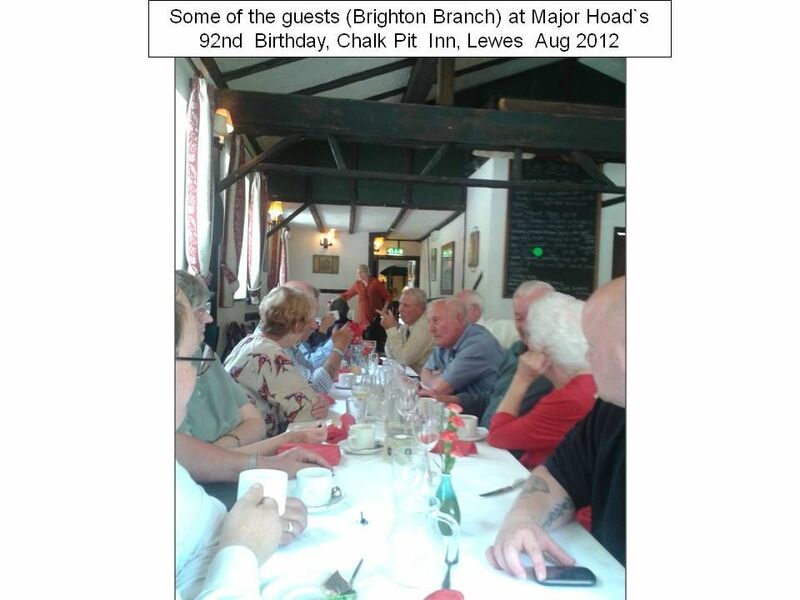 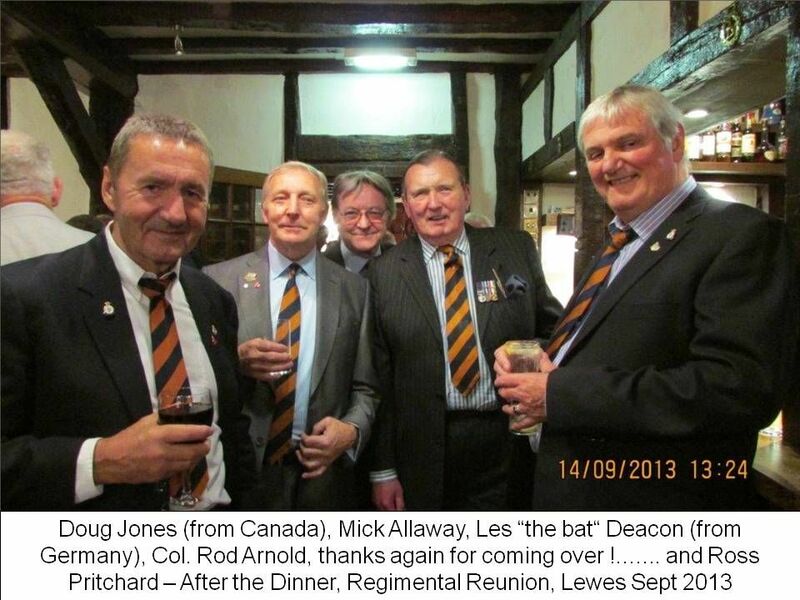 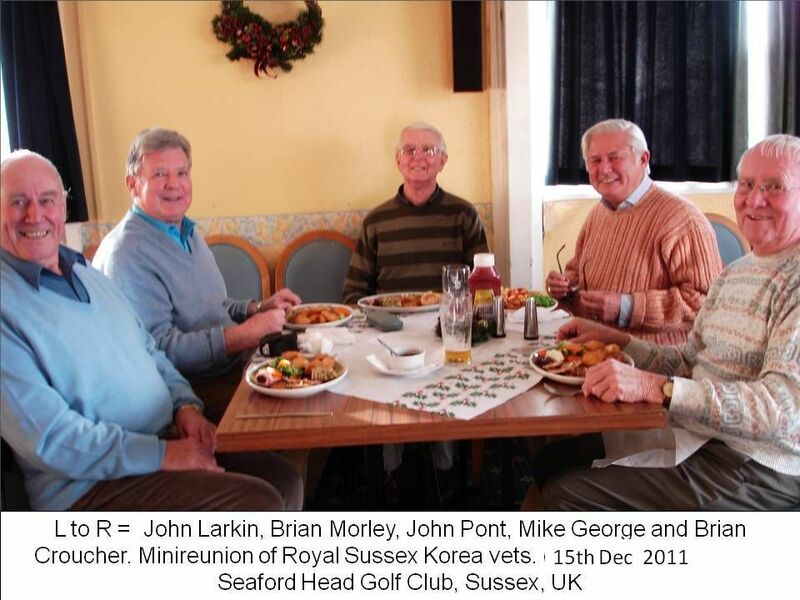 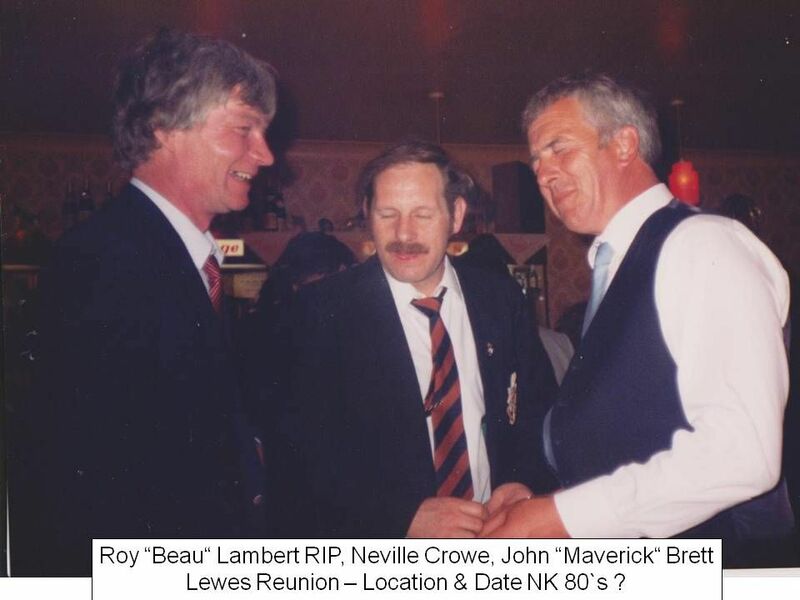 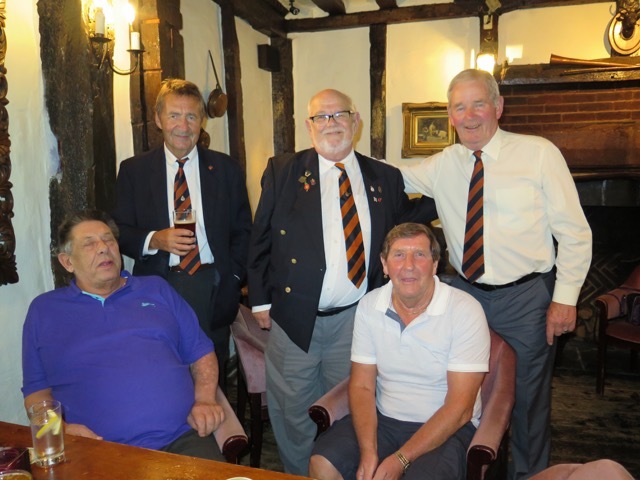 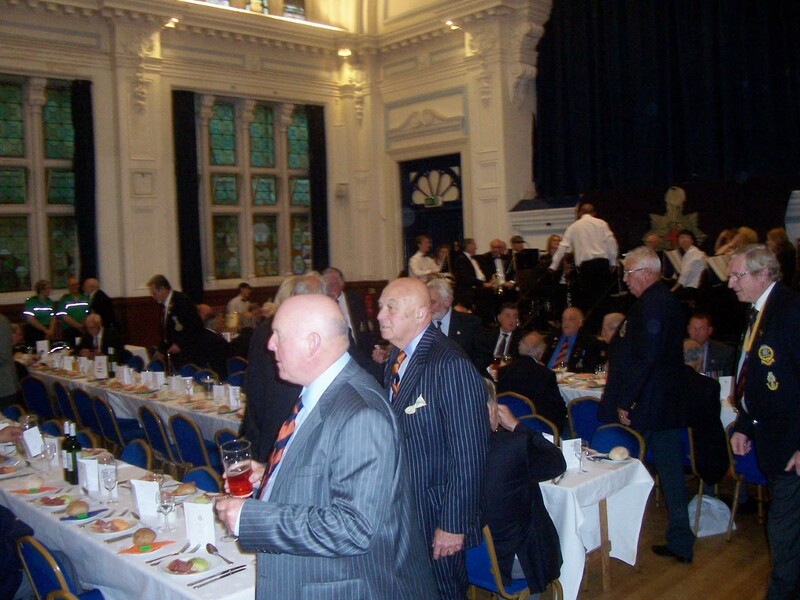 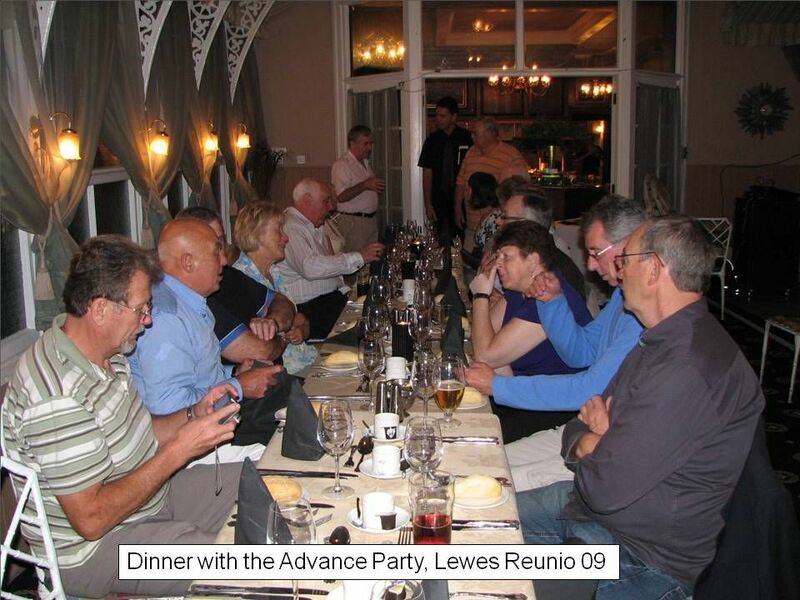 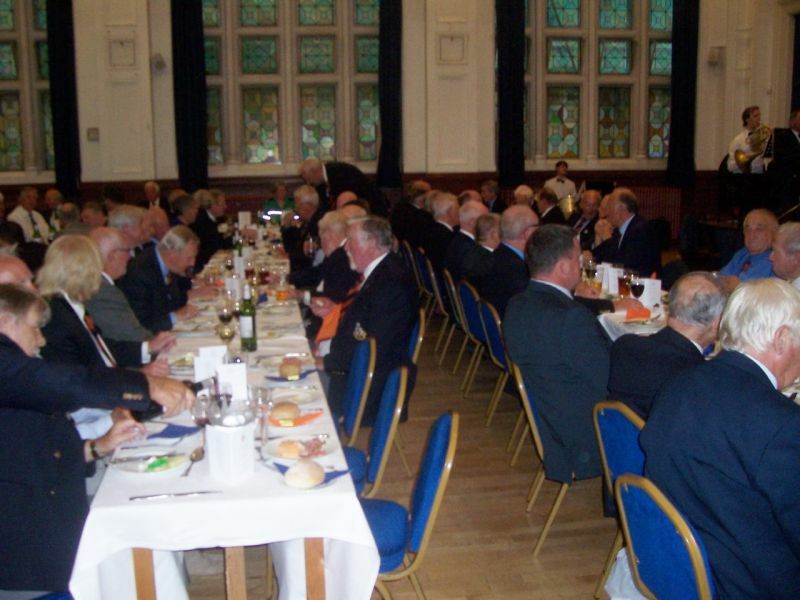 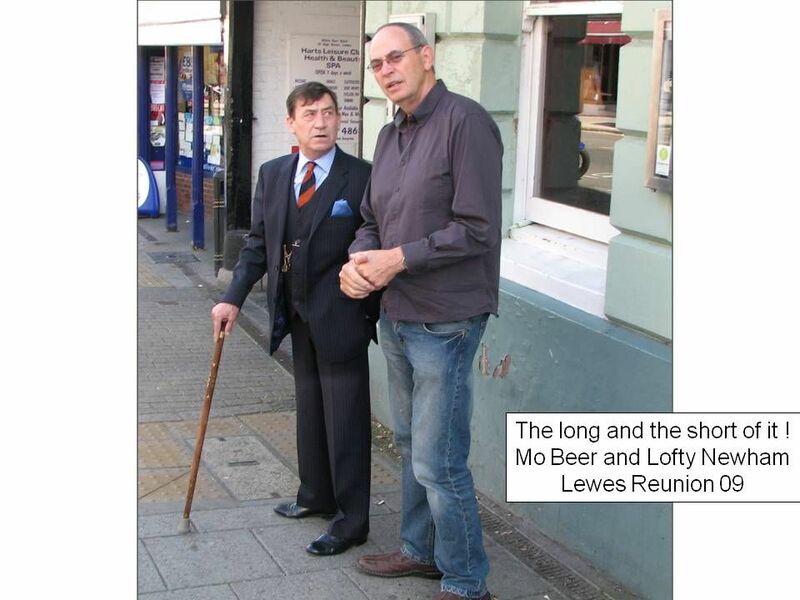 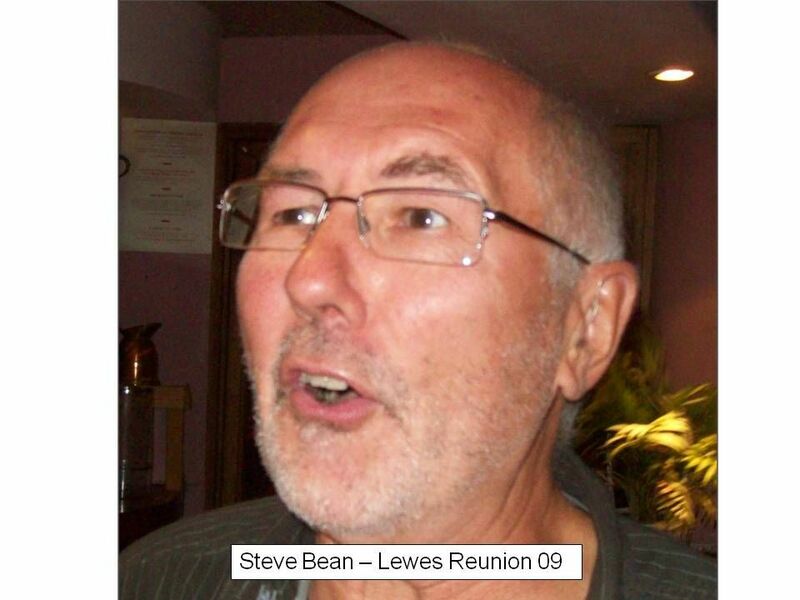 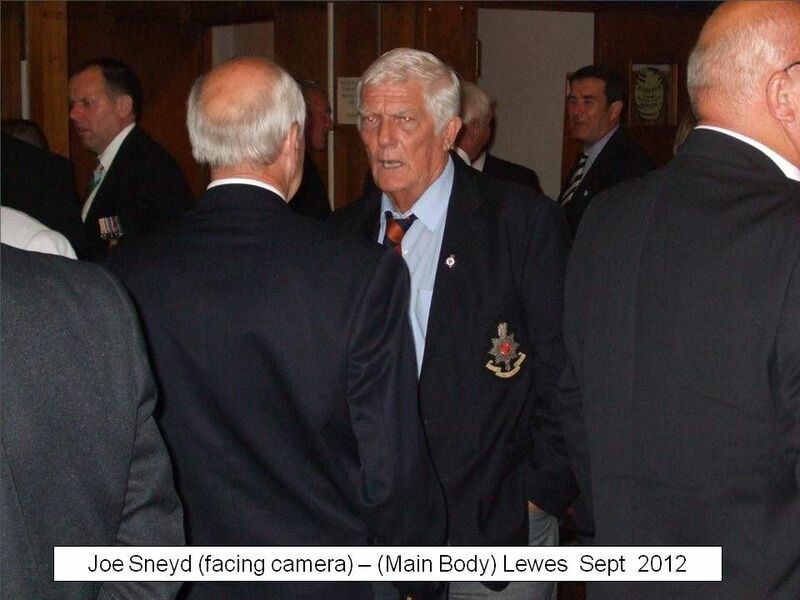 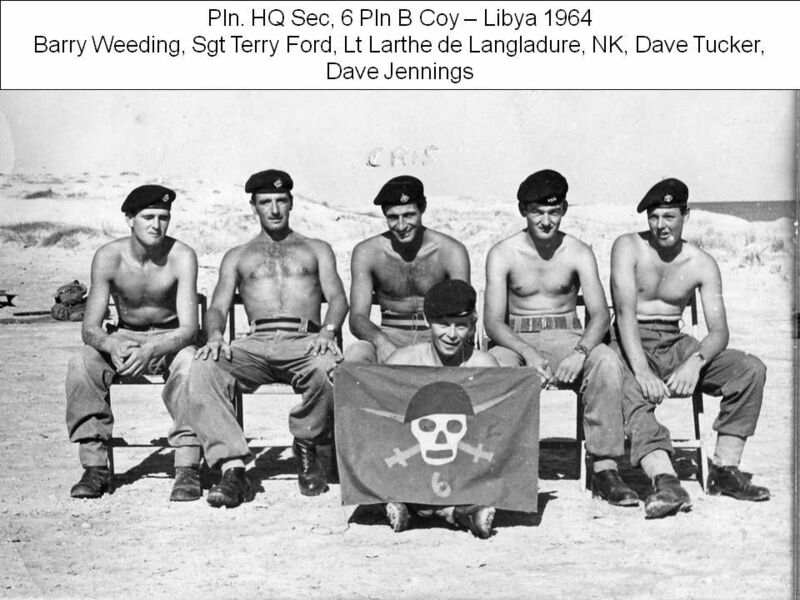 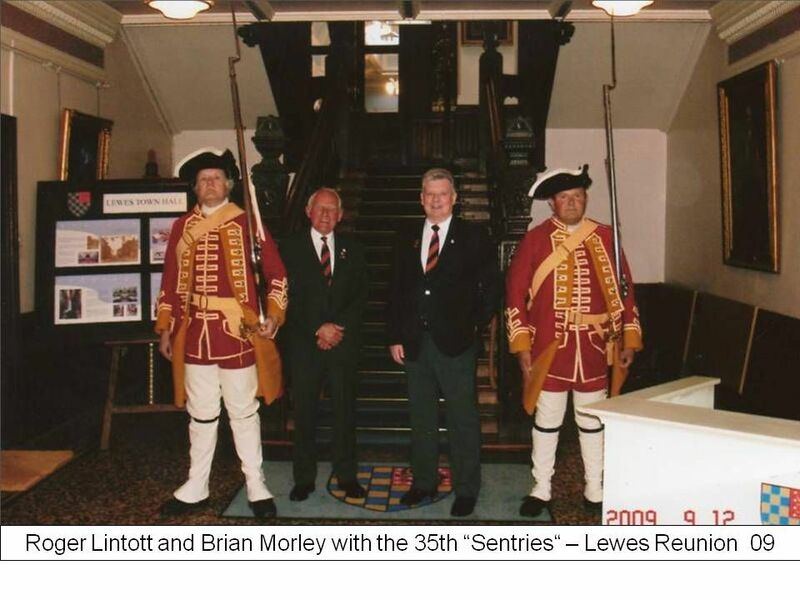 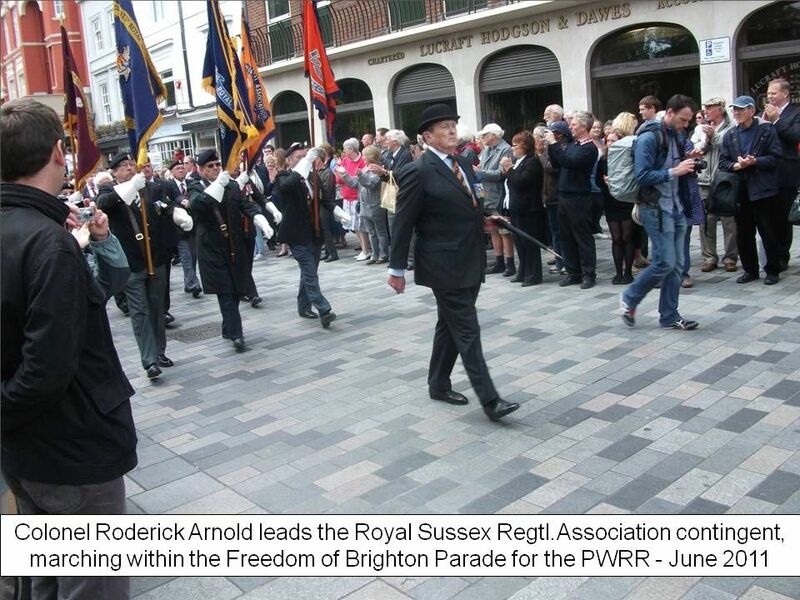 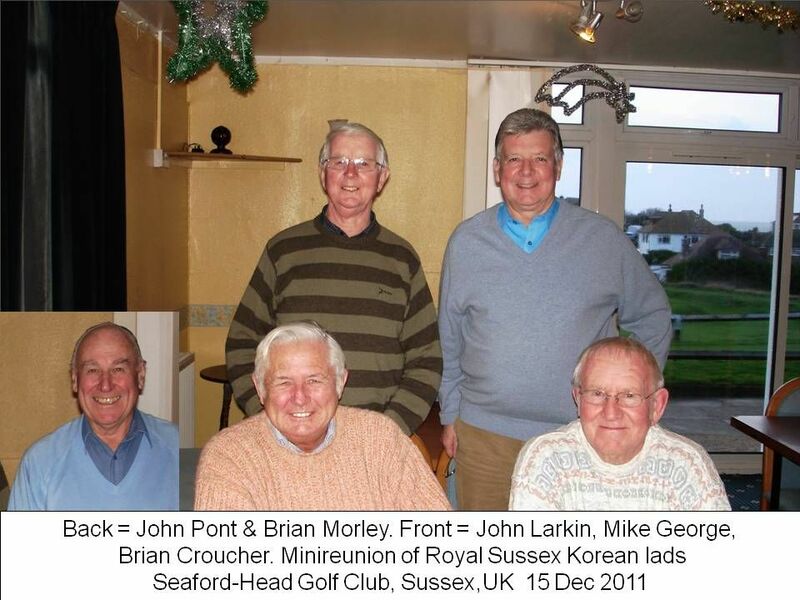 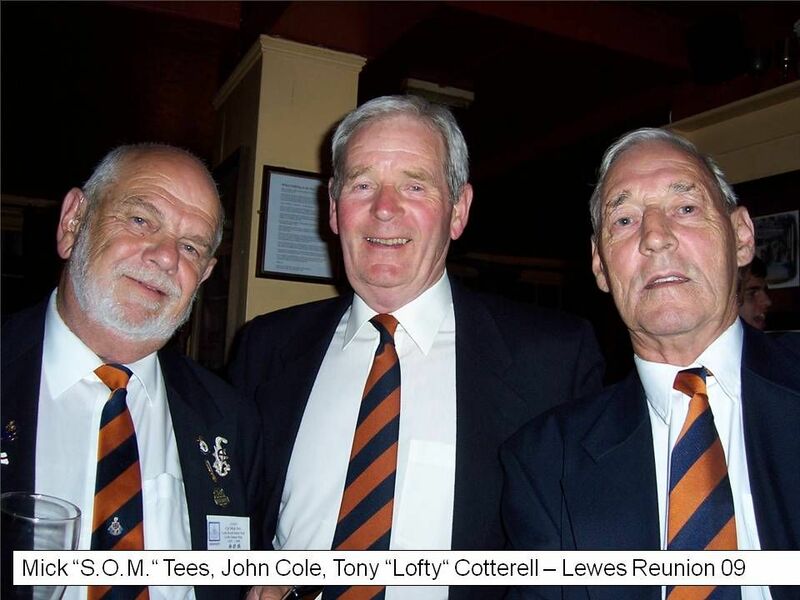 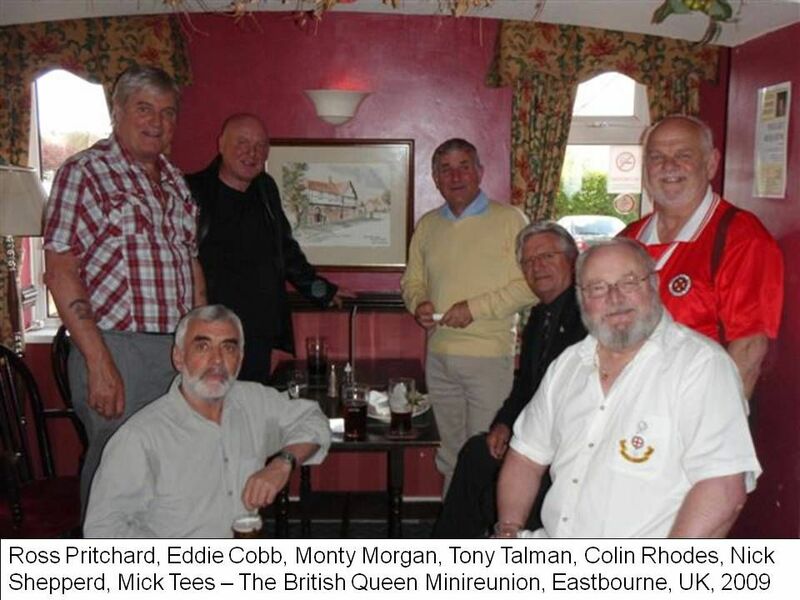 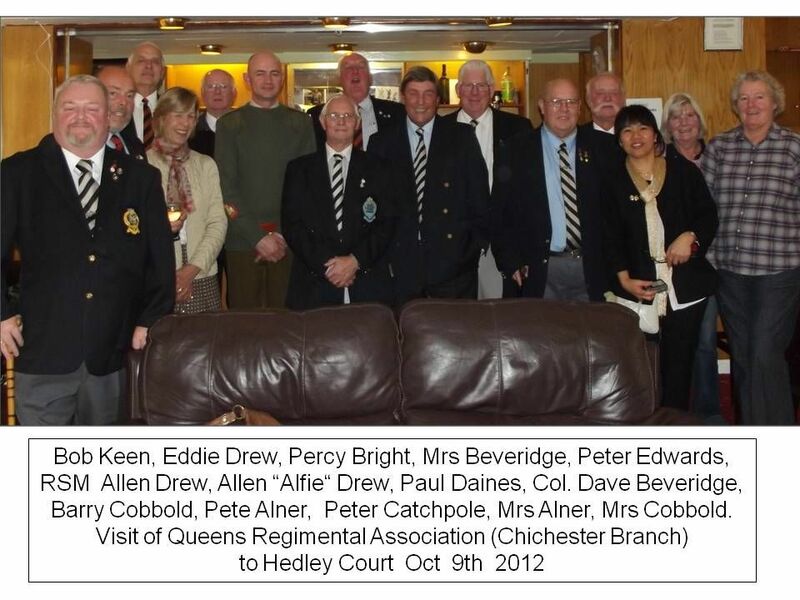 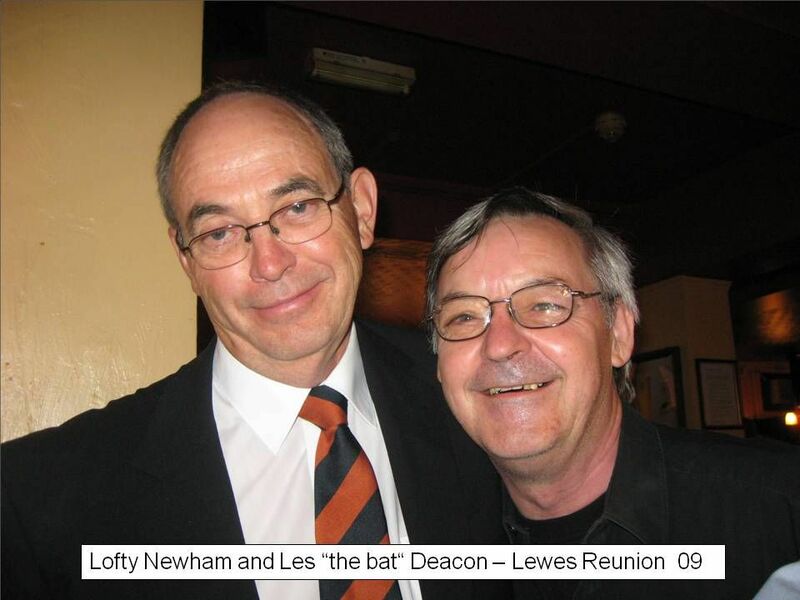 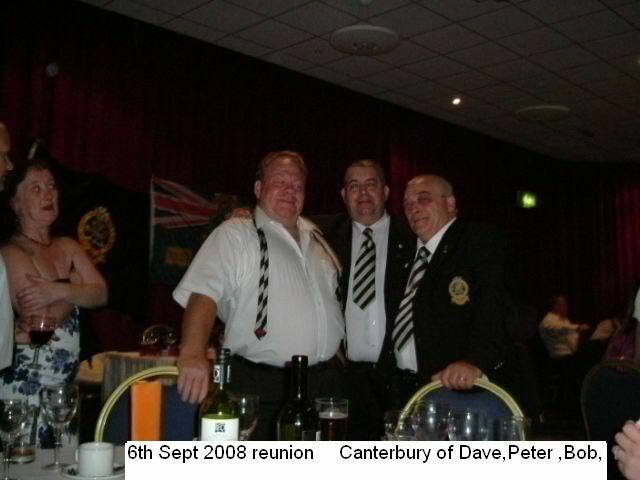 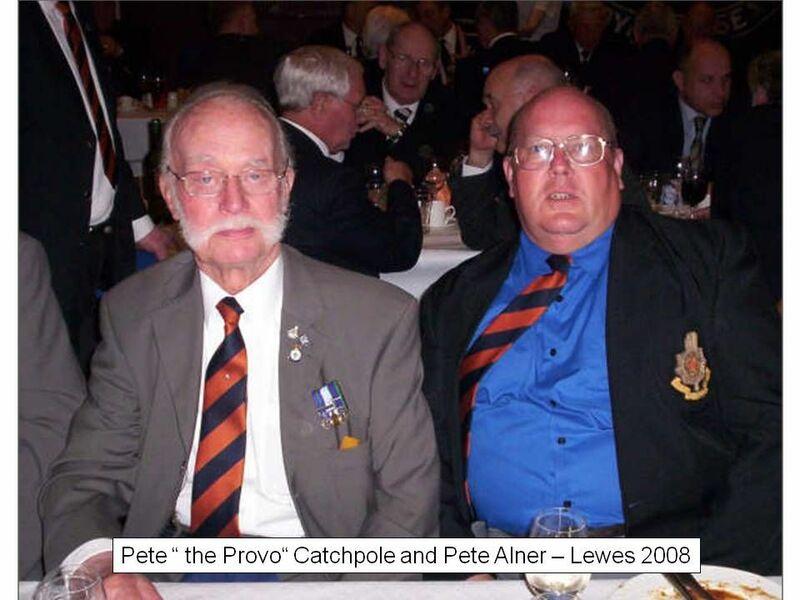 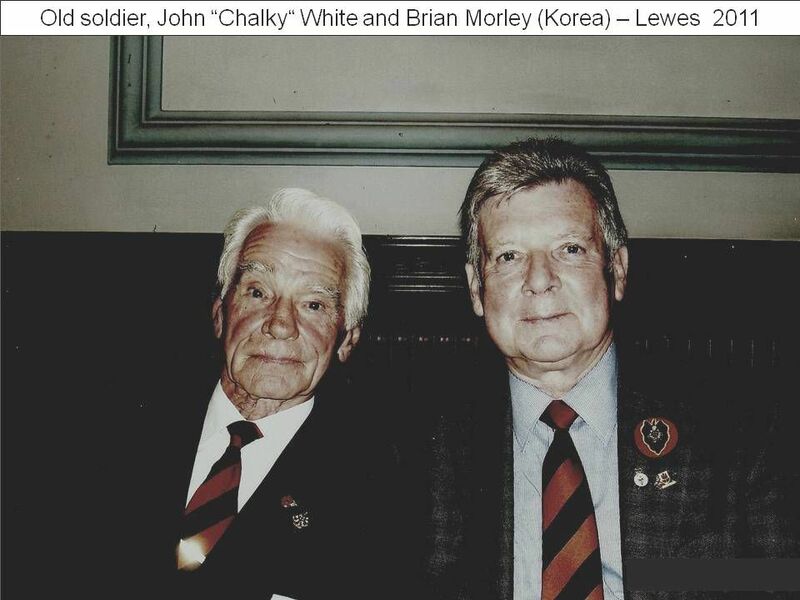 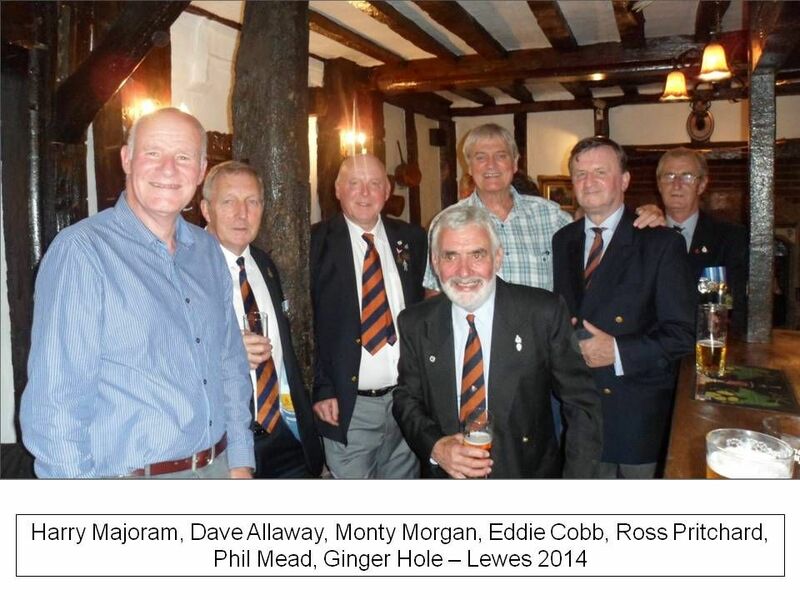 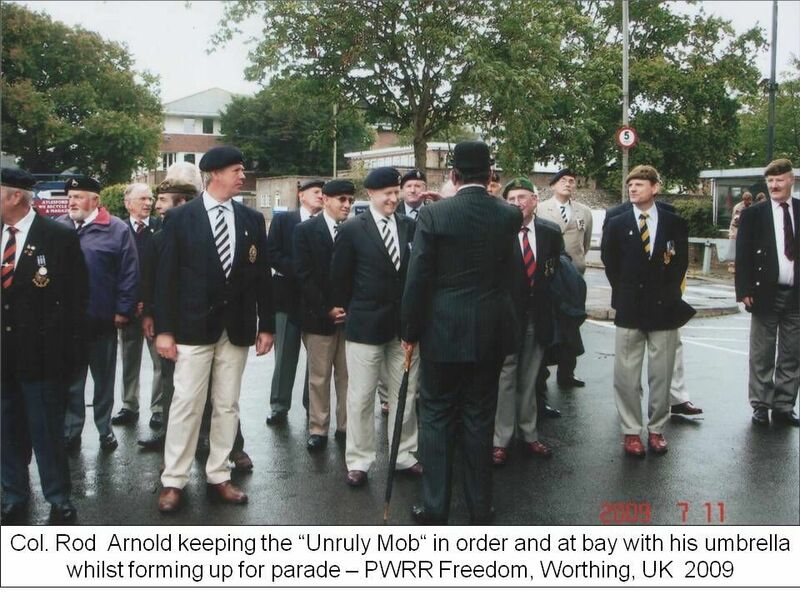 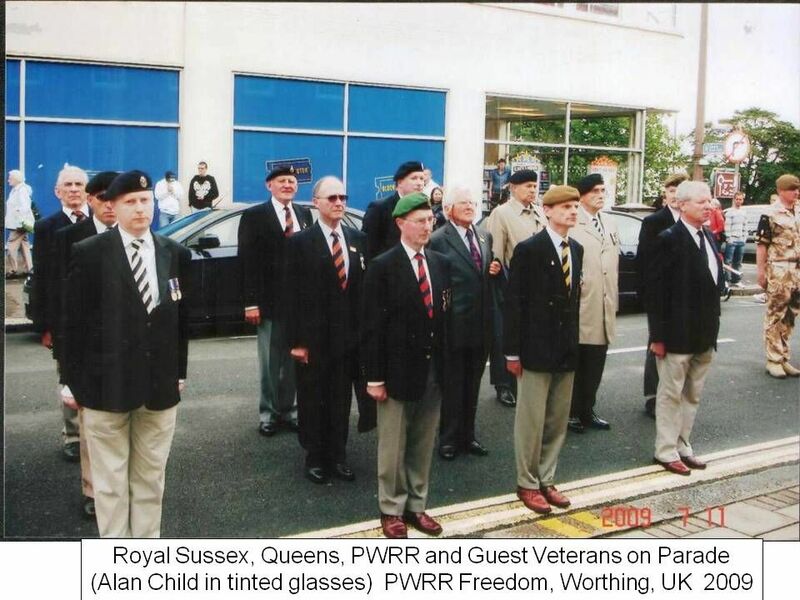 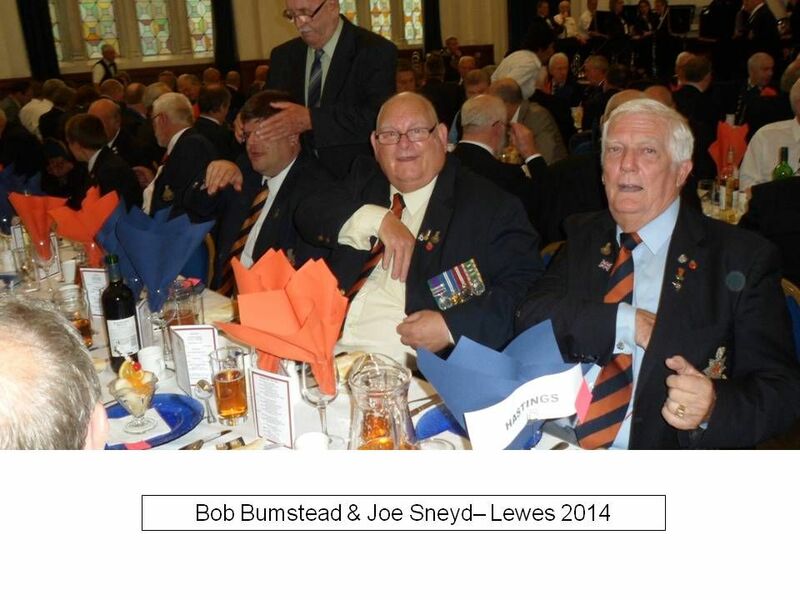 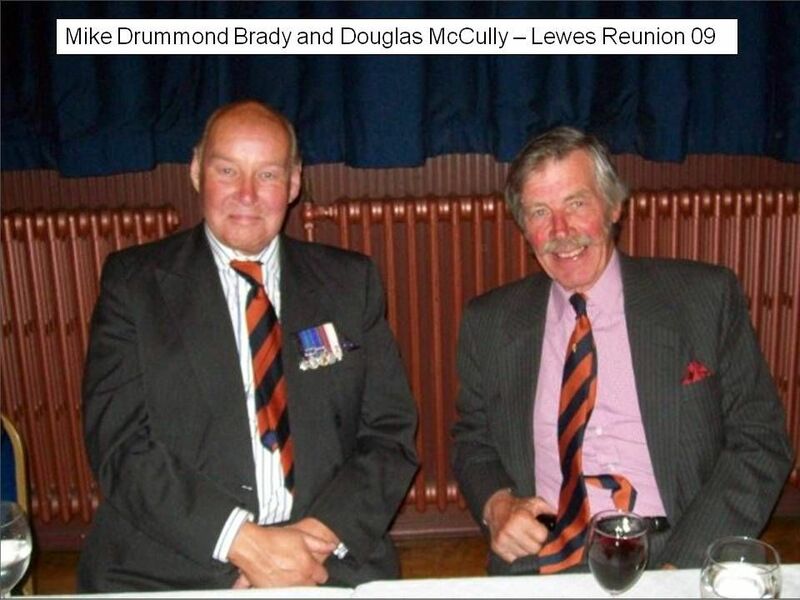 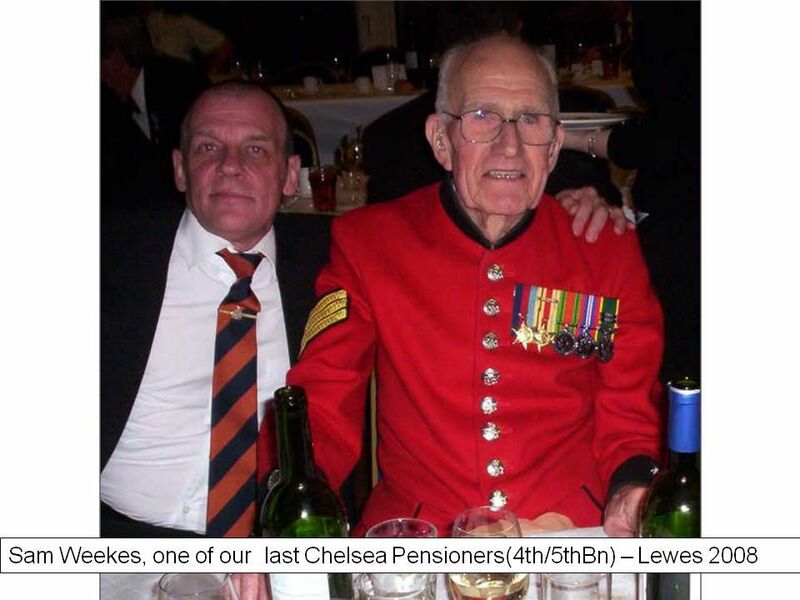 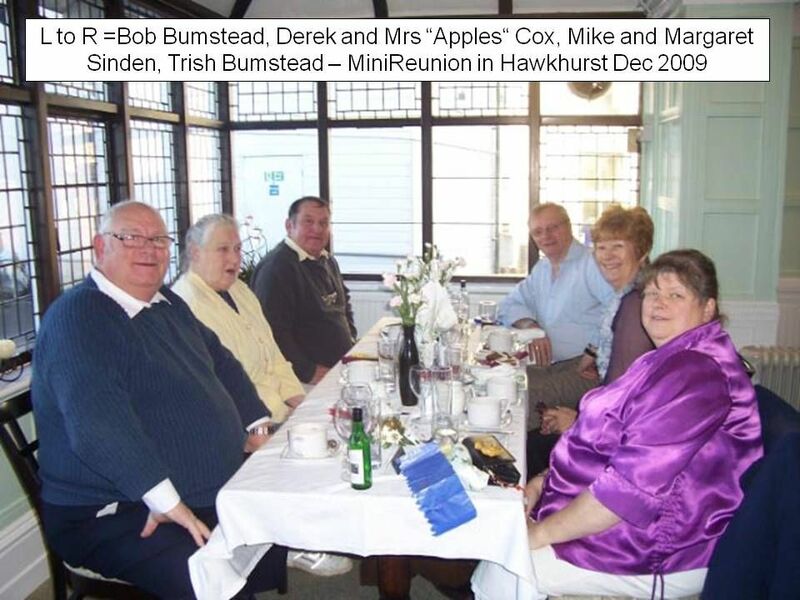 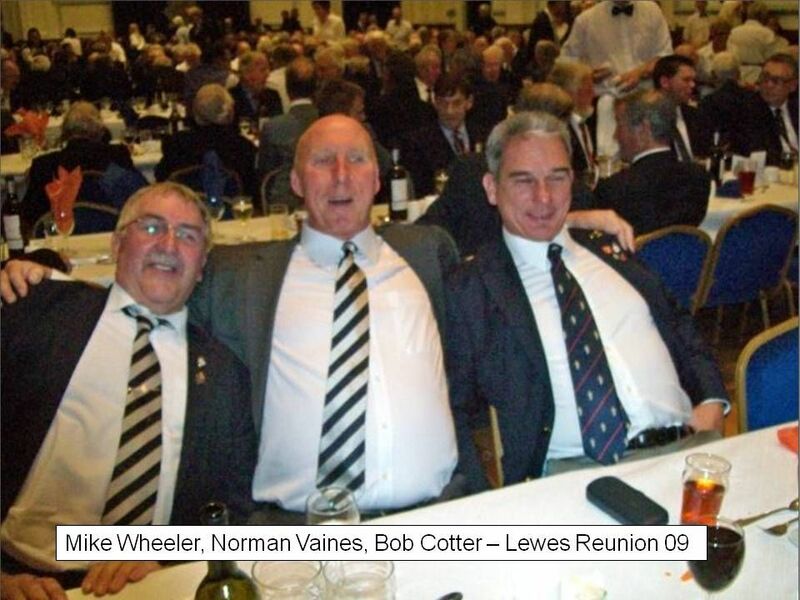 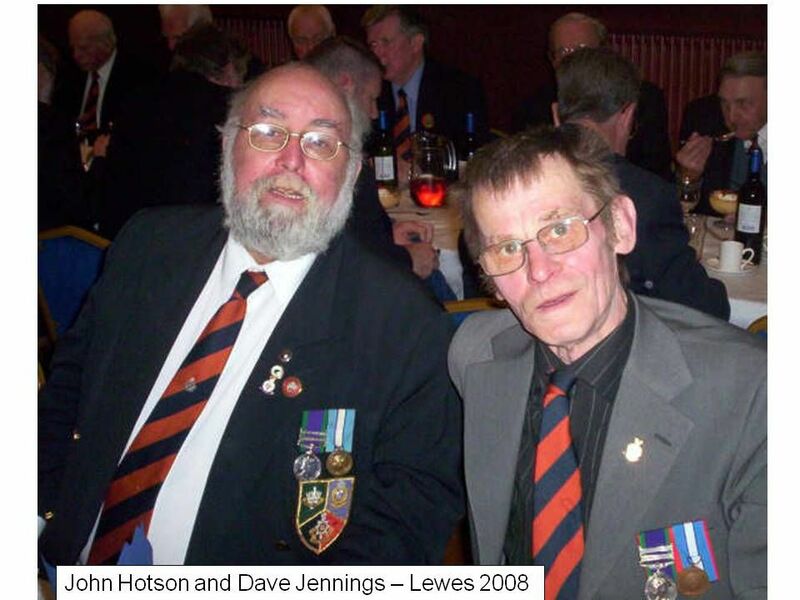 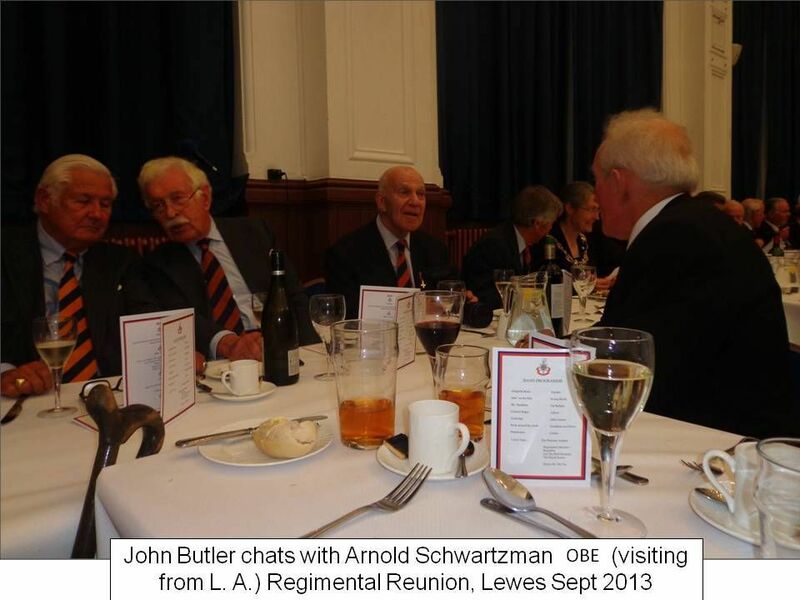 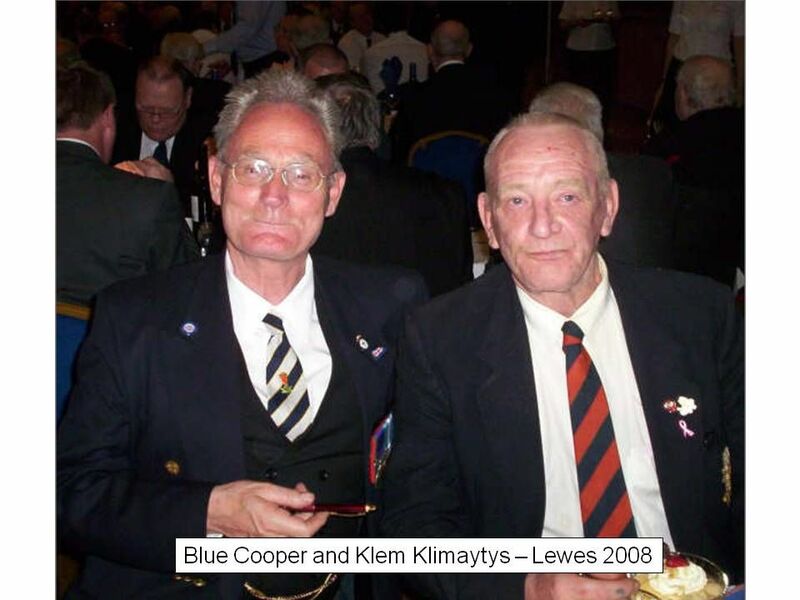 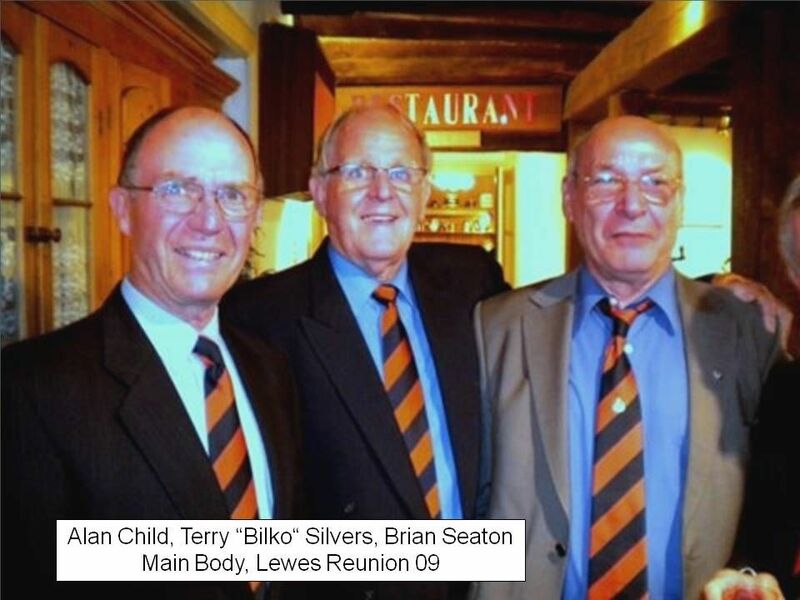 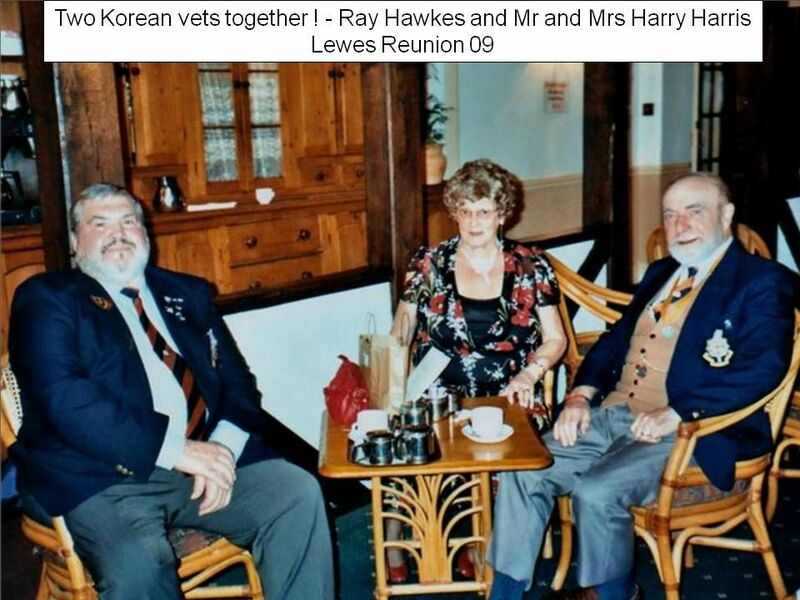 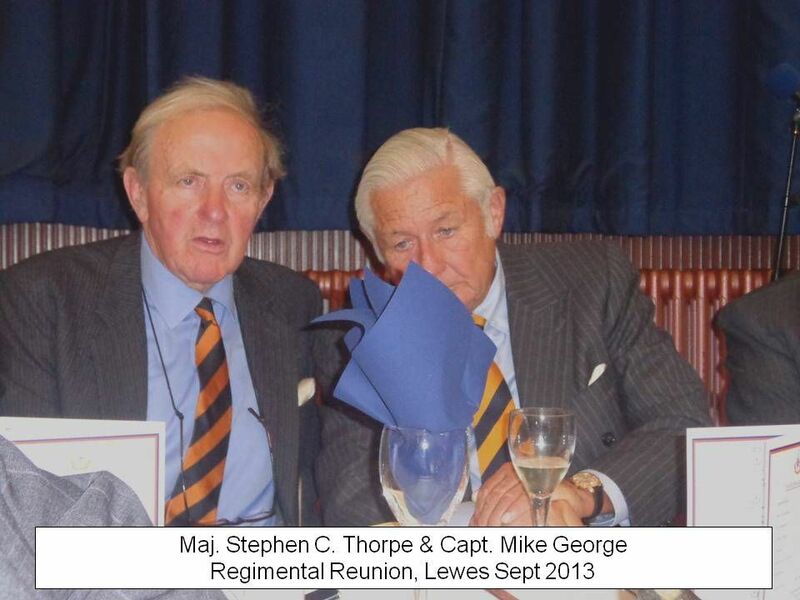 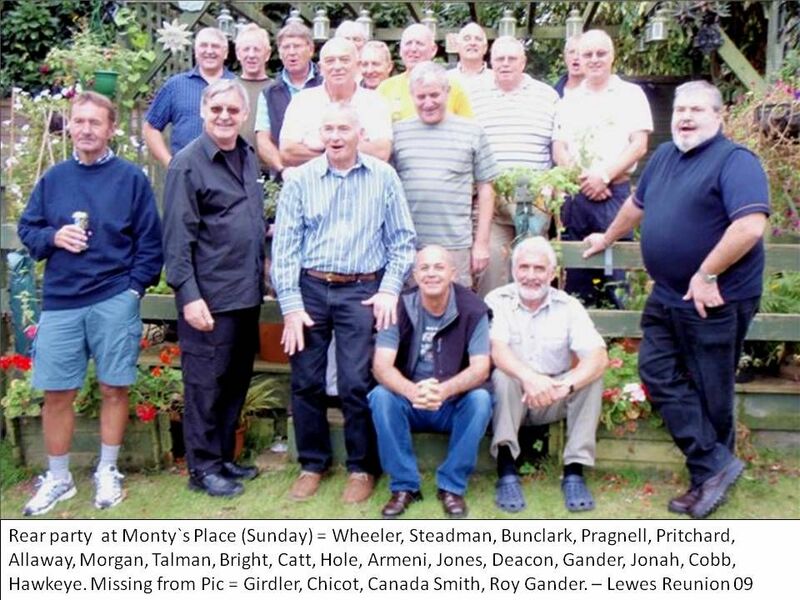 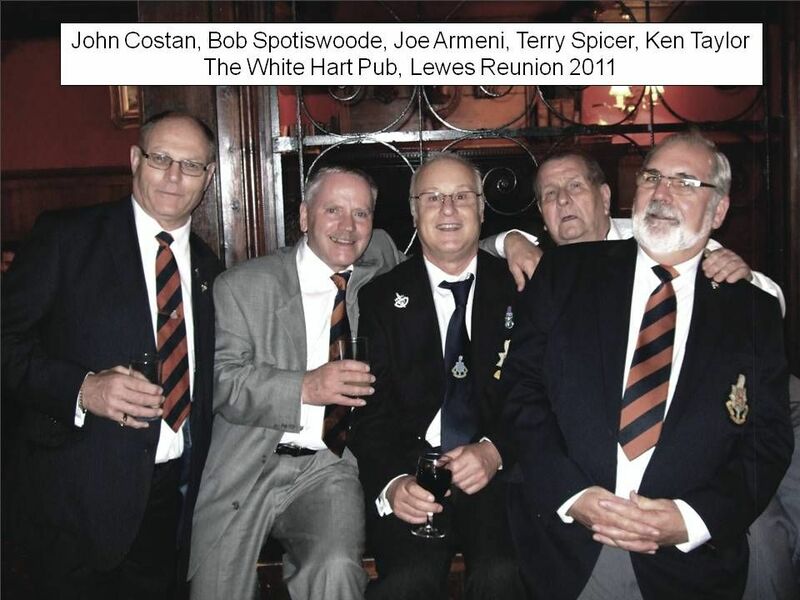 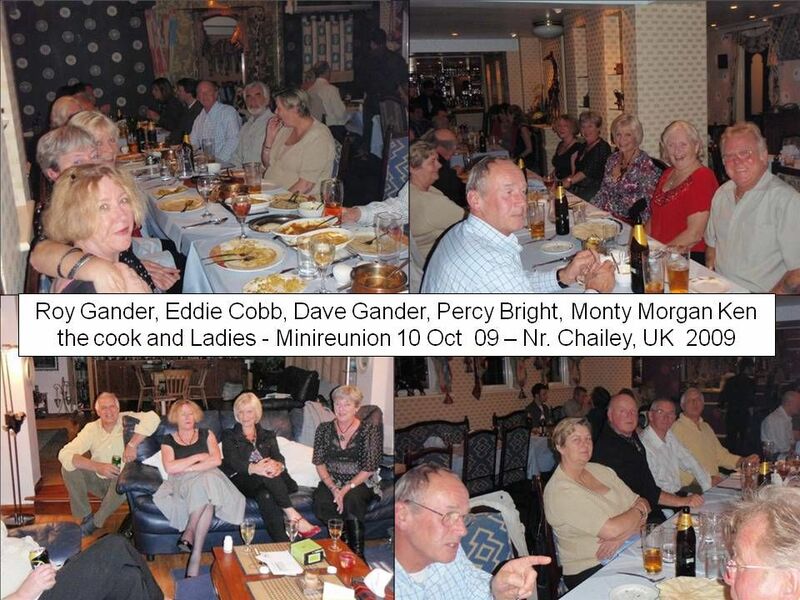 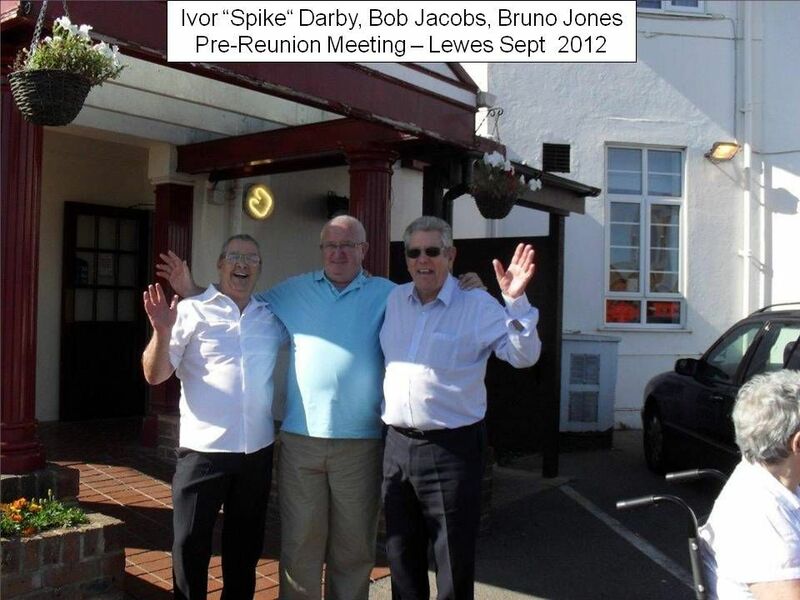 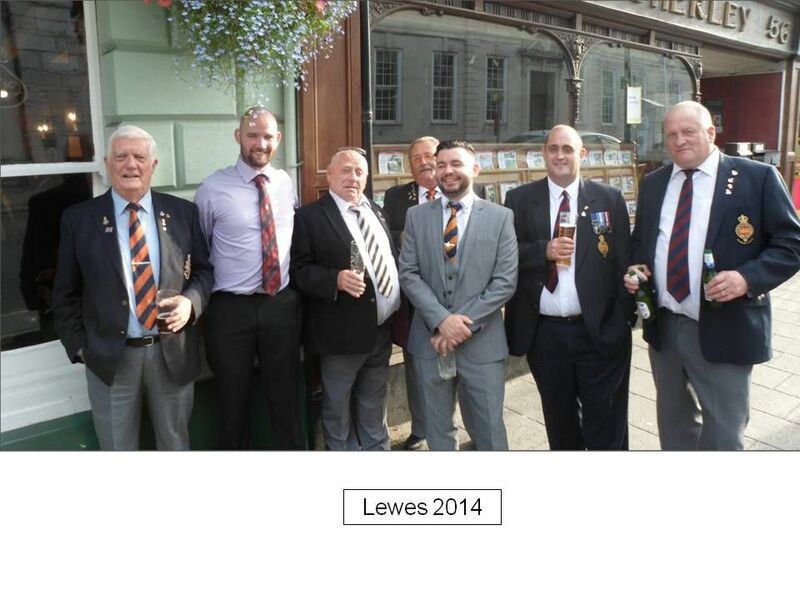 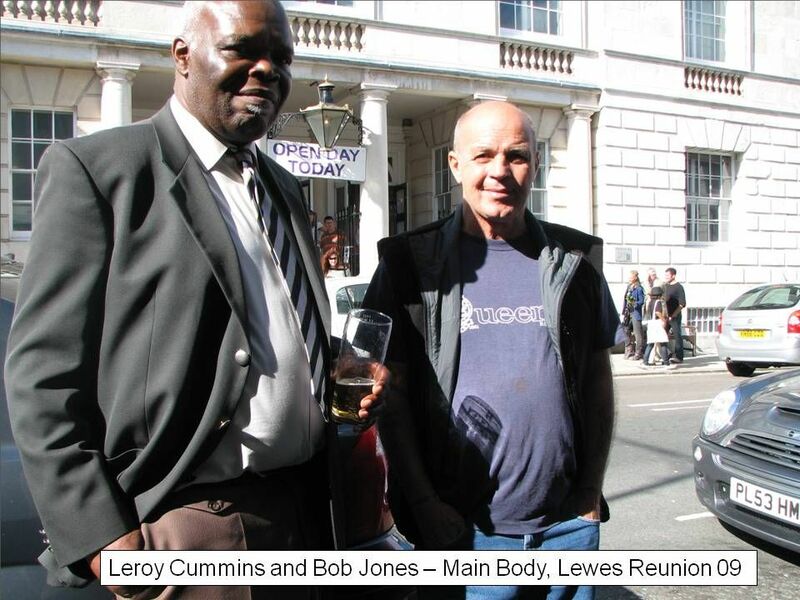 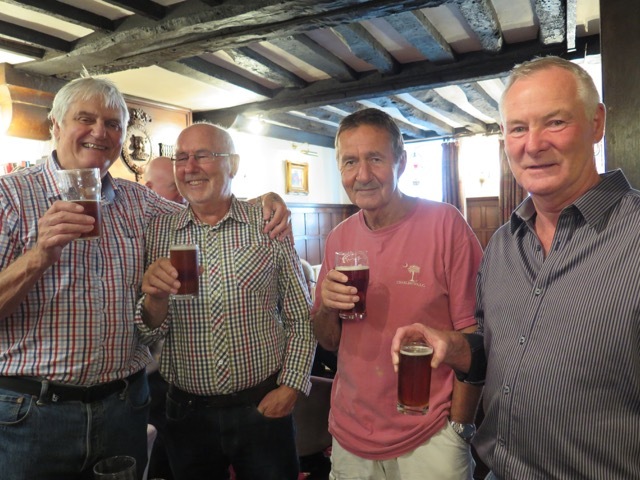 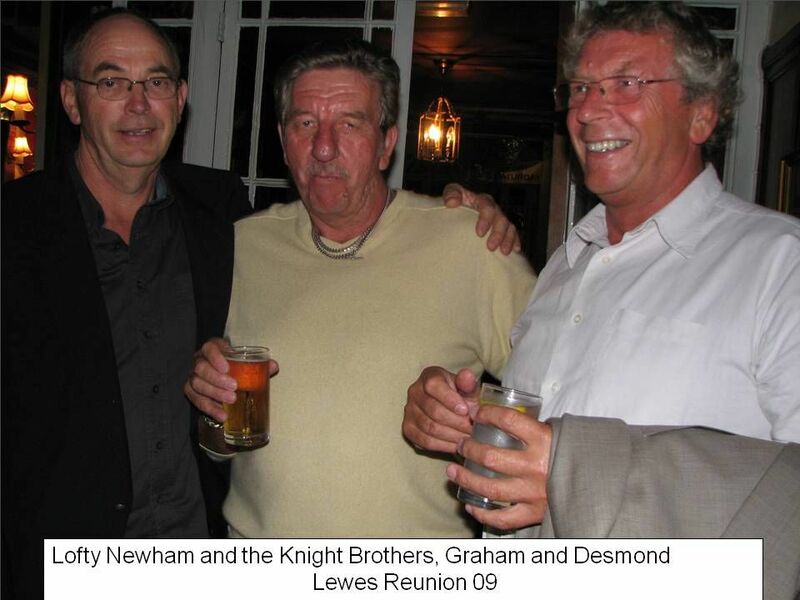 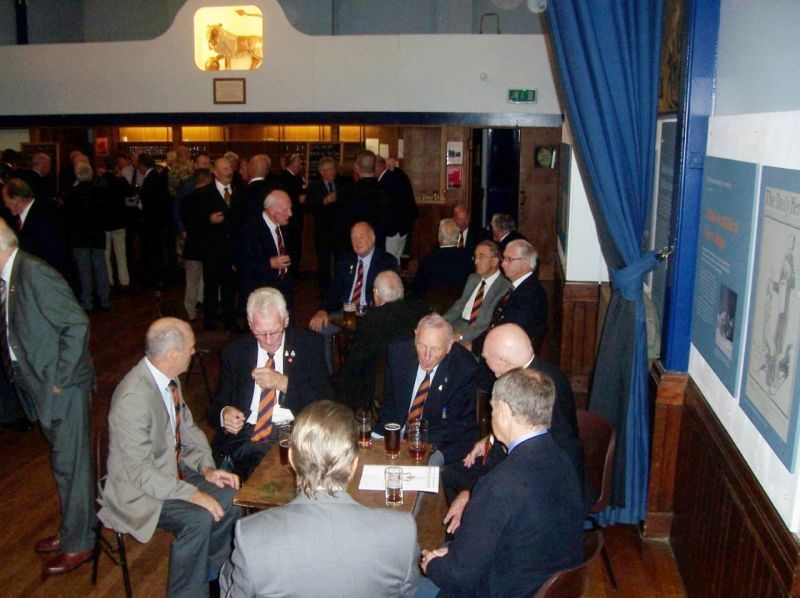 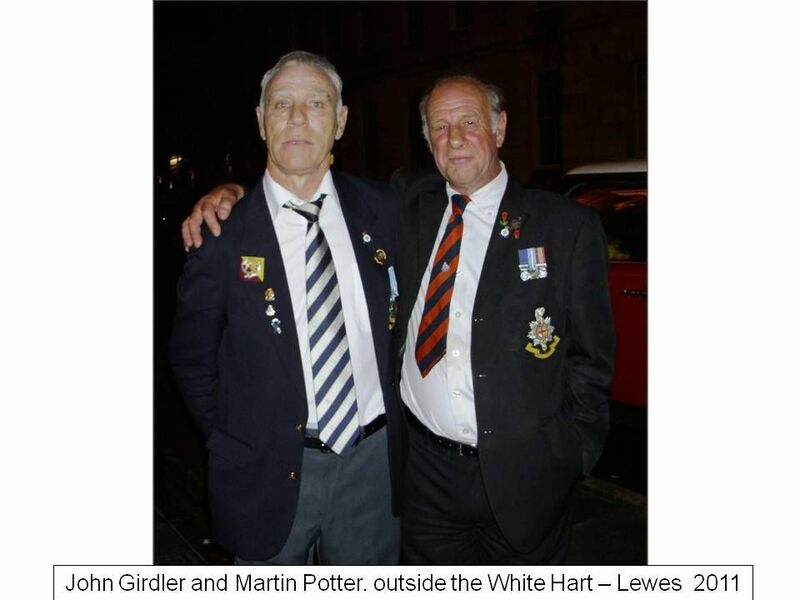 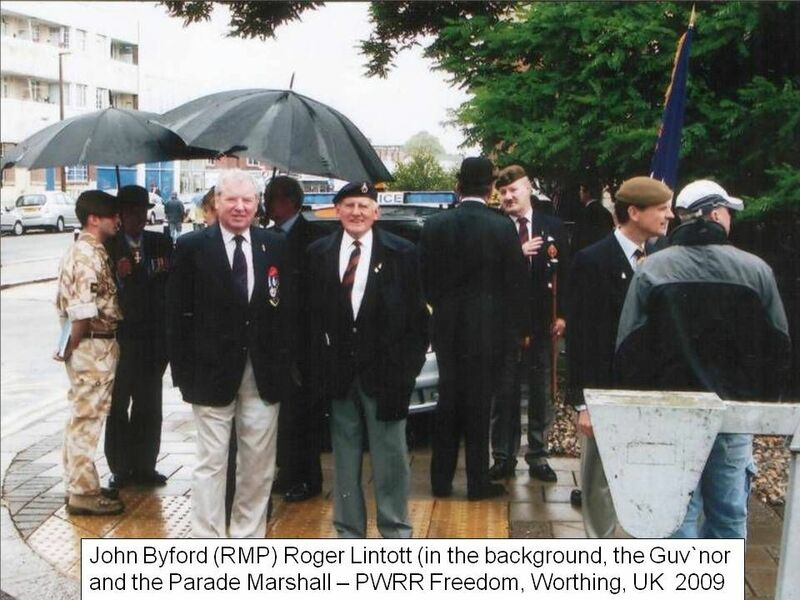 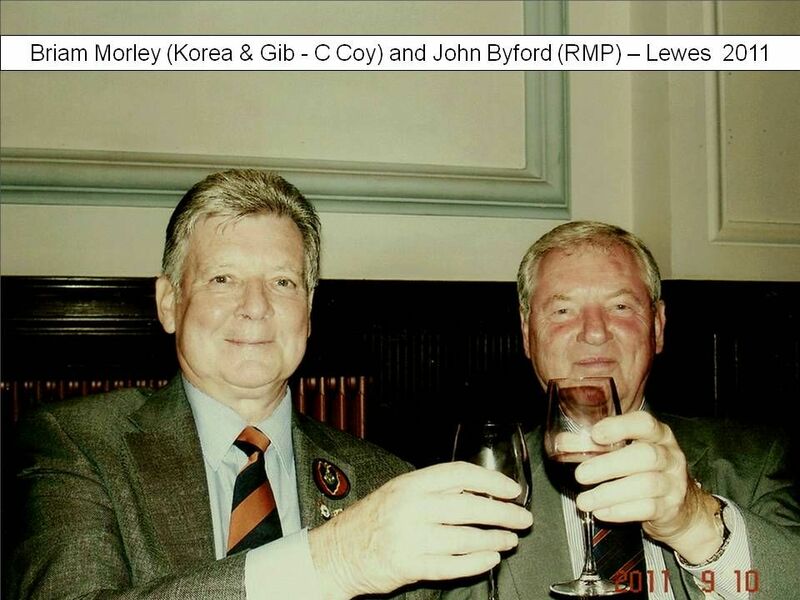 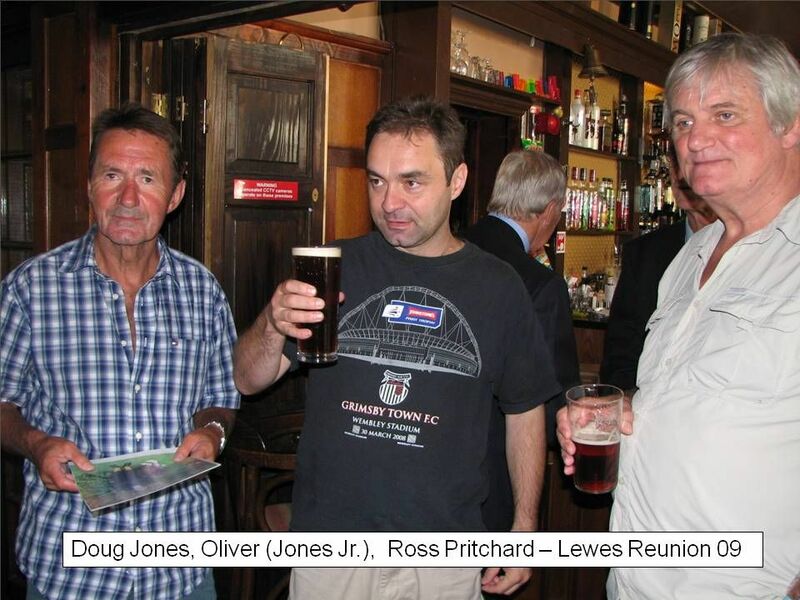 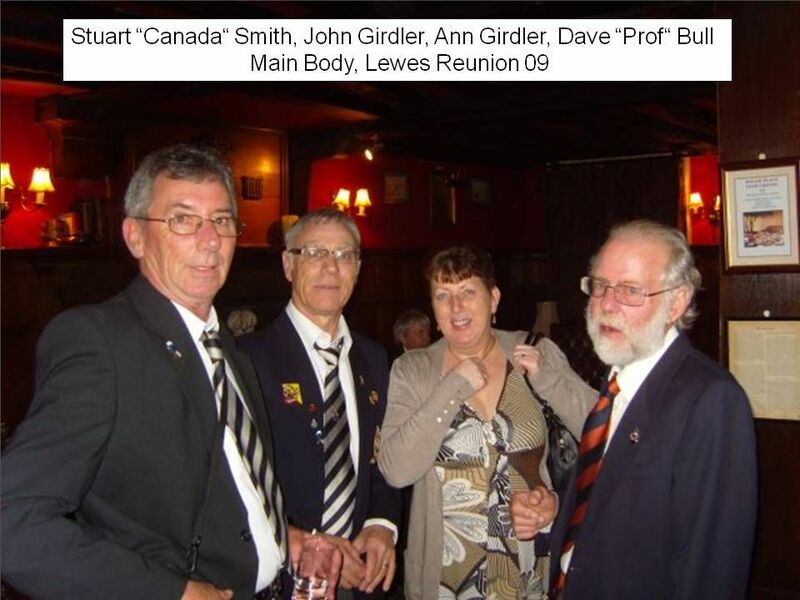 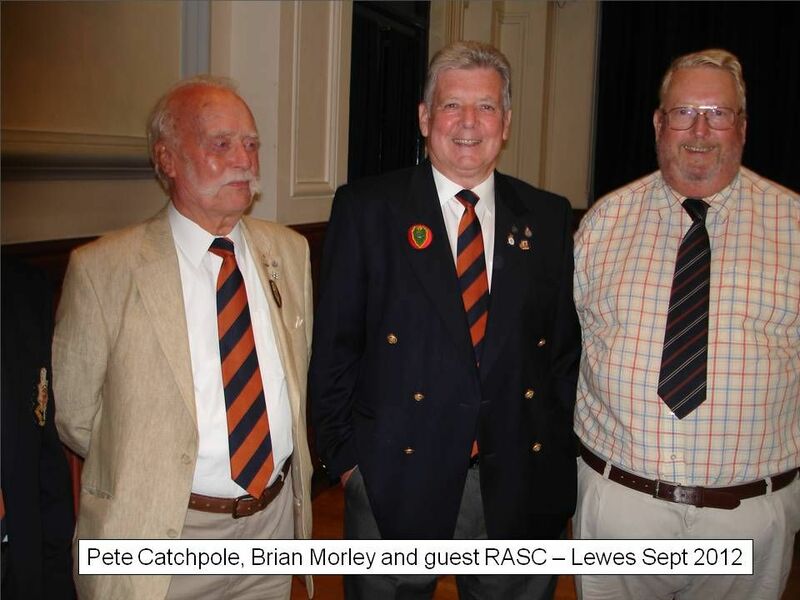 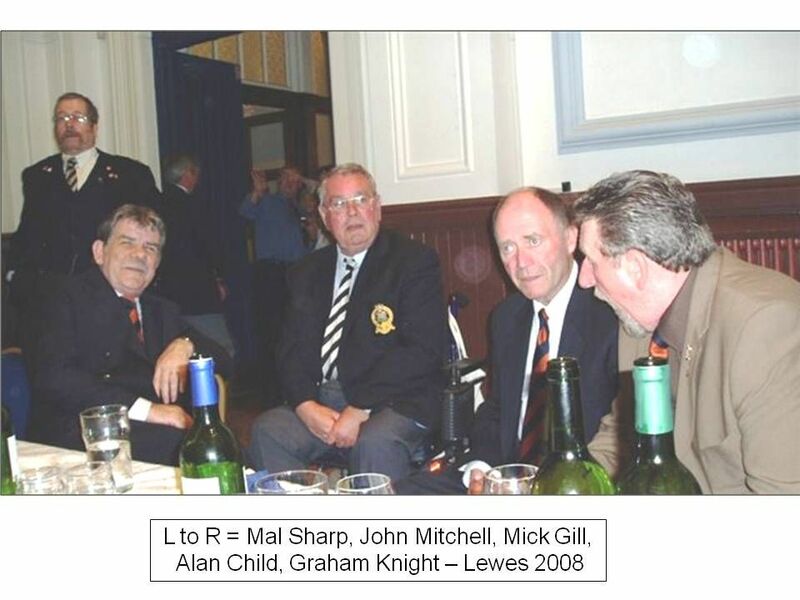 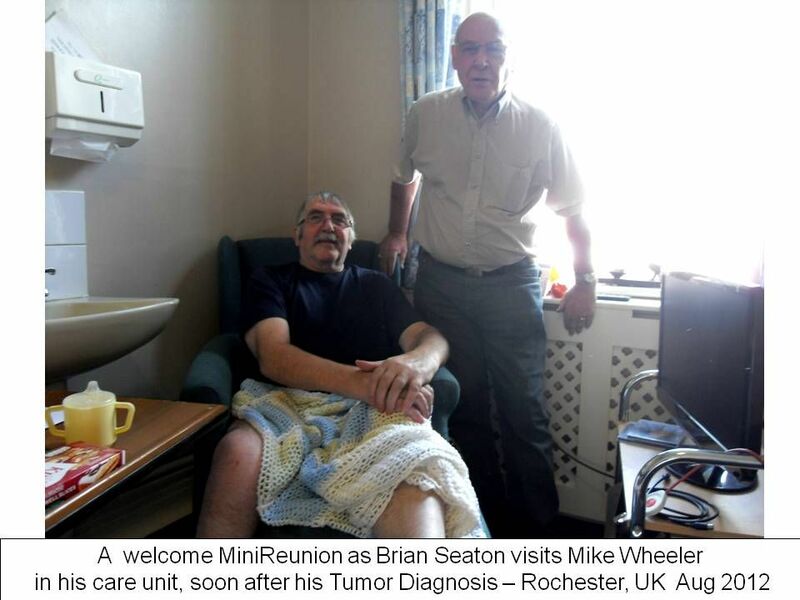 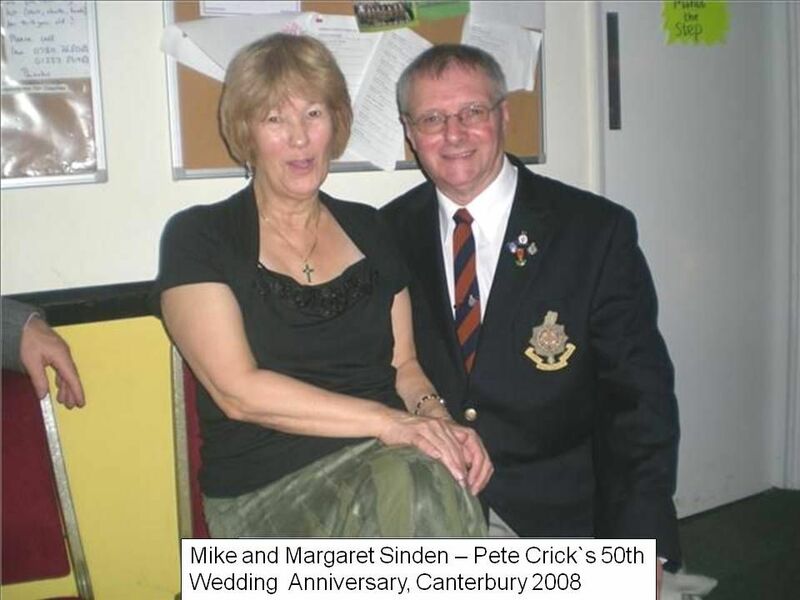 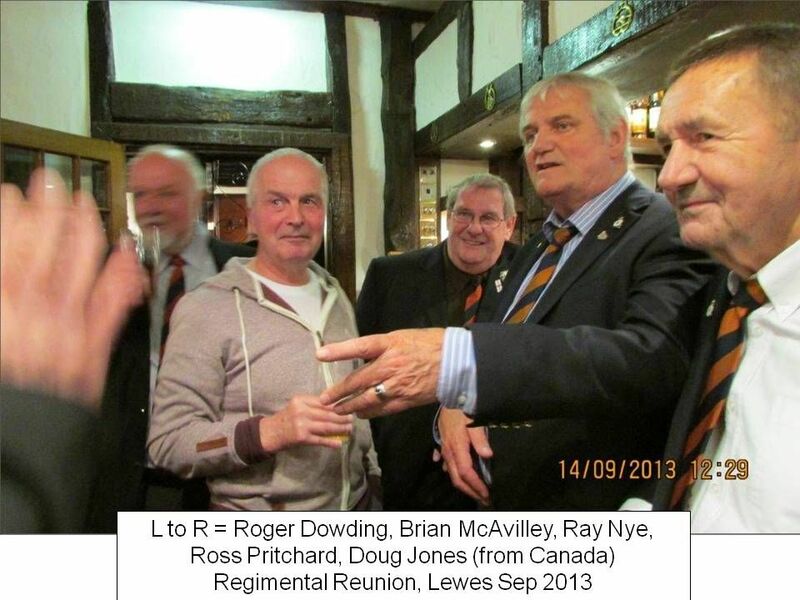 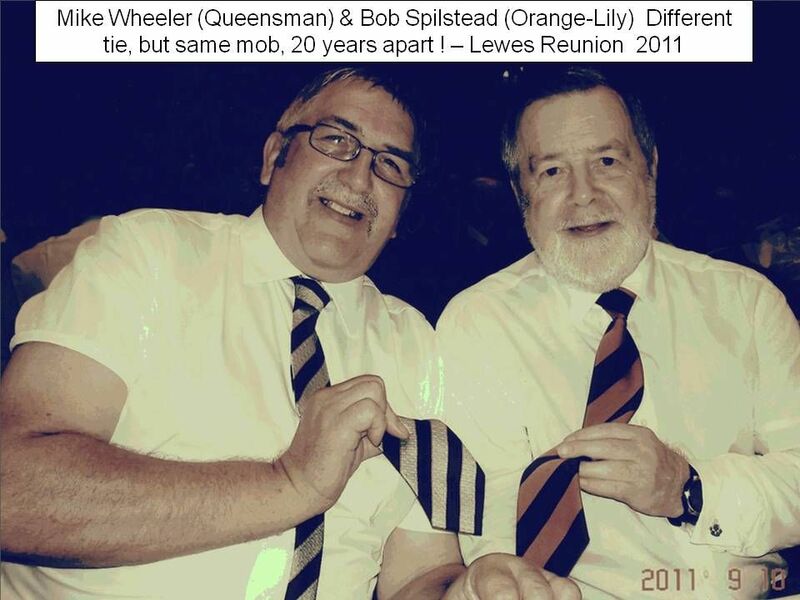 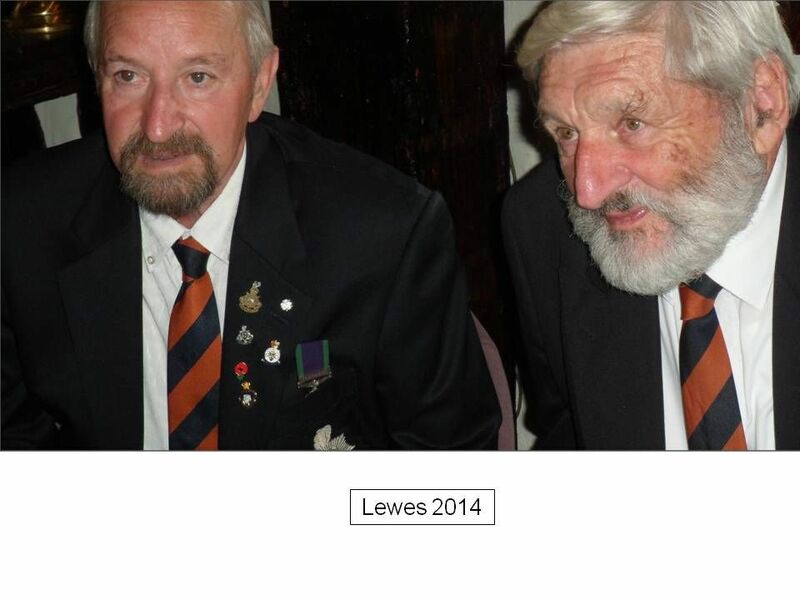 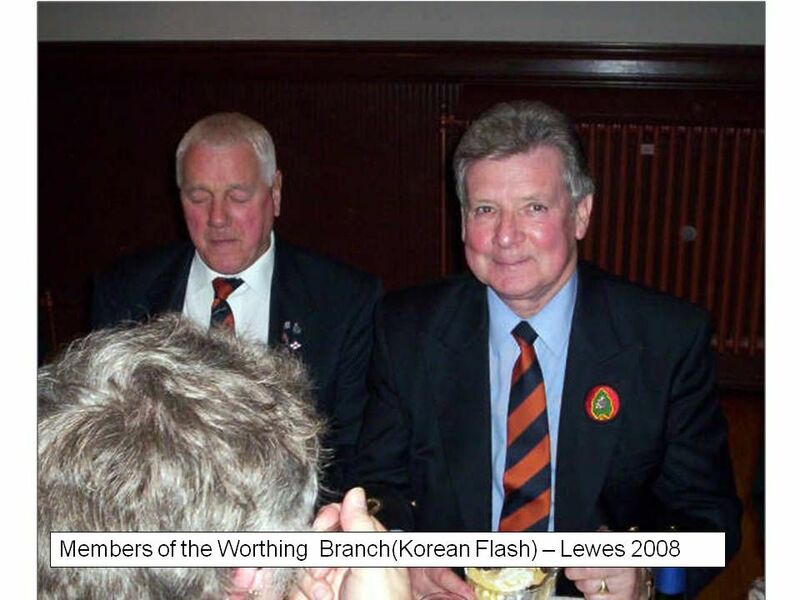 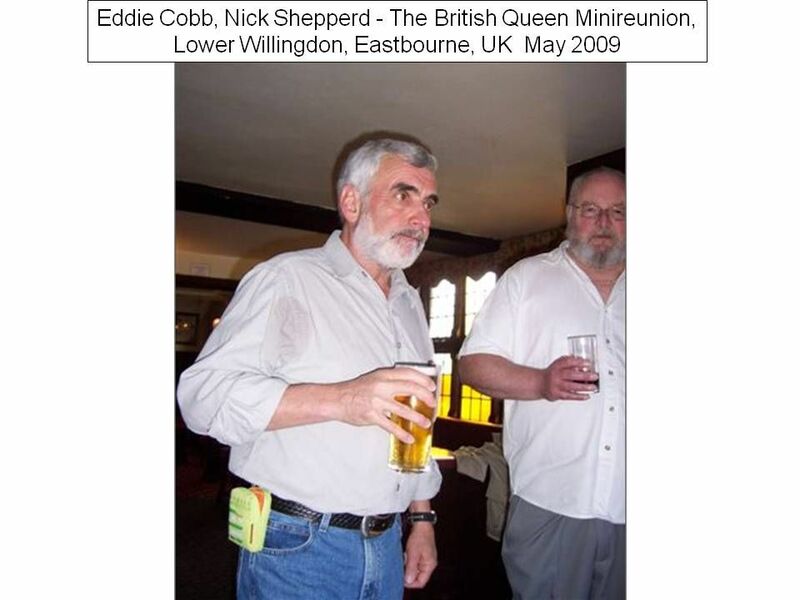 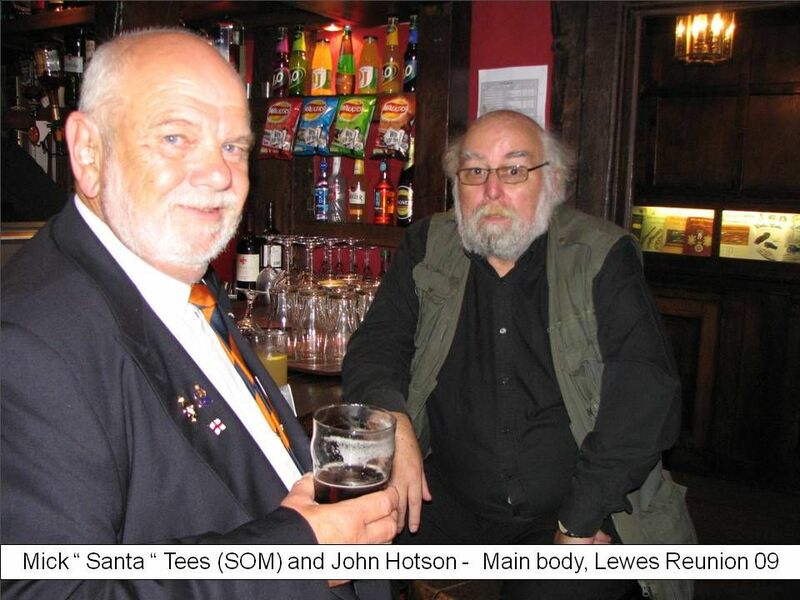 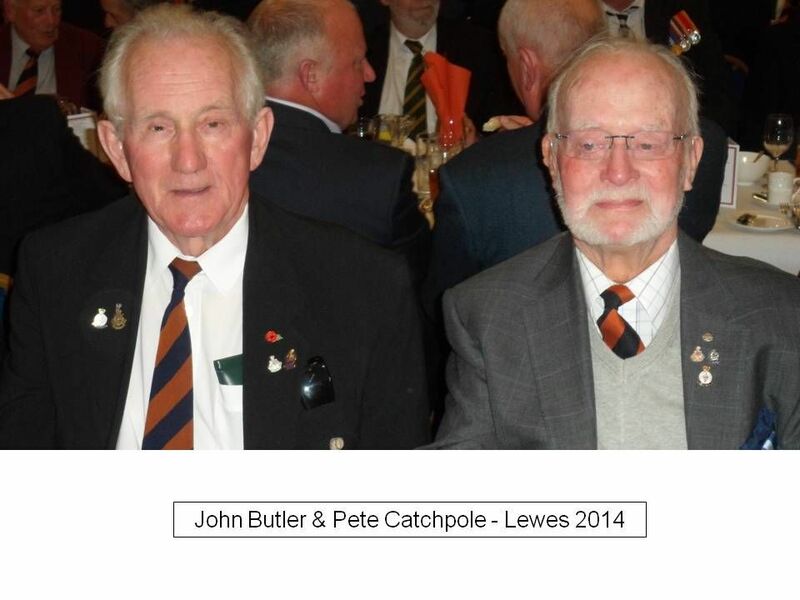 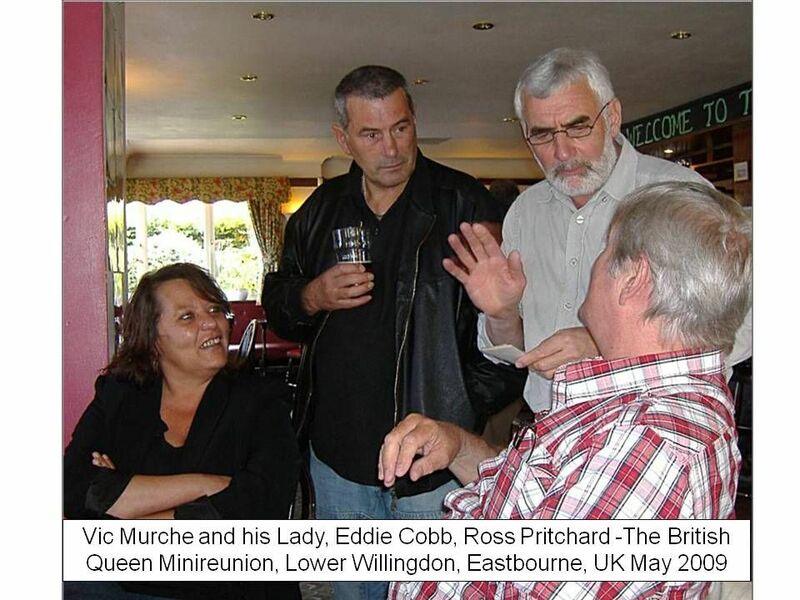 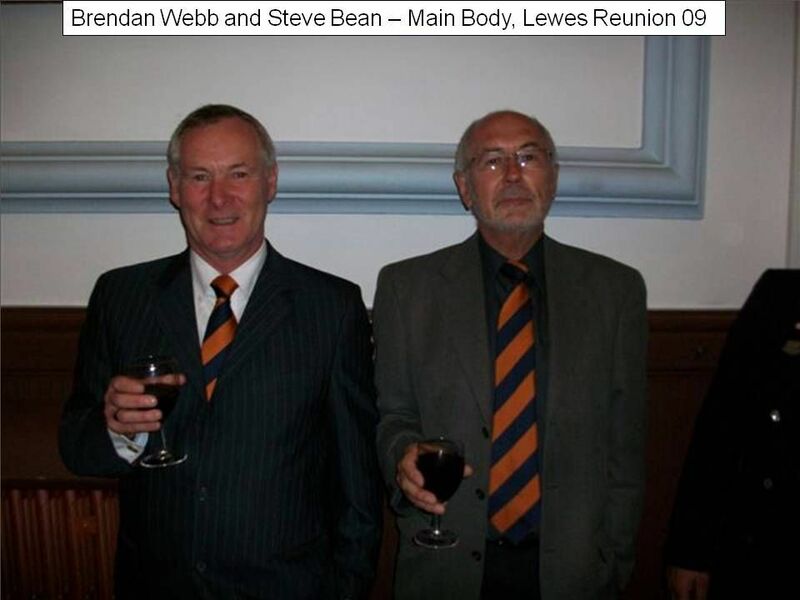 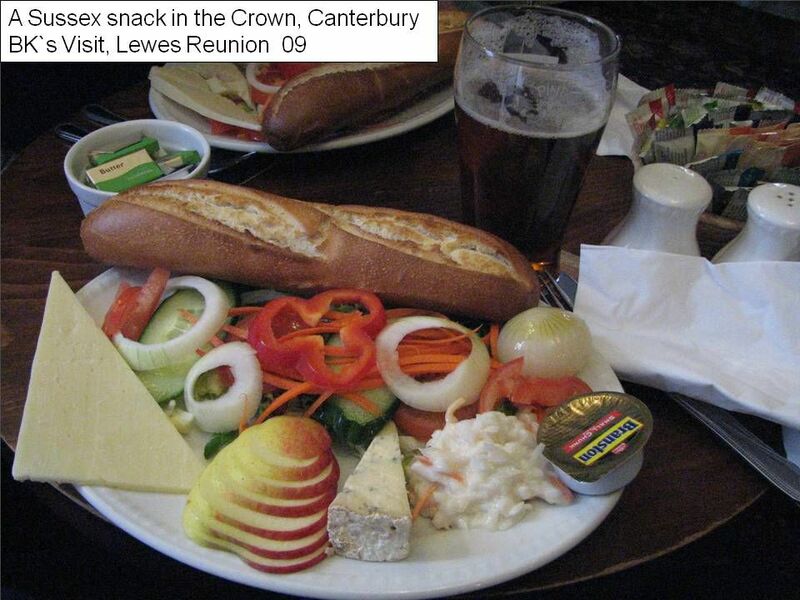 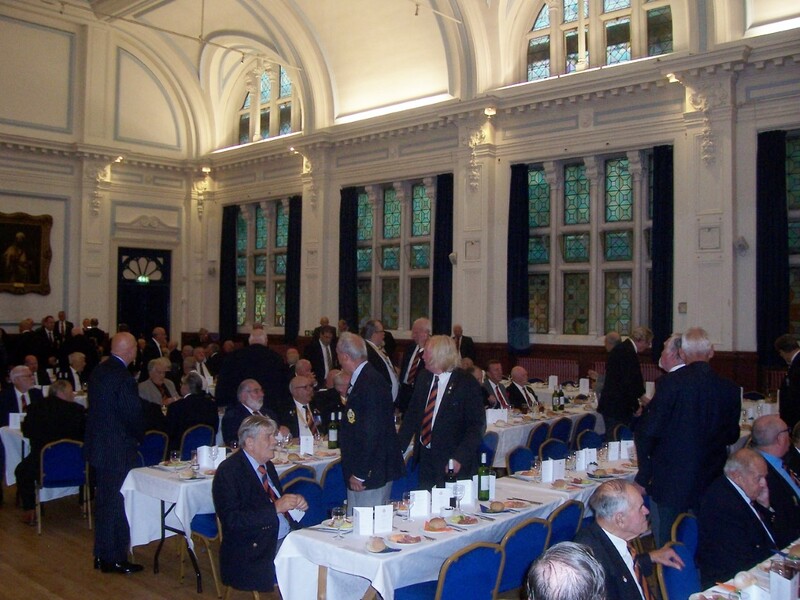 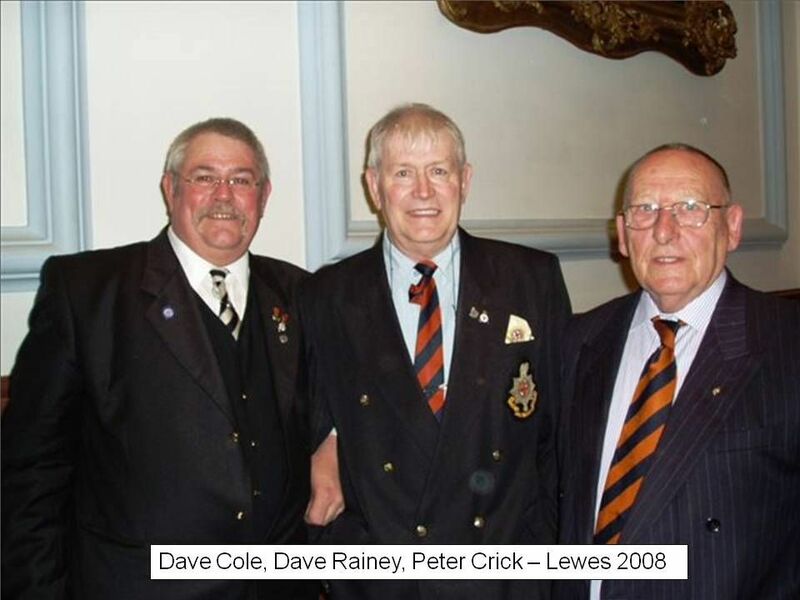 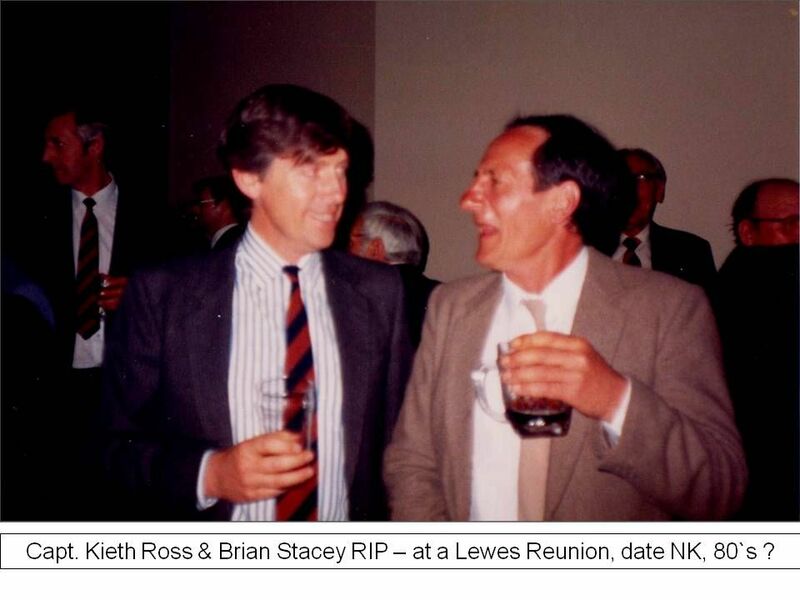 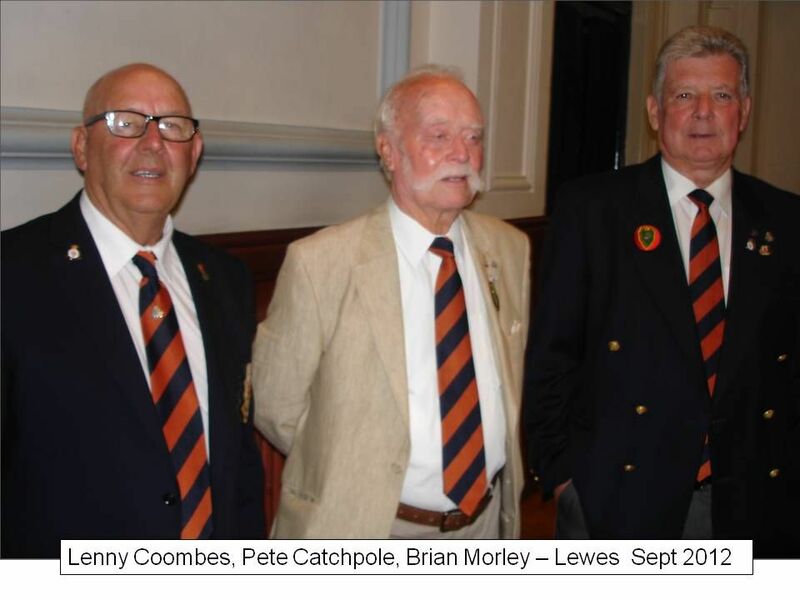 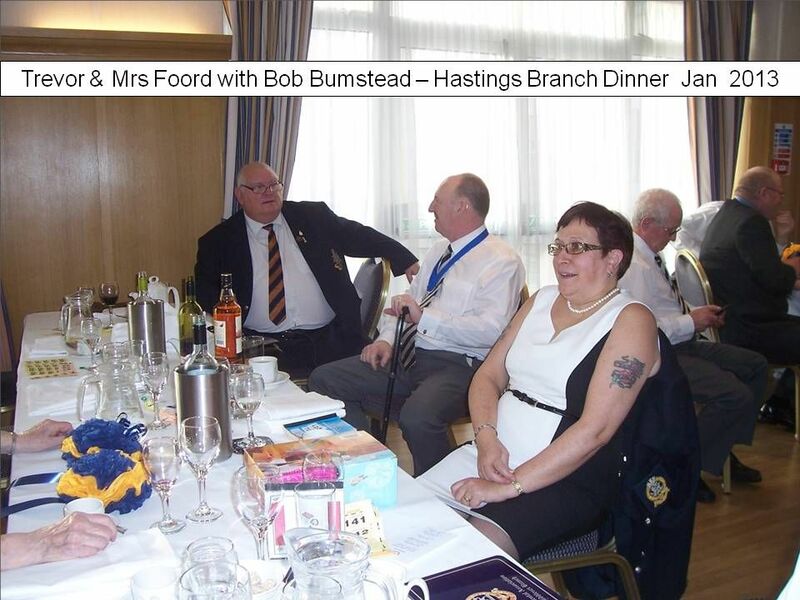 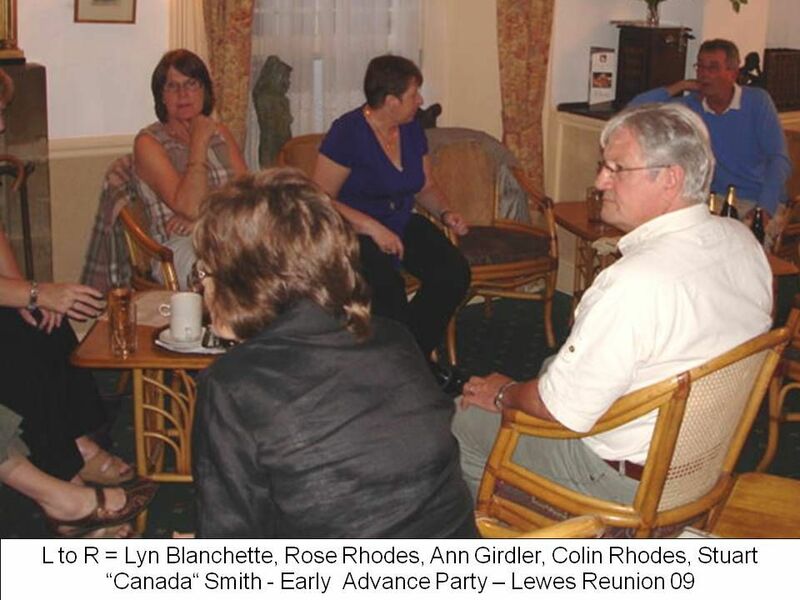 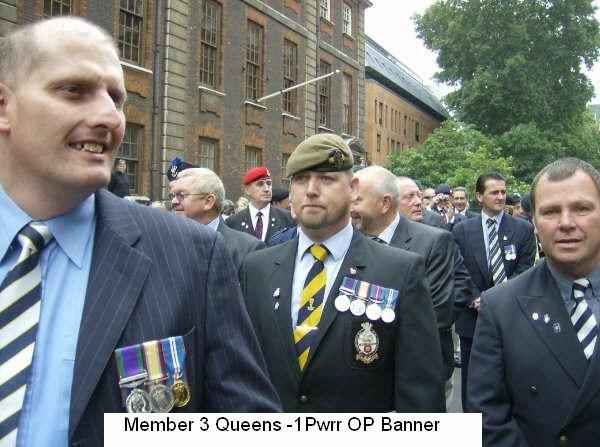 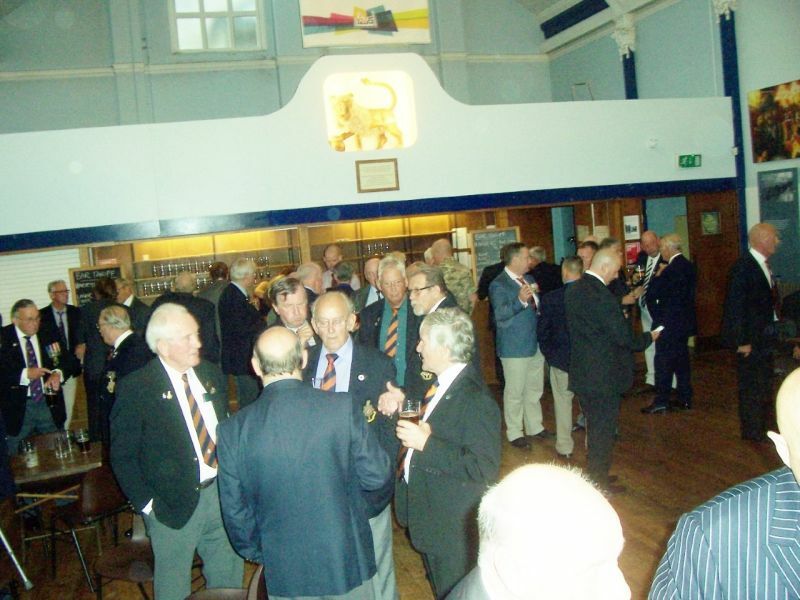 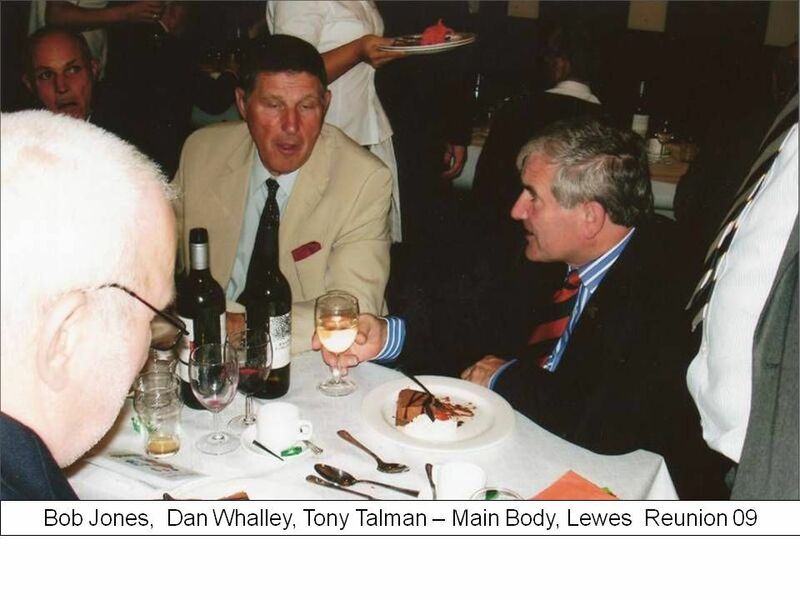 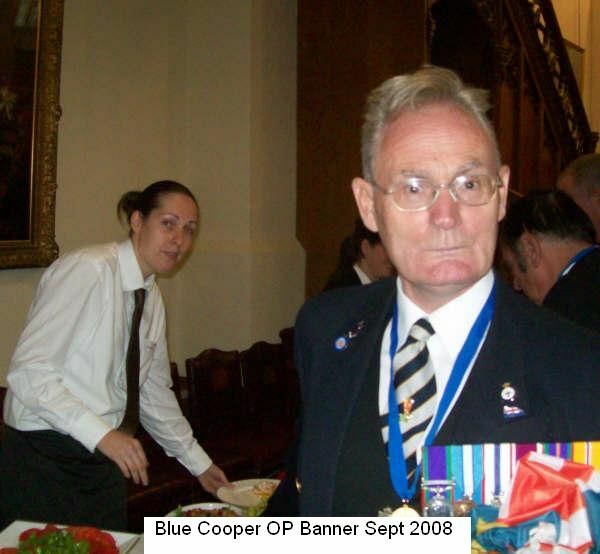 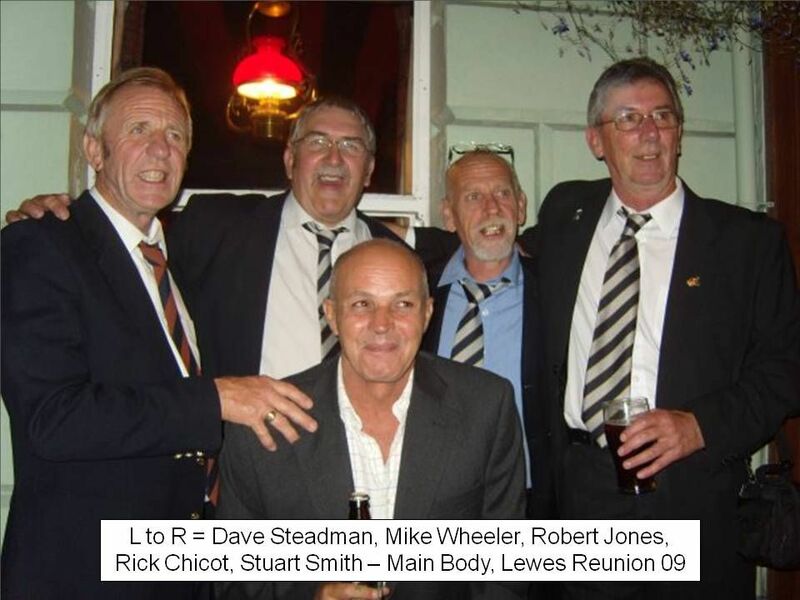 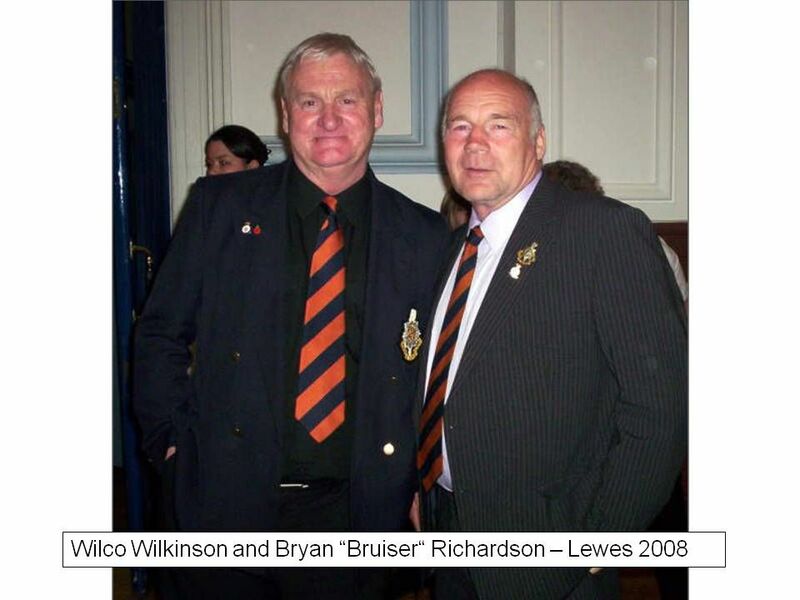 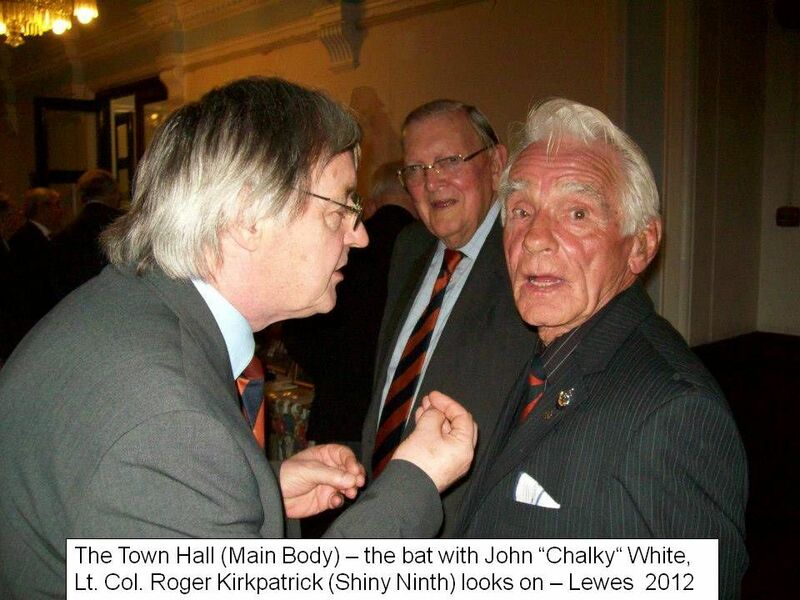 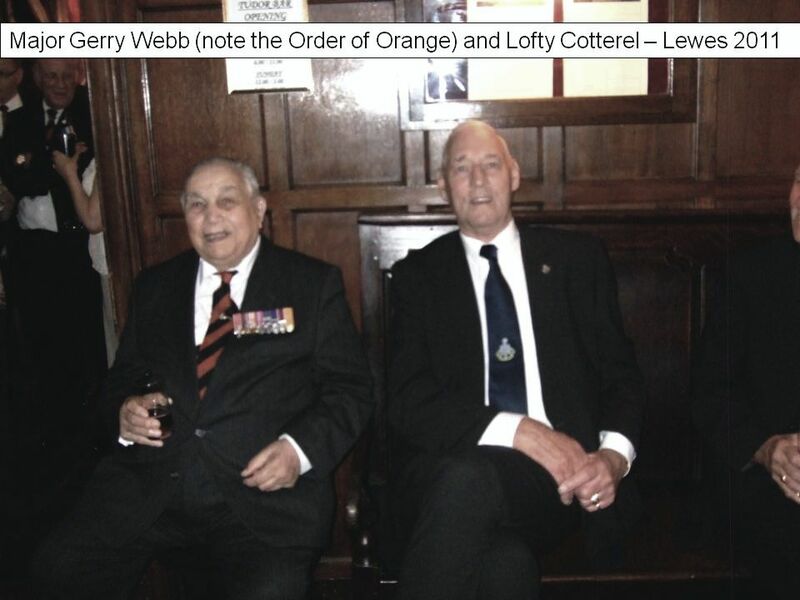 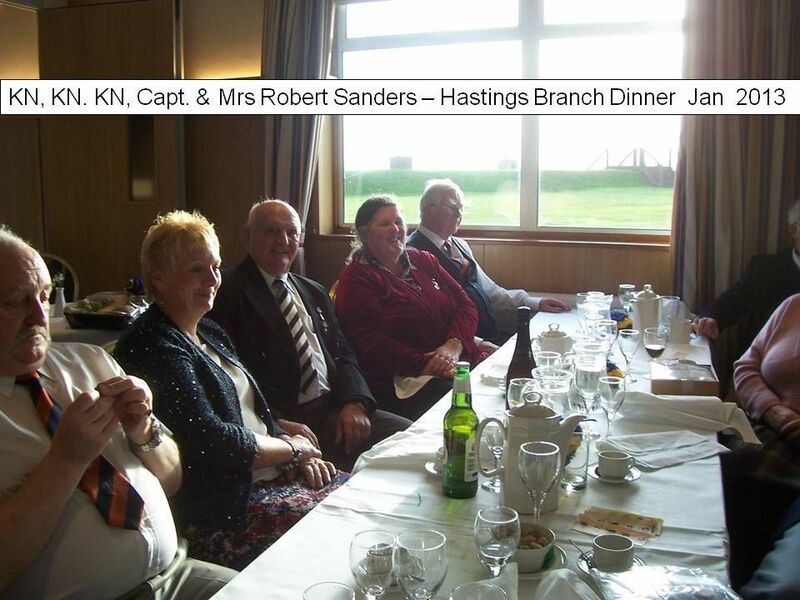 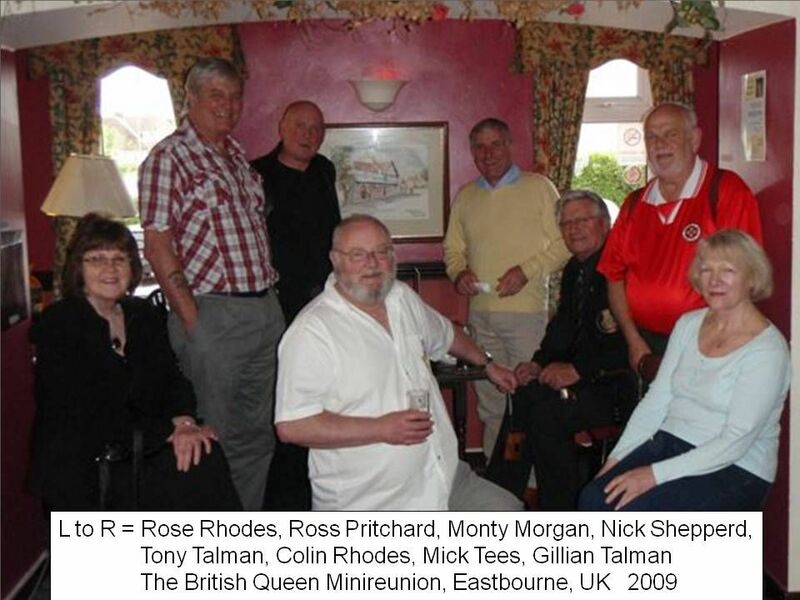 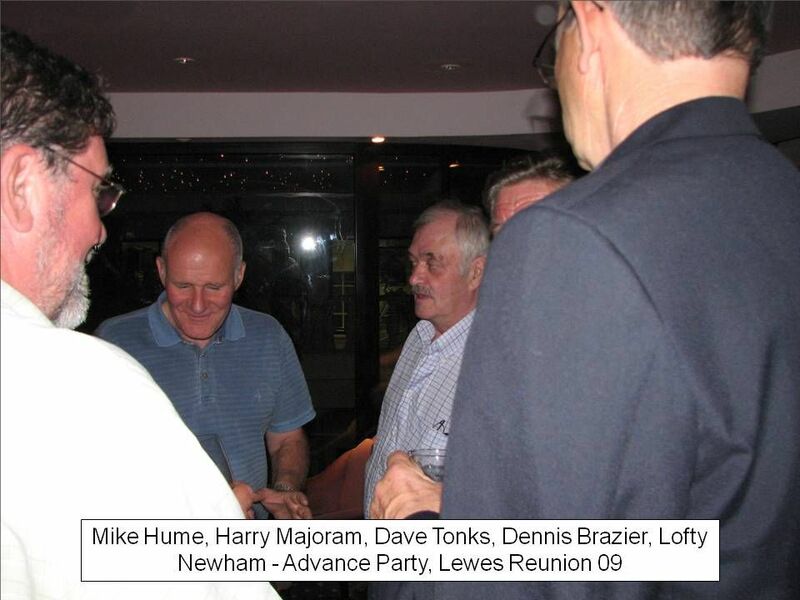 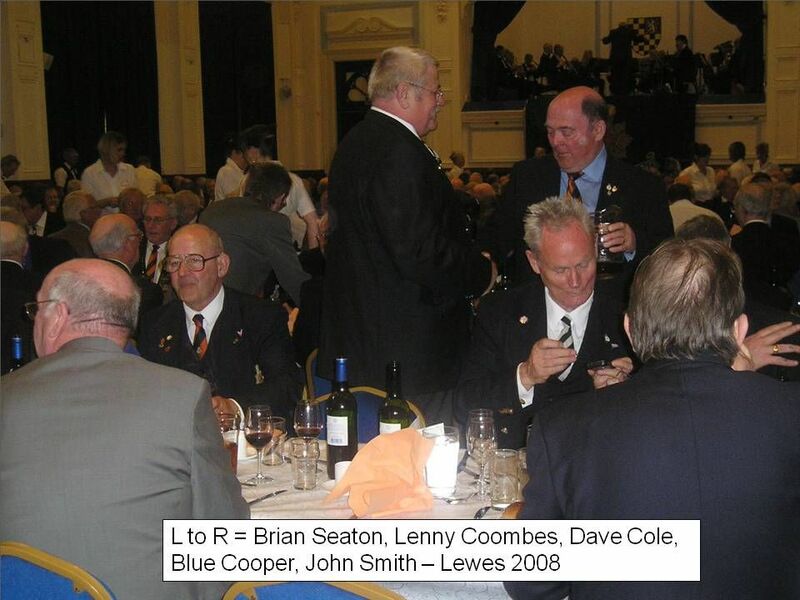 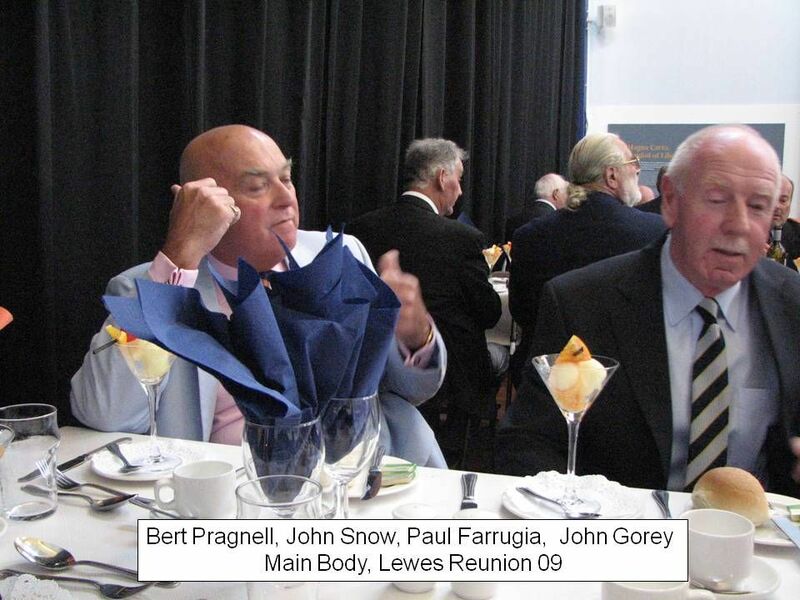 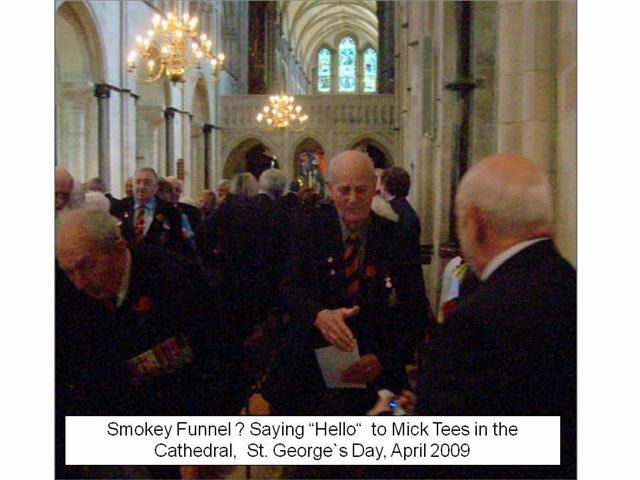 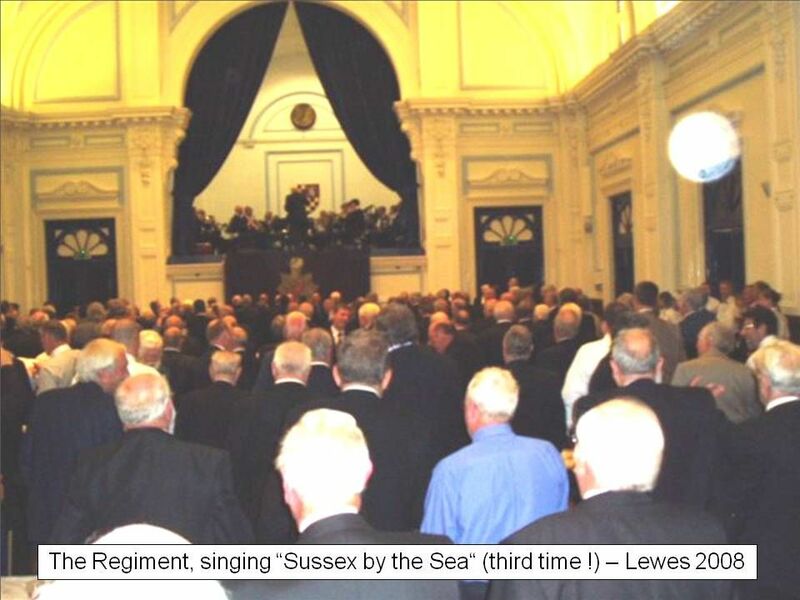 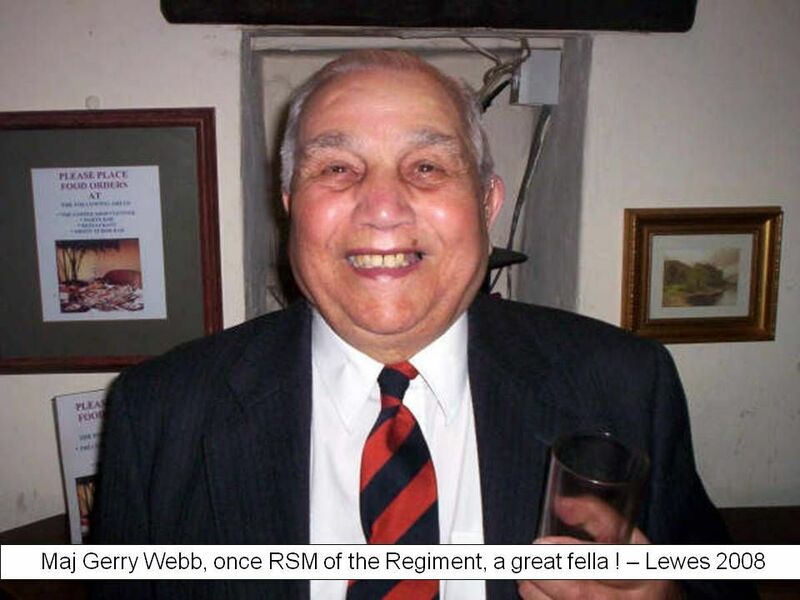 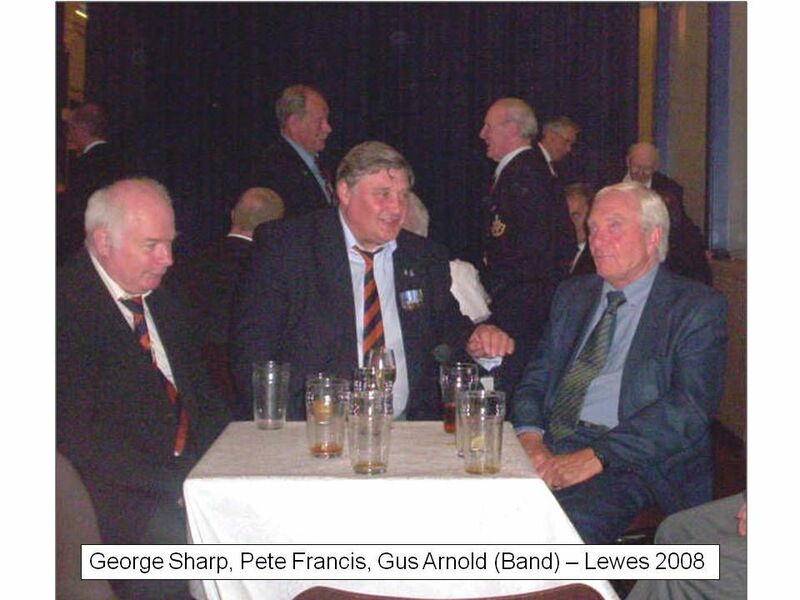 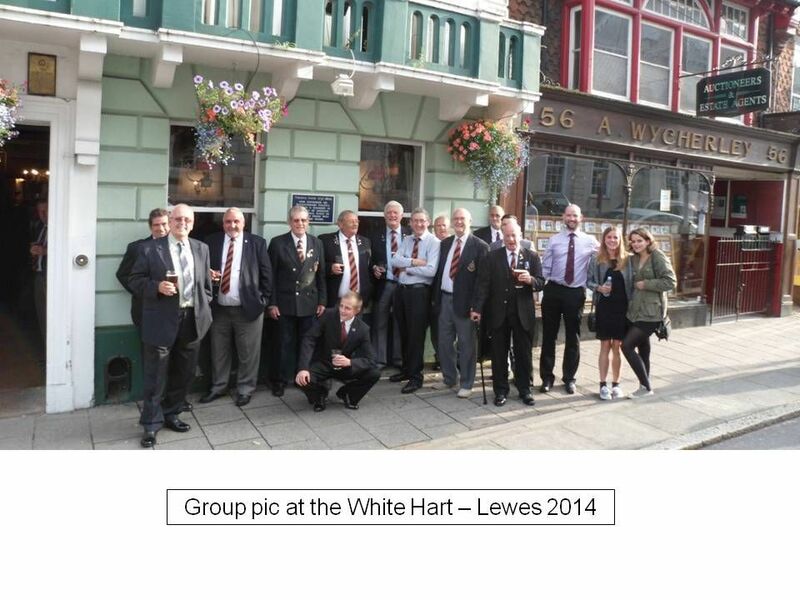 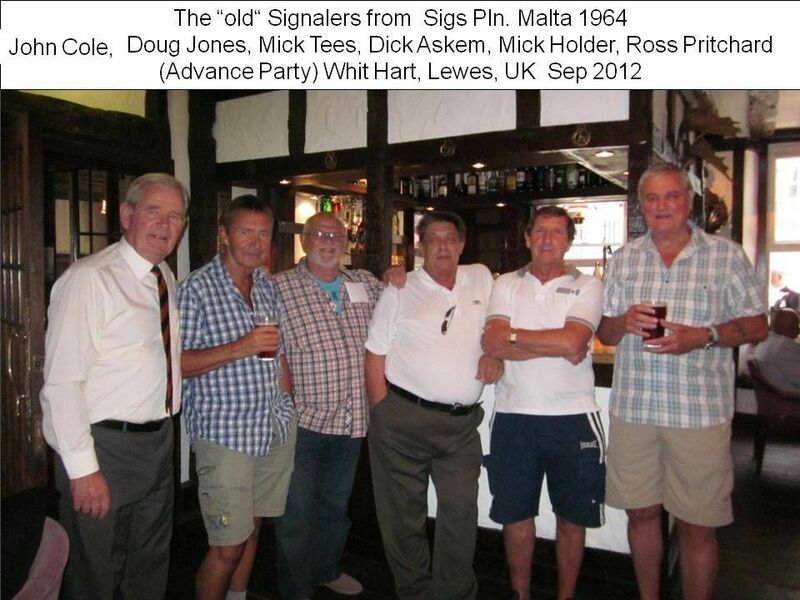 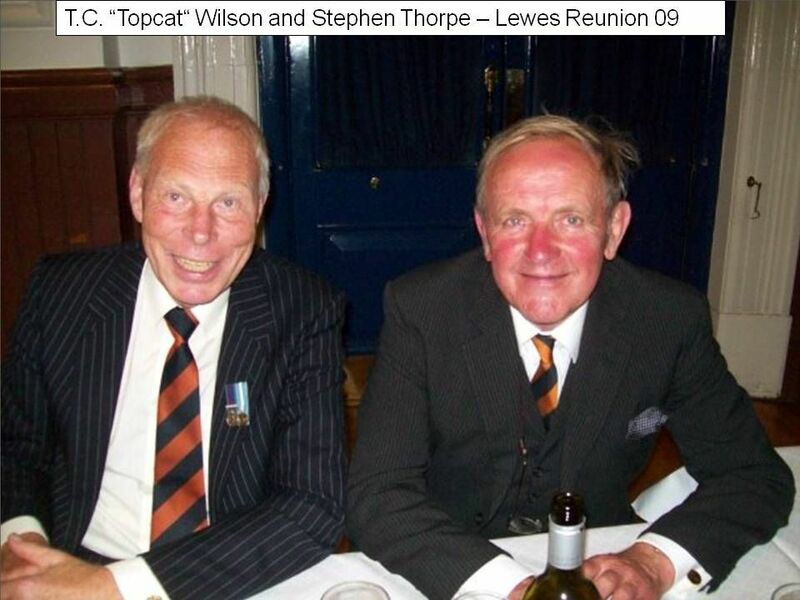 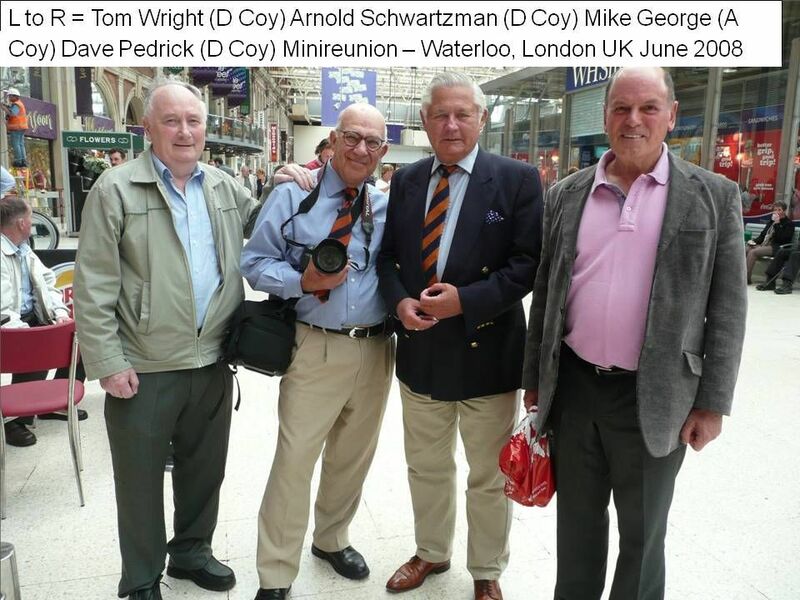 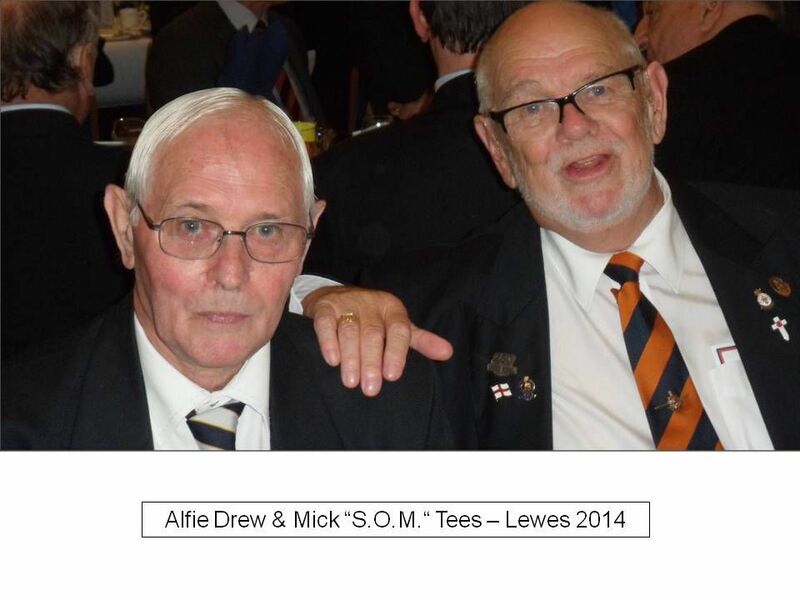 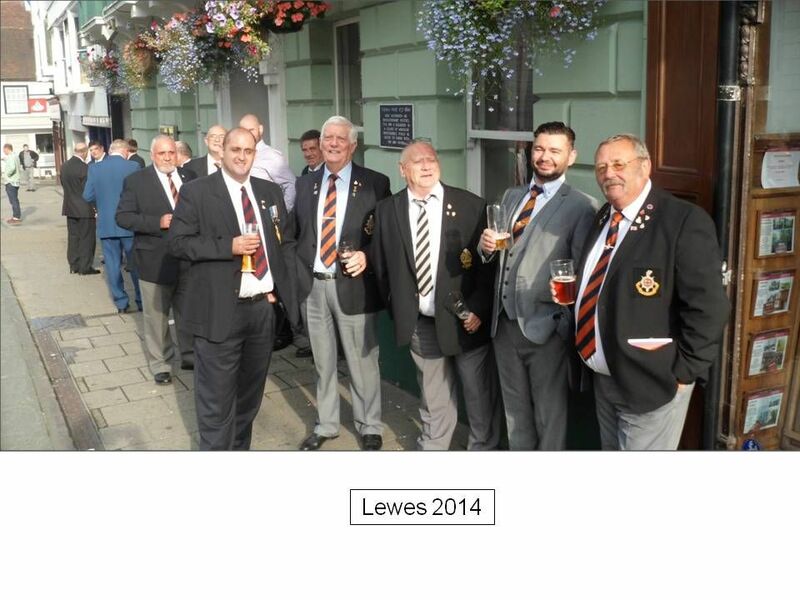 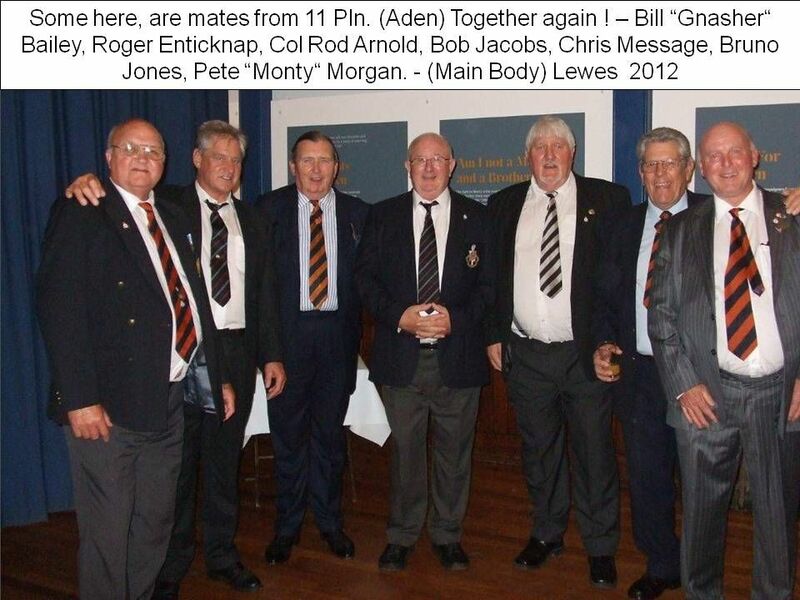 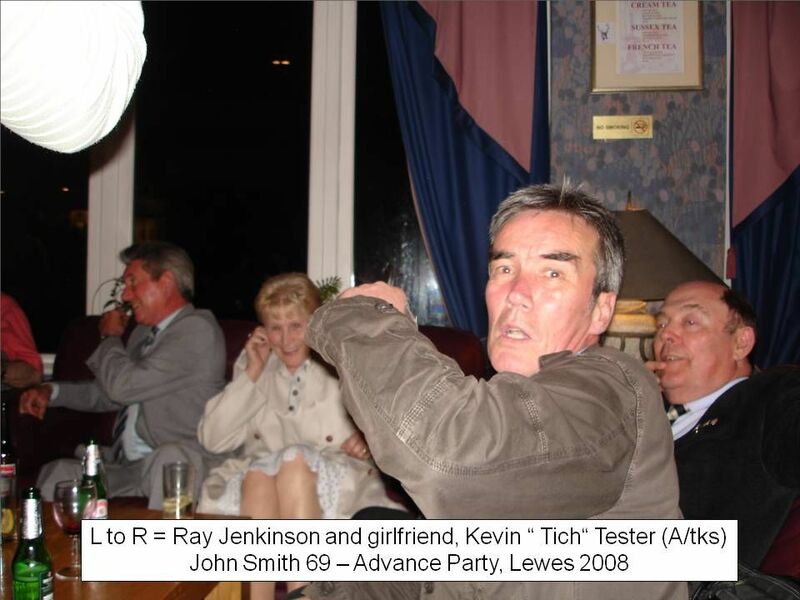 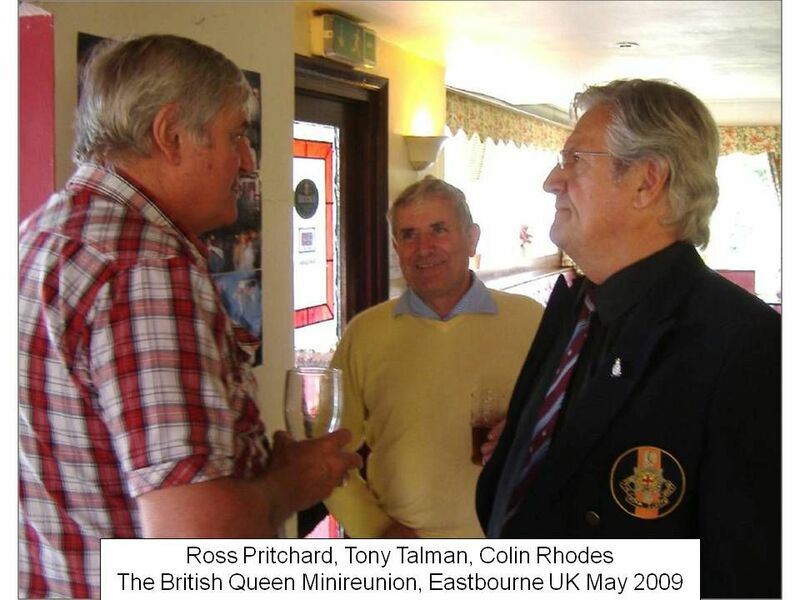 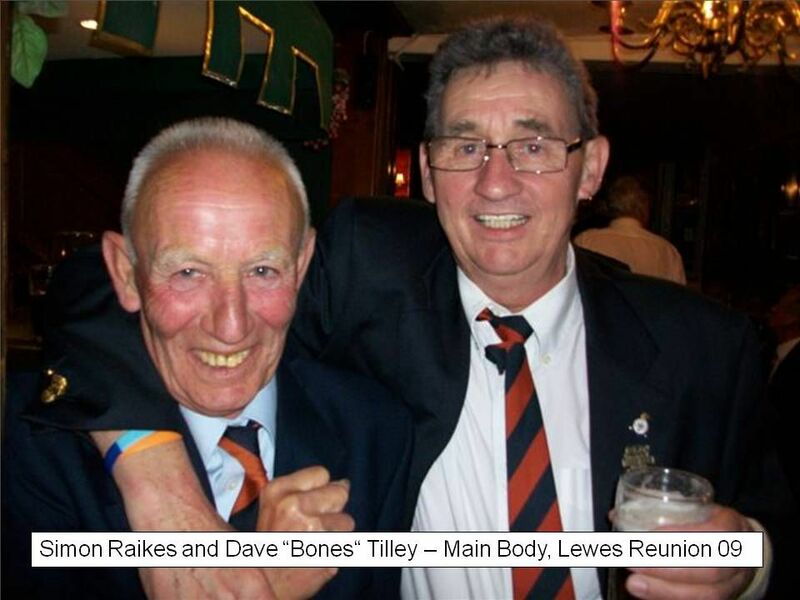 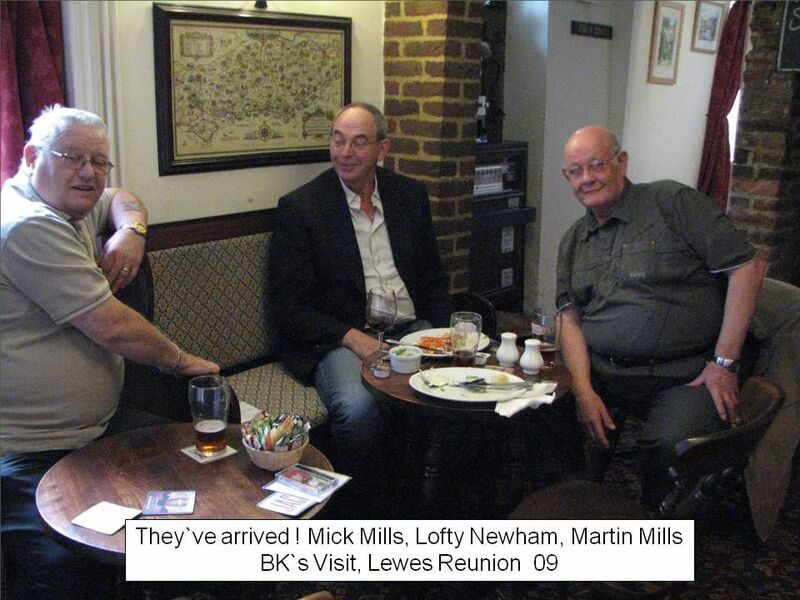 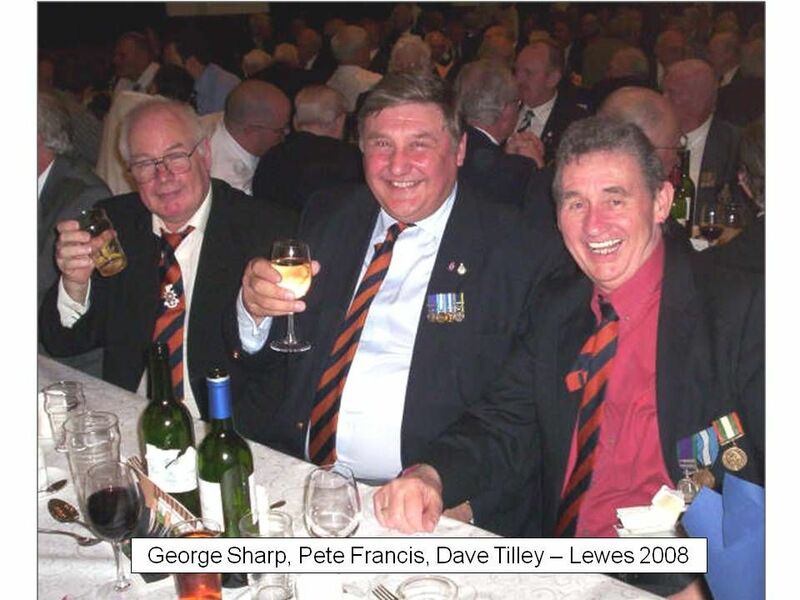 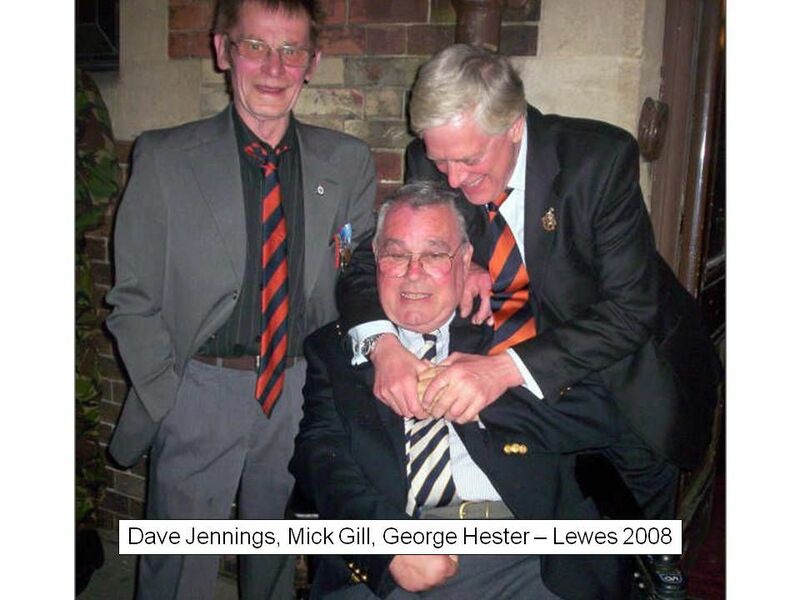 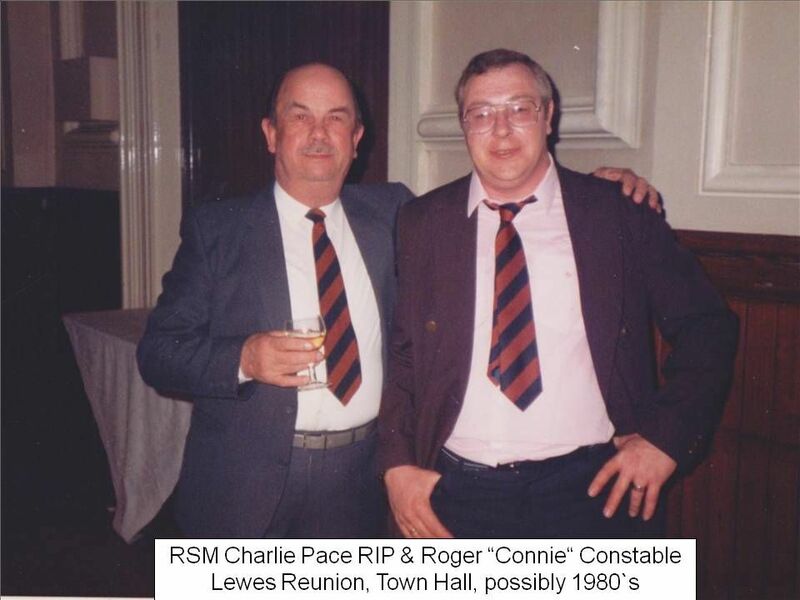 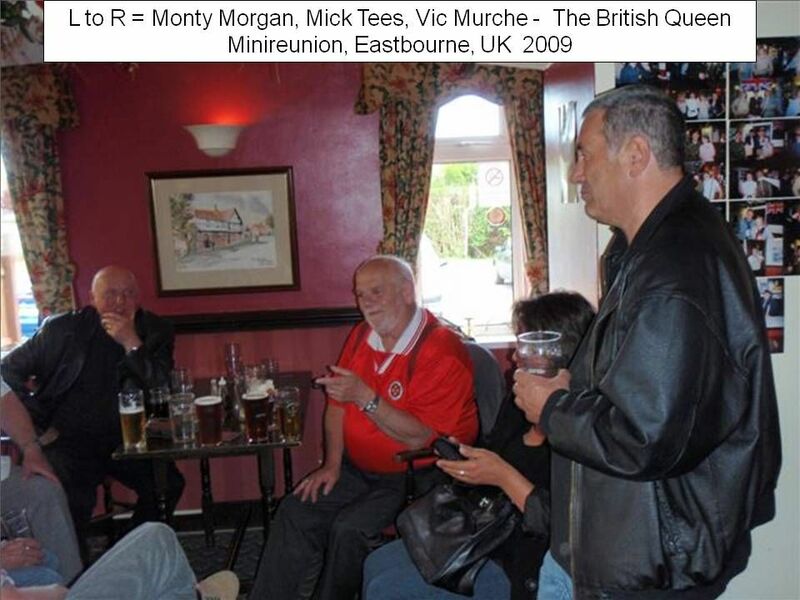 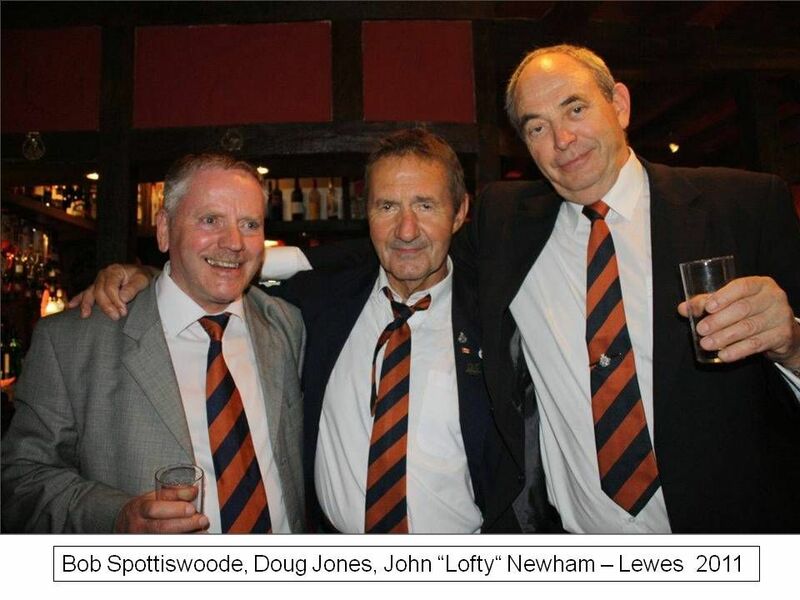 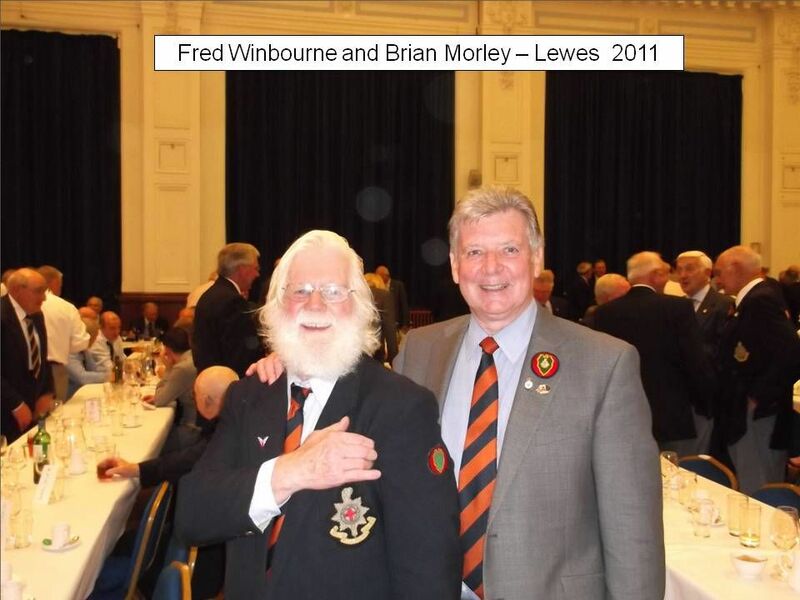 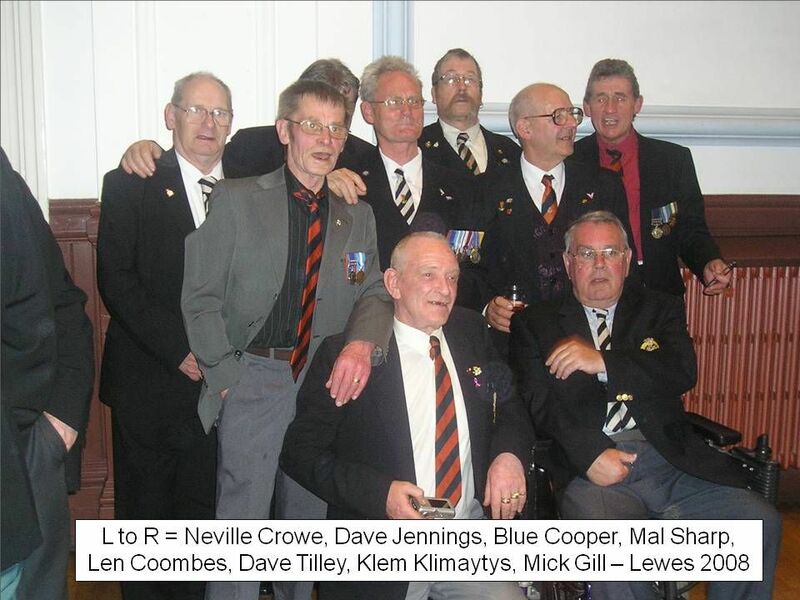 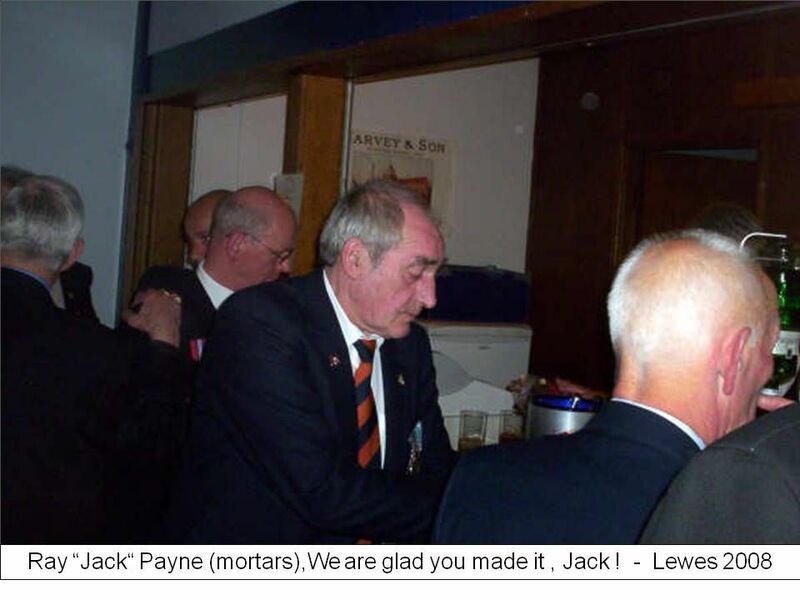 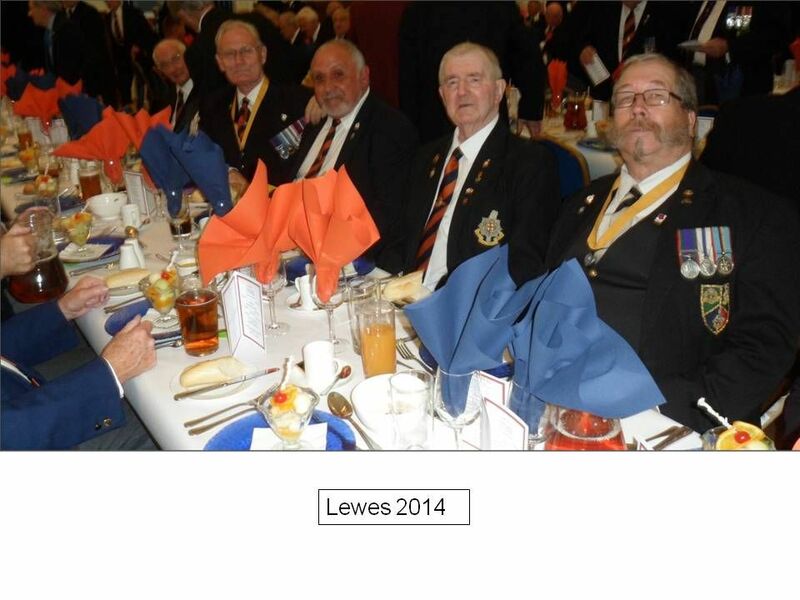 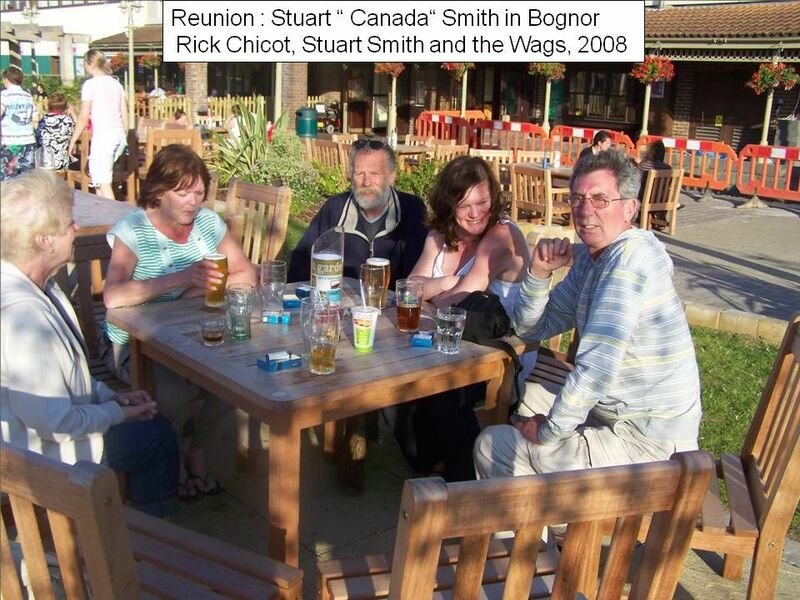 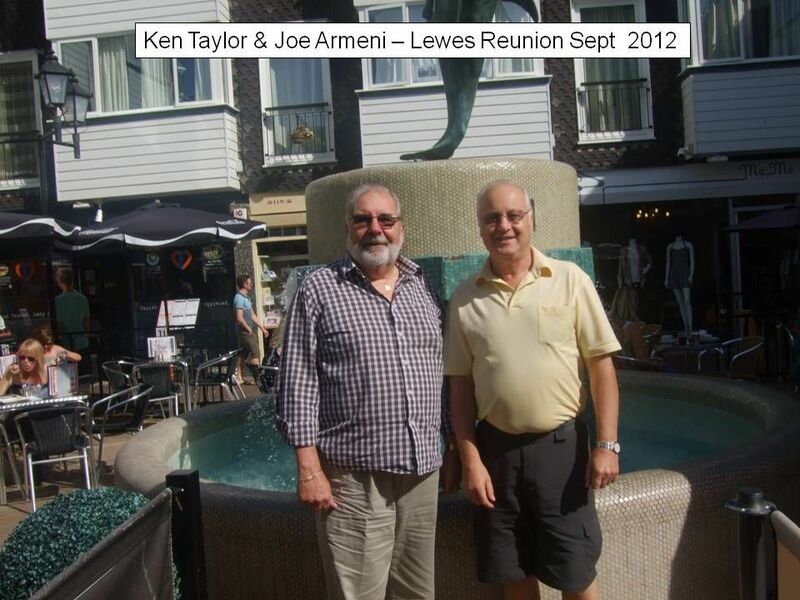 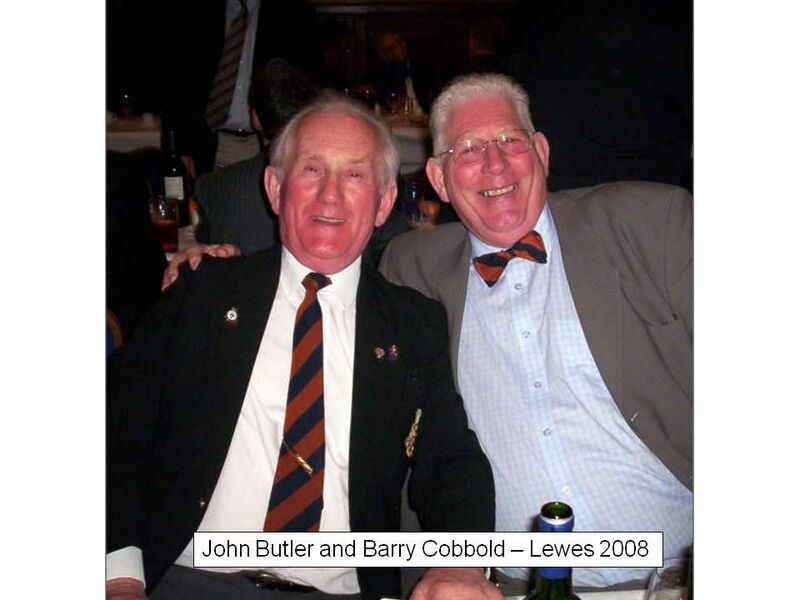 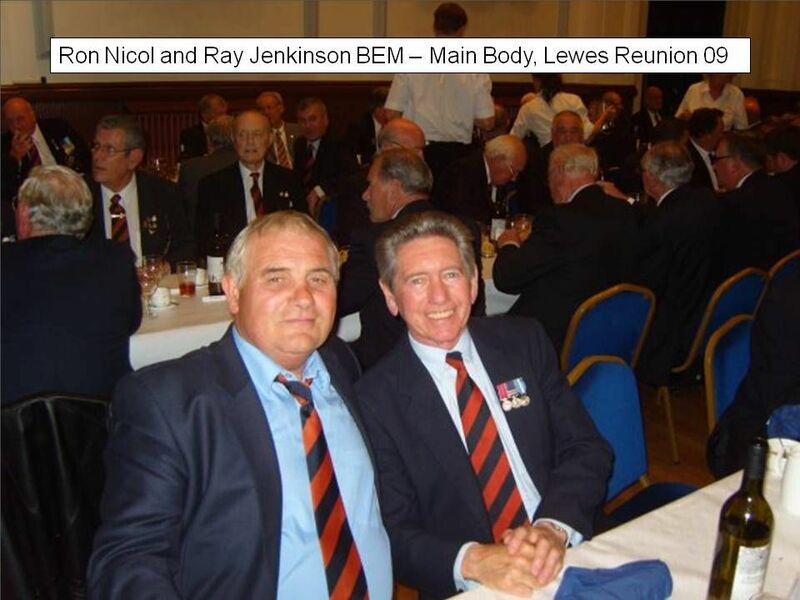 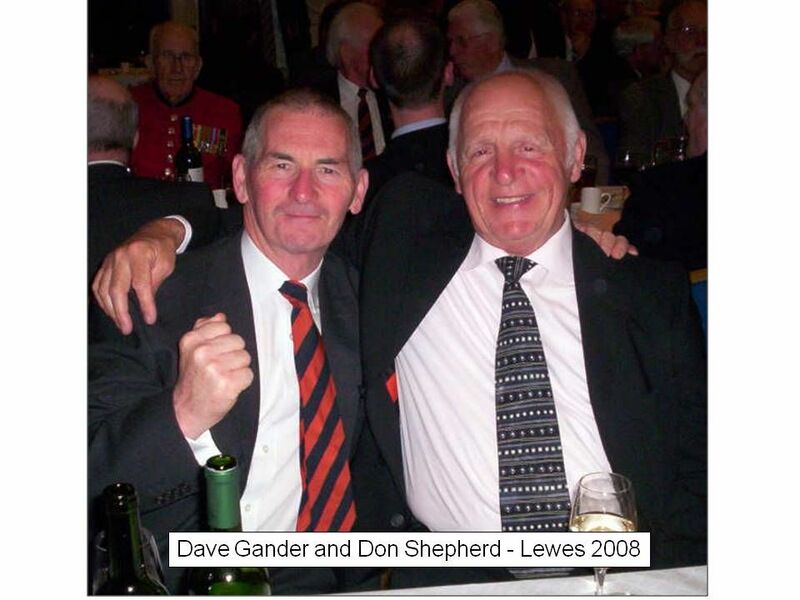 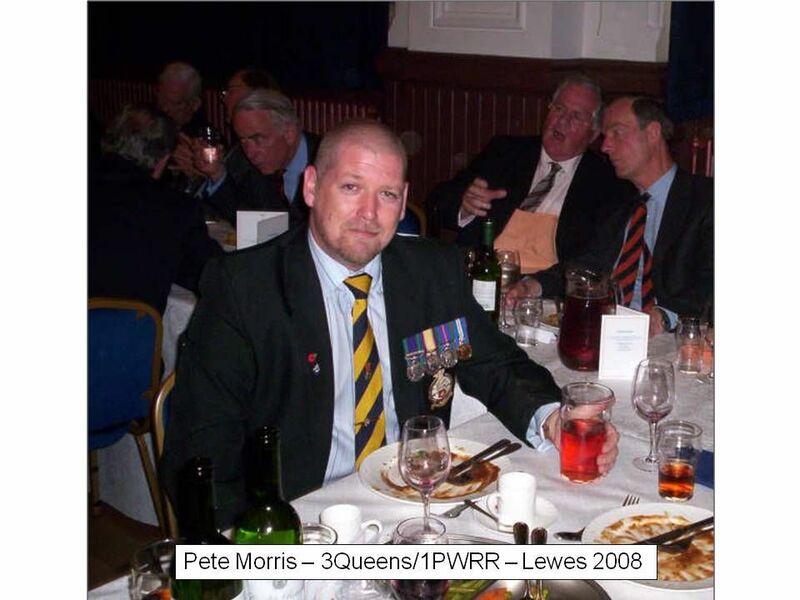 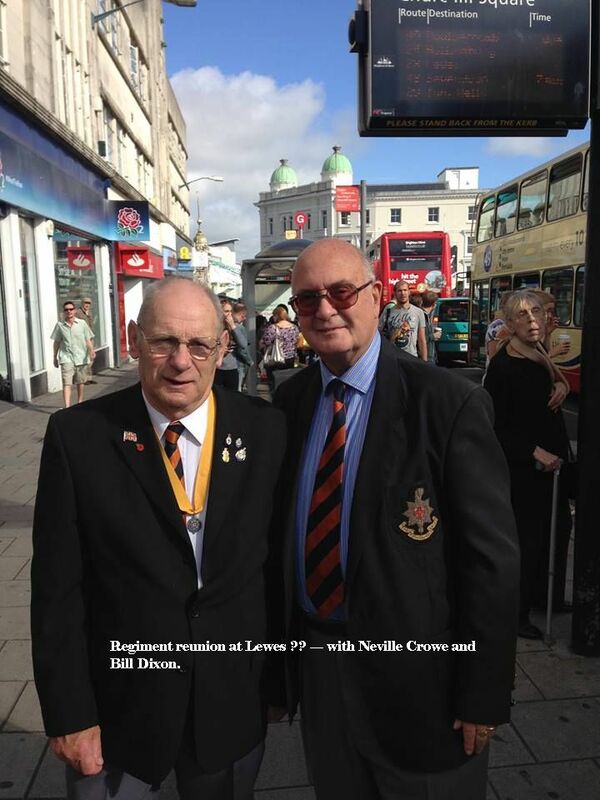 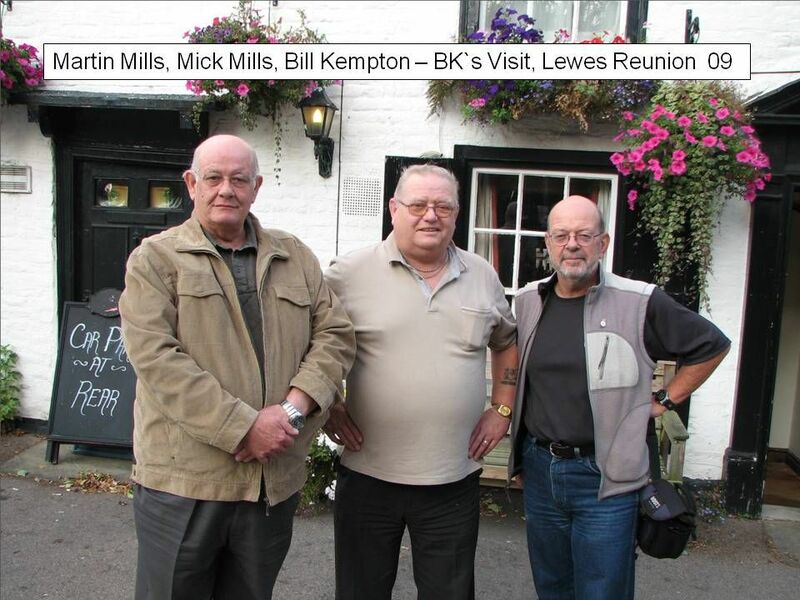 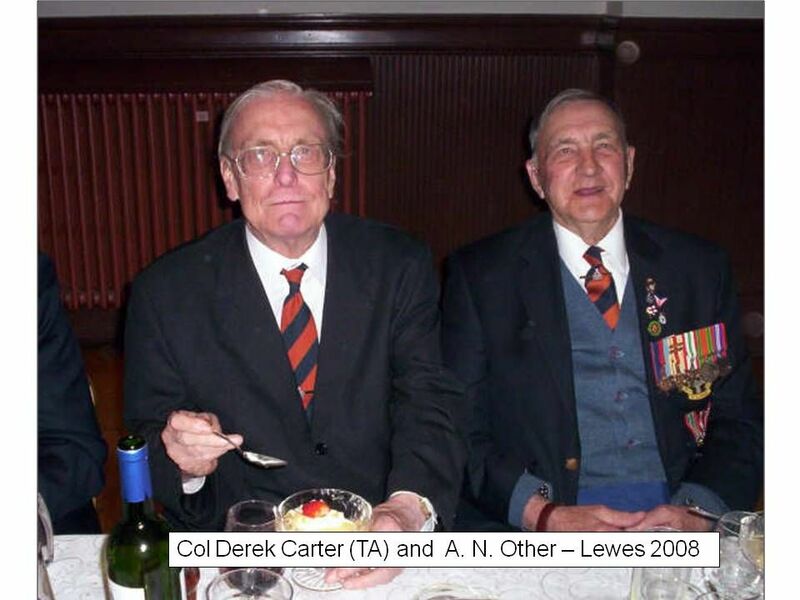 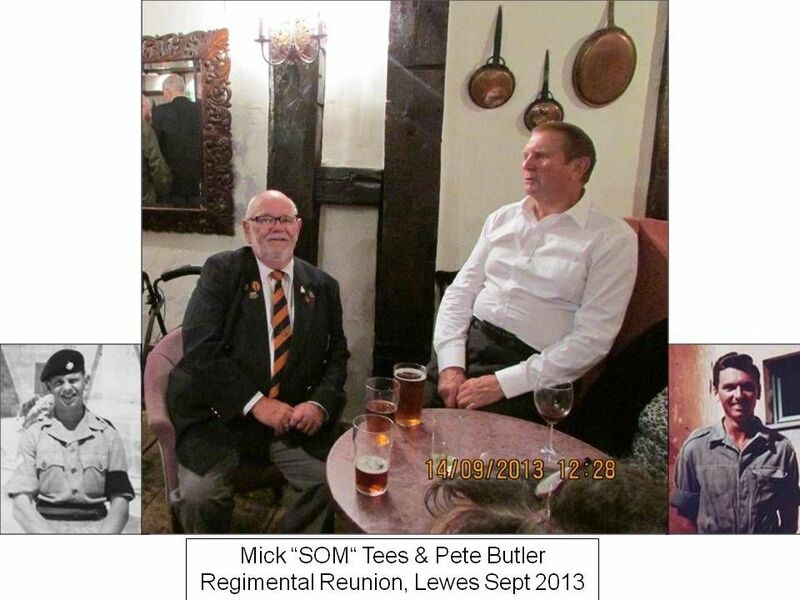 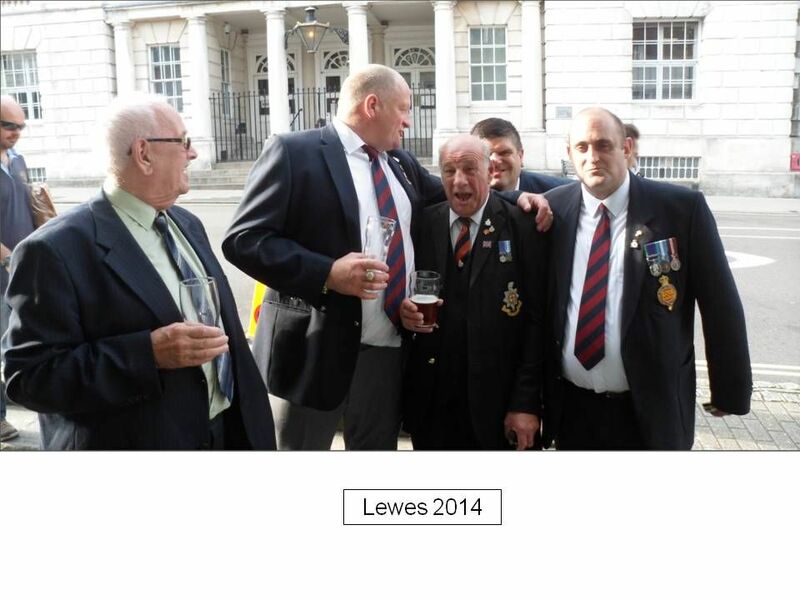 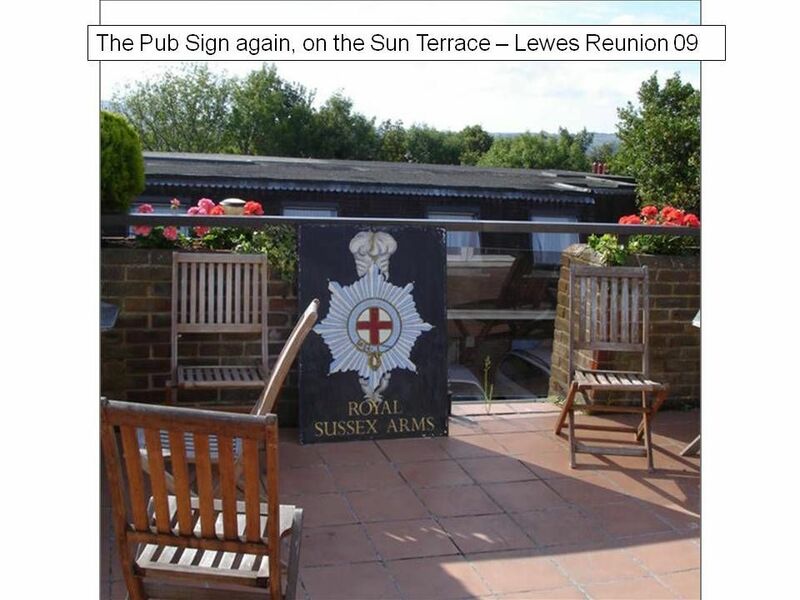 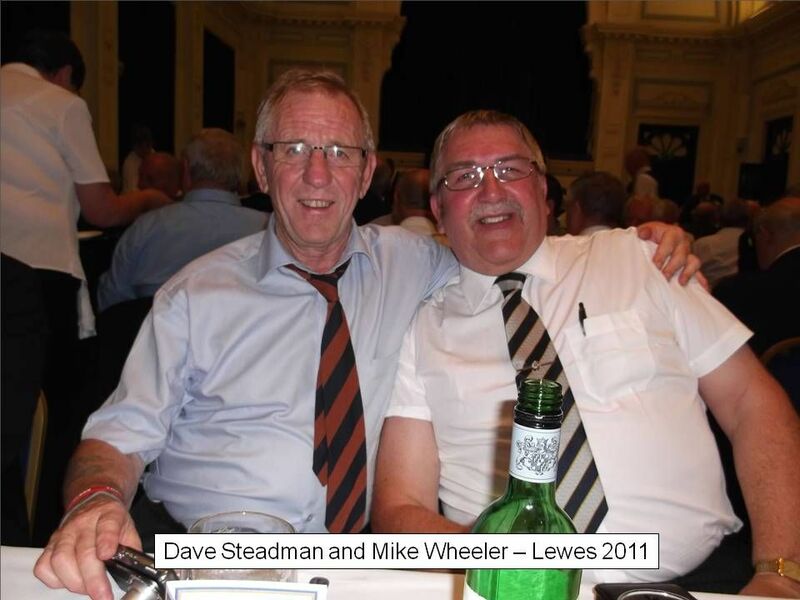 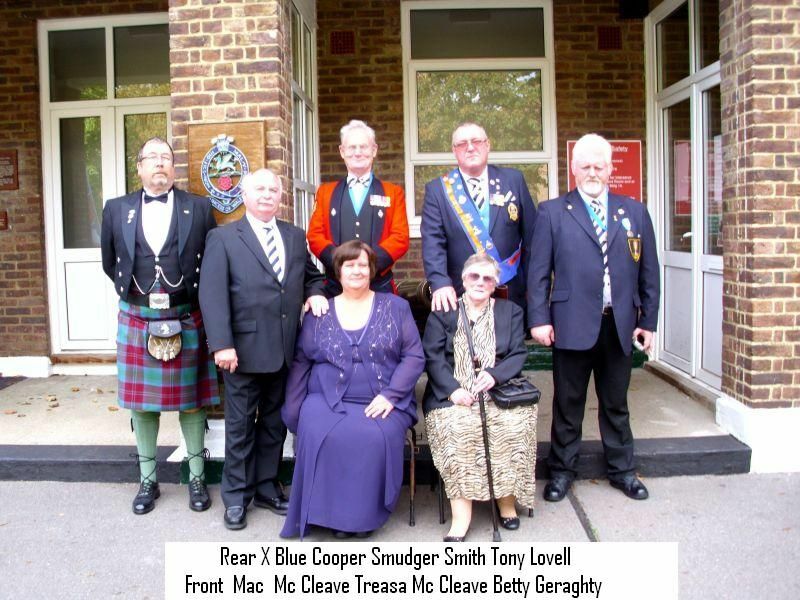 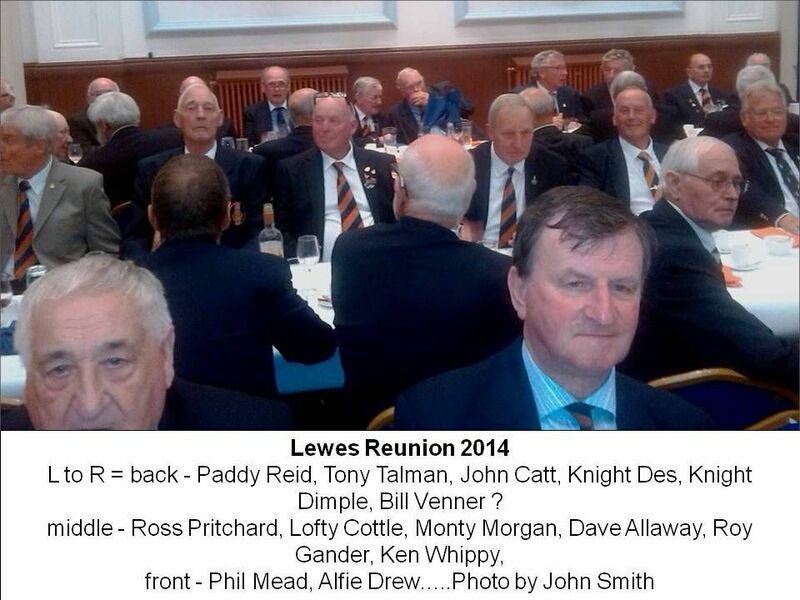 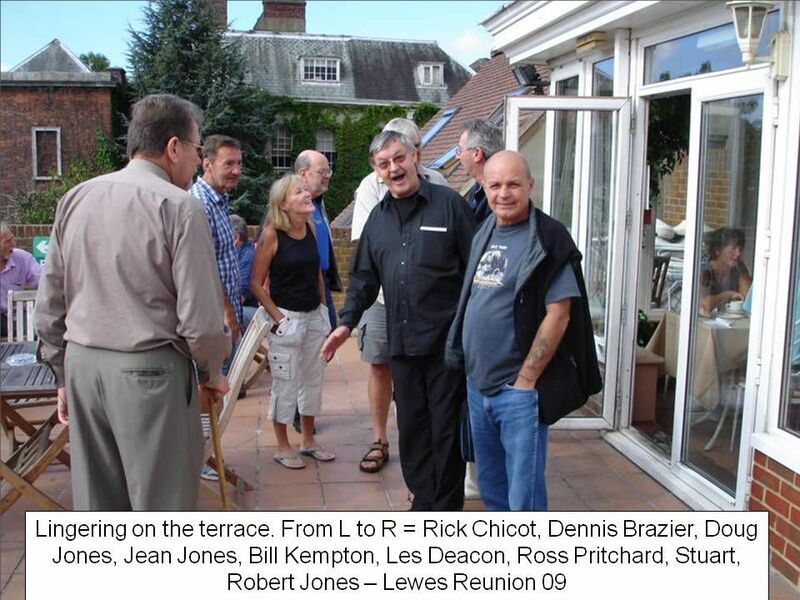 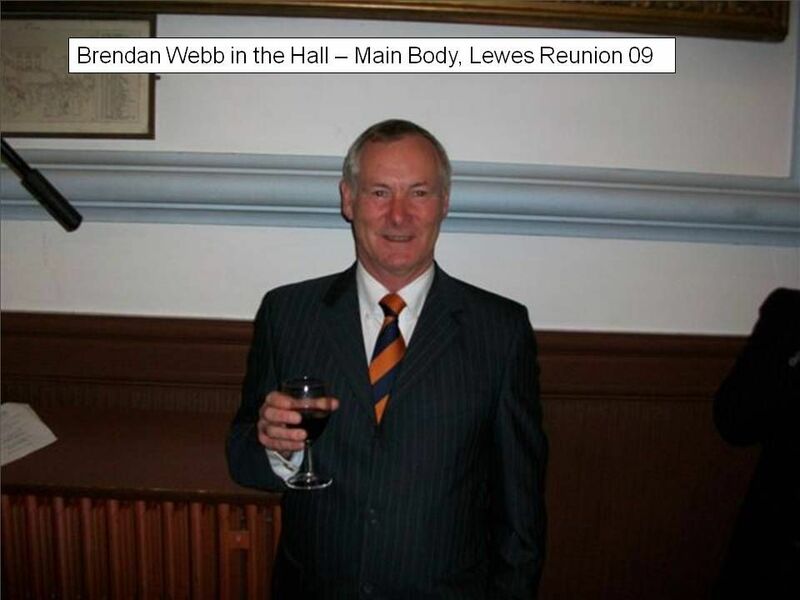 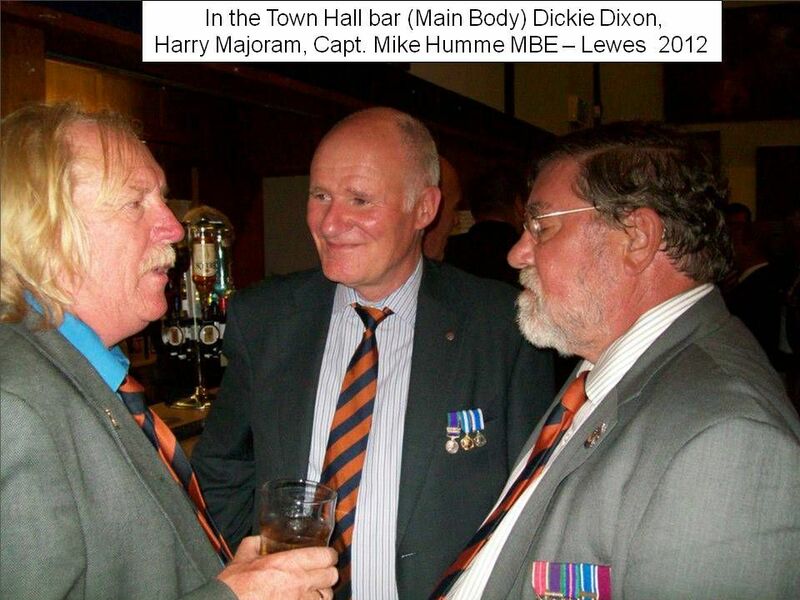 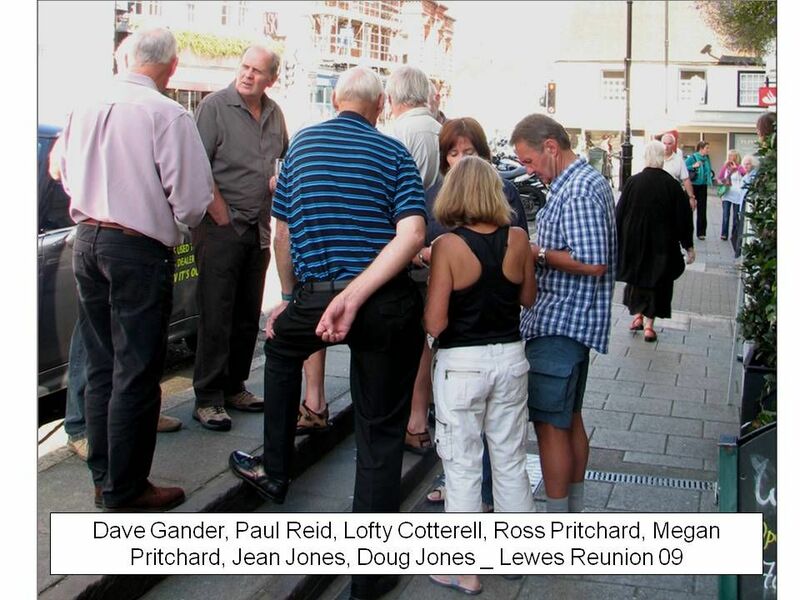 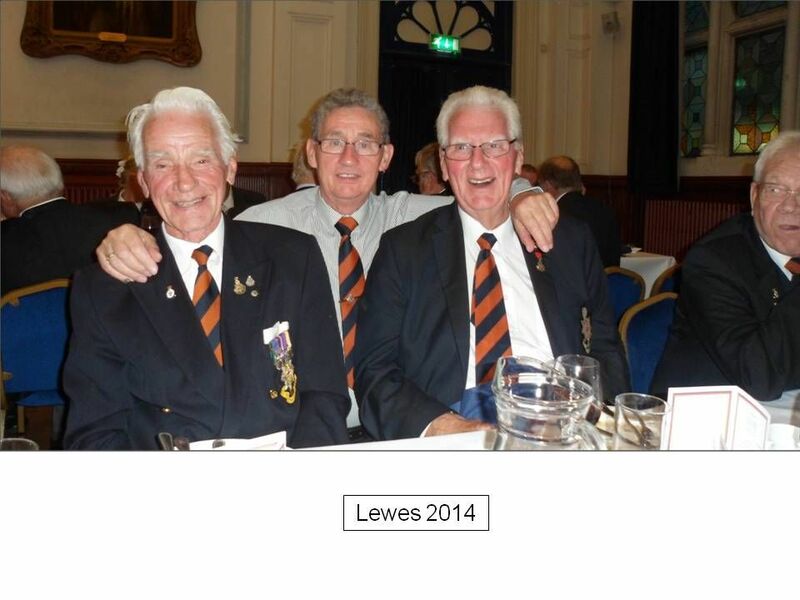 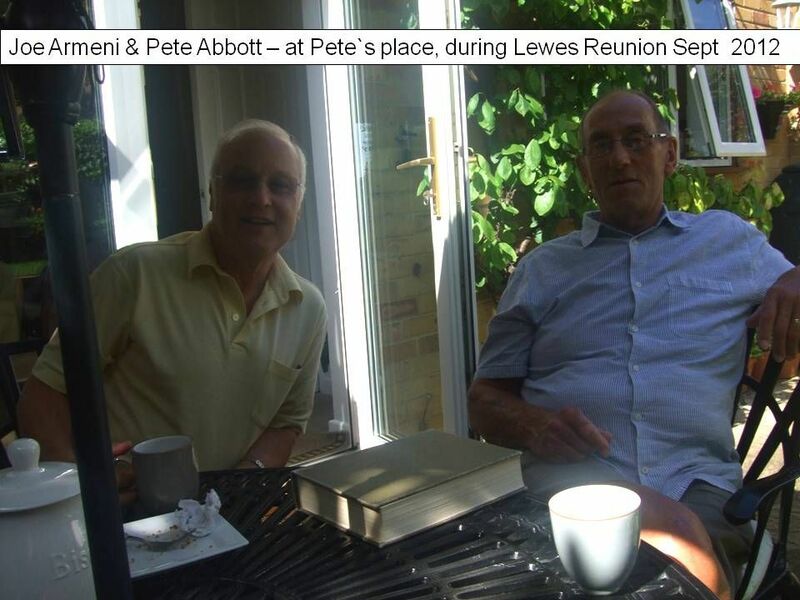 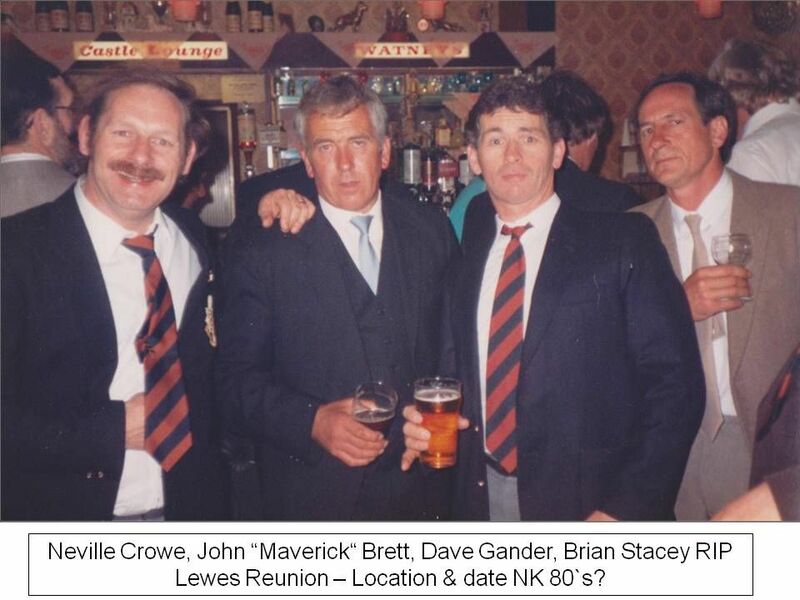 In July we held a re-union at the Eastbourne Redoubt for the 50th anniversary of the Aden tour of 1965 and the 60th anniversary of the Korean tour of 1956. 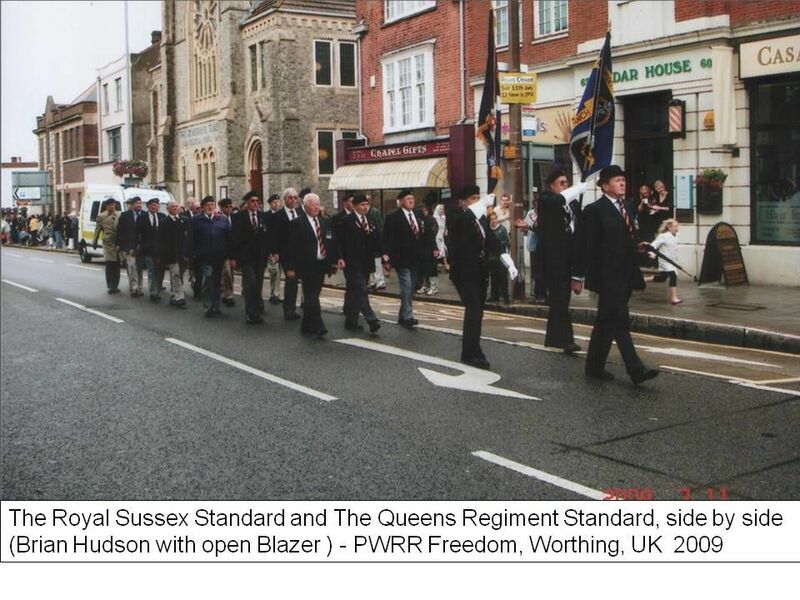 The weather was not of the best but it was very enjoyable day with a good turnout, although we could have done with a few more officers. 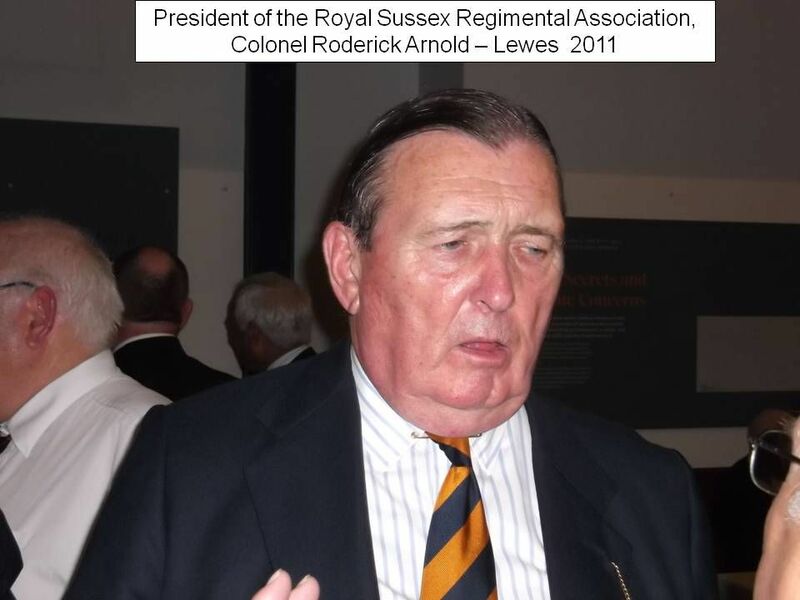 We were also given an excellent tour of the Redoubt, with some interesting insights into the history and workings of the Redoubt, which many of us had never been aware of. 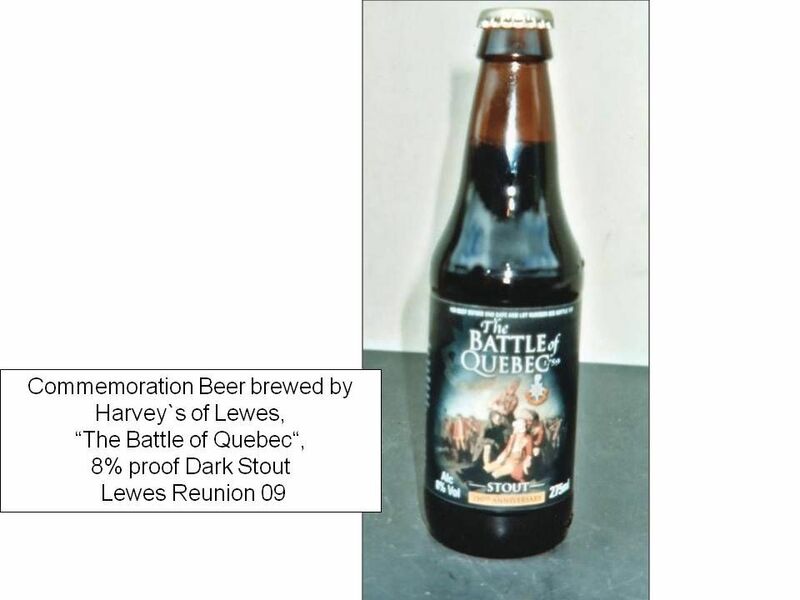 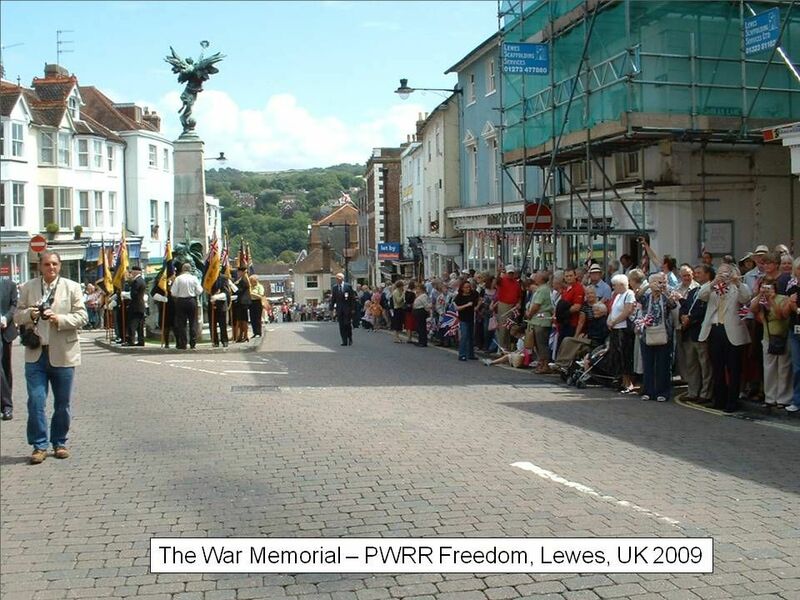 With regard to the Redoubt, we are facing a potential disagreement with the Eastbourne Council. 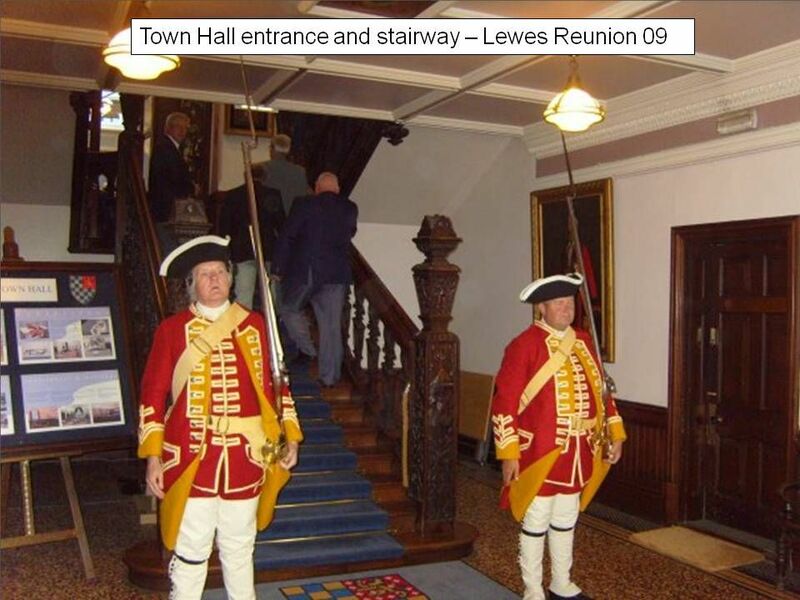 They have applied for a grant from the Heritage Lottery Fund, which we fully support, to refurbish the Redoubt and, at long last, provide access for the disabled. 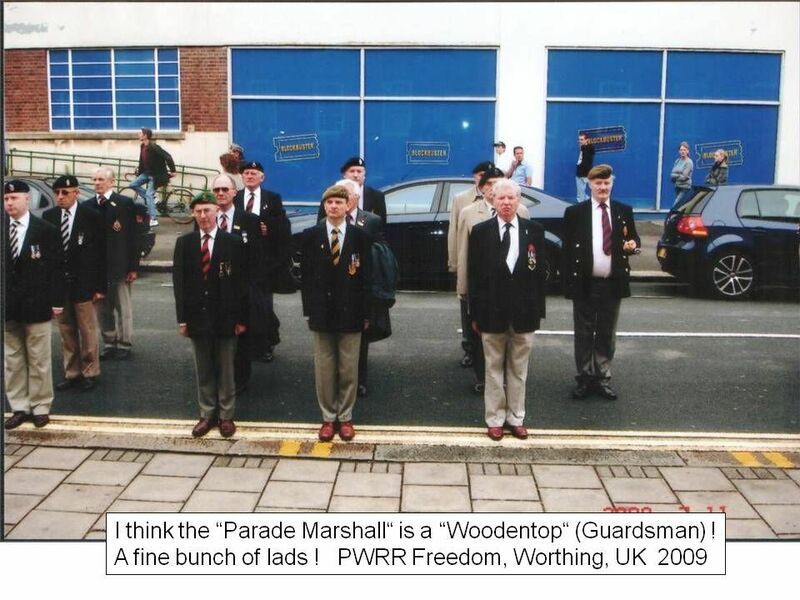 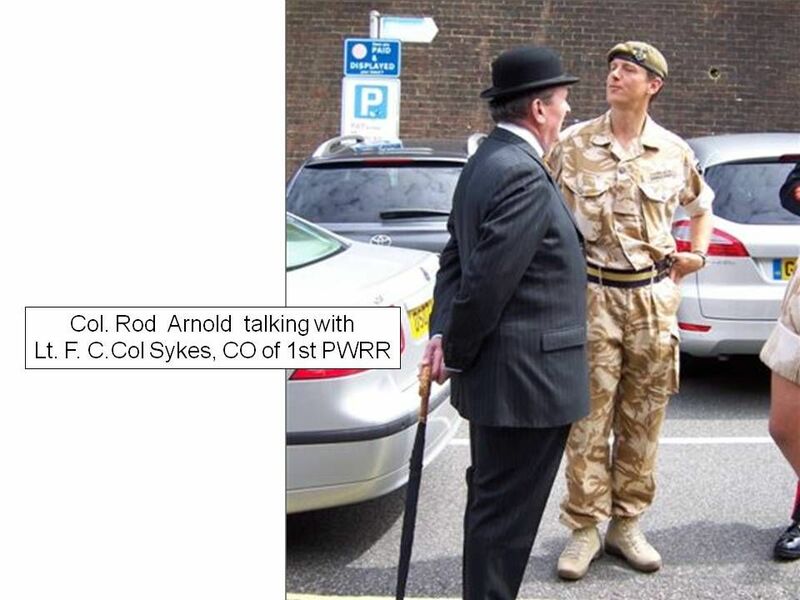 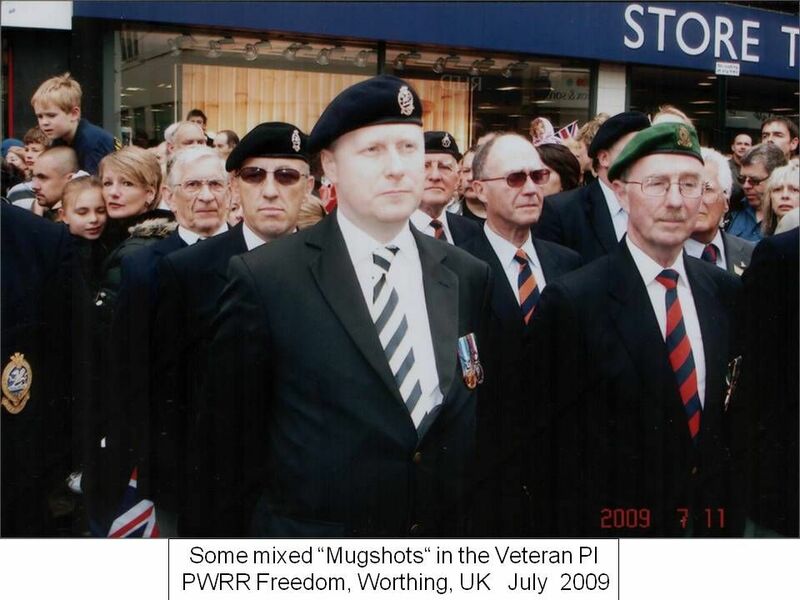 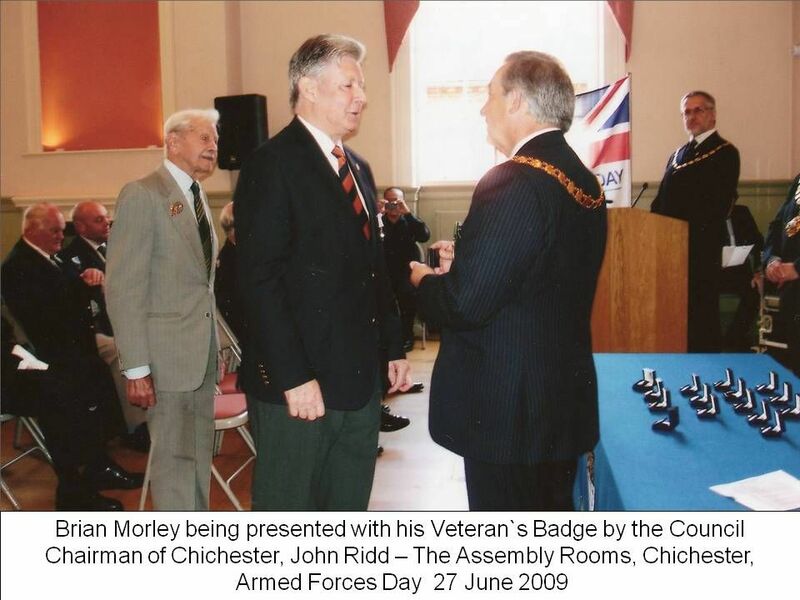 However, in submitting this application they have attempted to downgrade the status of the military museums in favour of a so-called Eastbourne Heritage Service. 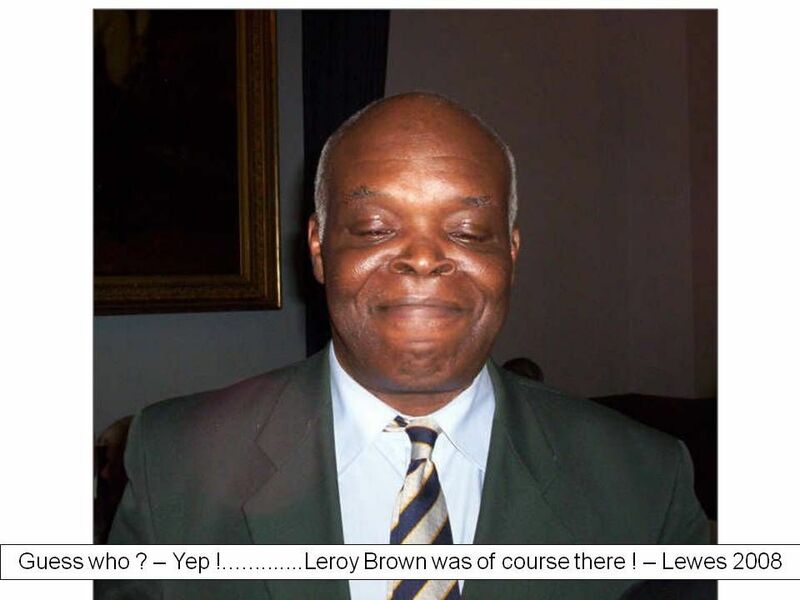 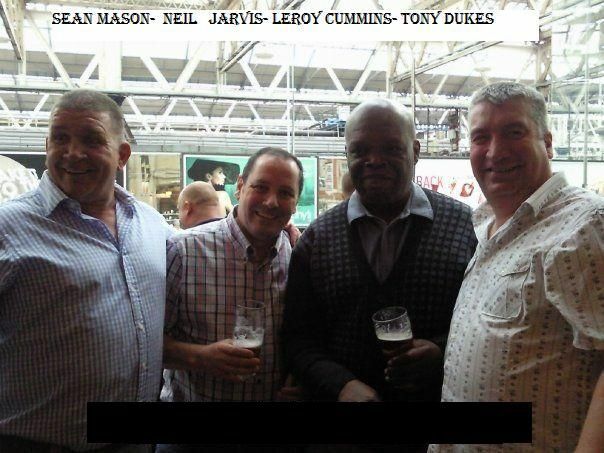 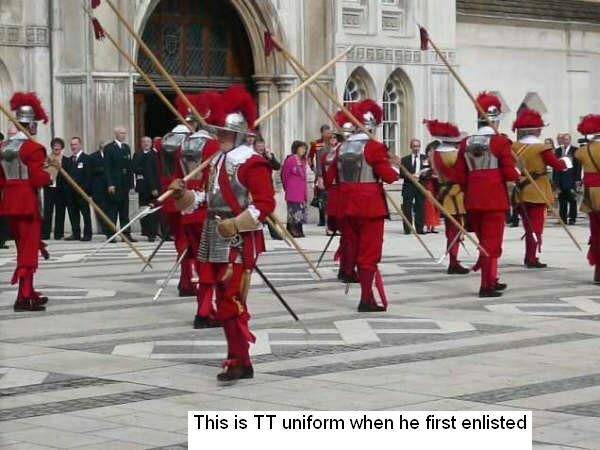 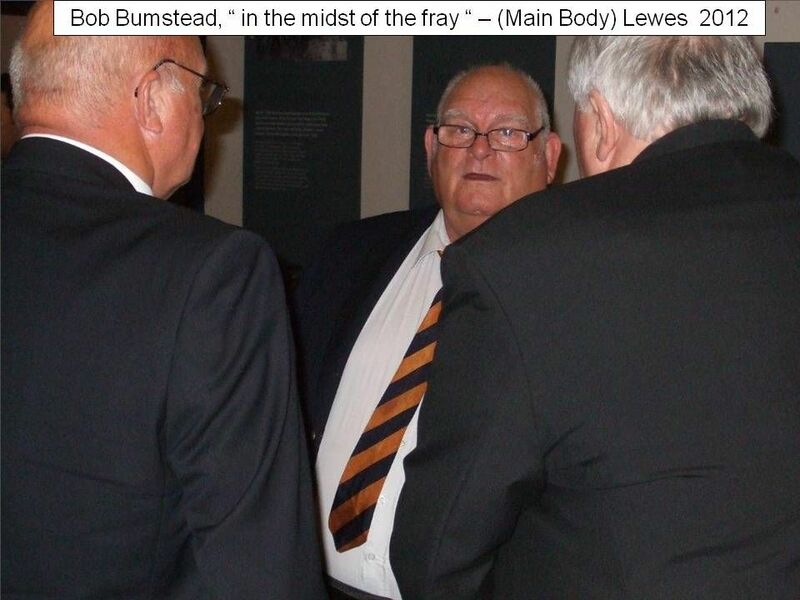 We do not agree with this and will be seeking to re-establish the former position. 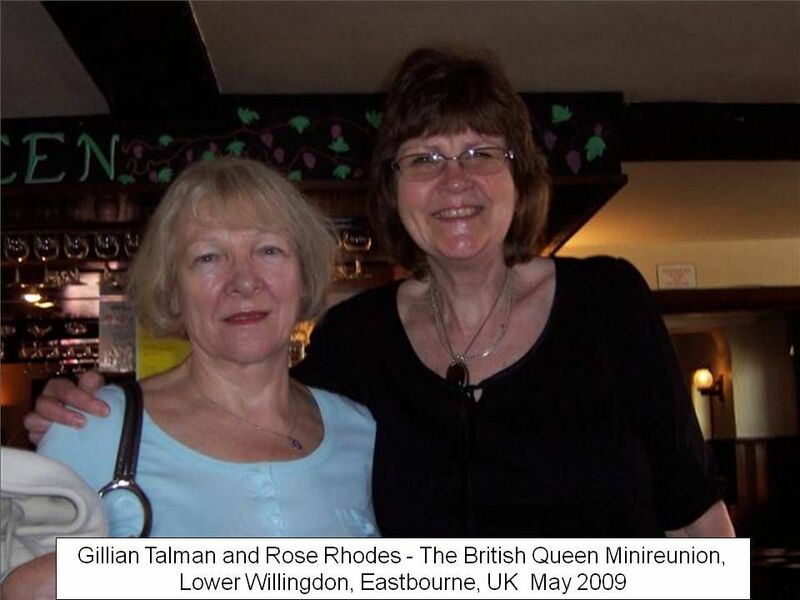 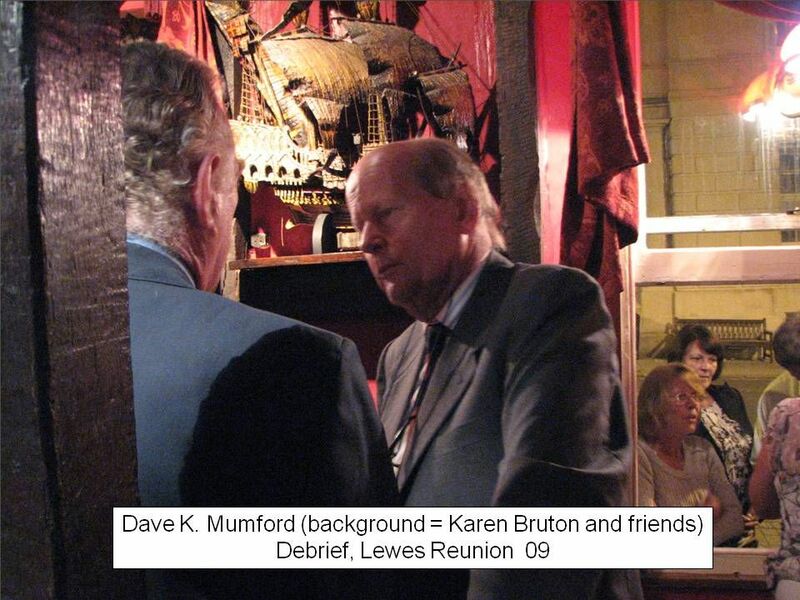 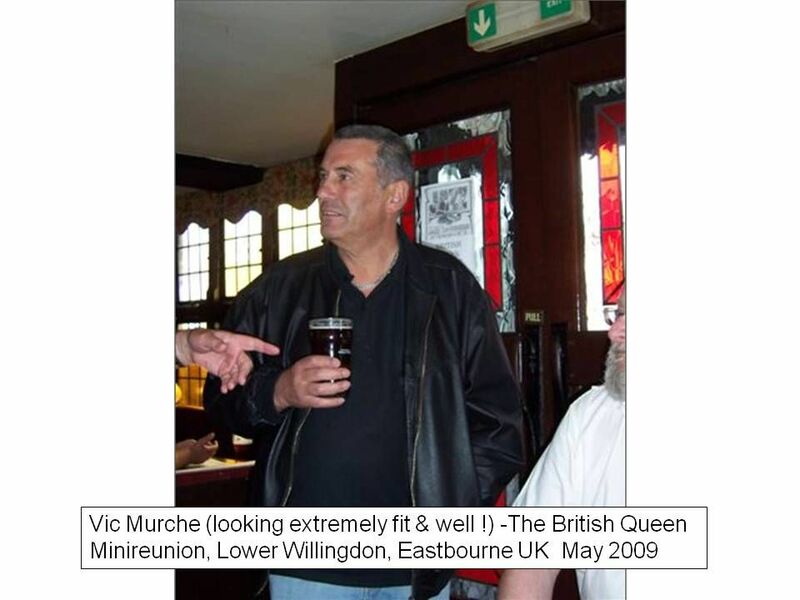 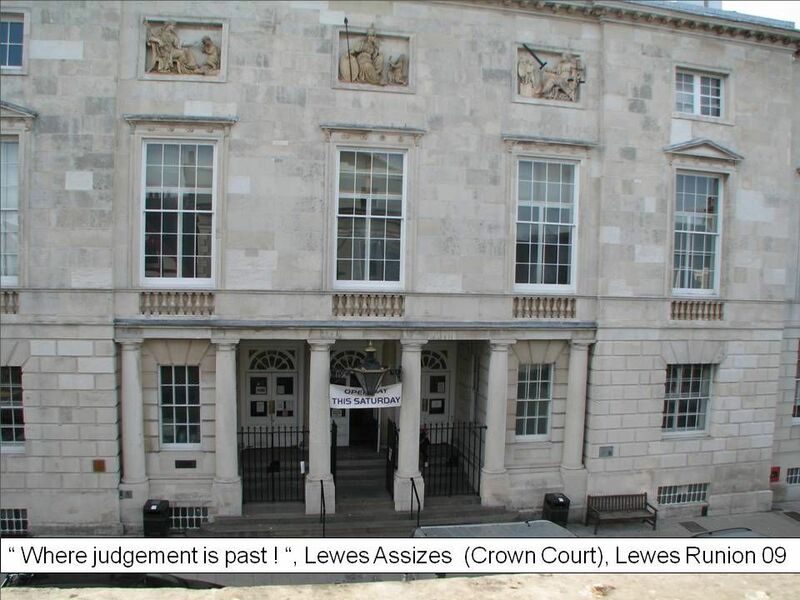 There is much to be done on this but we are always aware that Eastbourne holds the purse-strings: the Council picks up all the bills for the maintenance and day-to-day running of the museum. 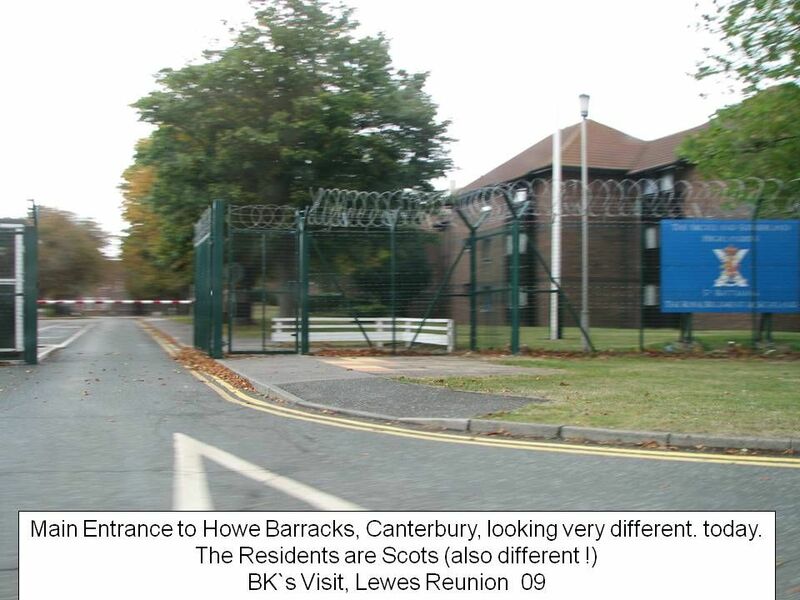 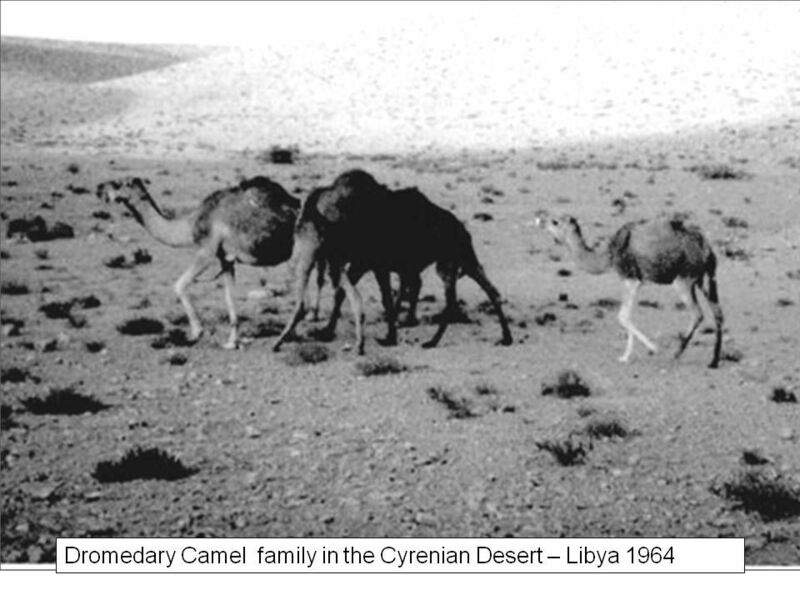 If we cannot see a satisfactory outcome, we may need to contemplate moving our museum elsewhere. 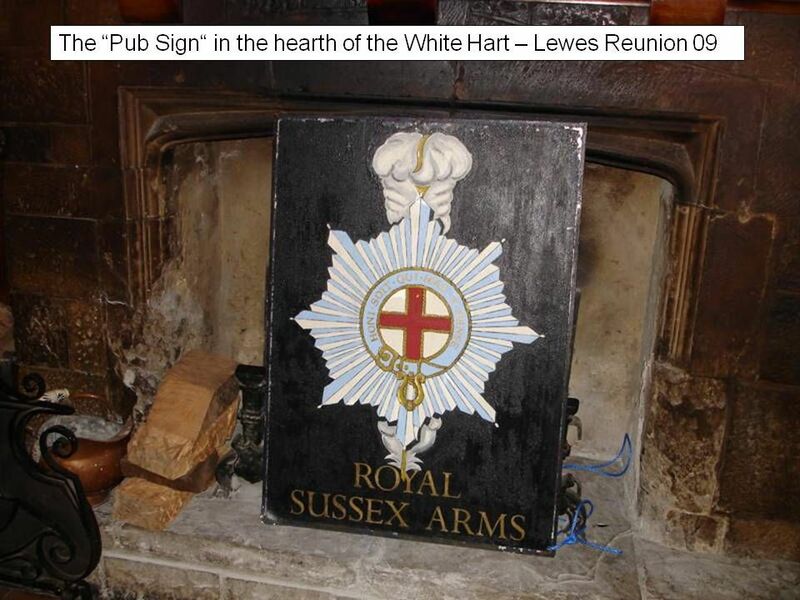 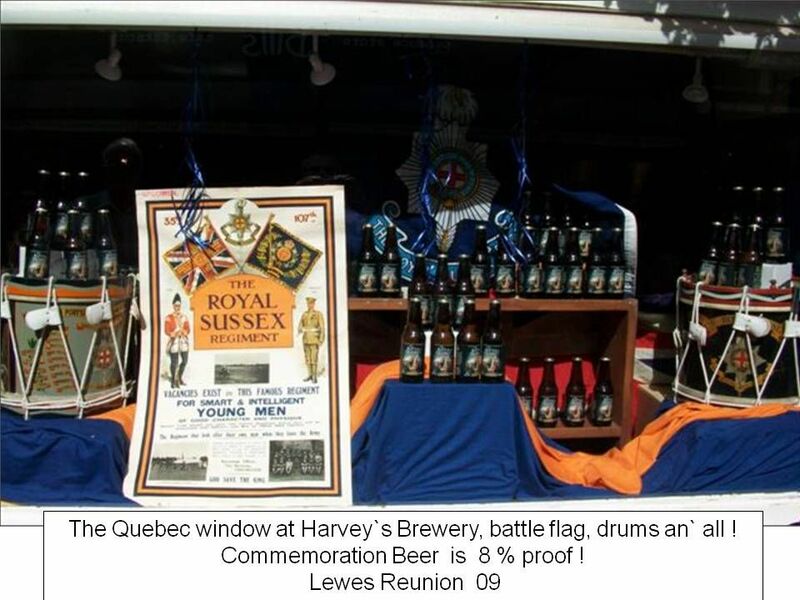 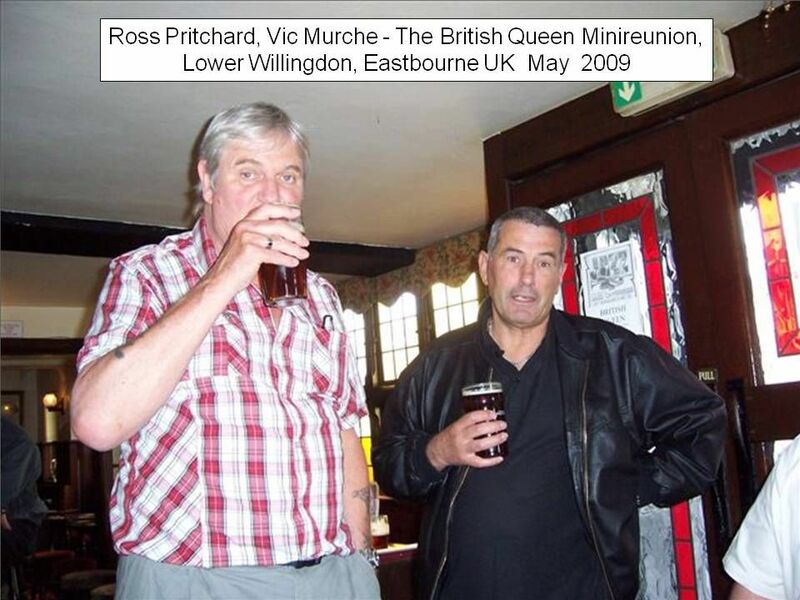 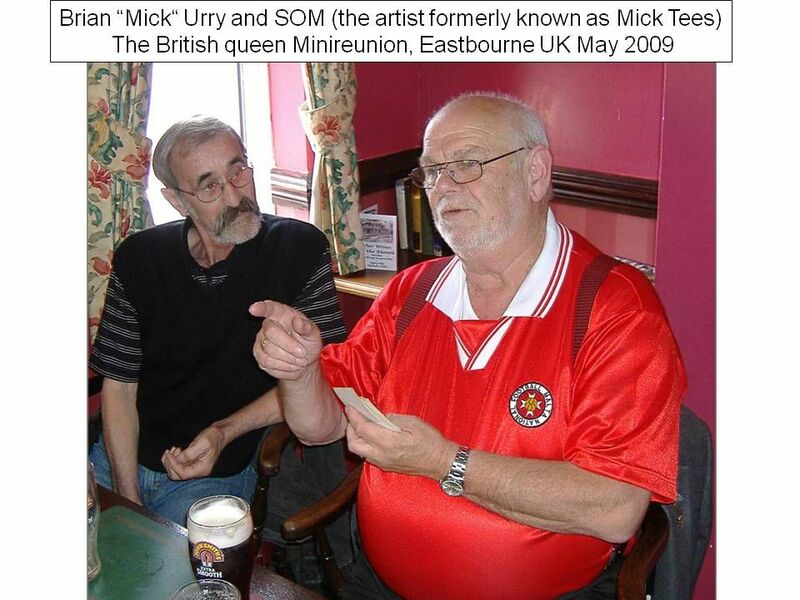 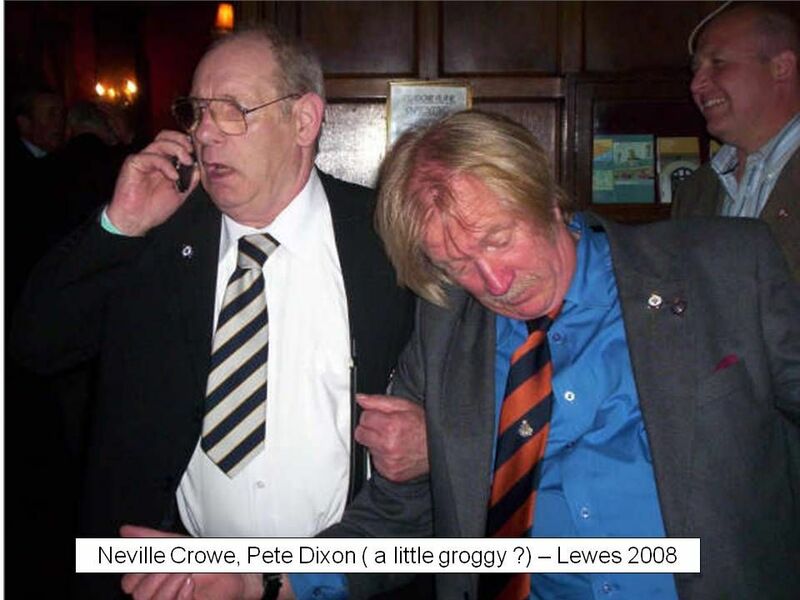 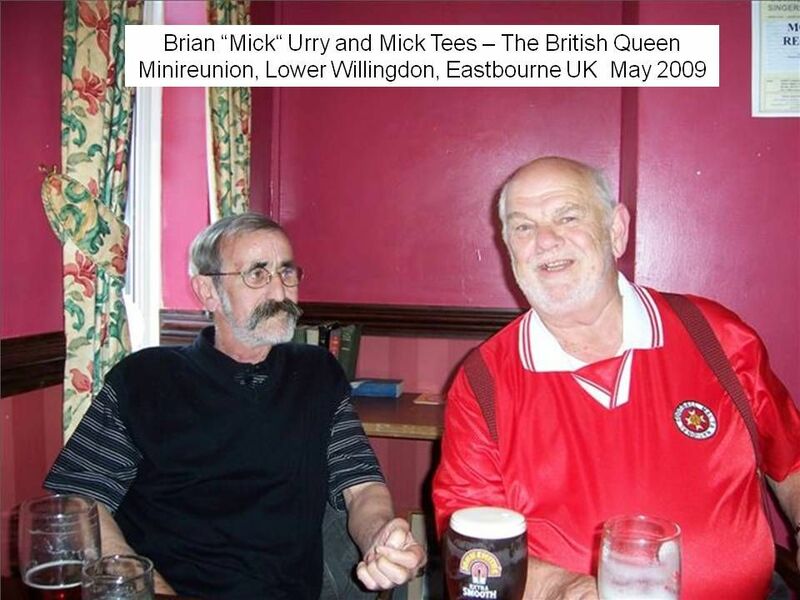 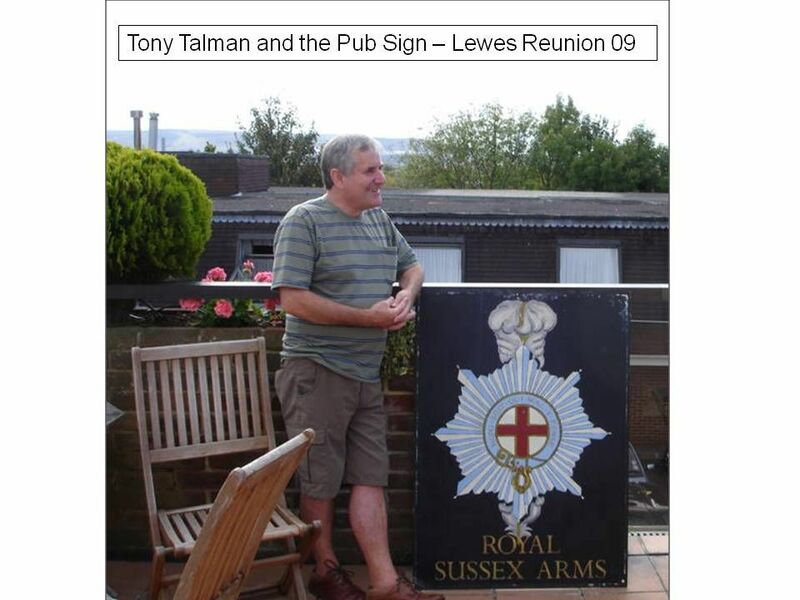 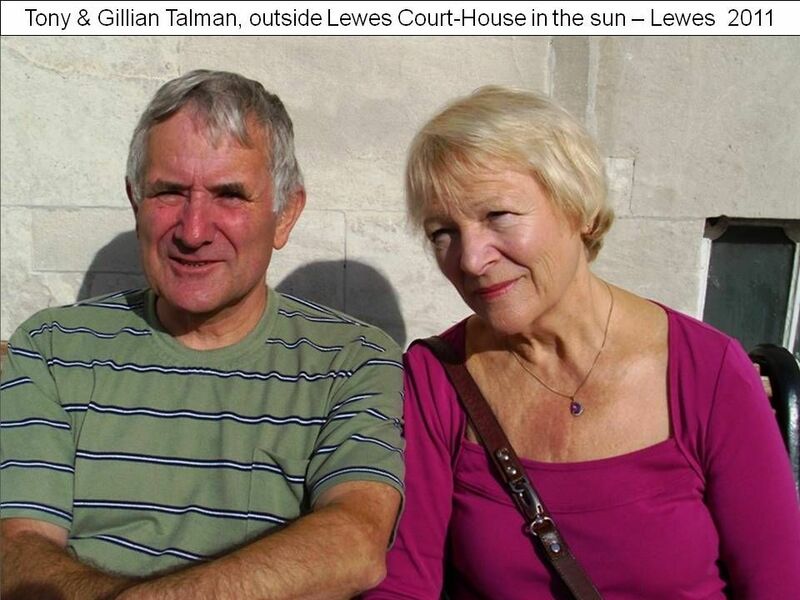 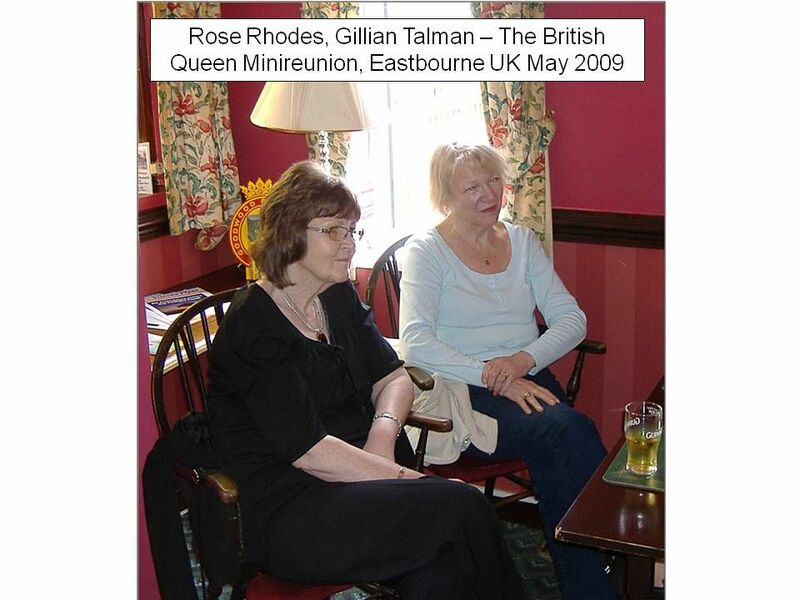 You will appreciate that this has major financial implications, which we will be pressed to meet, but be assured that we will fight our corner in the true Royal Sussex manner. 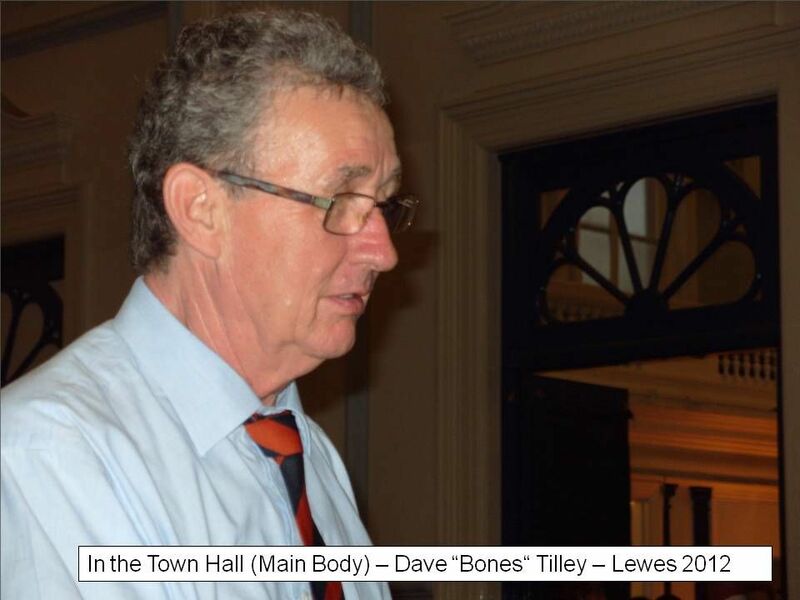 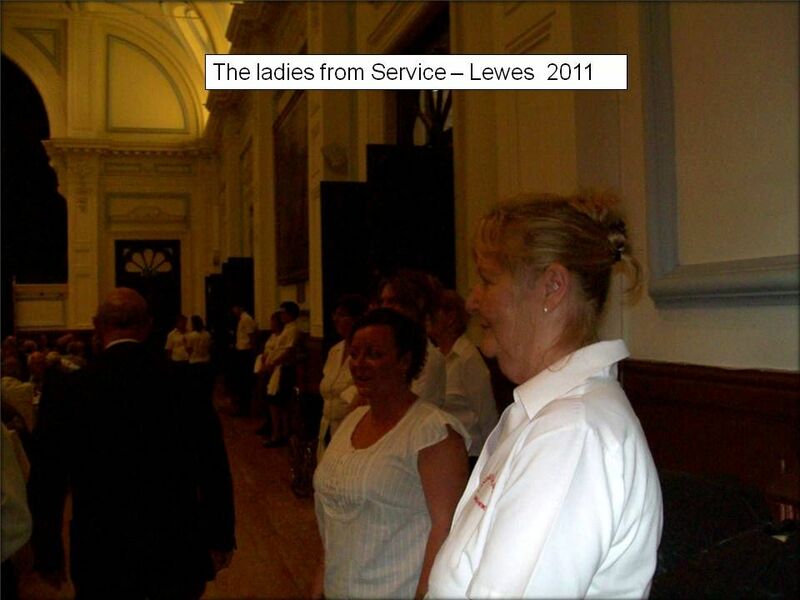 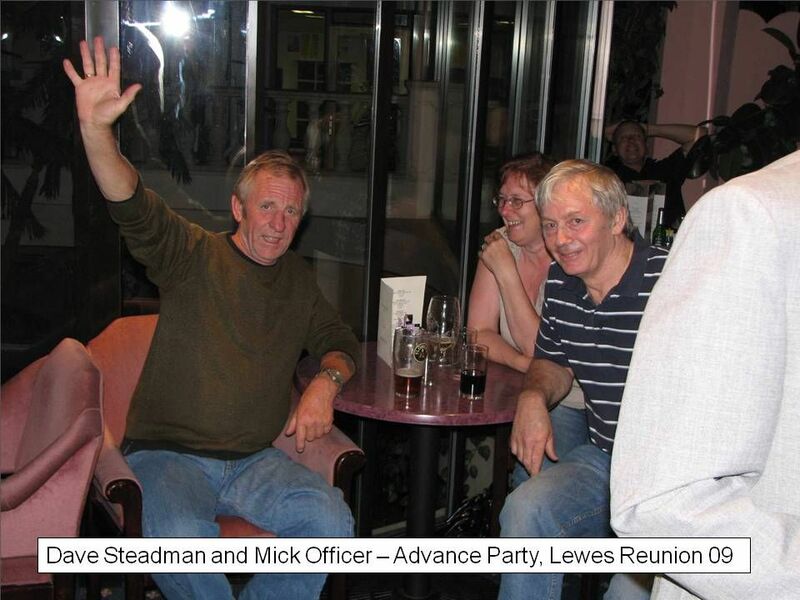 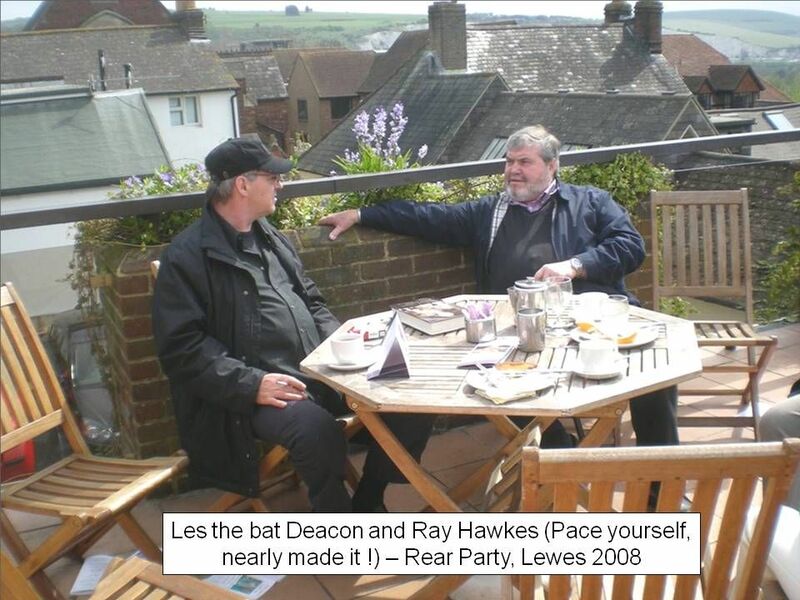 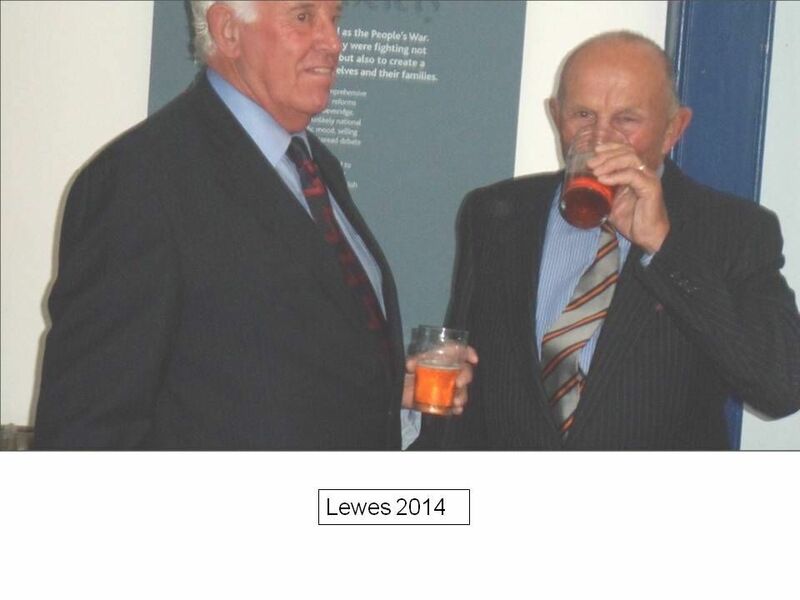 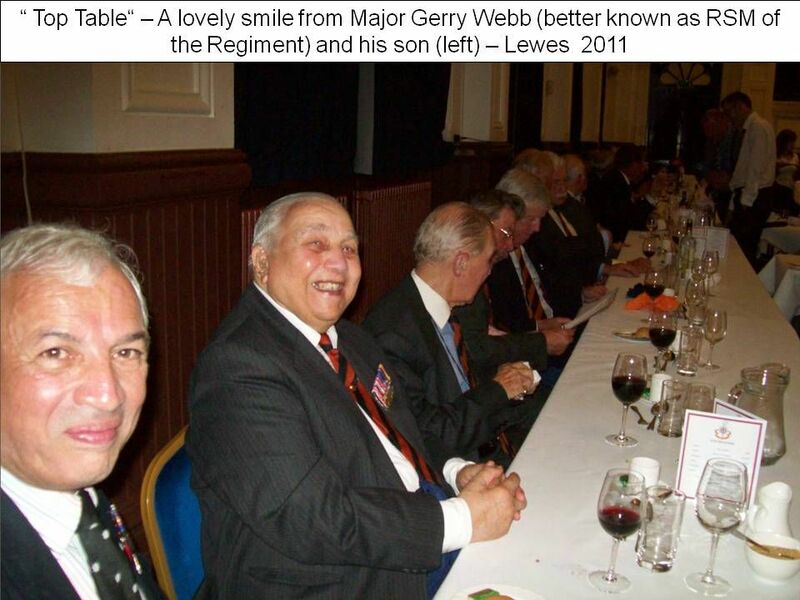 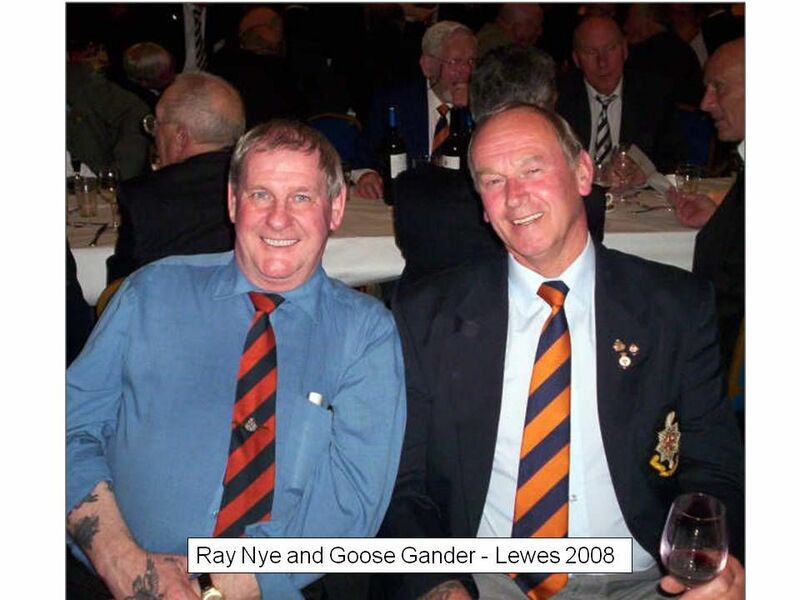 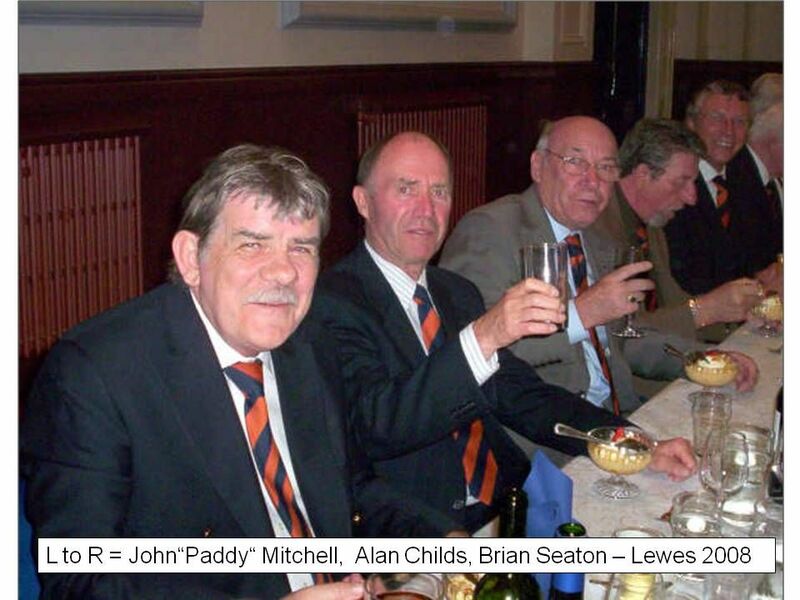 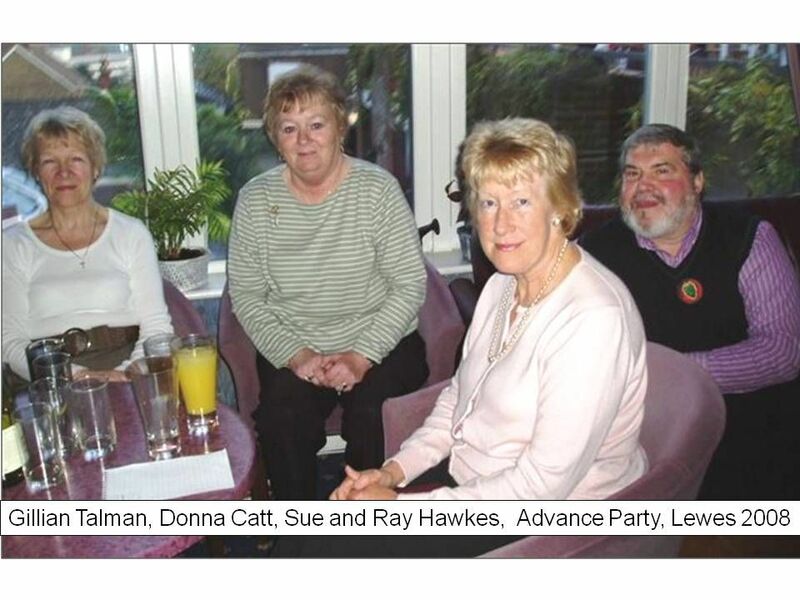 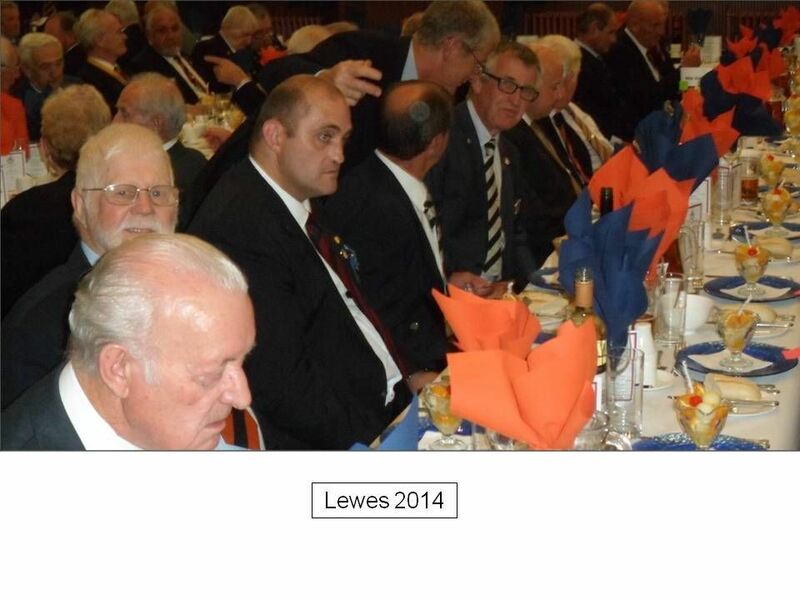 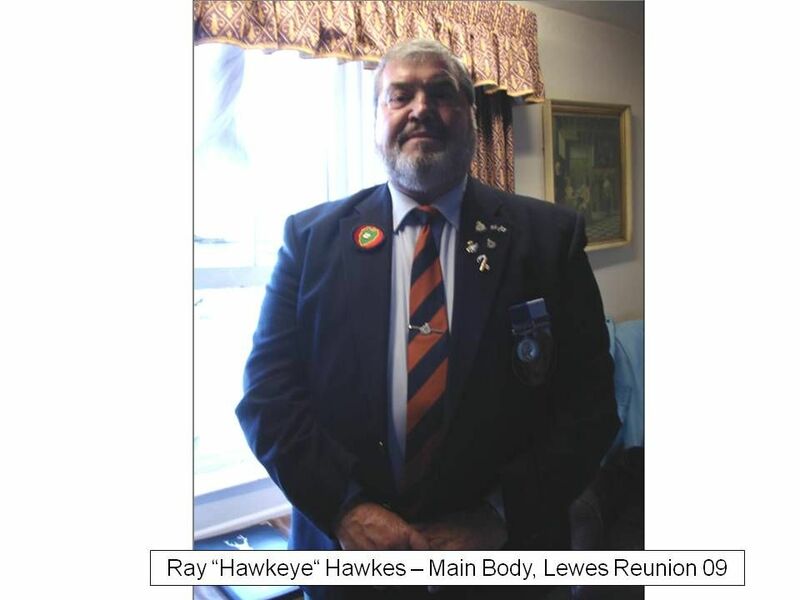 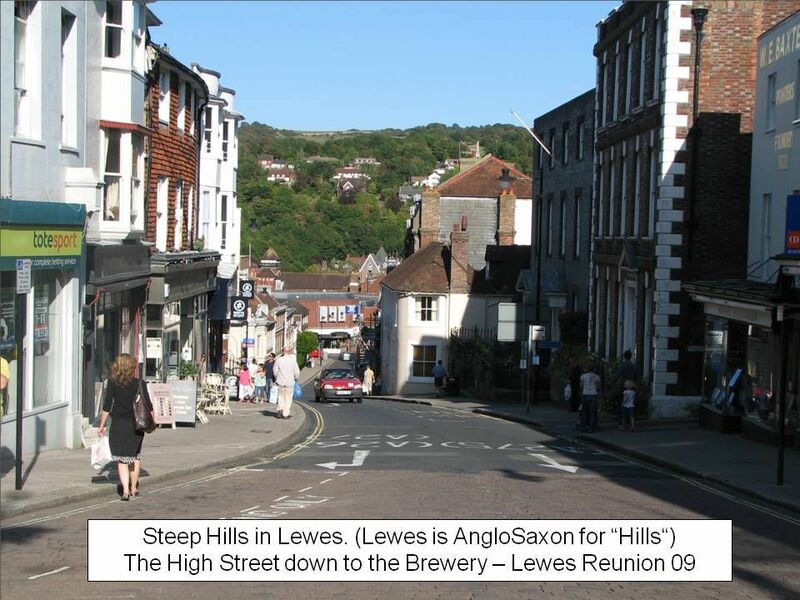 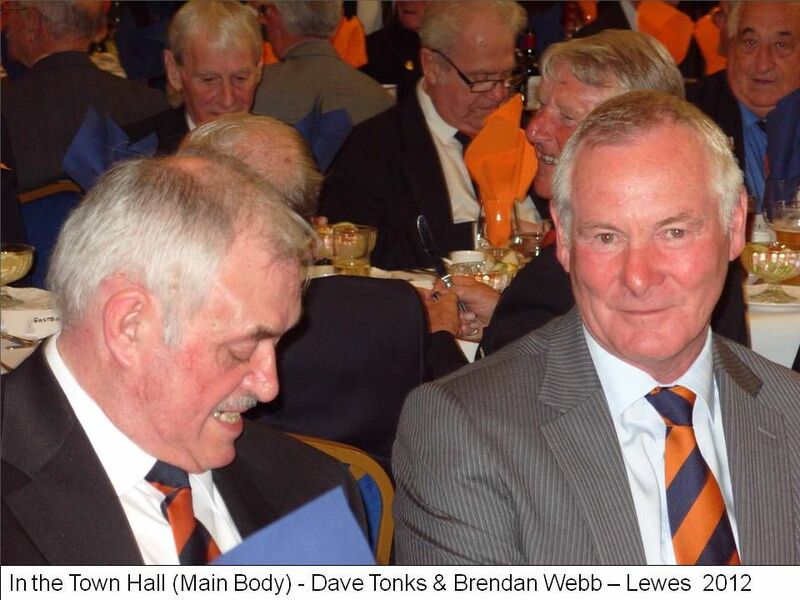 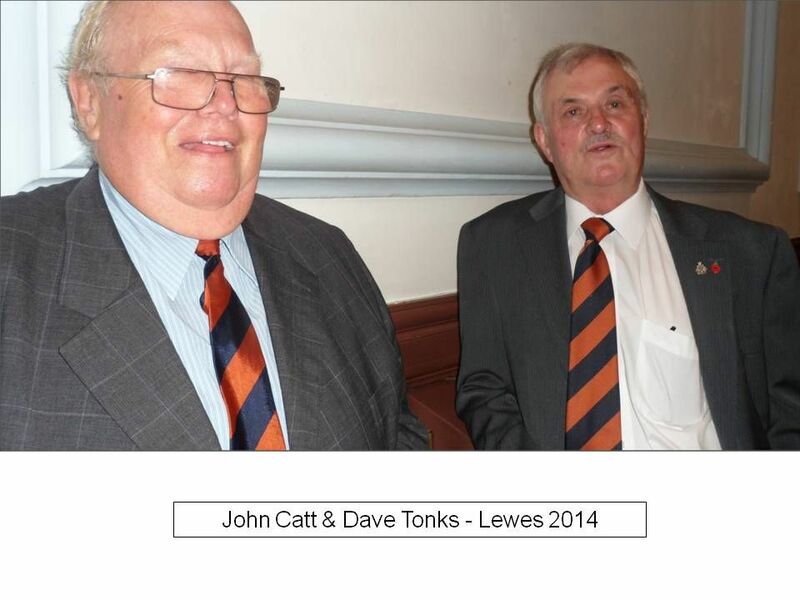 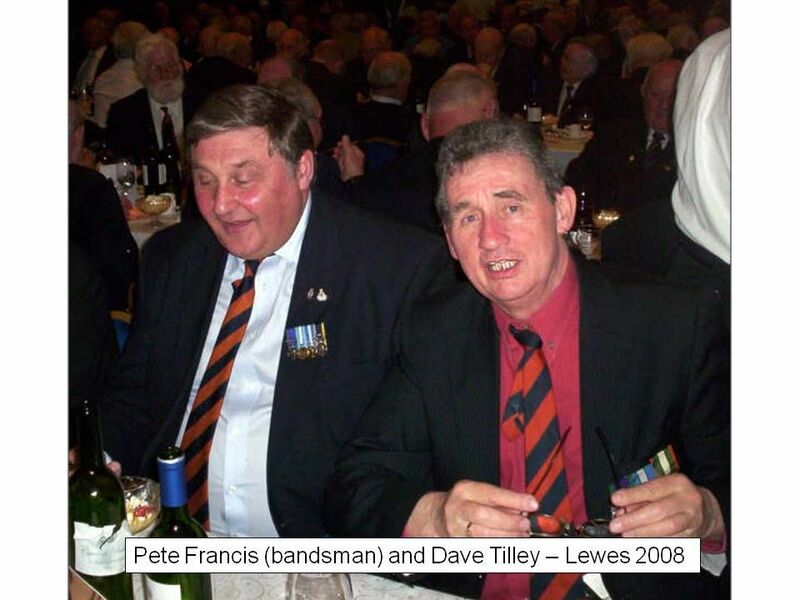 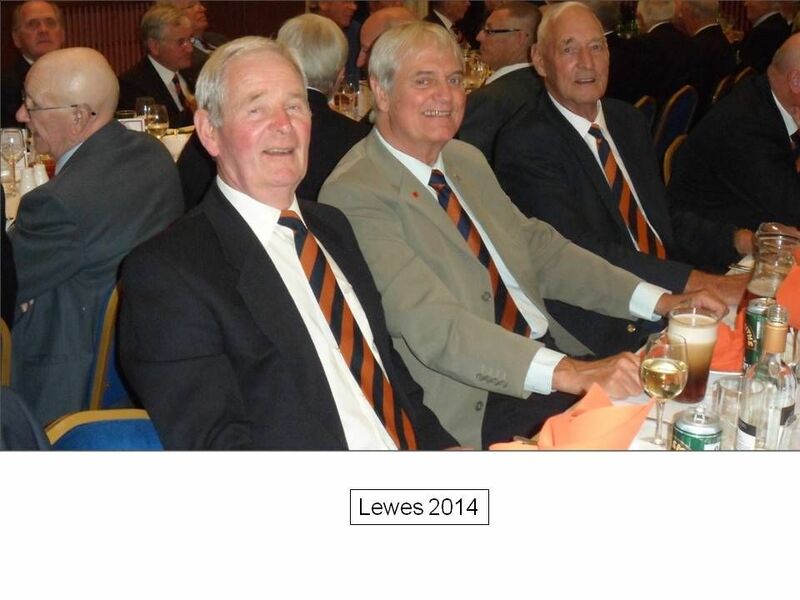 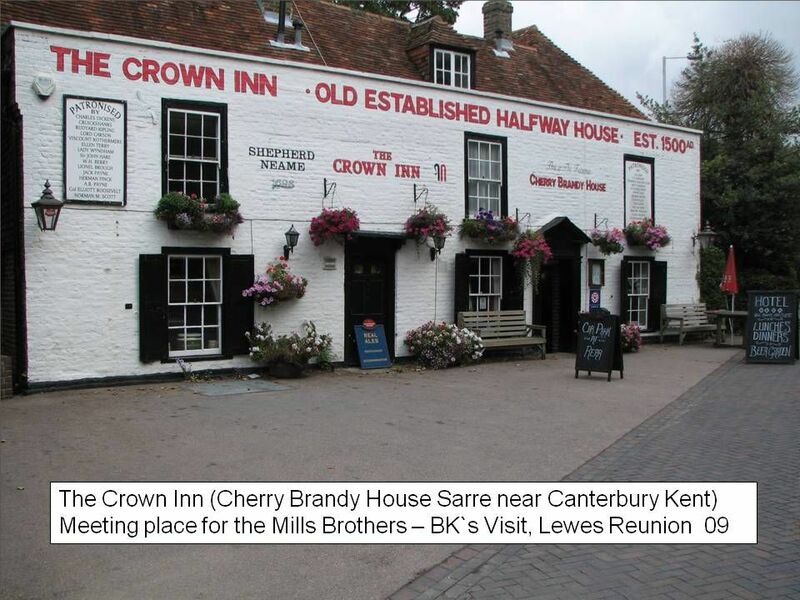 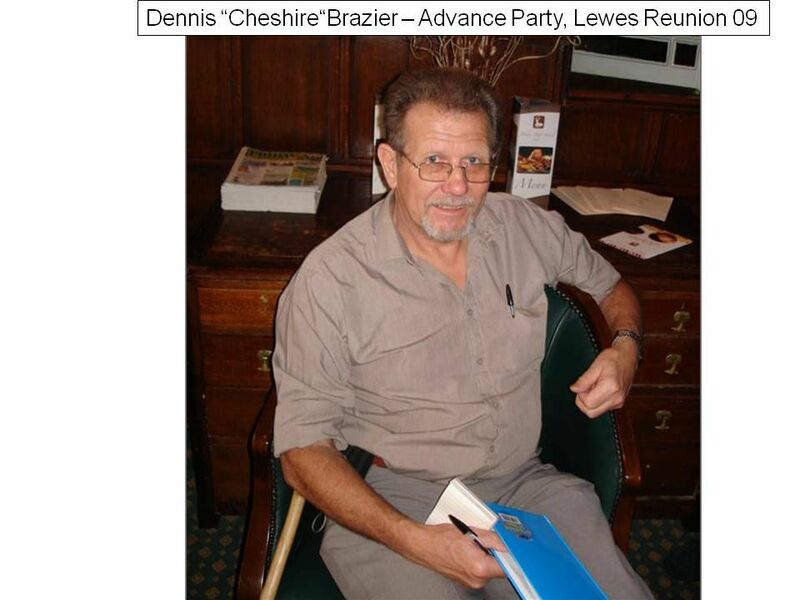 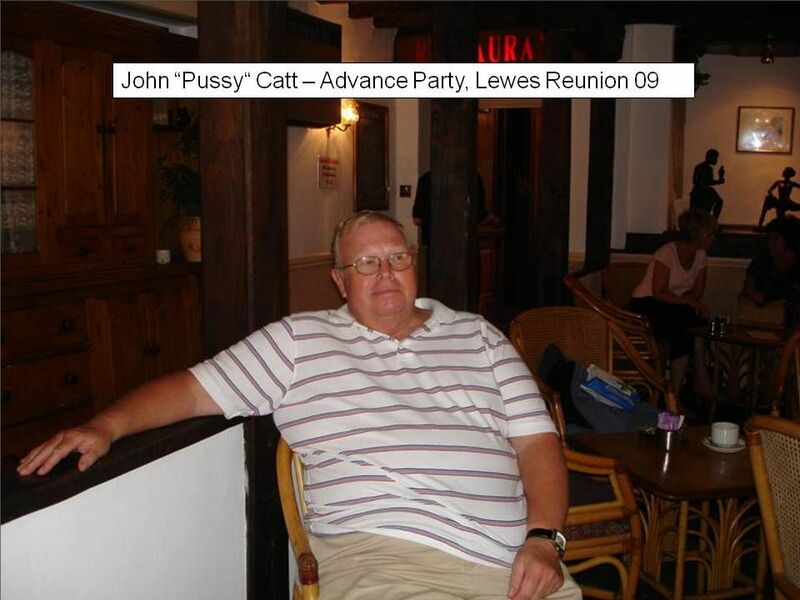 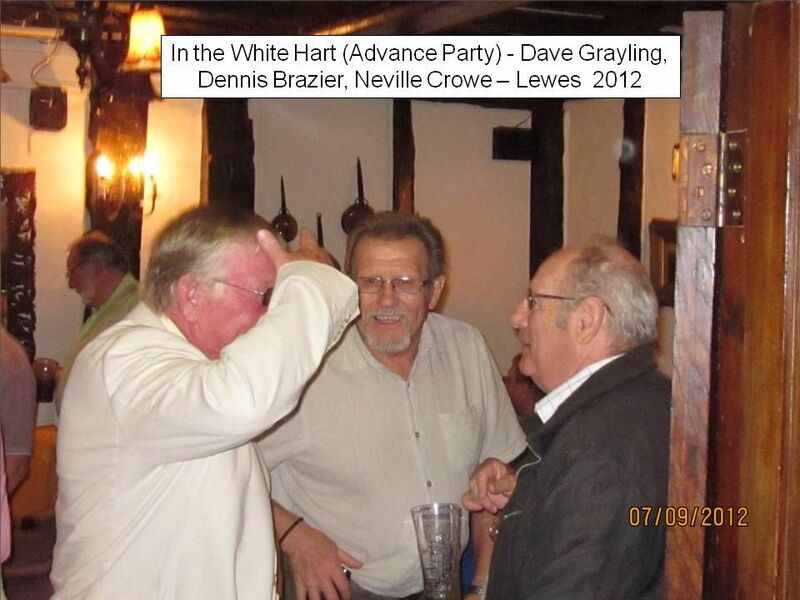 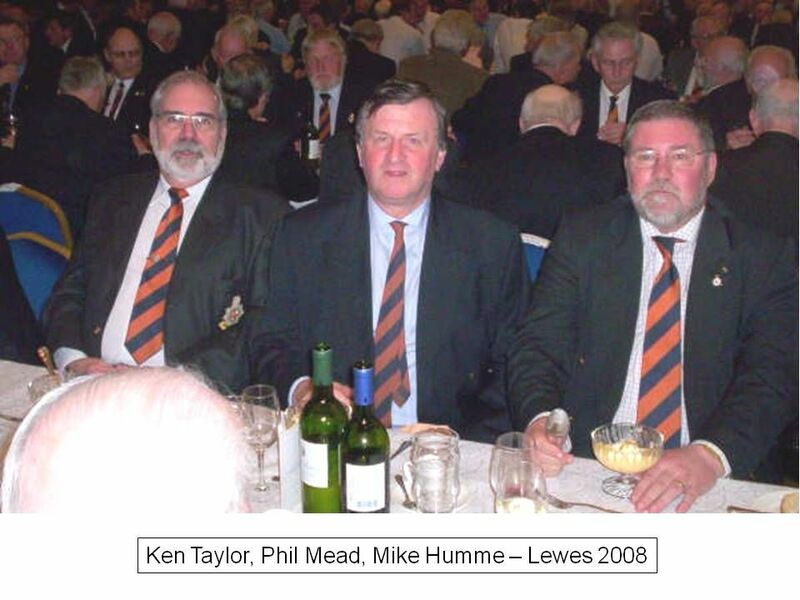 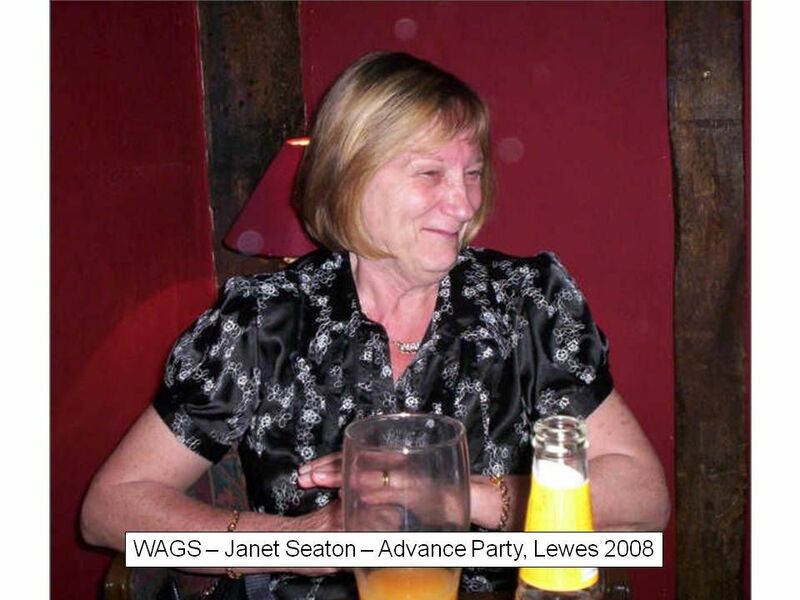 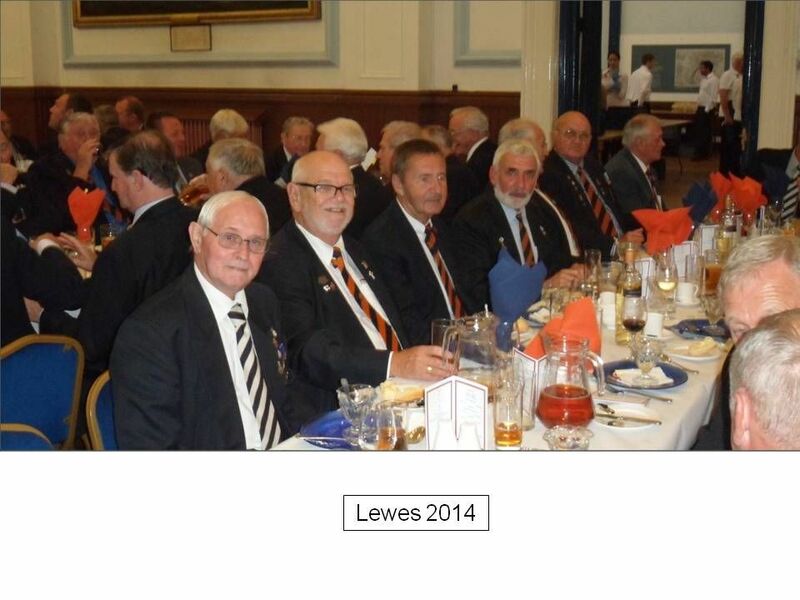 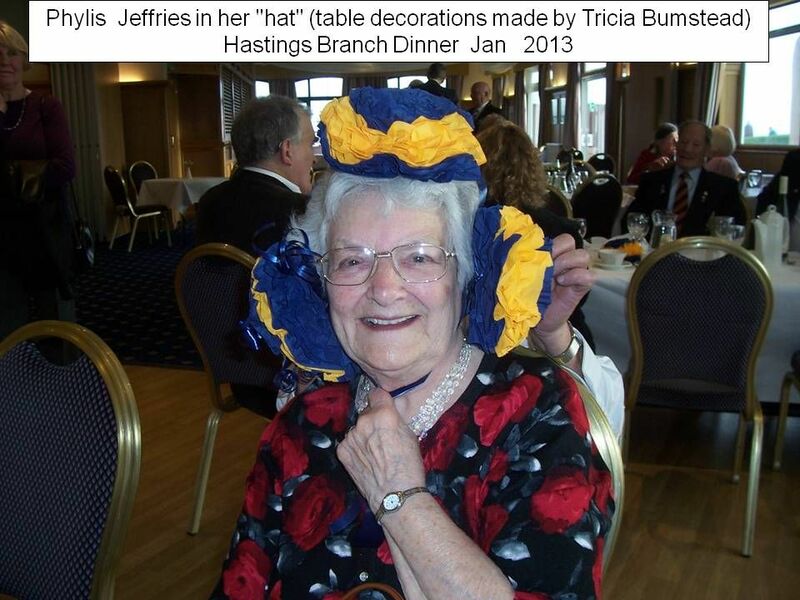 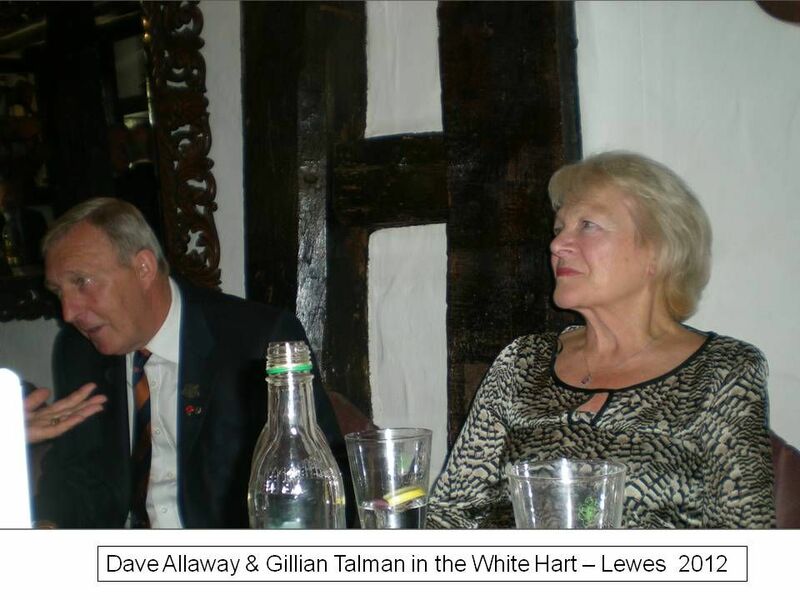 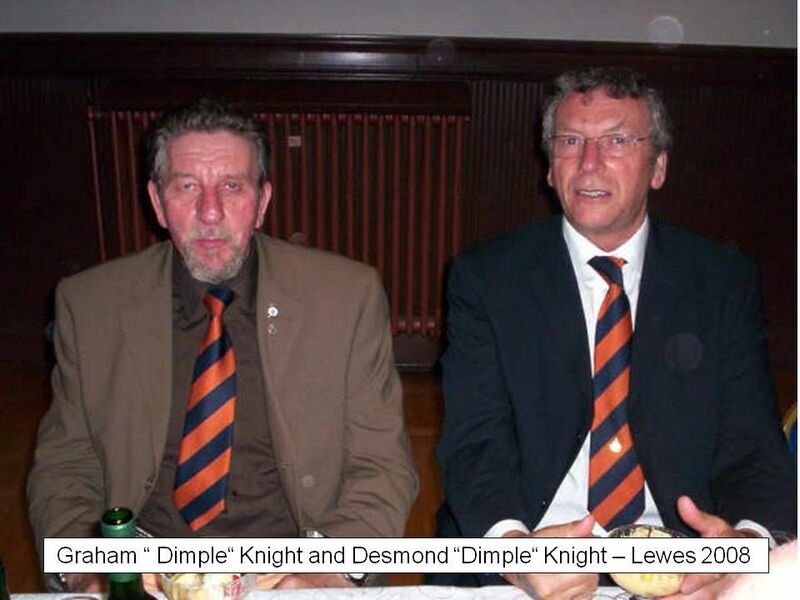 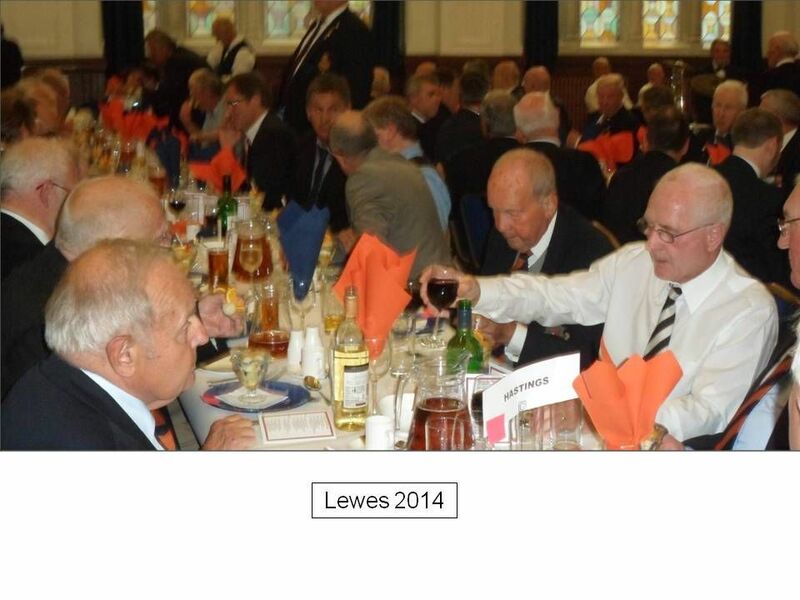 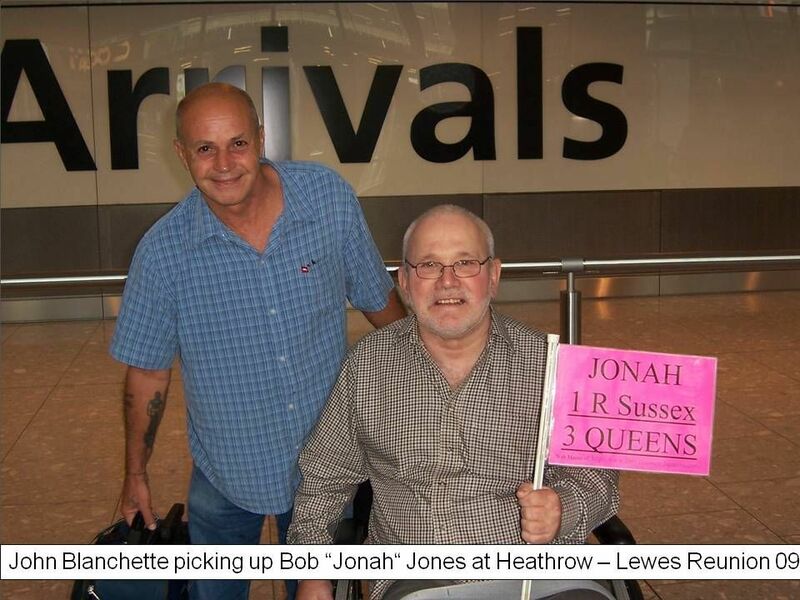 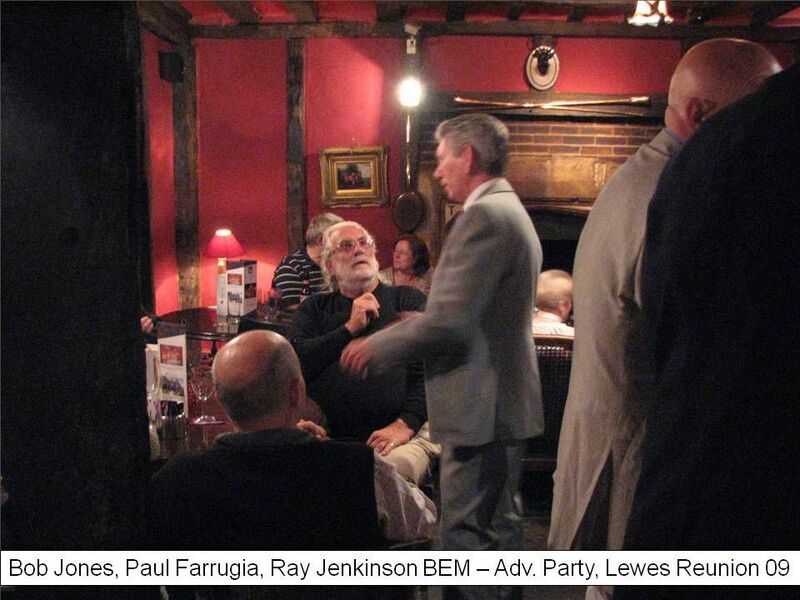 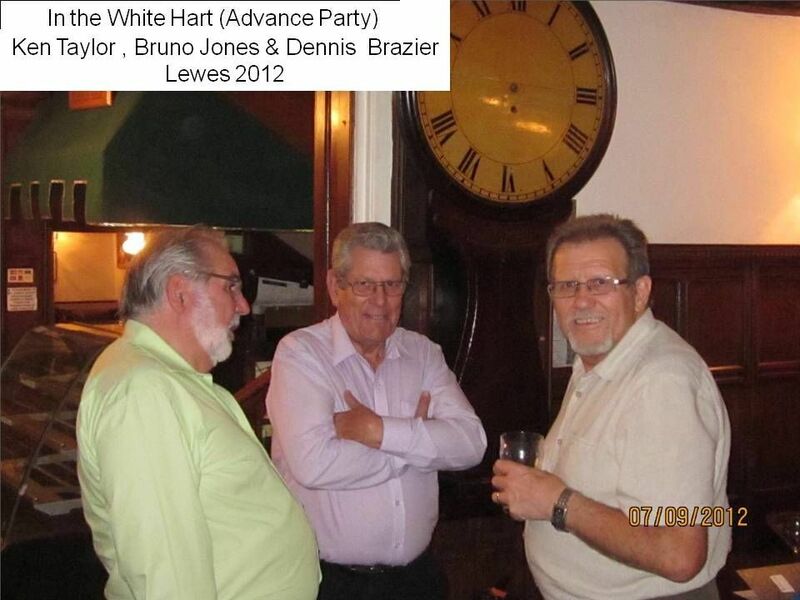 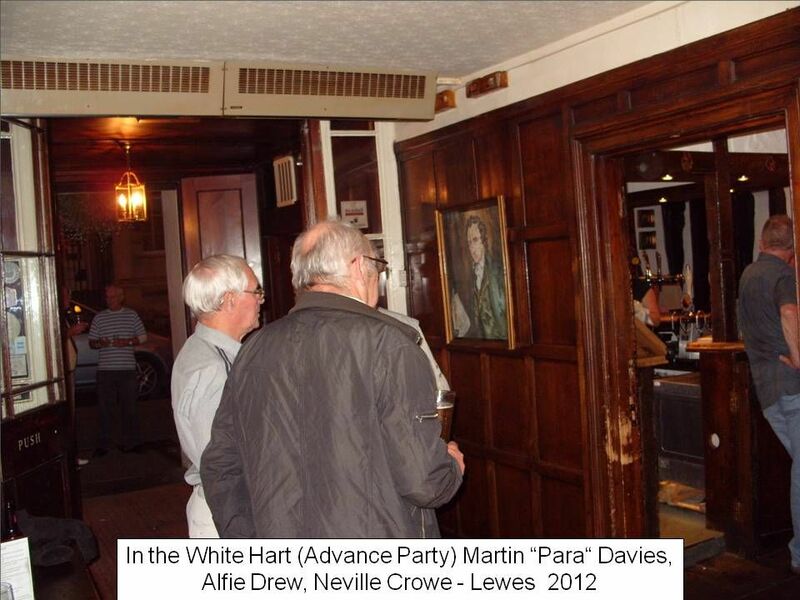 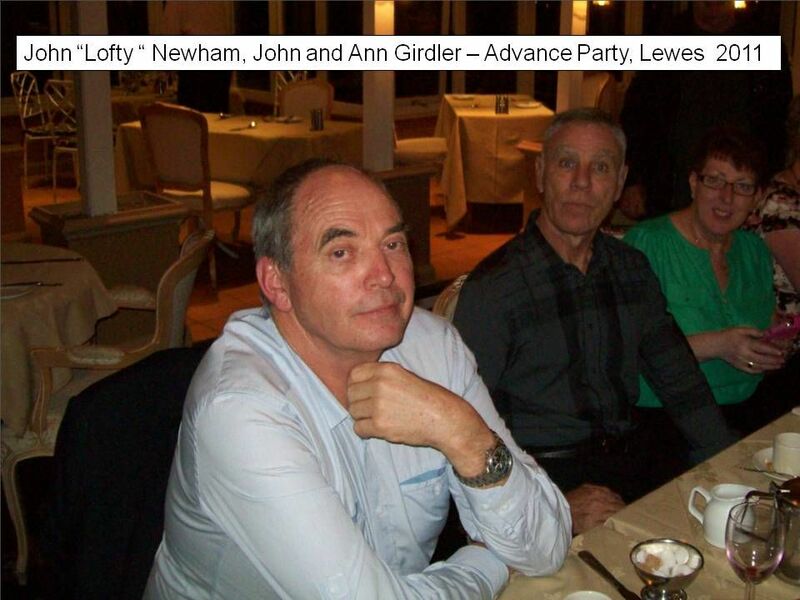 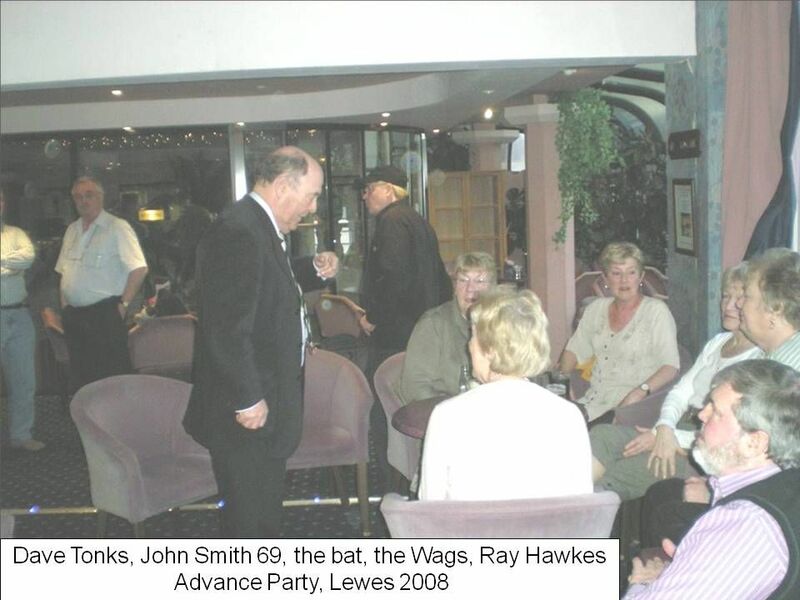 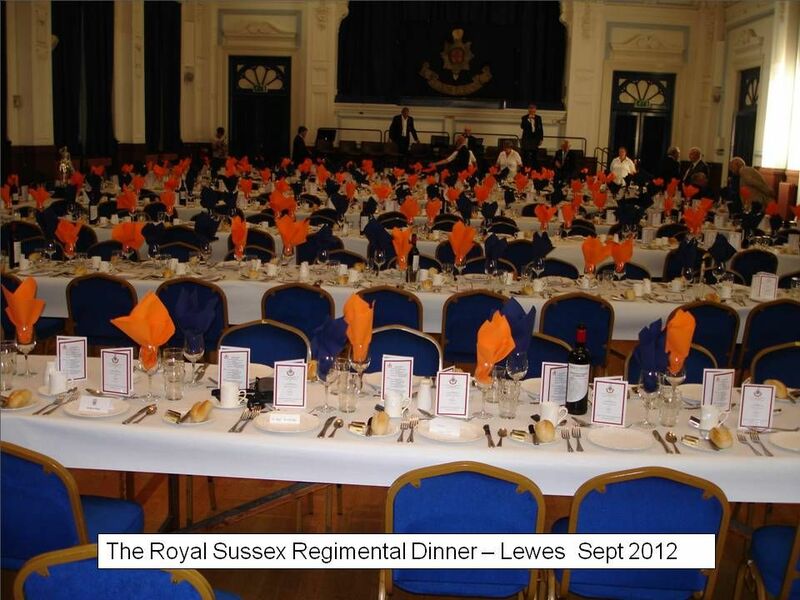 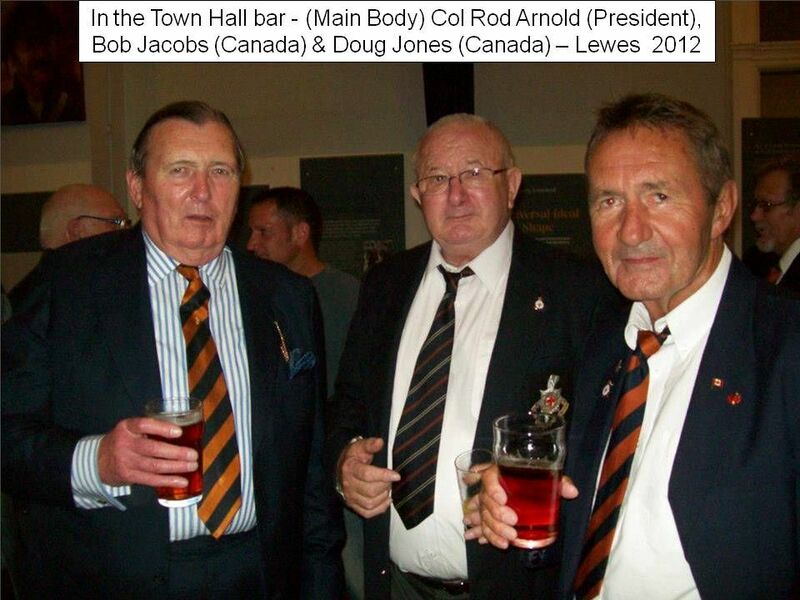 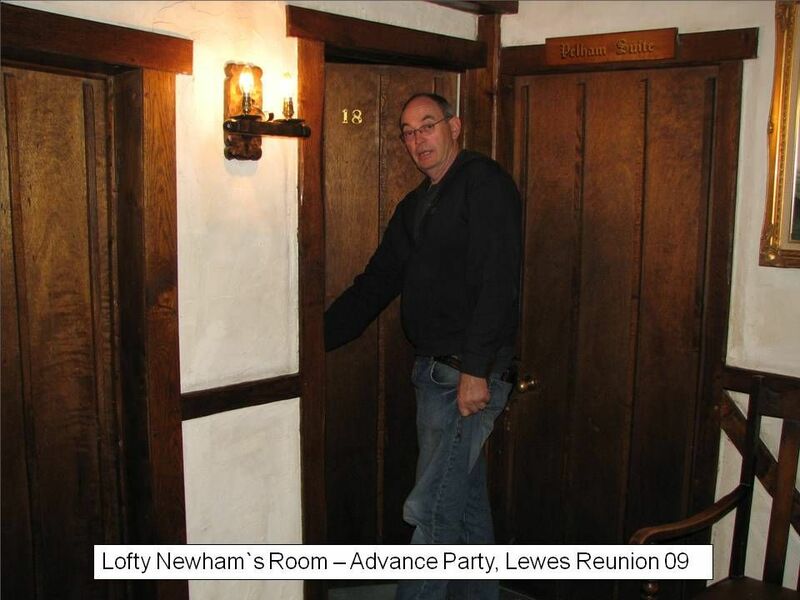 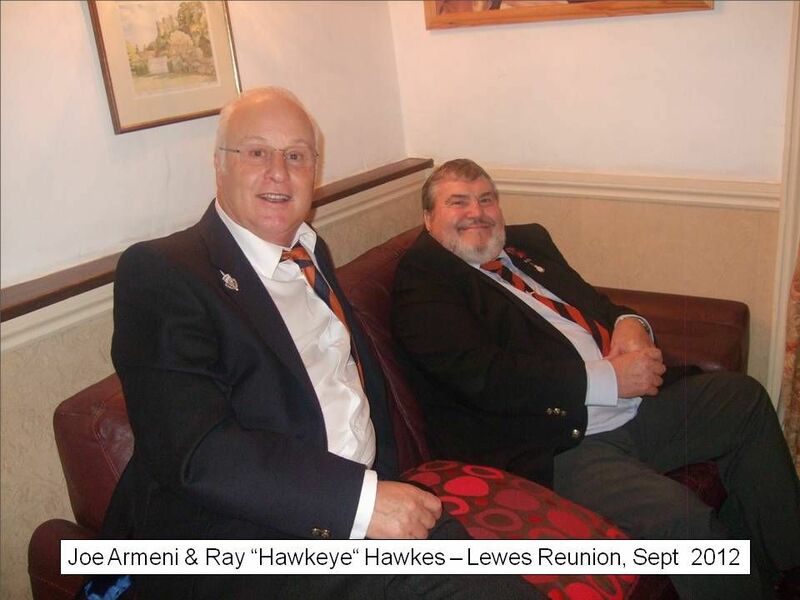 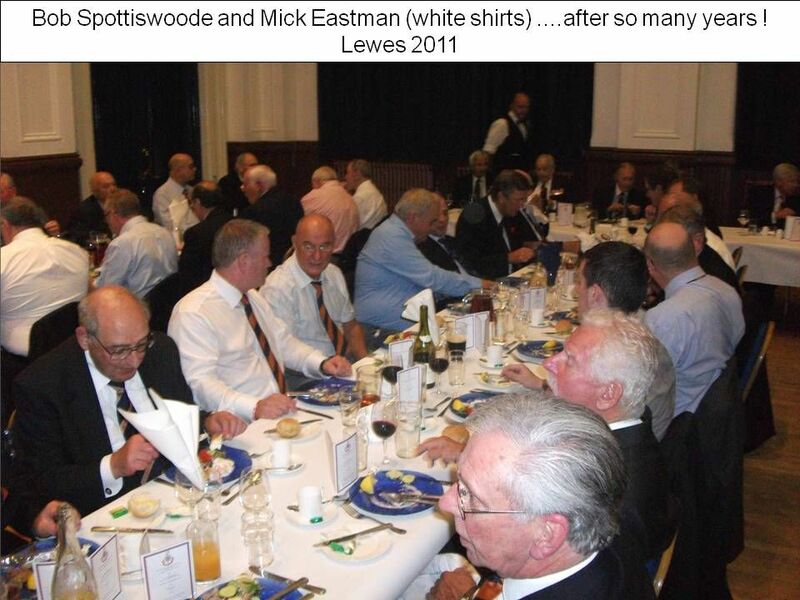 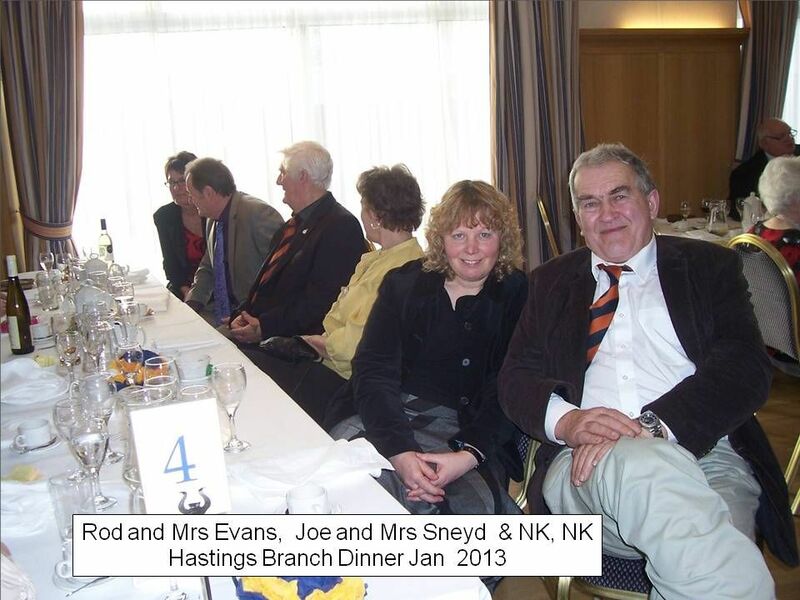 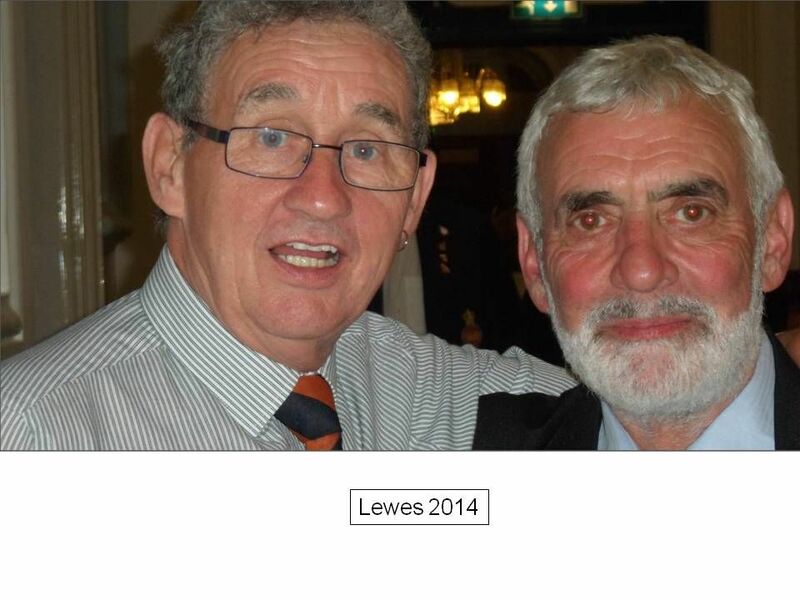 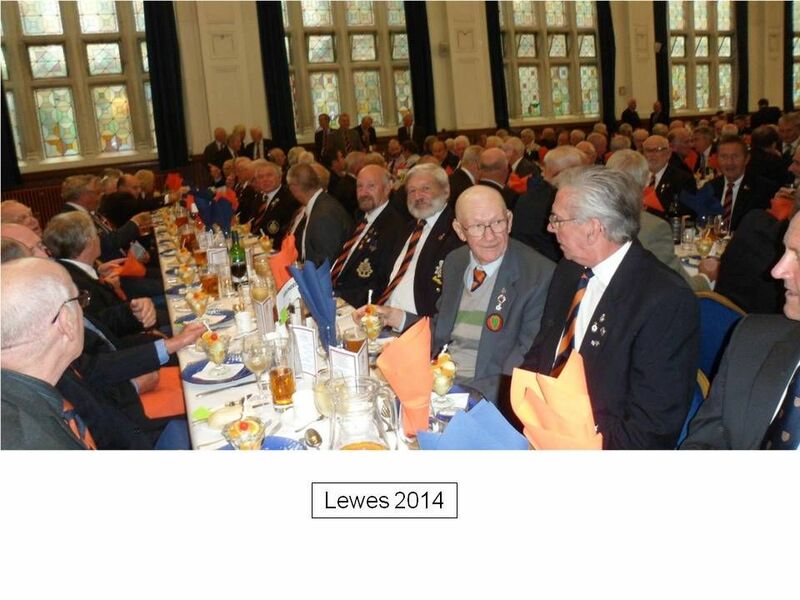 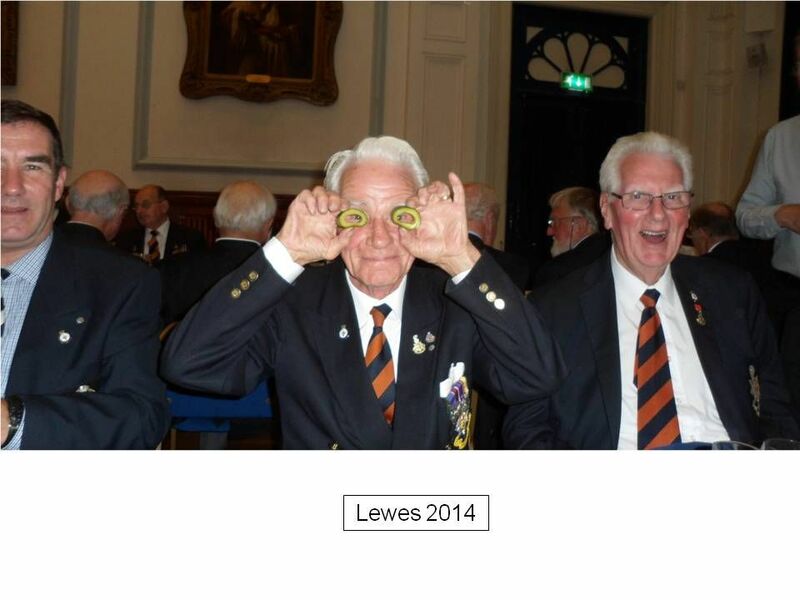 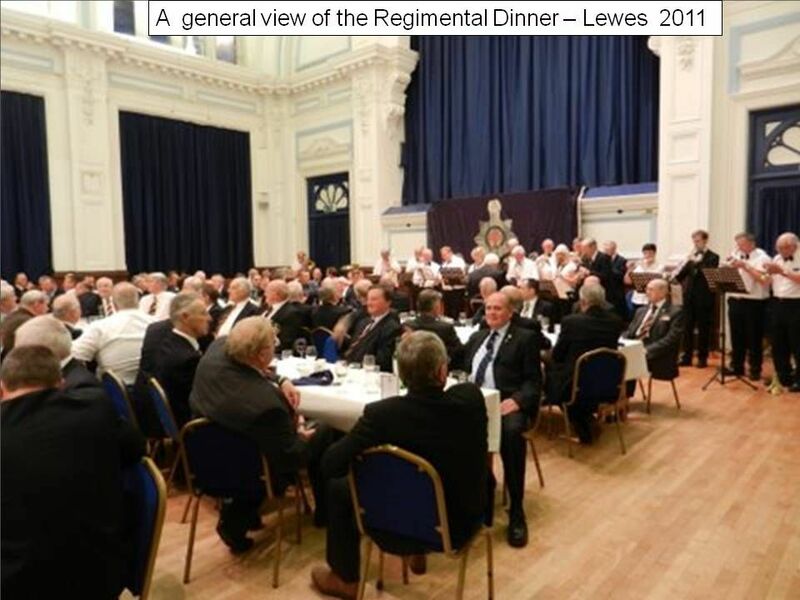 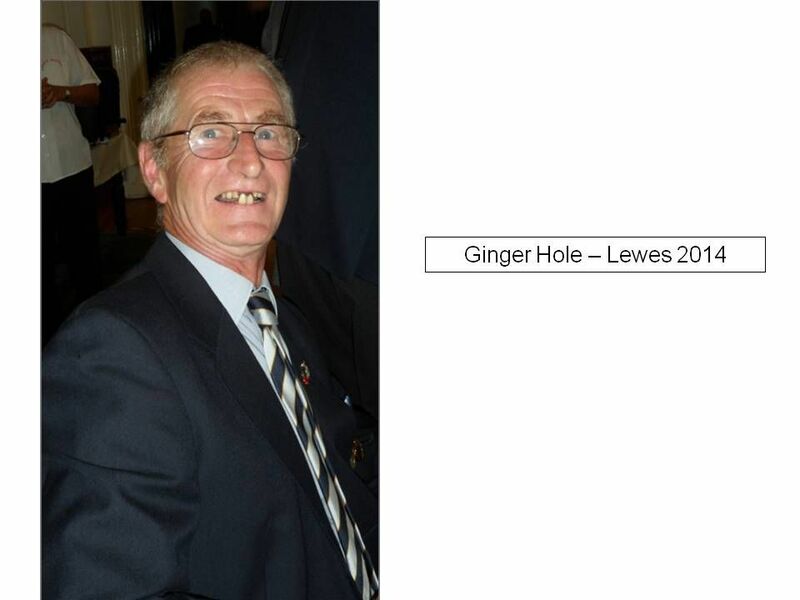 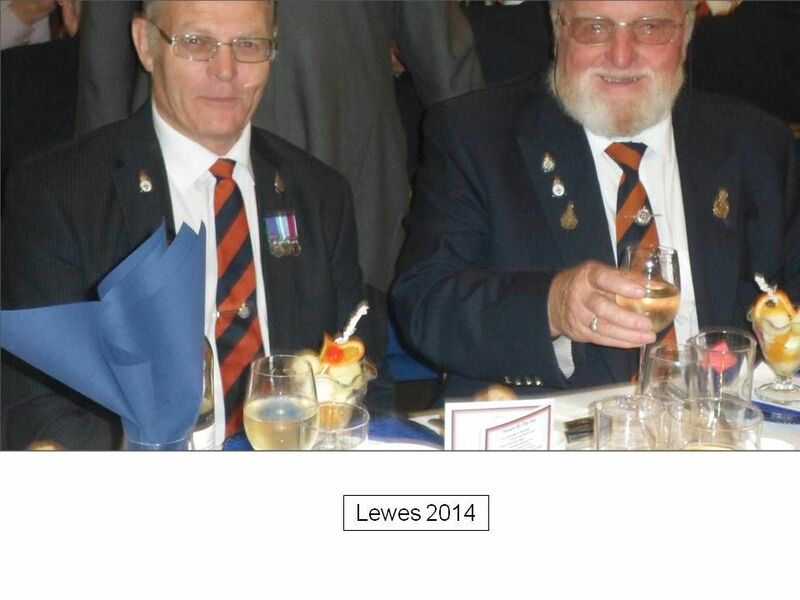 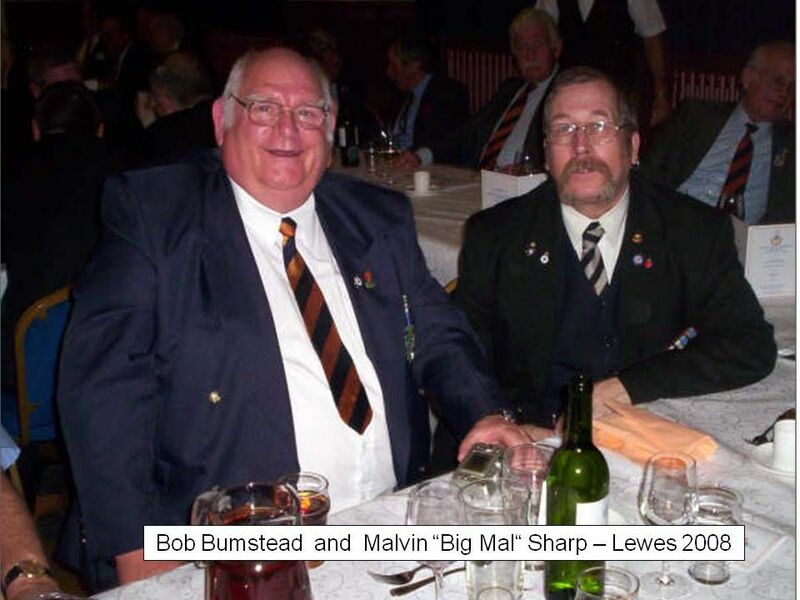 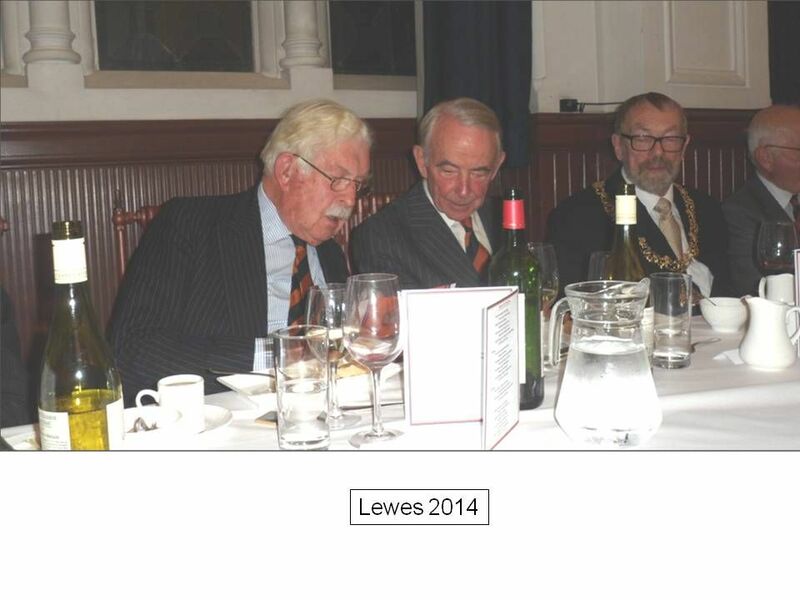 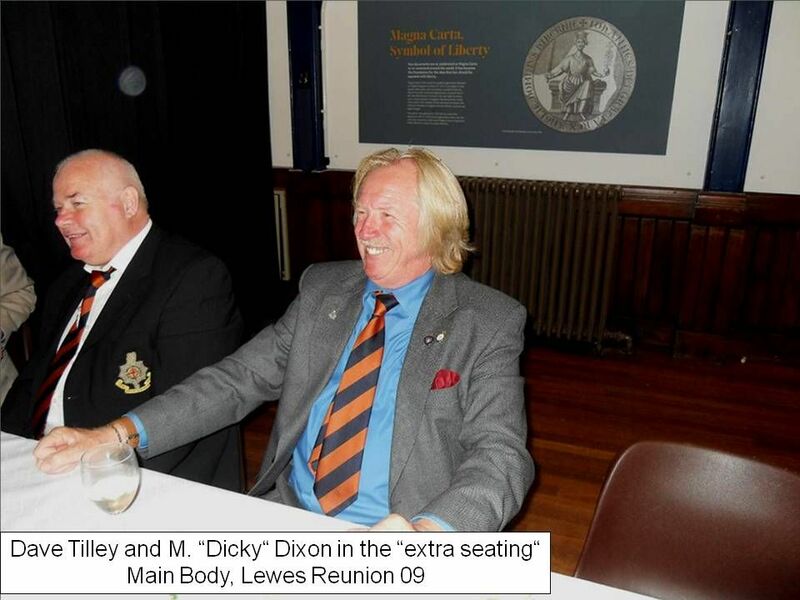 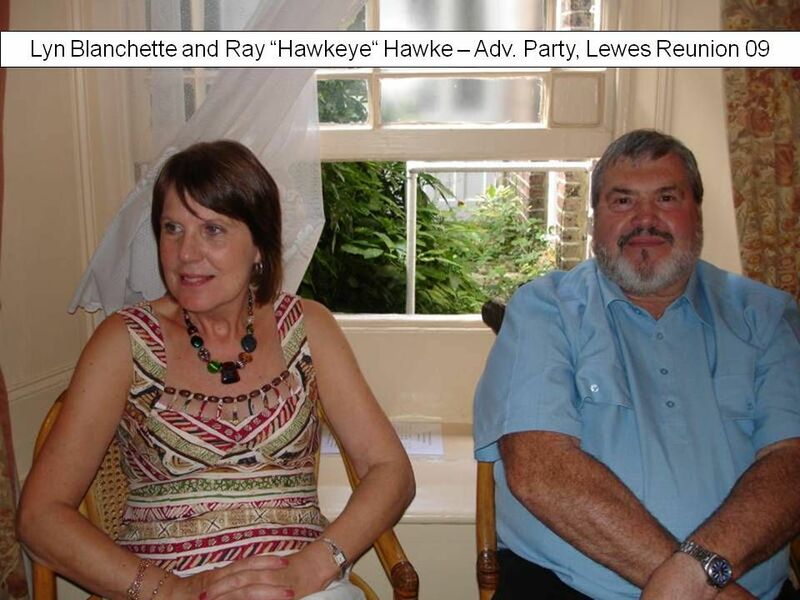 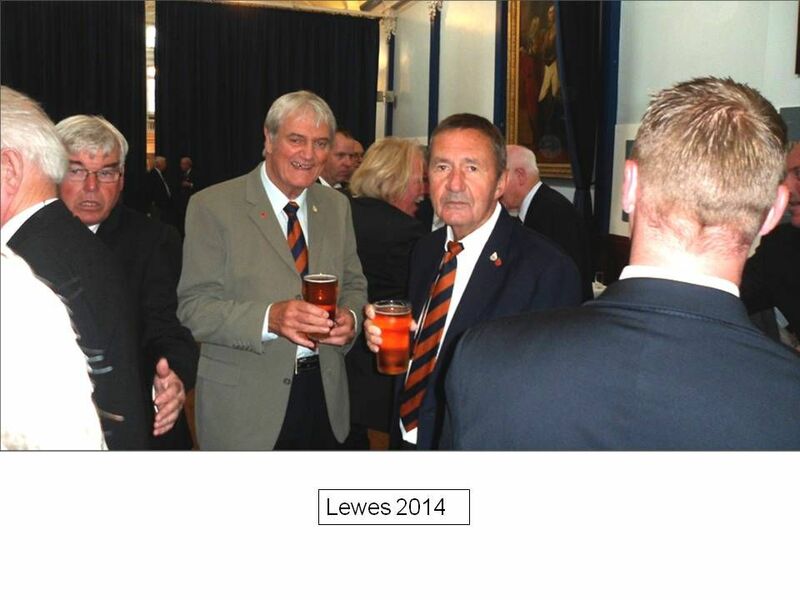 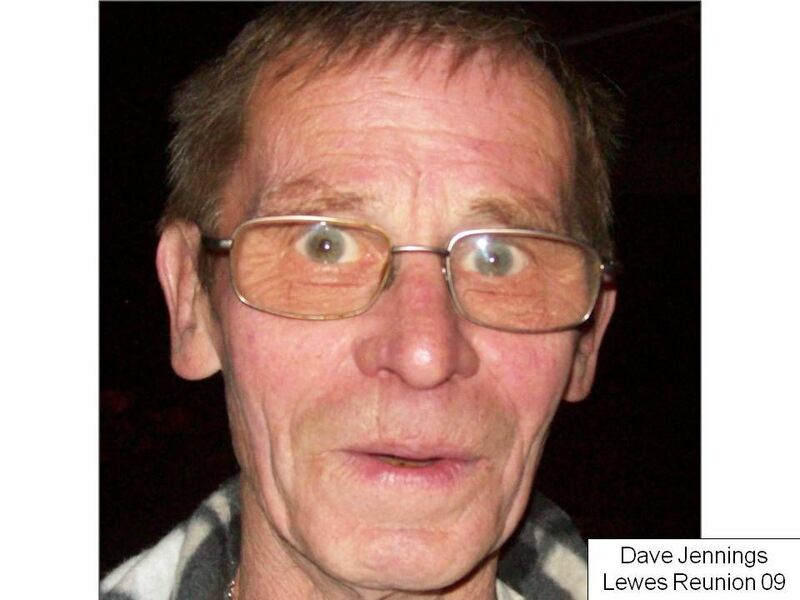 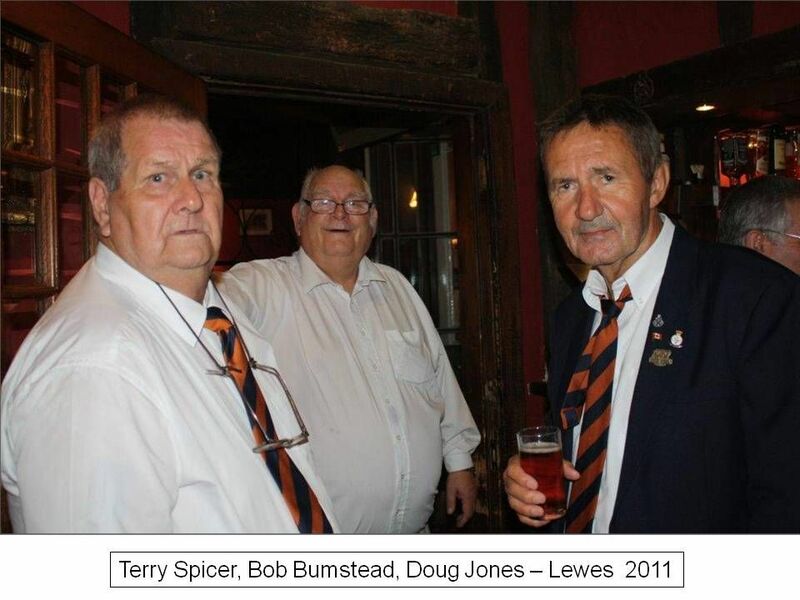 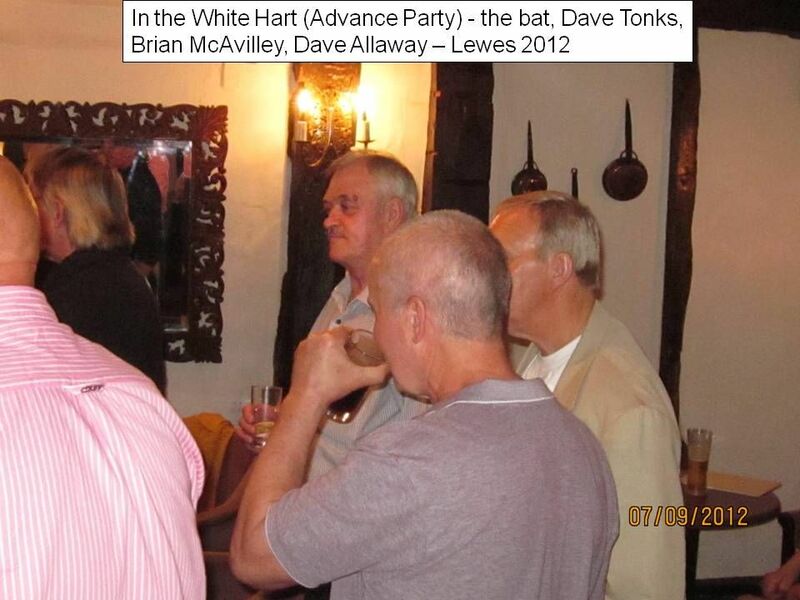 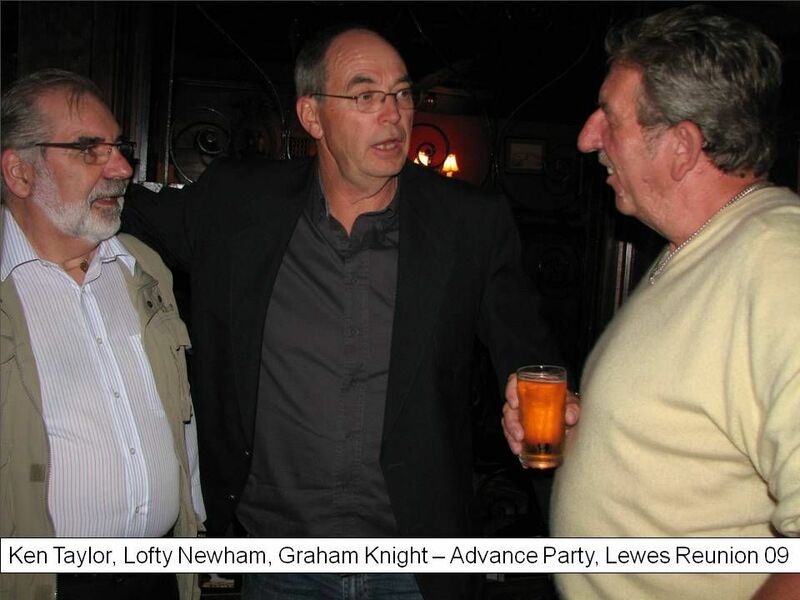 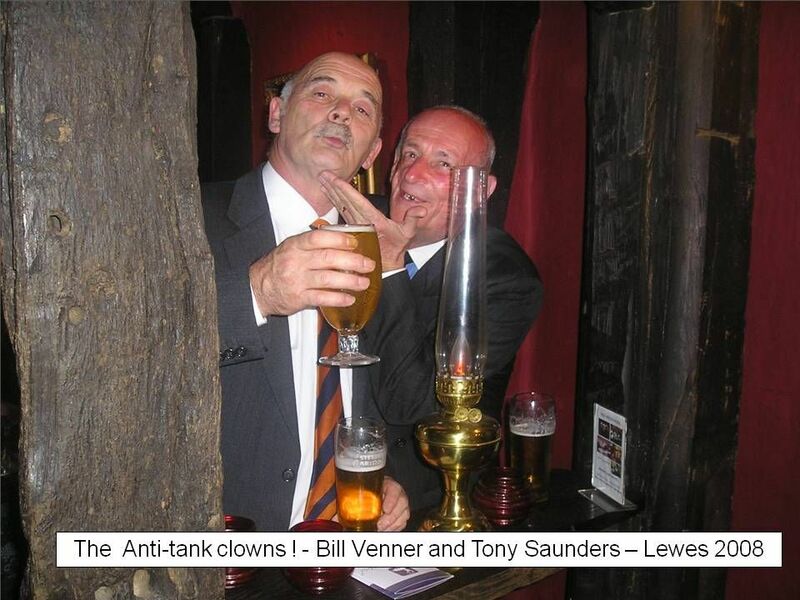 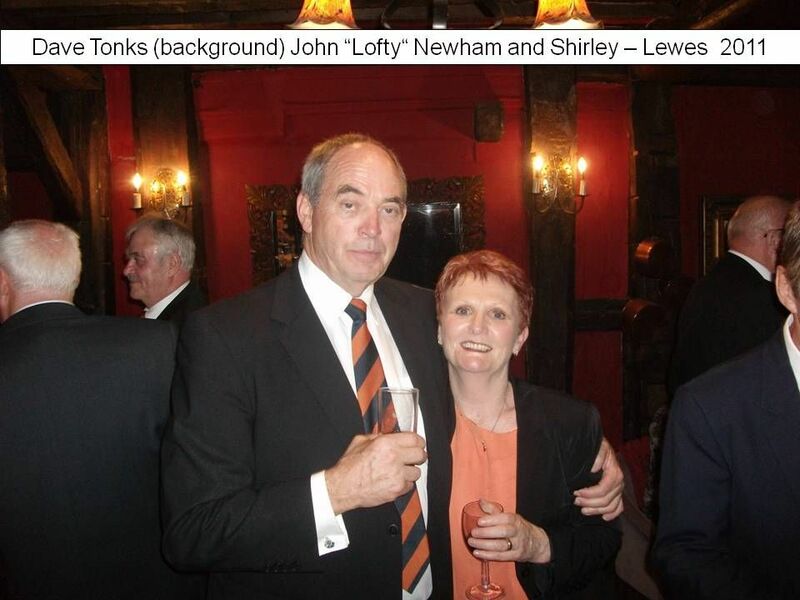 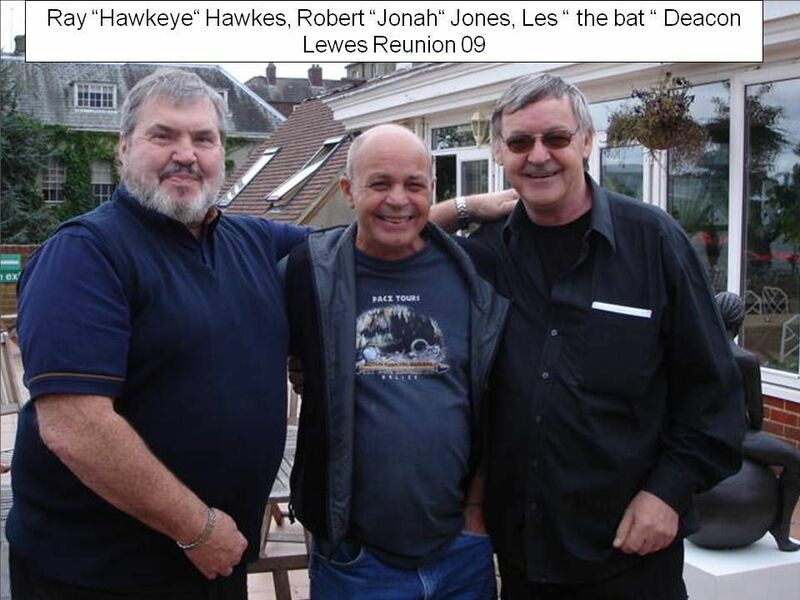 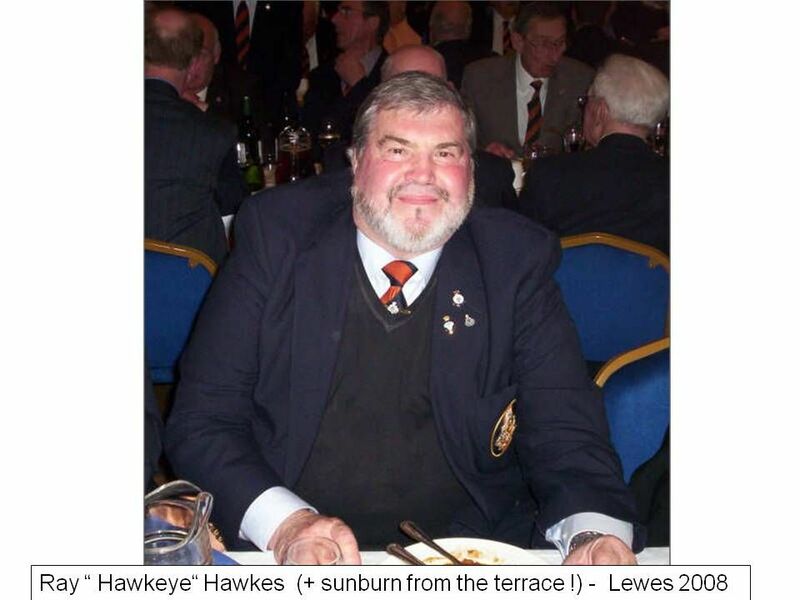 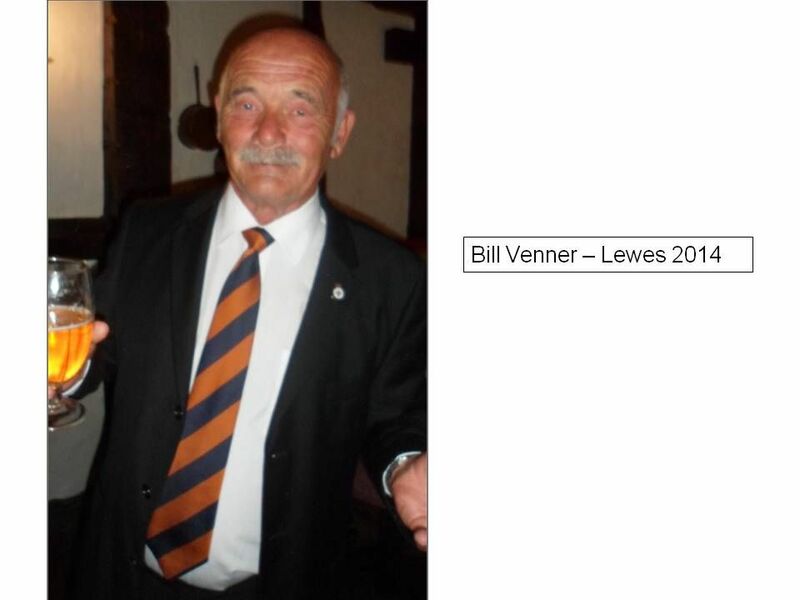 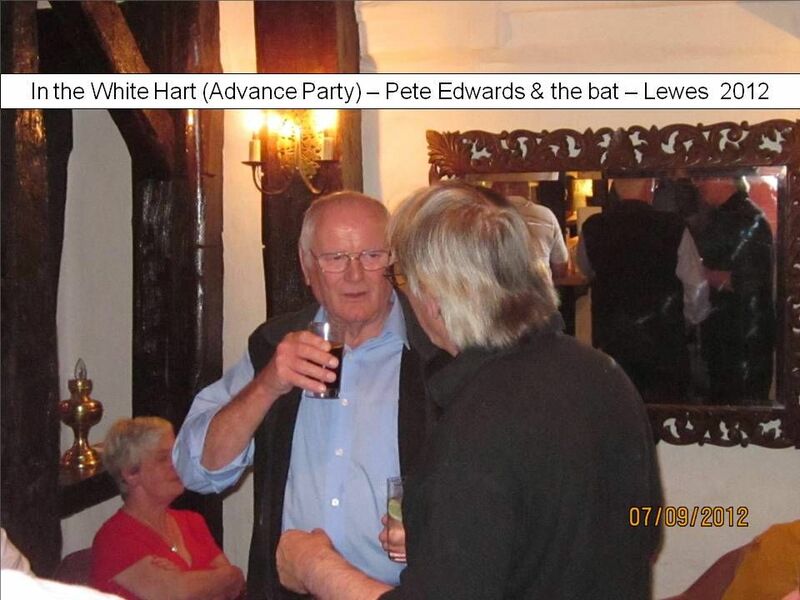 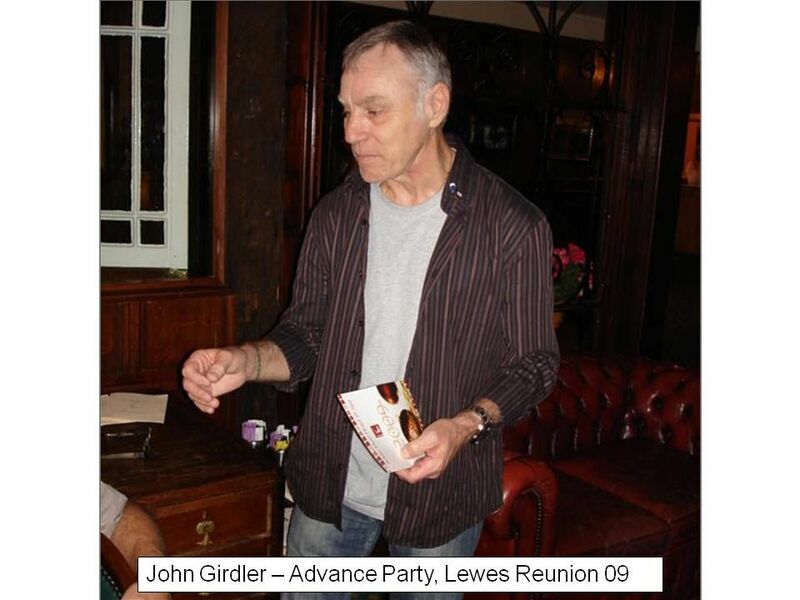 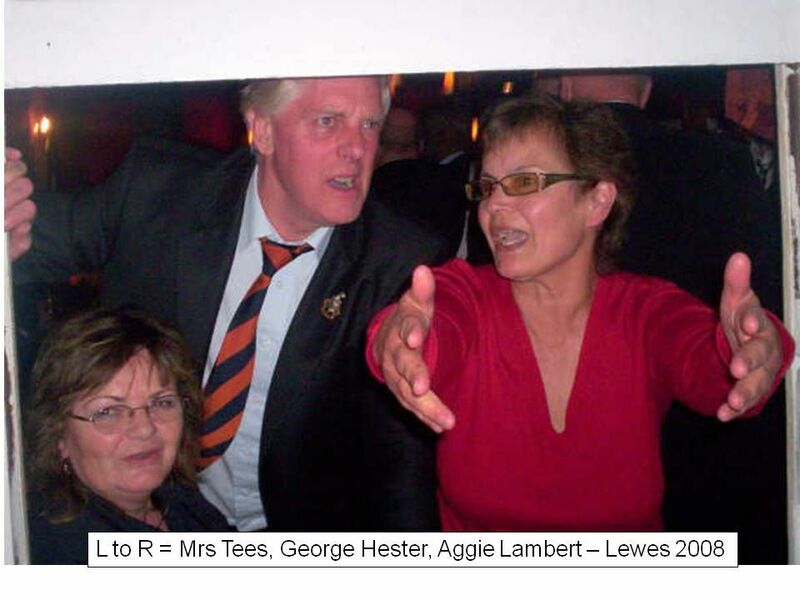 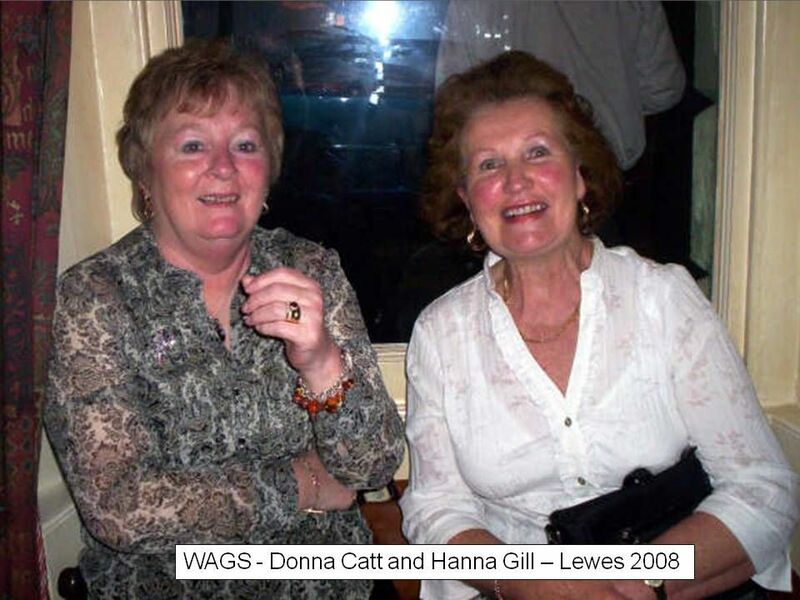 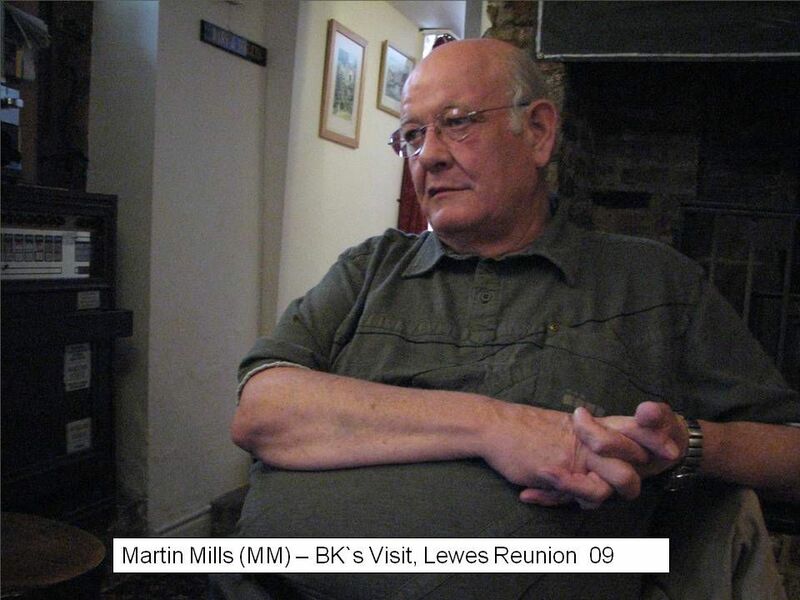 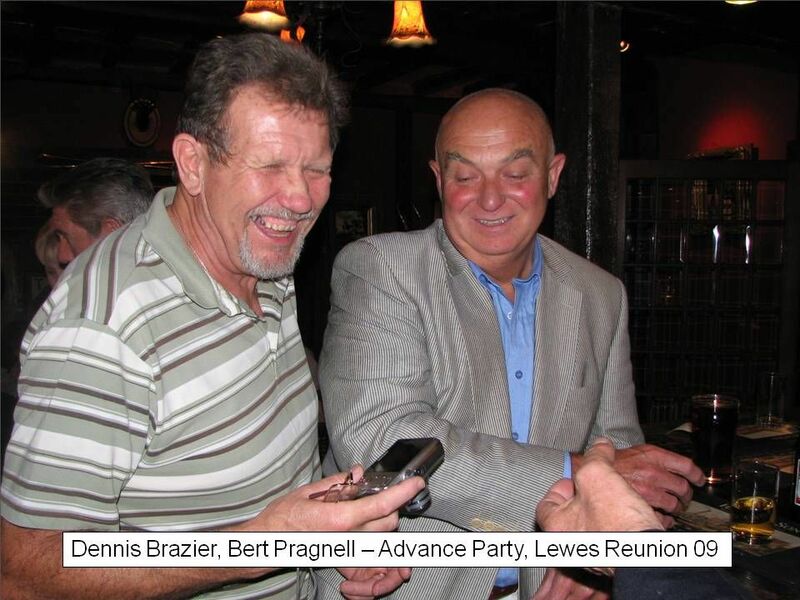 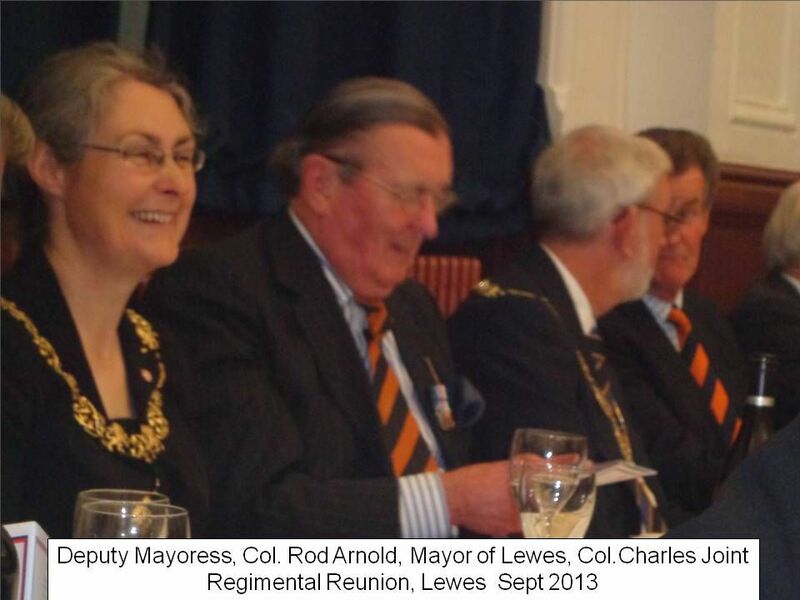 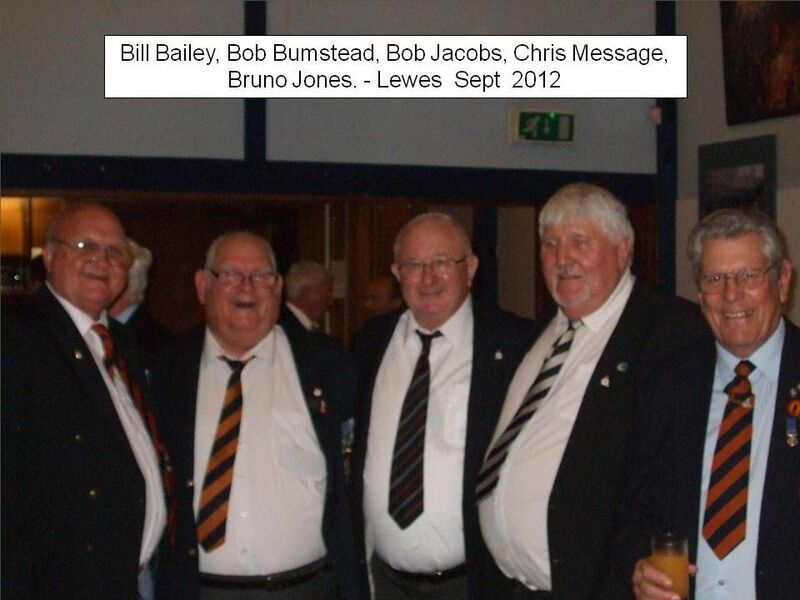 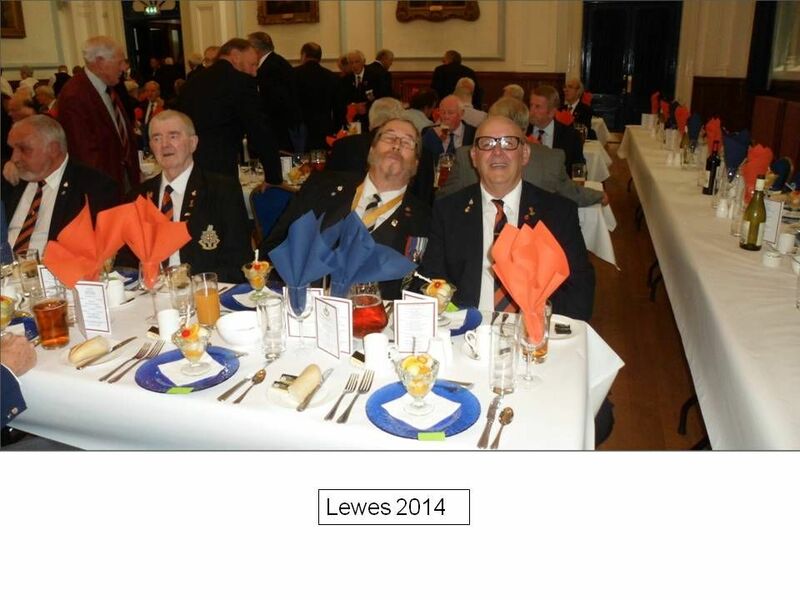 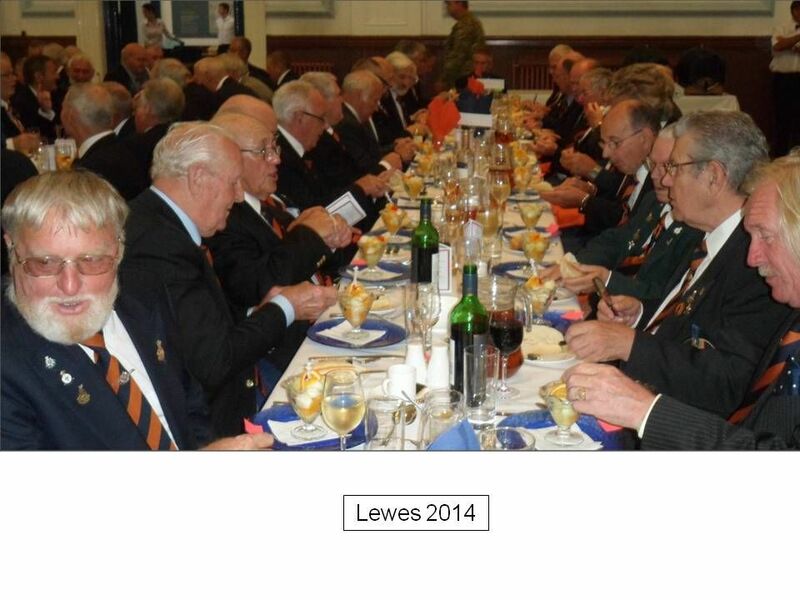 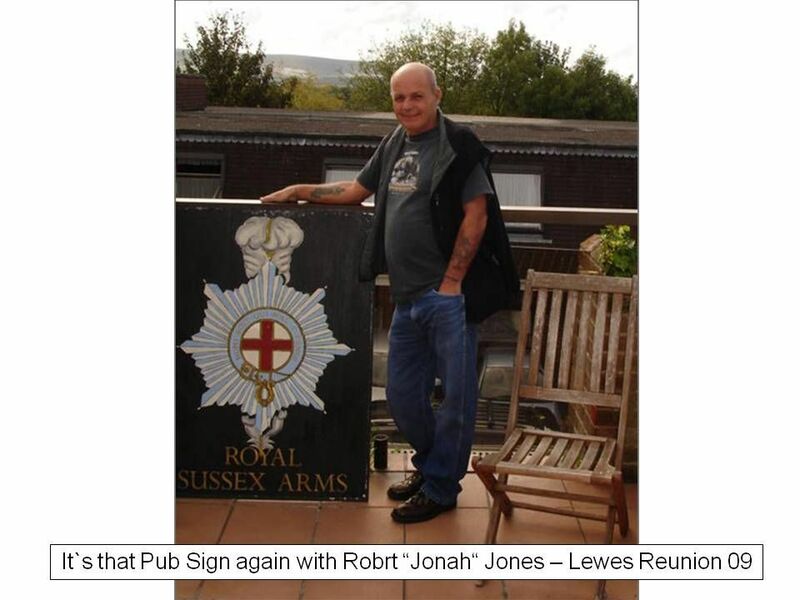 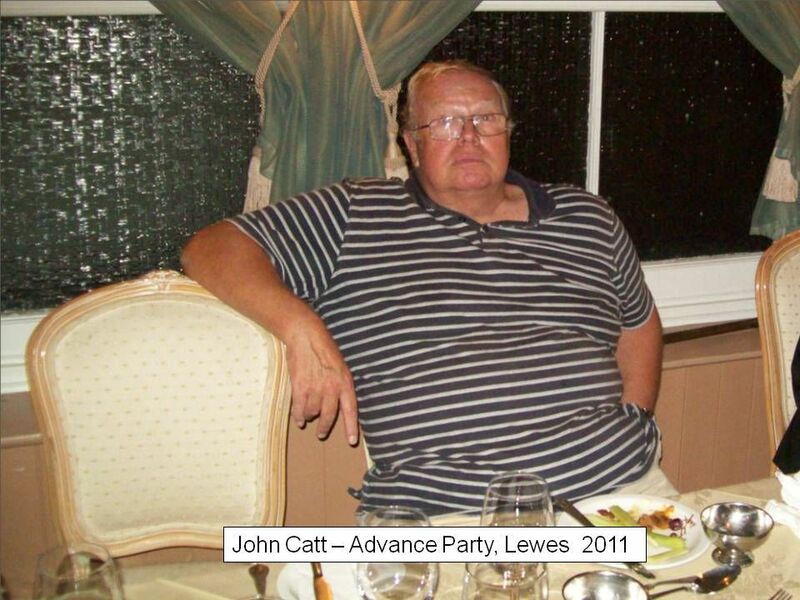 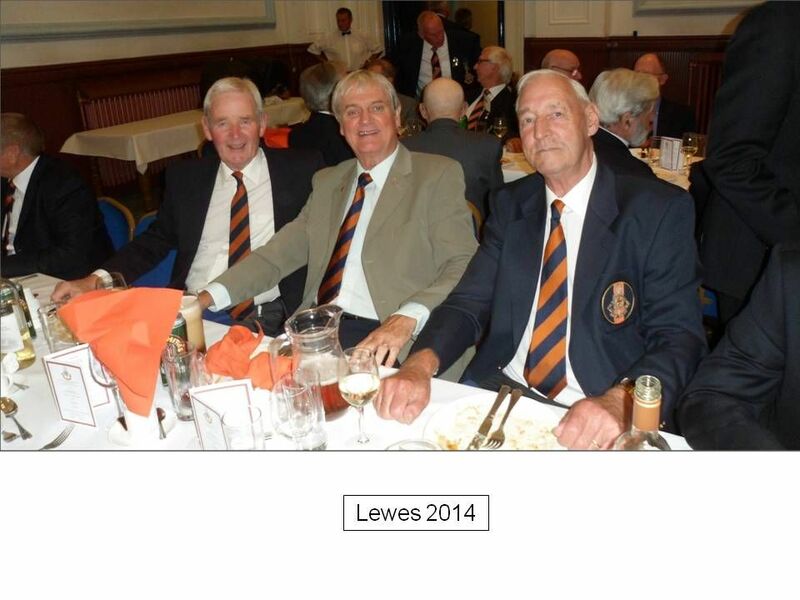 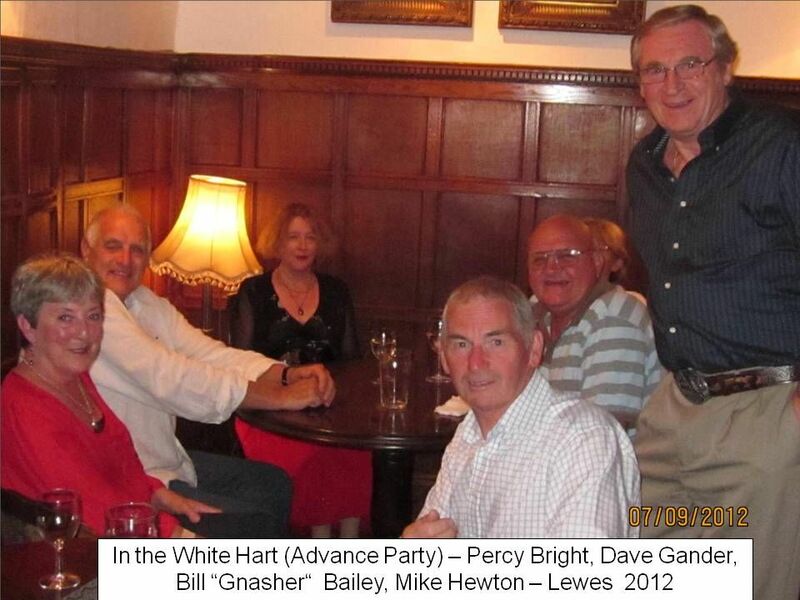 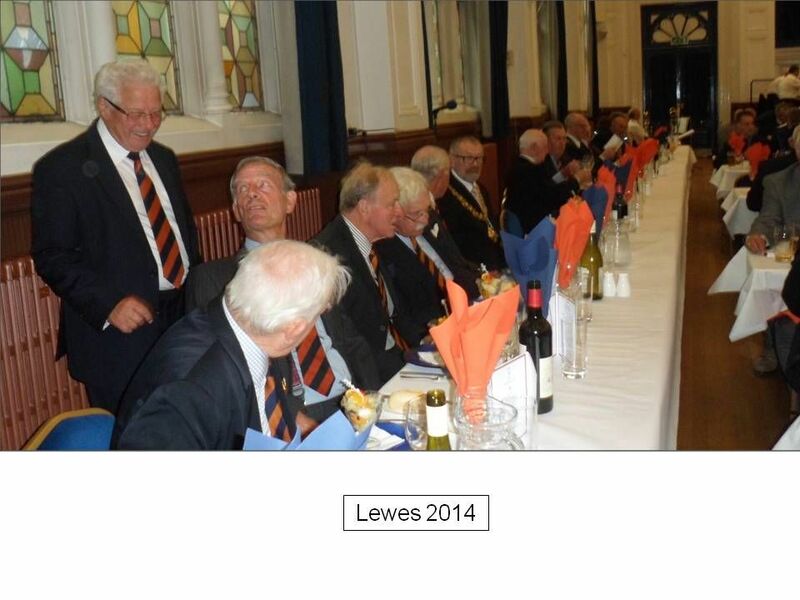 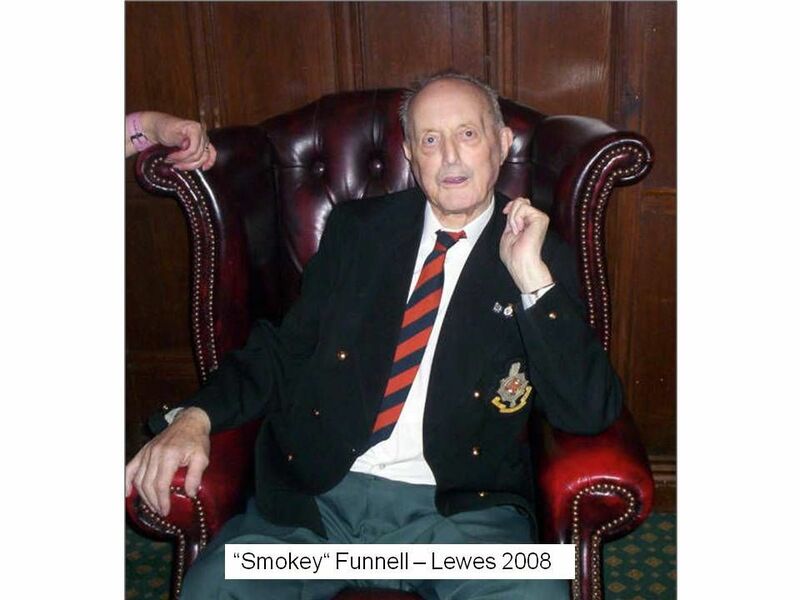 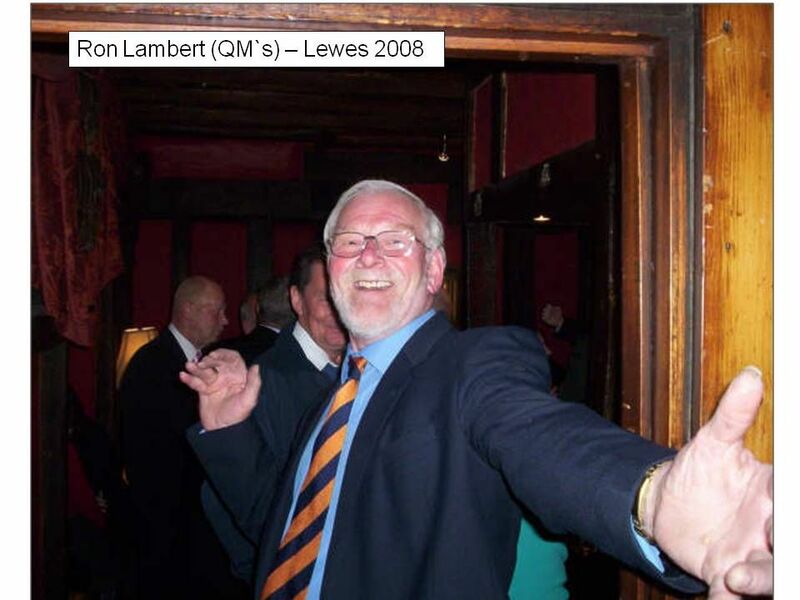 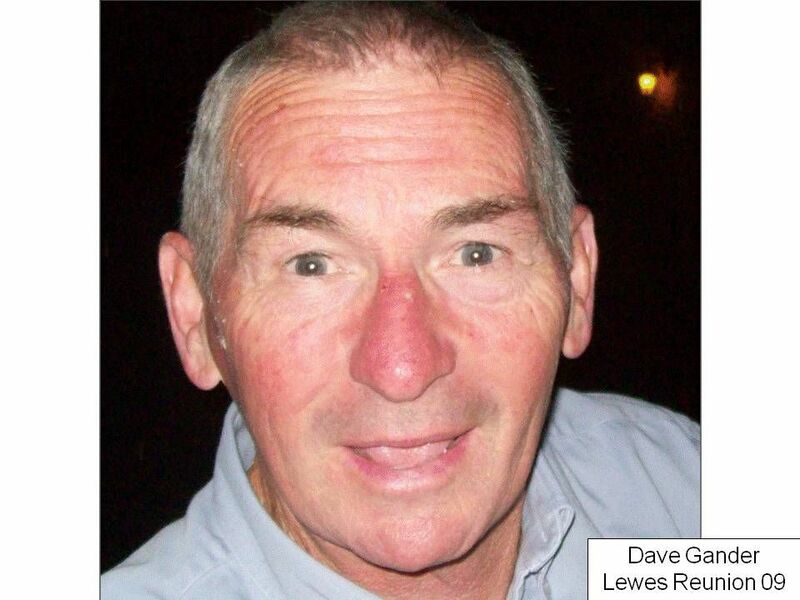 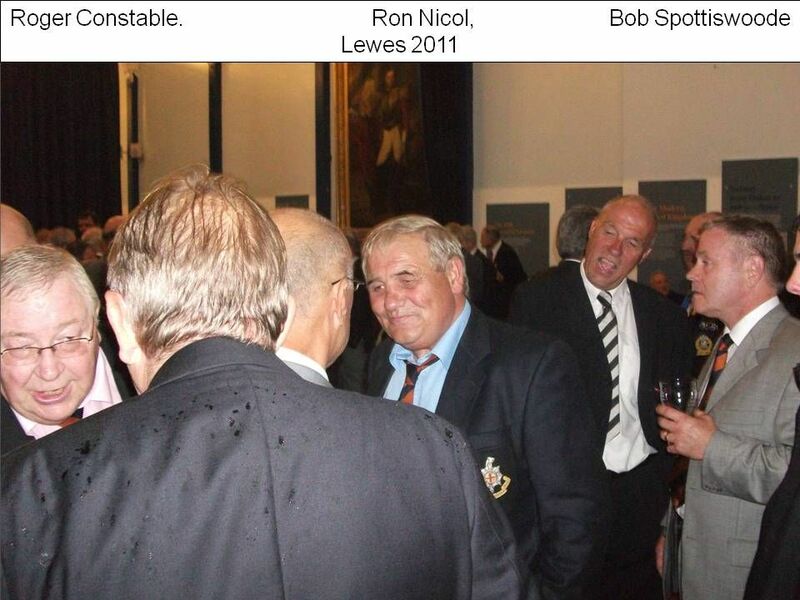 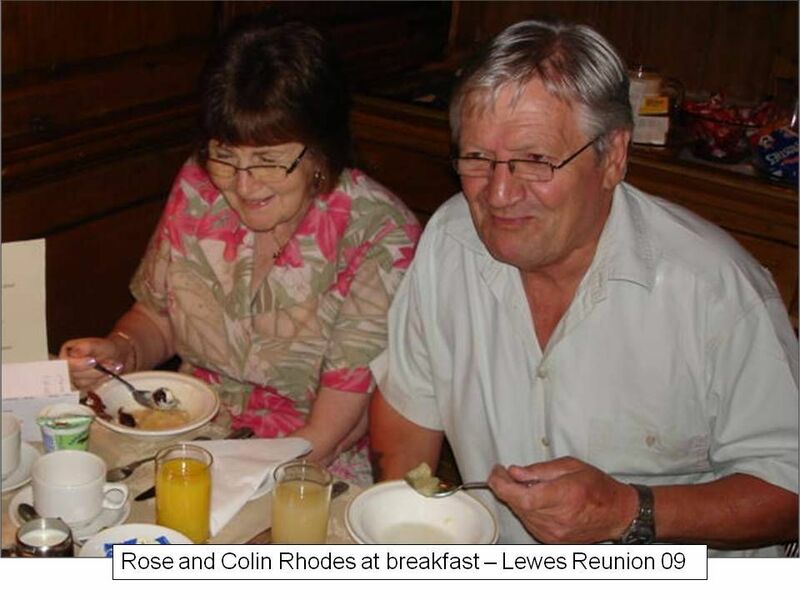 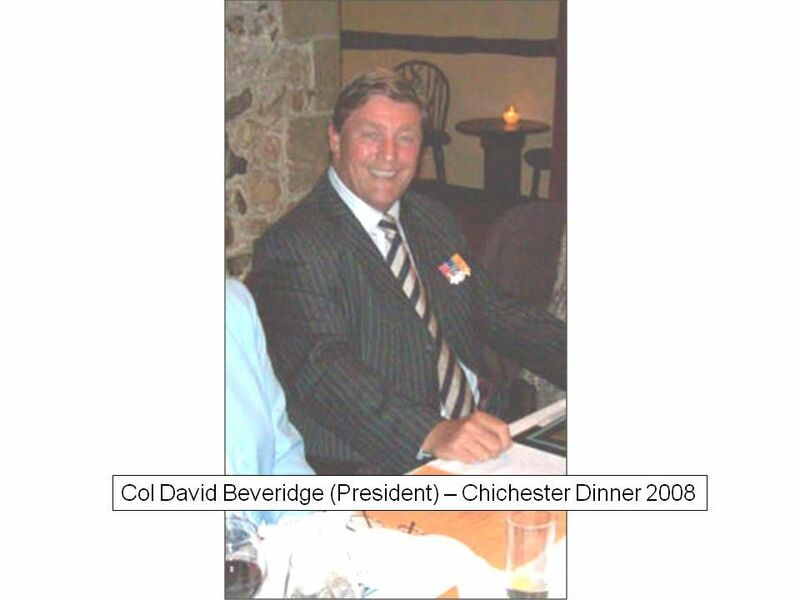 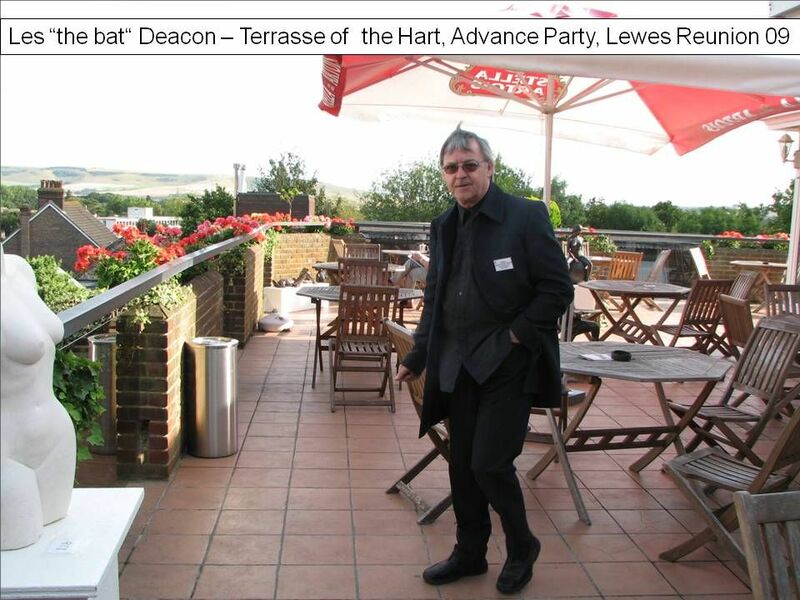 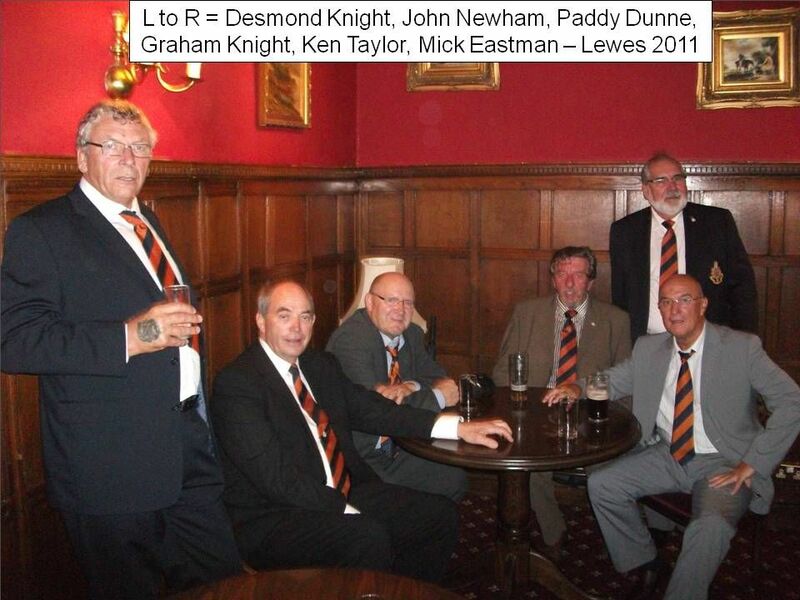 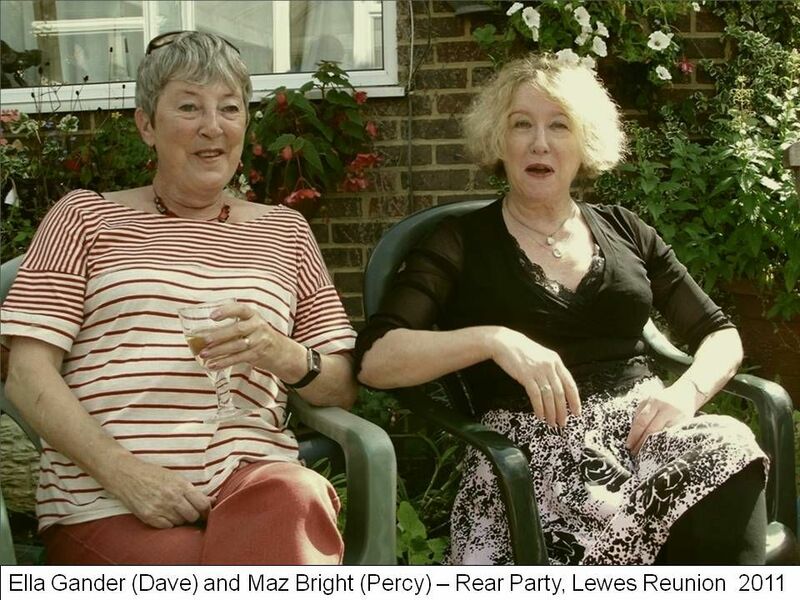 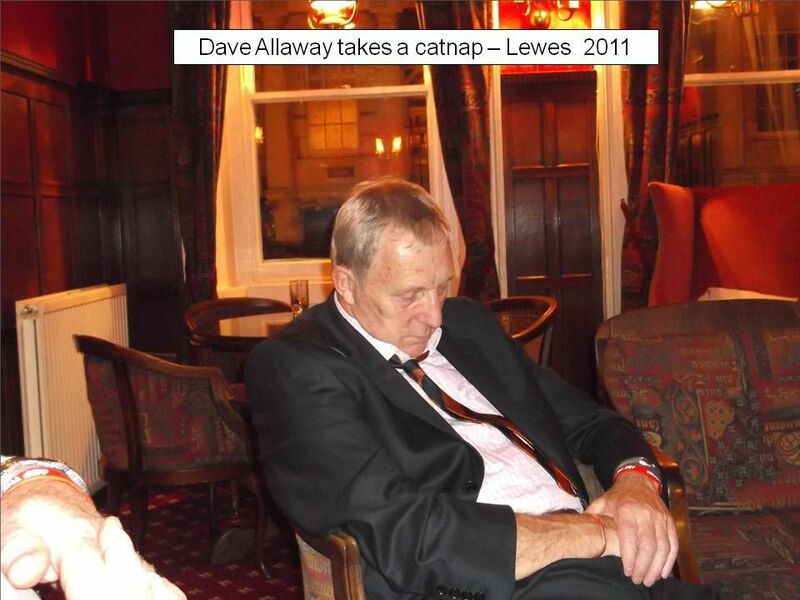 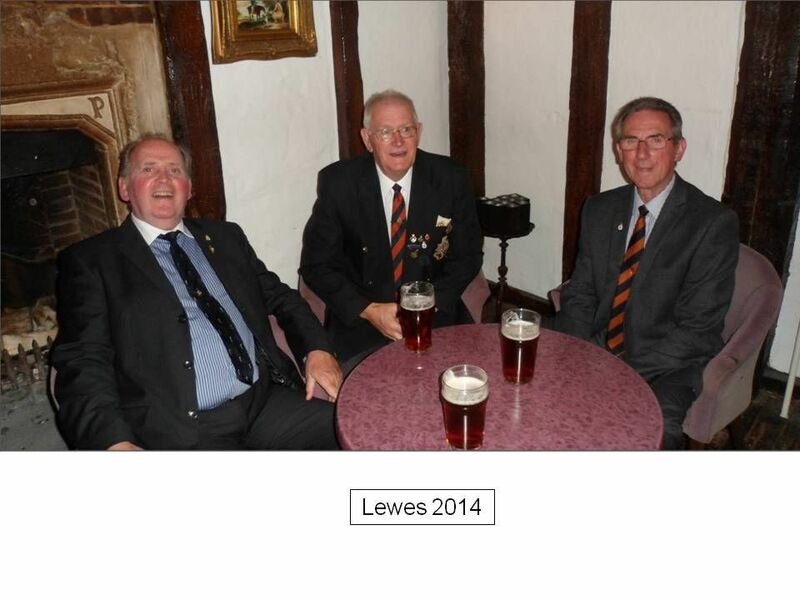 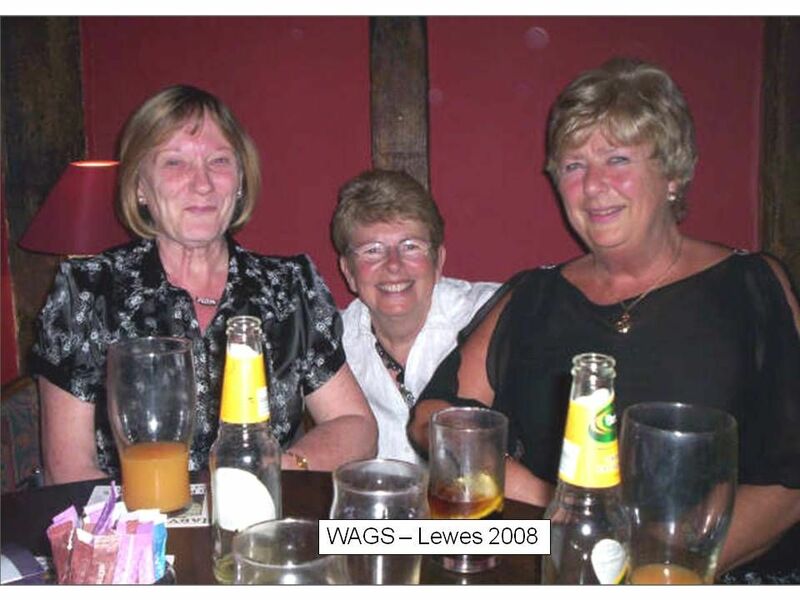 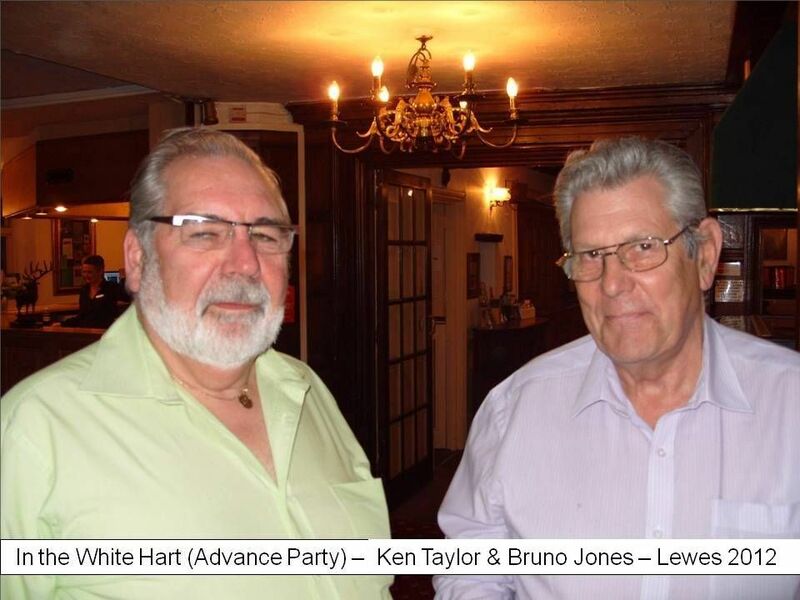 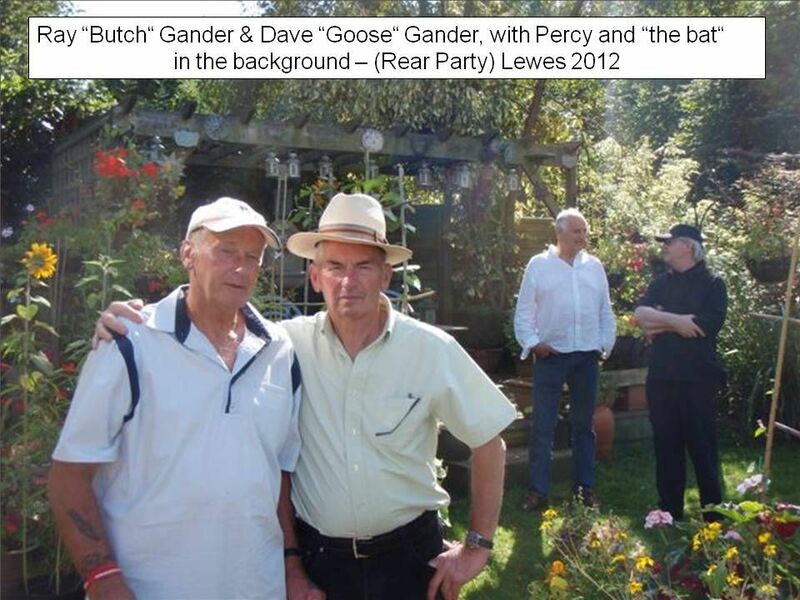 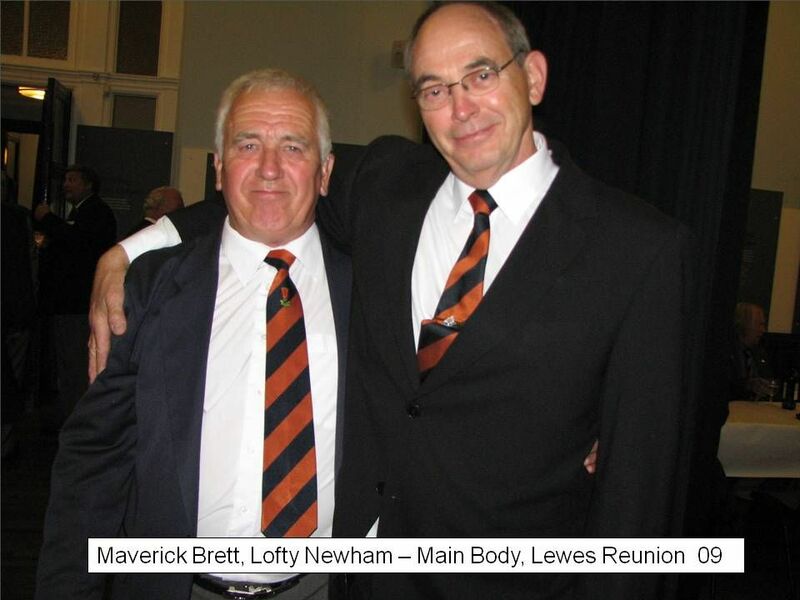 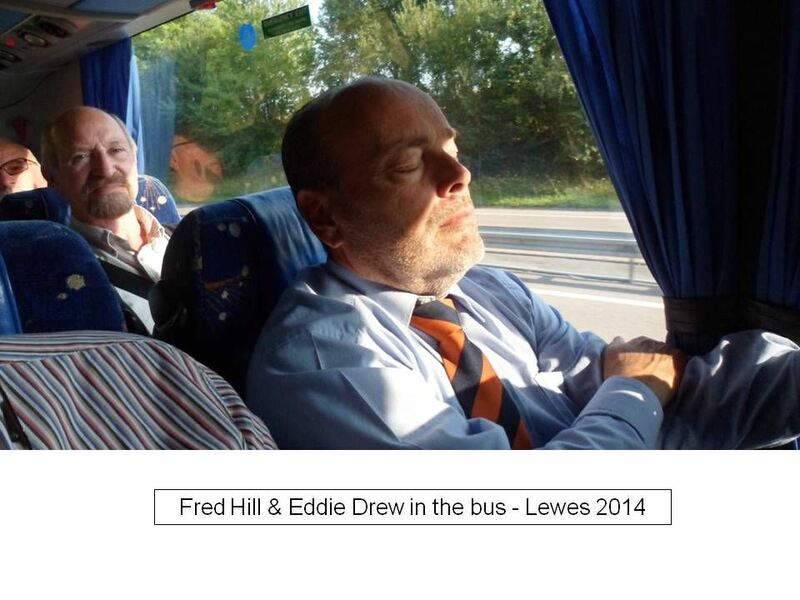 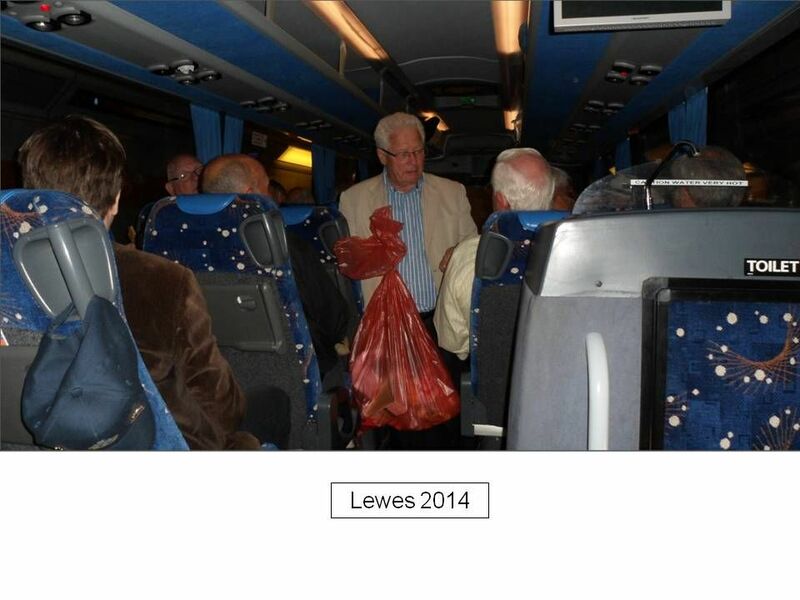 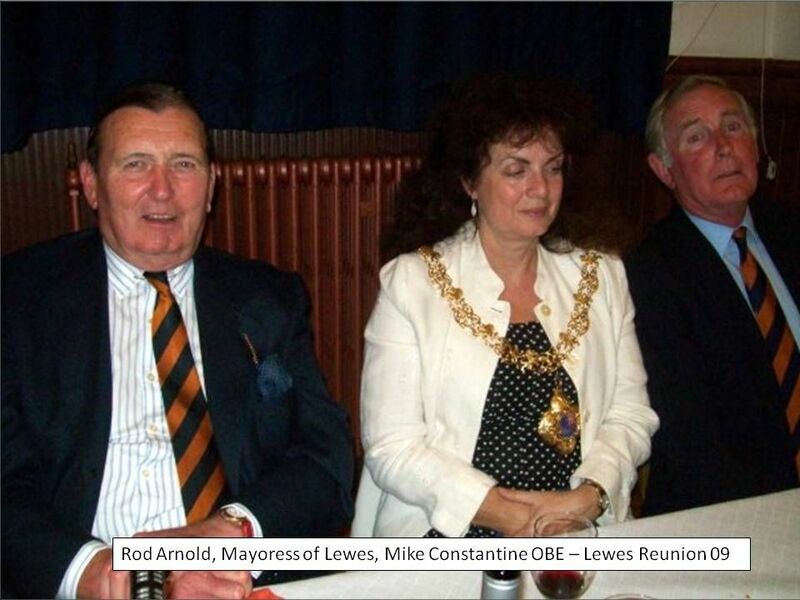 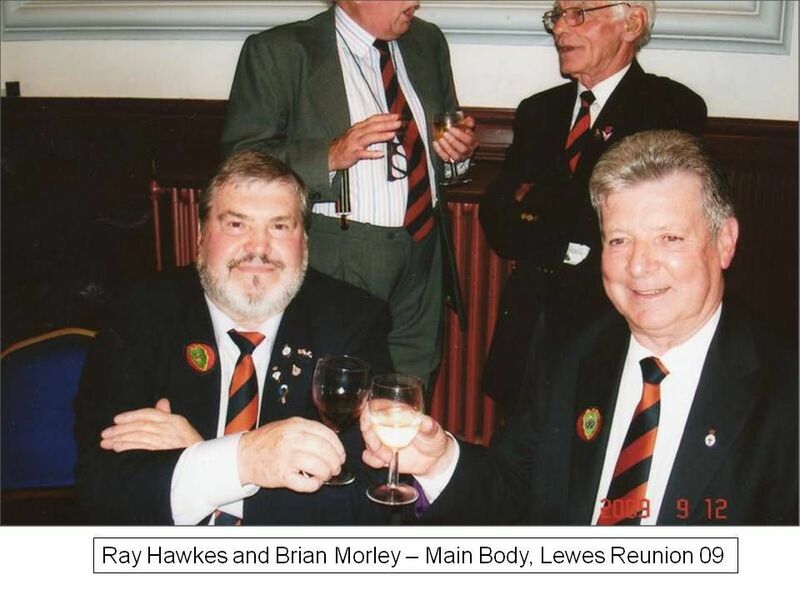 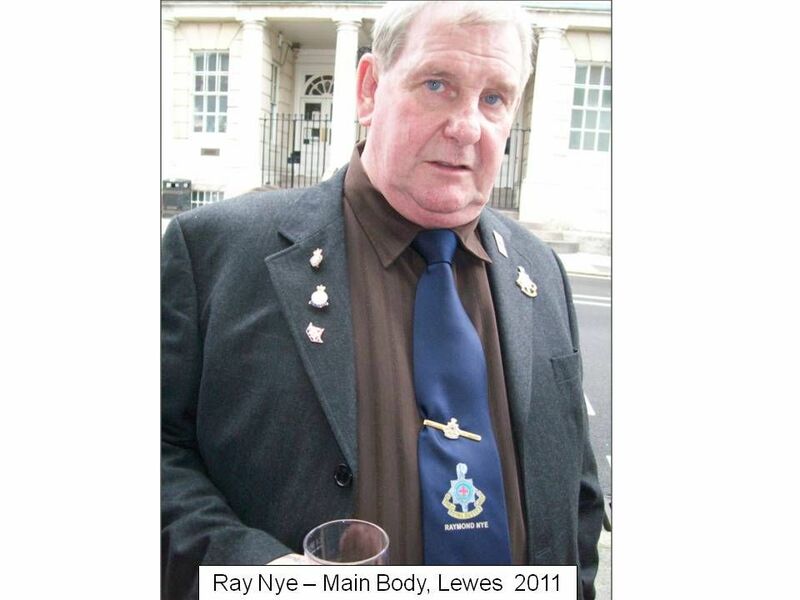 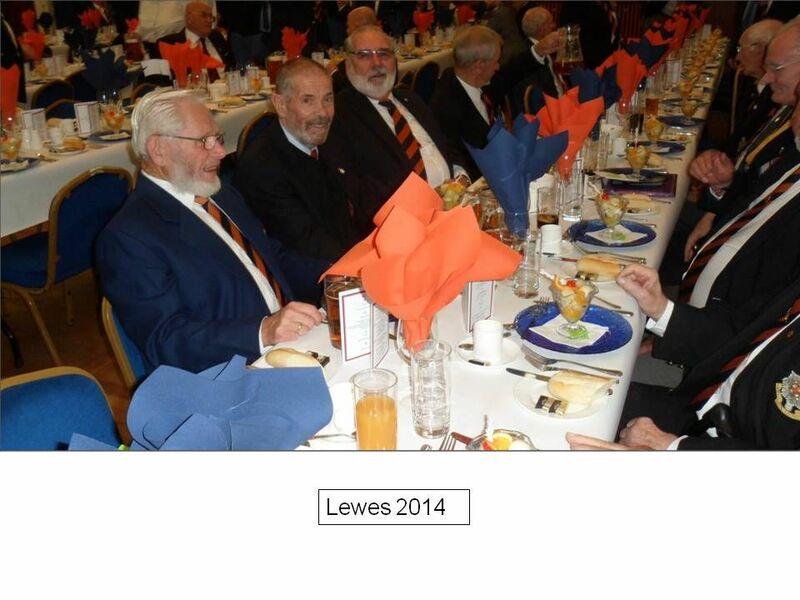 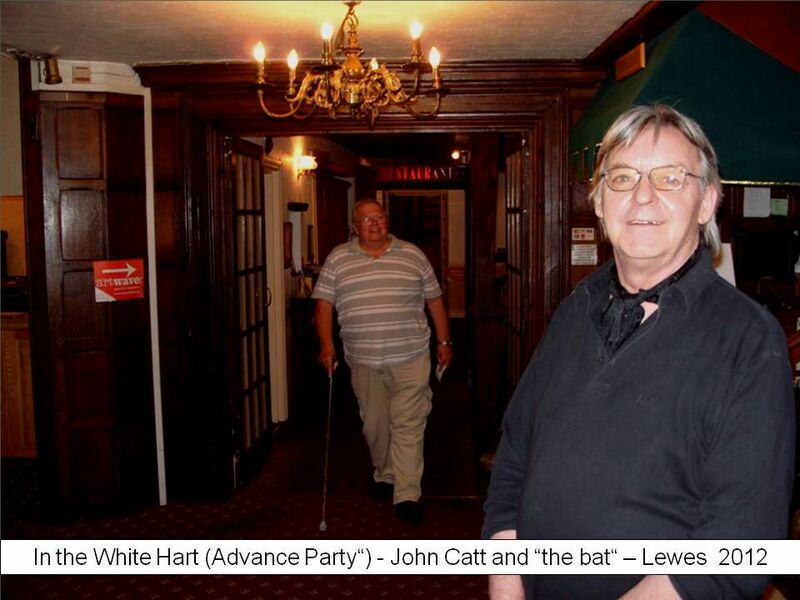 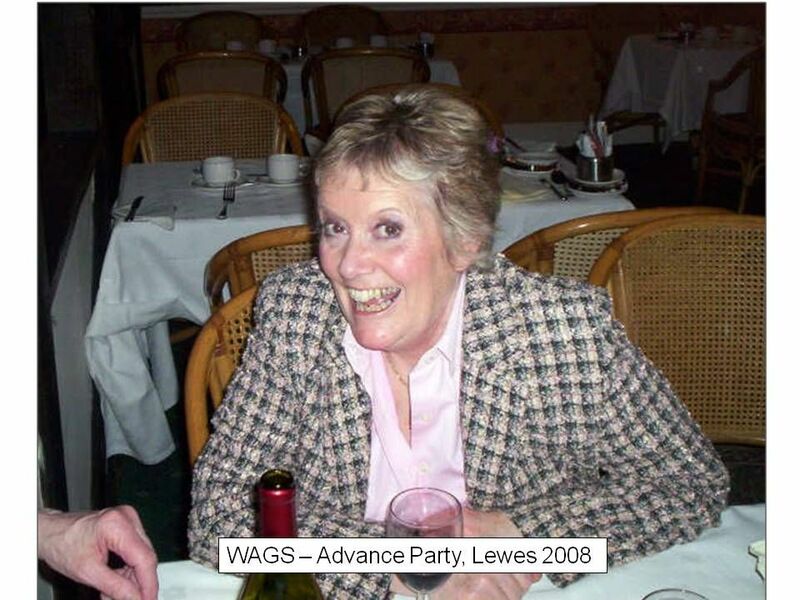 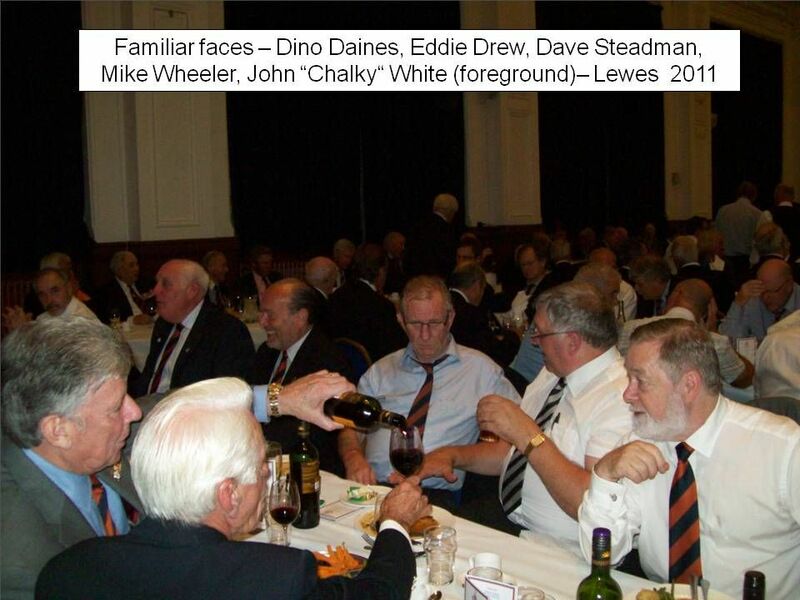 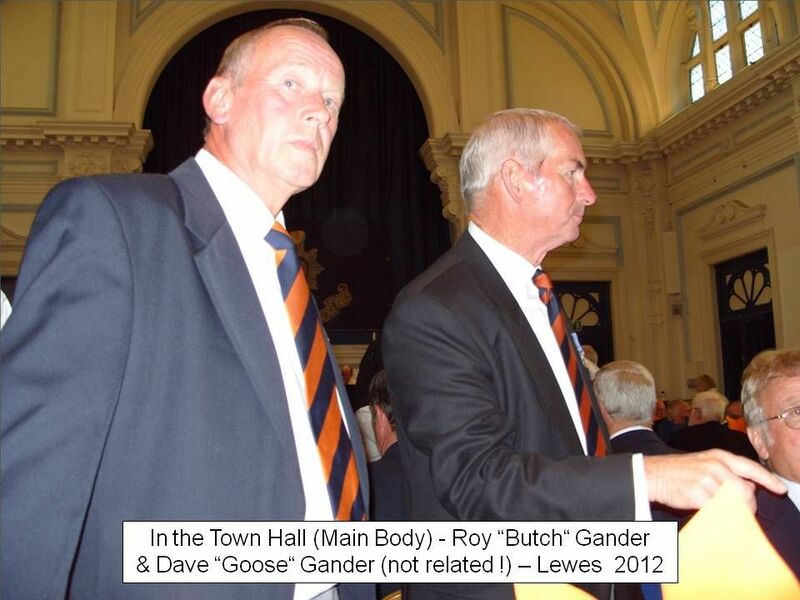 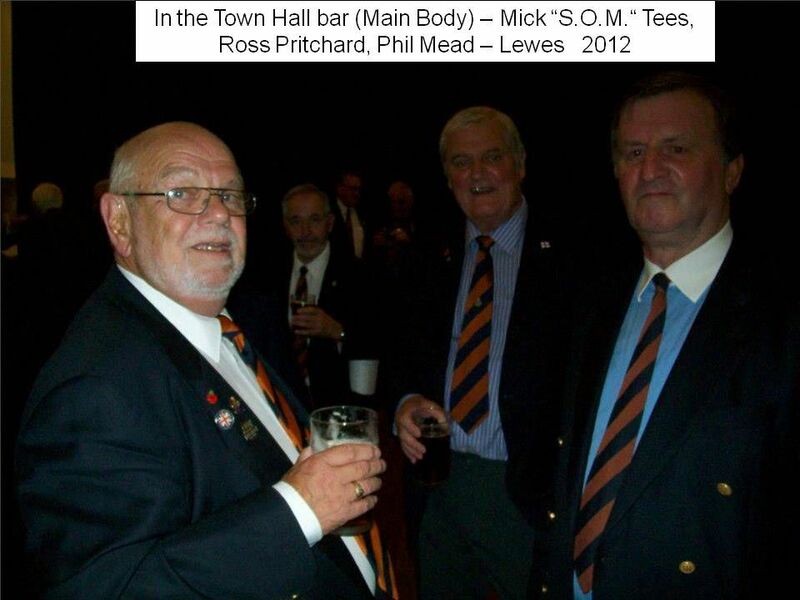 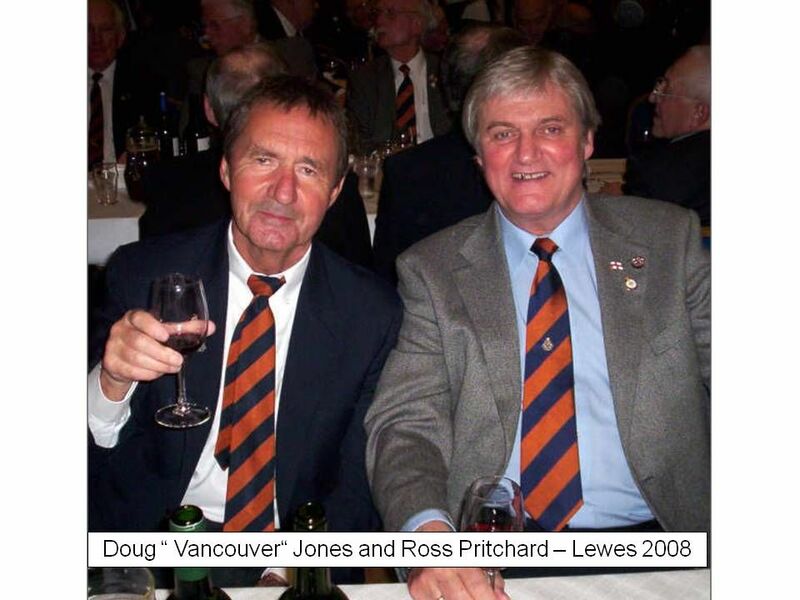 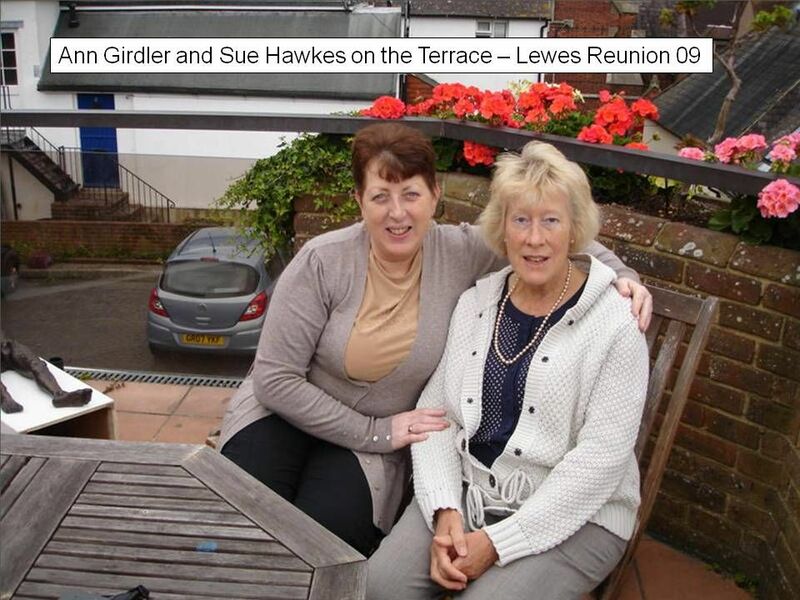 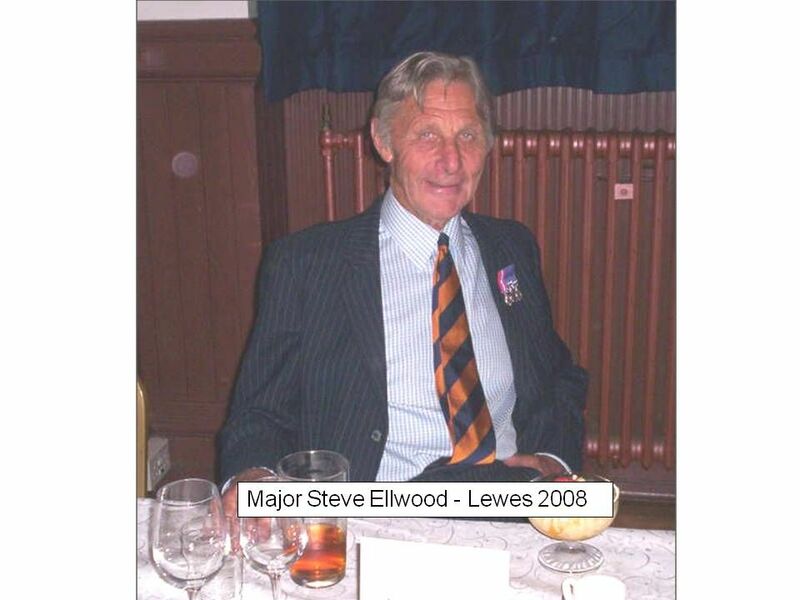 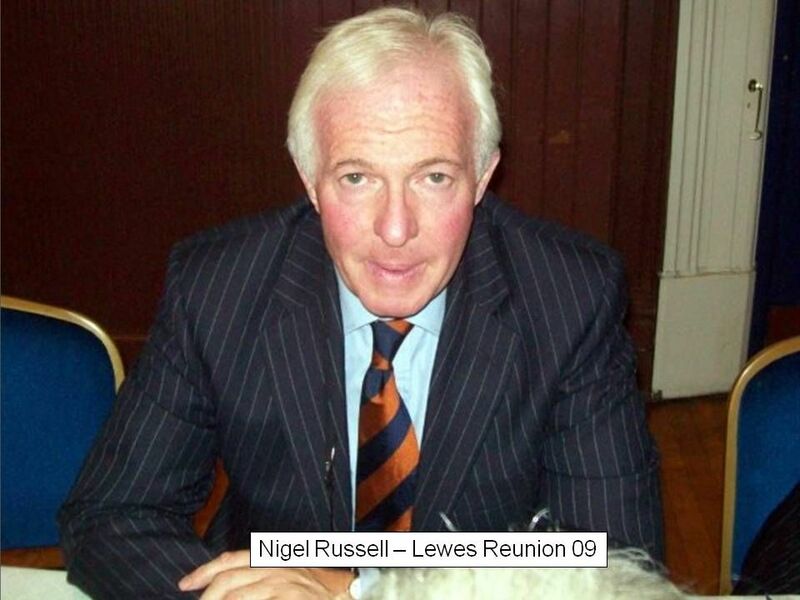 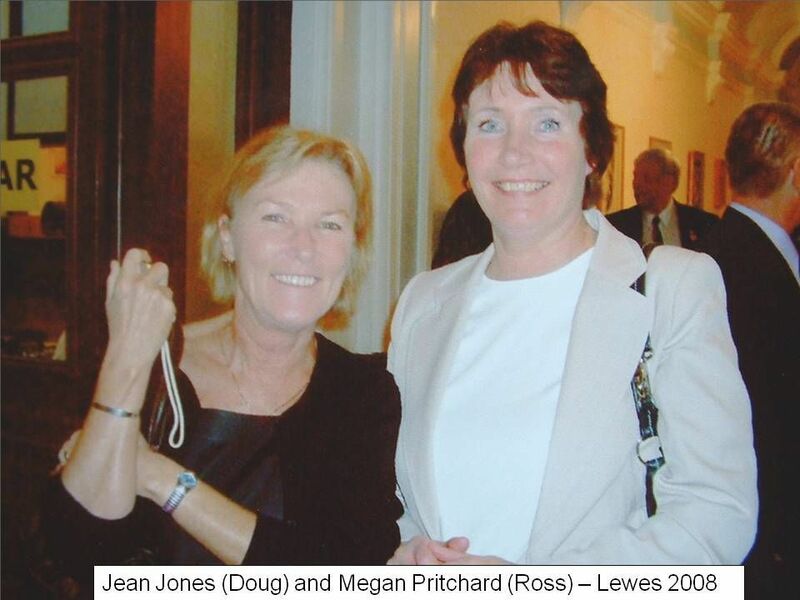 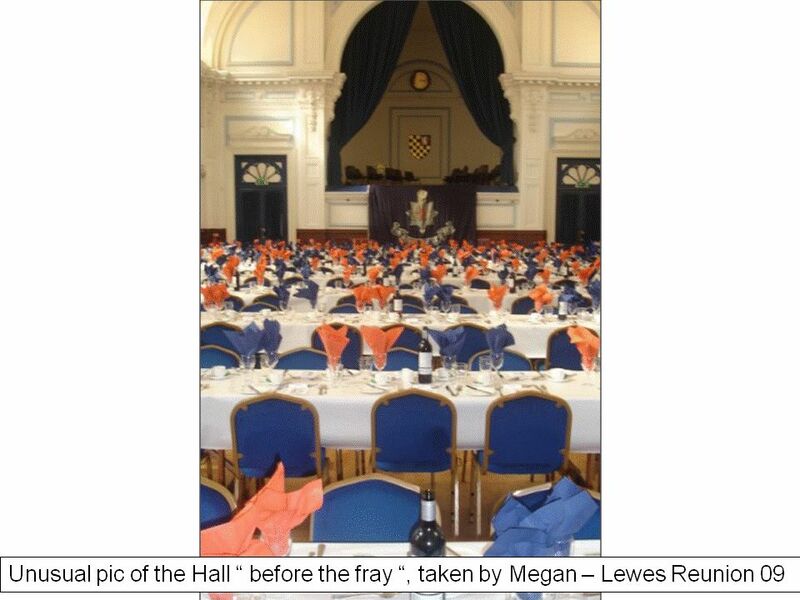 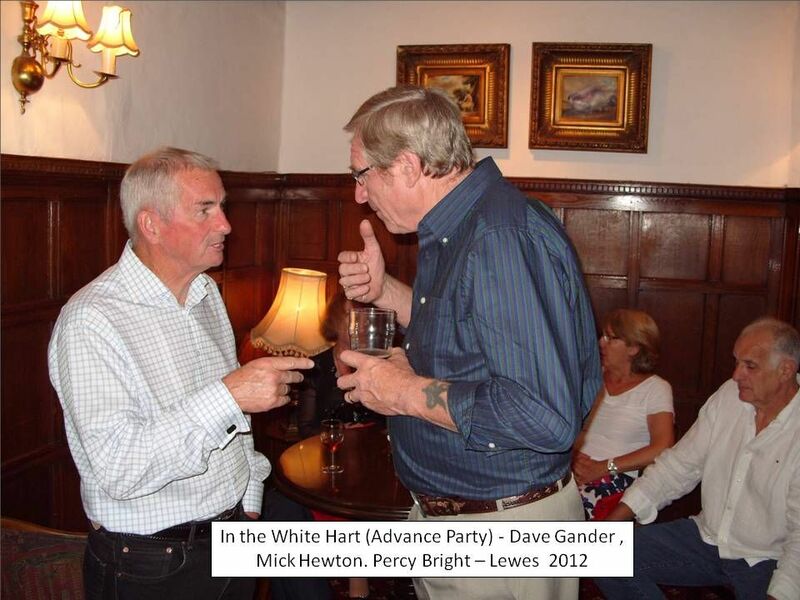 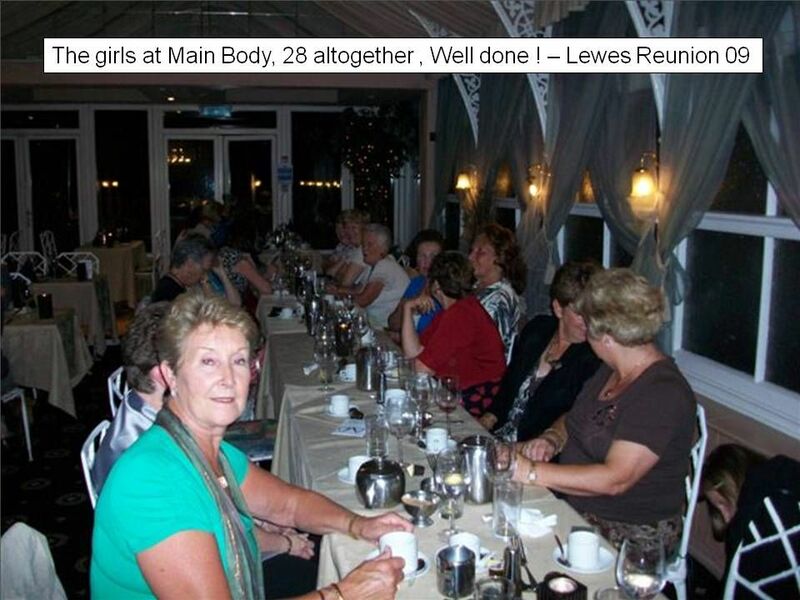 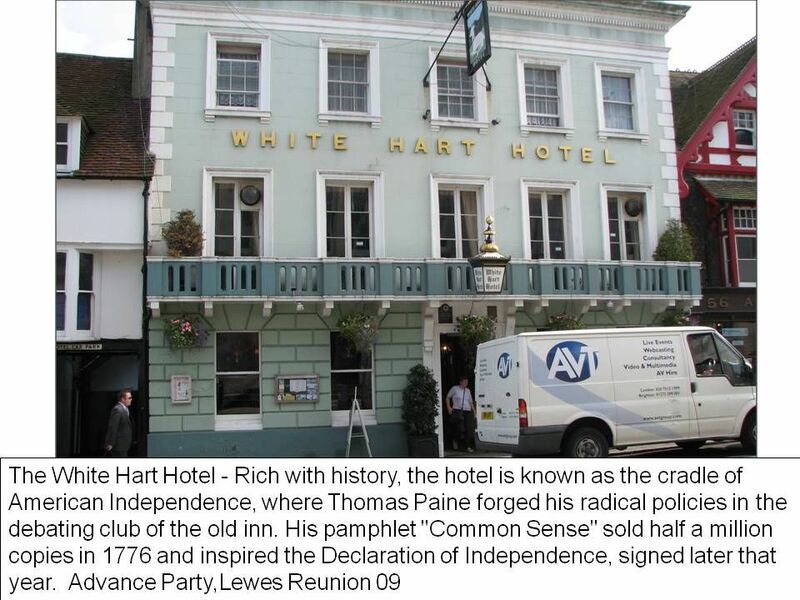 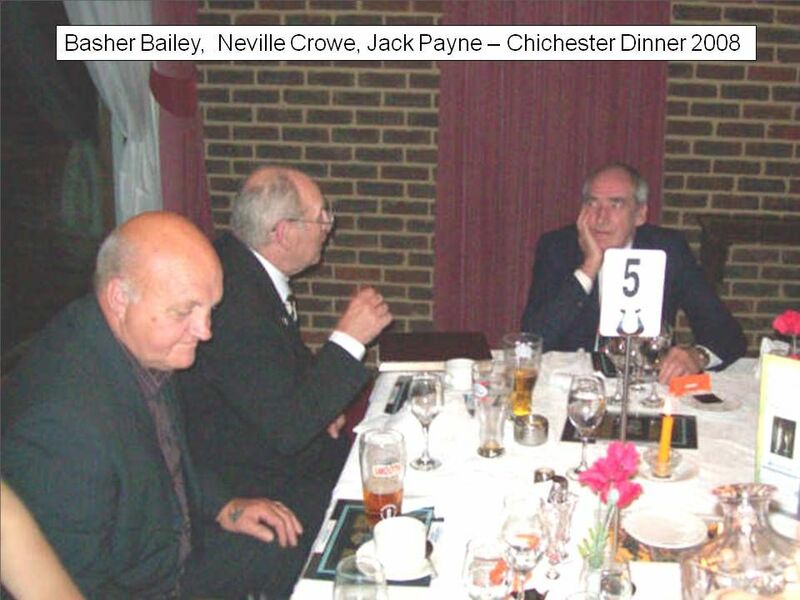 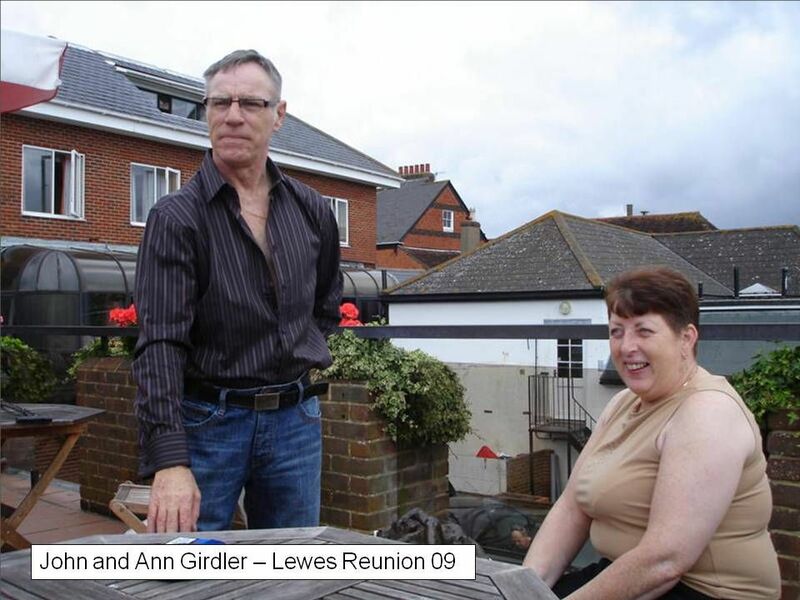 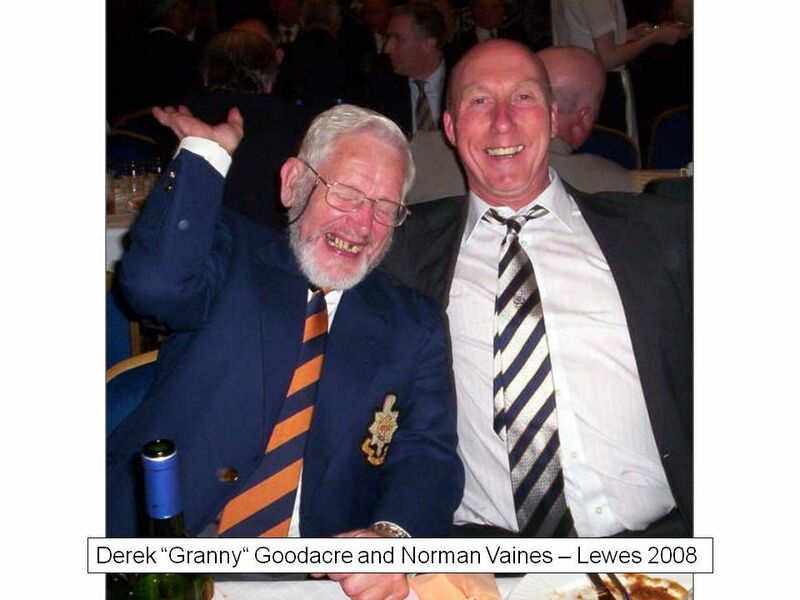 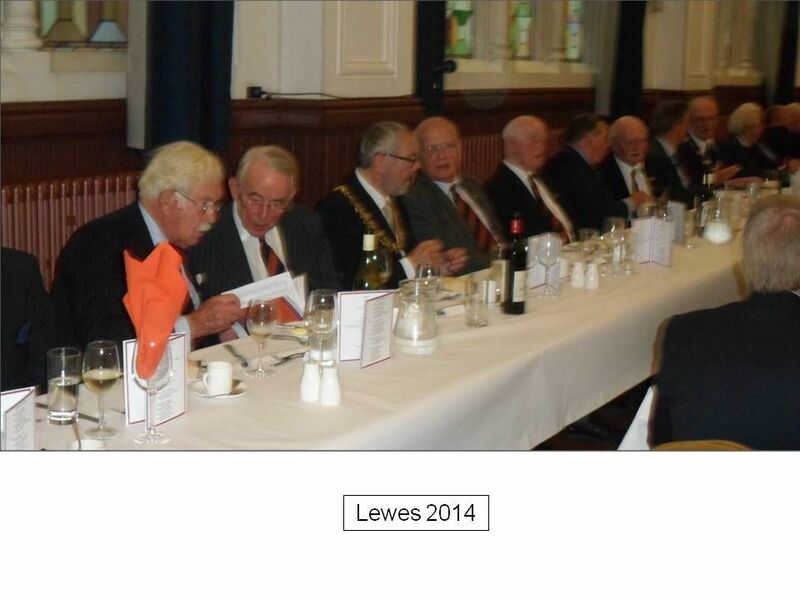 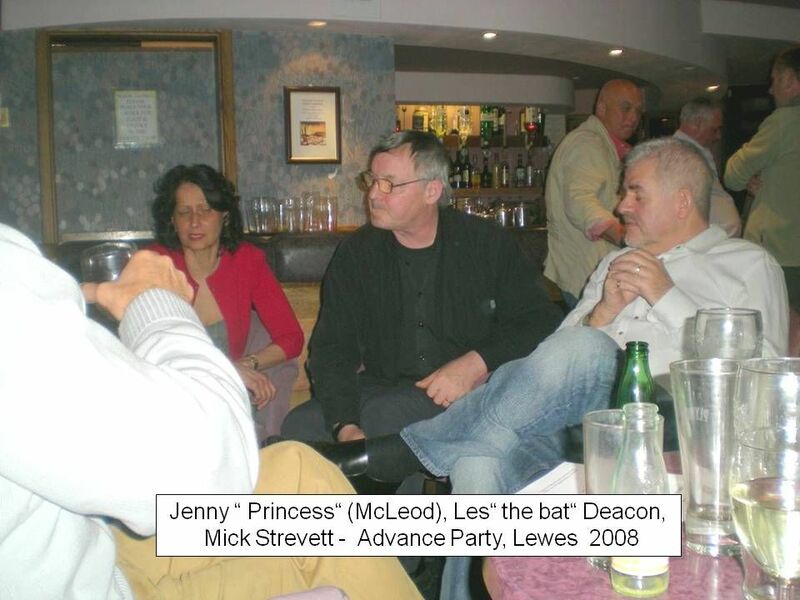 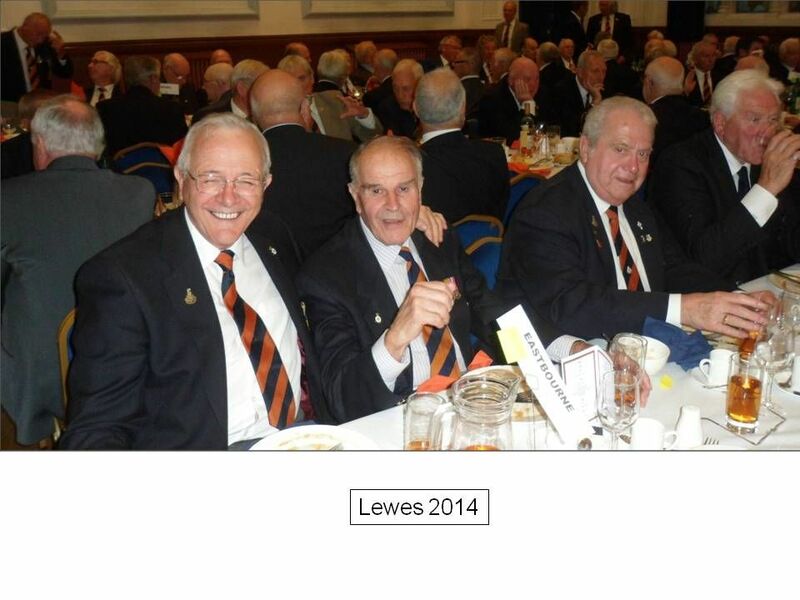 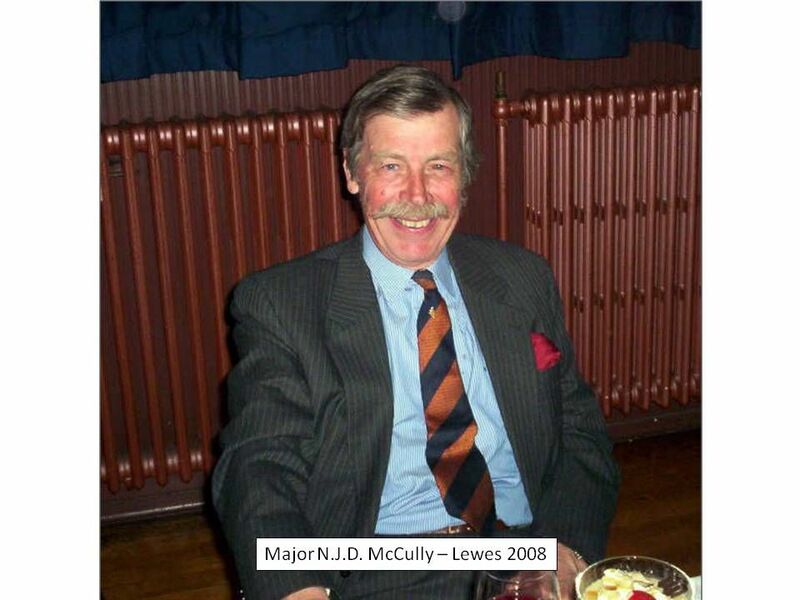 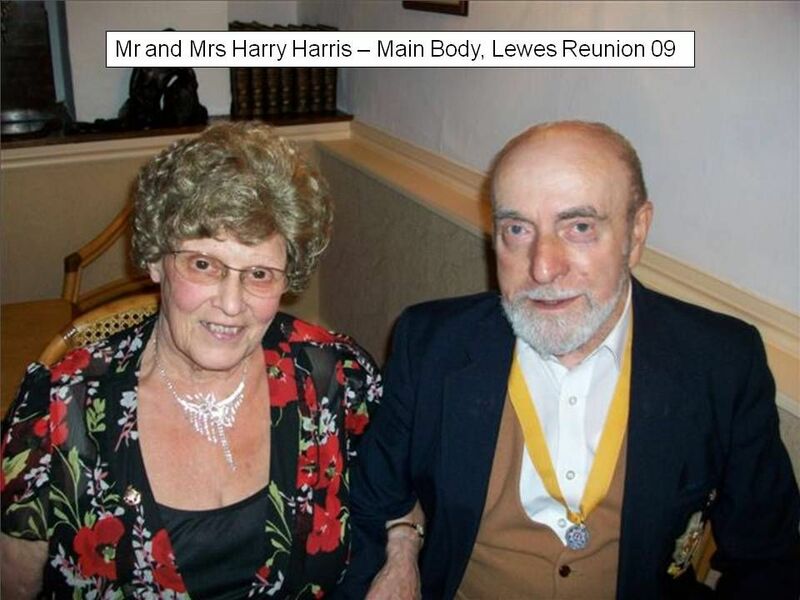 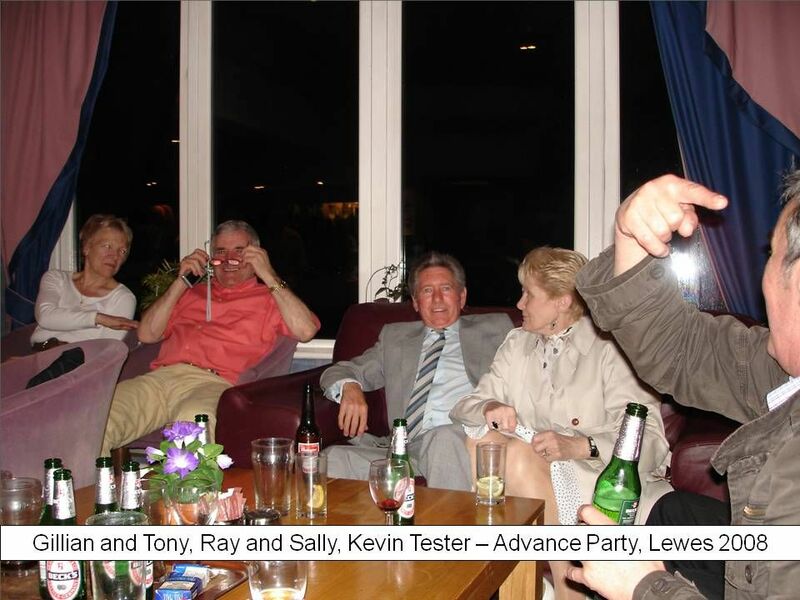 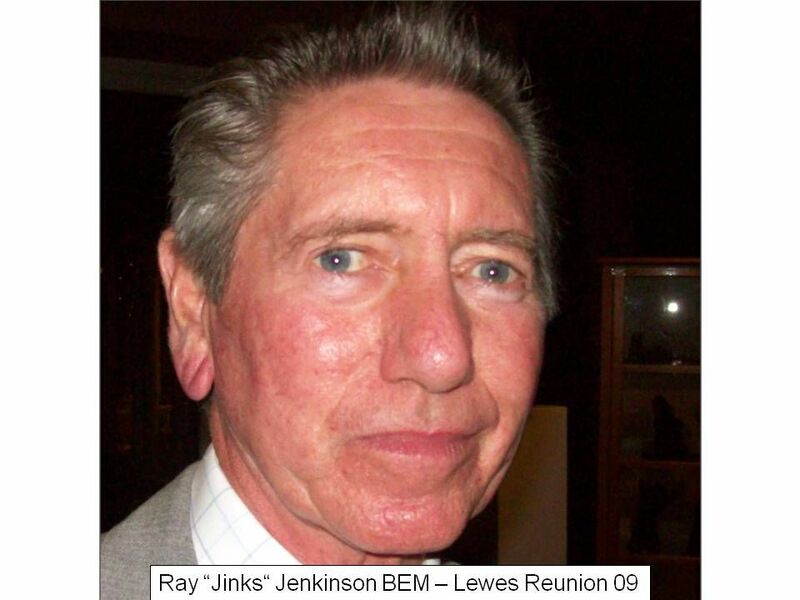 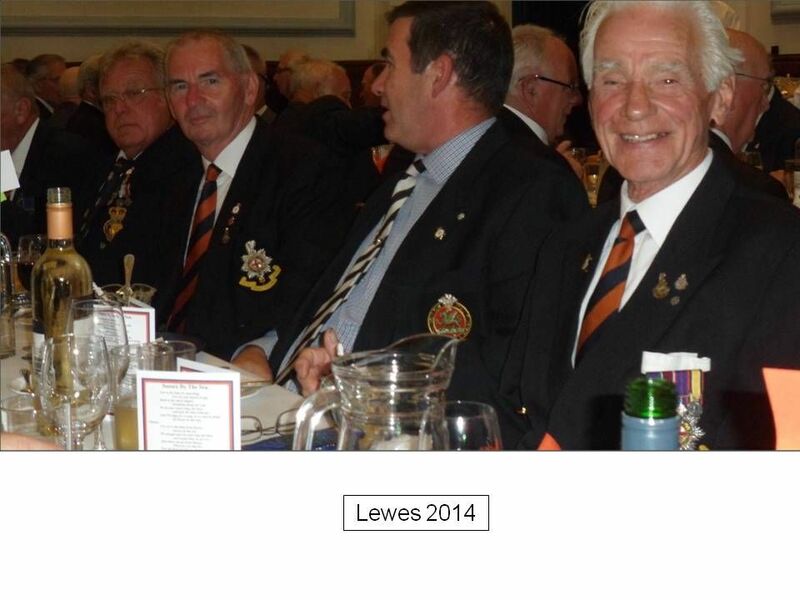 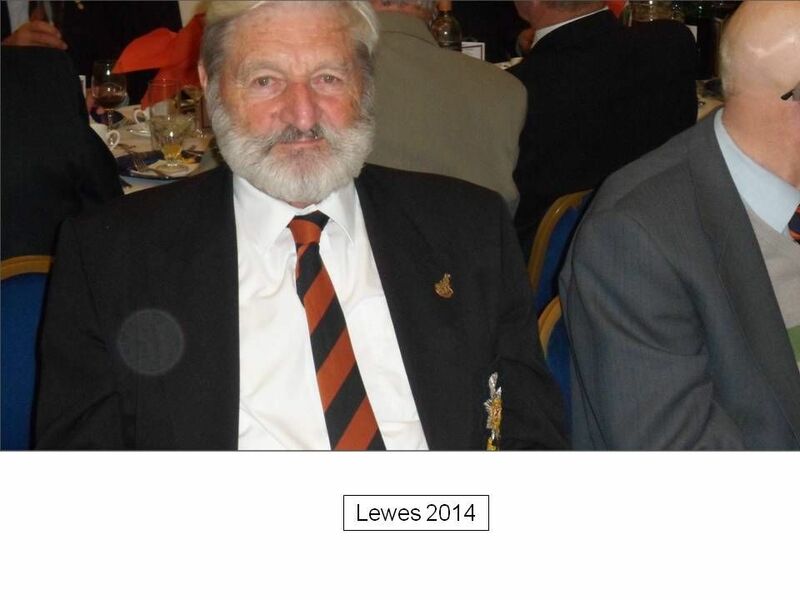 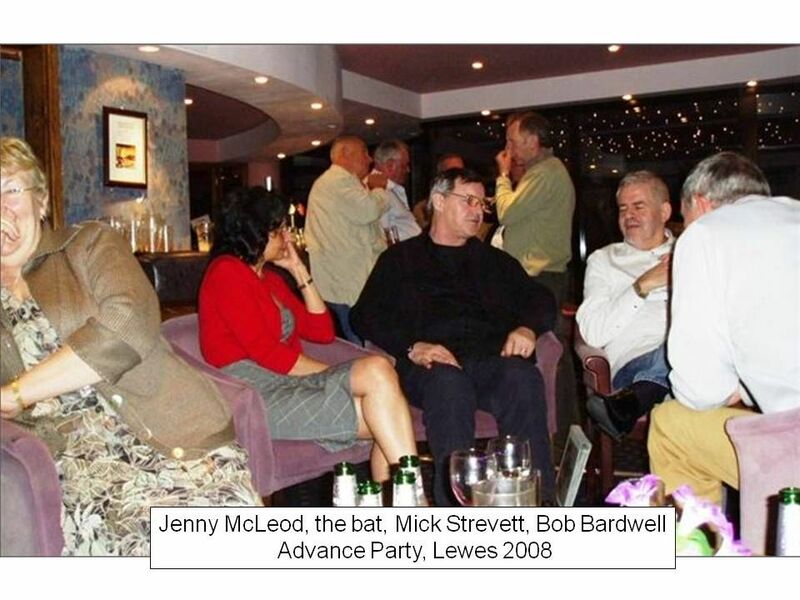 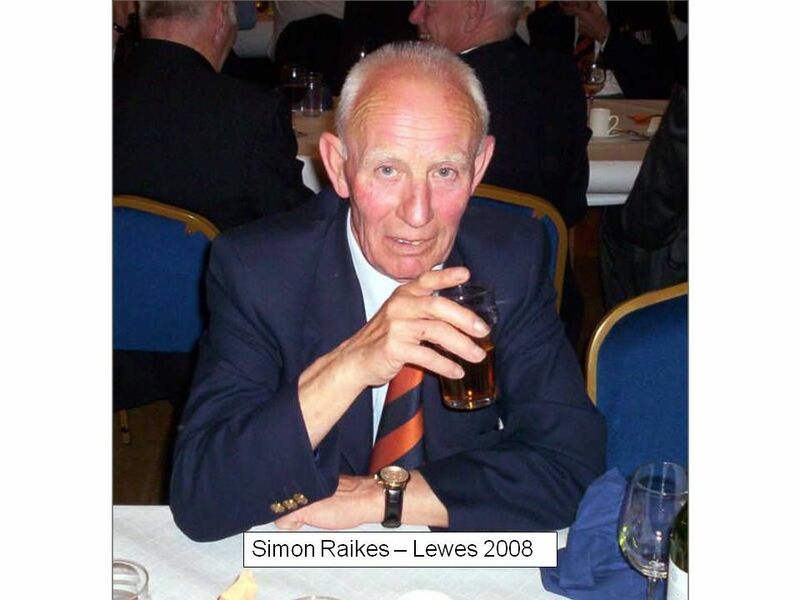 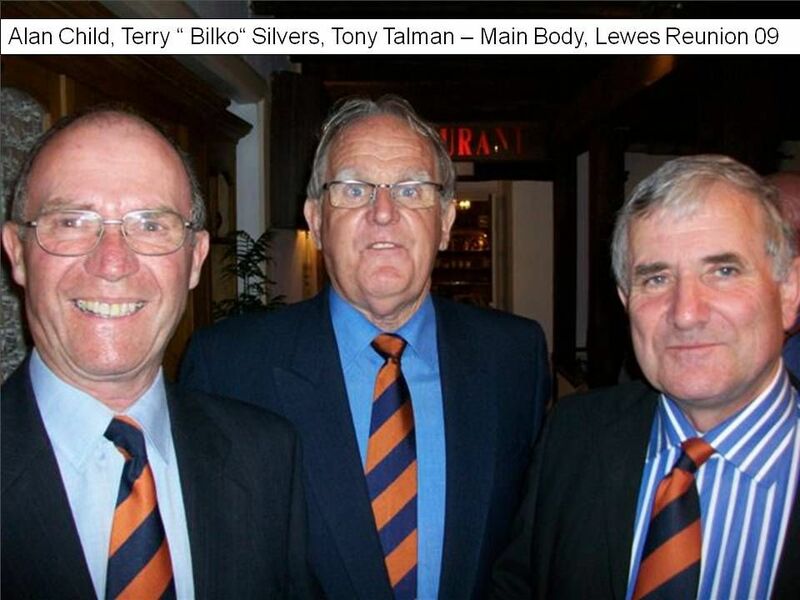 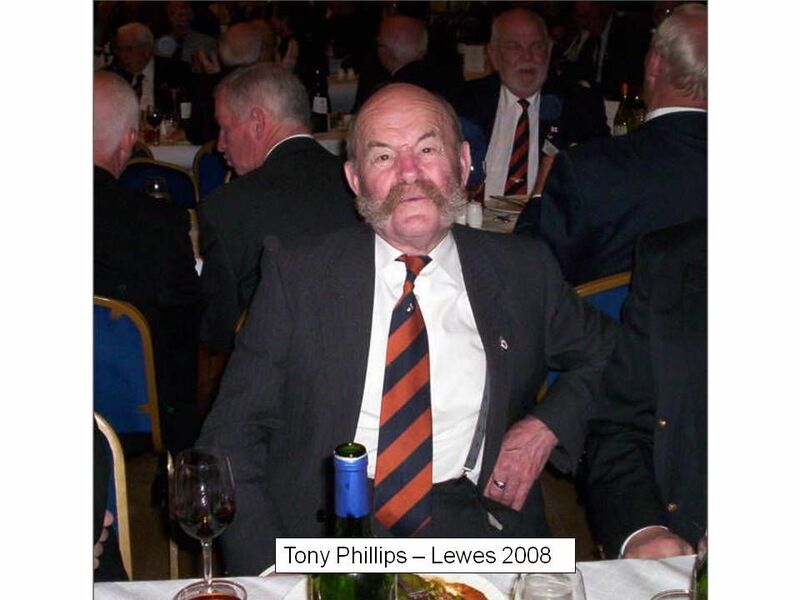 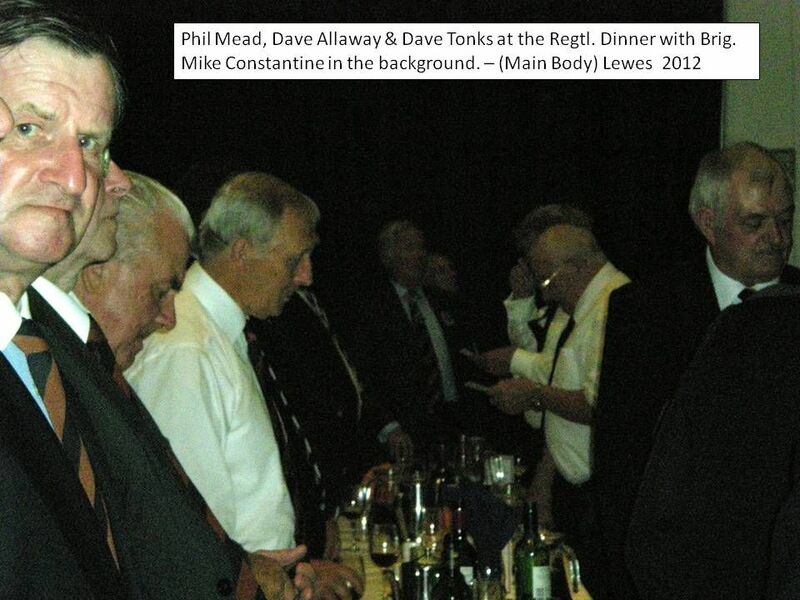 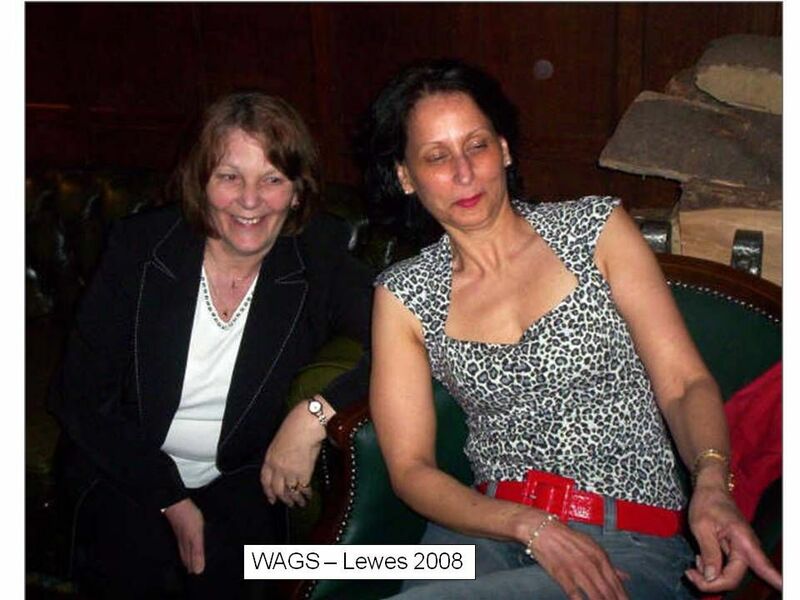 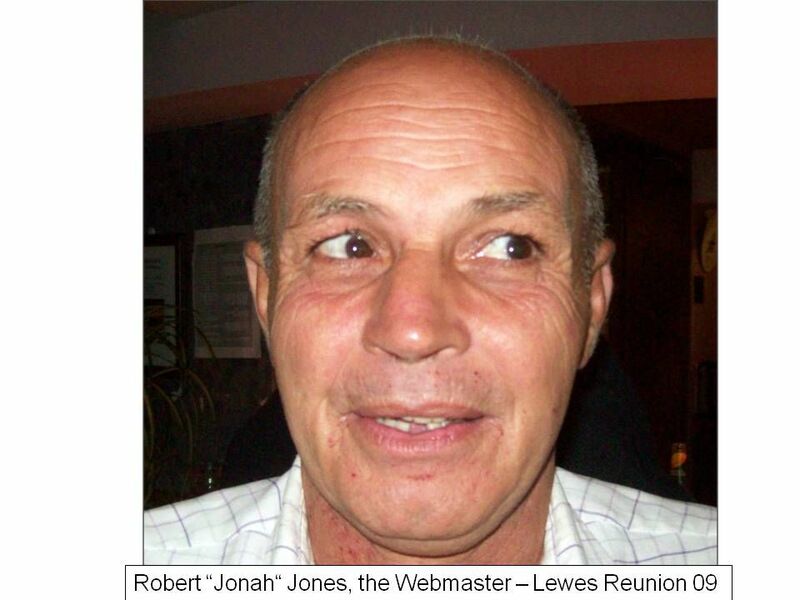 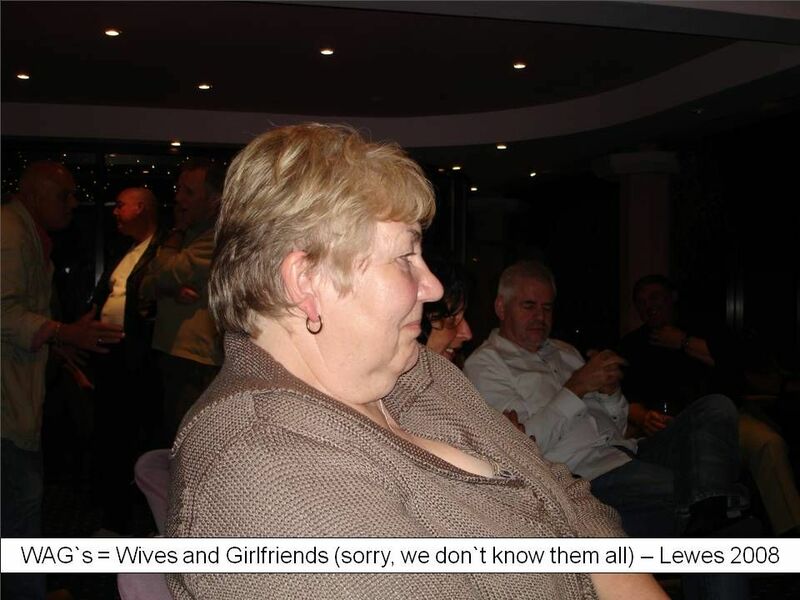 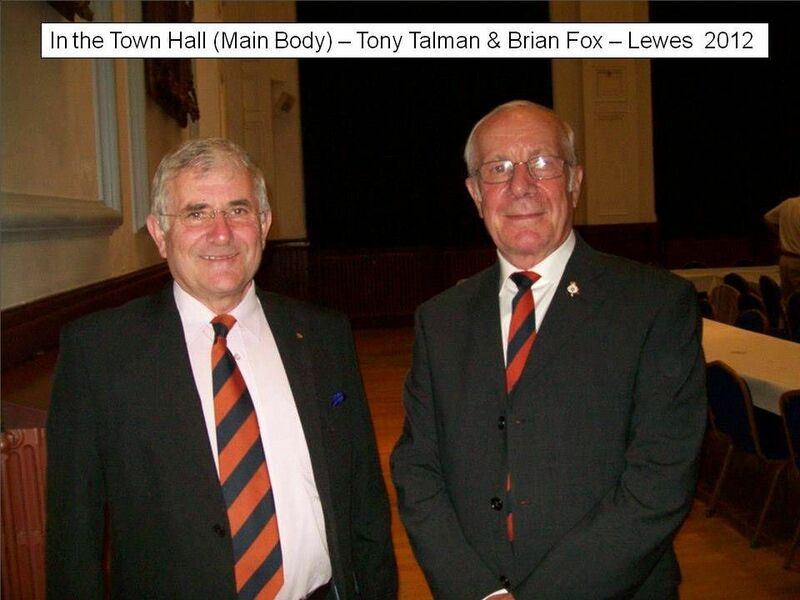 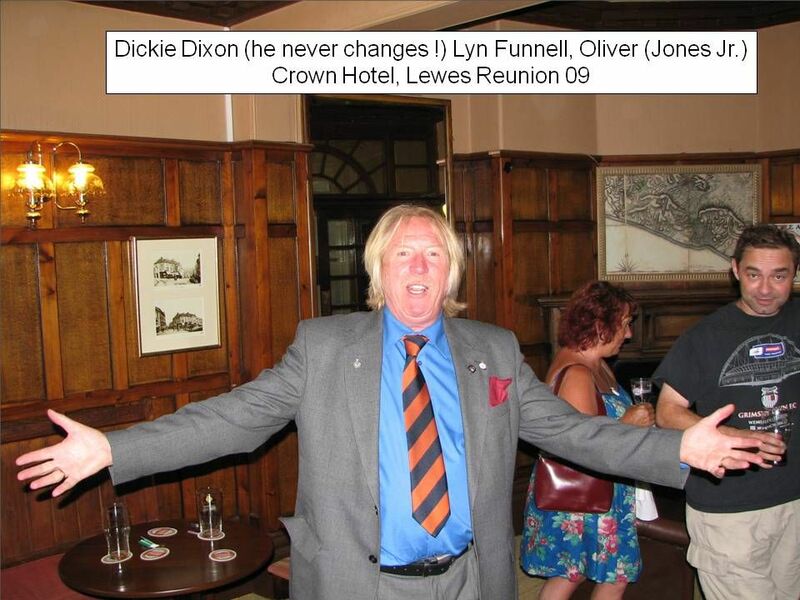 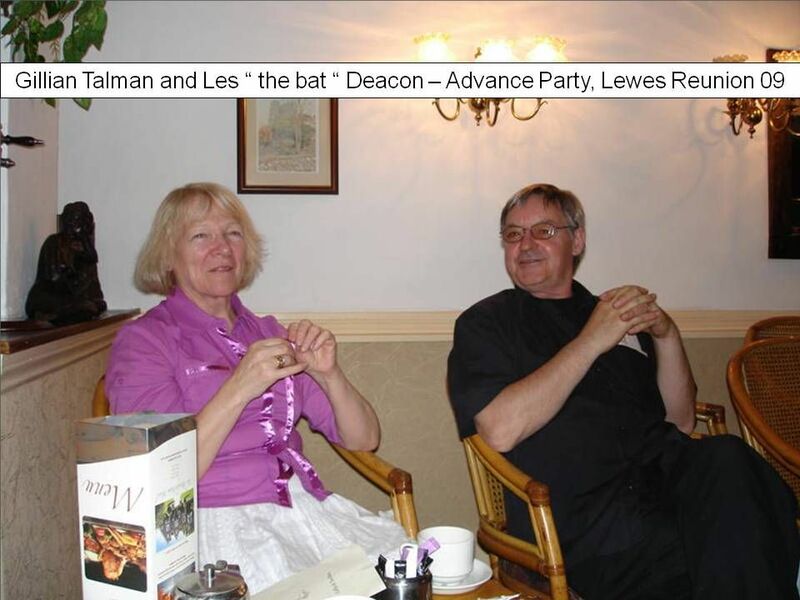 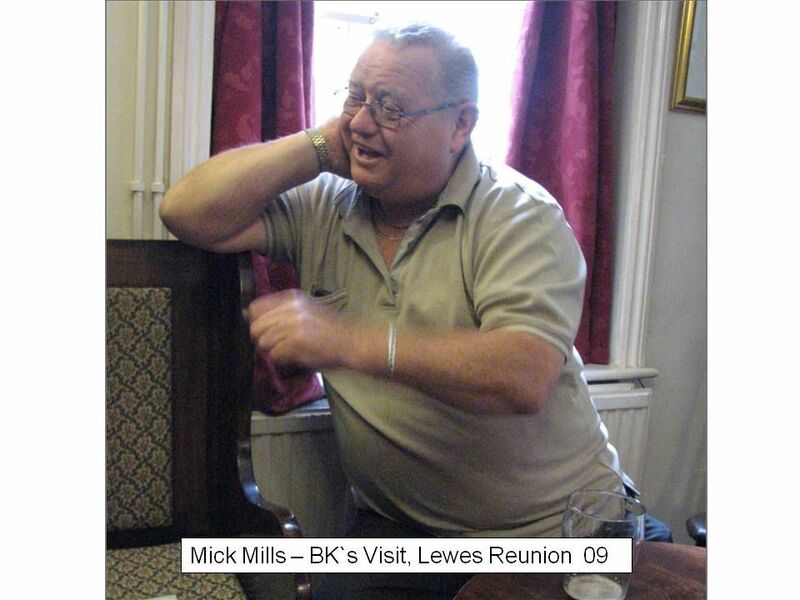 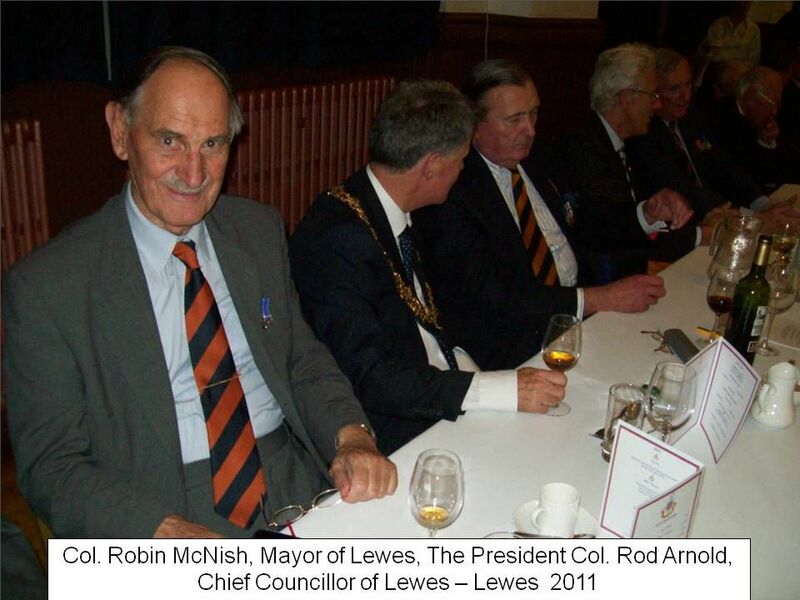 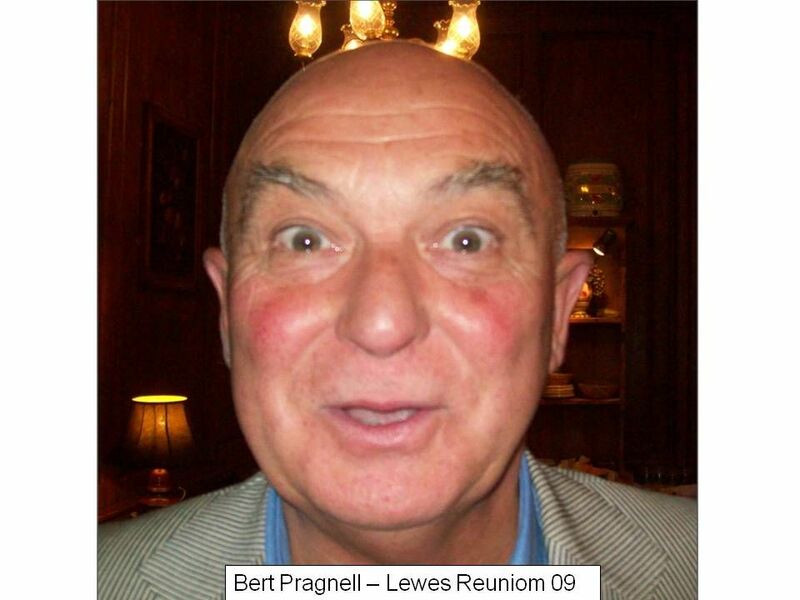 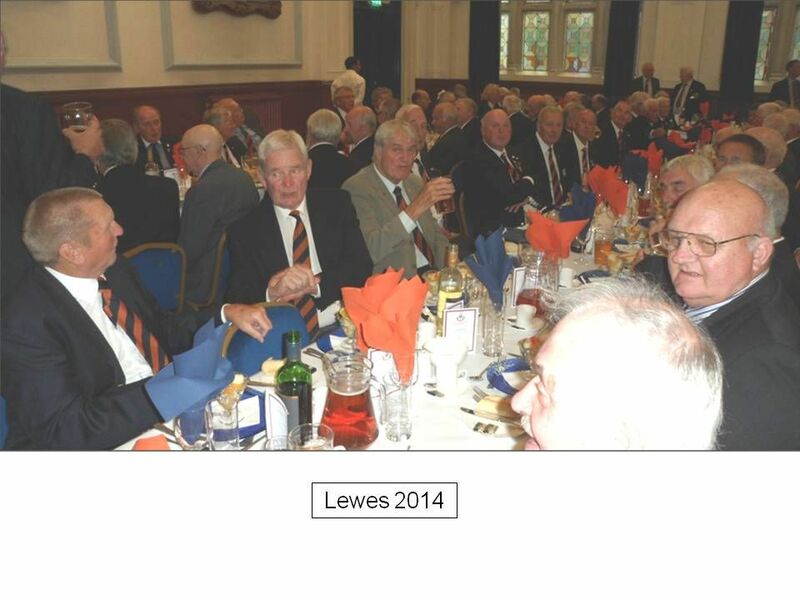 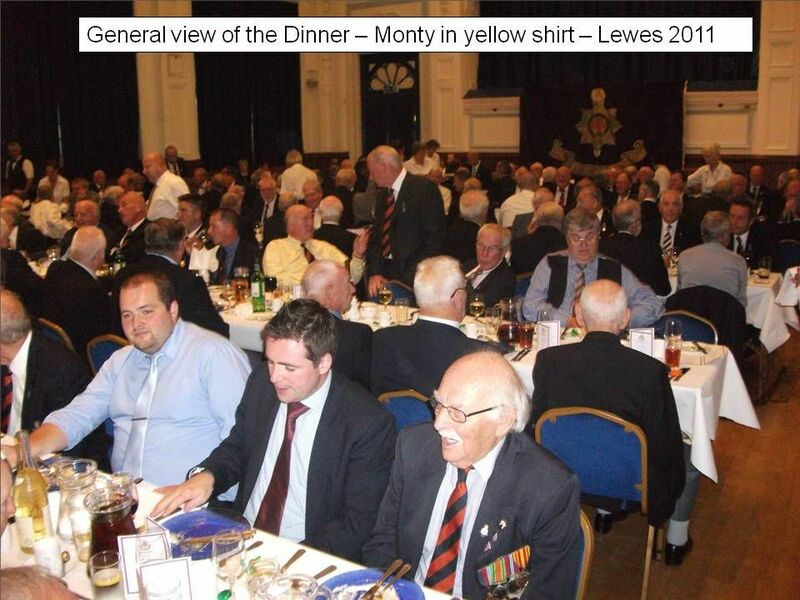 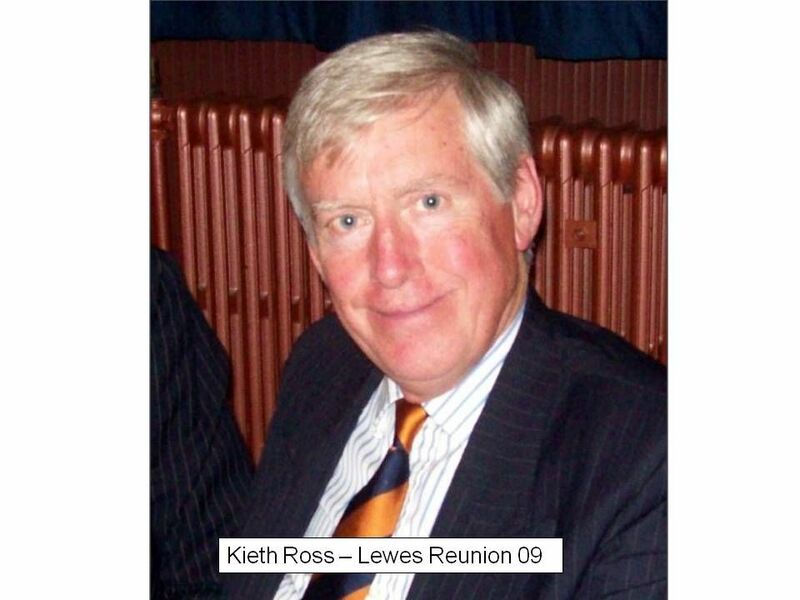 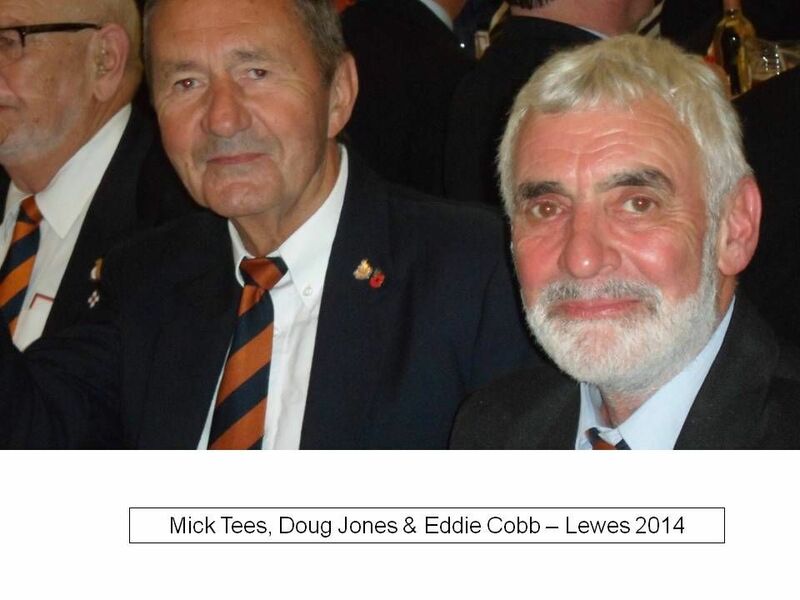 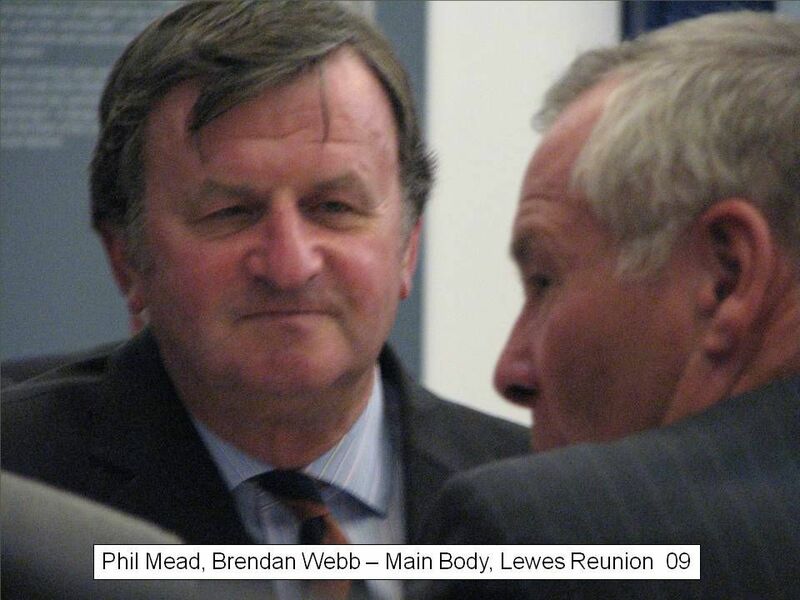 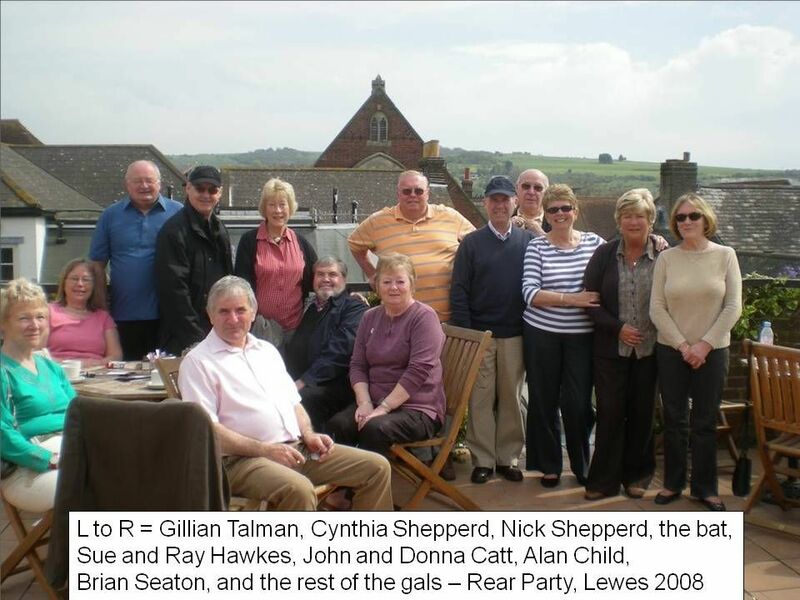 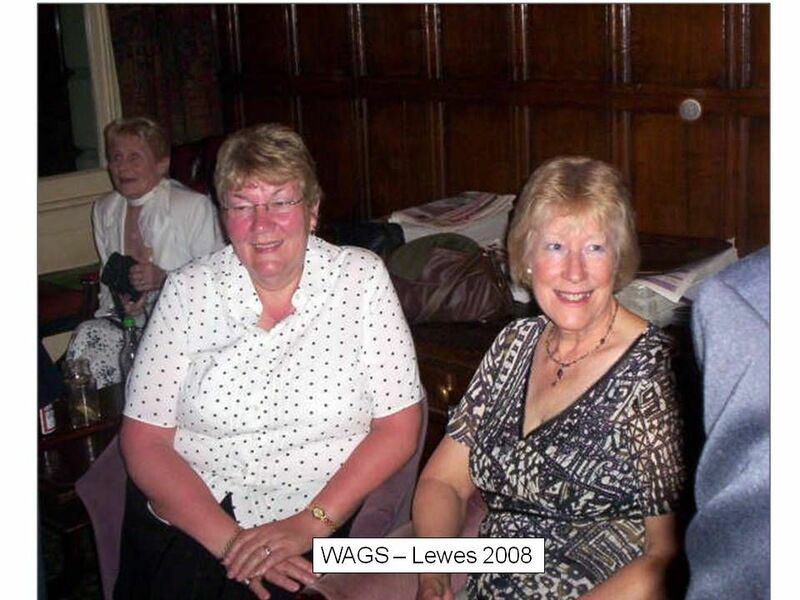 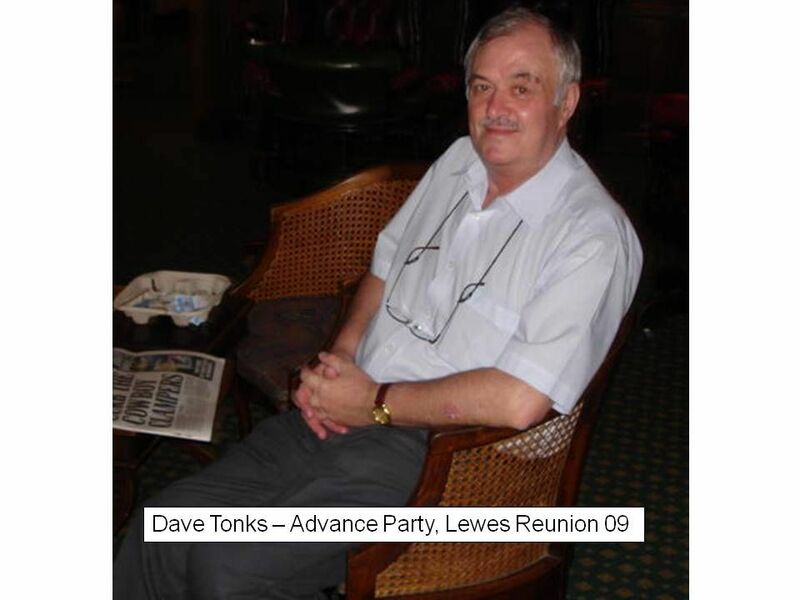 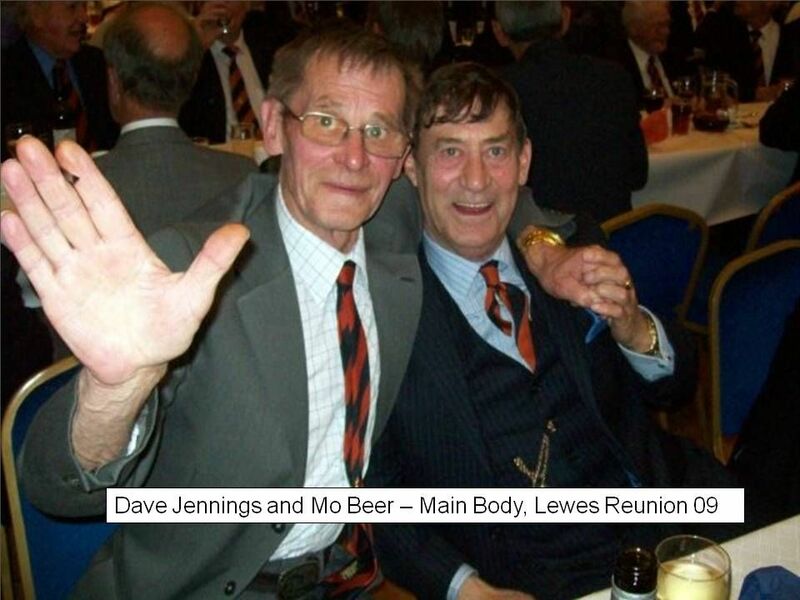 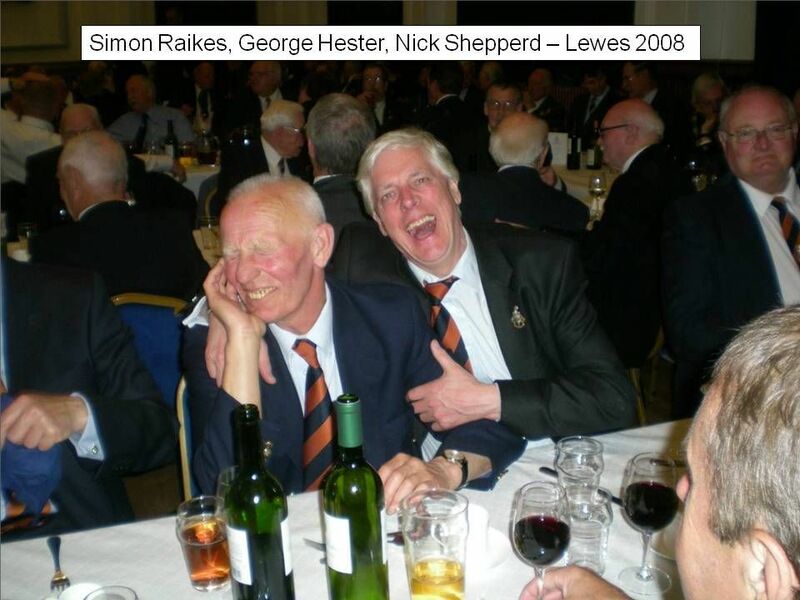 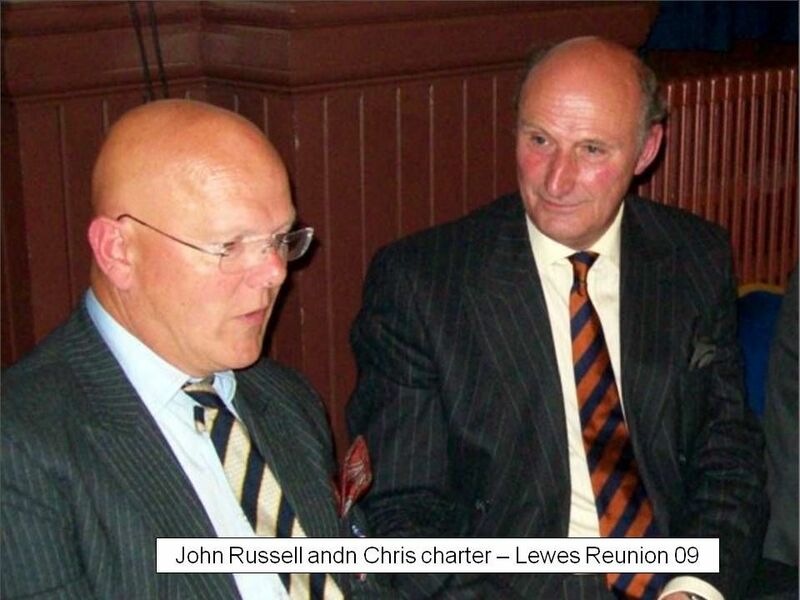 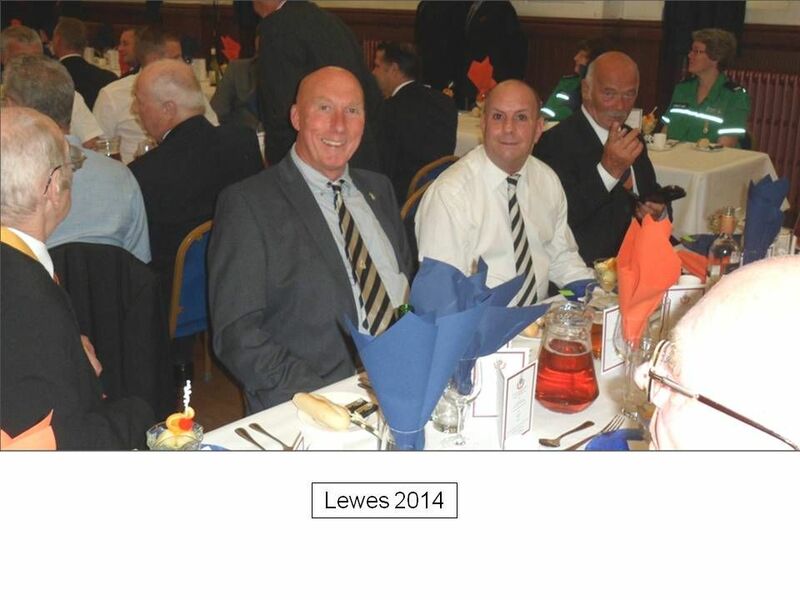 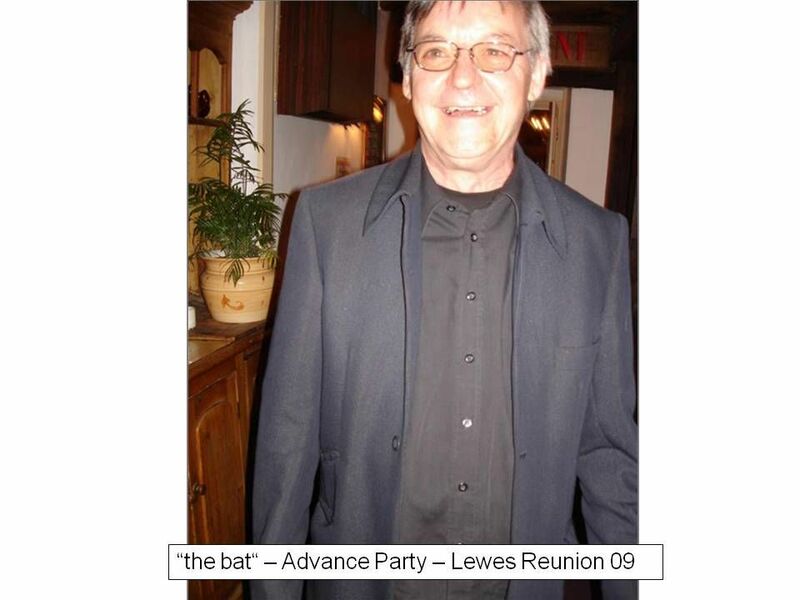 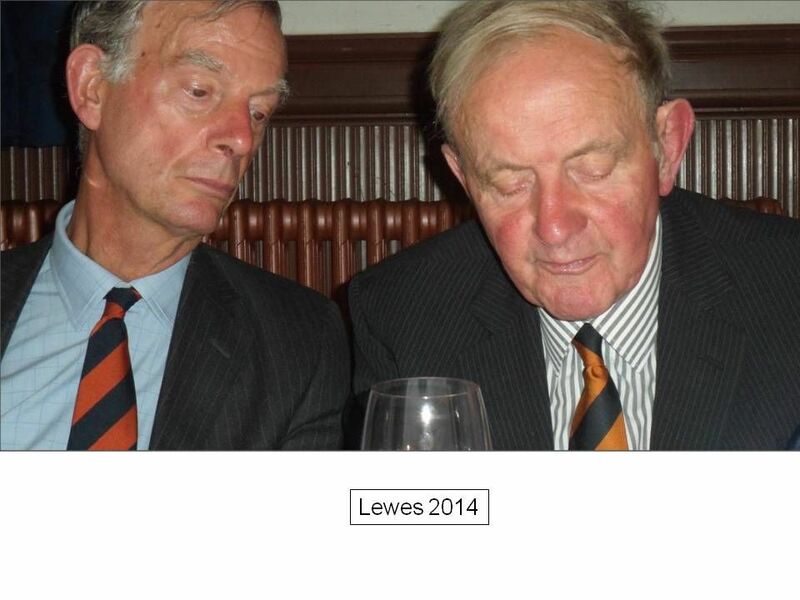 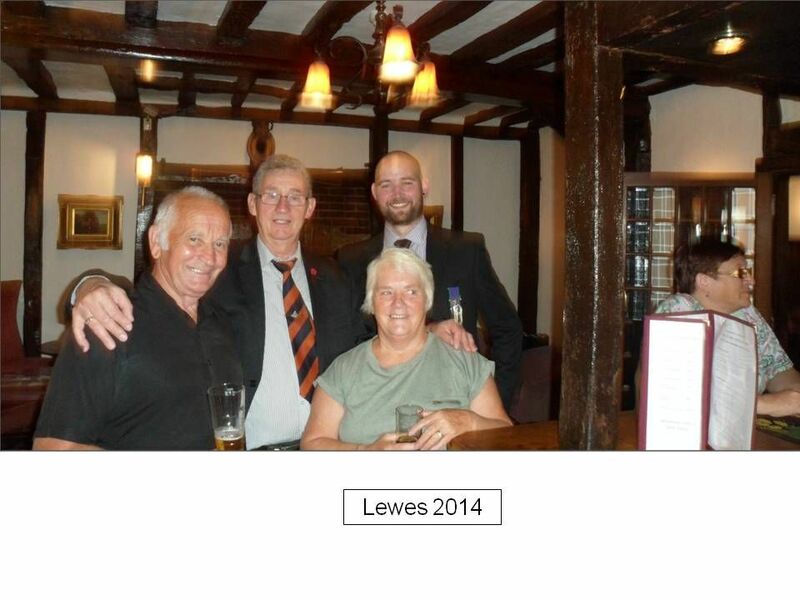 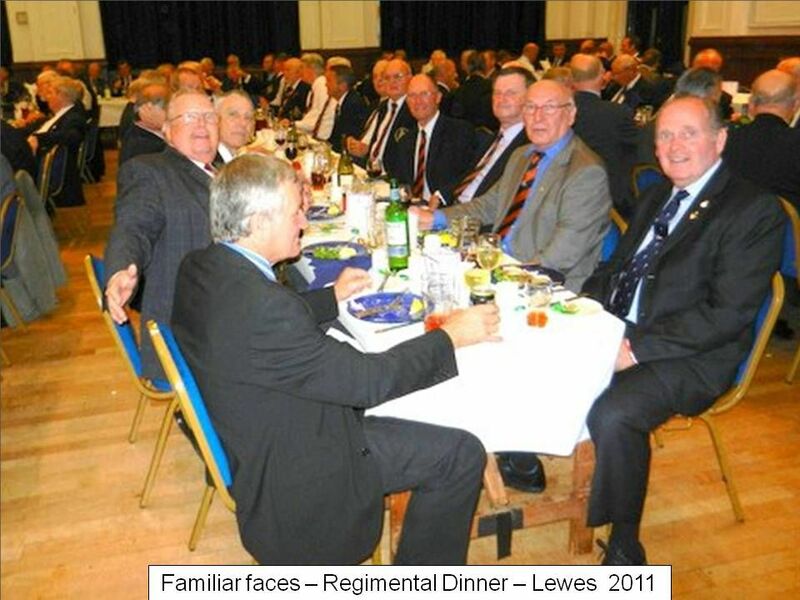 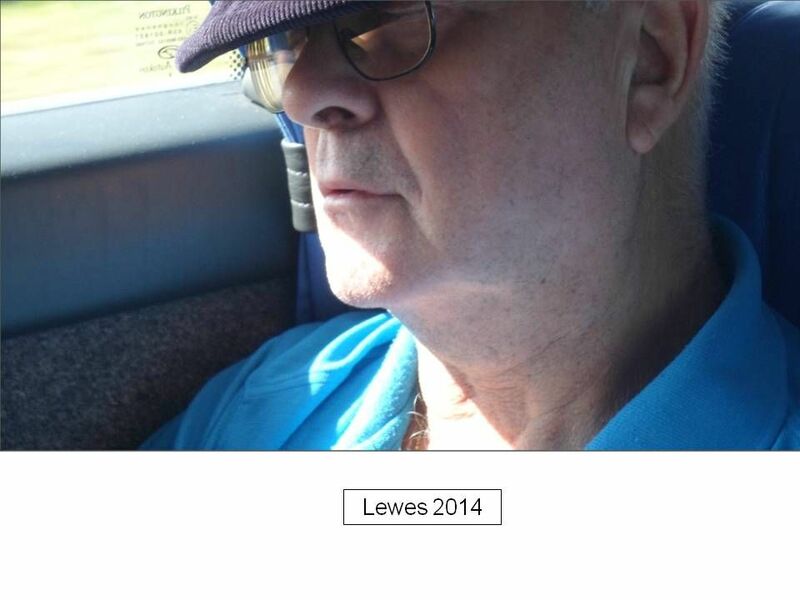 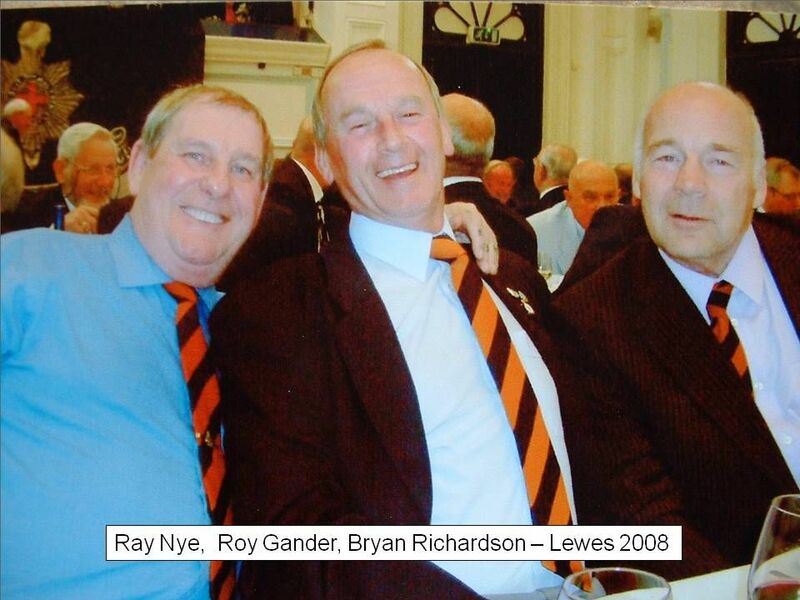 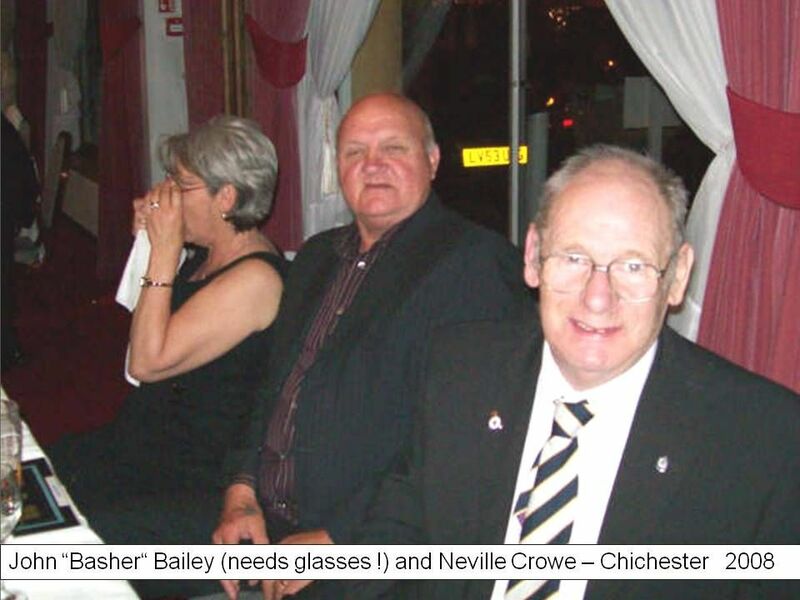 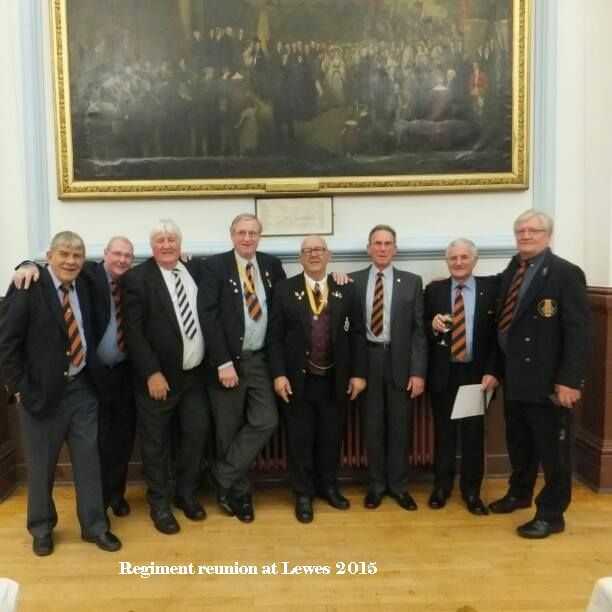 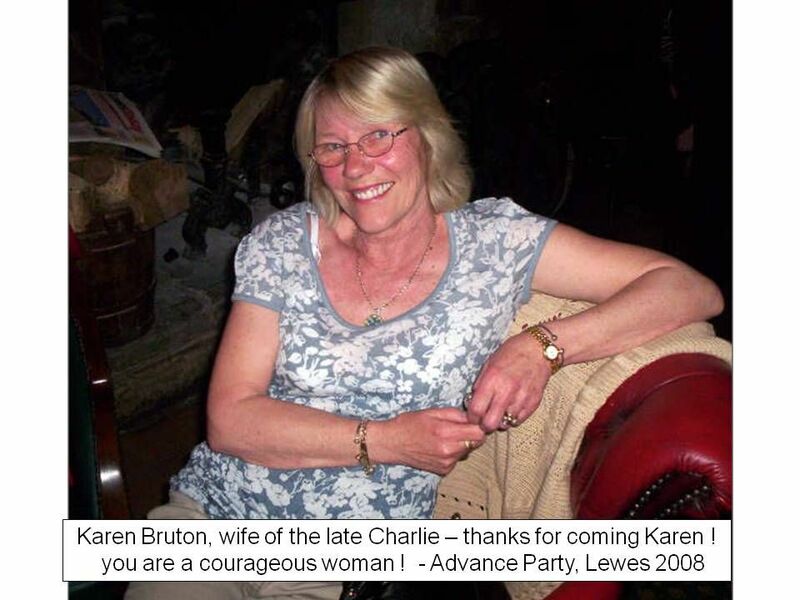 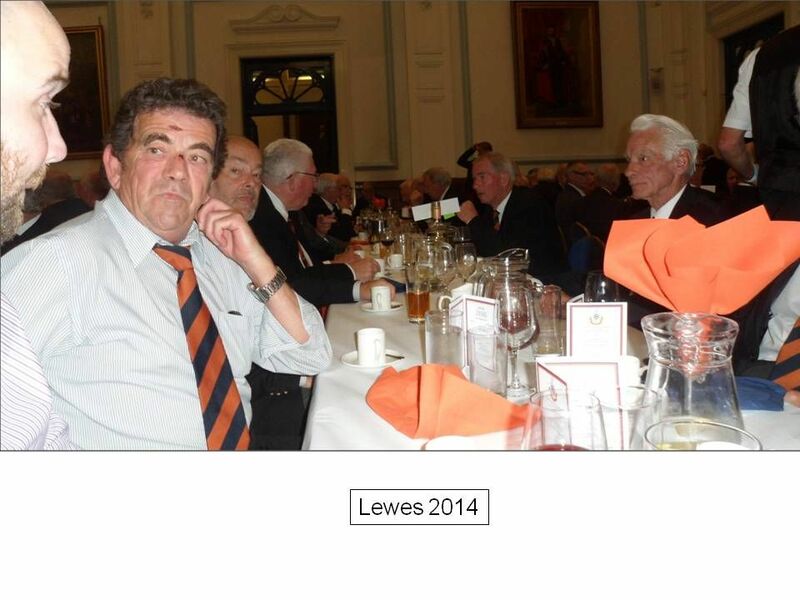 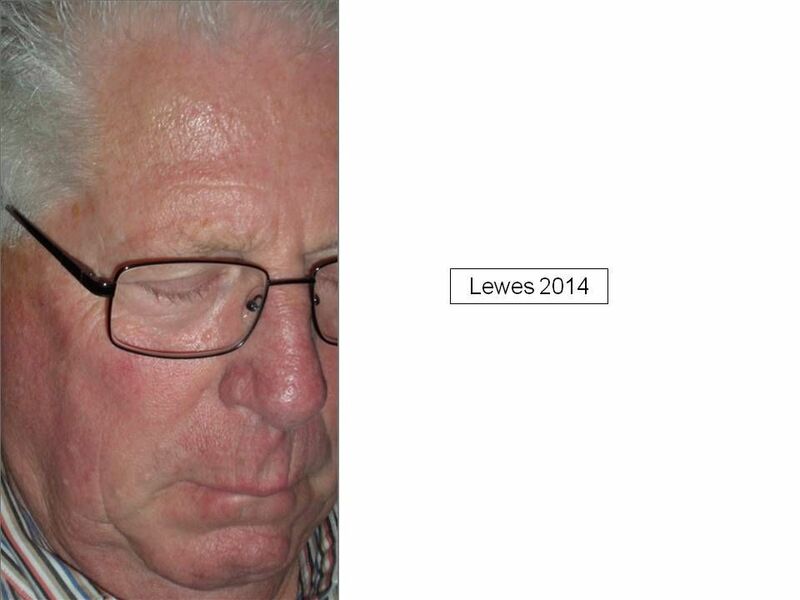 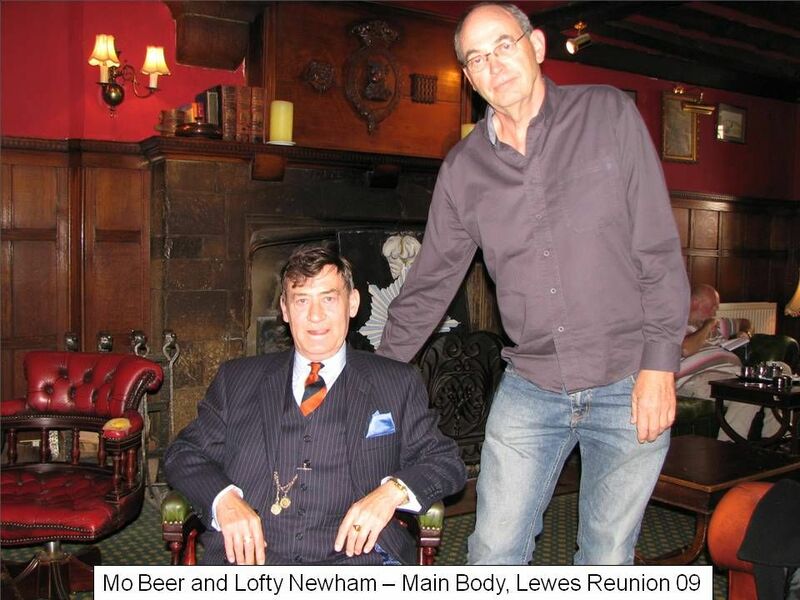 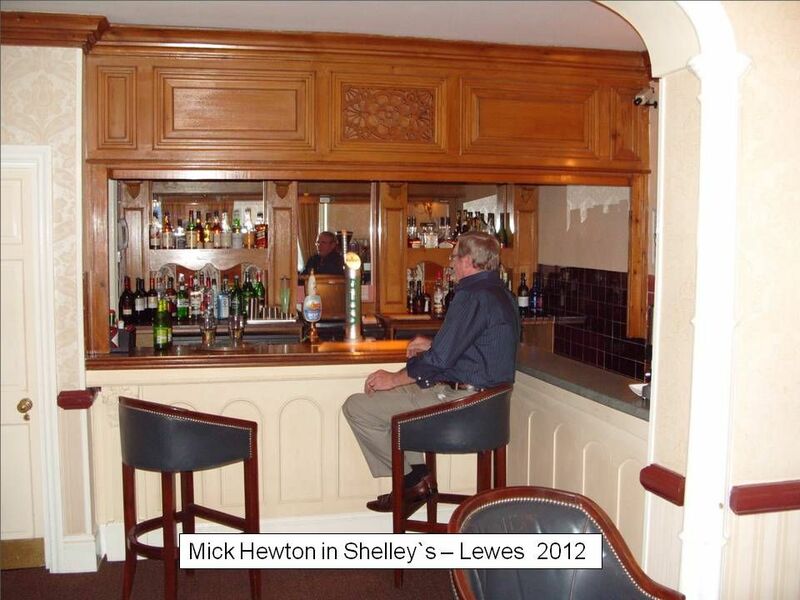 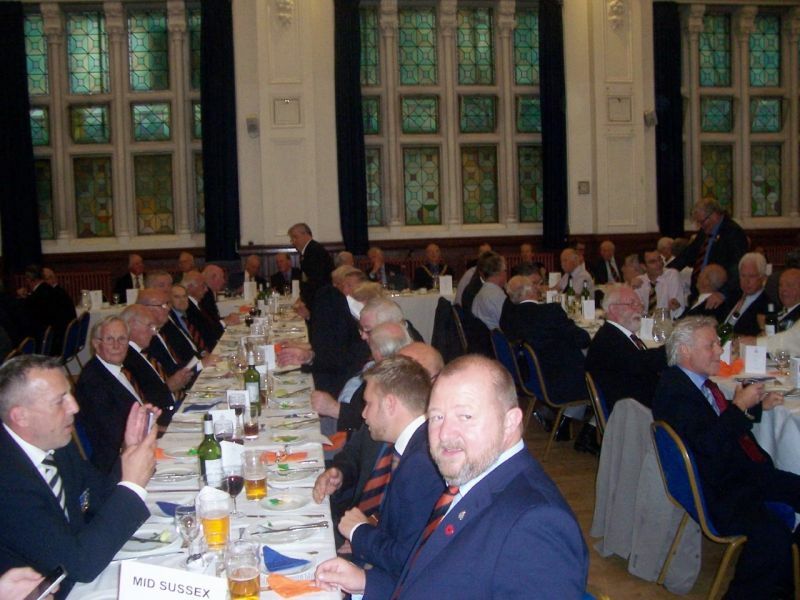 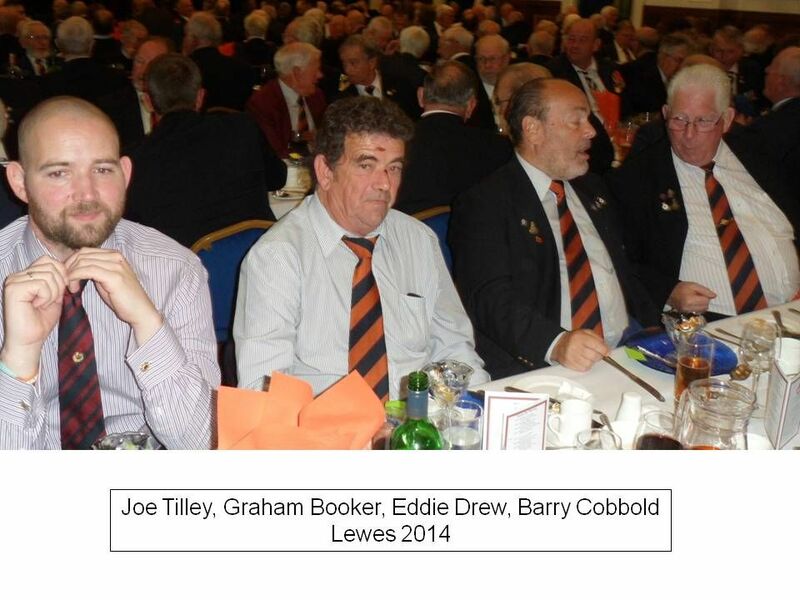 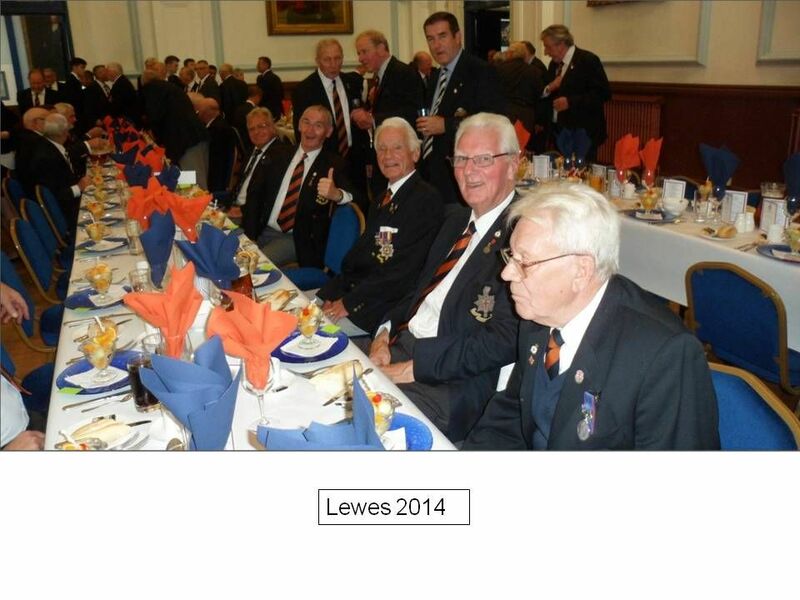 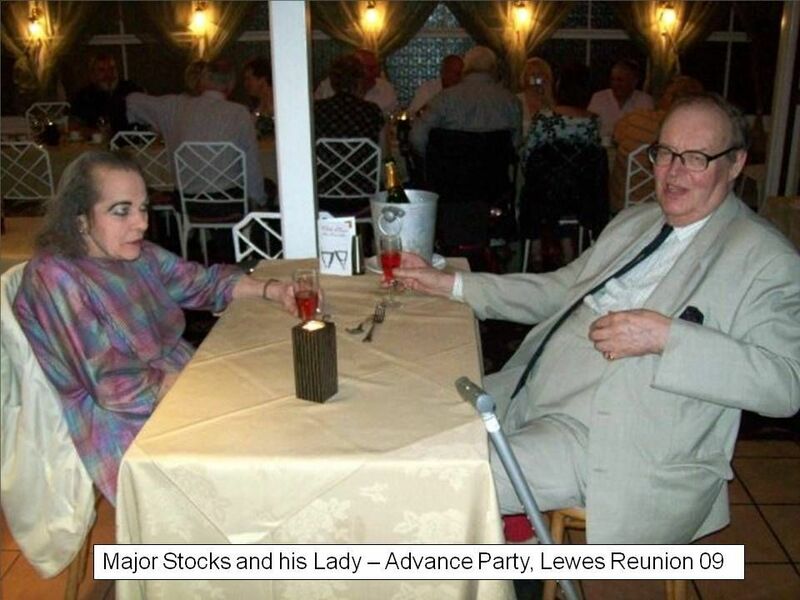 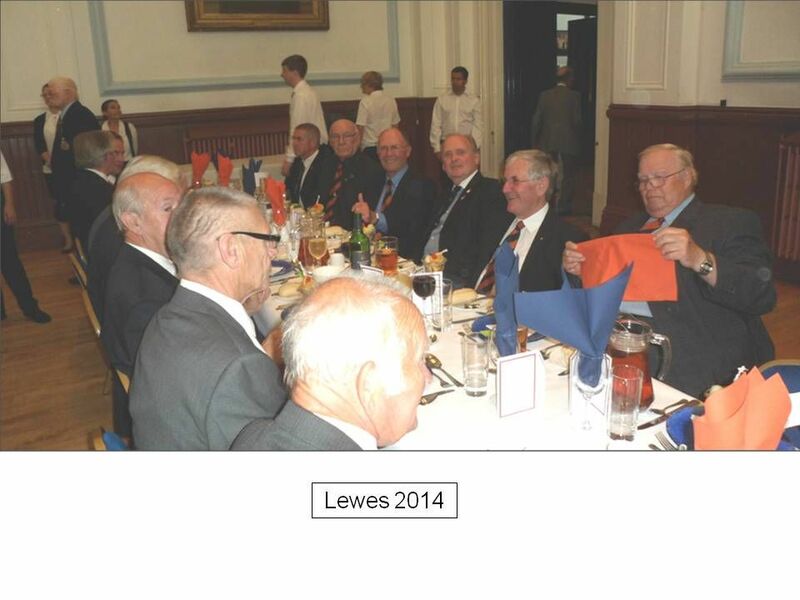 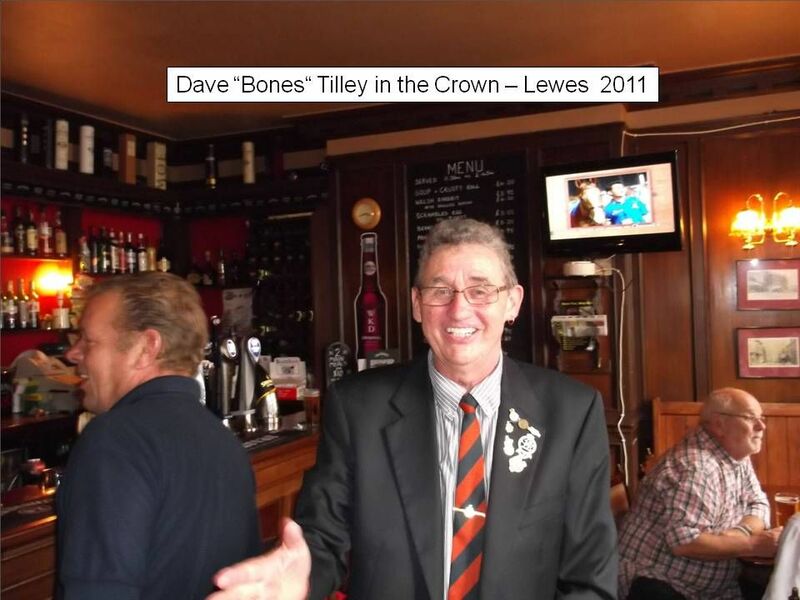 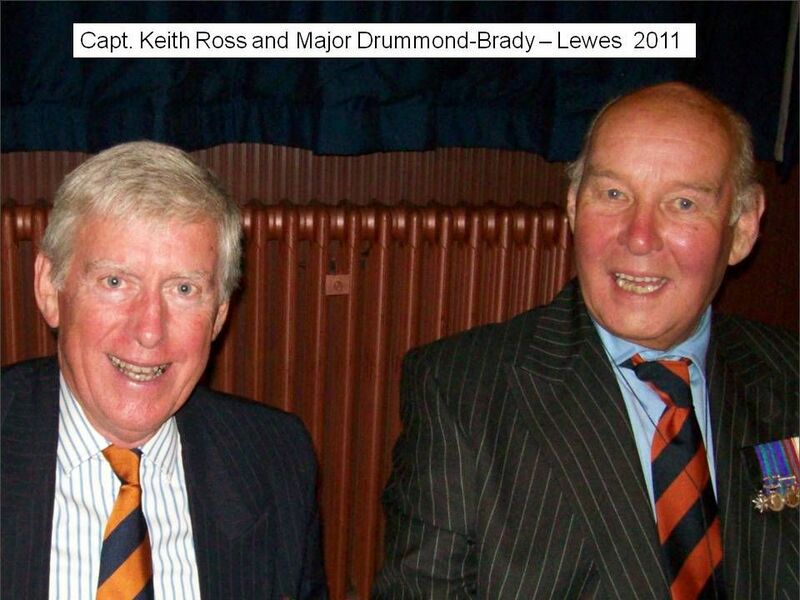 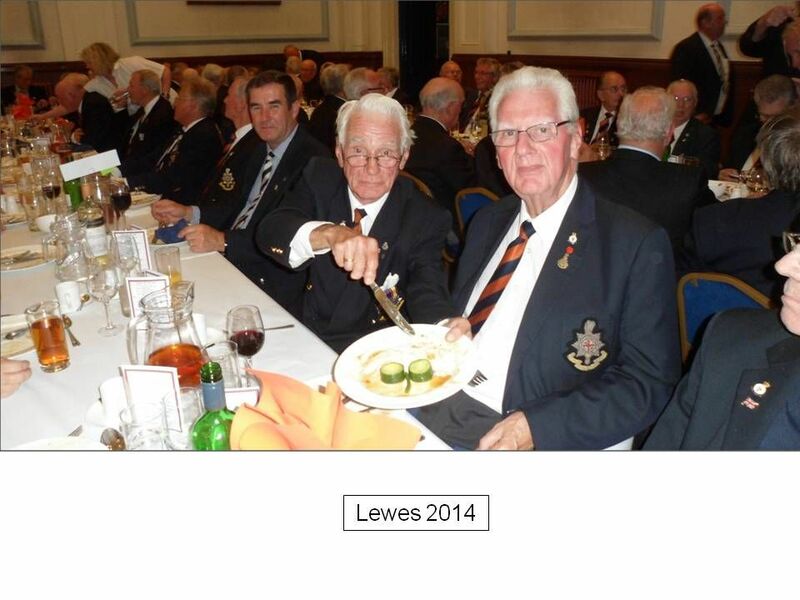 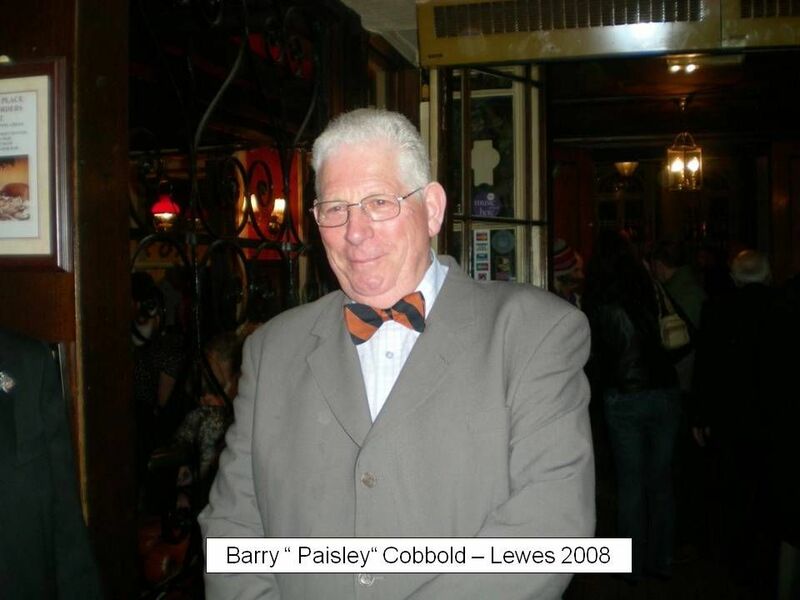 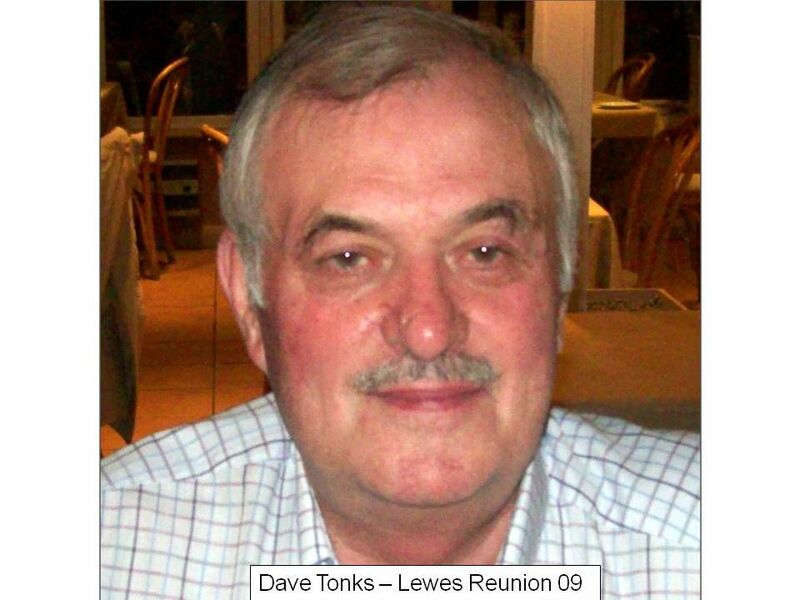 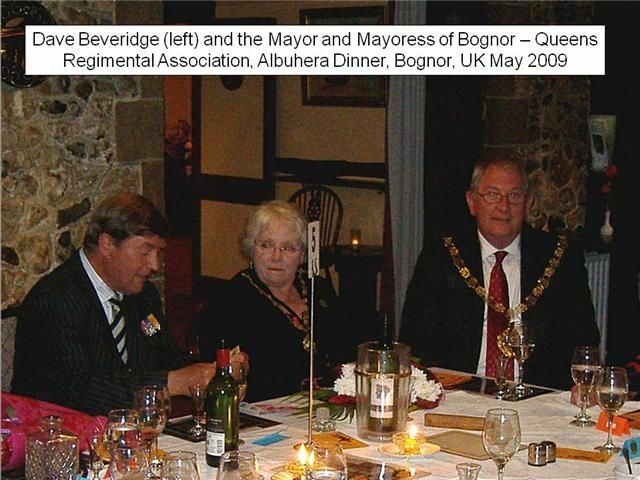 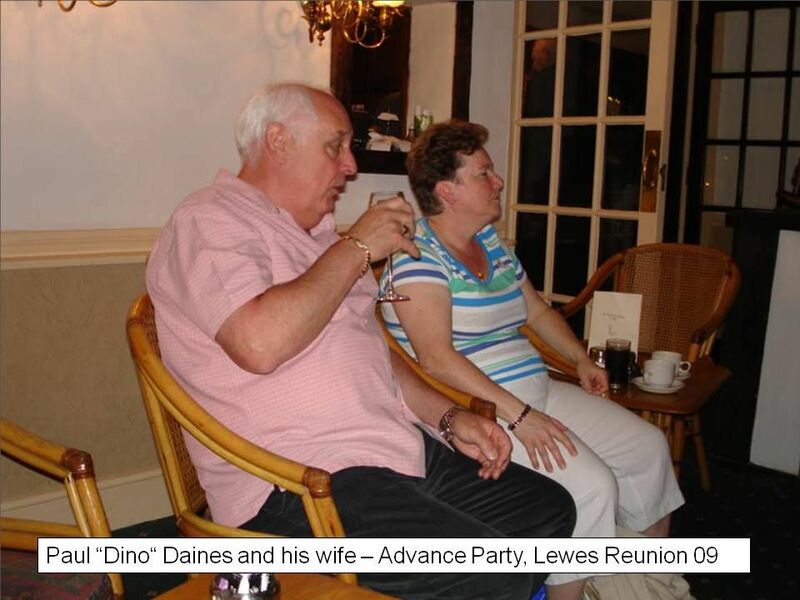 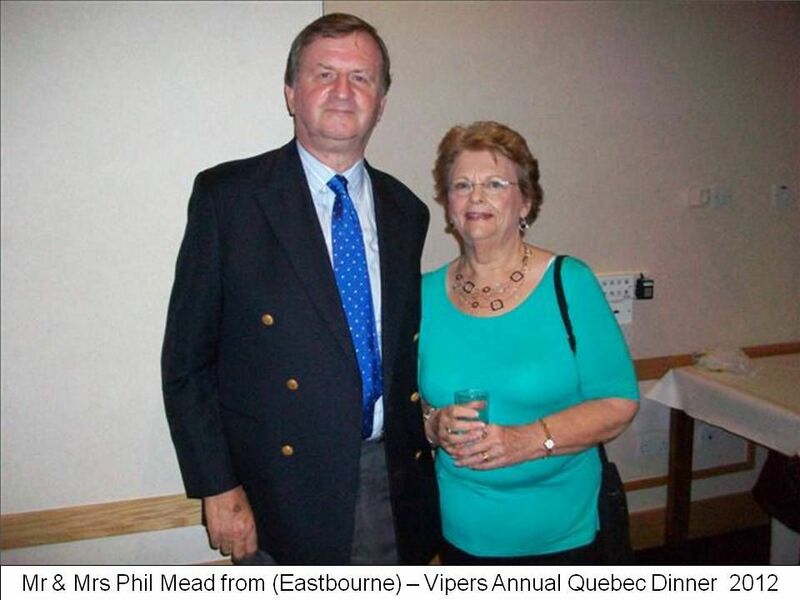 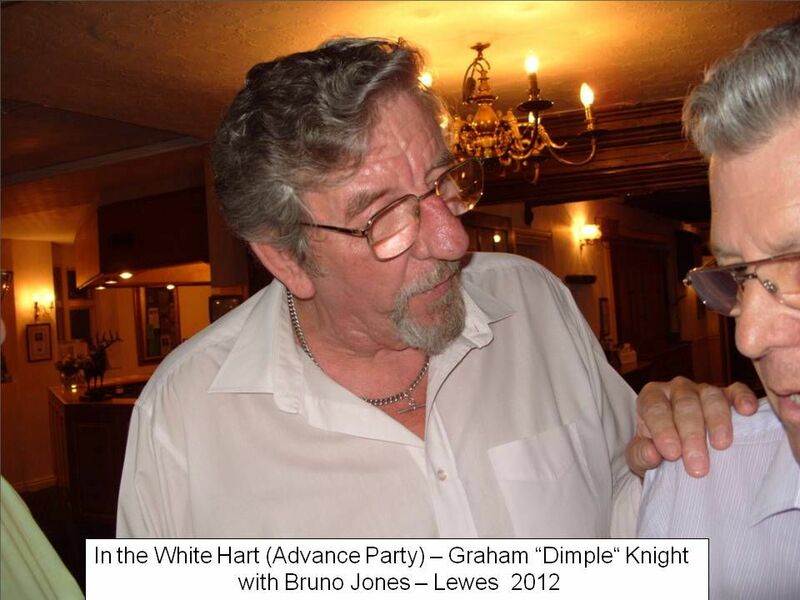 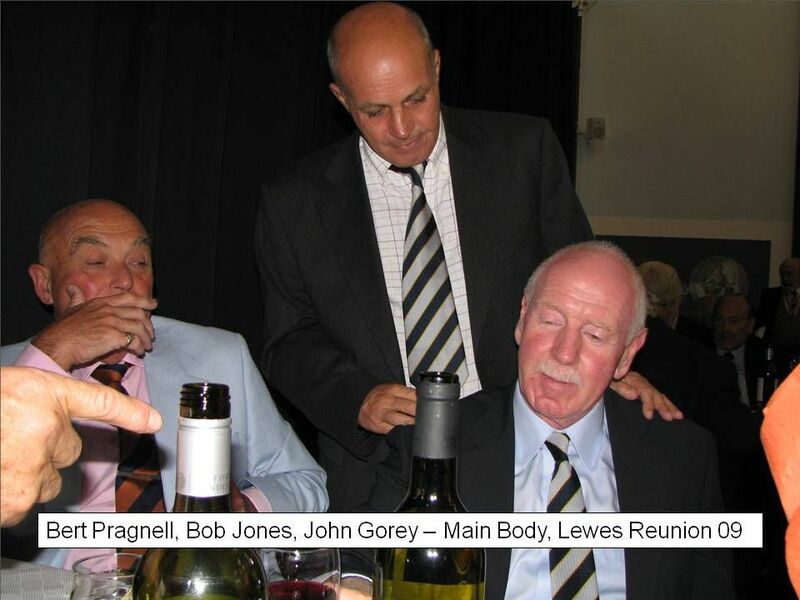 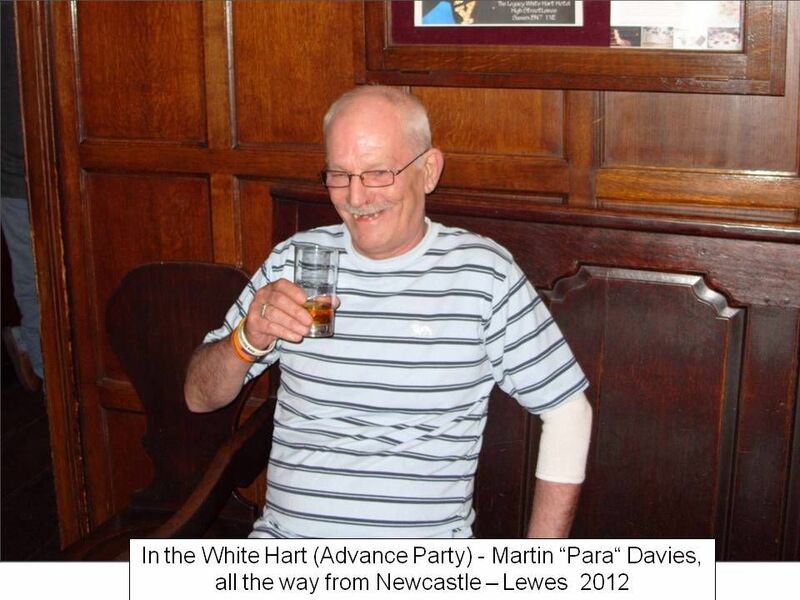 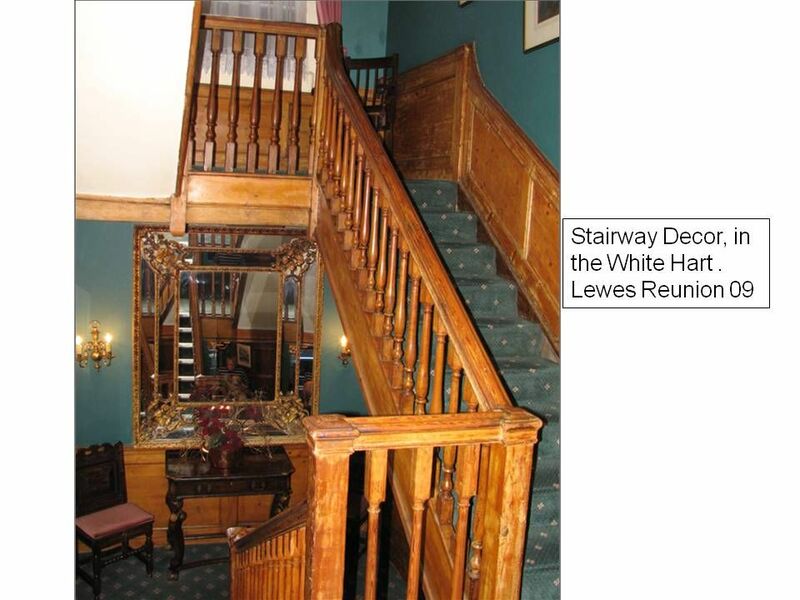 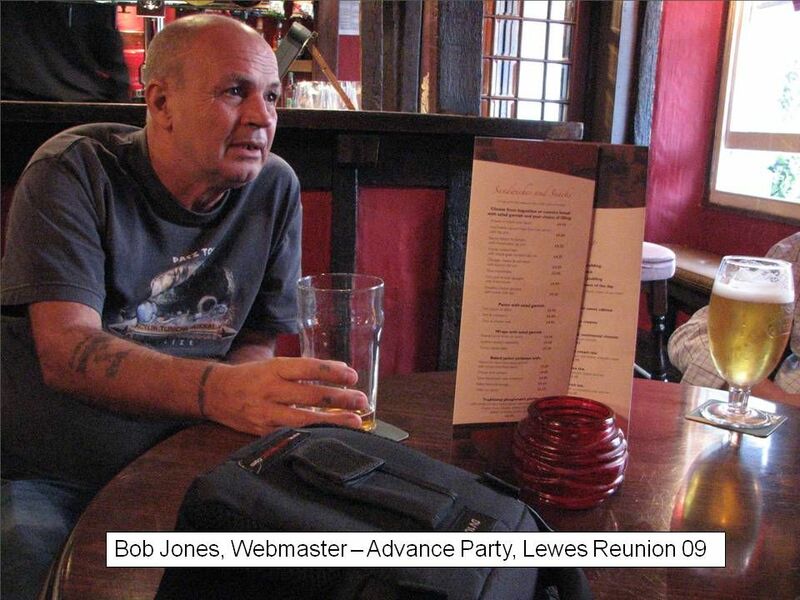 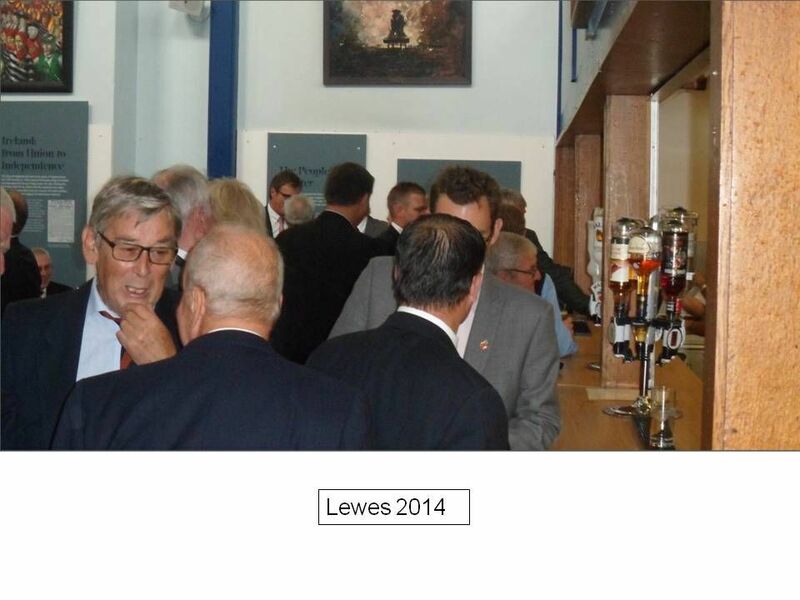 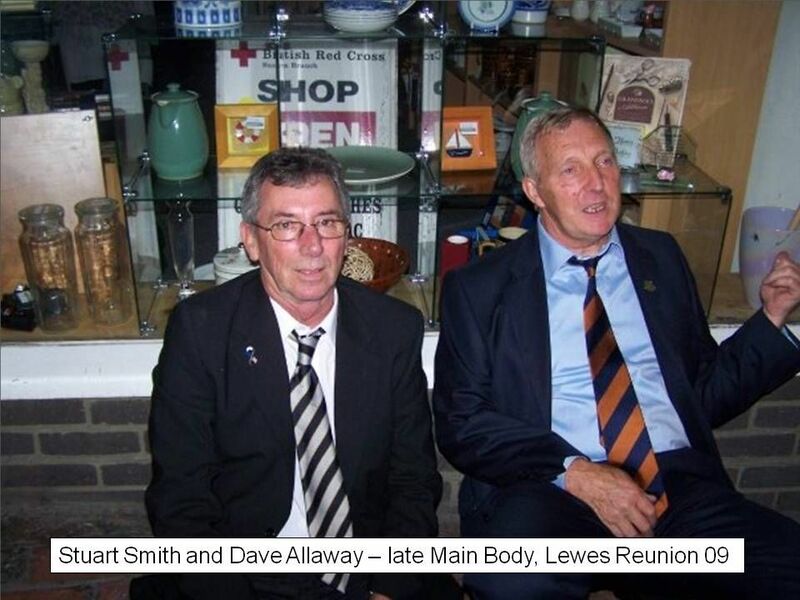 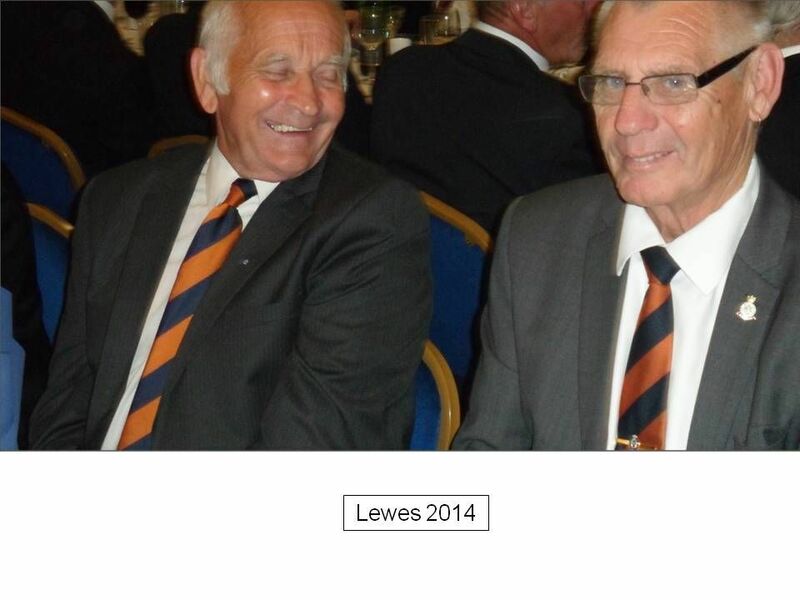 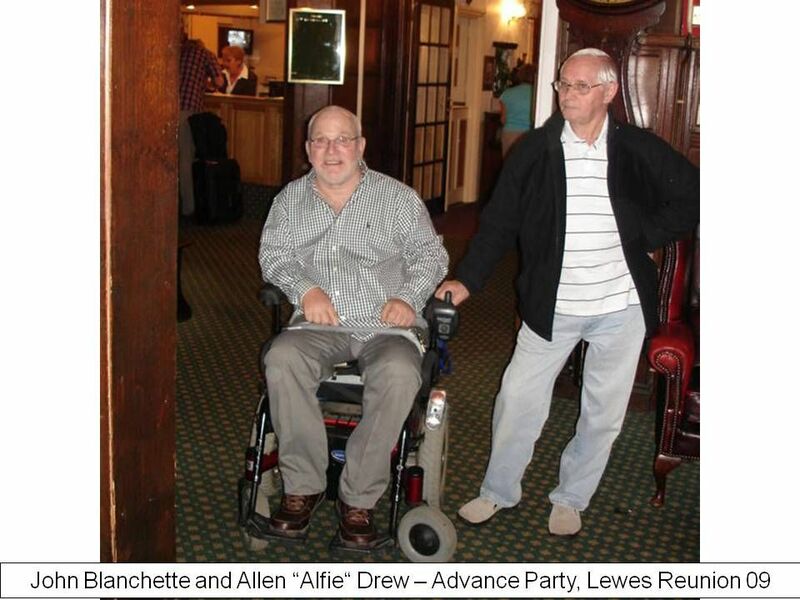 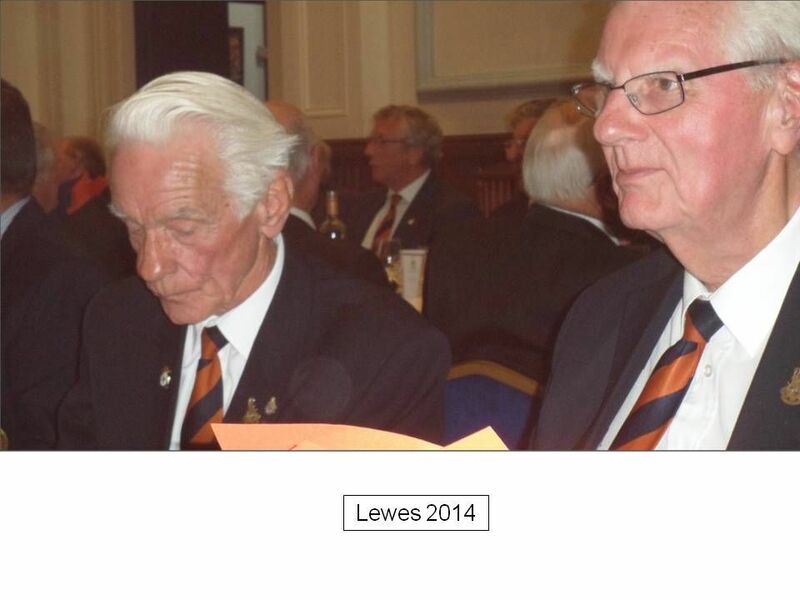 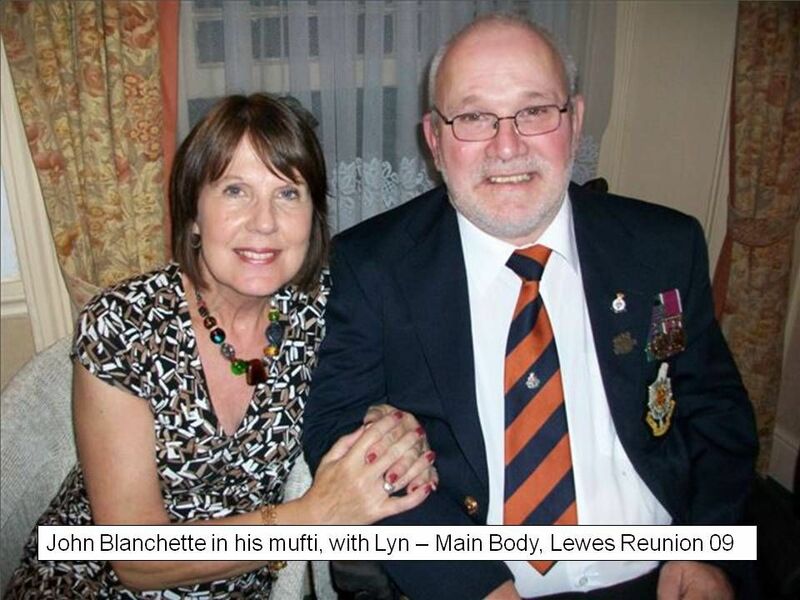 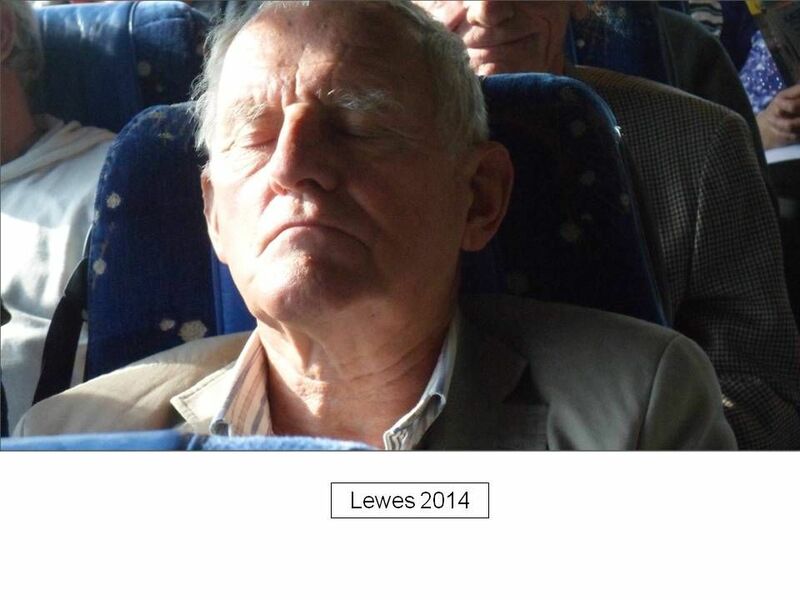 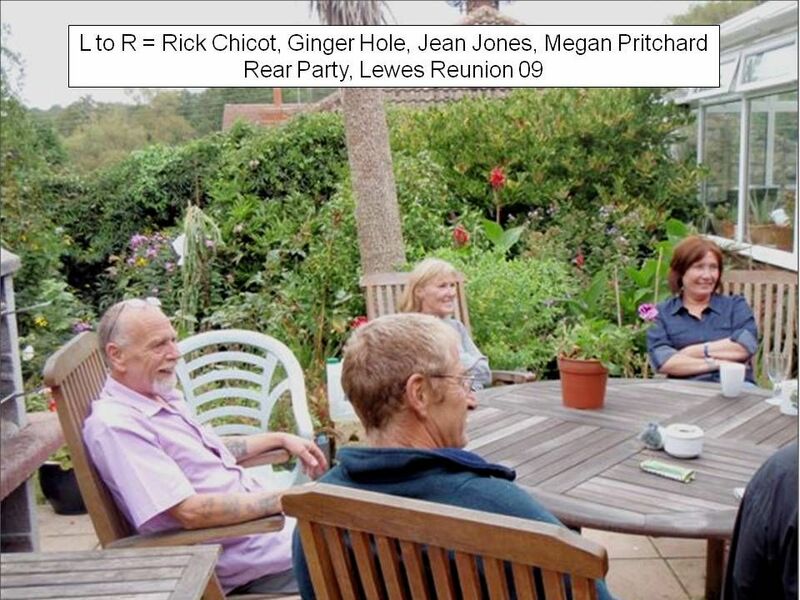 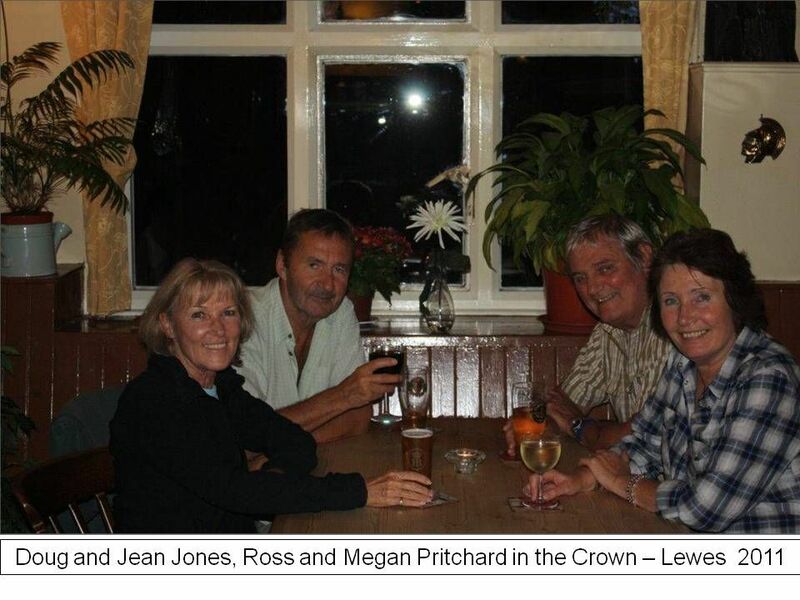 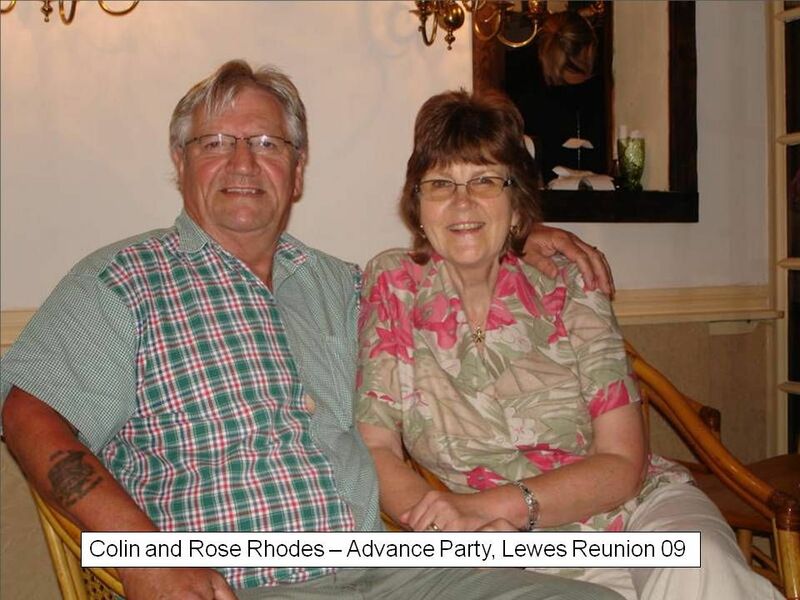 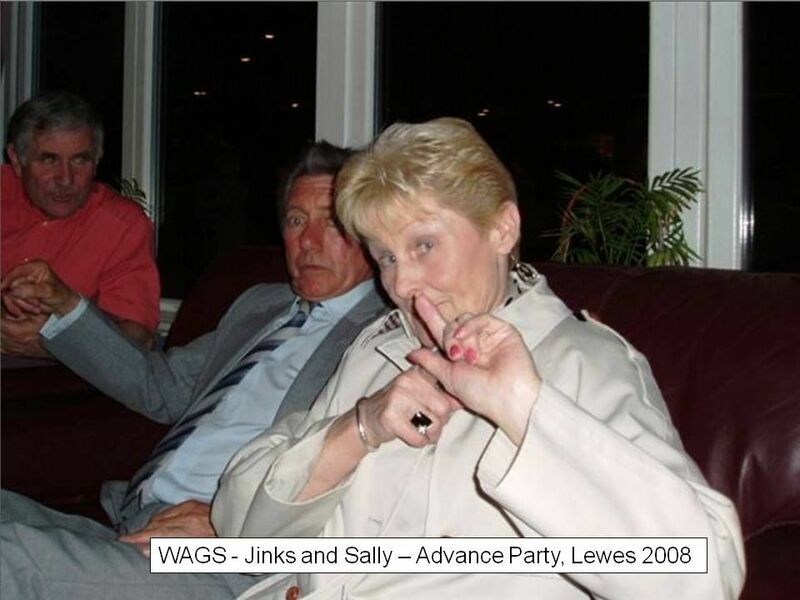 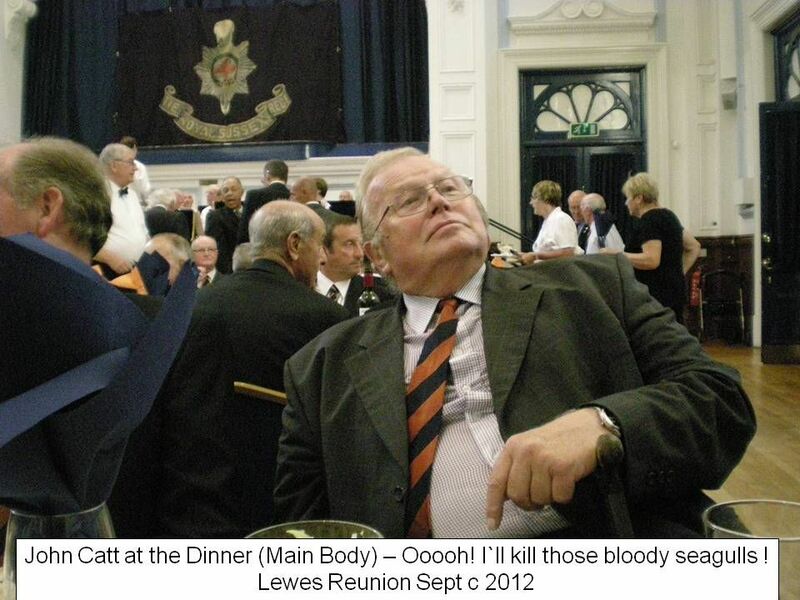 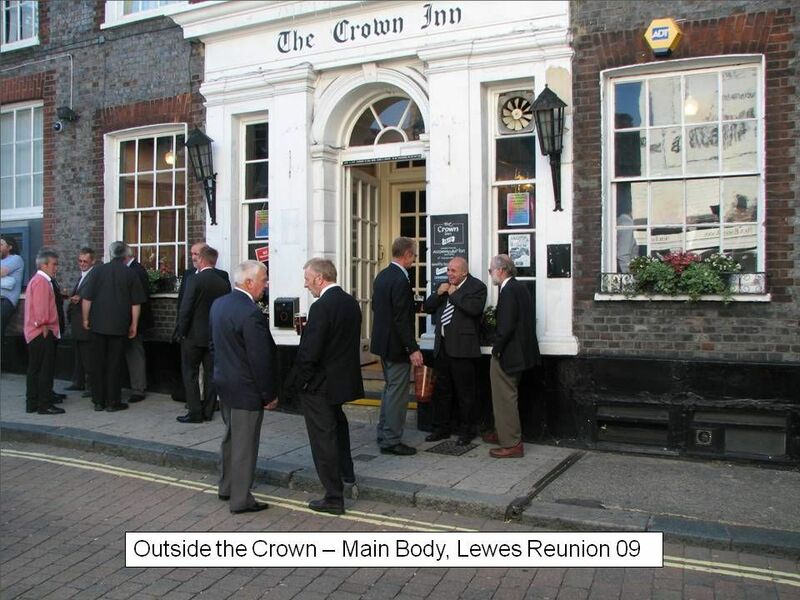 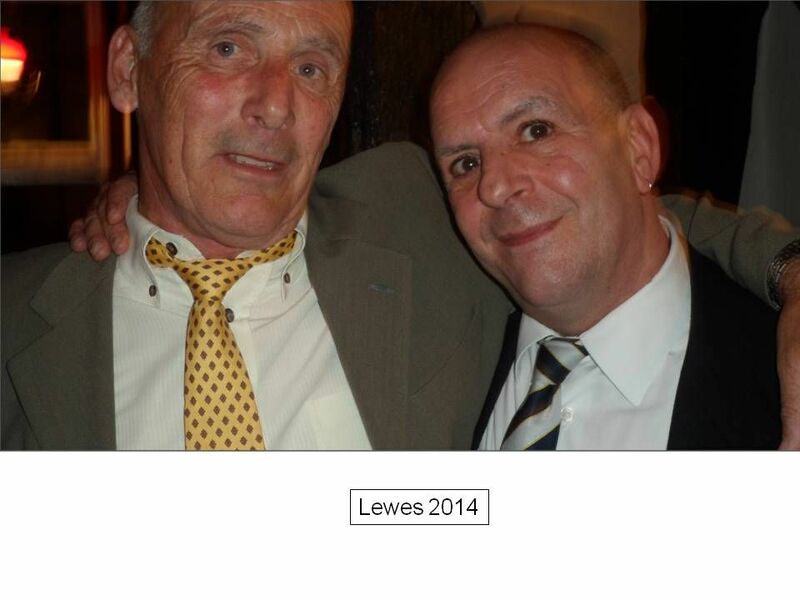 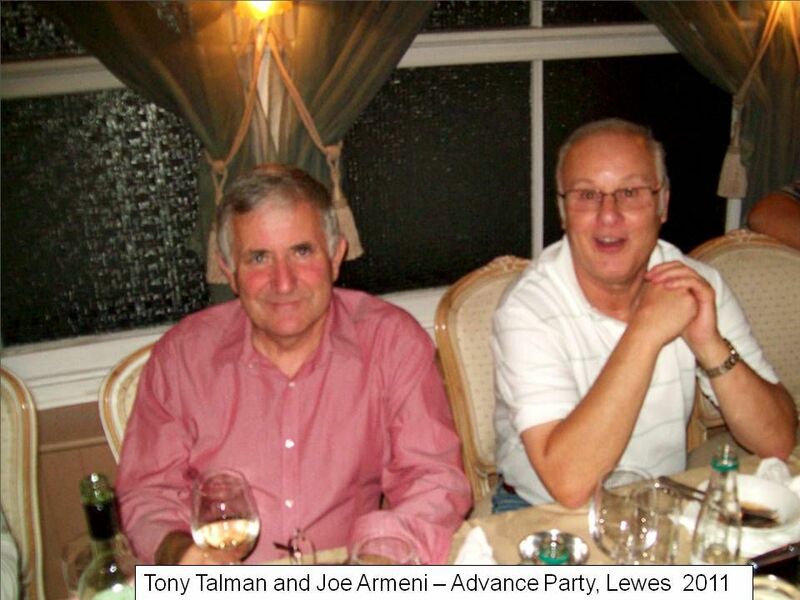 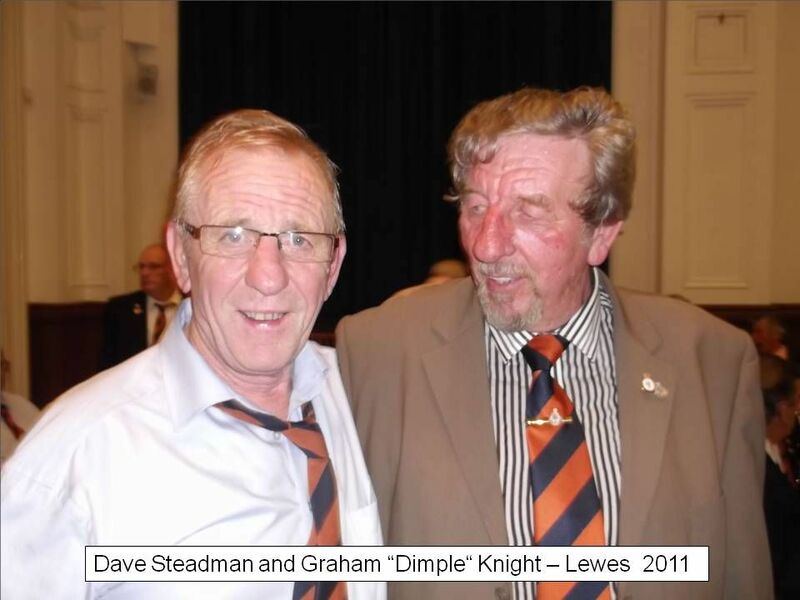 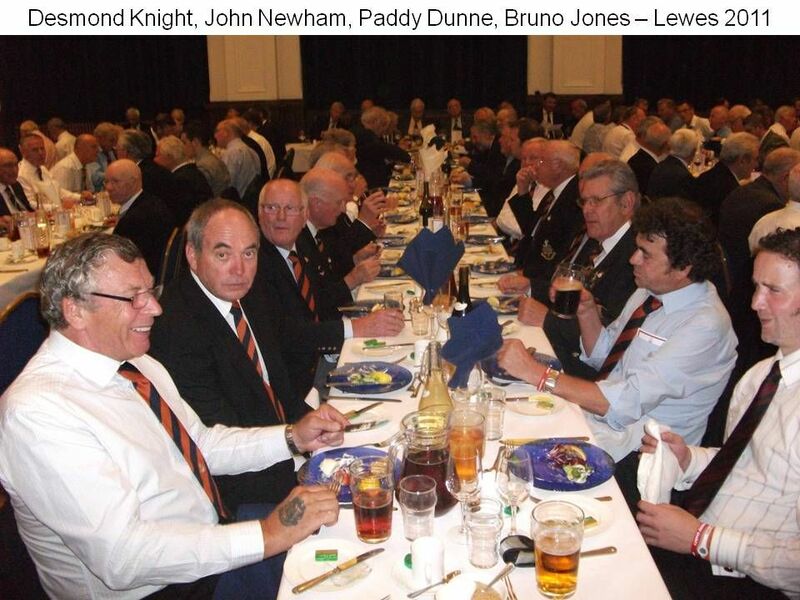 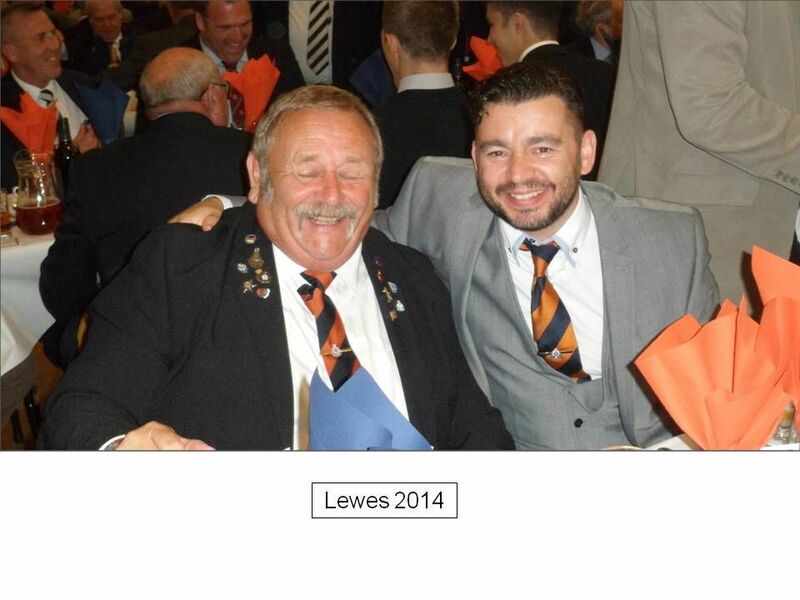 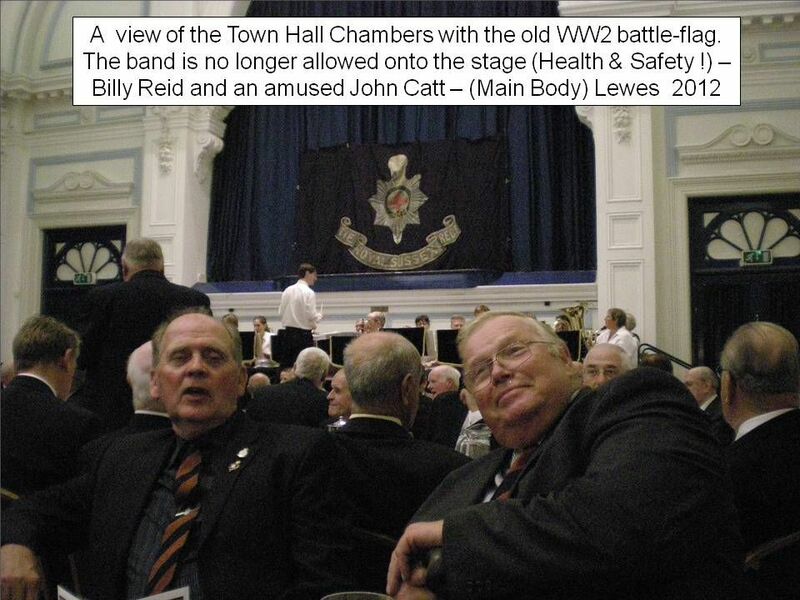 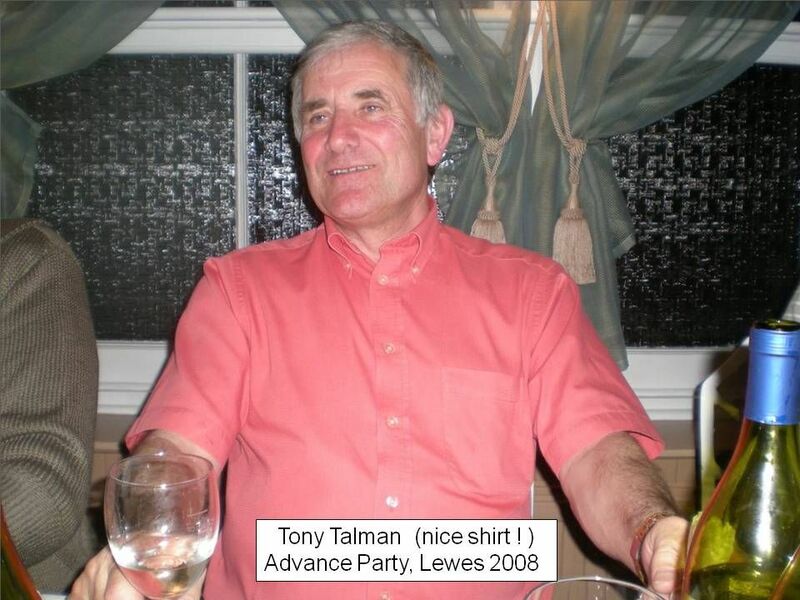 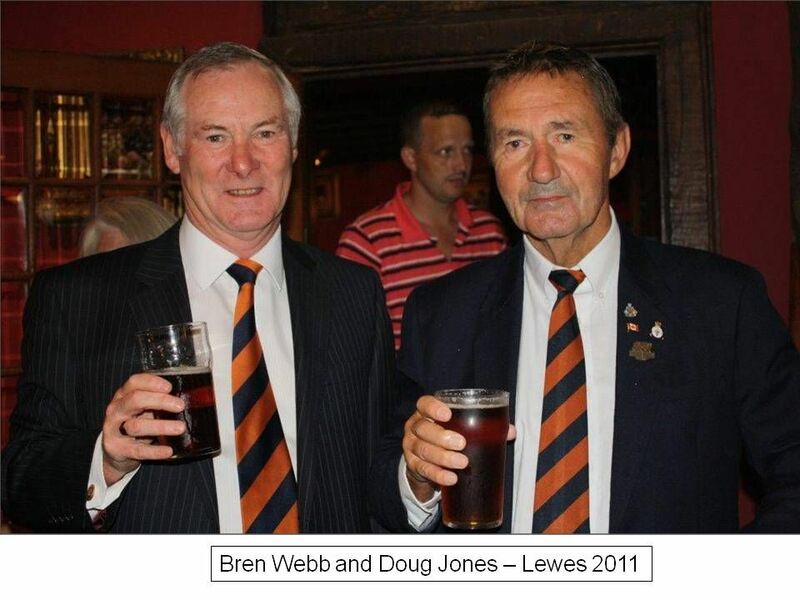 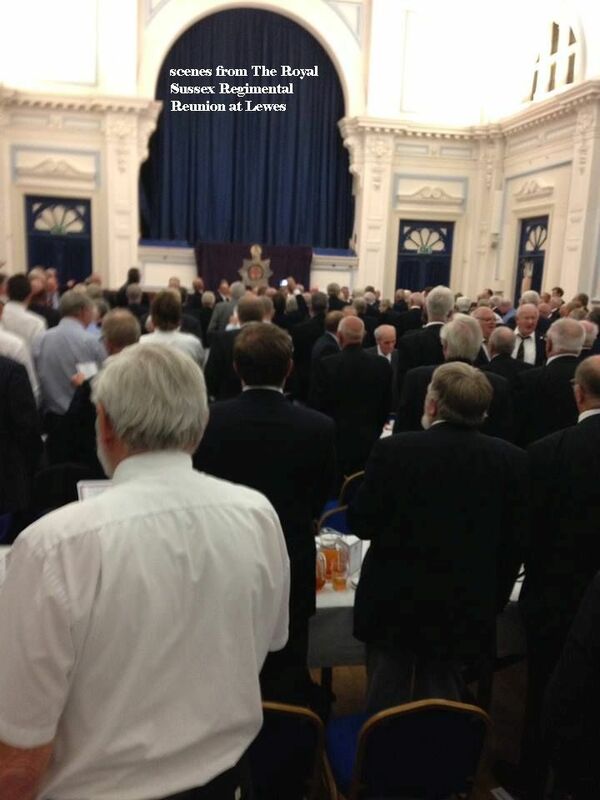 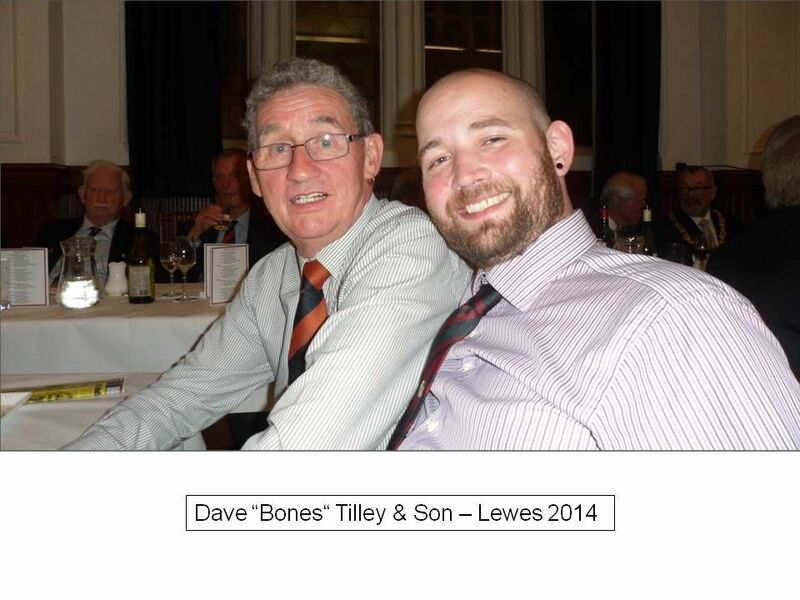 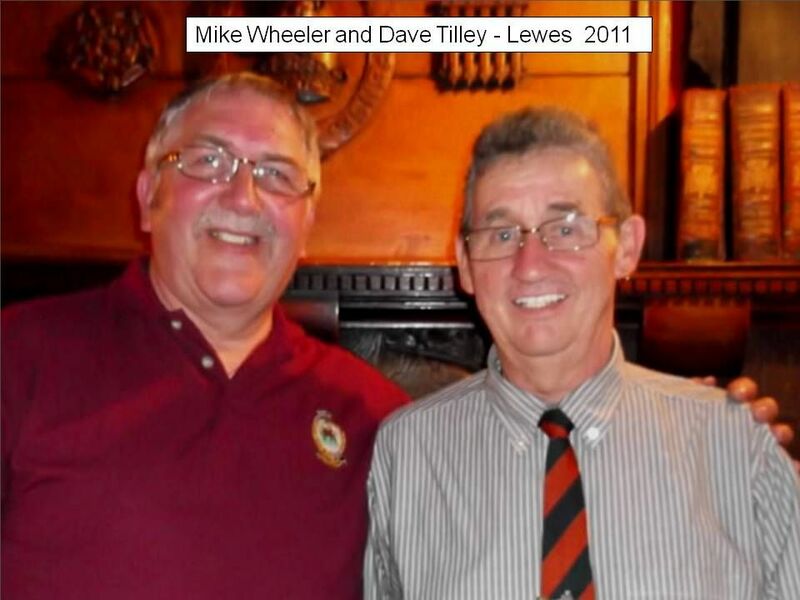 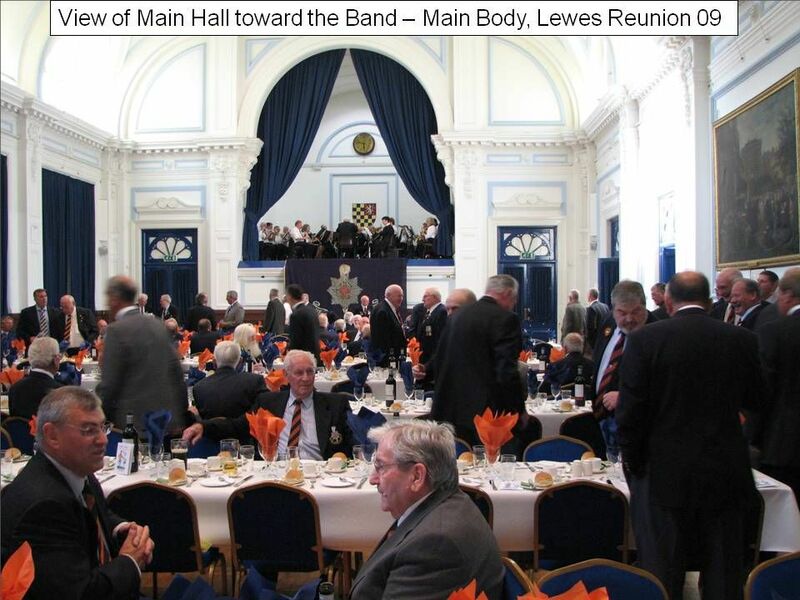 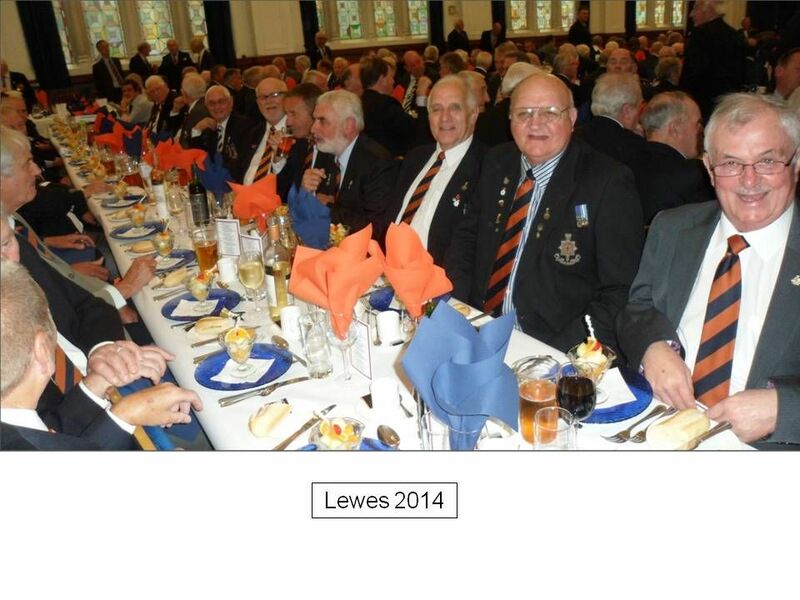 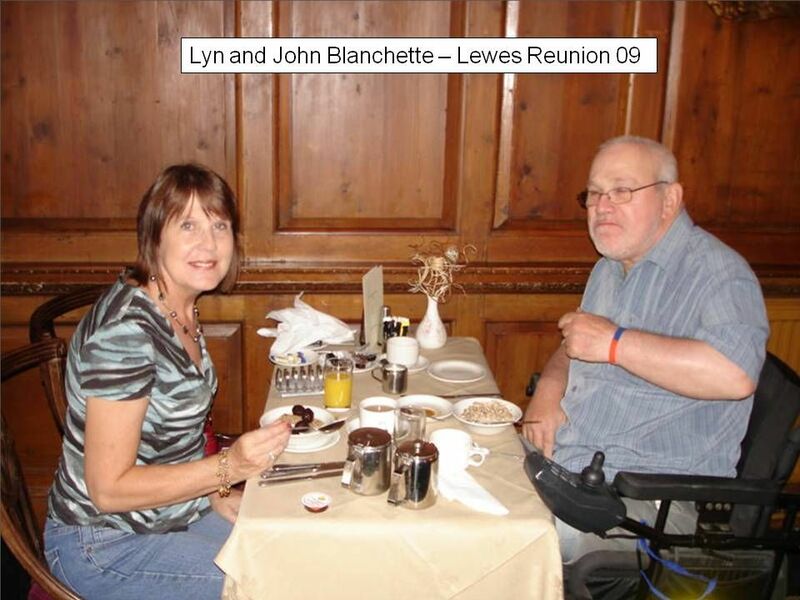 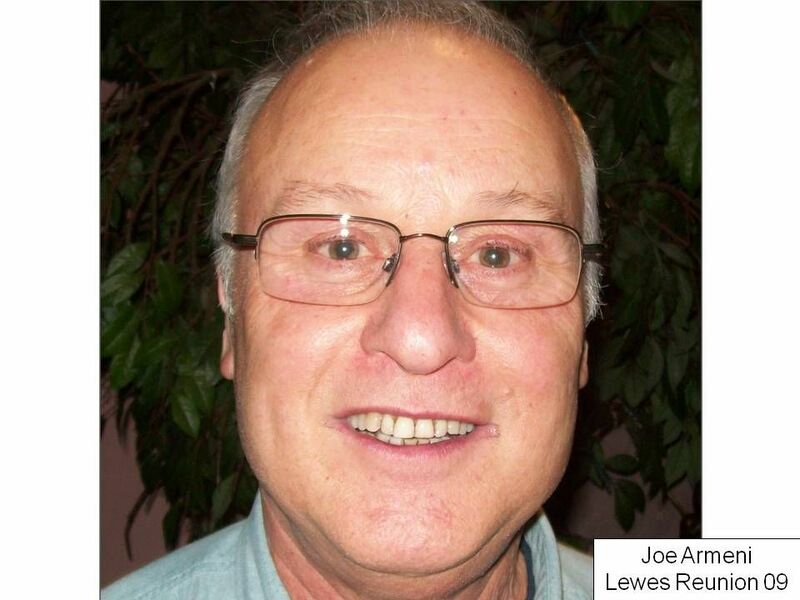 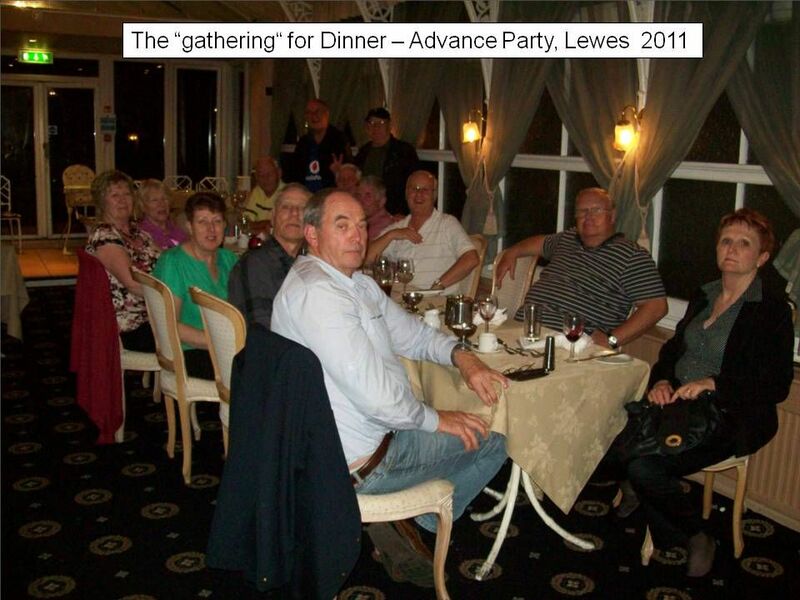 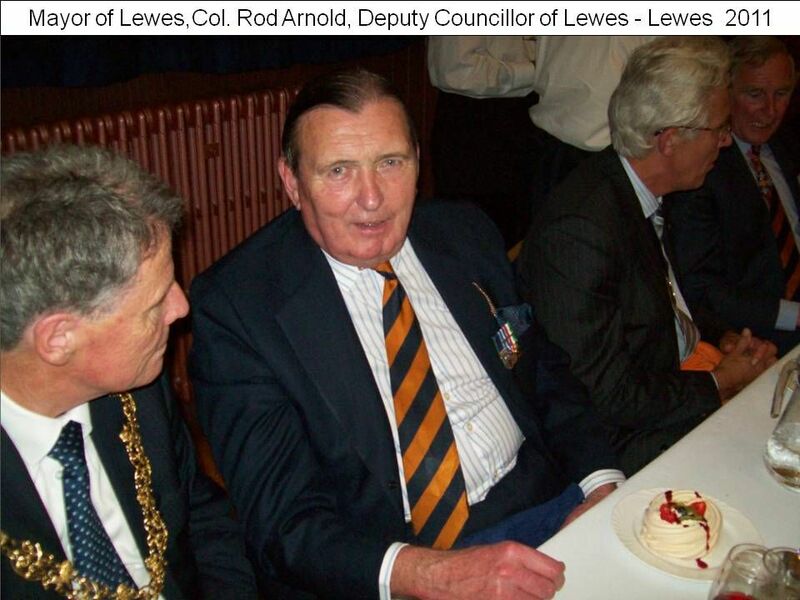 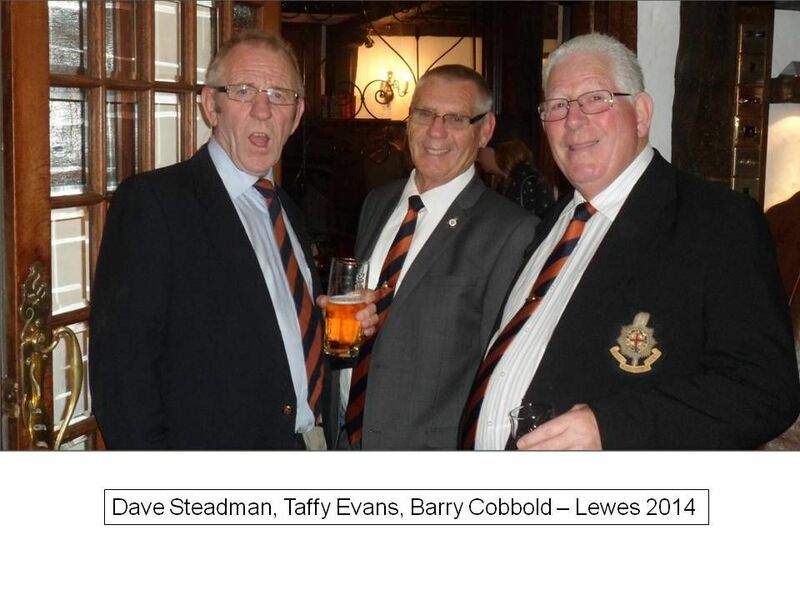 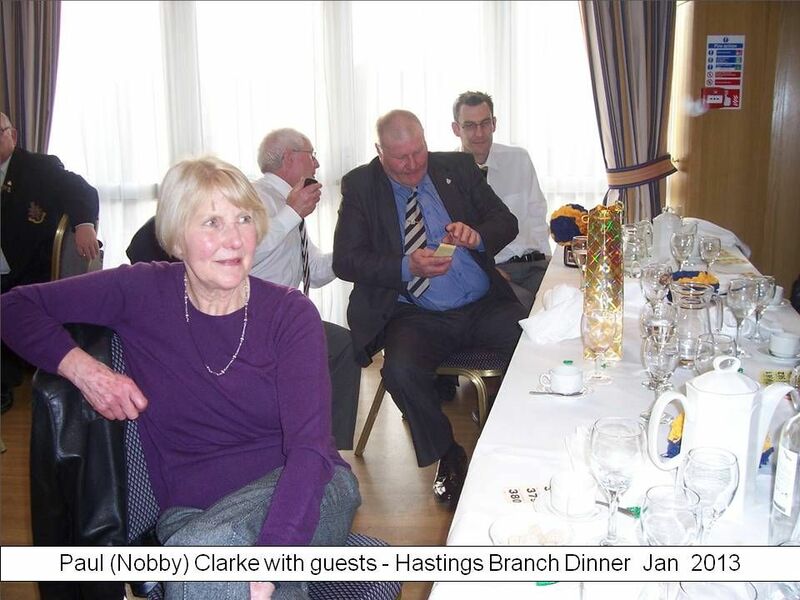 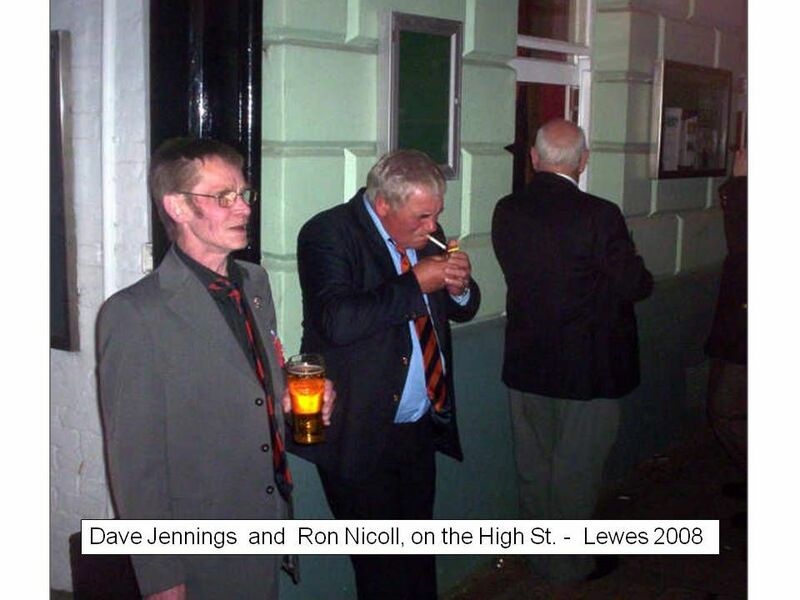 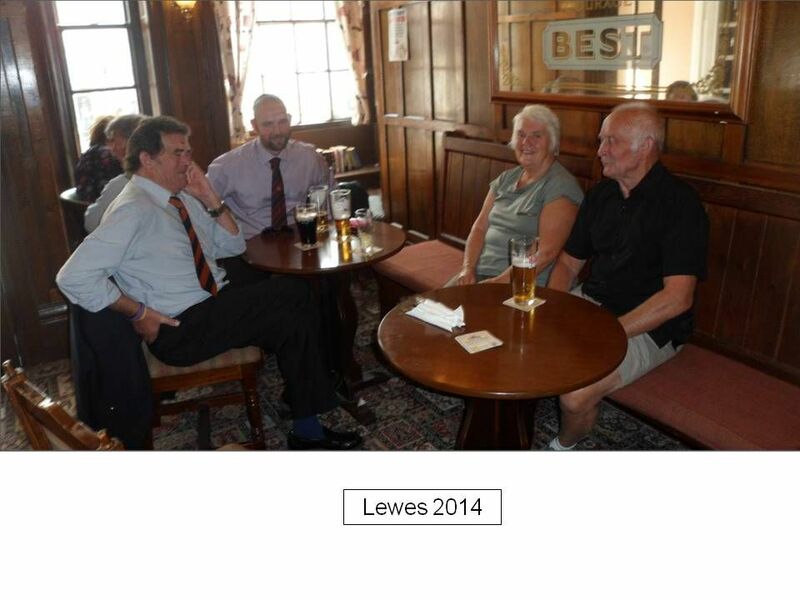 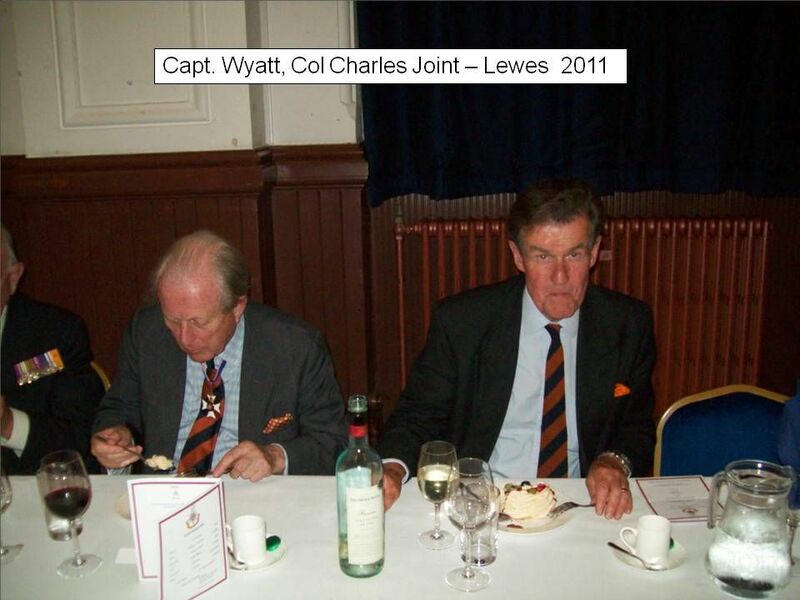 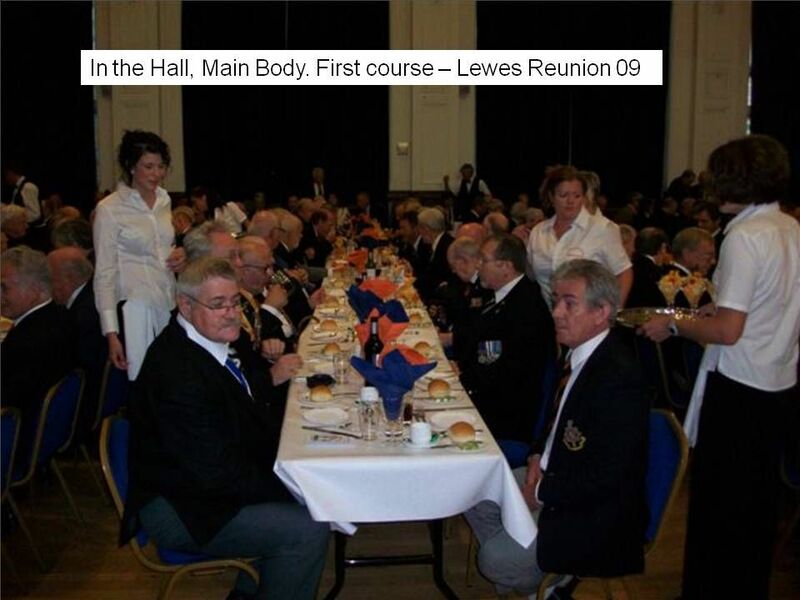 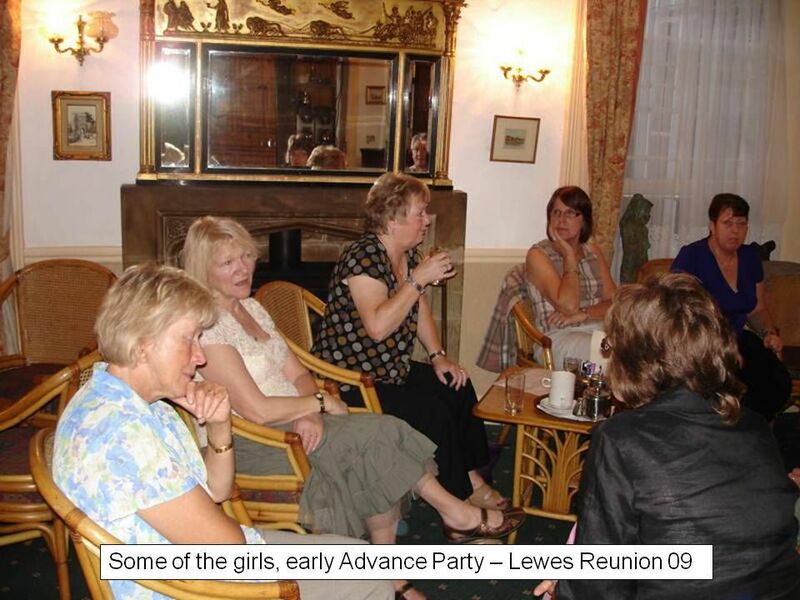 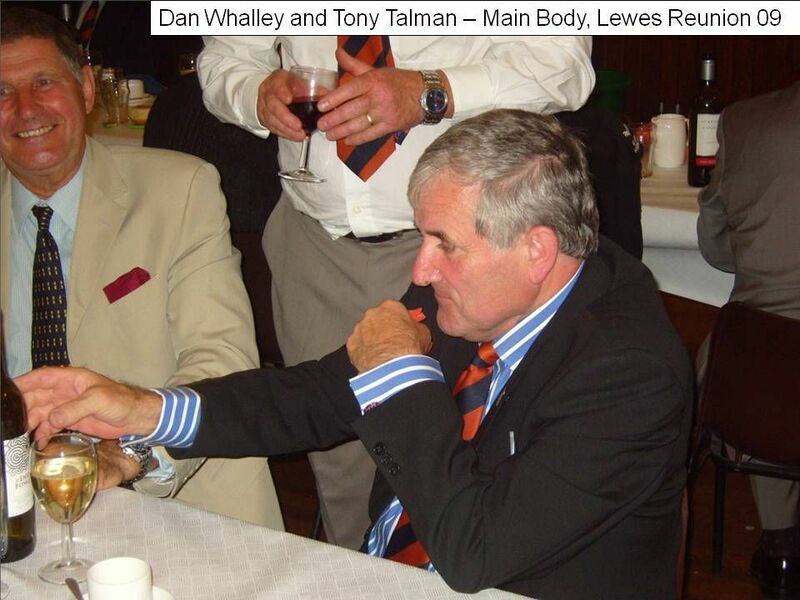 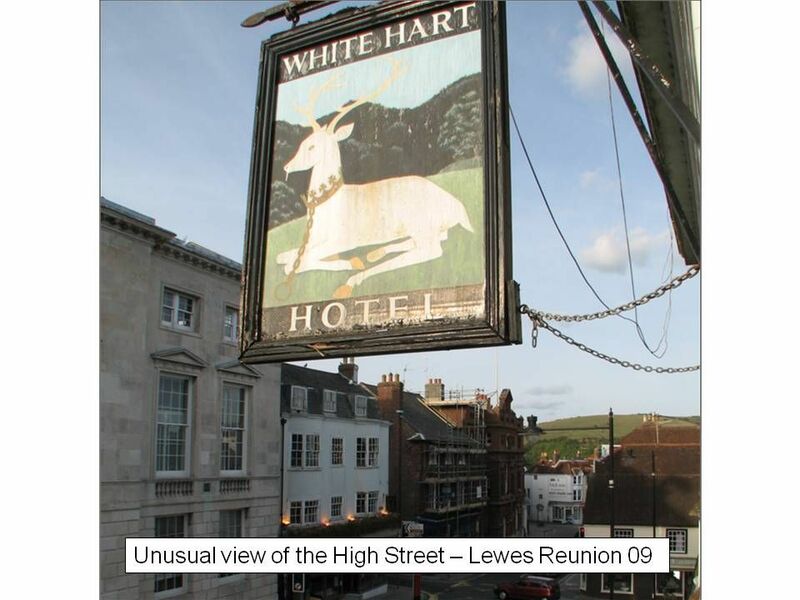 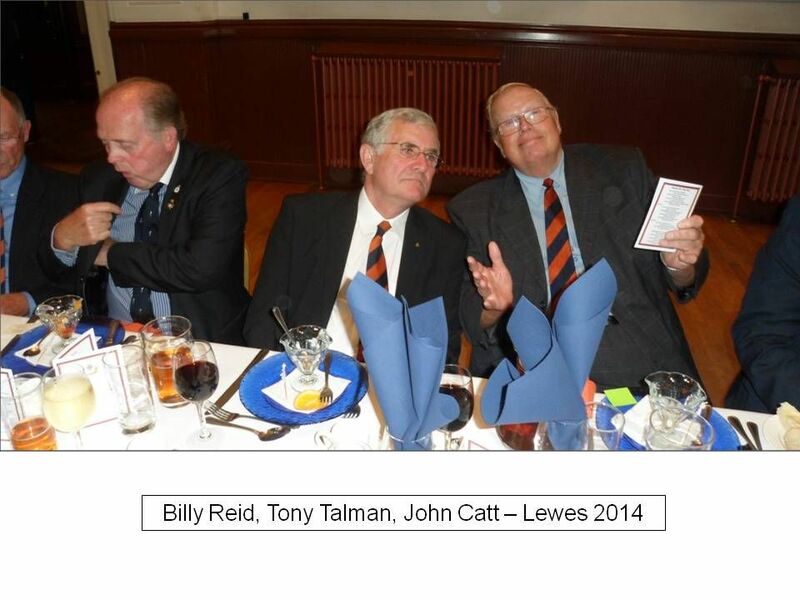 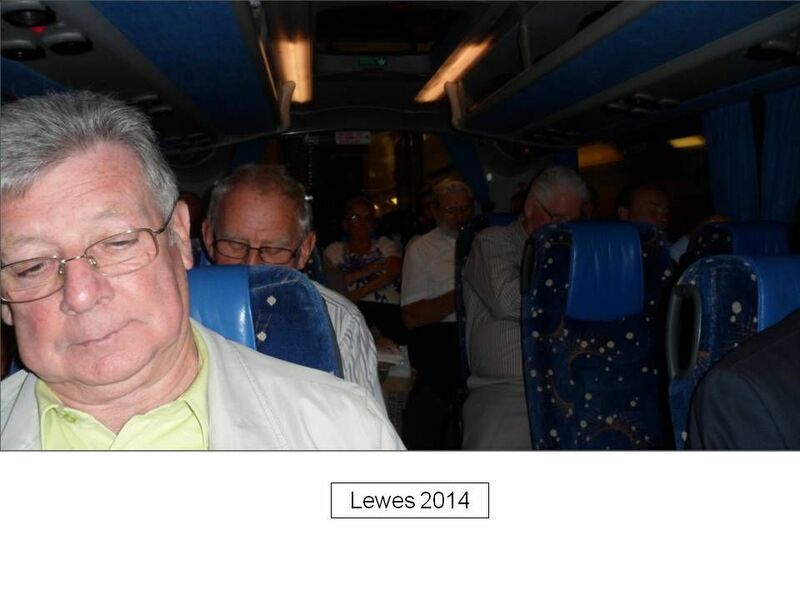 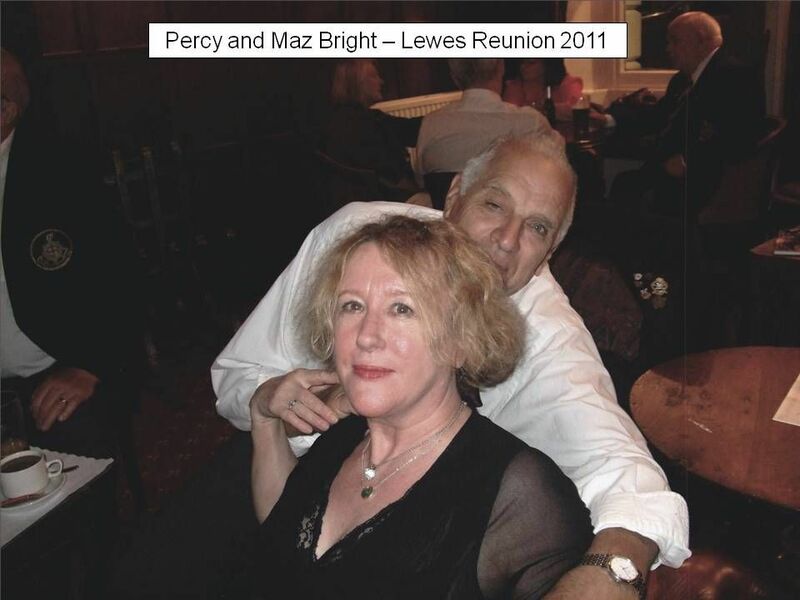 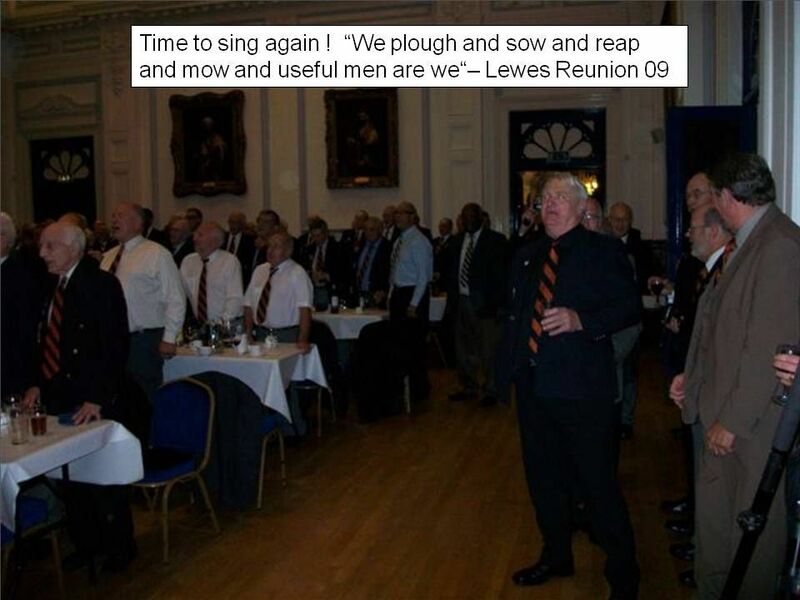 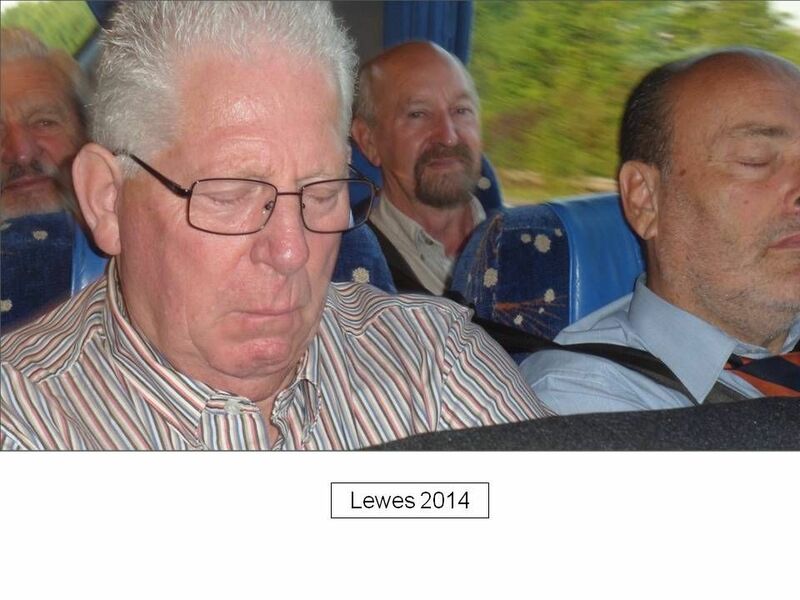 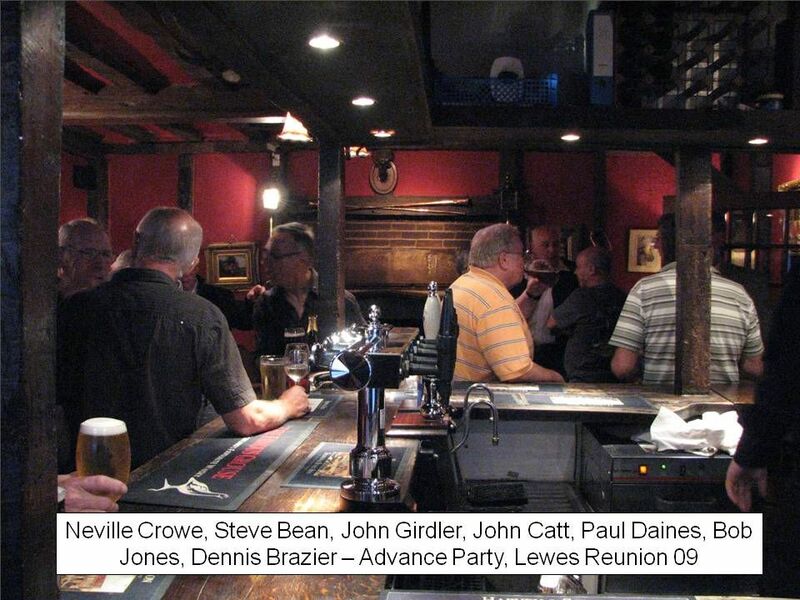 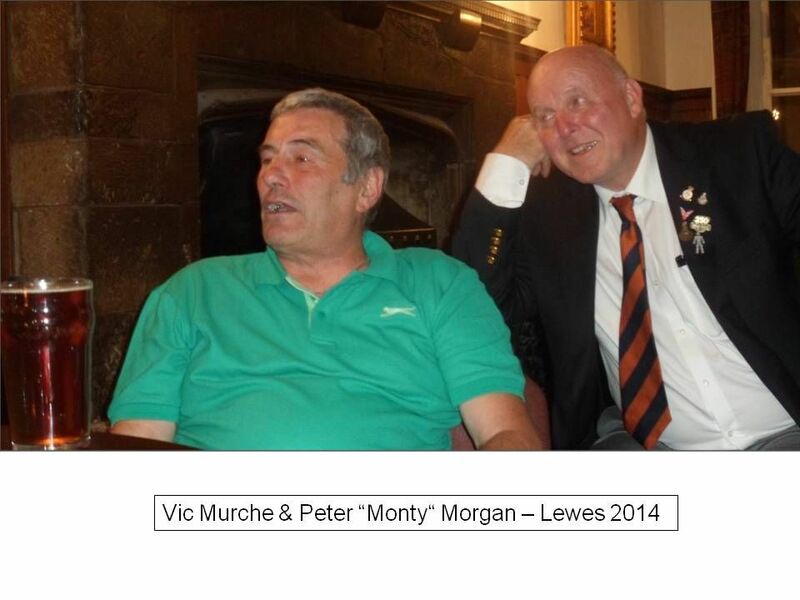 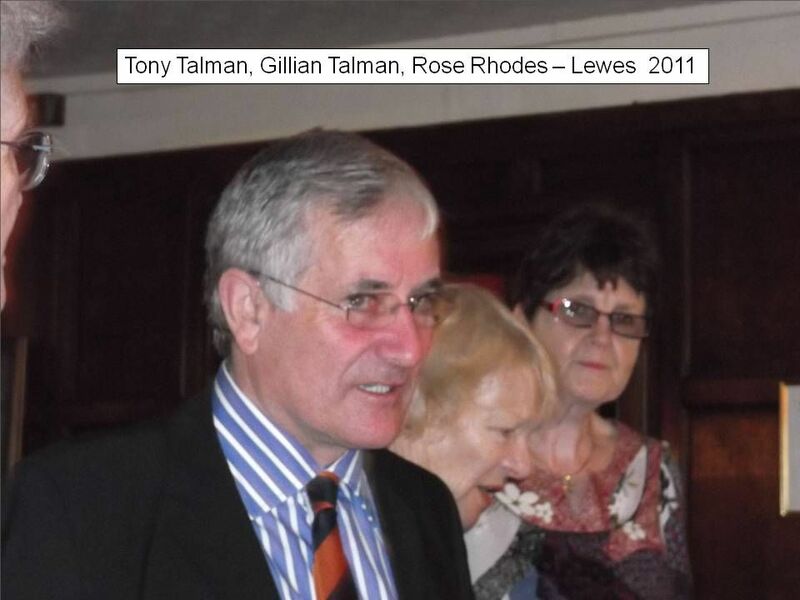 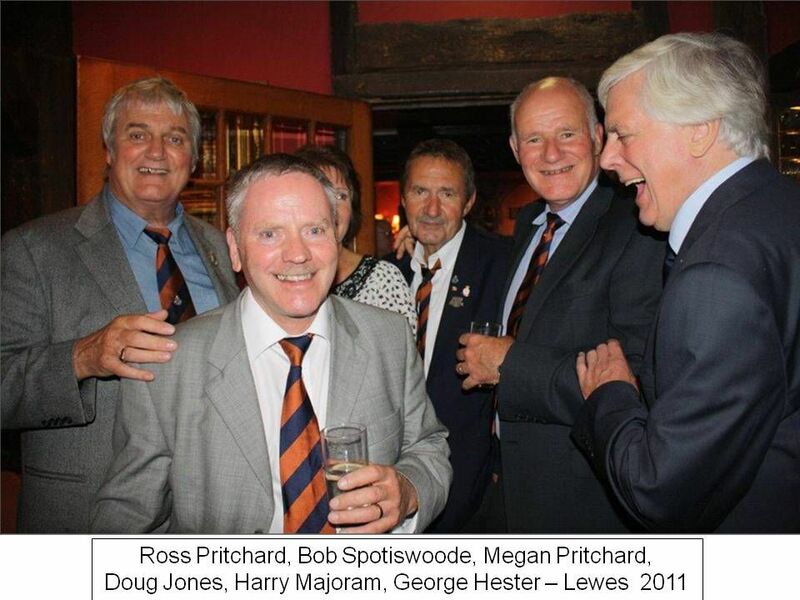 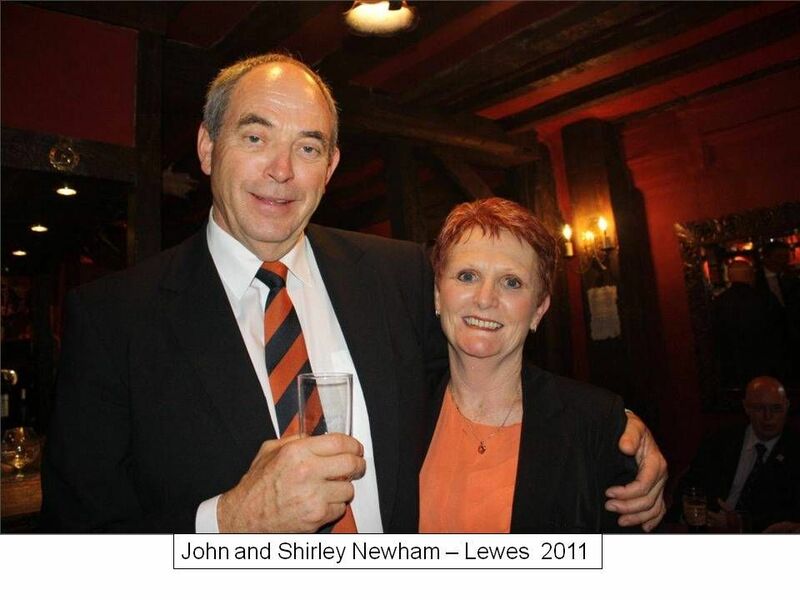 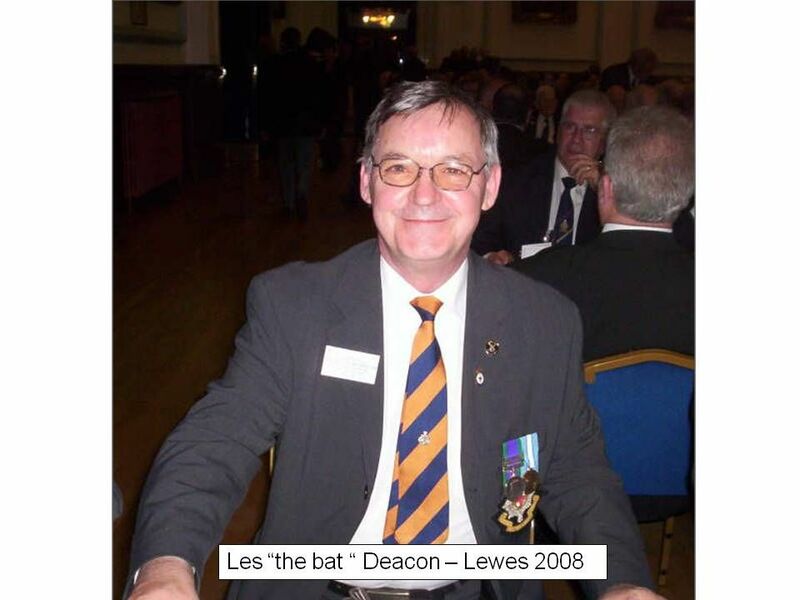 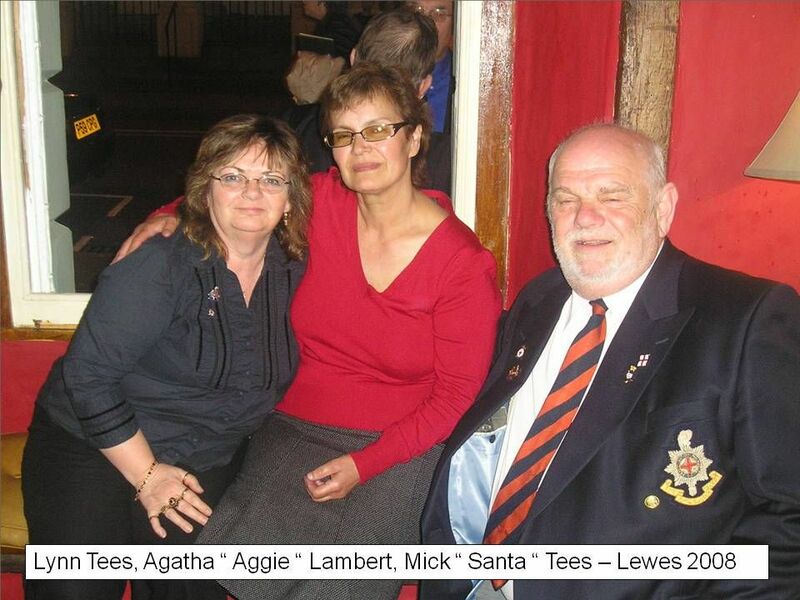 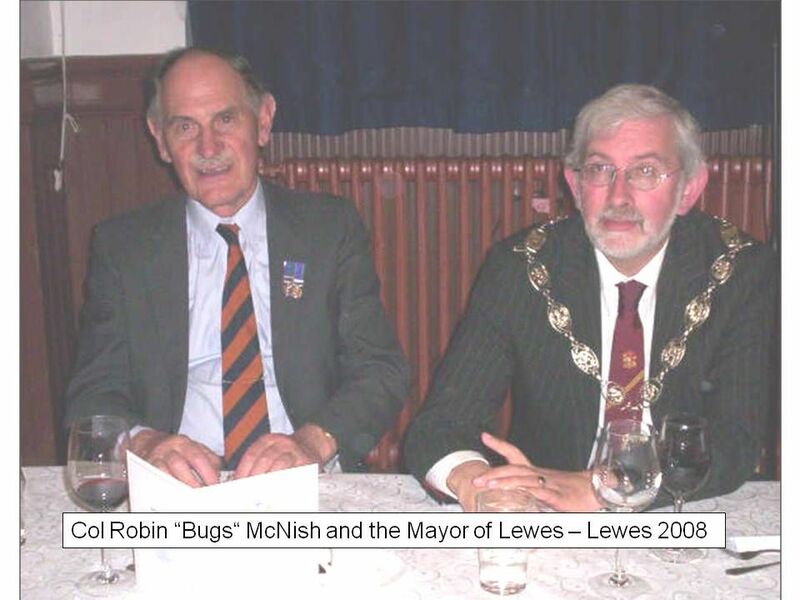 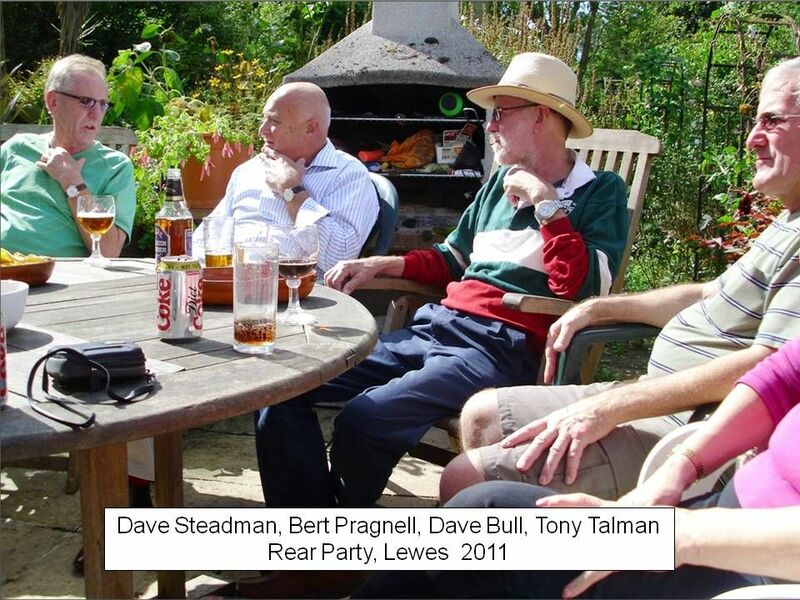 In closing, it is always of enormous pleasure to be able to thank the Mayor of Lewes, as it is great privilege for us to be able to hold our annual dinner in these magnificent surroundings, and we are extremely grateful for it. 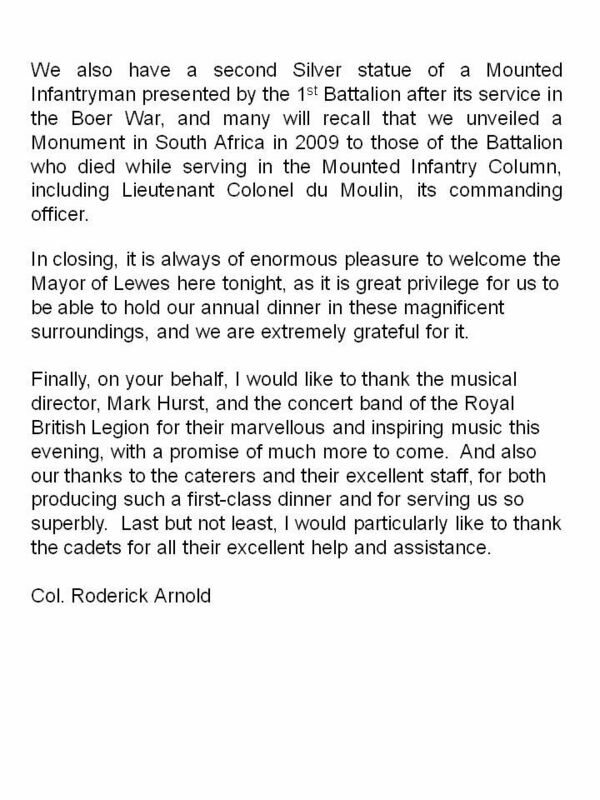 Finally, on your behalf, I would like to thank the musical director, Mark Hurst, and the concert band of the Royal British Legion for their marvellous and inspiring music this evening, with a promise of much more to come. 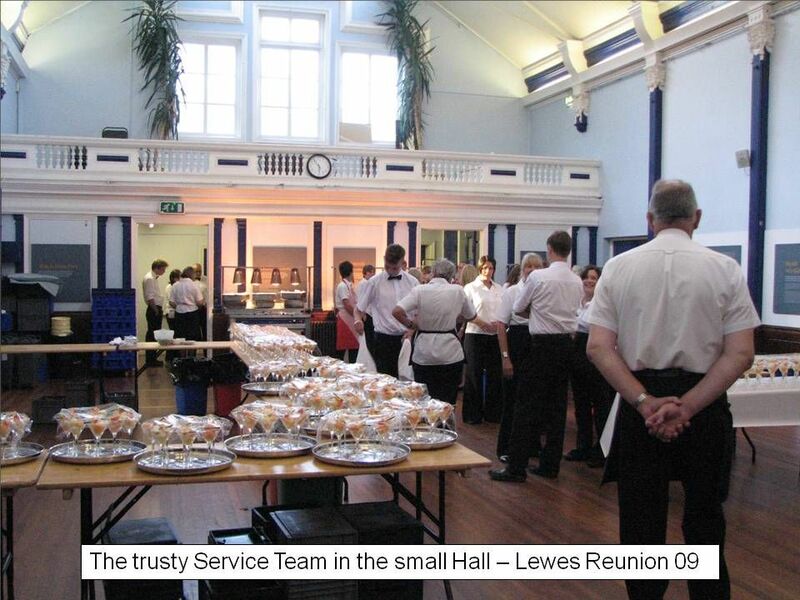 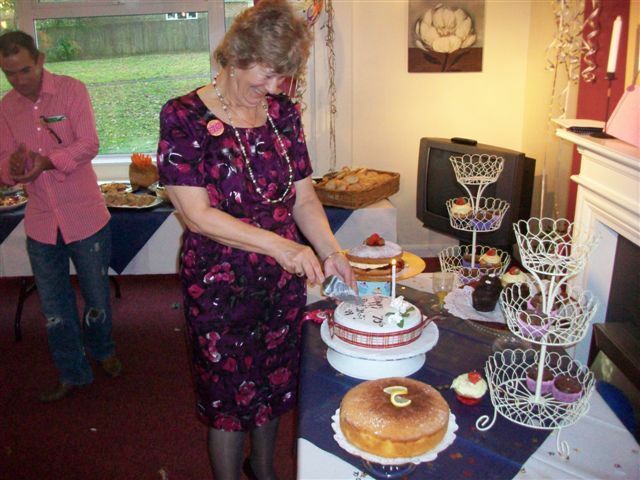 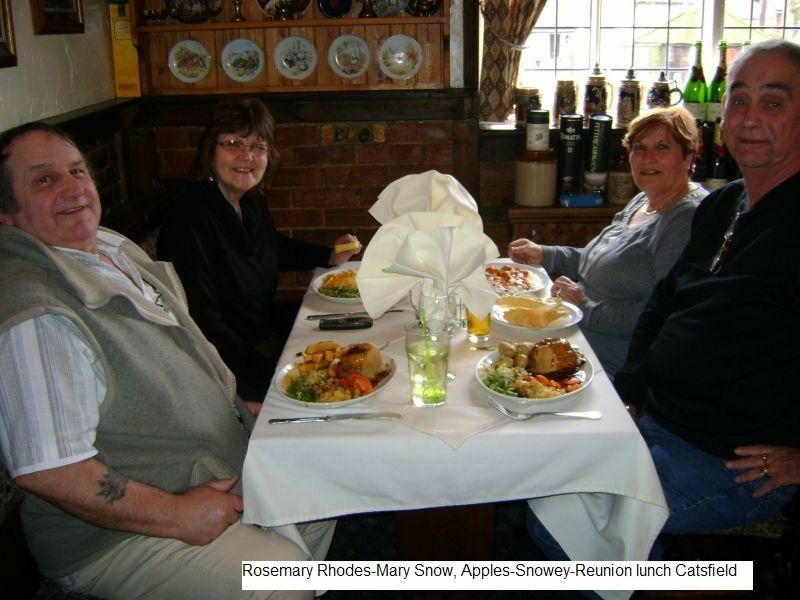 And also our thanks to the caterers and their excellent staff, for both producing such a first-class dinner and for serving us so superbly. 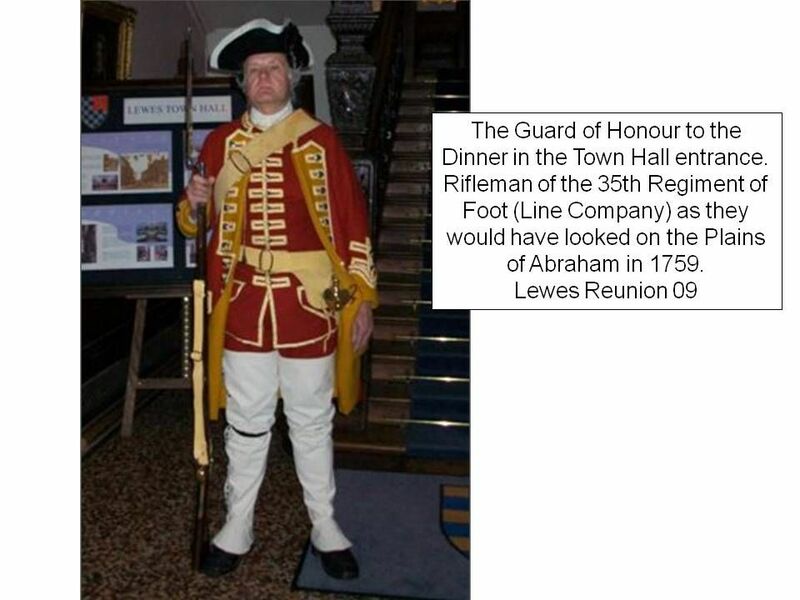 Last but not least, I would particularly like to thank the cadets for all their excellent help and assistance throughout the evening.